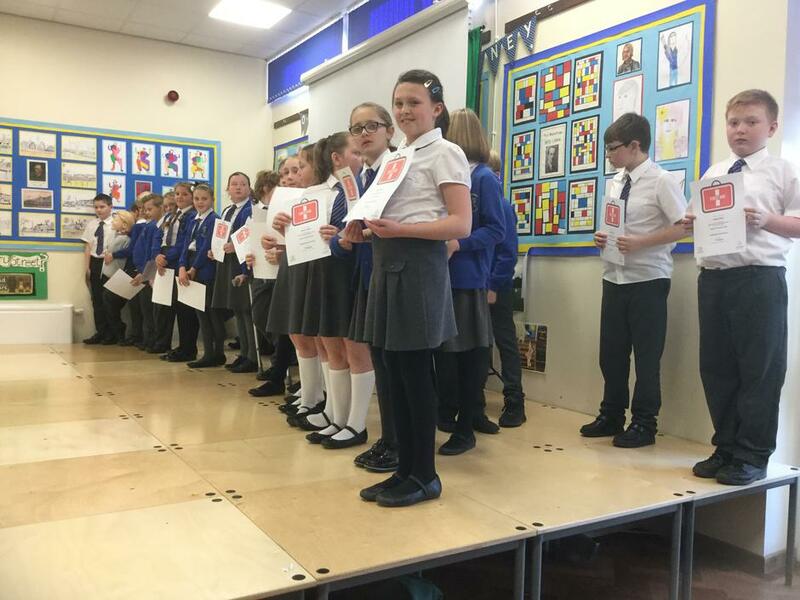 With only a few days left in this term I wanted to take the opportunity to say a massive well done to the whole of Year Six for all of their hard work during this first term. 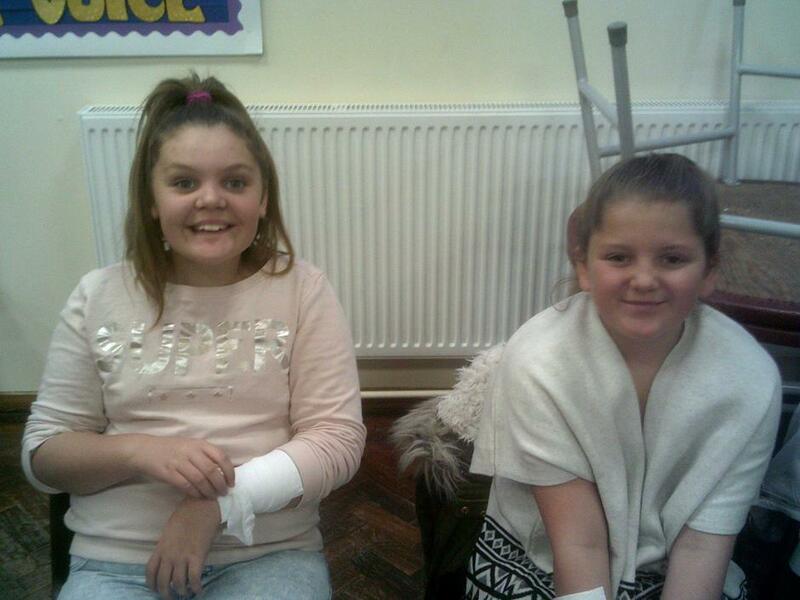 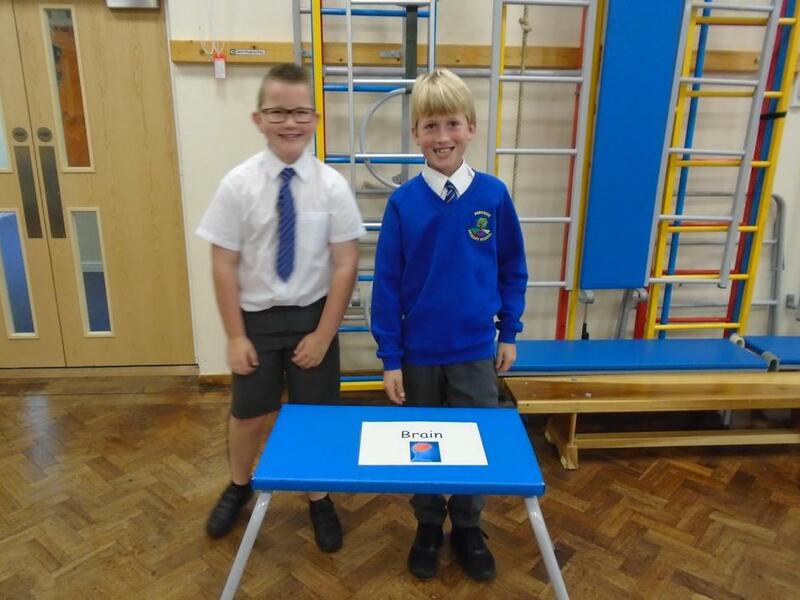 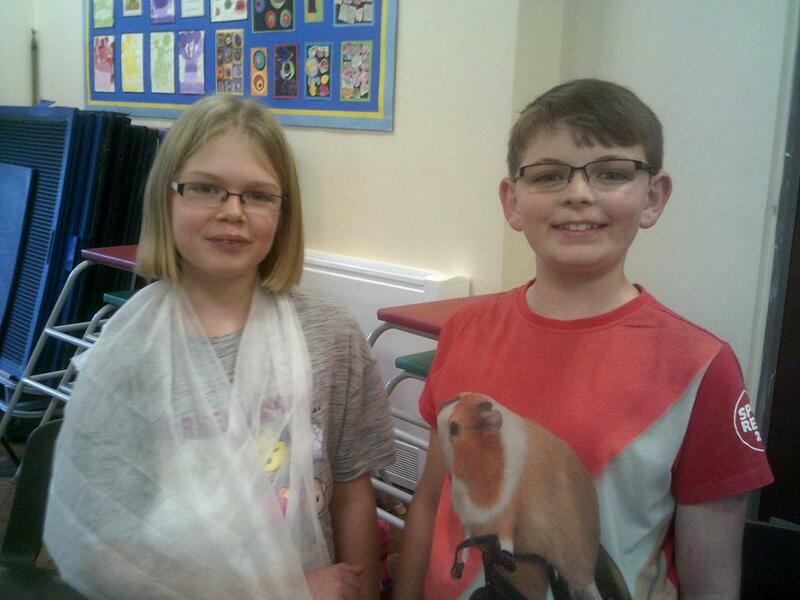 They have really pulled together as a class and we have shared many wonderful learning opportunities. 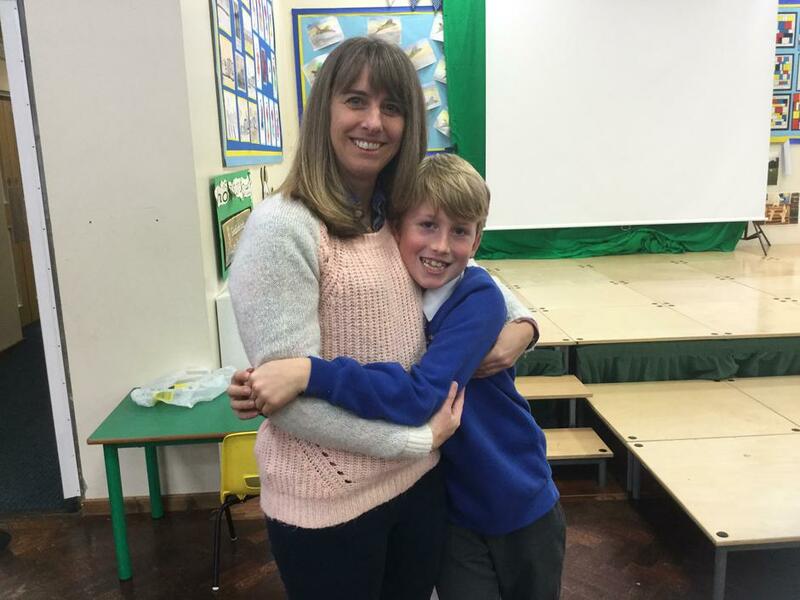 I will share my reflections of this first term with you at the start of the Spring Term - both on the website as well as in my 'Welcome Letter'. 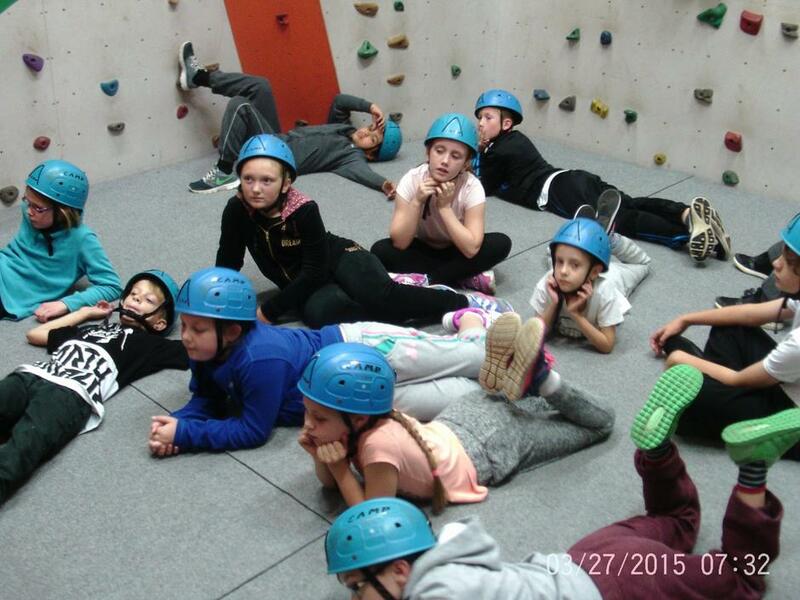 I know that the children are tired and are in need of a well earned break. 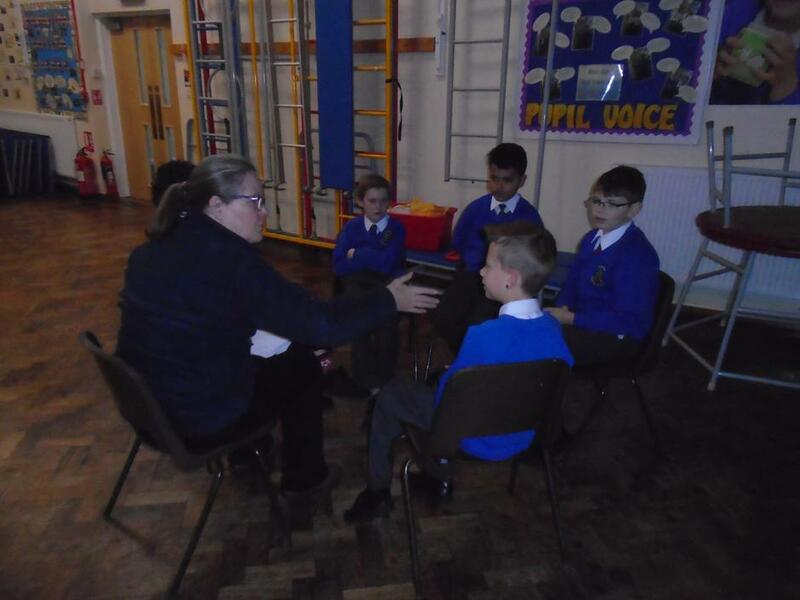 I have explained to them that I shall not be setting homework over the Christmas period as I think it is important that they are able to fully enjoy time with their families and have a break from learning. 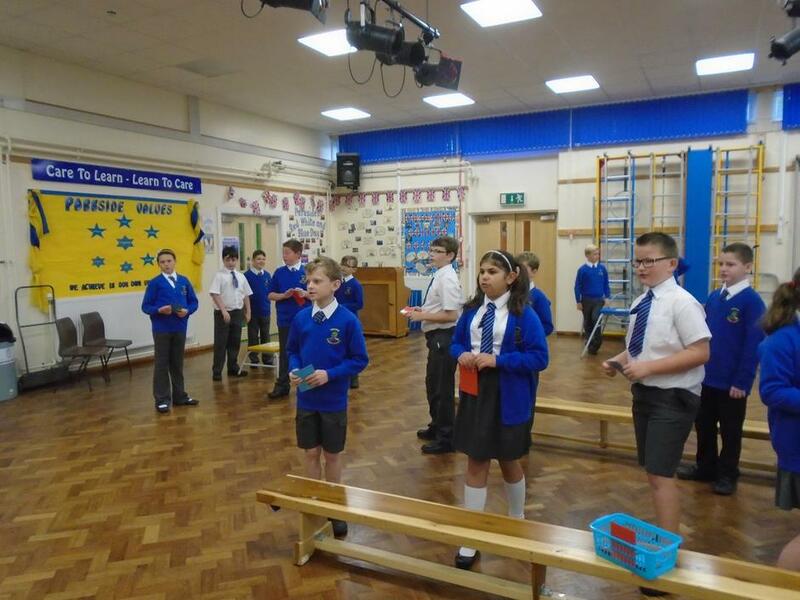 However they do know that if they are still not secure with their recall of the times tables (up to 12x12) and their associated division facts that they need to keep practising these. 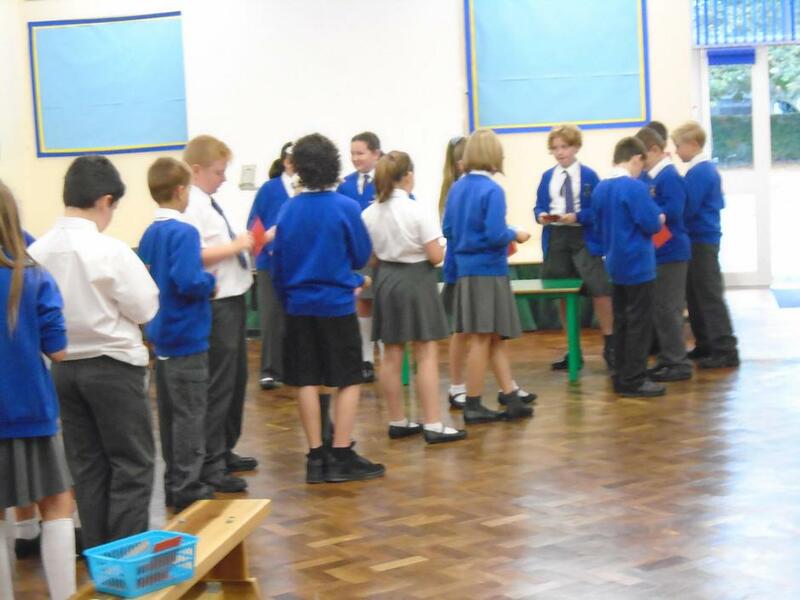 In addition to this they have been learning their recall of equivalent fractions, decimals and percentages so once again, if they are not yet secure then they need to keep practising. 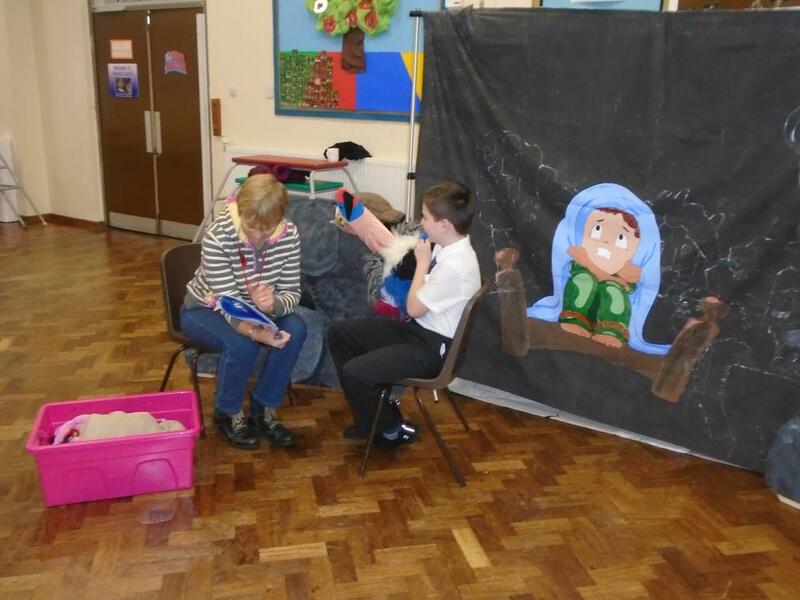 Finally all of the children know that it is really important that they keep reading regularly during the holidays. 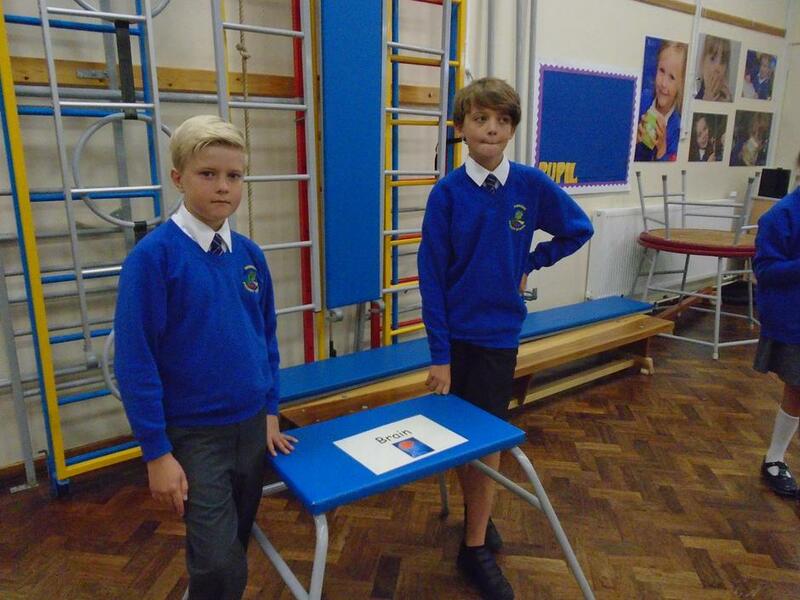 I will of course be looking at their diaries on their return to school. 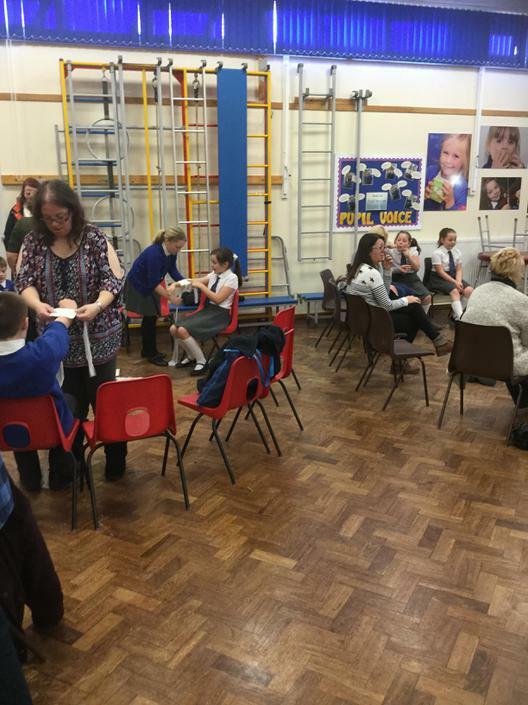 I shall be arranging a meeting with you all during the first half of the Spring Term, to explain what the children will be faced with in the End of Key Stage Two government tests in May 2017, and how we can fully support them in preparing for this. 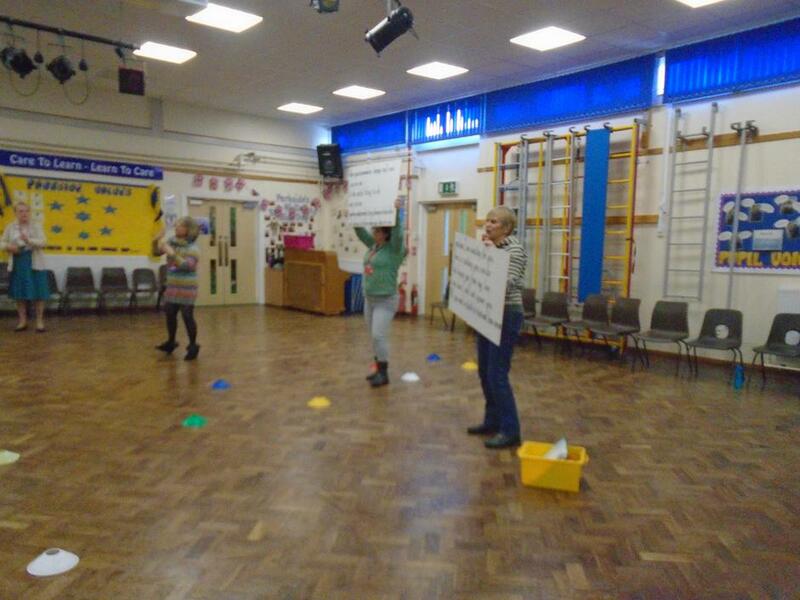 I shall also be talking to you about whole class early morning booster classes, which will begin after the February half-term and which will take place at 8:15am on Thursdays and Fridays. 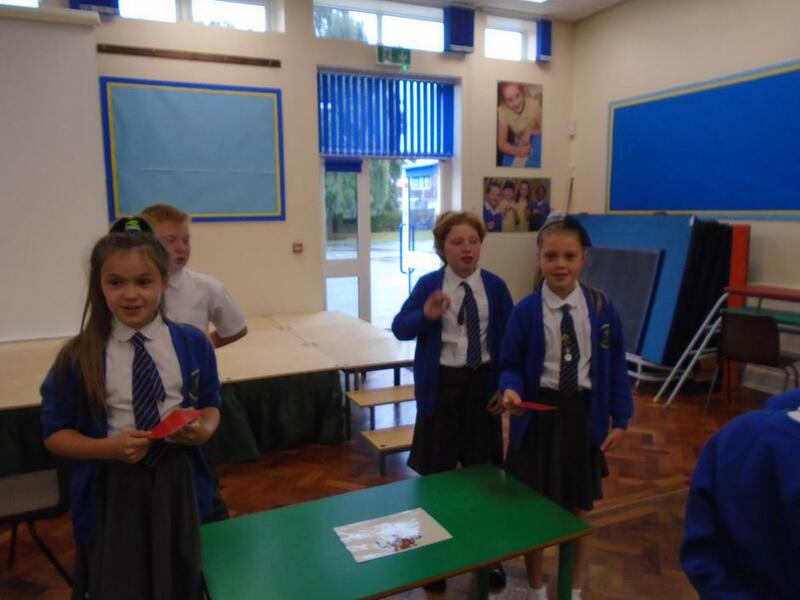 Some children have also received a letter inviting them to additional arithmetic boosters which will commence just after the Christmas break. 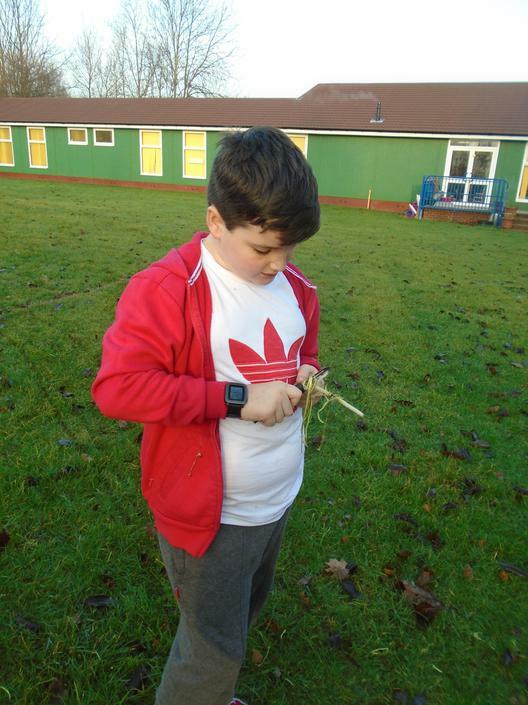 Whilst, as explained above, there is no homework over the Christmas break, it is important that you are aware that on their return to school in January, homework will be set on a daily basis and will be expected to be completed for the following day. 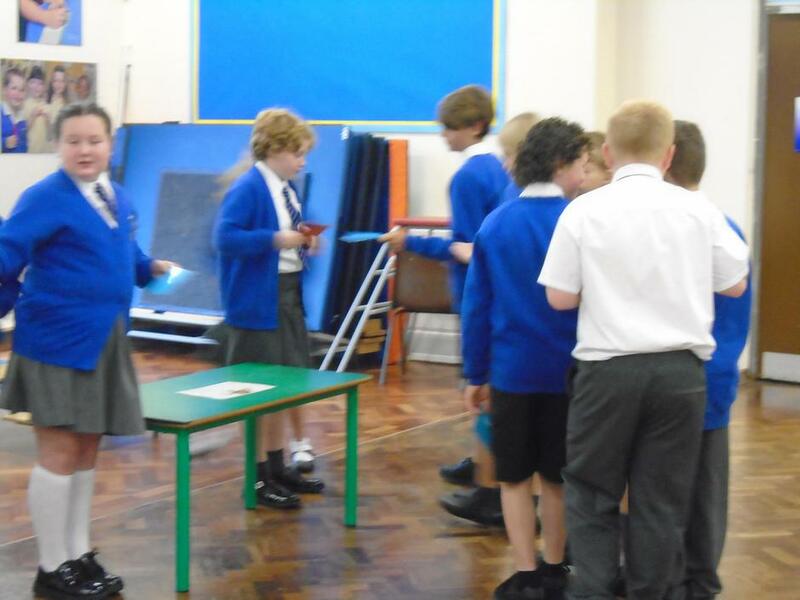 The school has purchased revision books in maths and PaG to support them with this. 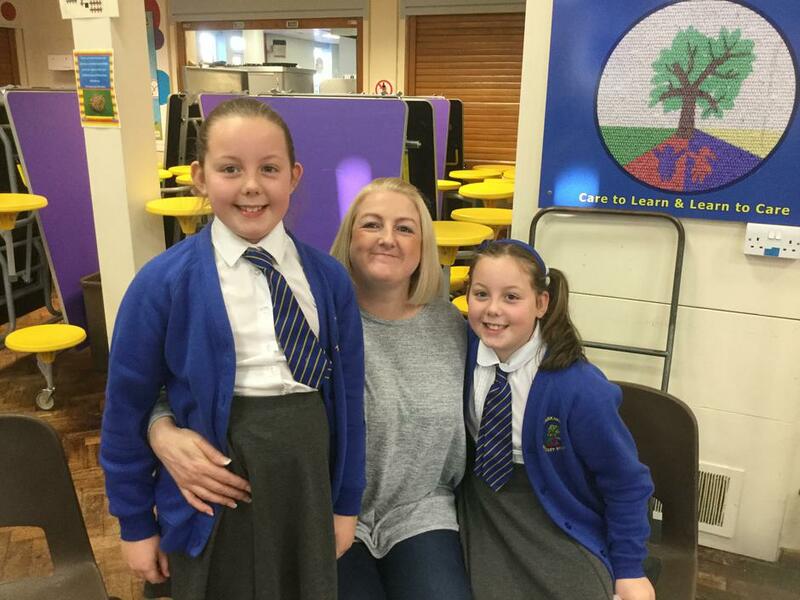 I would like to extend a massive thank you to all of you as parents and carers - without your support the children would not have been able to have achieve all they have done - so thank you all! 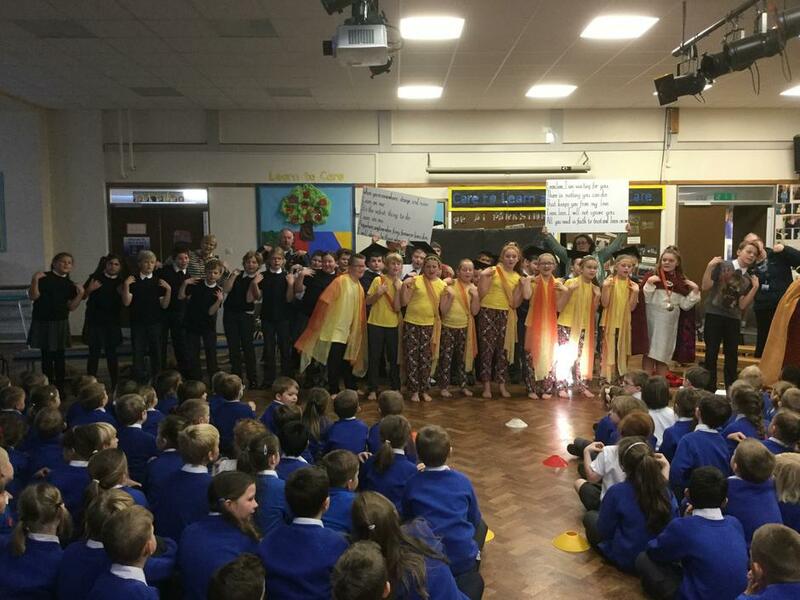 Finally I would like to wish you all a very merry Christmas and a peaceful and happy new year. 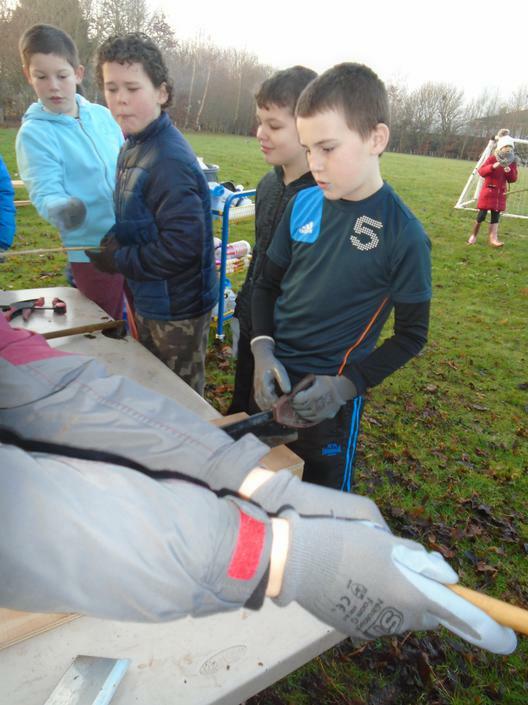 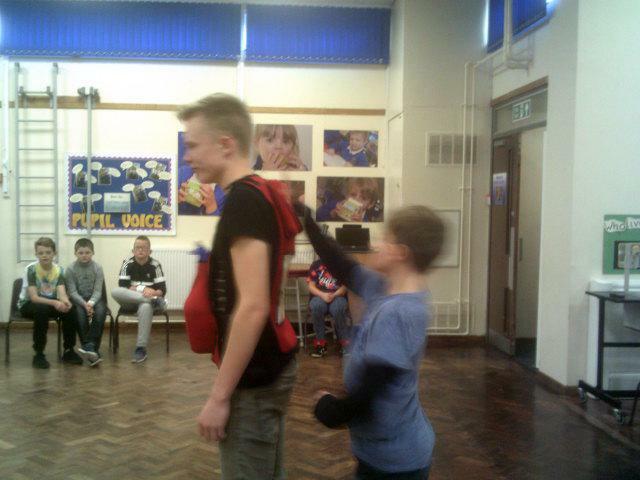 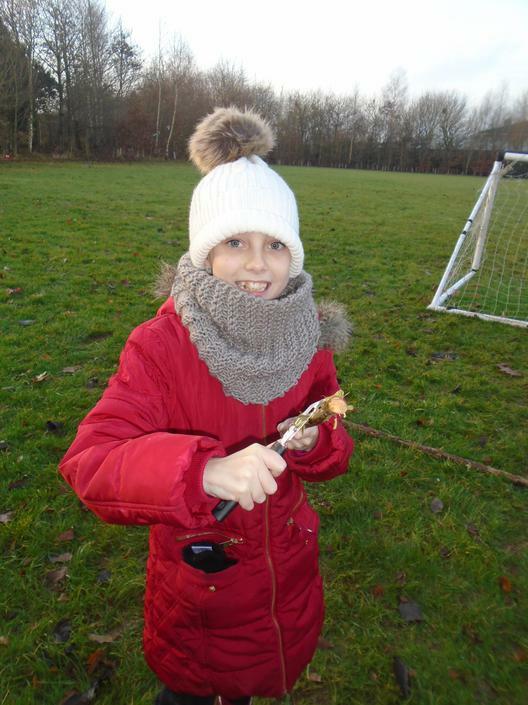 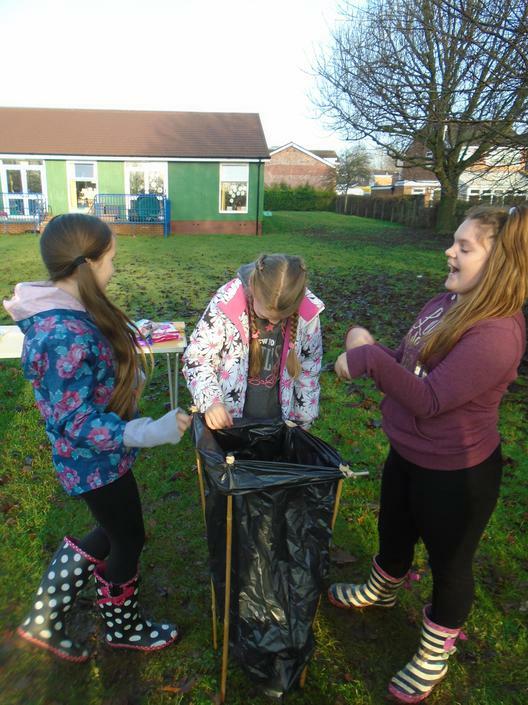 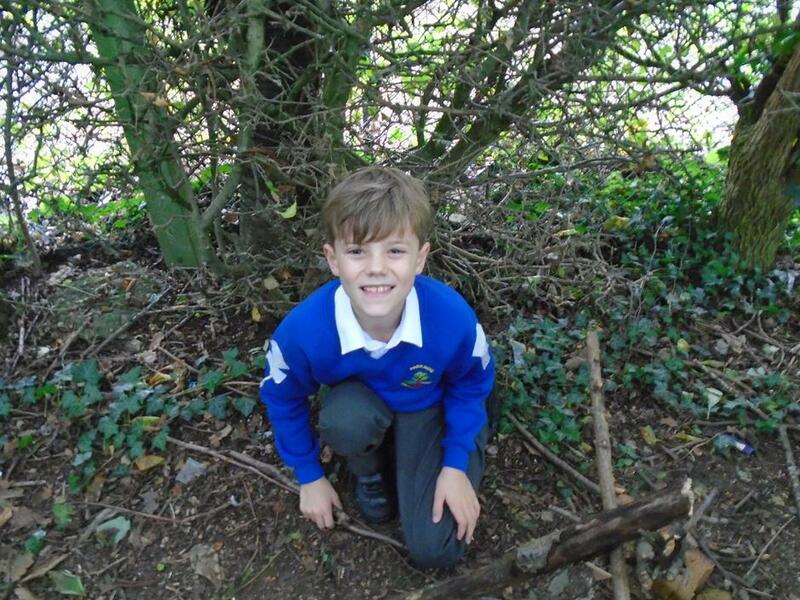 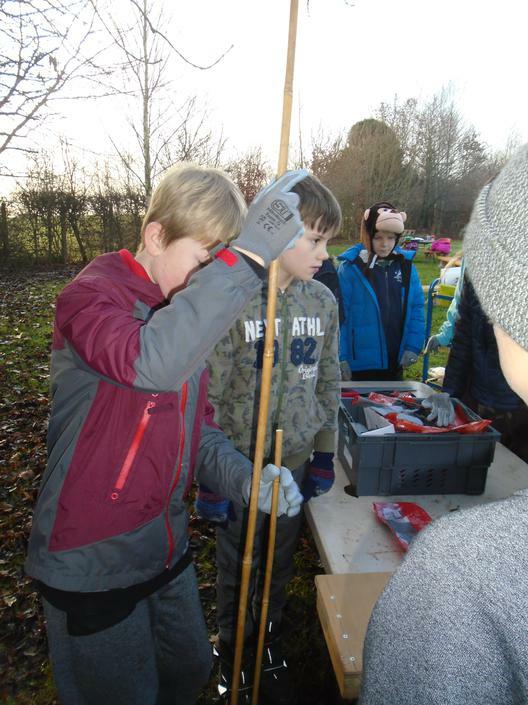 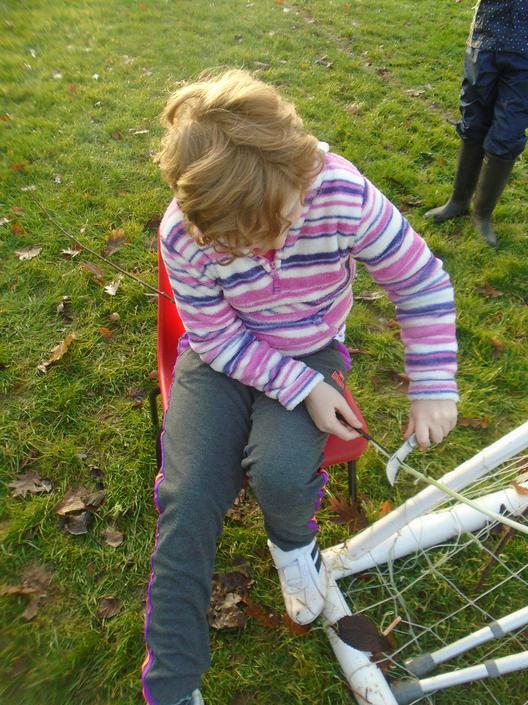 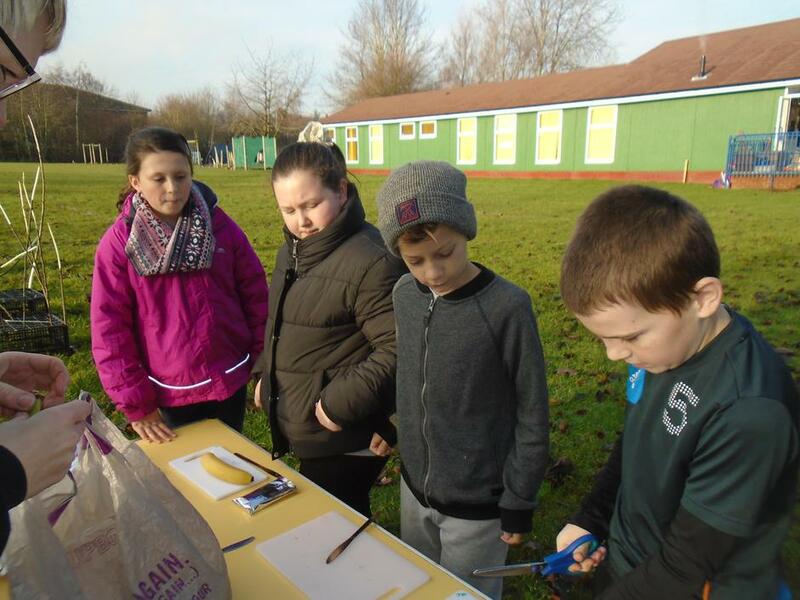 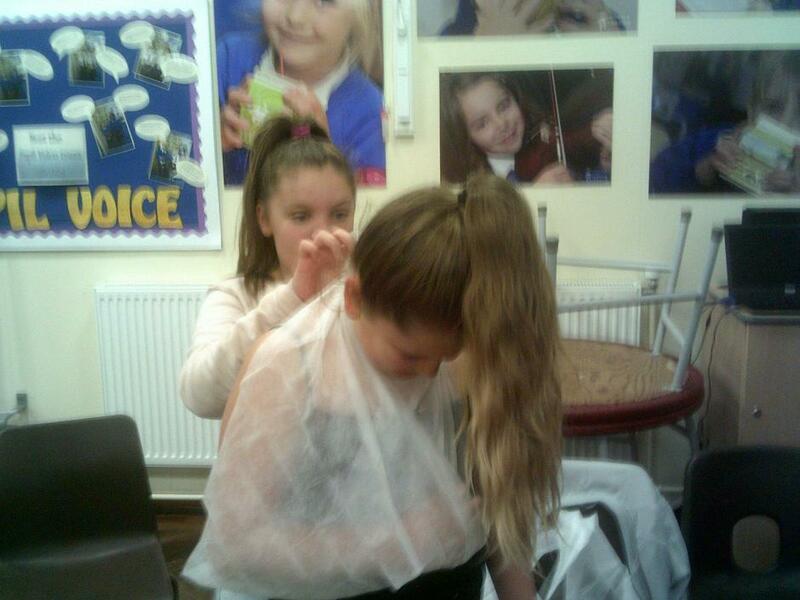 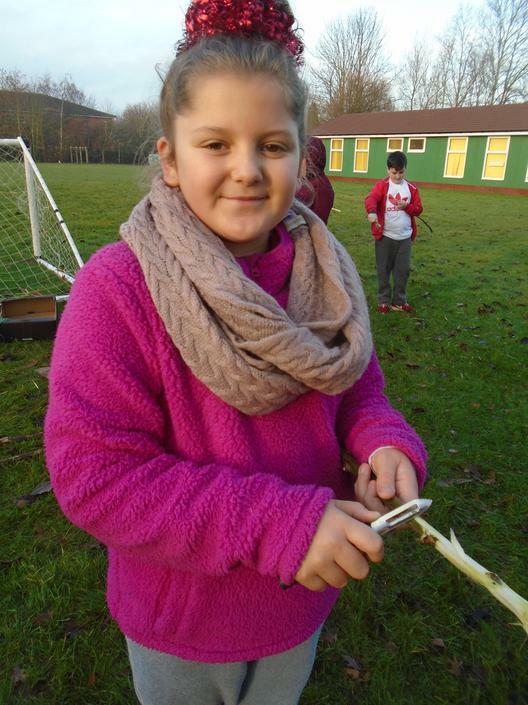 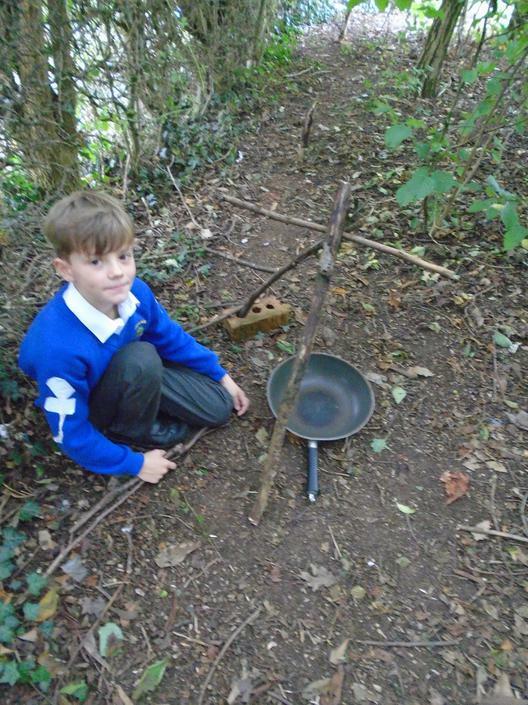 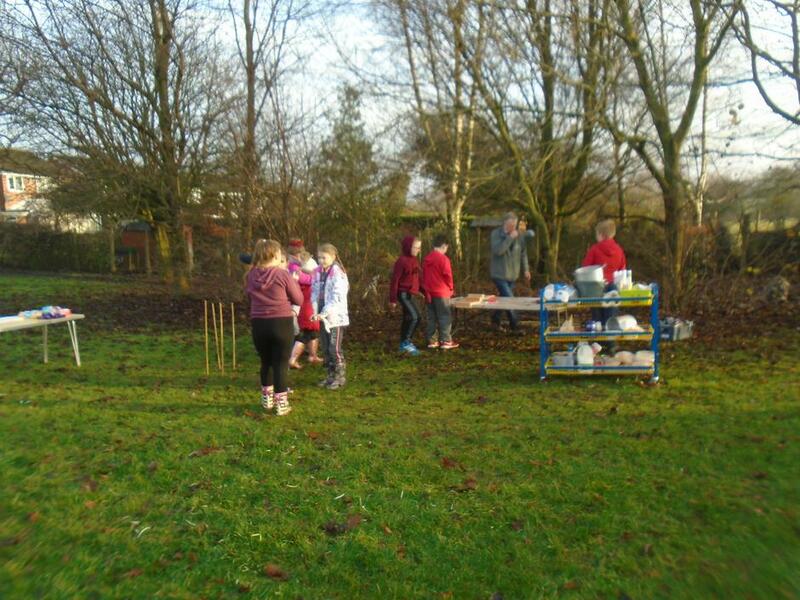 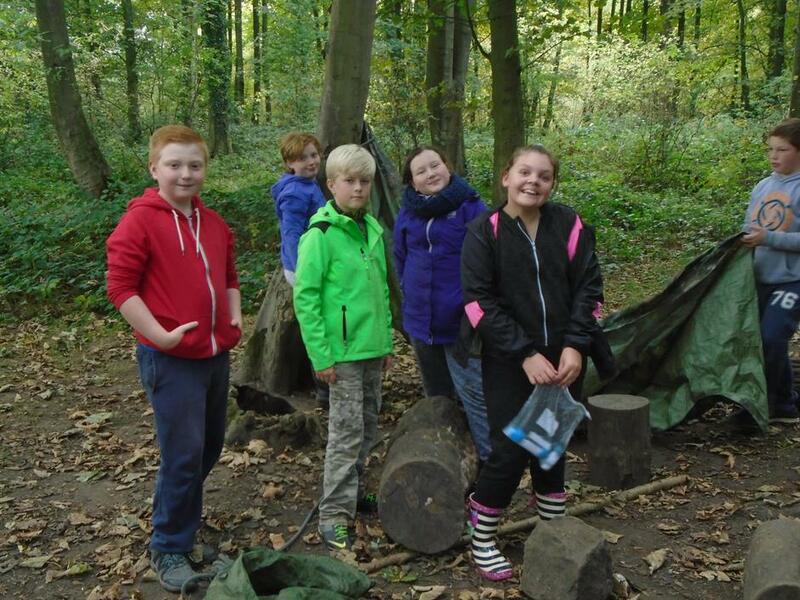 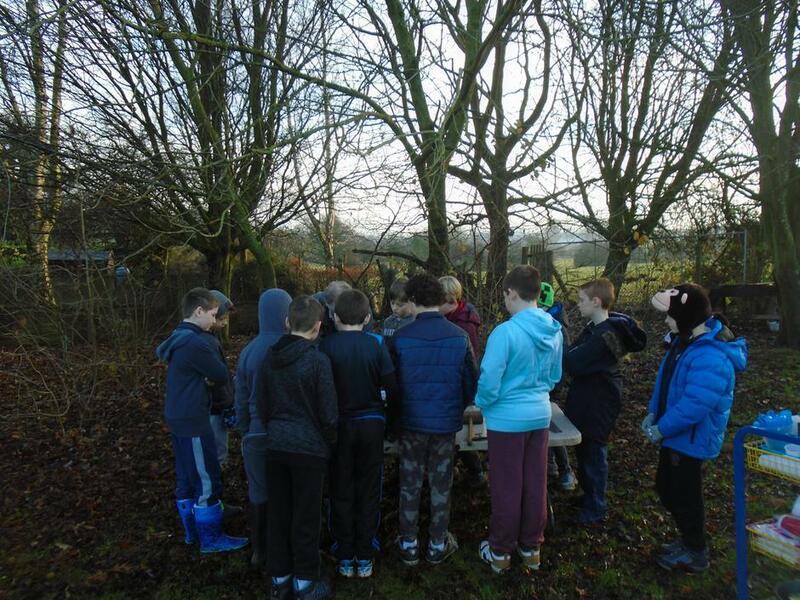 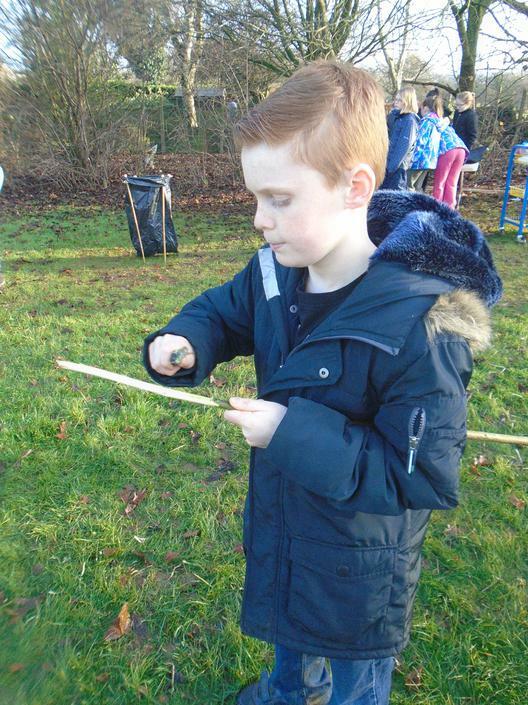 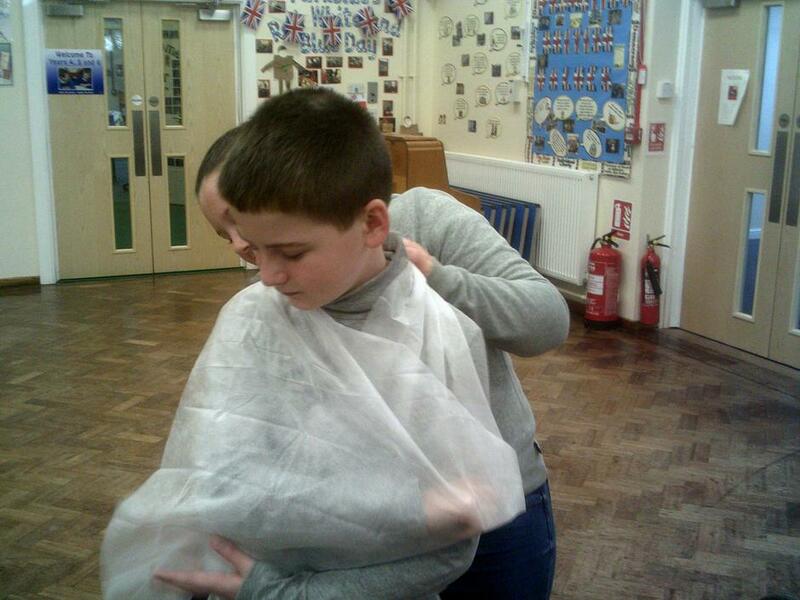 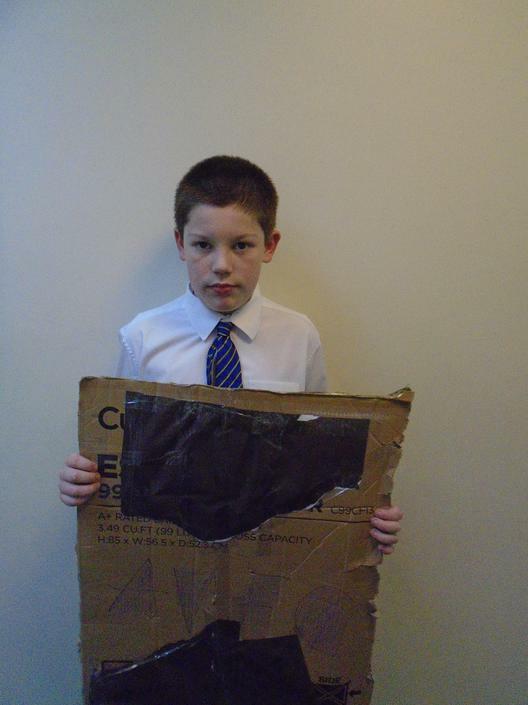 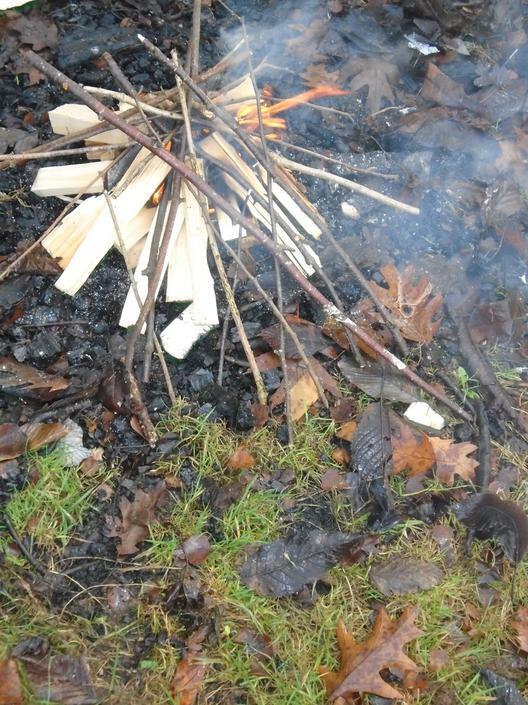 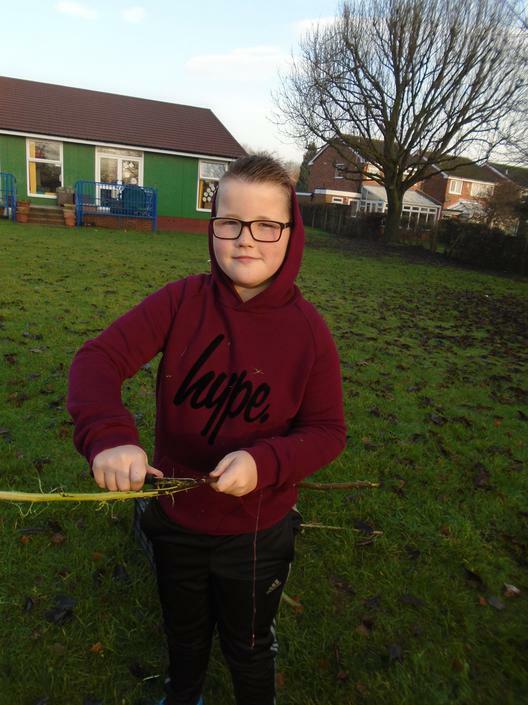 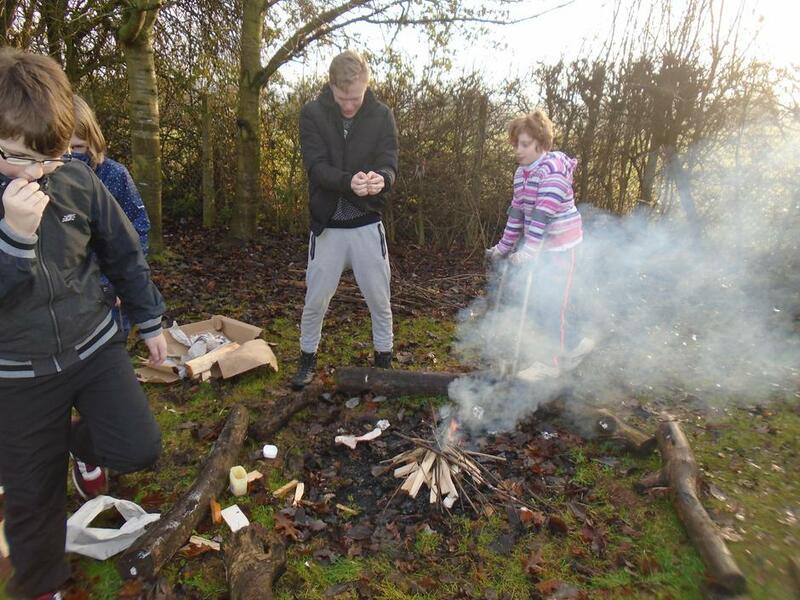 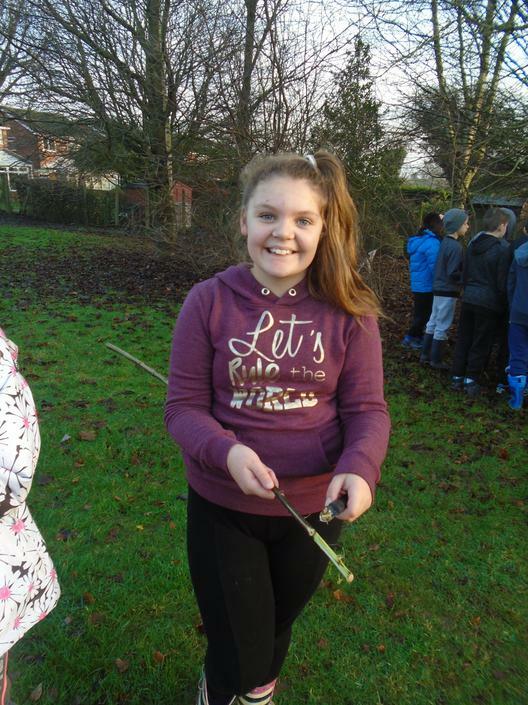 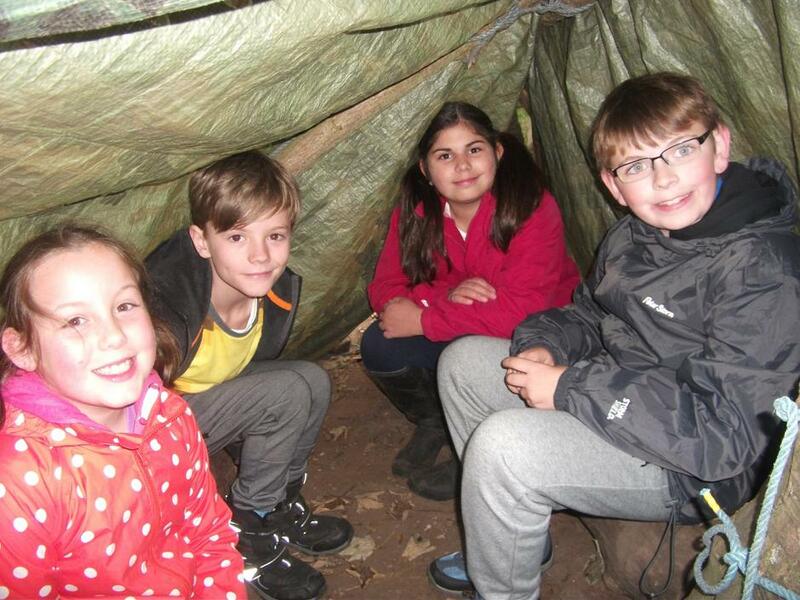 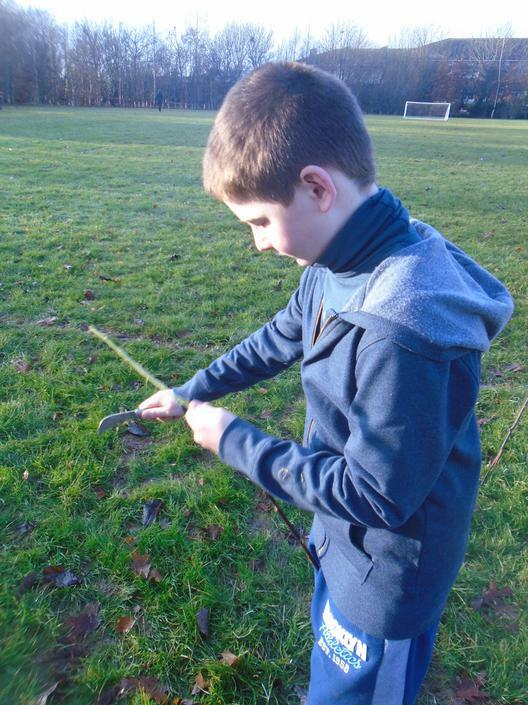 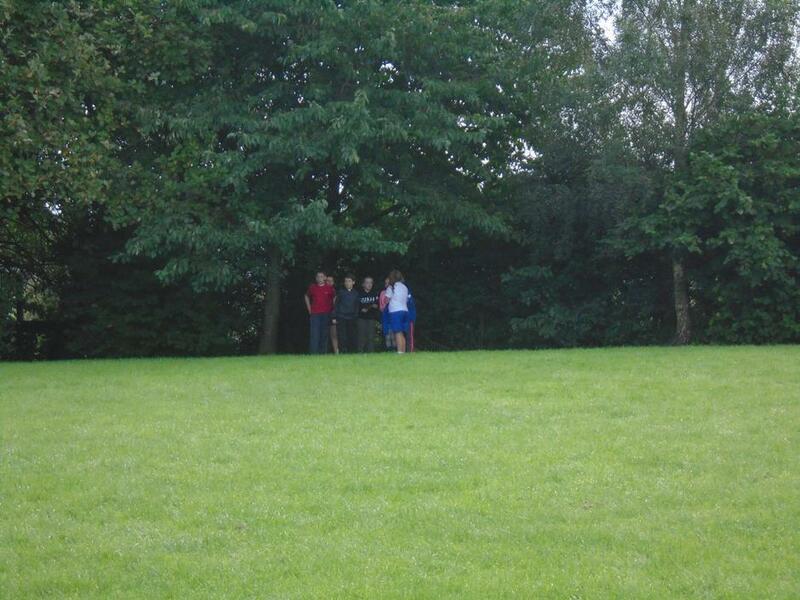 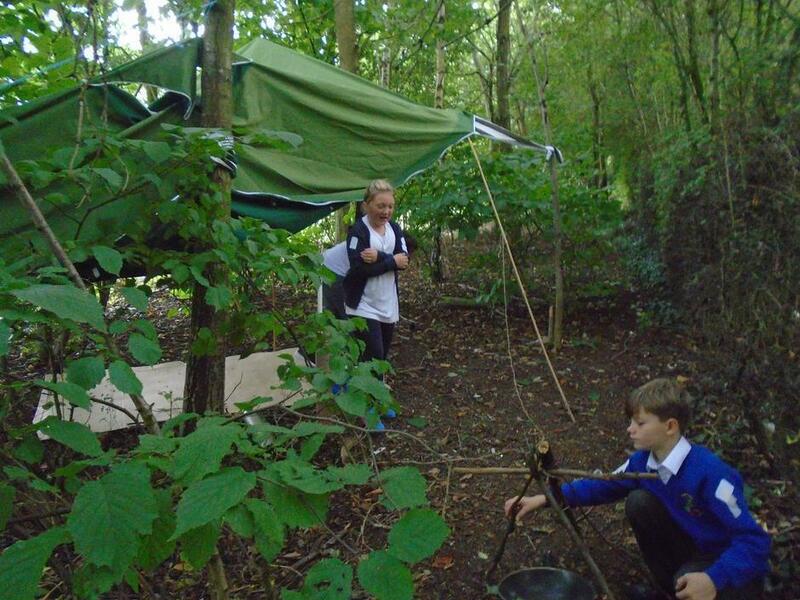 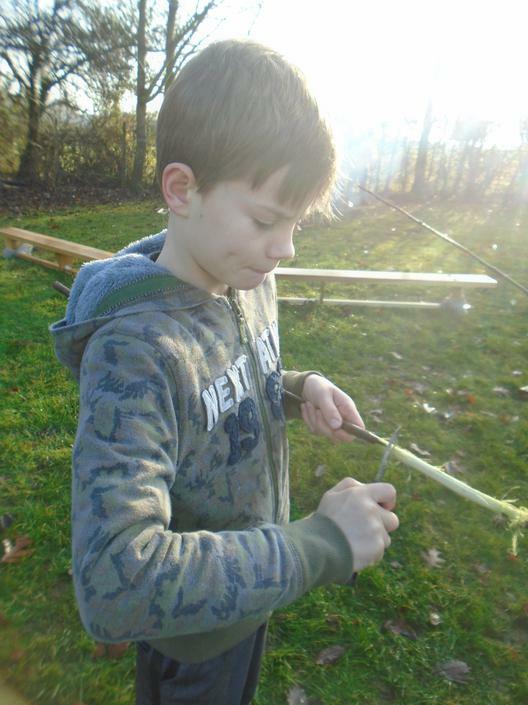 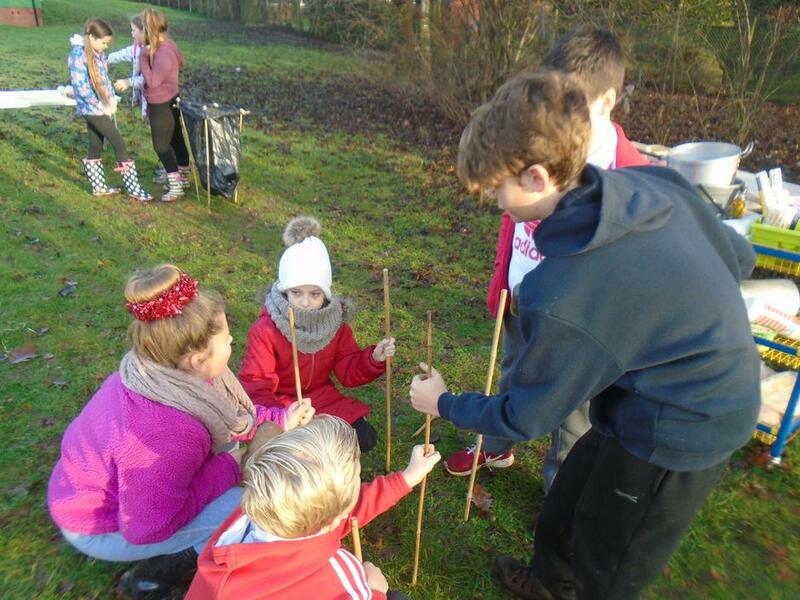 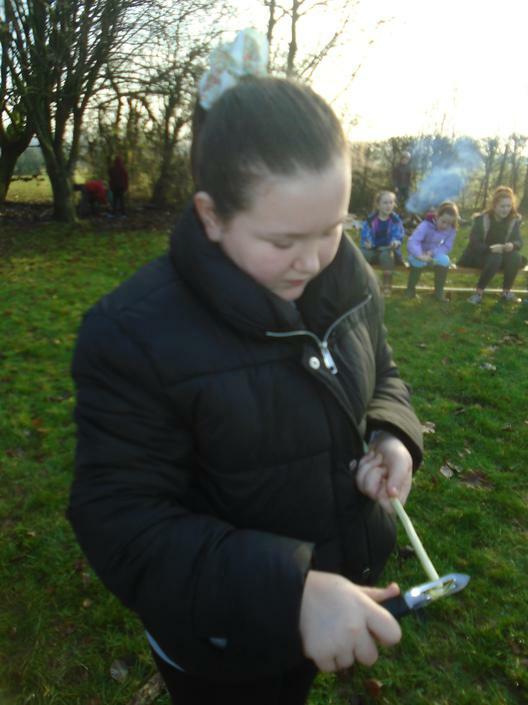 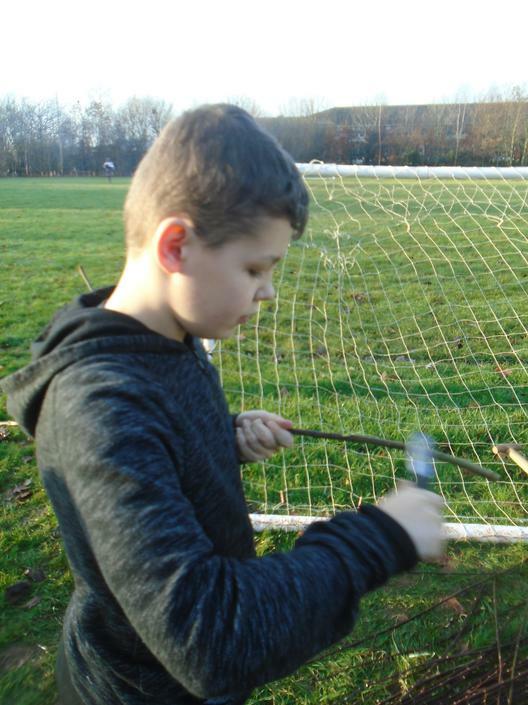 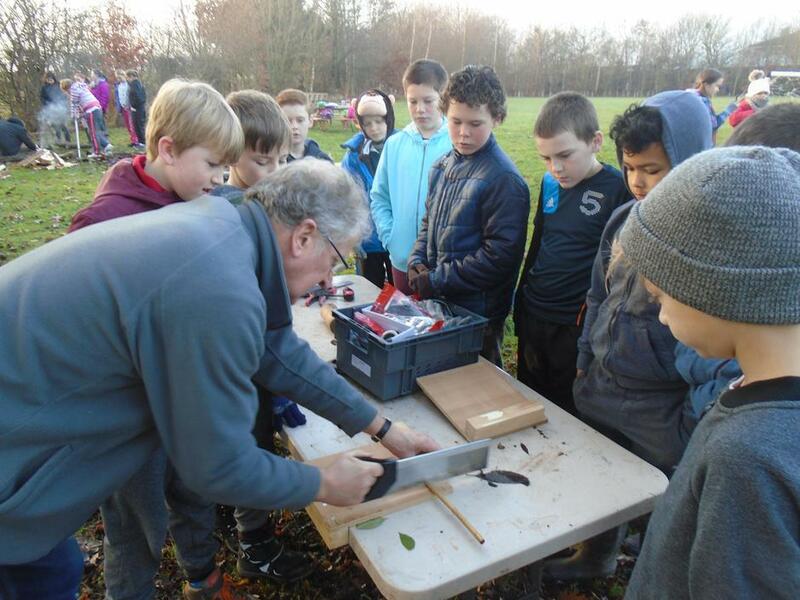 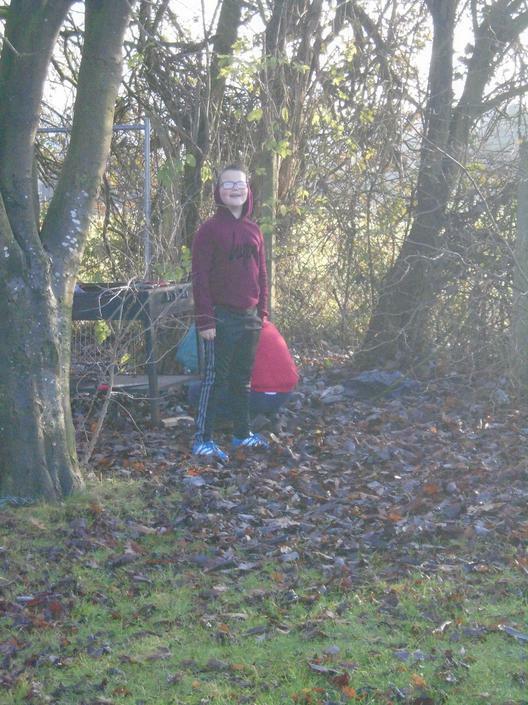 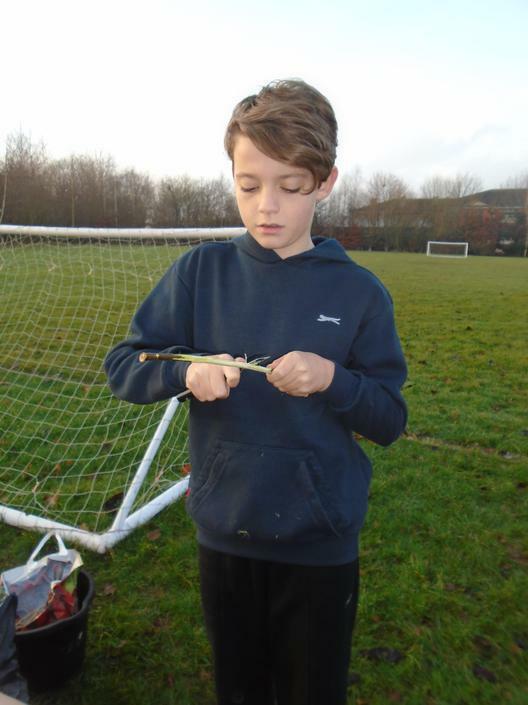 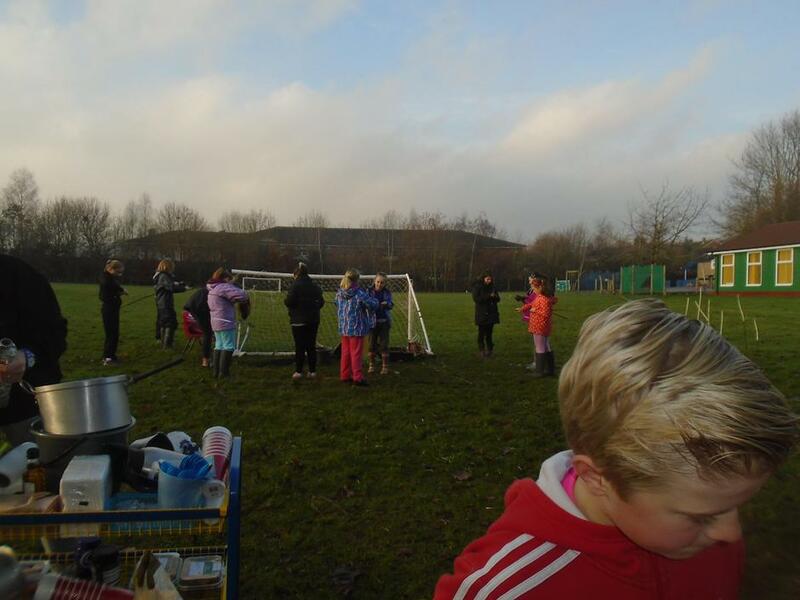 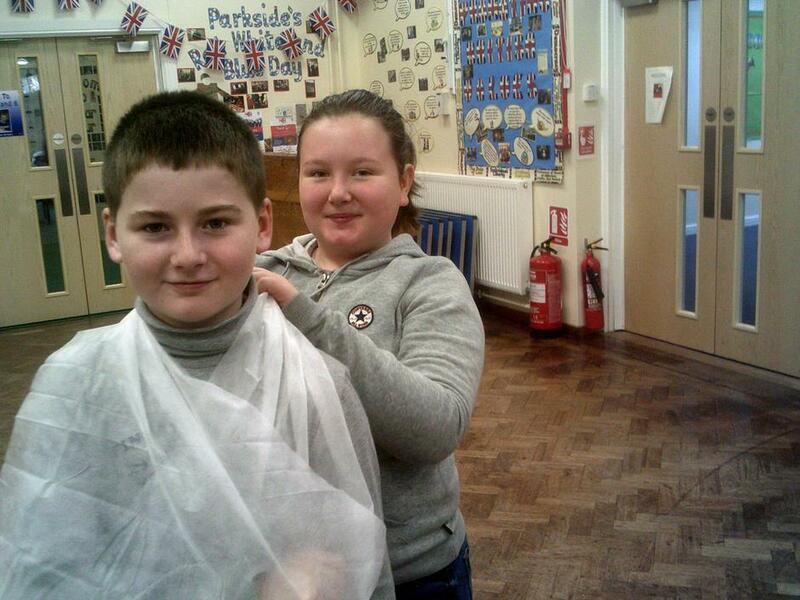 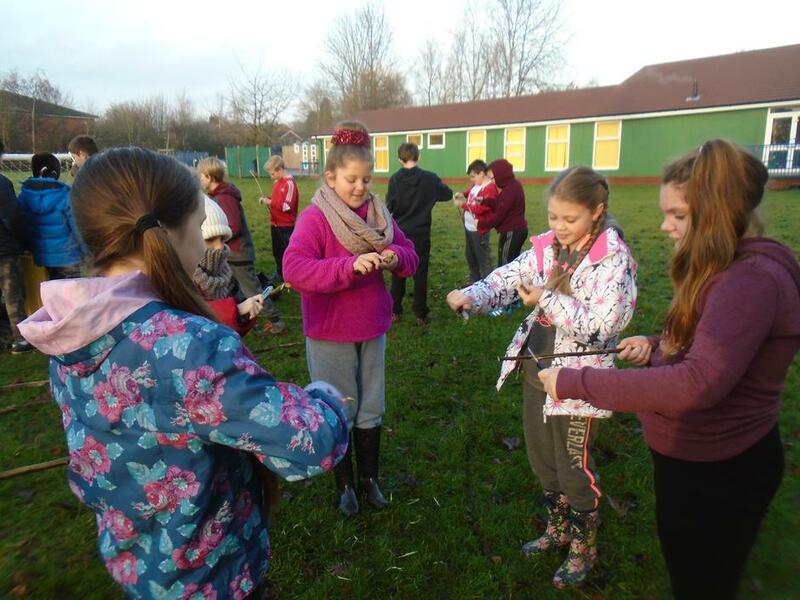 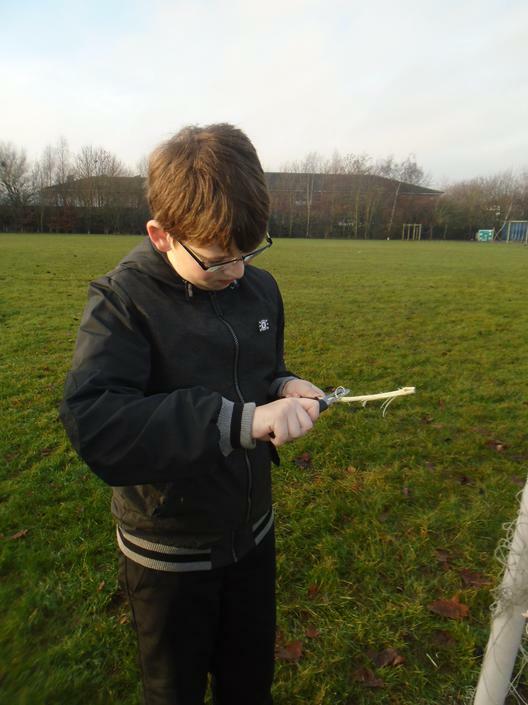 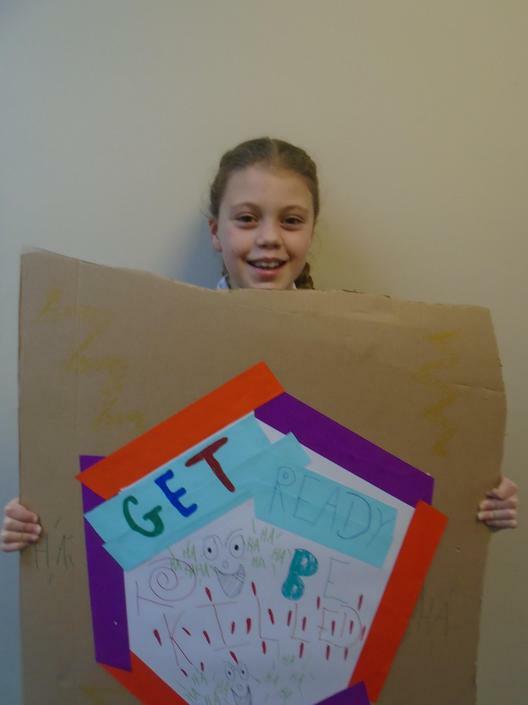 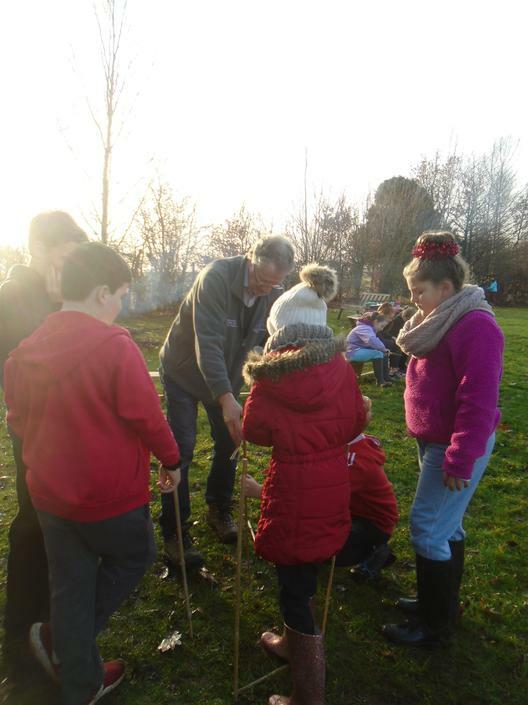 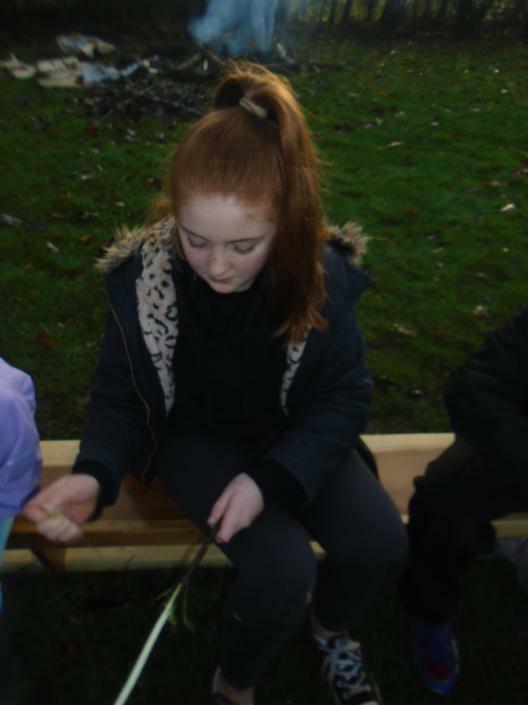 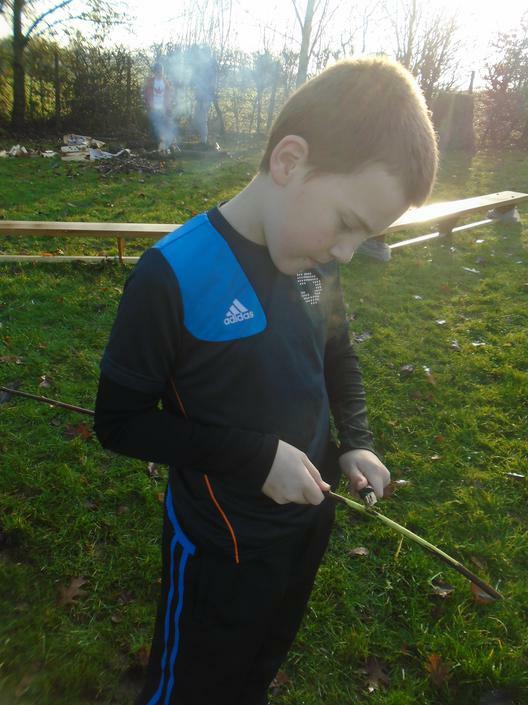 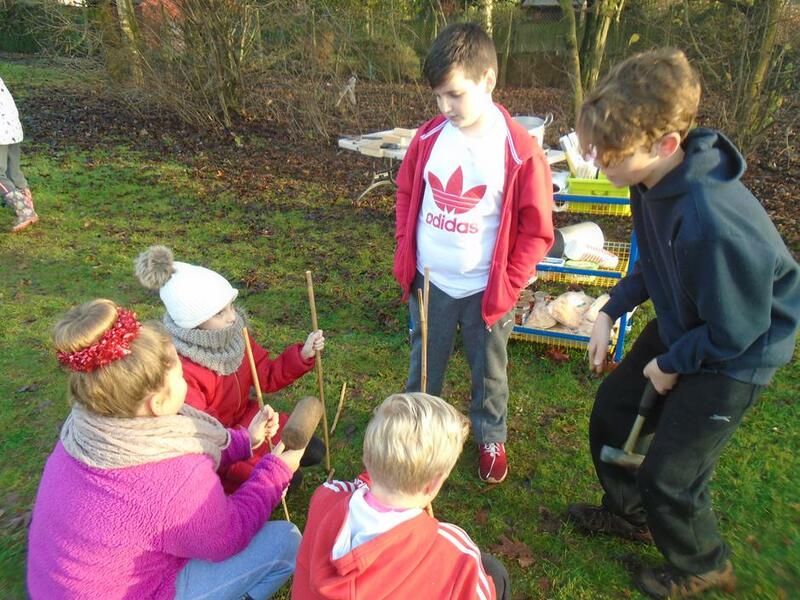 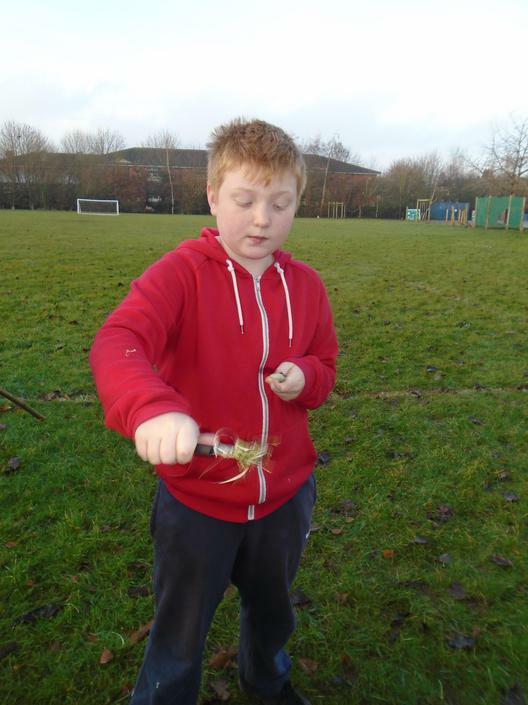 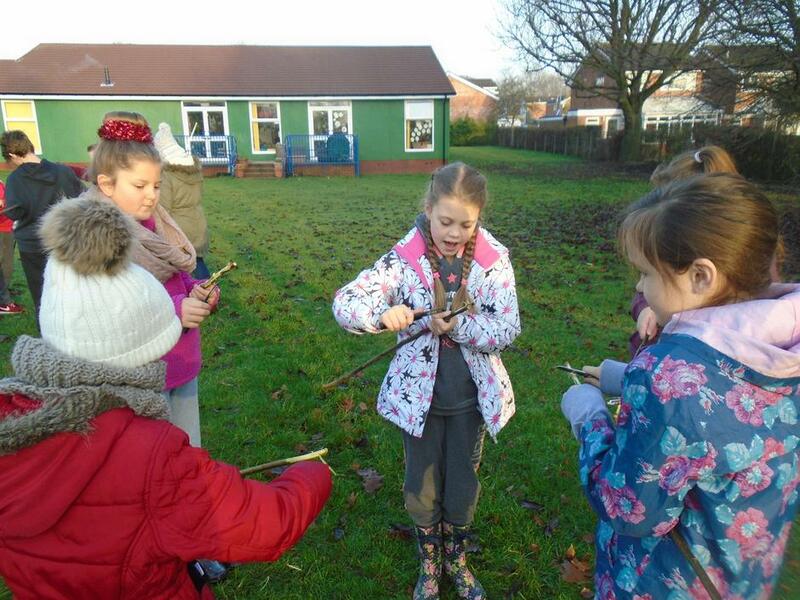 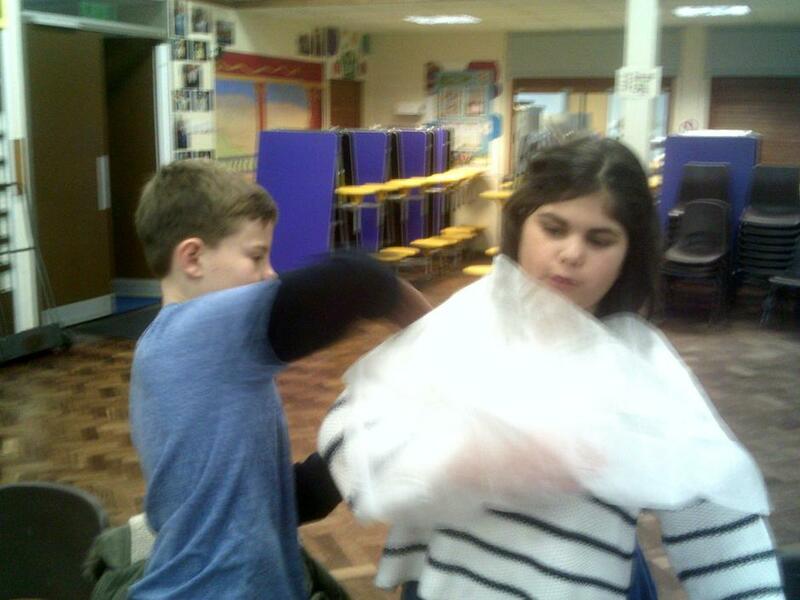 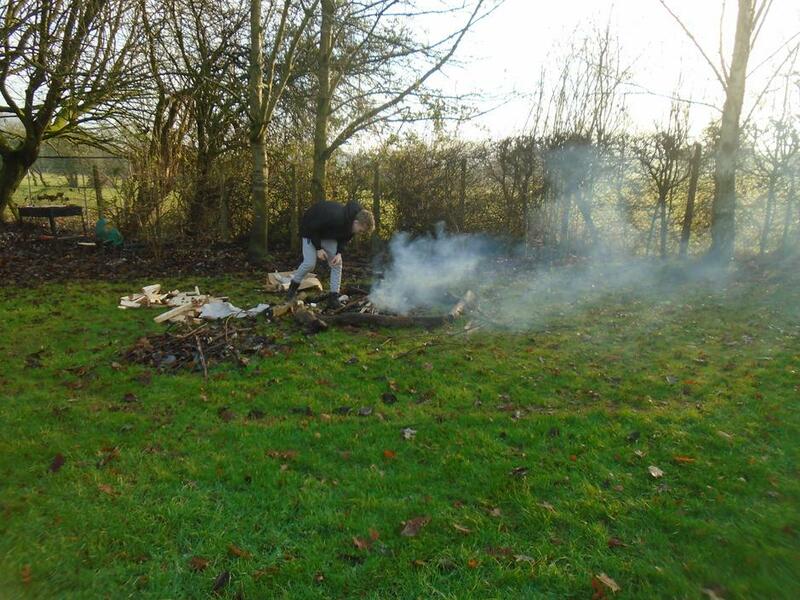 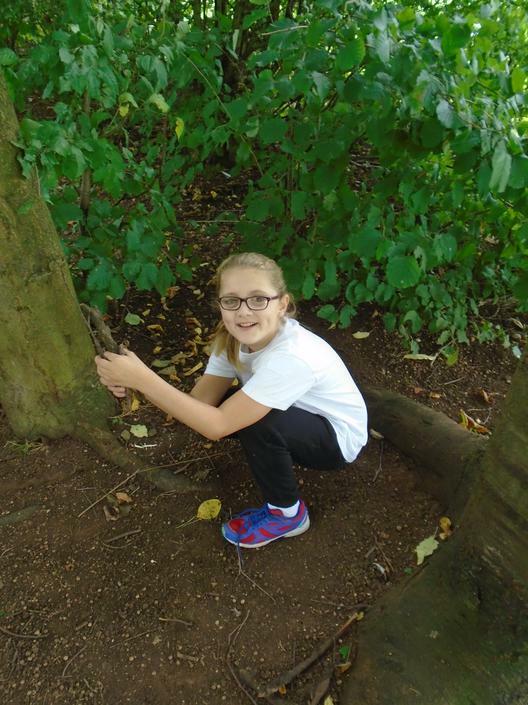 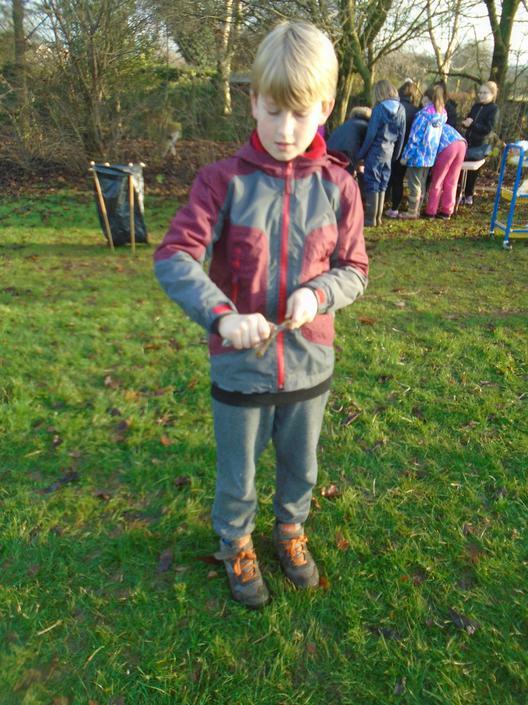 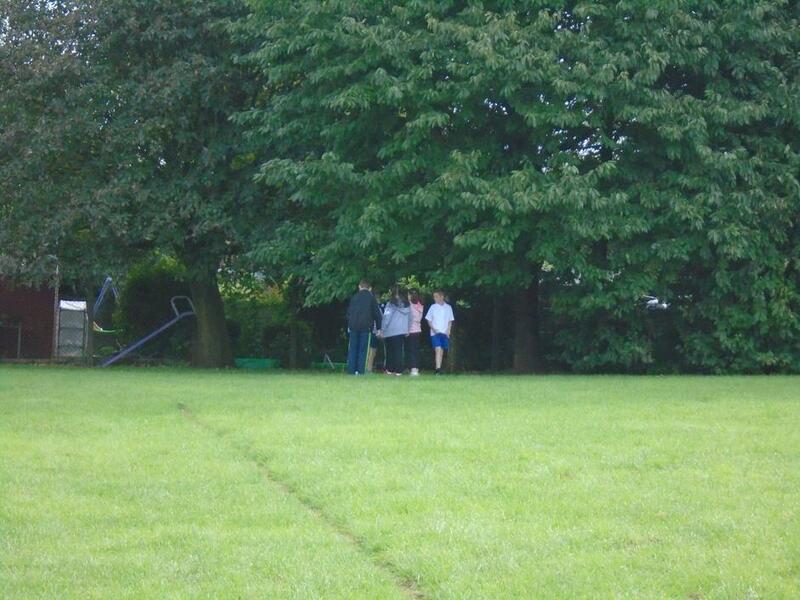 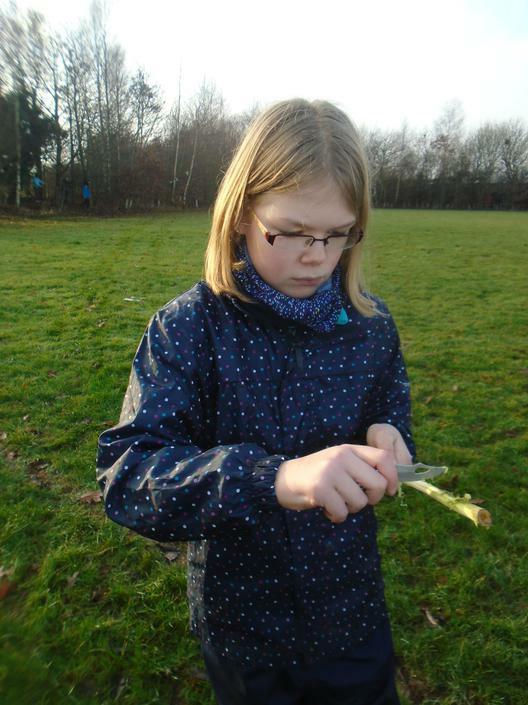 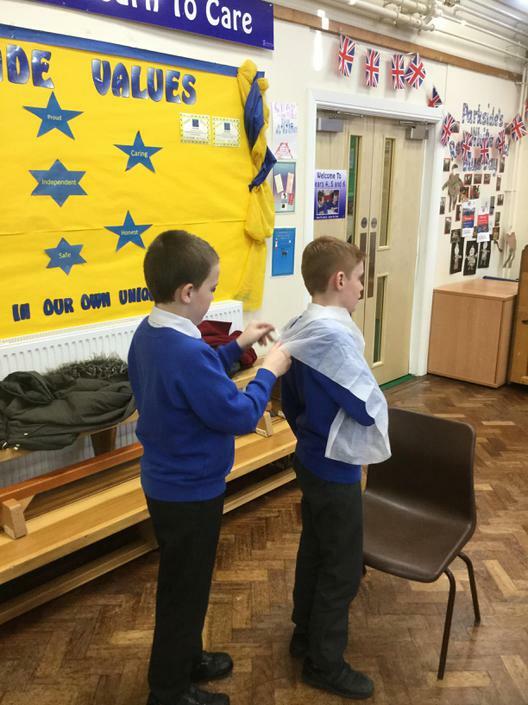 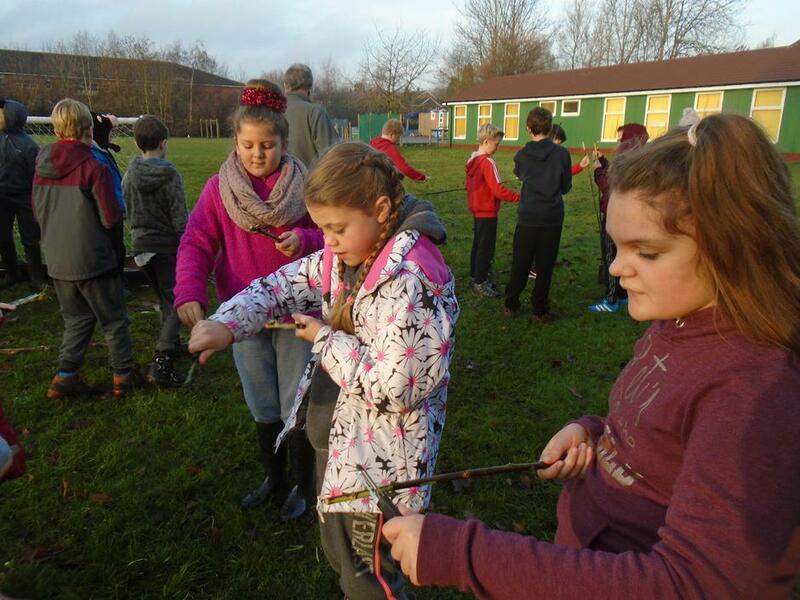 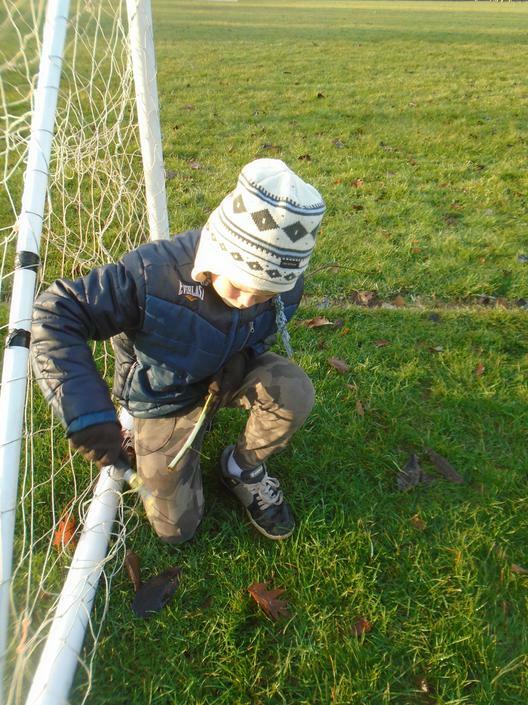 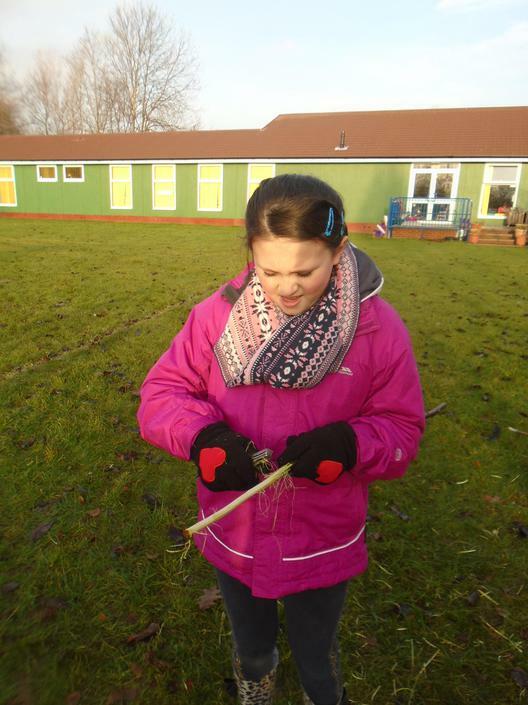 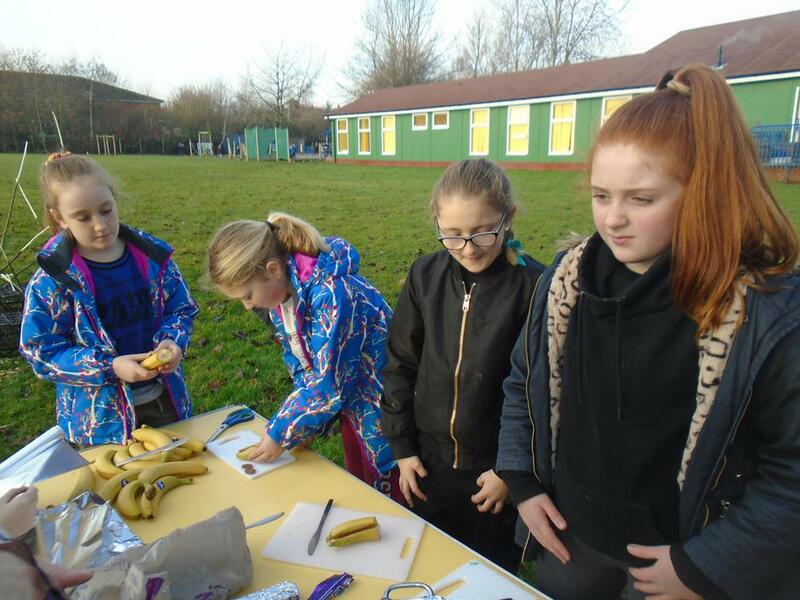 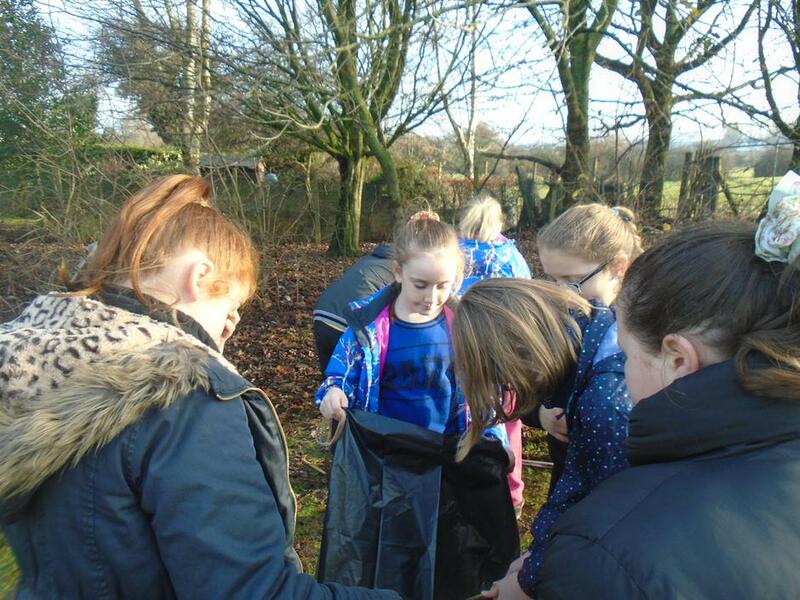 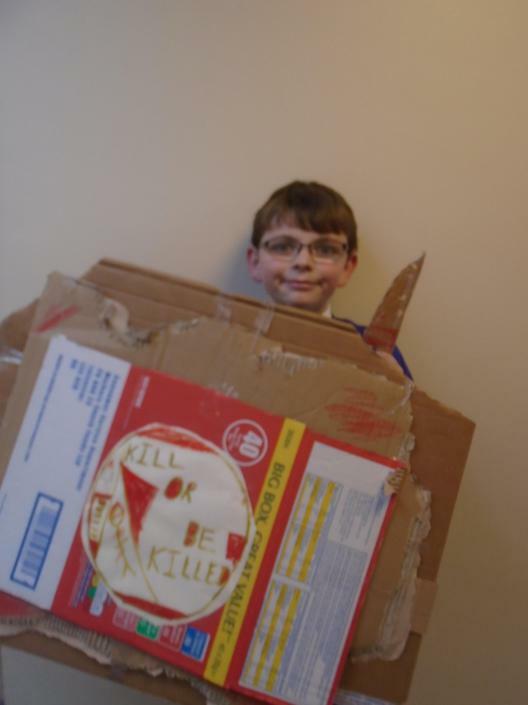 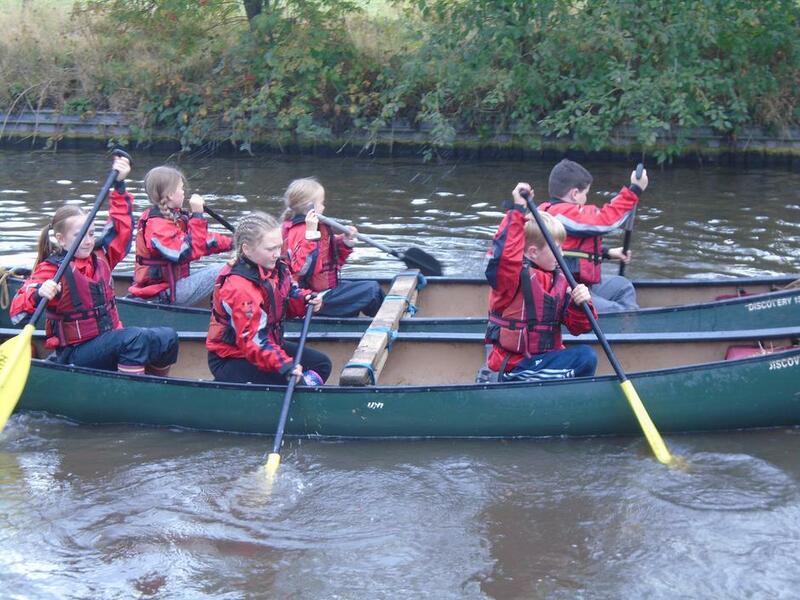 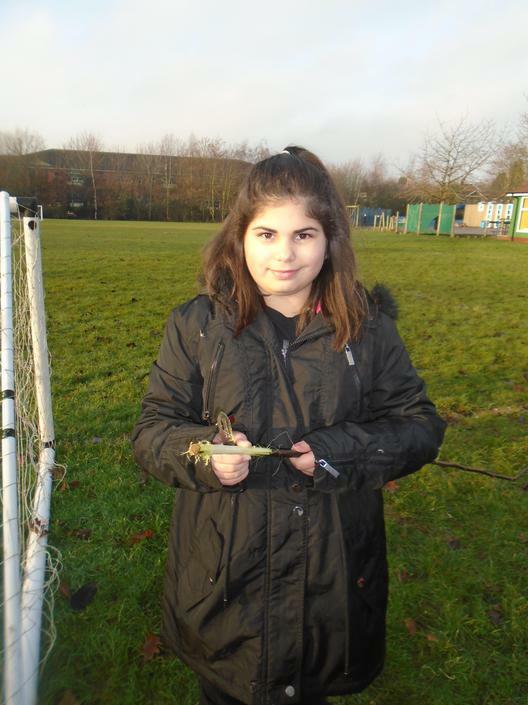 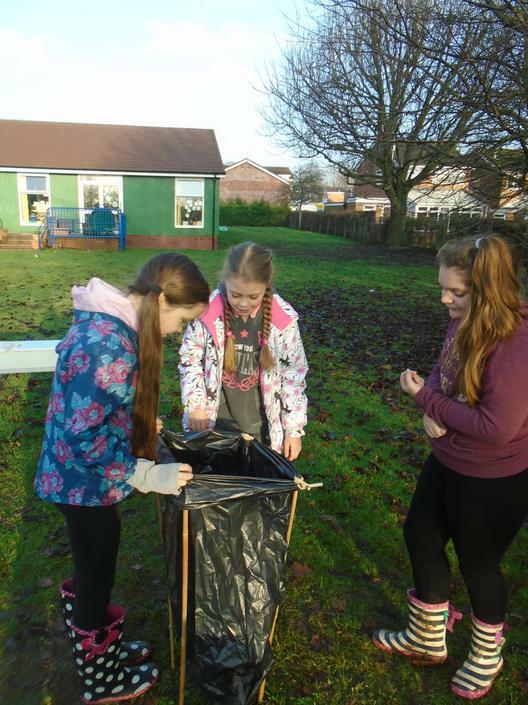 On Wednesday 14th December, Year Six spent the morning developing their survival skills! 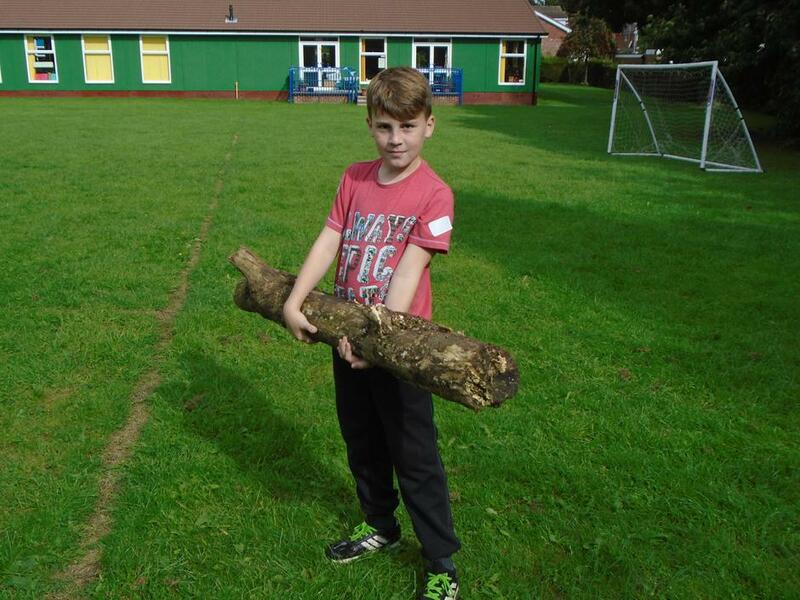 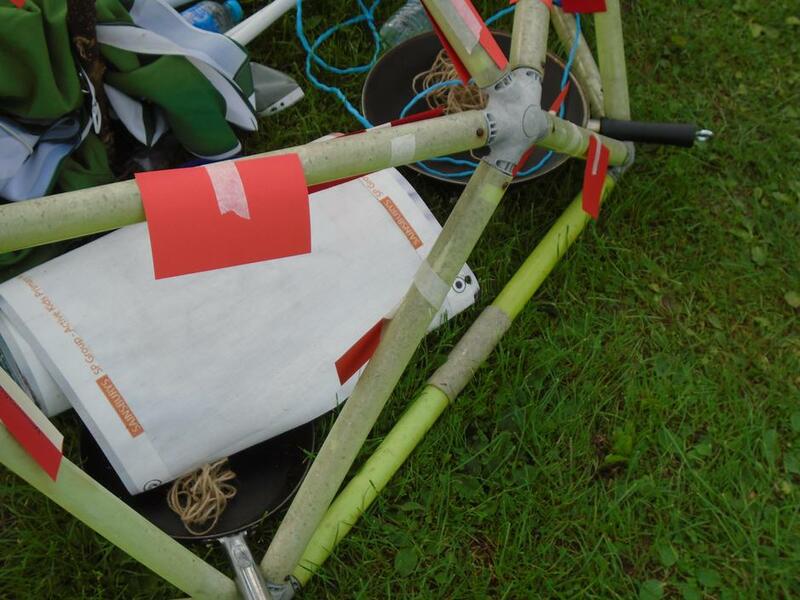 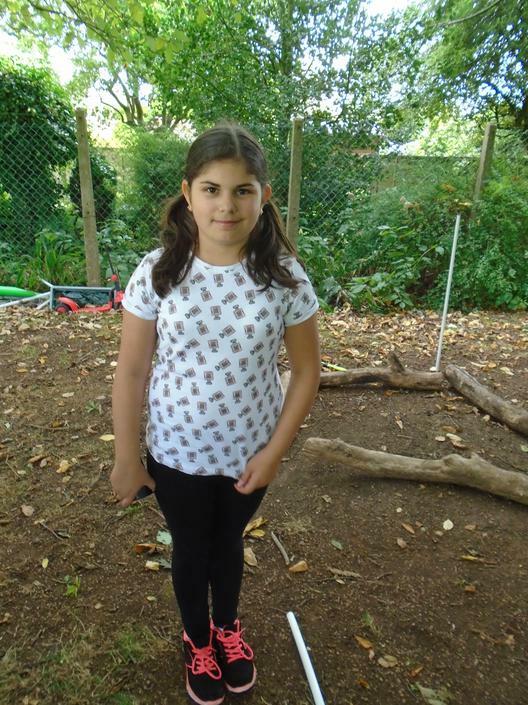 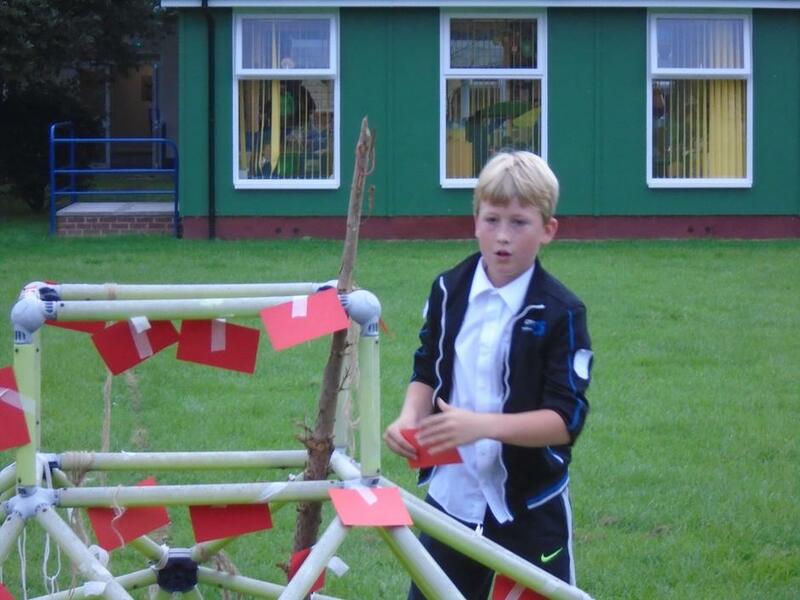 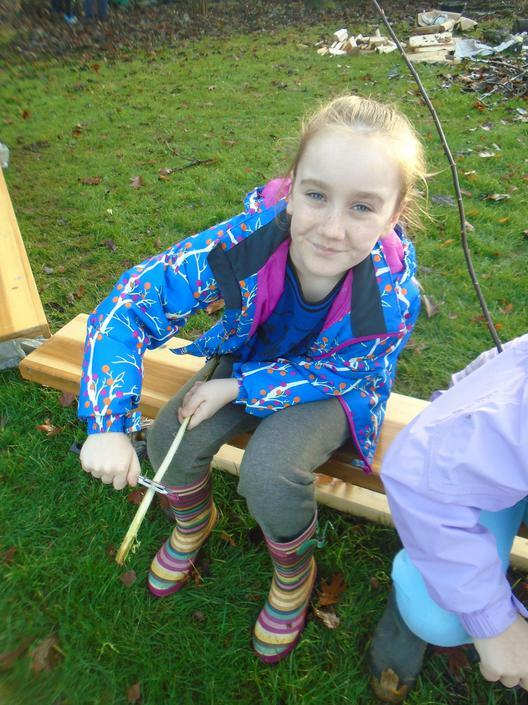 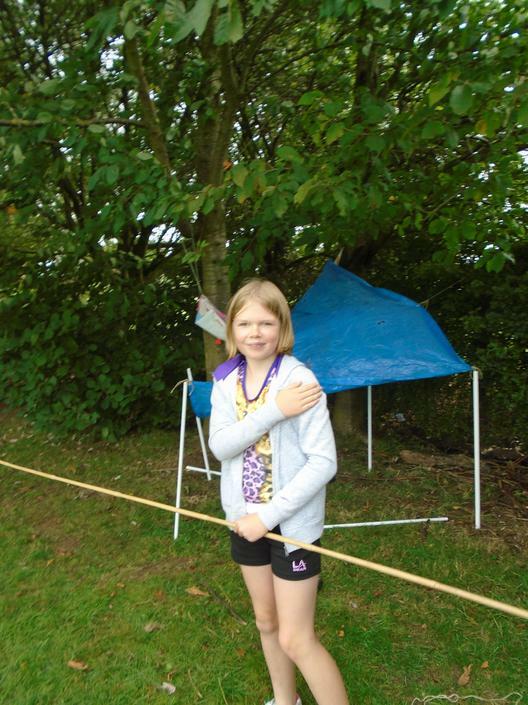 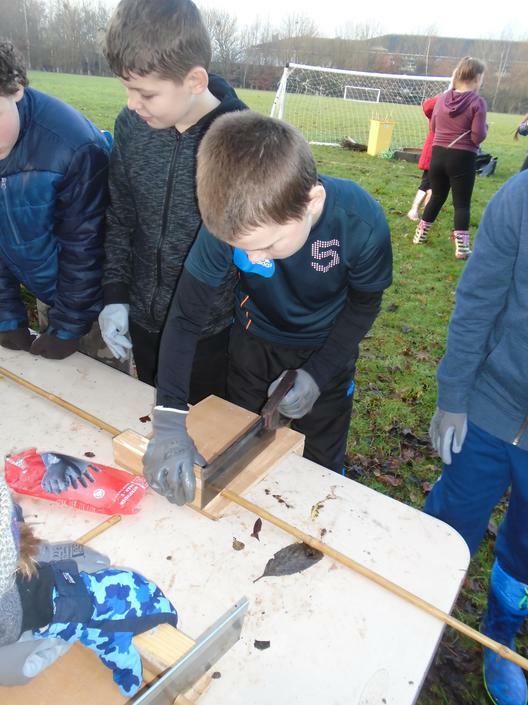 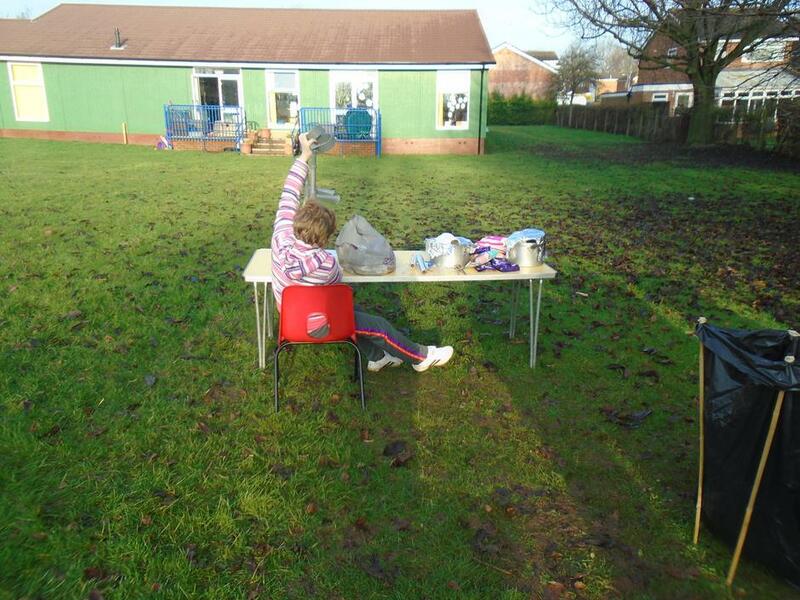 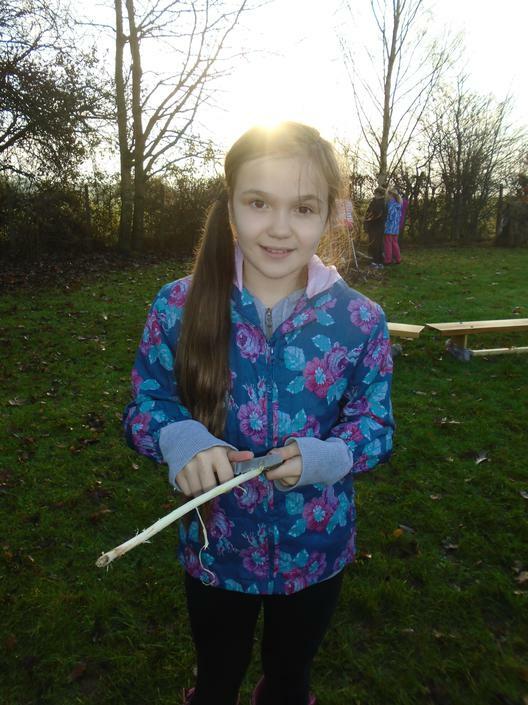 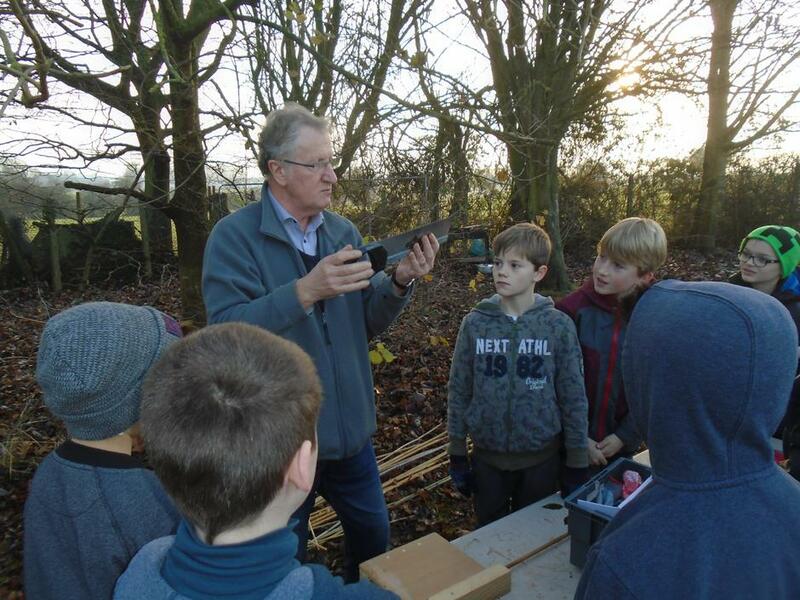 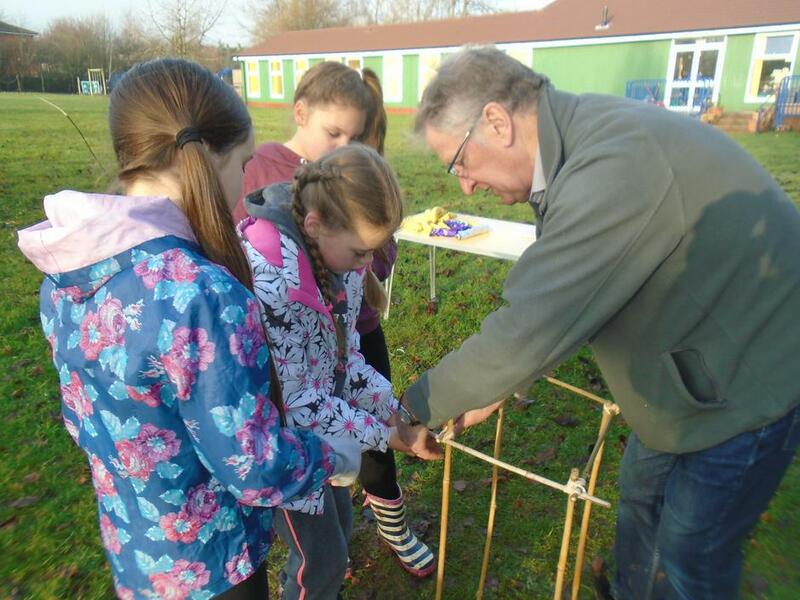 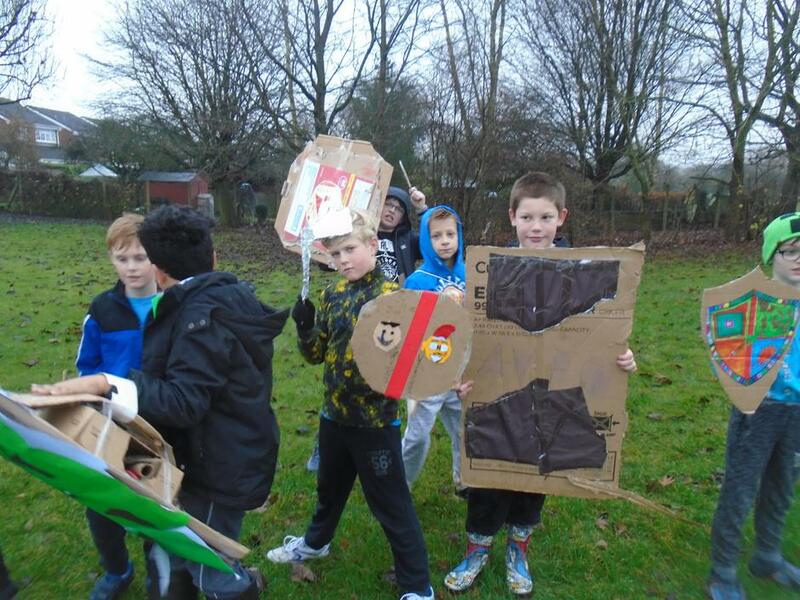 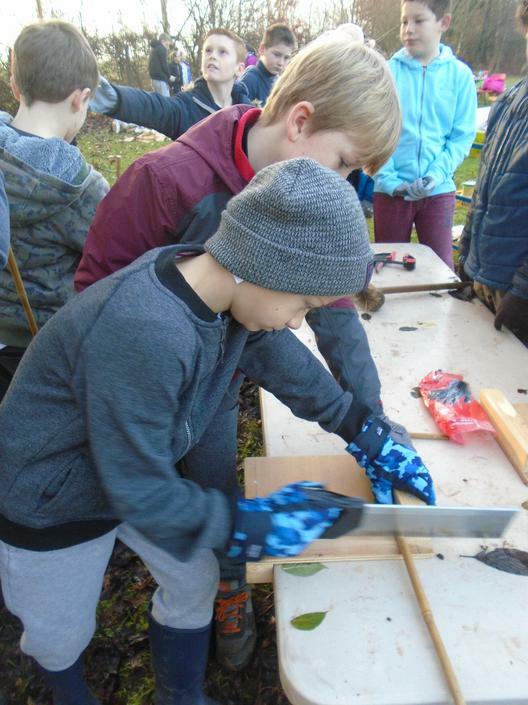 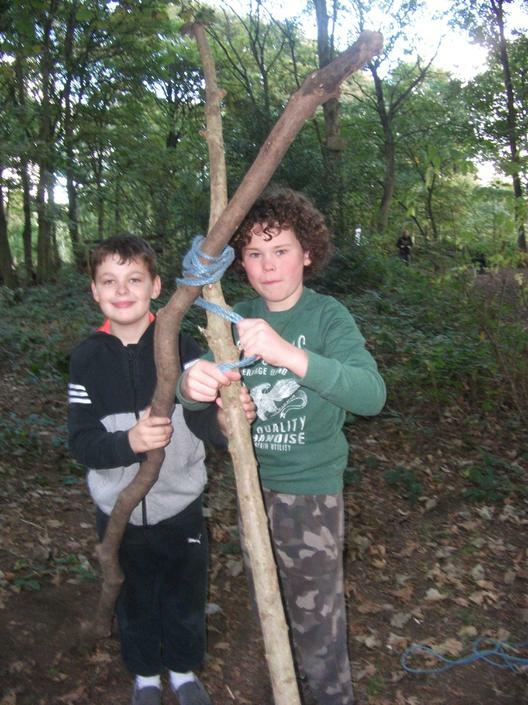 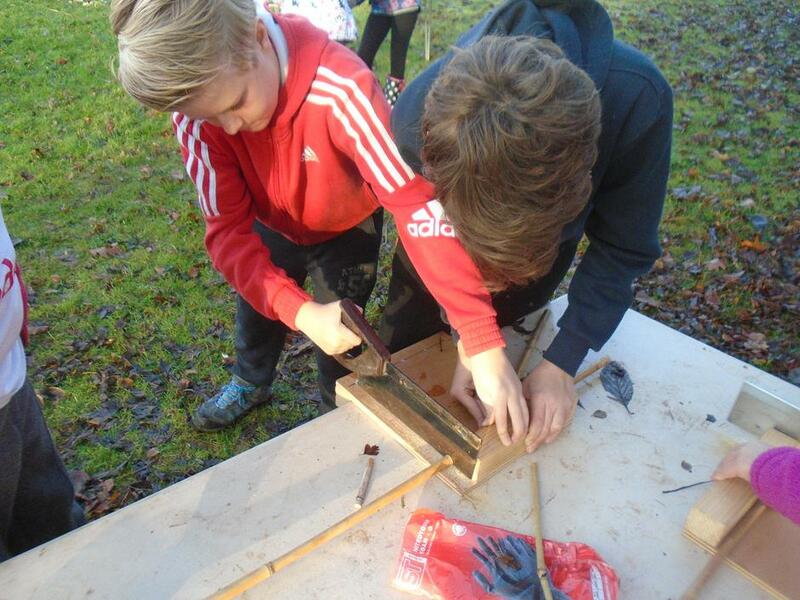 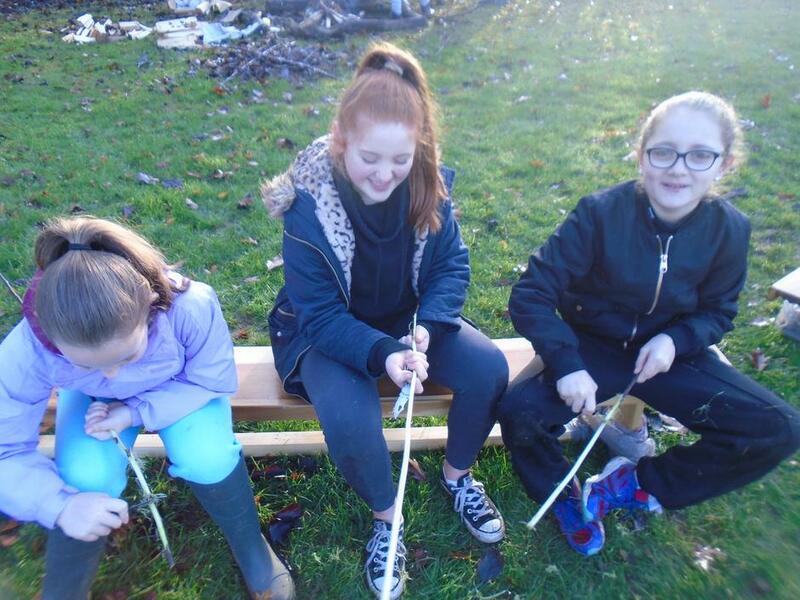 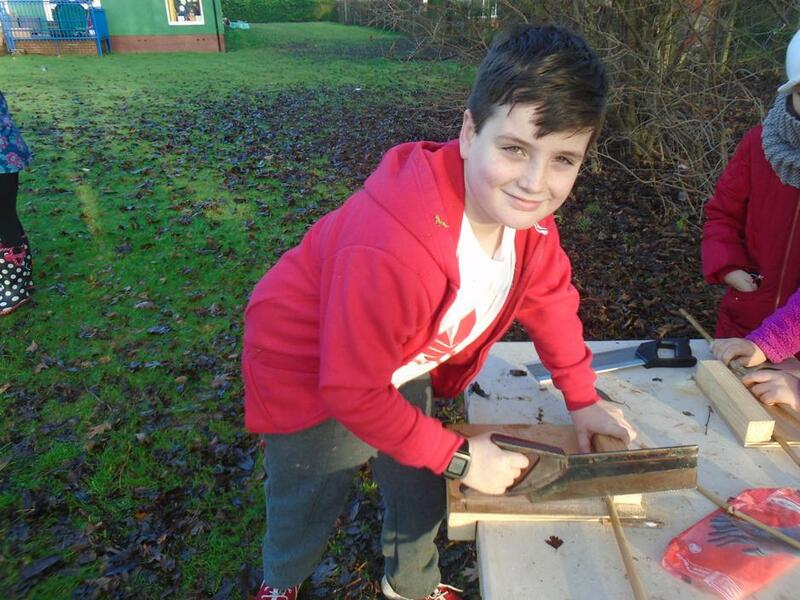 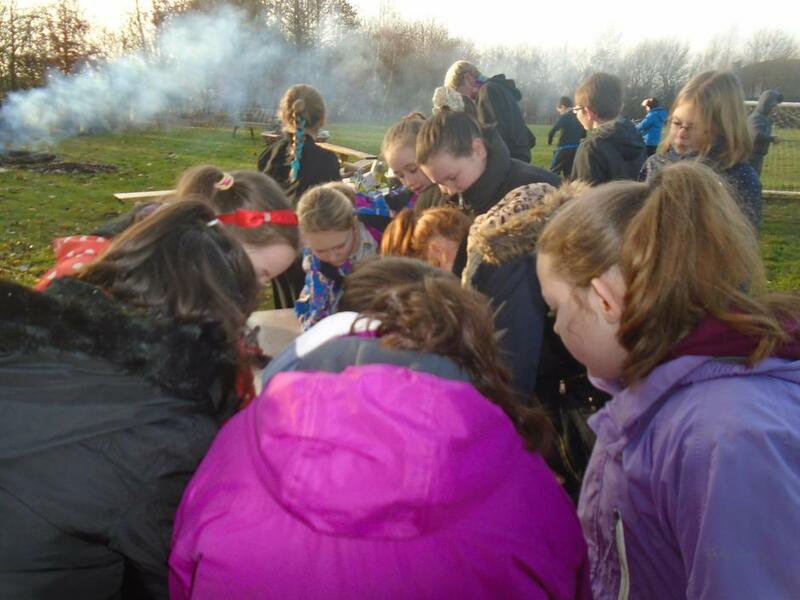 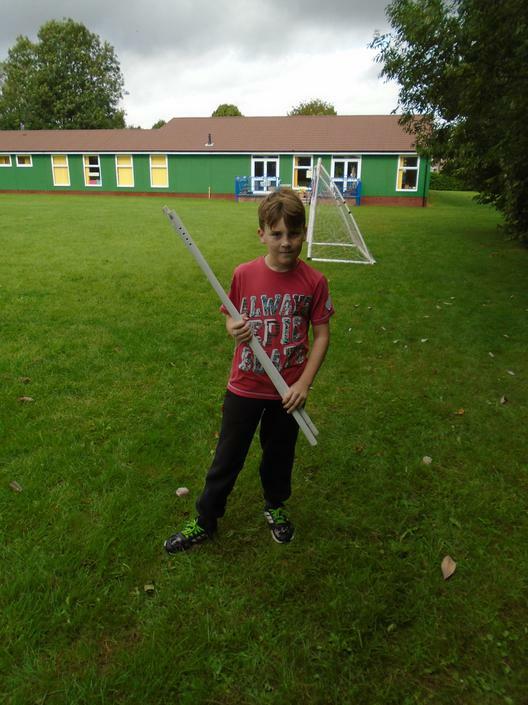 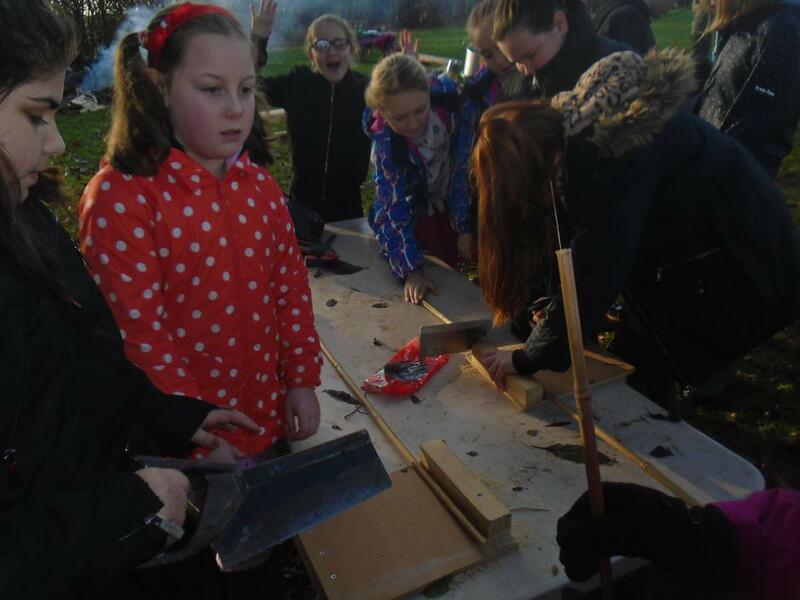 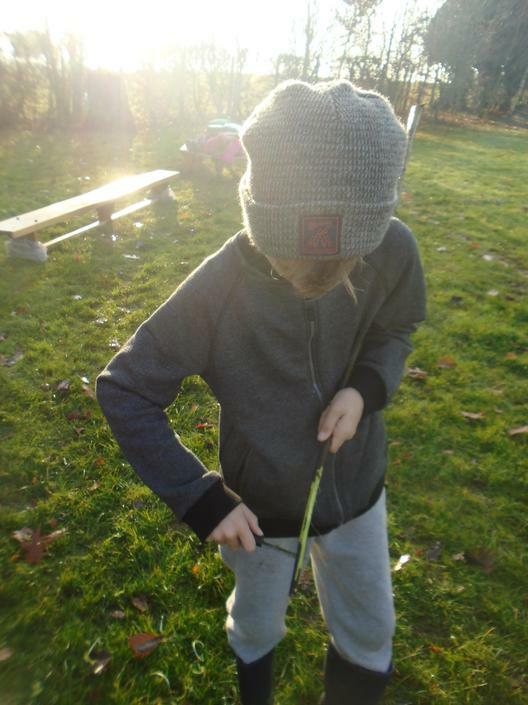 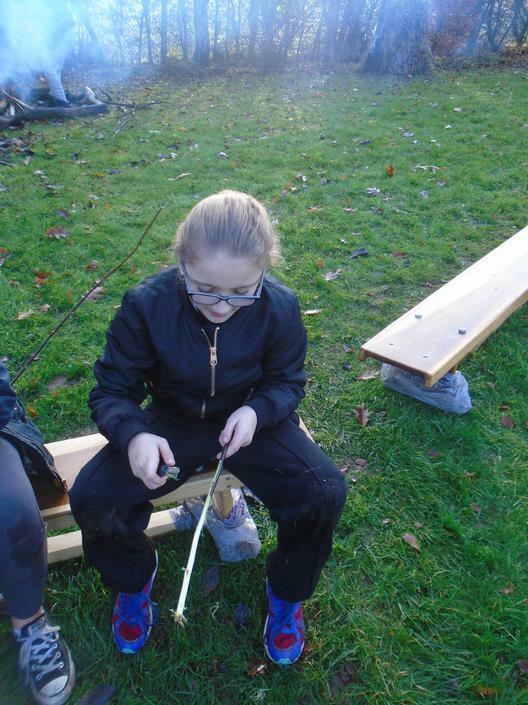 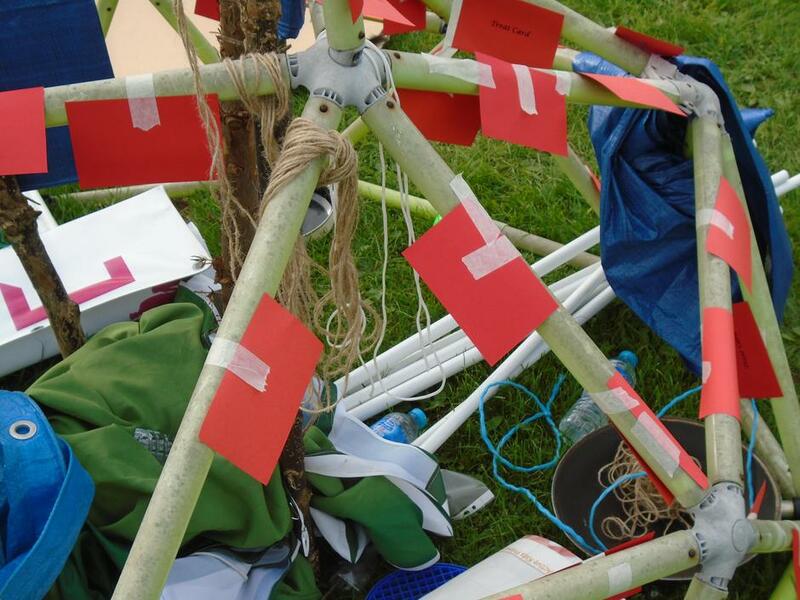 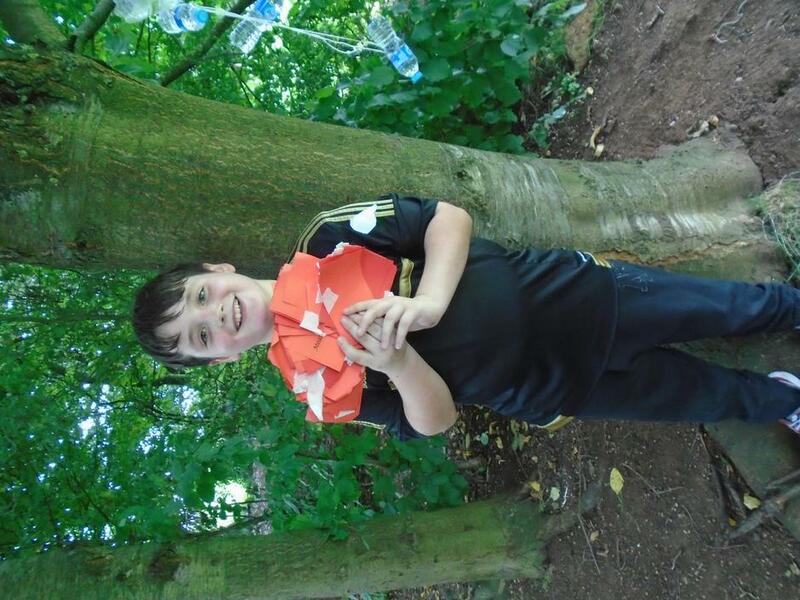 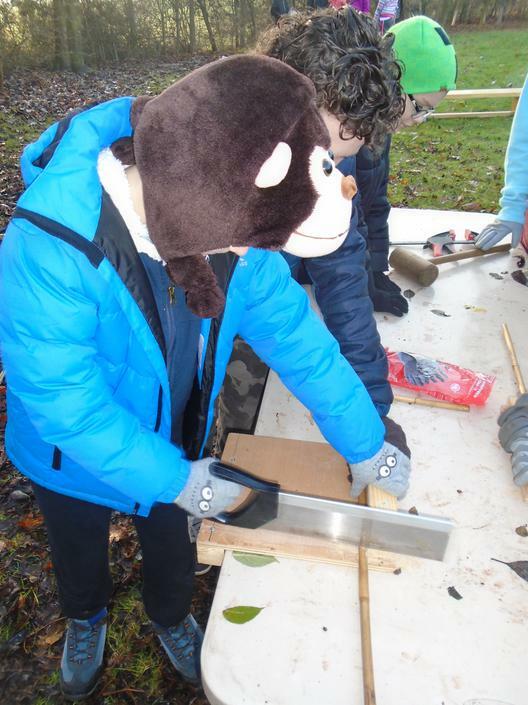 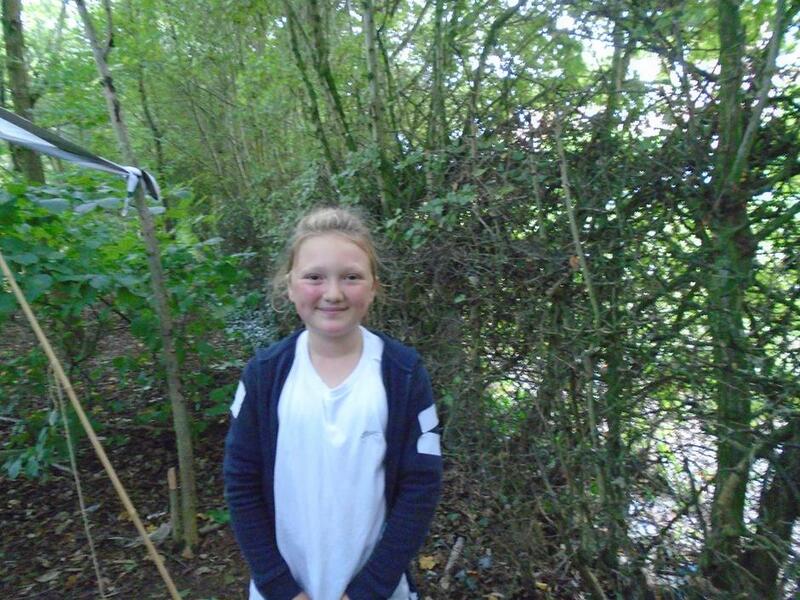 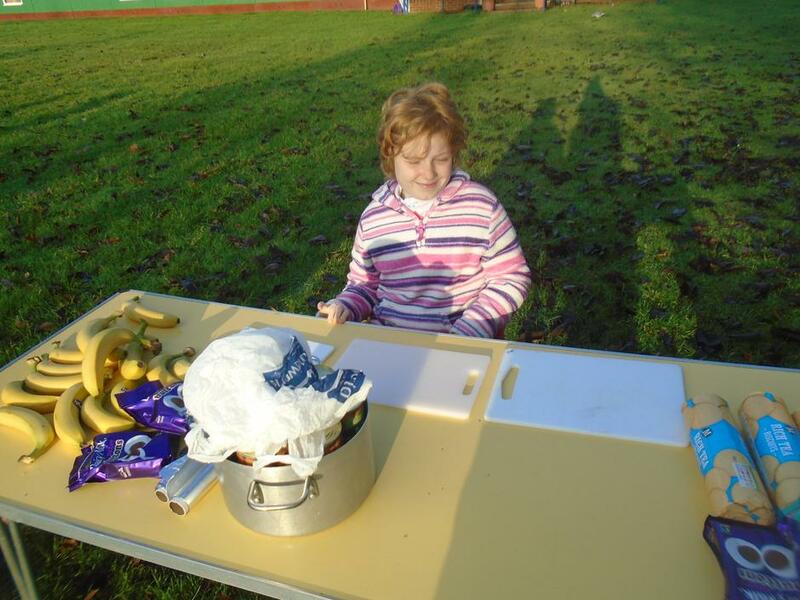 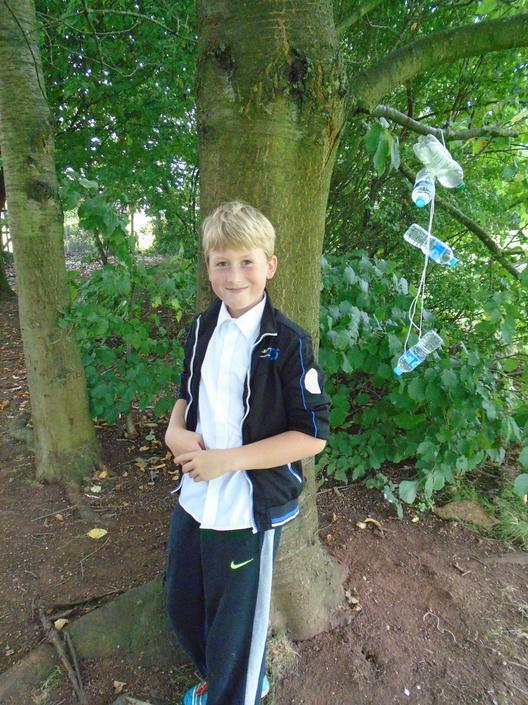 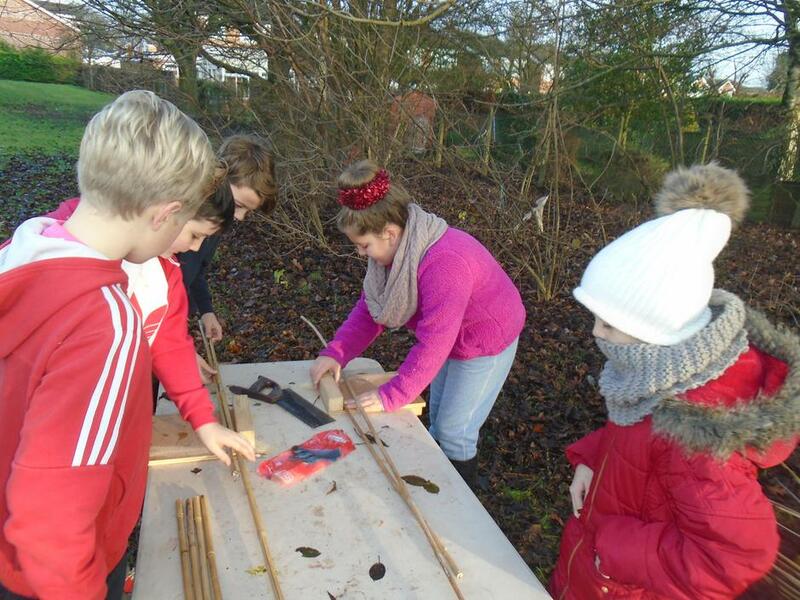 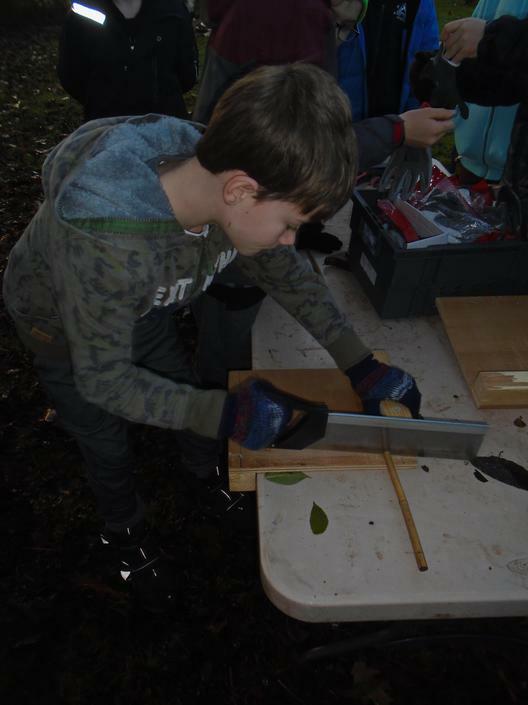 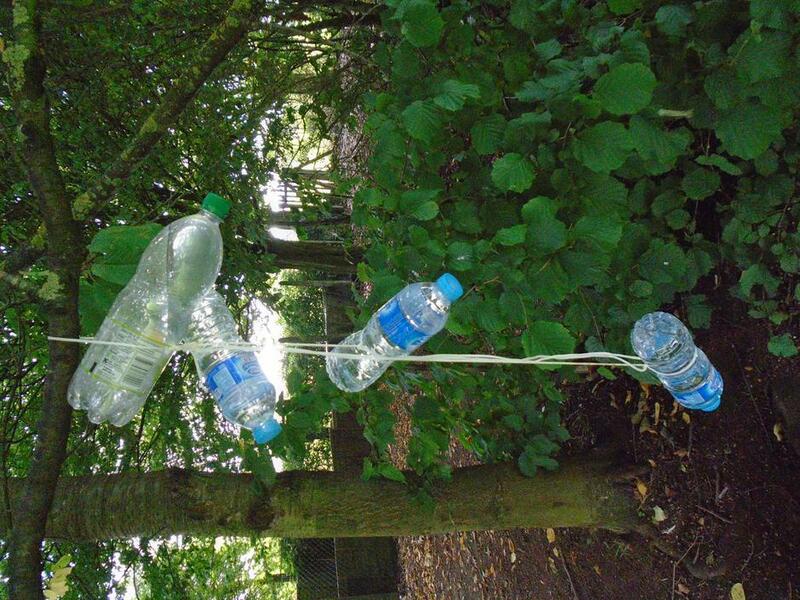 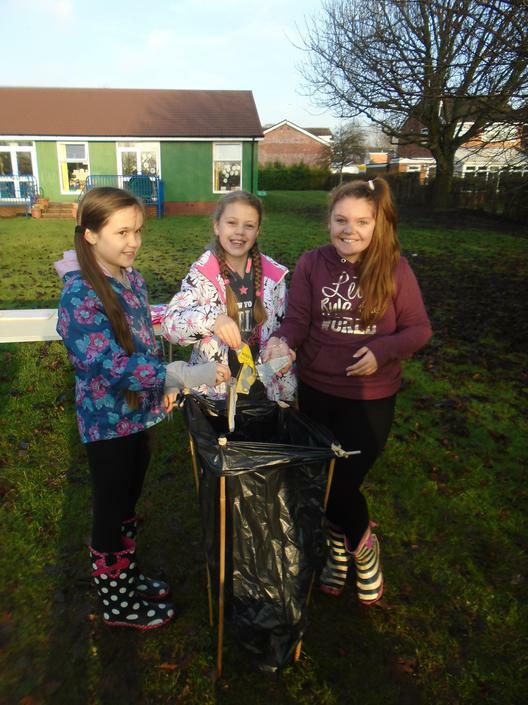 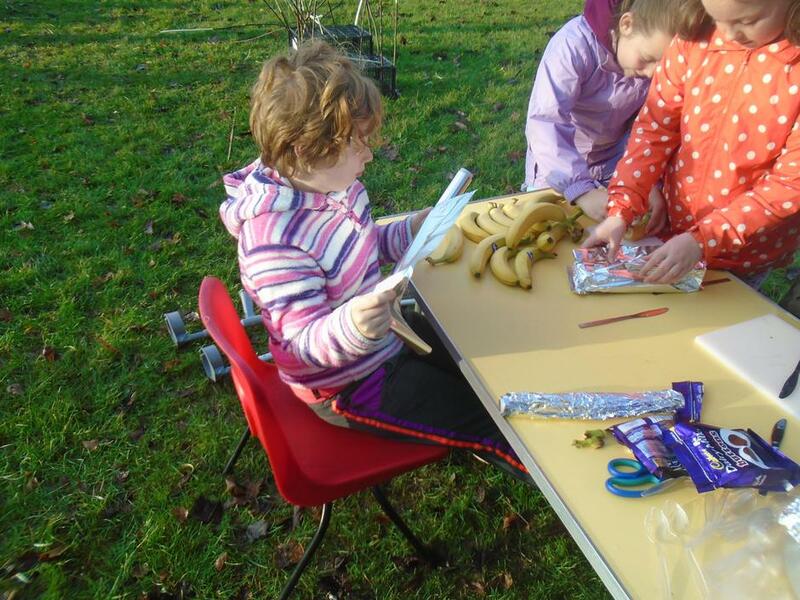 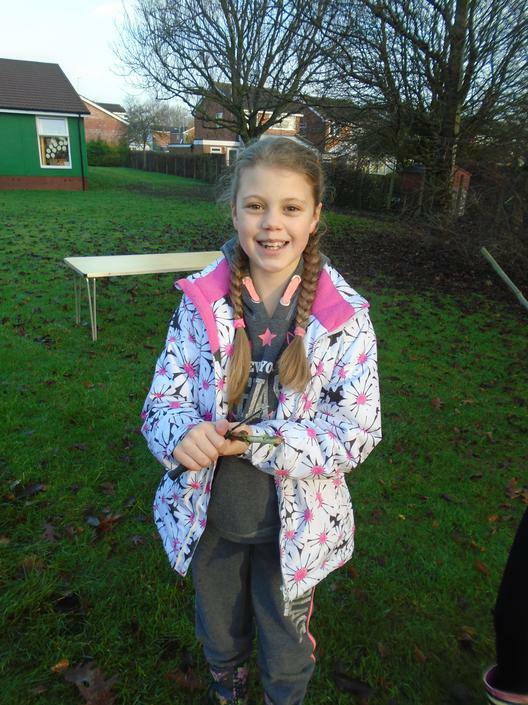 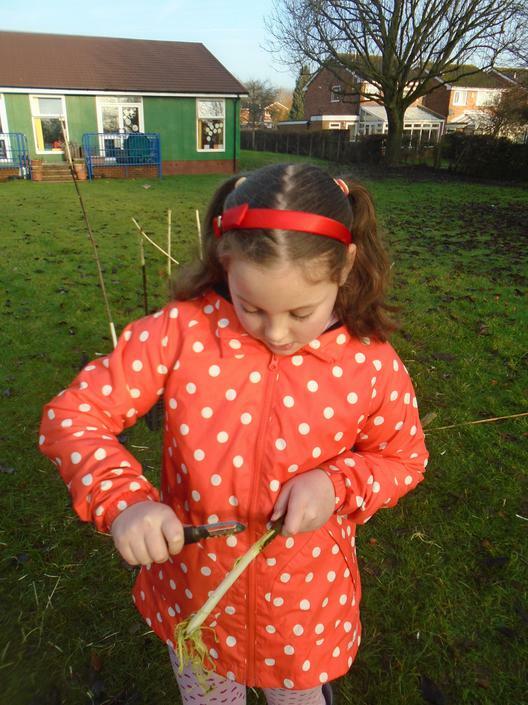 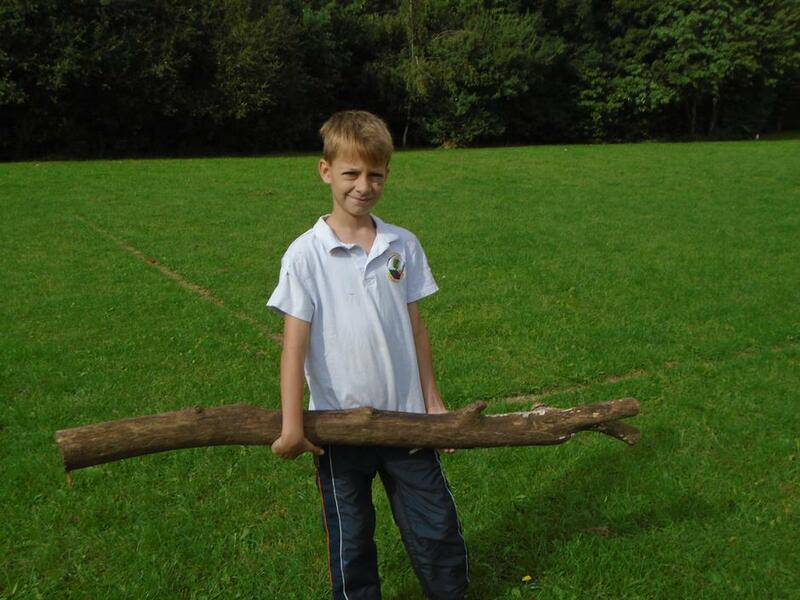 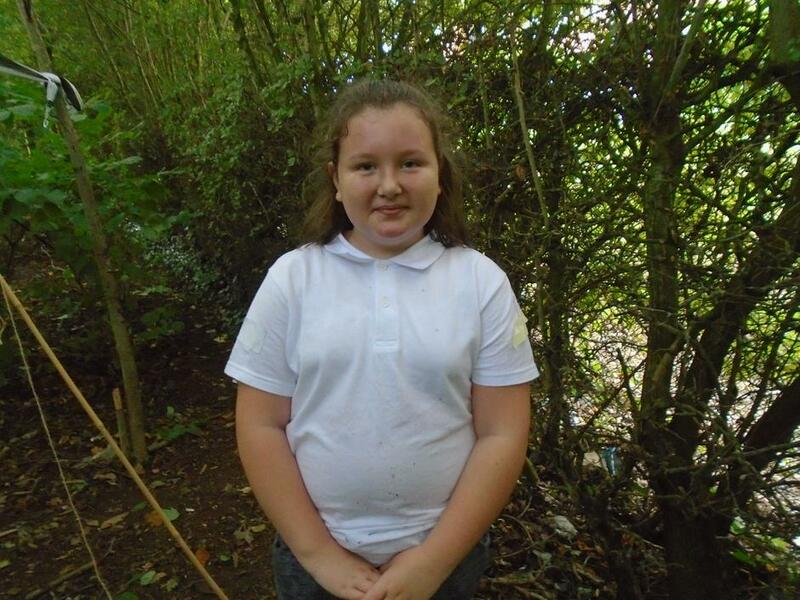 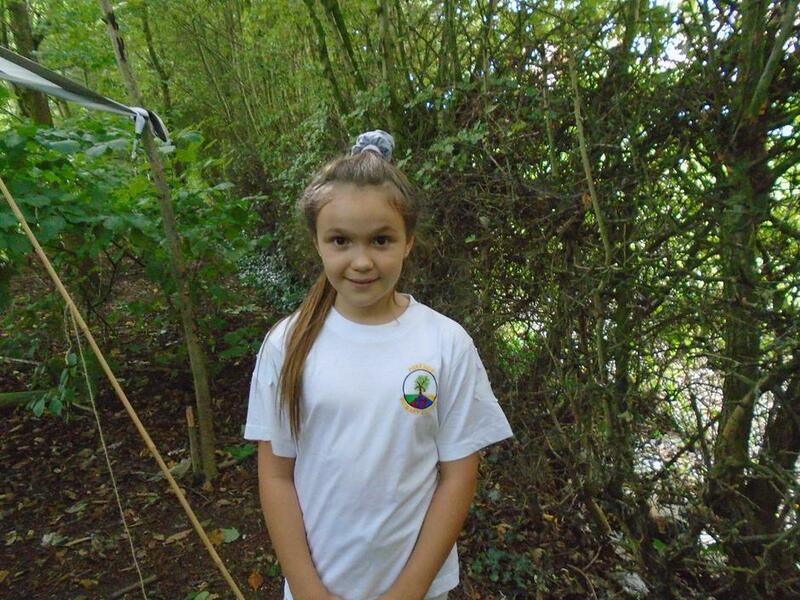 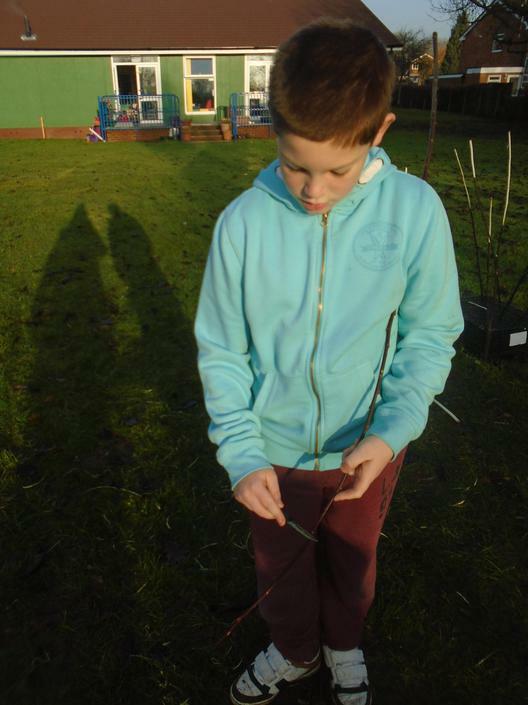 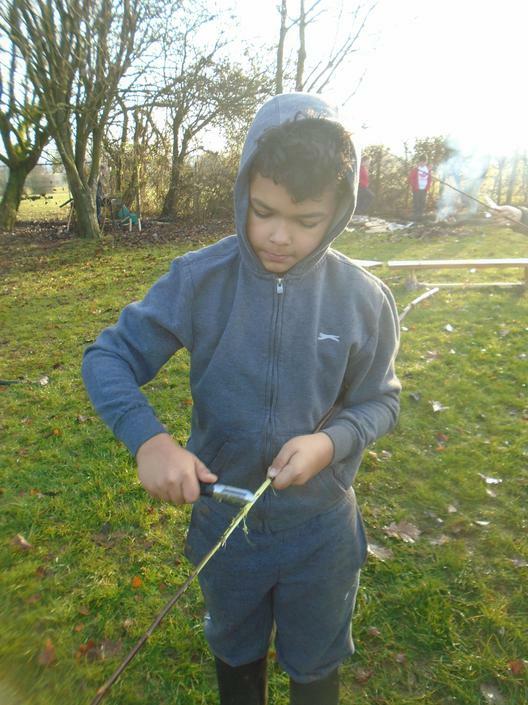 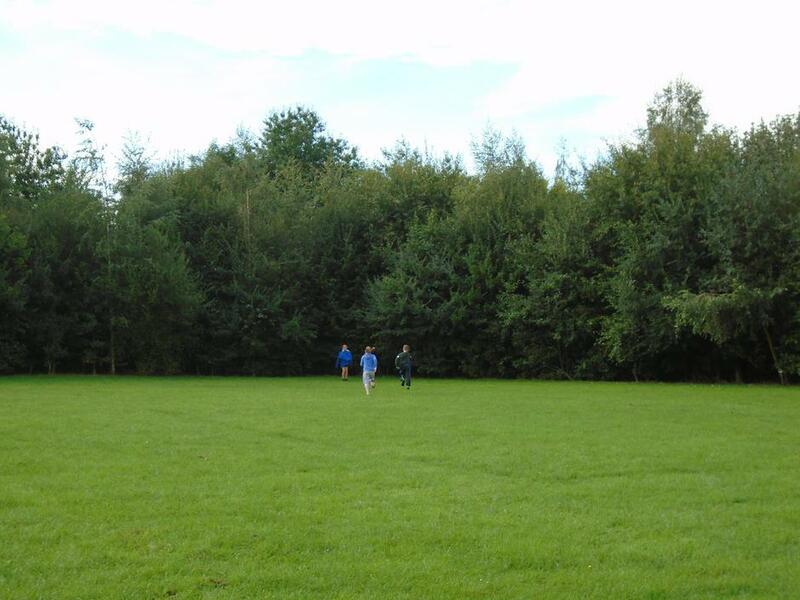 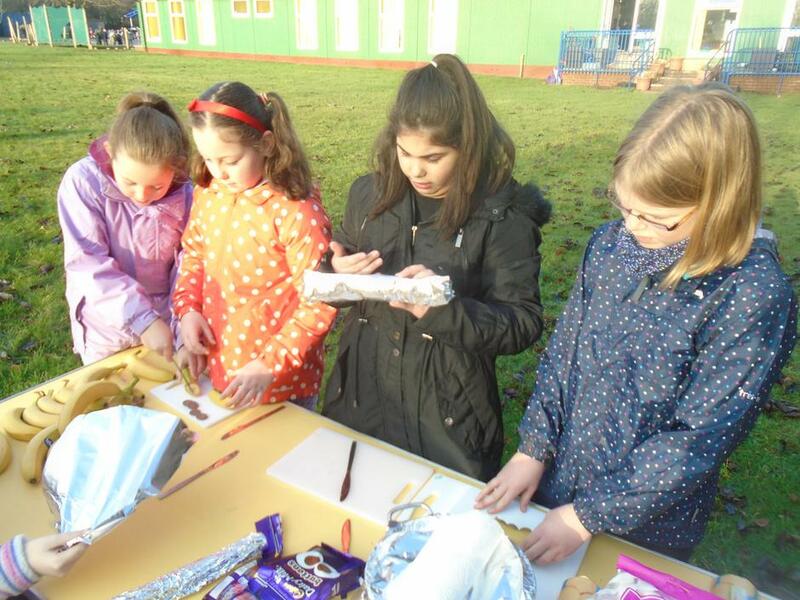 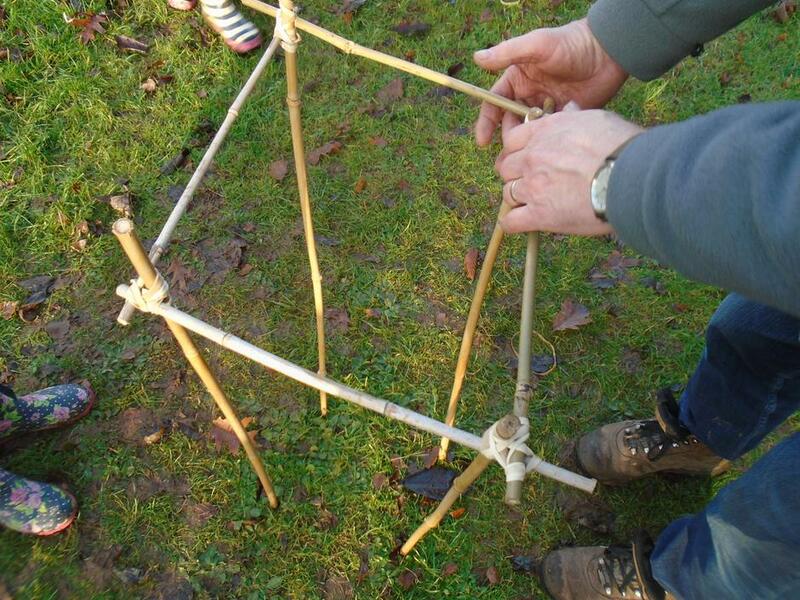 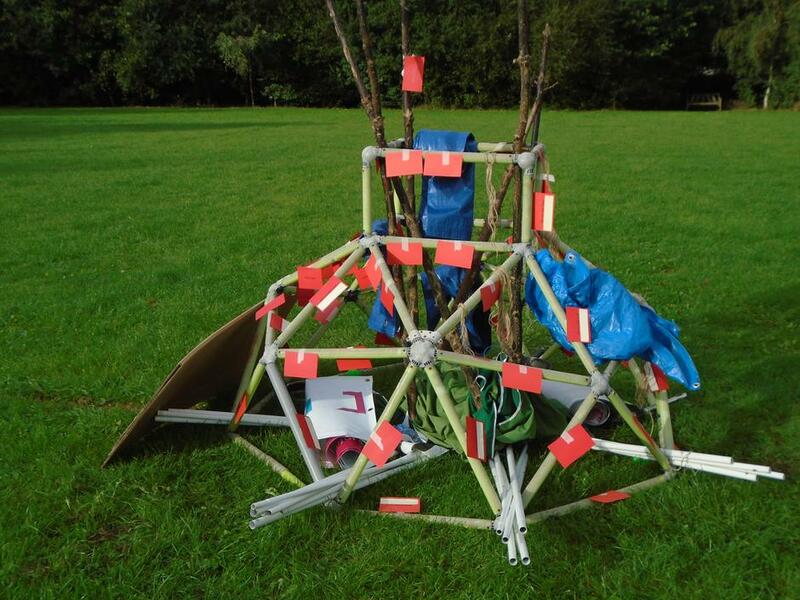 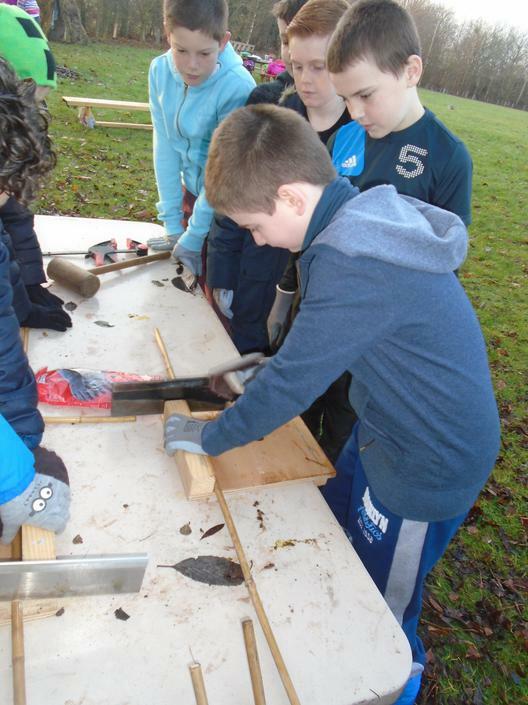 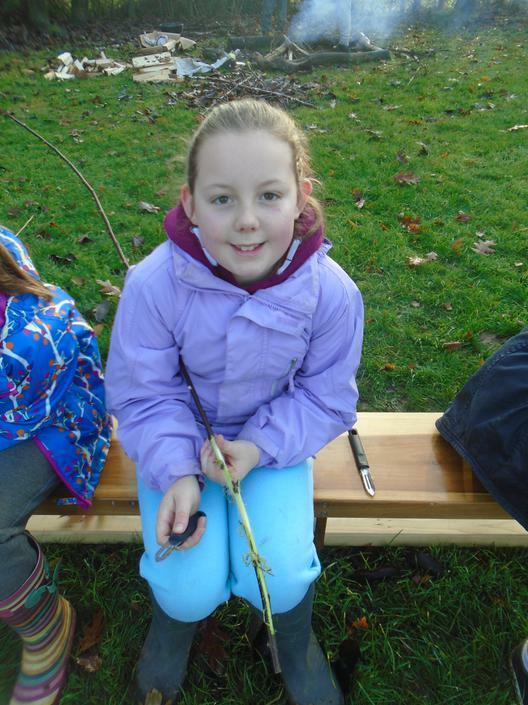 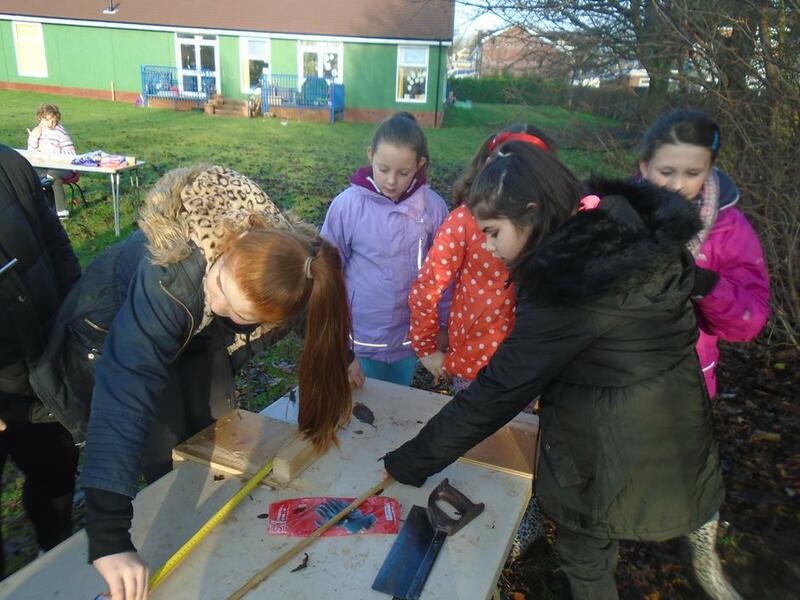 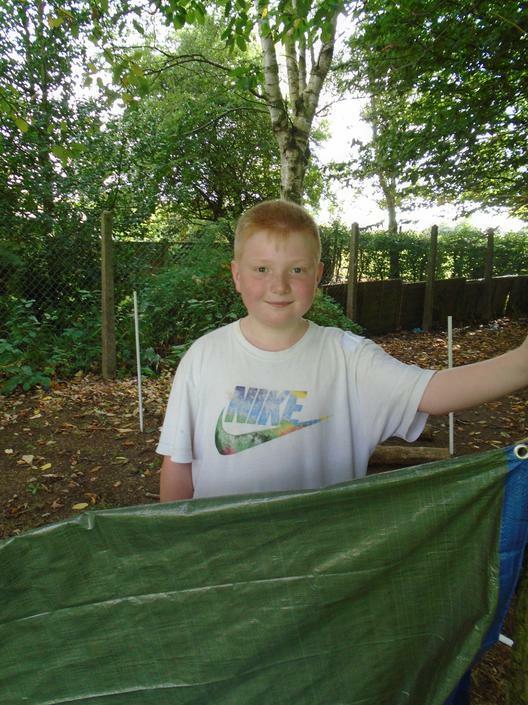 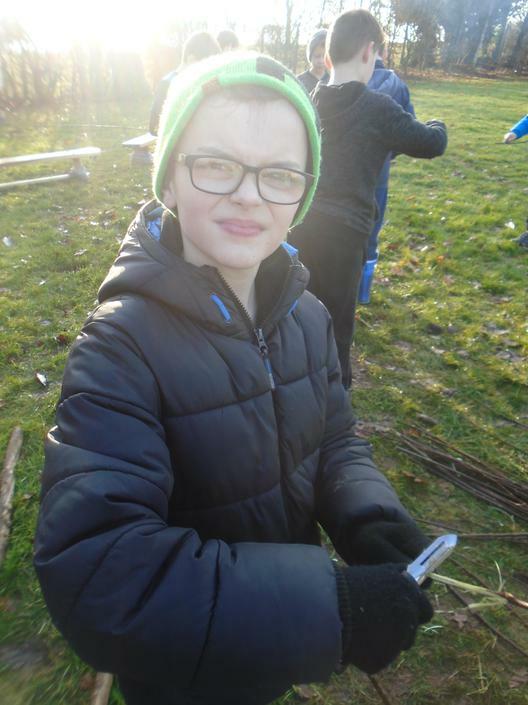 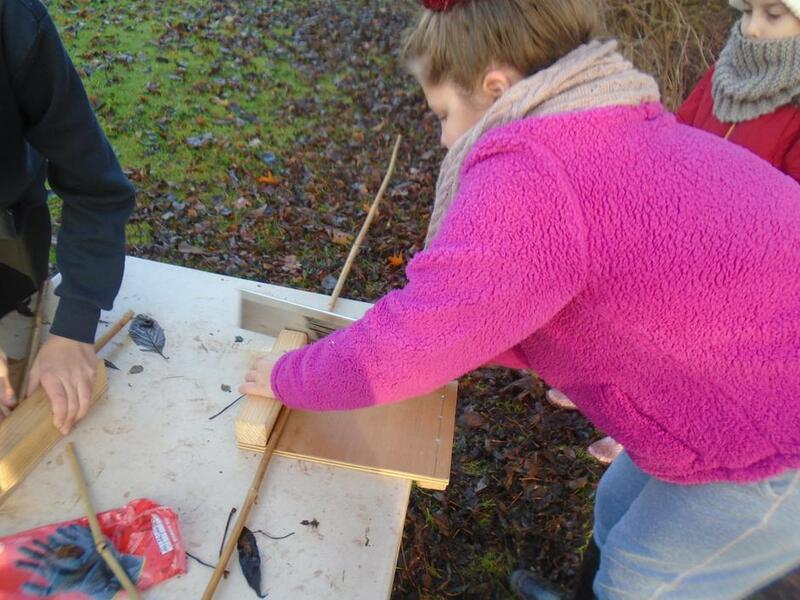 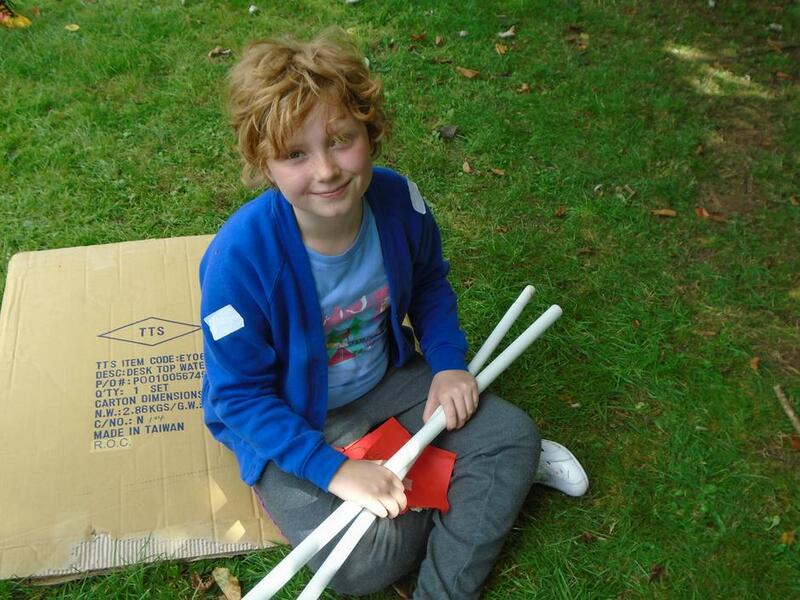 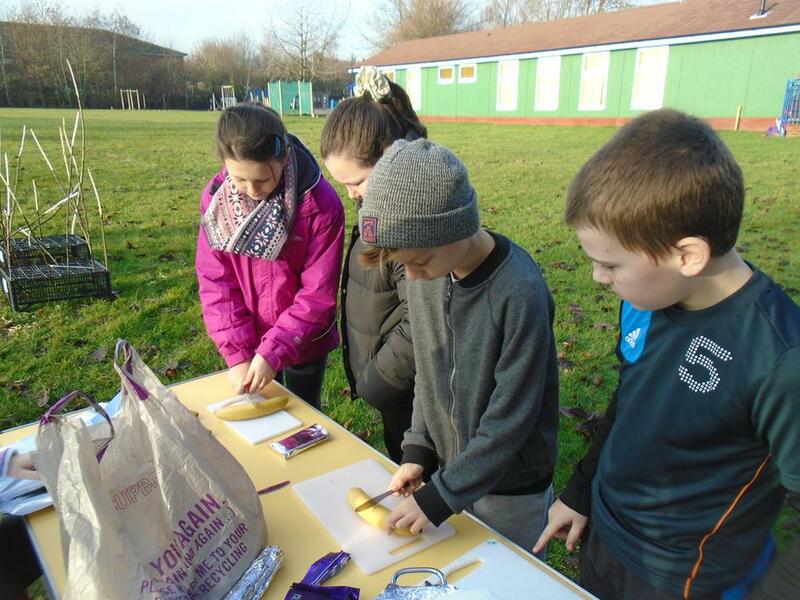 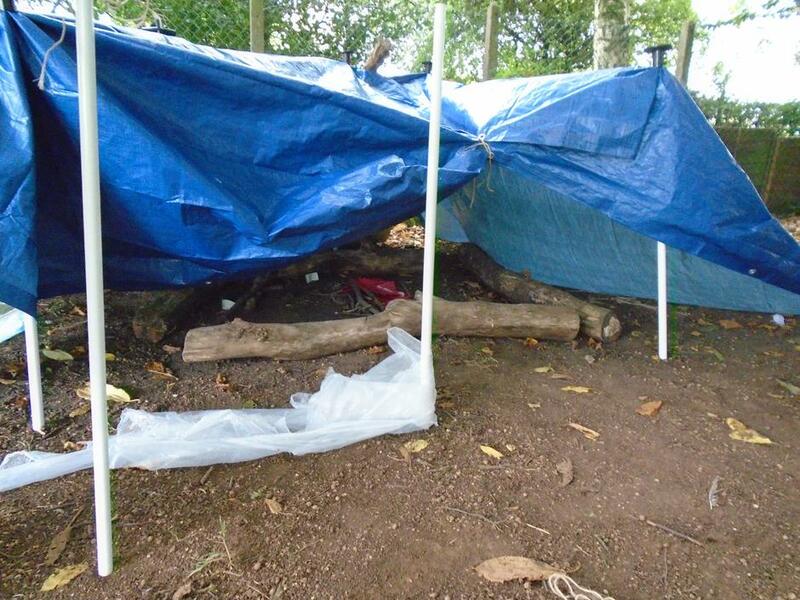 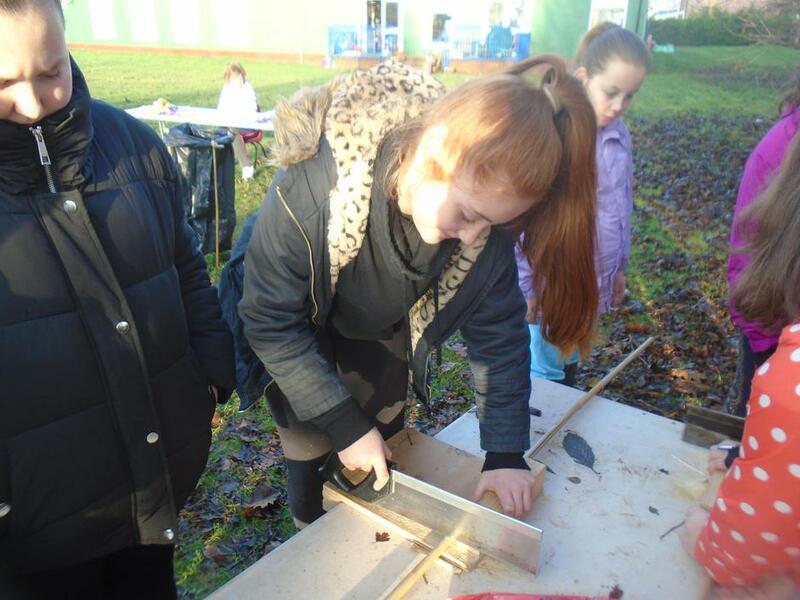 They took part in: whittling, sawing, food preparation, gadget making and campfire building! 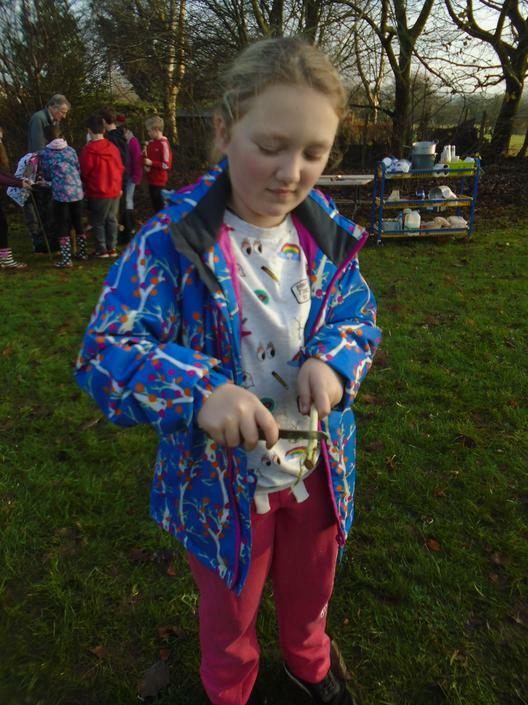 They entertained each other with some brilliant campfire songs before tucking in to their campfire lunch- jacket potatos or hot dogs! 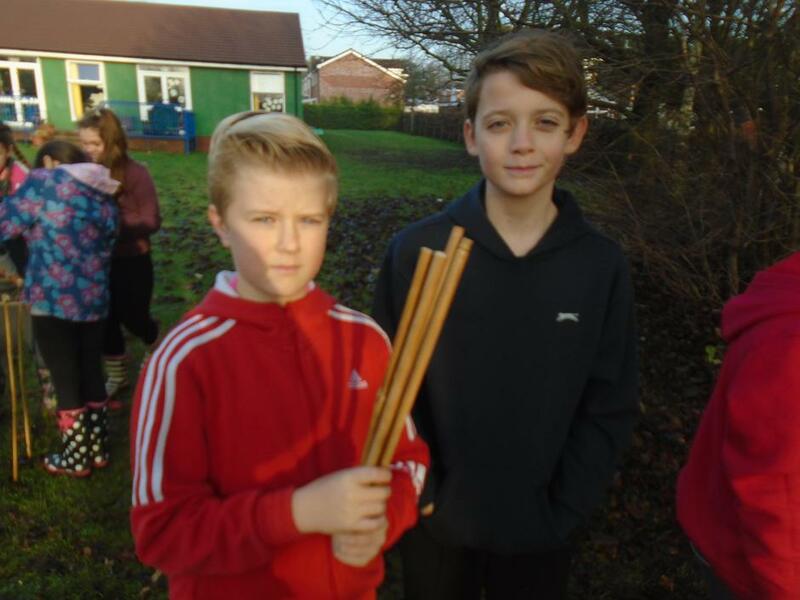 They were an absolute pleasure to be outside with. 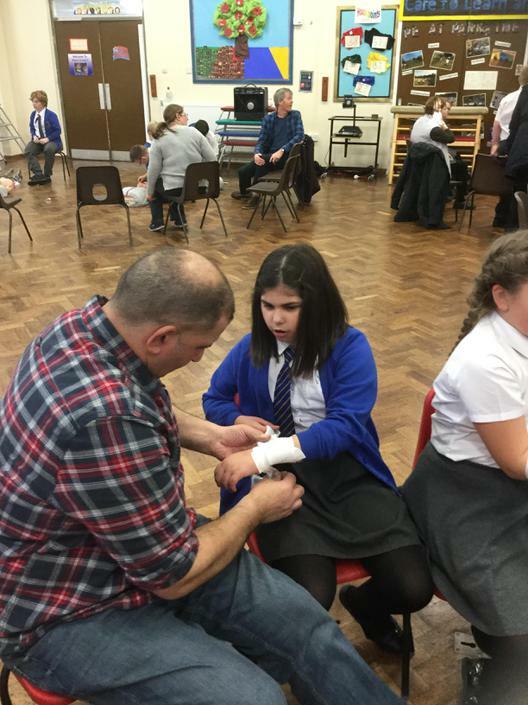 A massive thank you to Mr Sutton and Mr Knapper for all of their help and support! 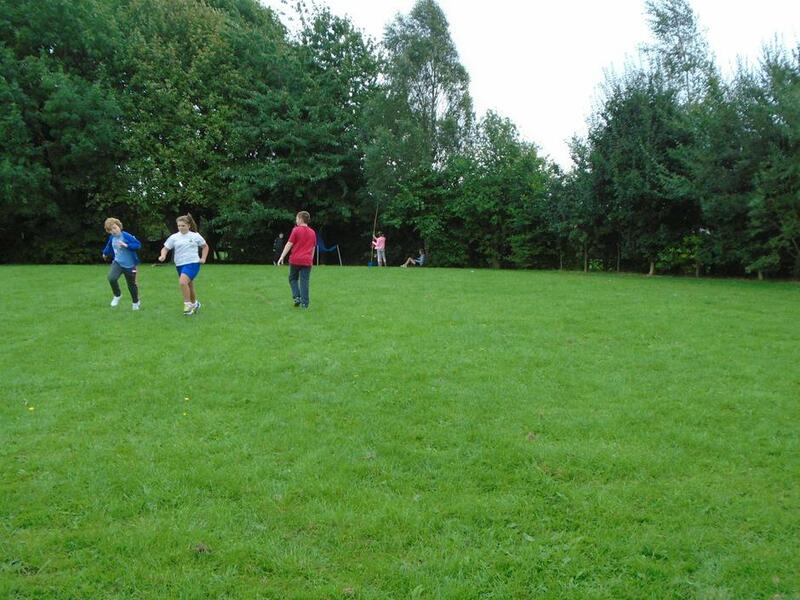 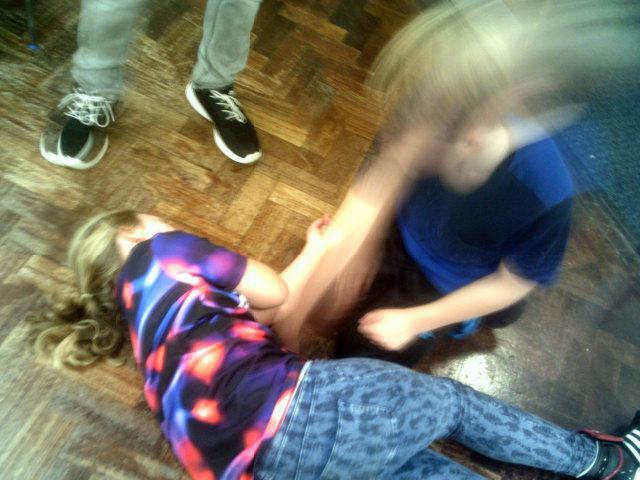 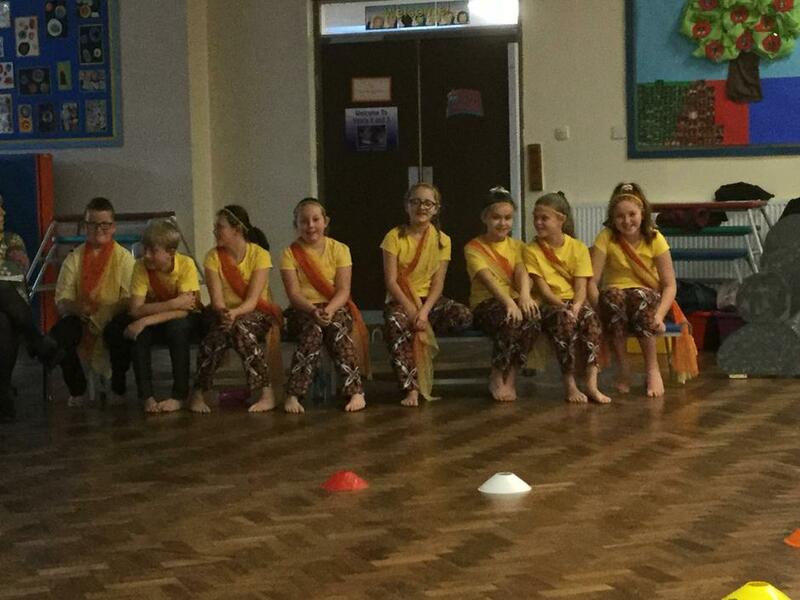 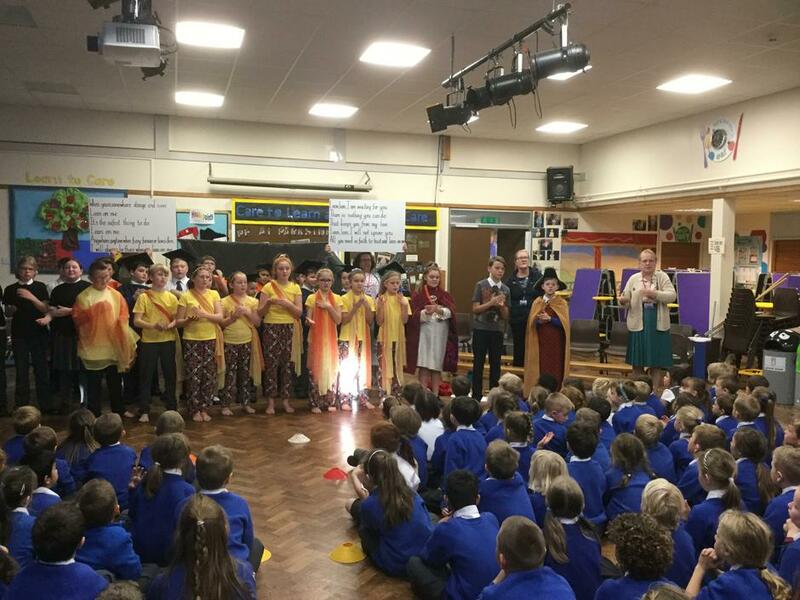 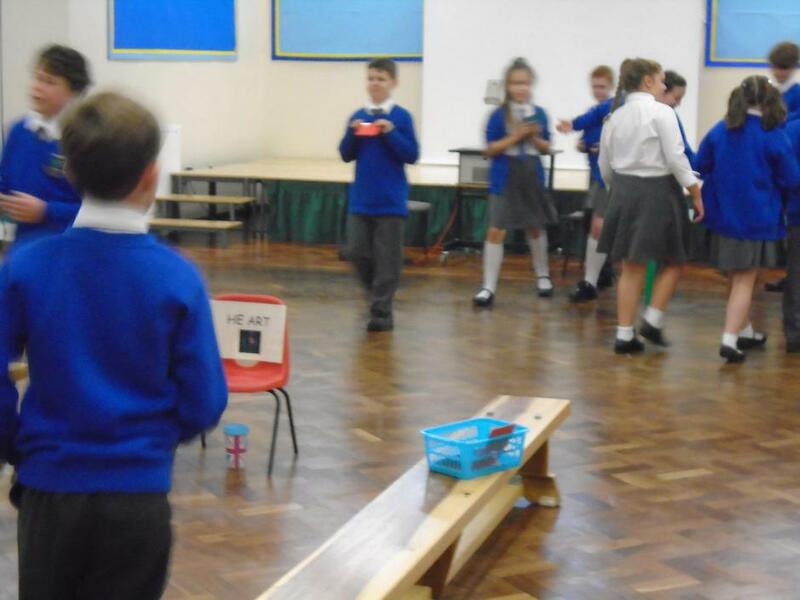 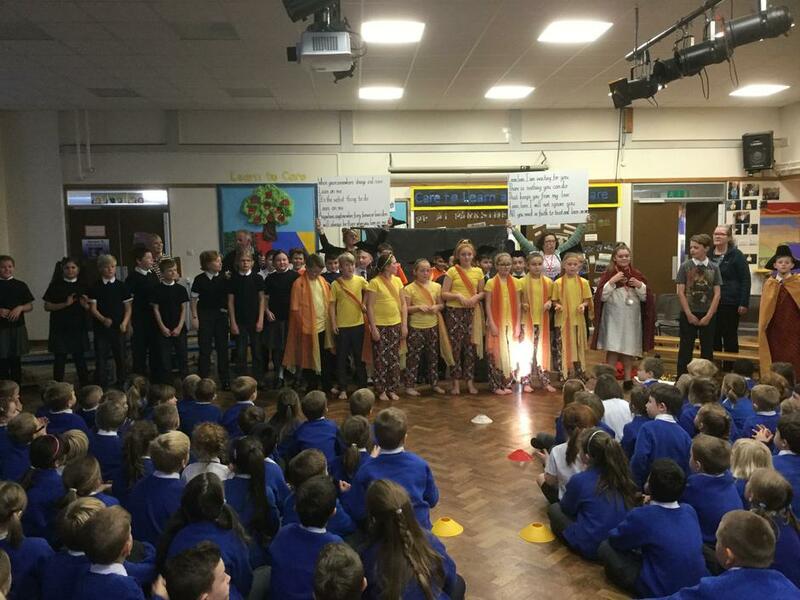 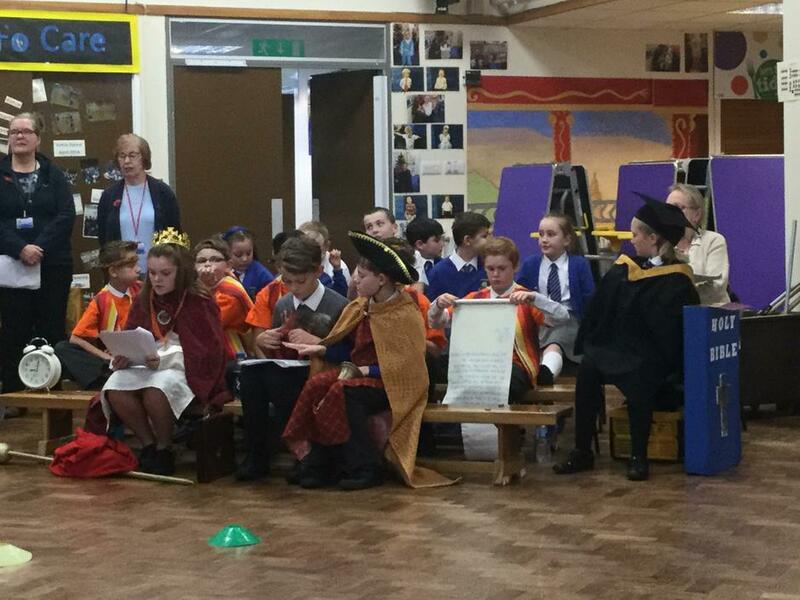 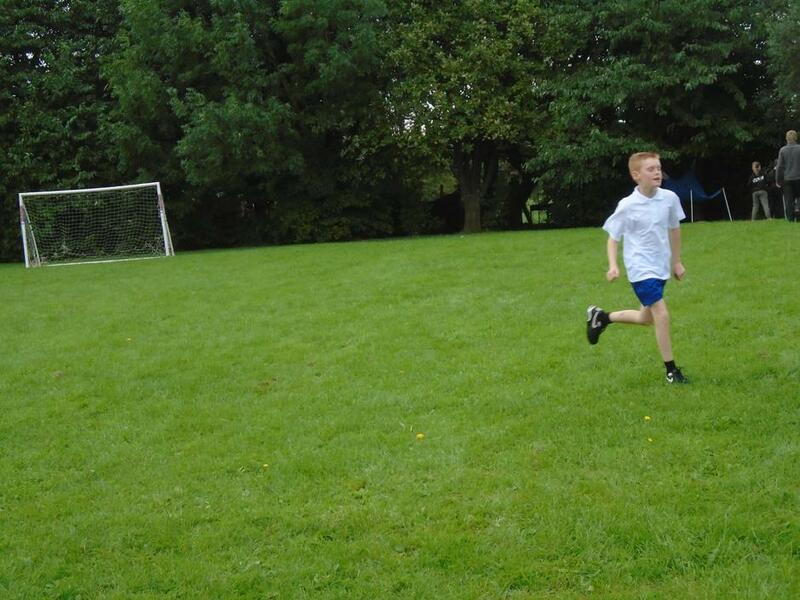 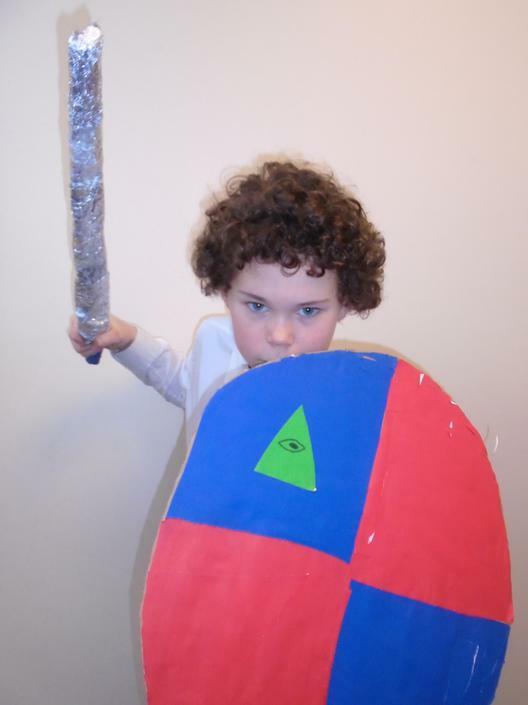 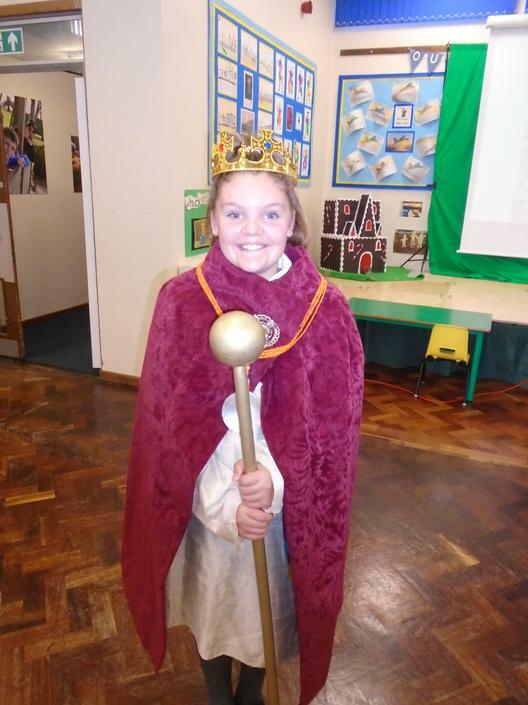 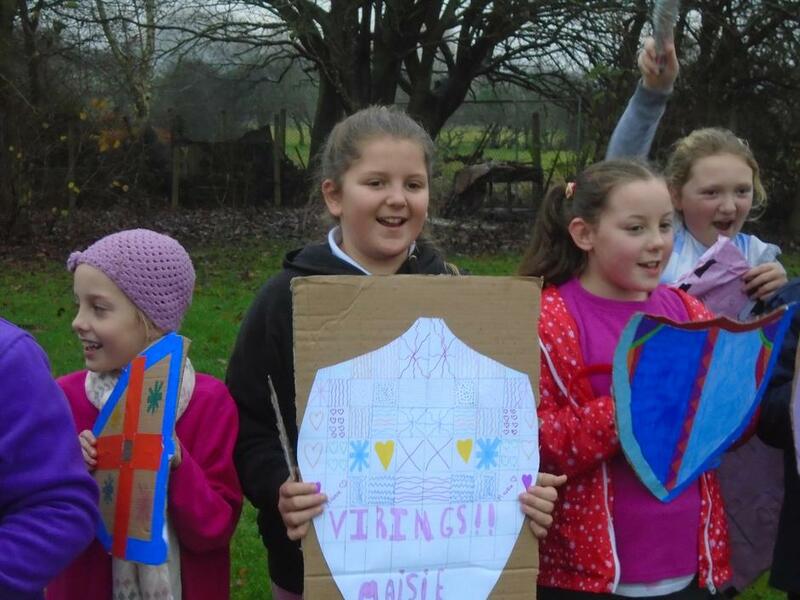 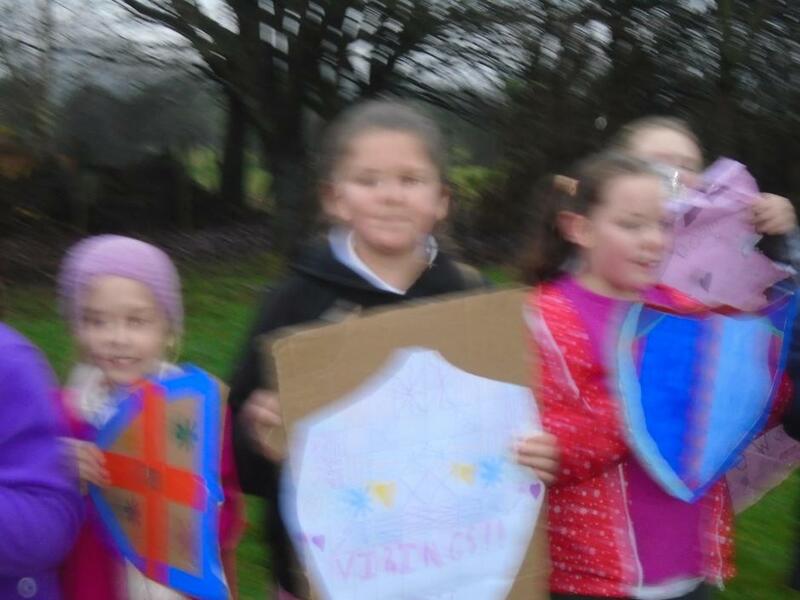 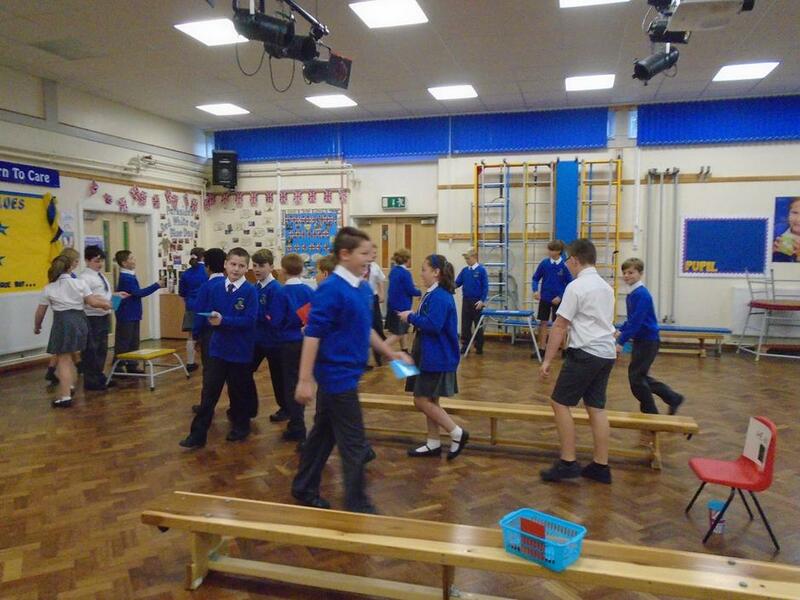 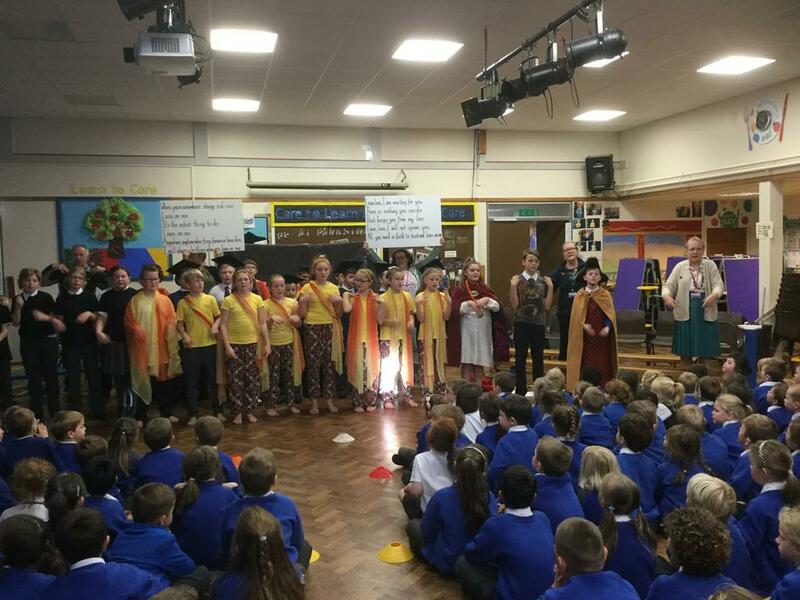 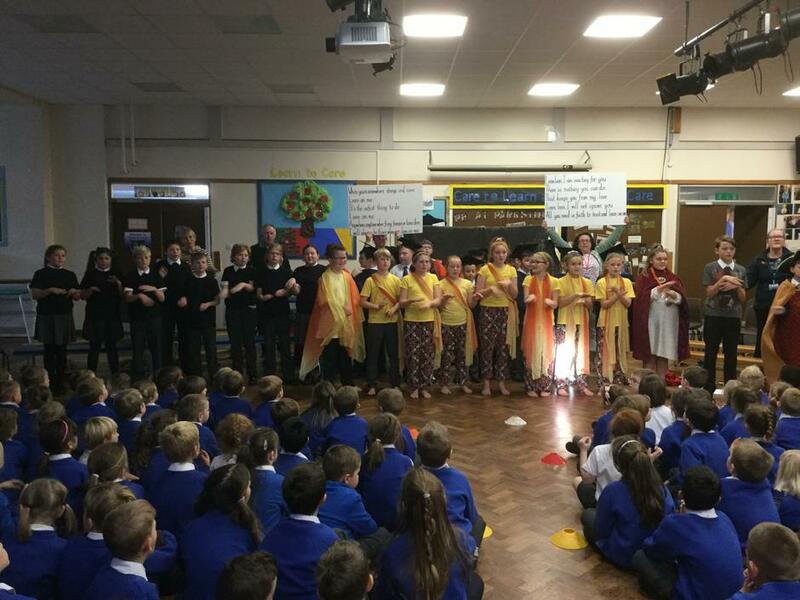 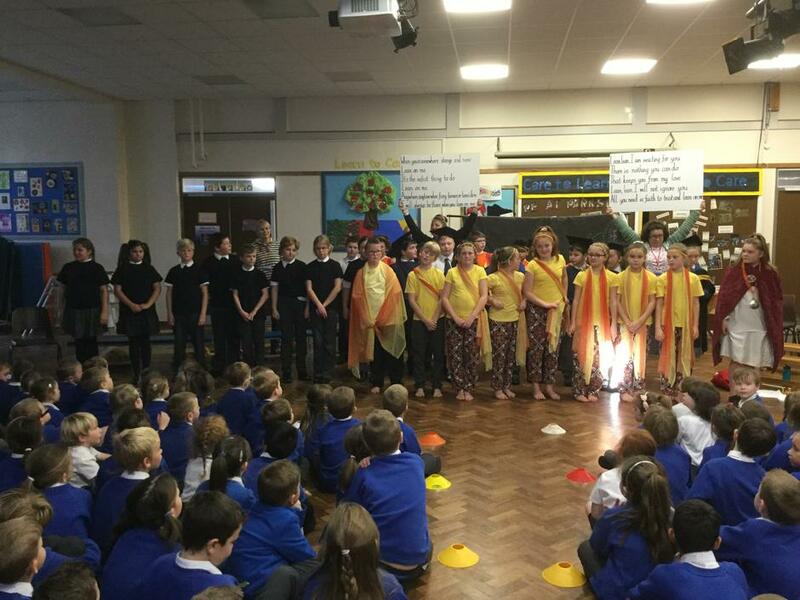 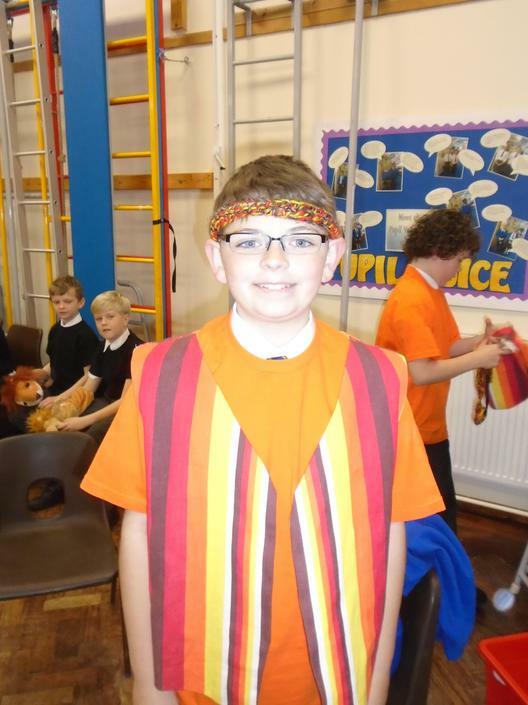 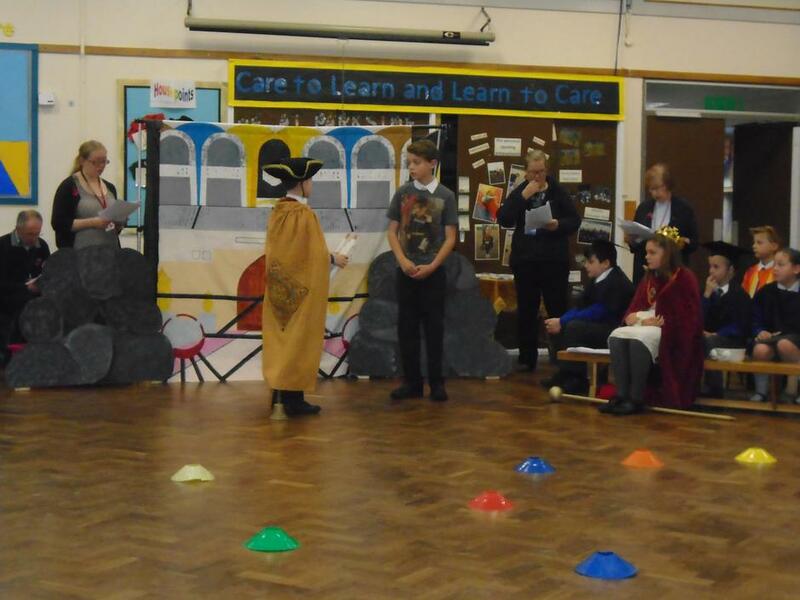 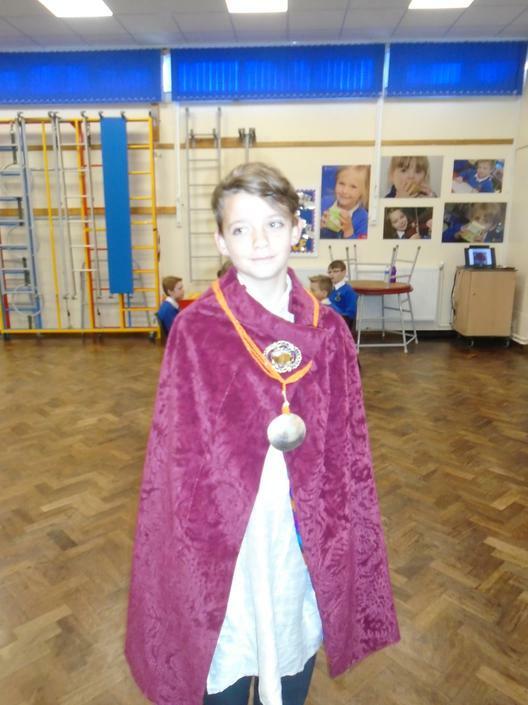 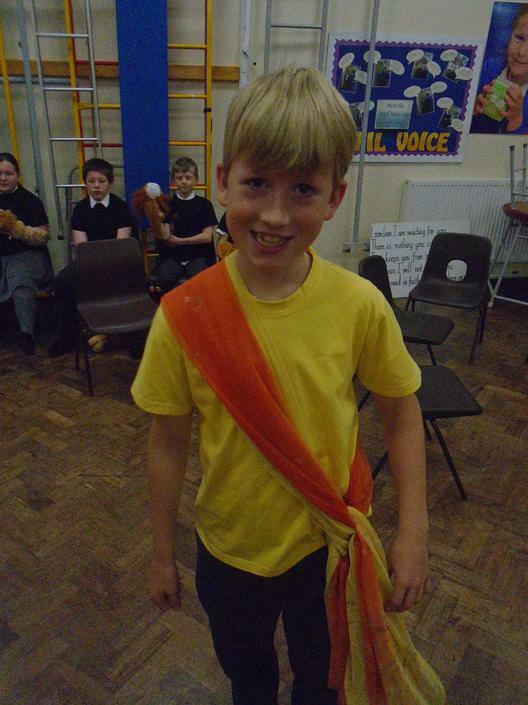 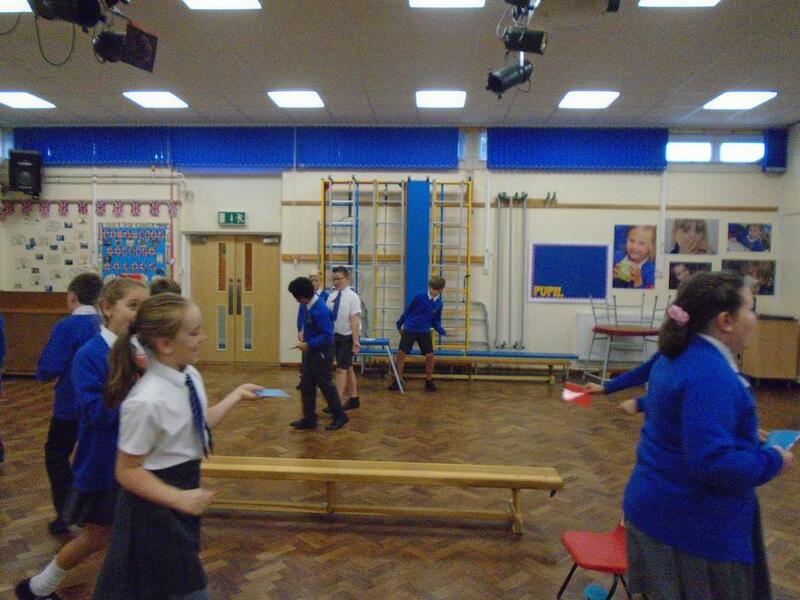 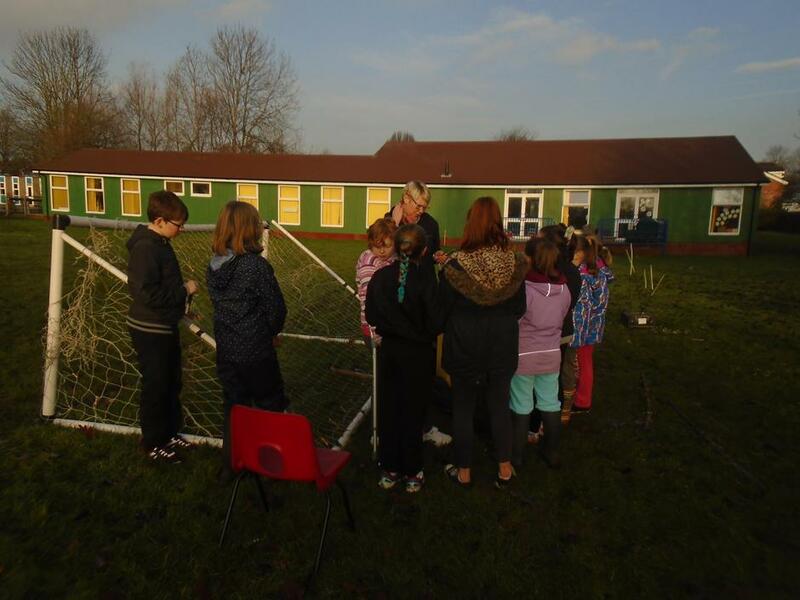 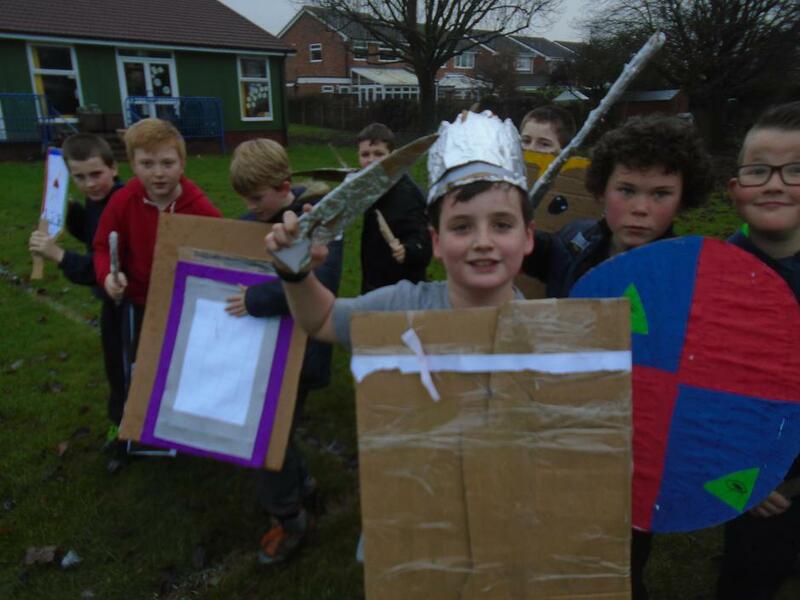 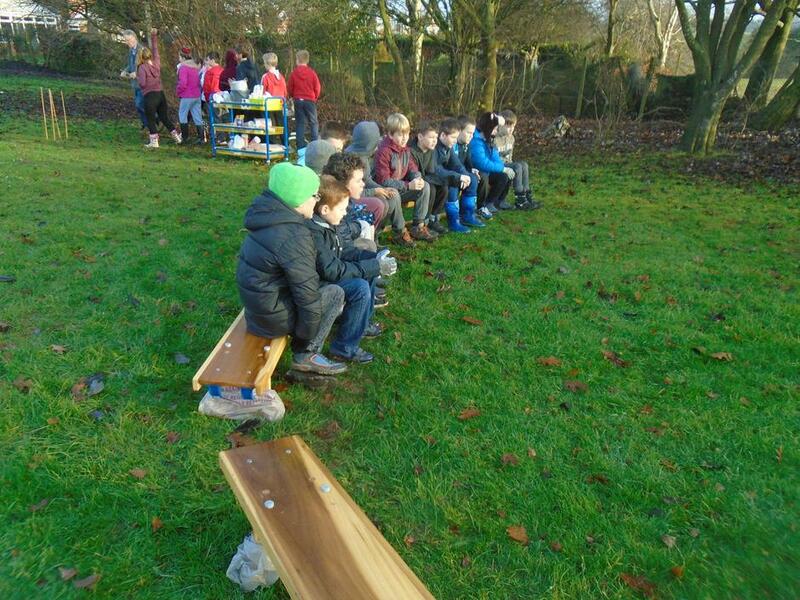 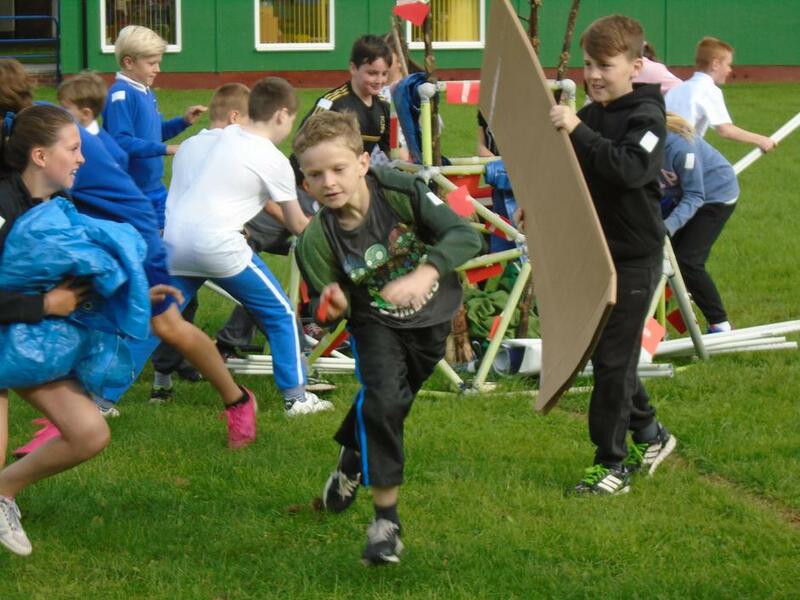 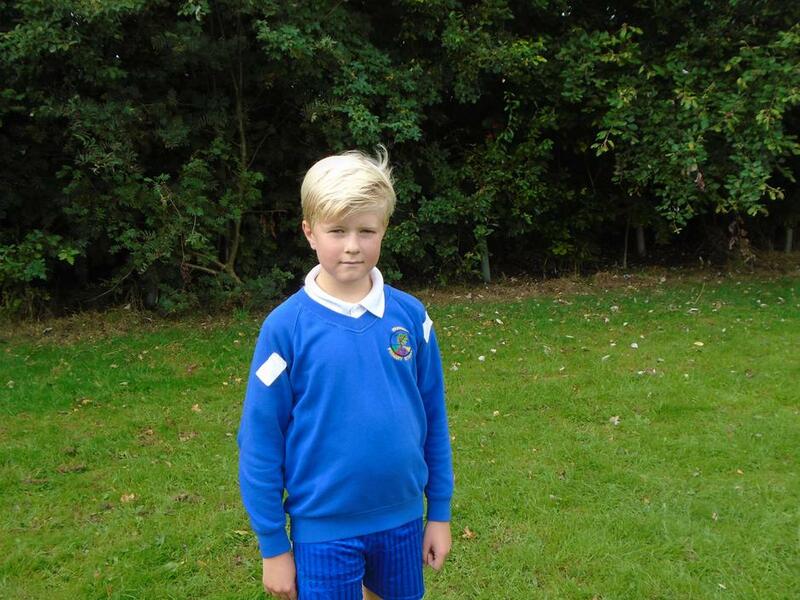 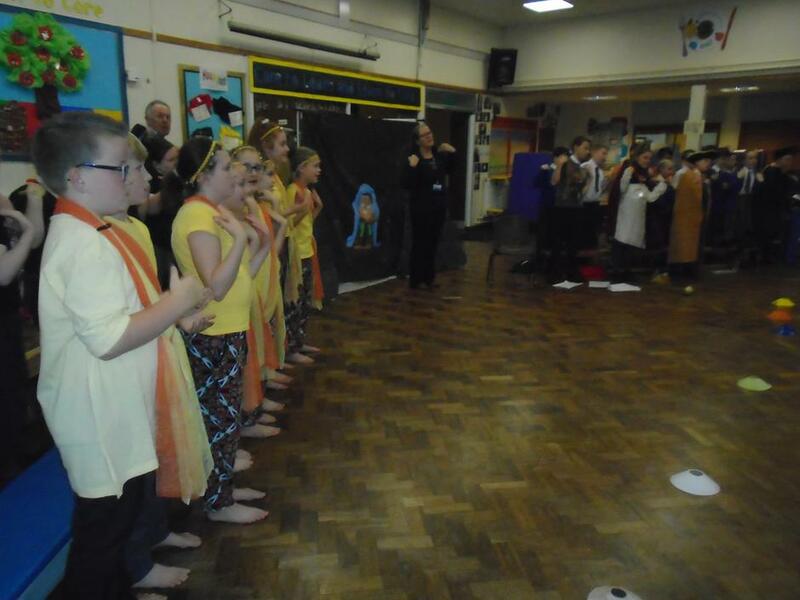 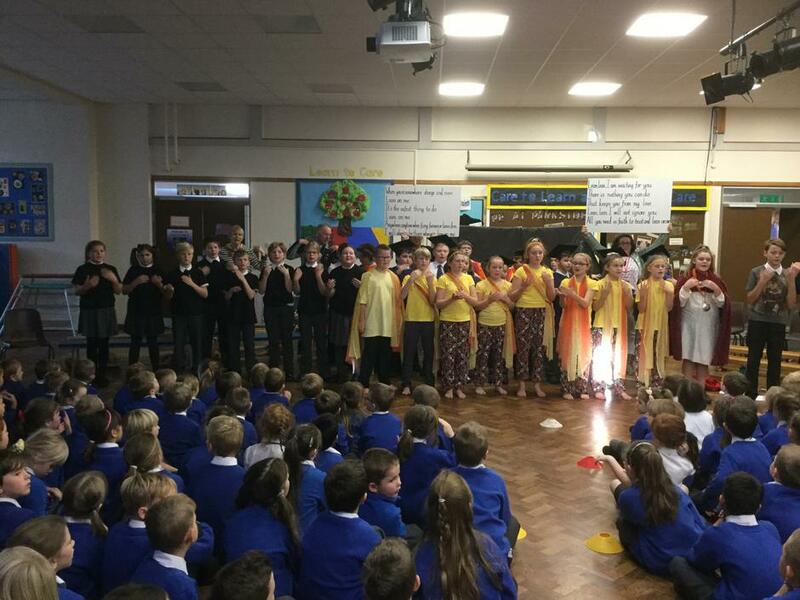 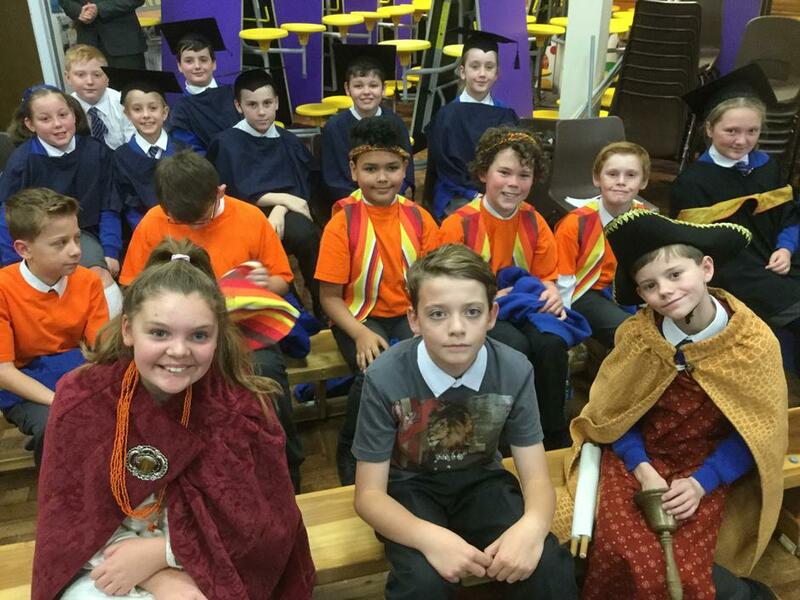 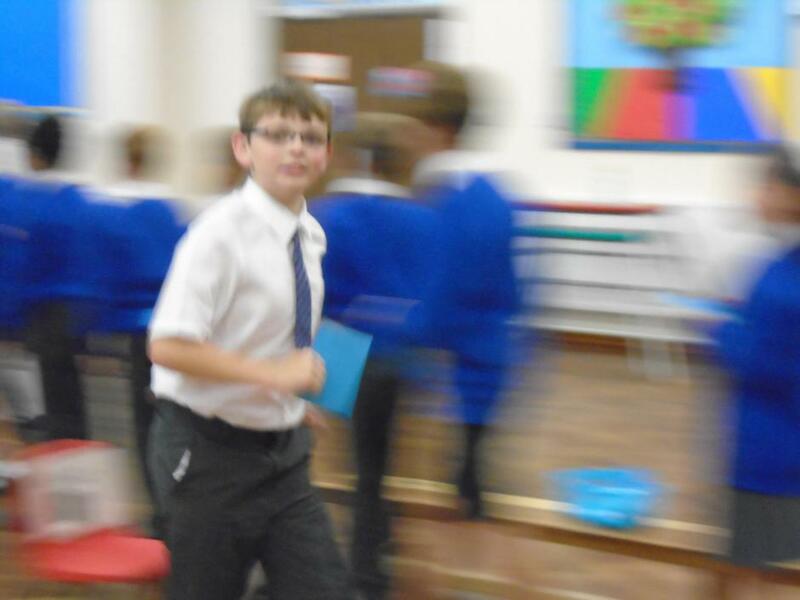 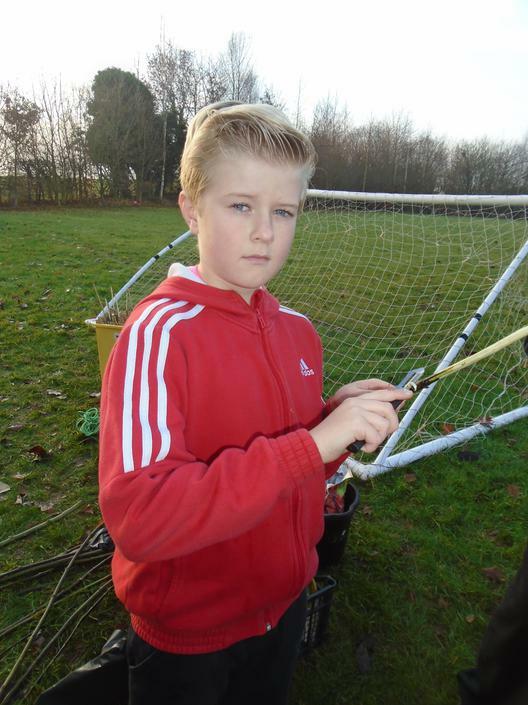 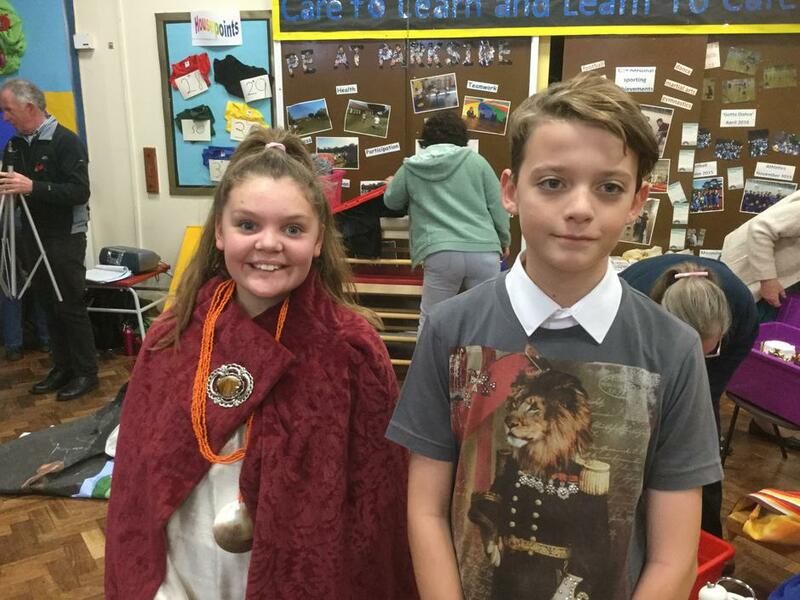 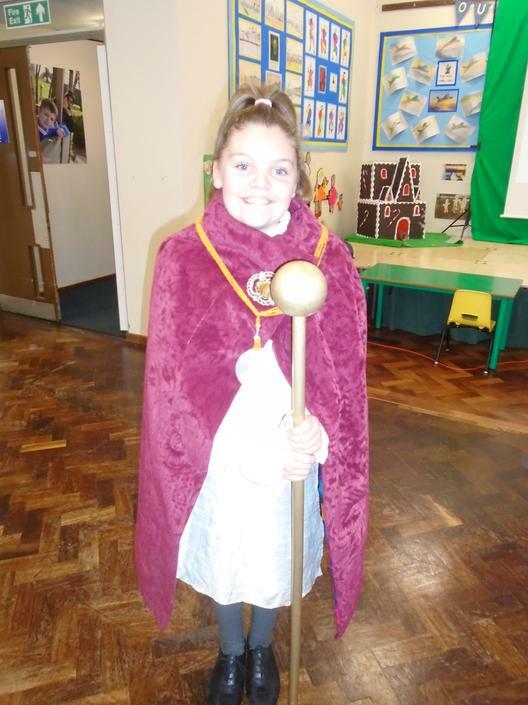 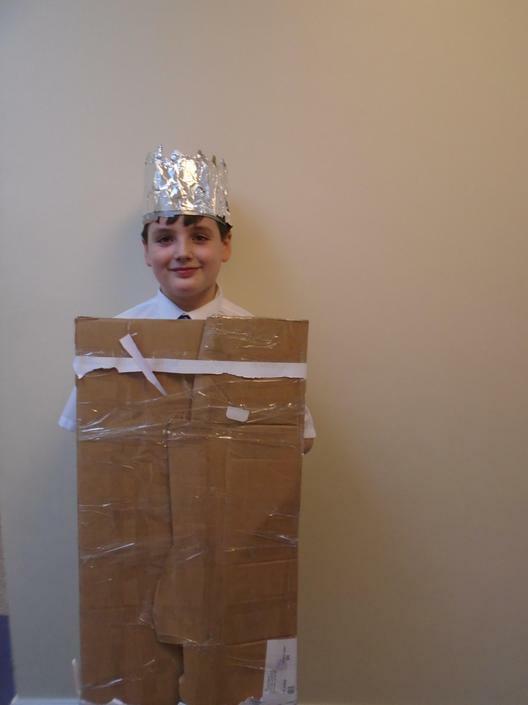 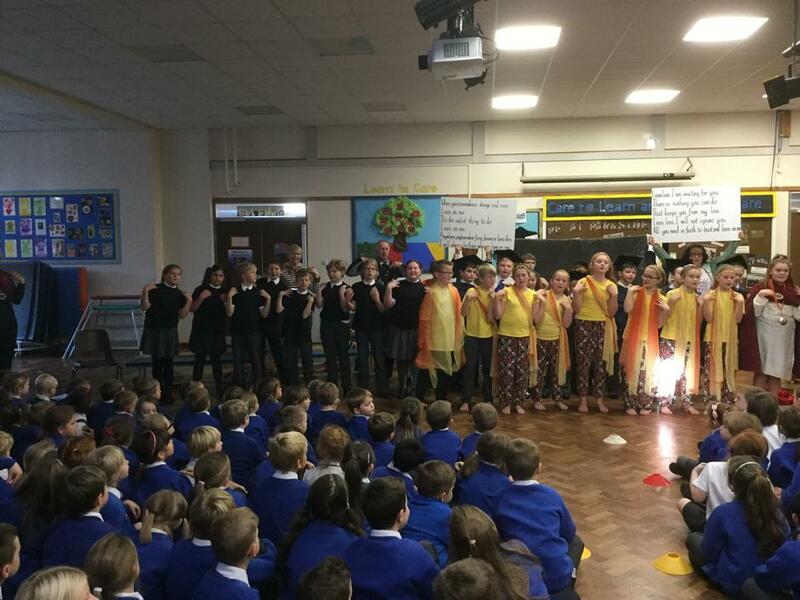 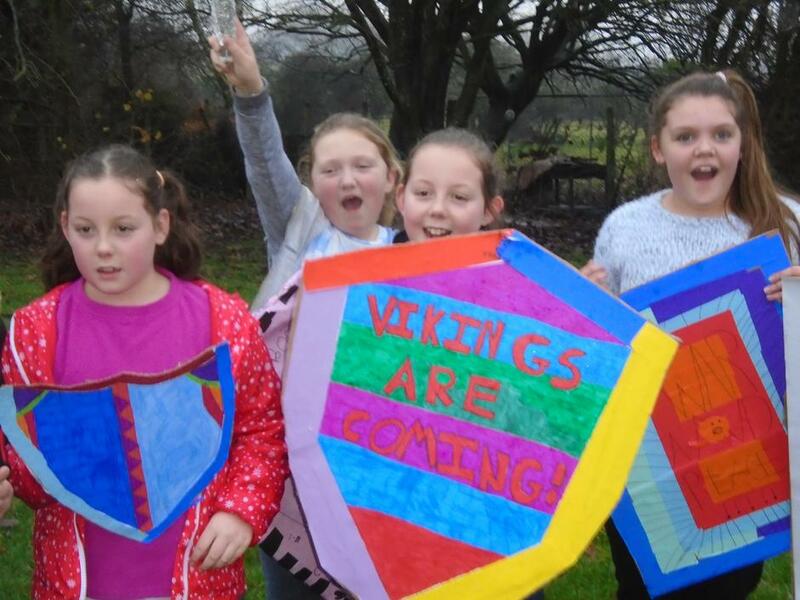 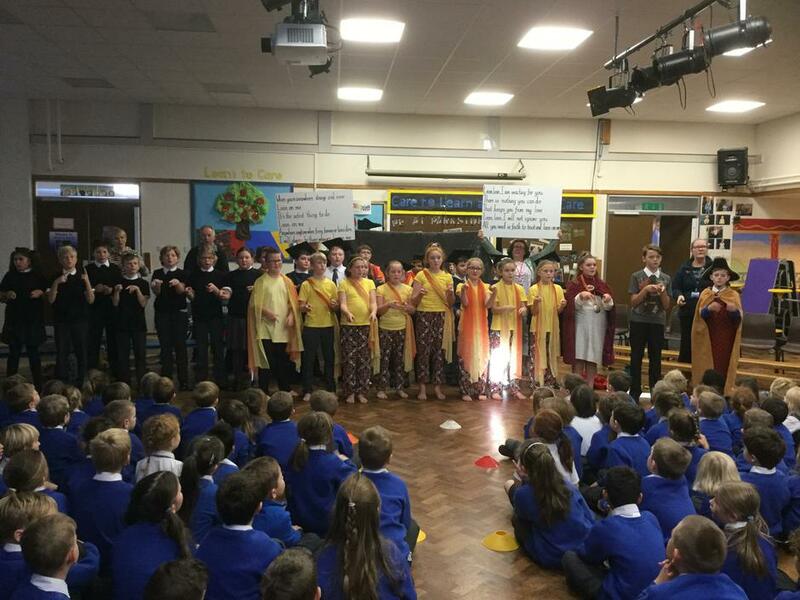 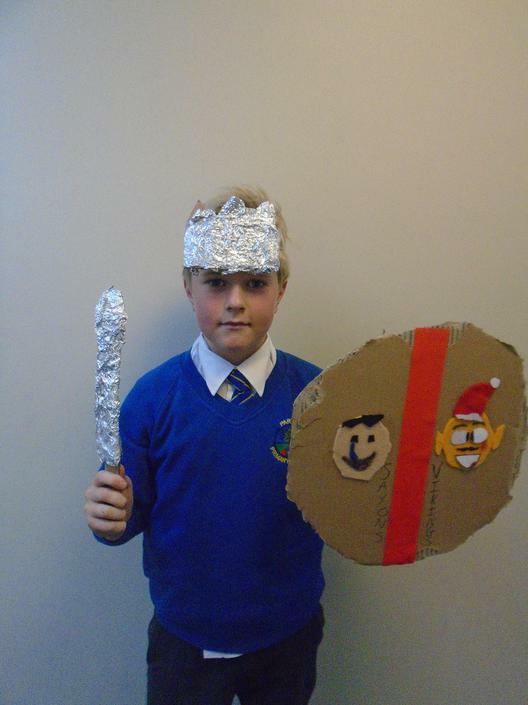 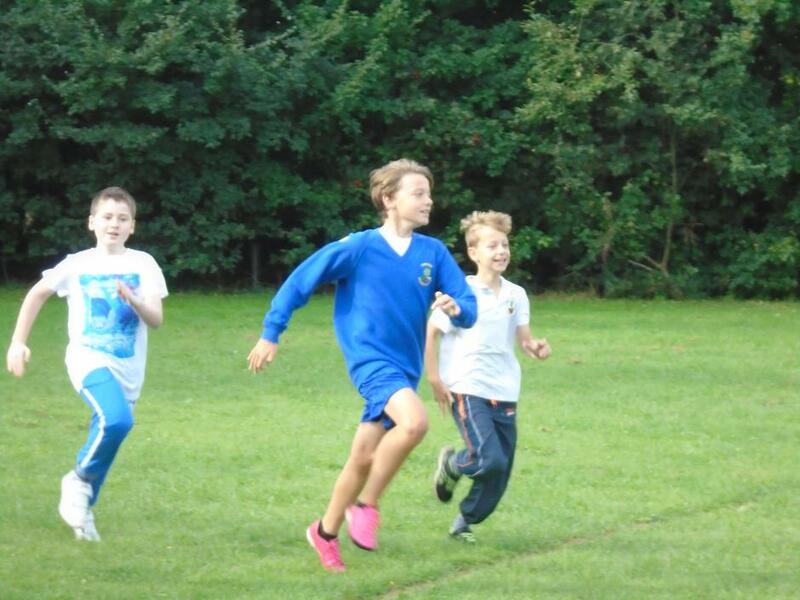 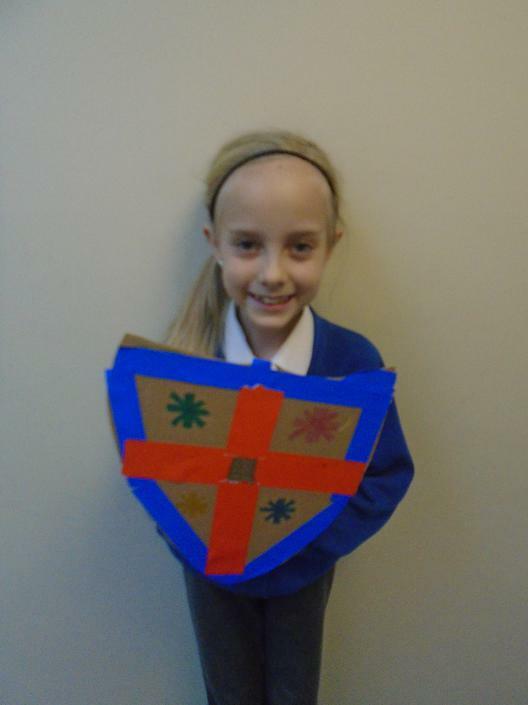 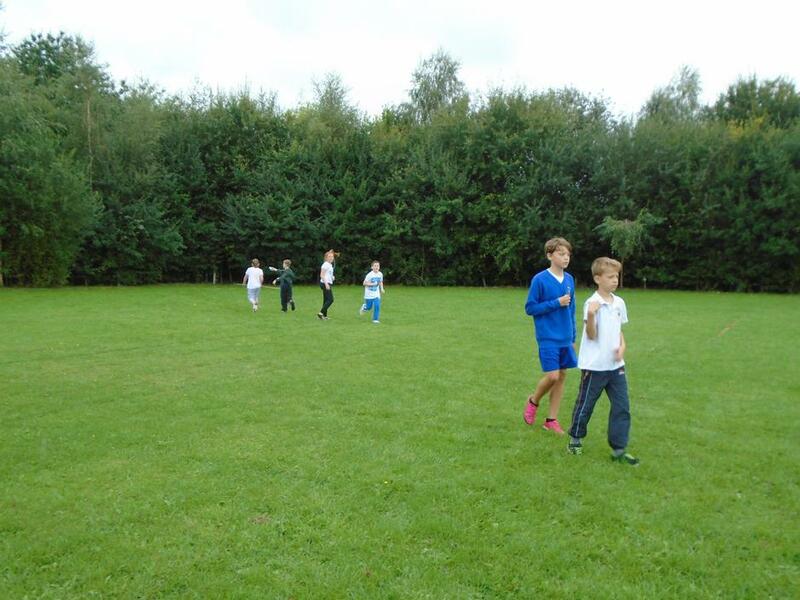 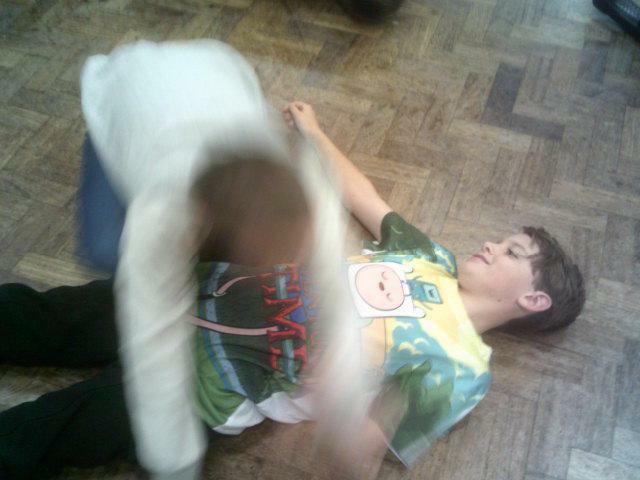 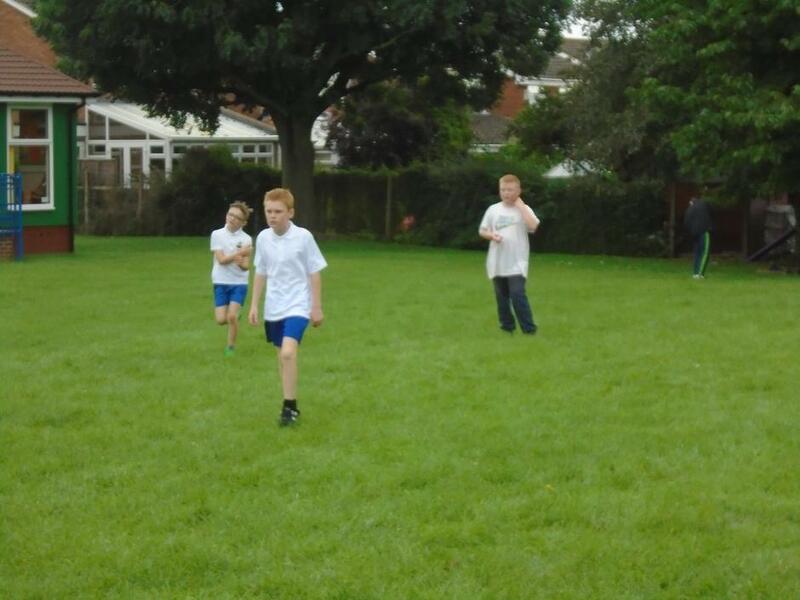 On Tuesday 13th December, in true warrior style, the Y6 Vikings took on the Y5 Anglo-Saxons! 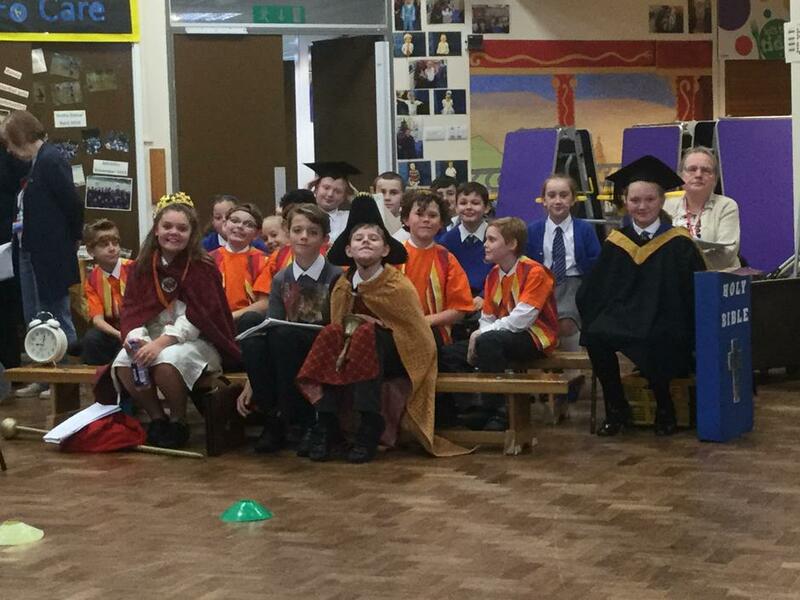 A great time was had by all - and yes, once again the Vikings were victorious!!! 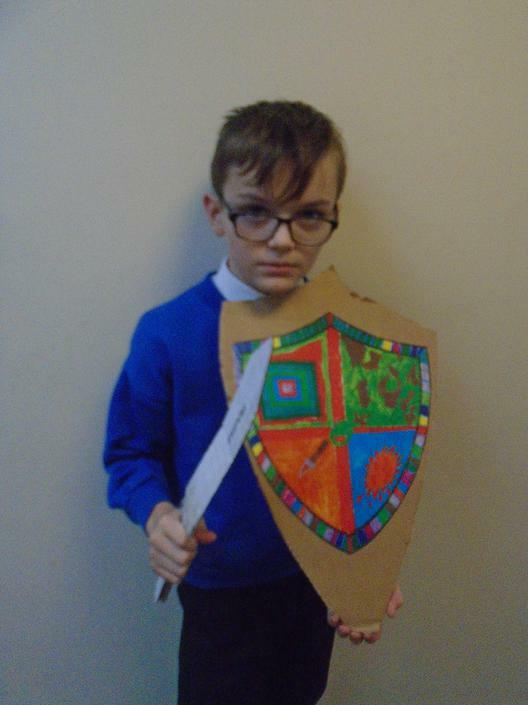 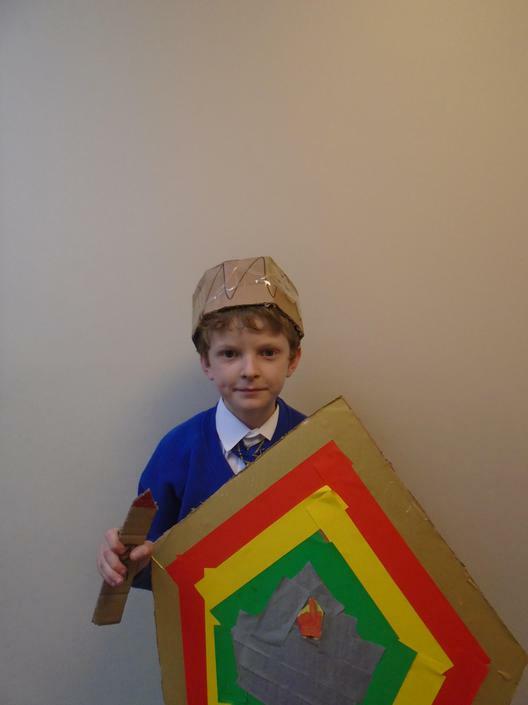 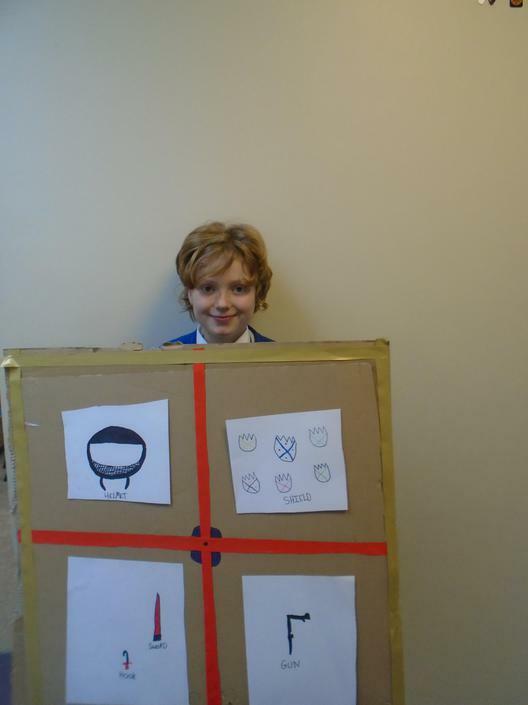 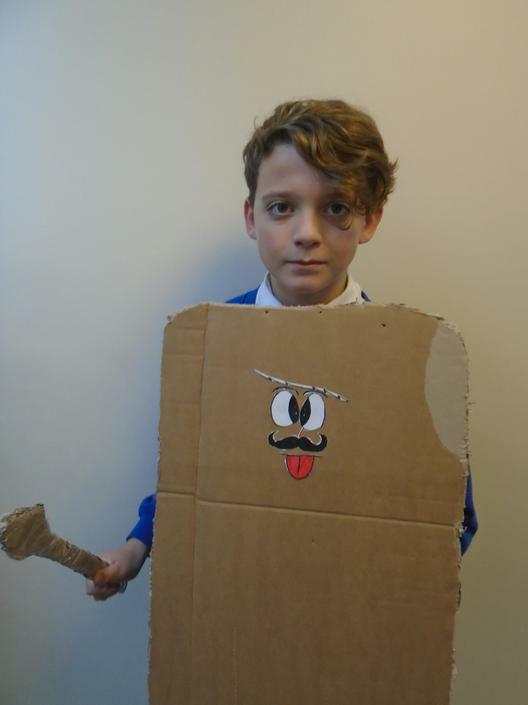 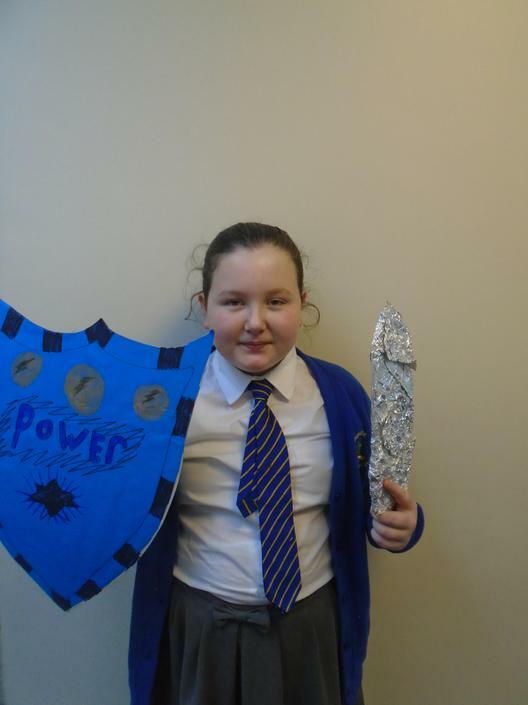 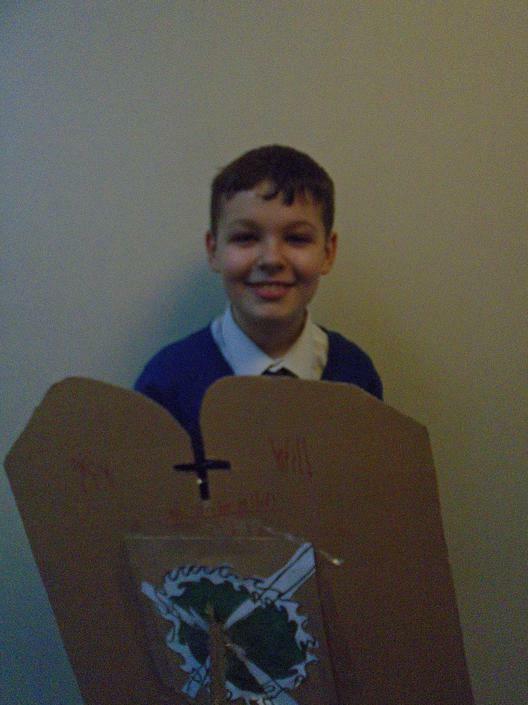 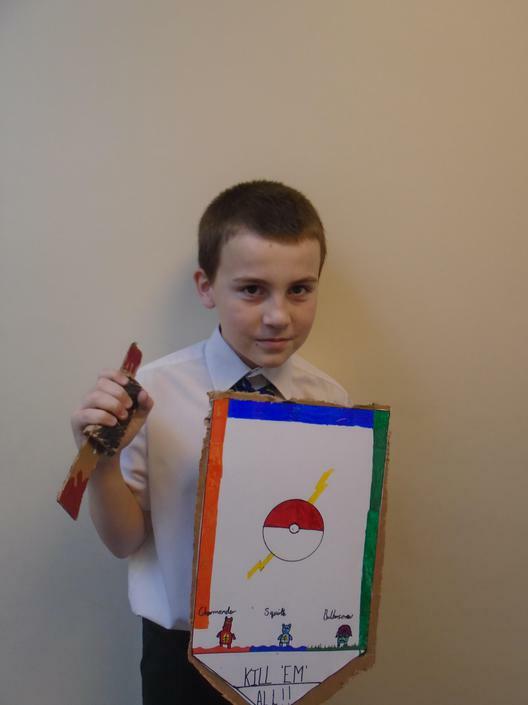 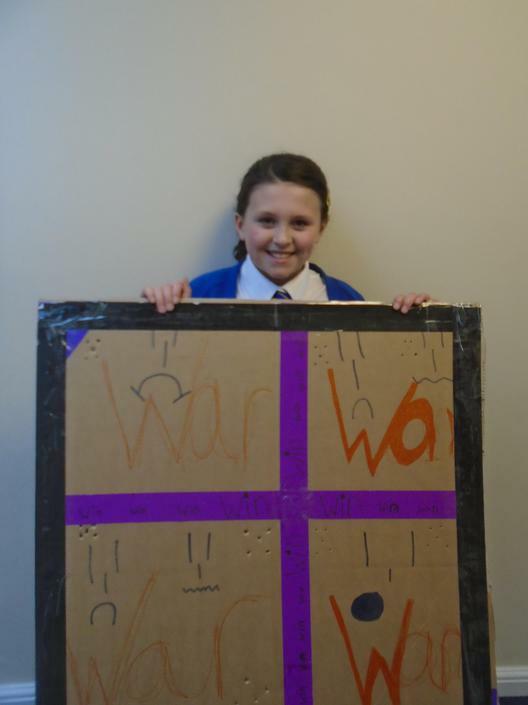 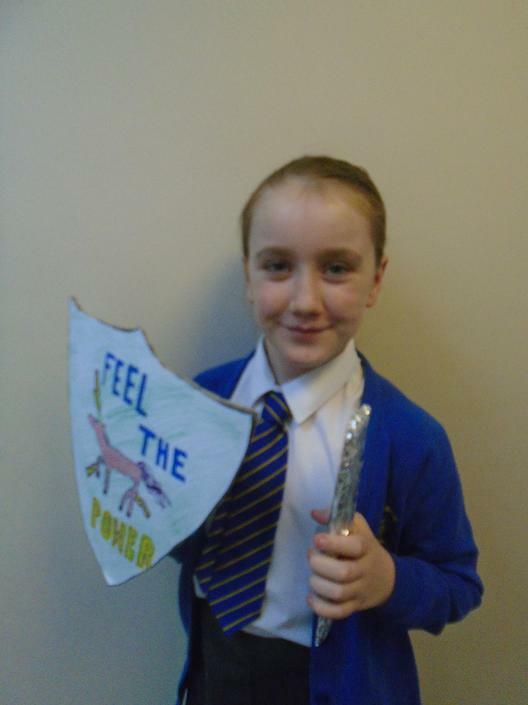 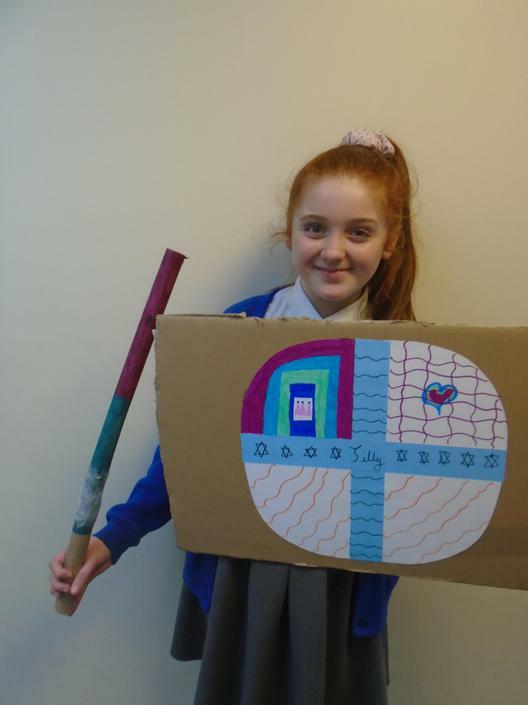 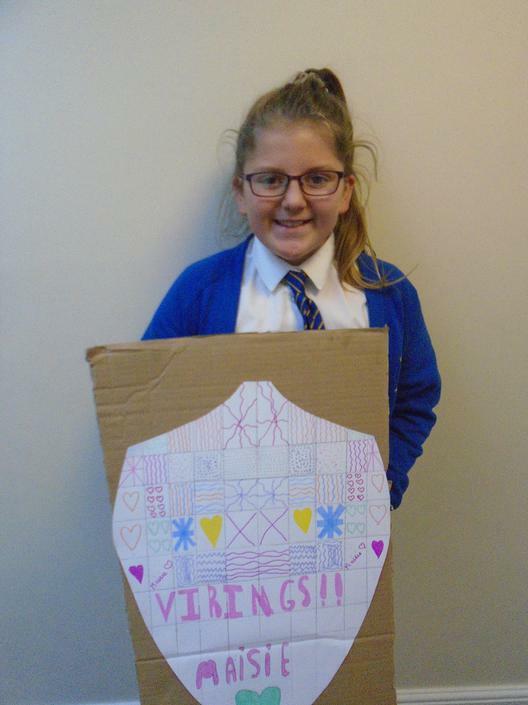 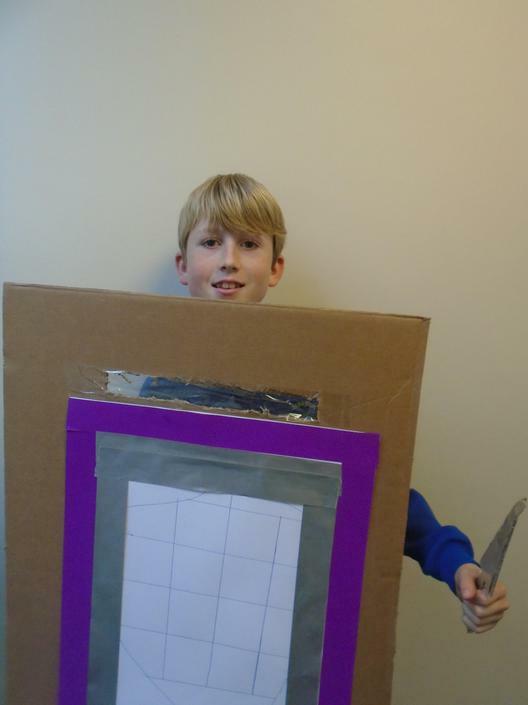 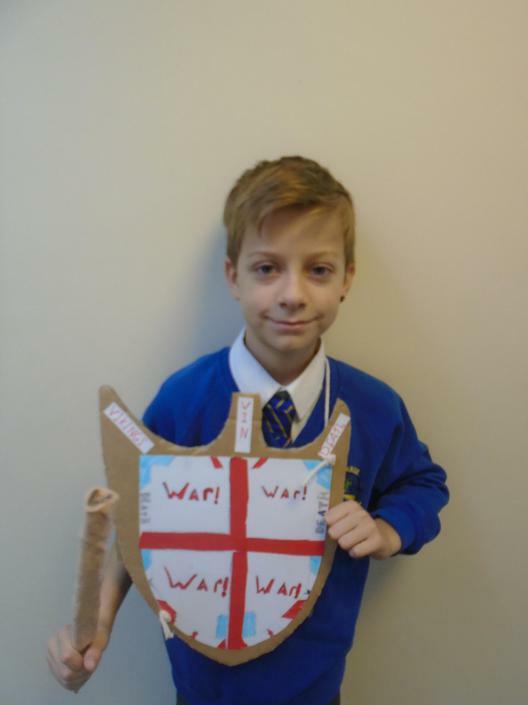 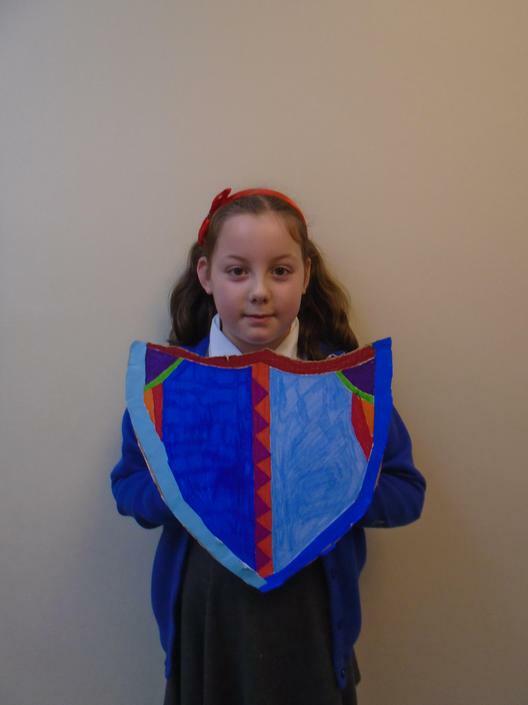 Year Six had a great day today making their Viking Shields ready for their battle against the Year Five Anglo-Saxons next week! 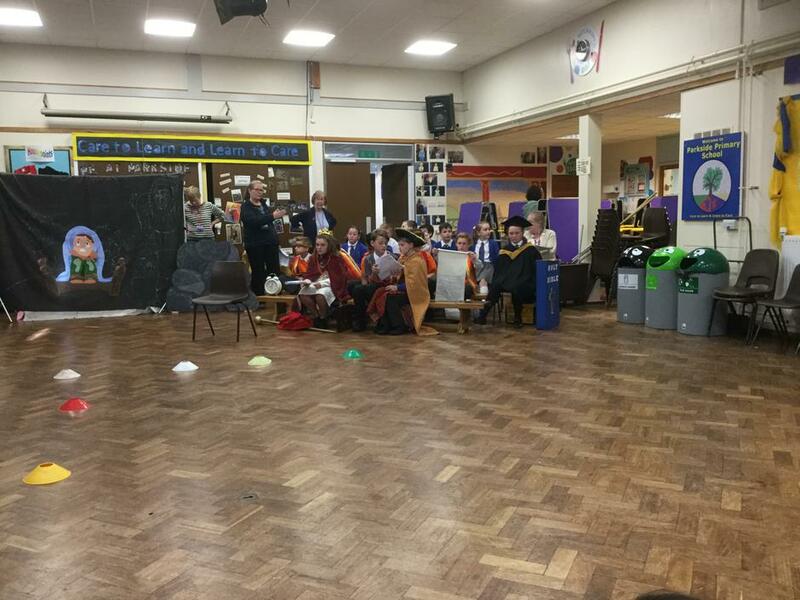 What a fantastic afternoon we had last Friday! 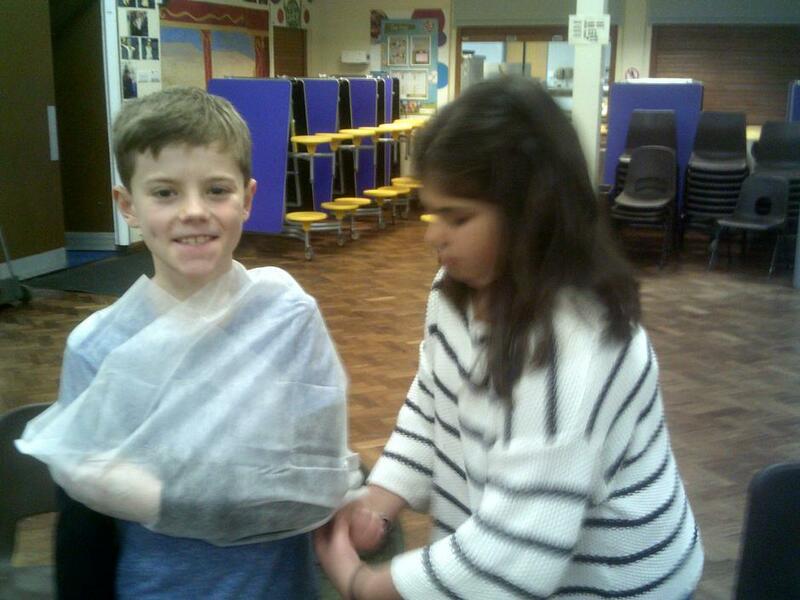 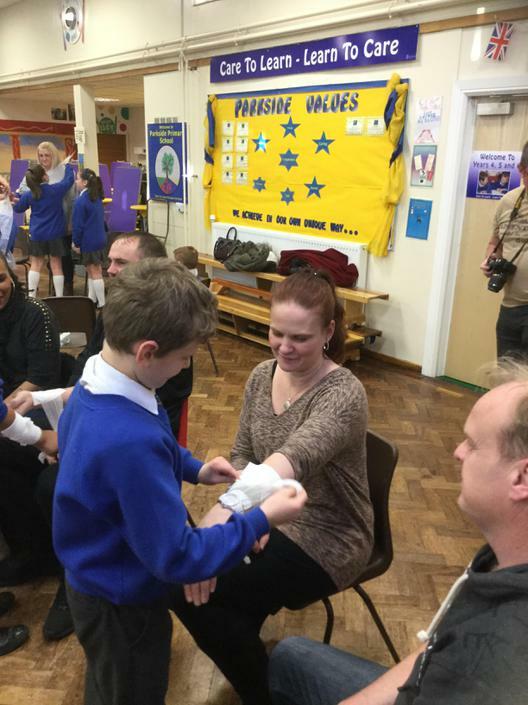 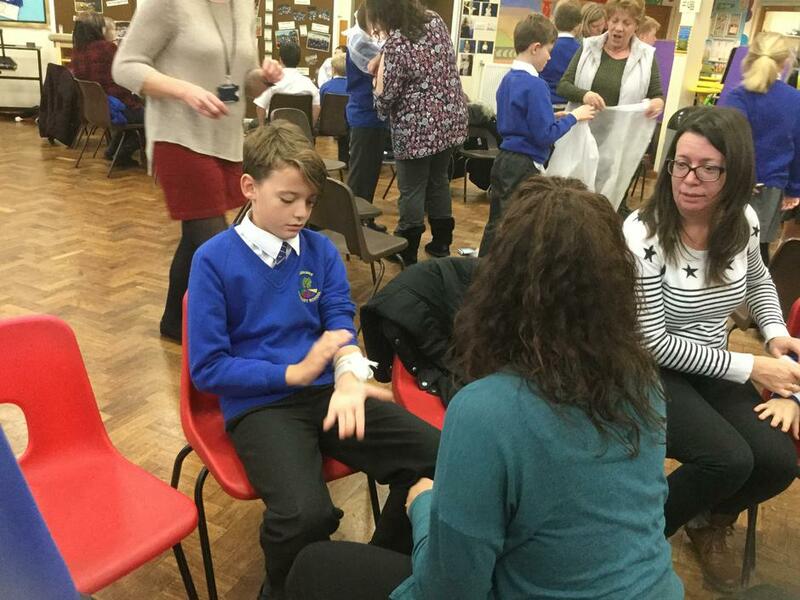 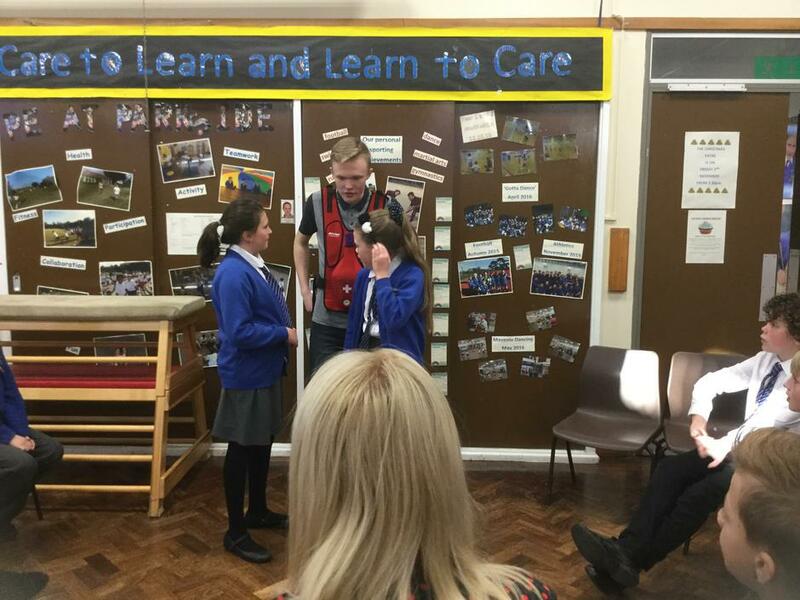 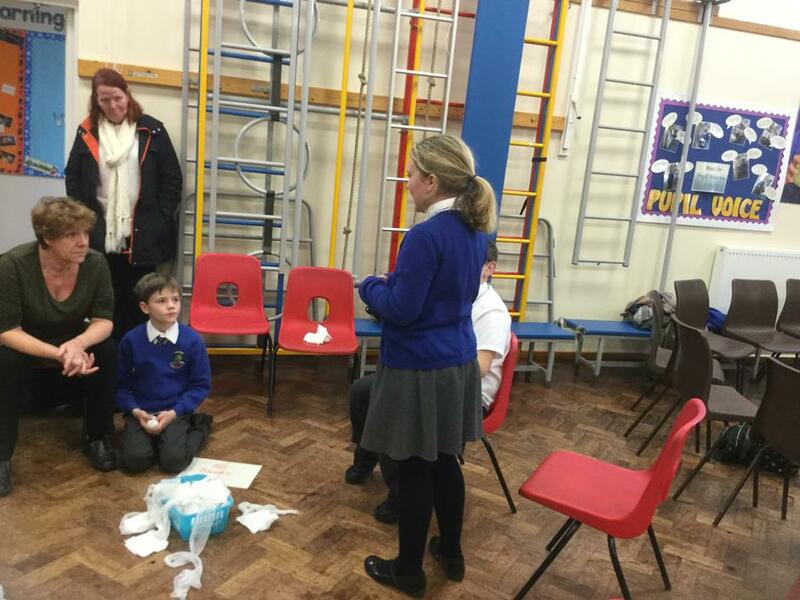 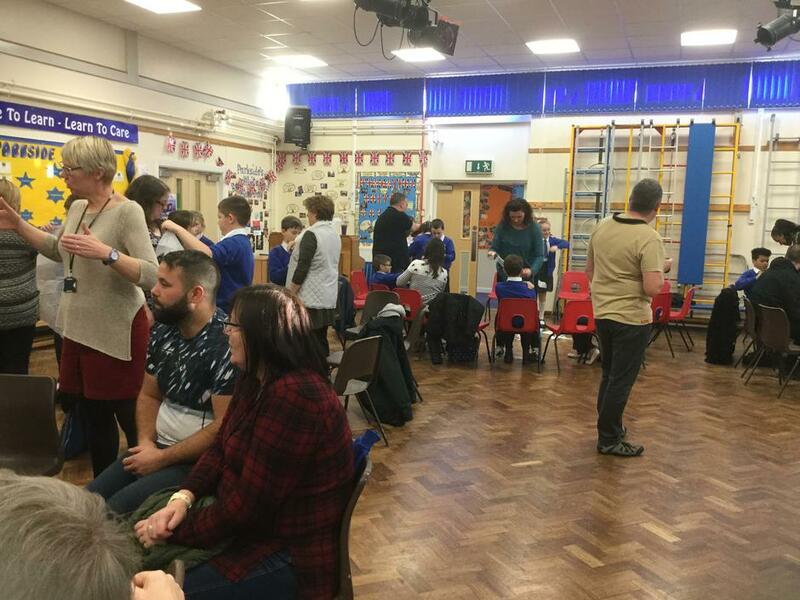 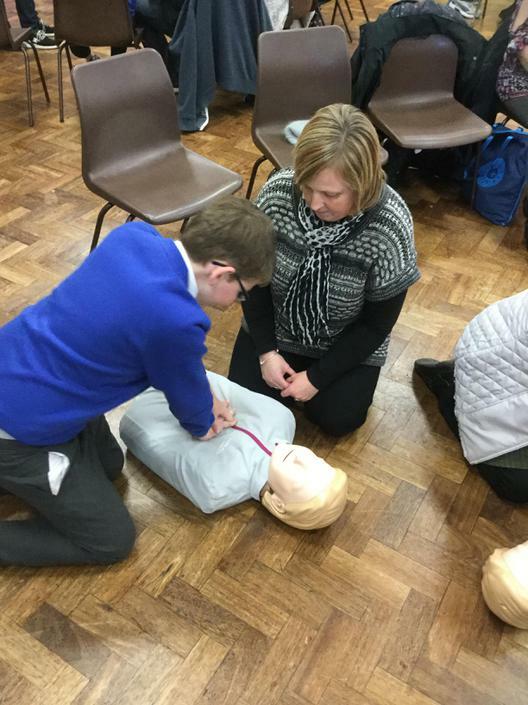 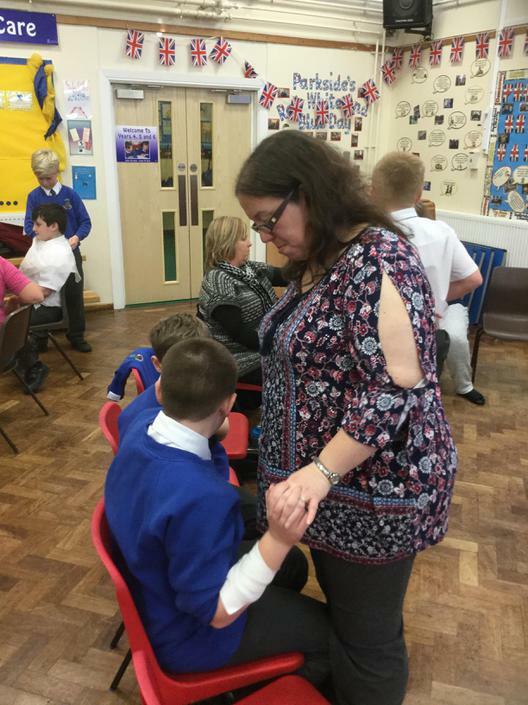 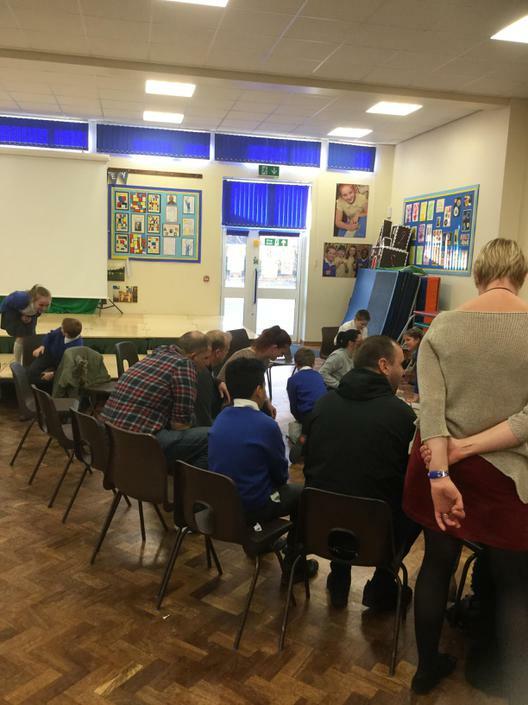 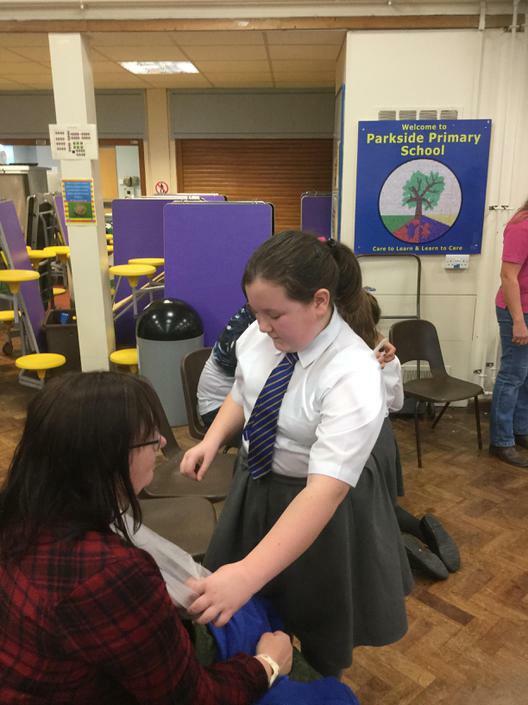 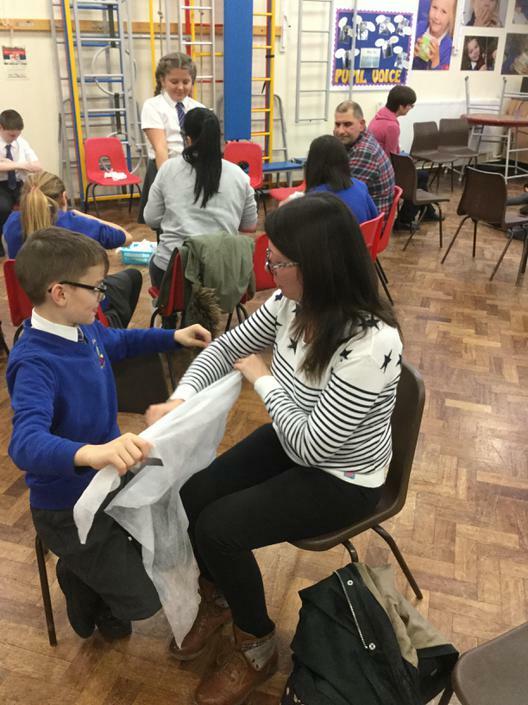 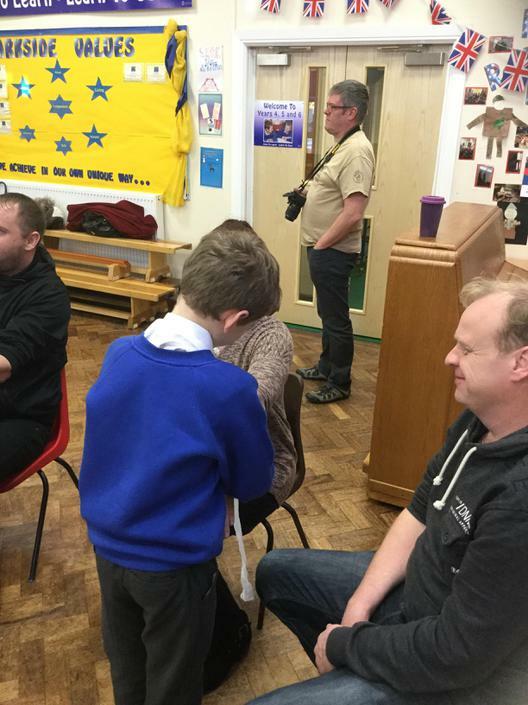 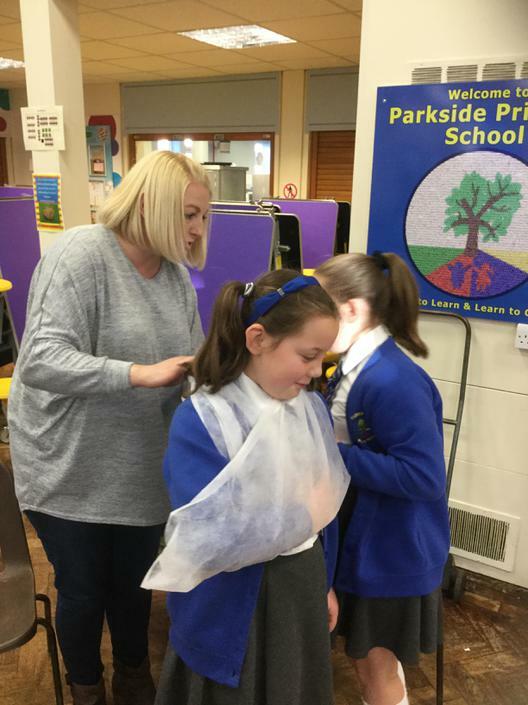 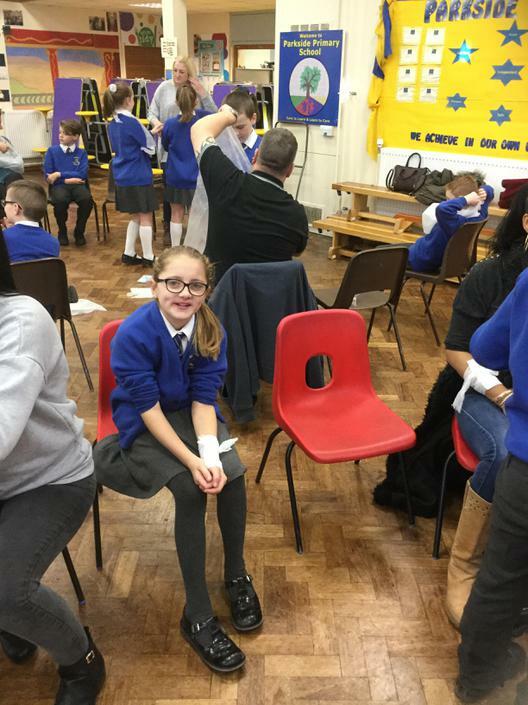 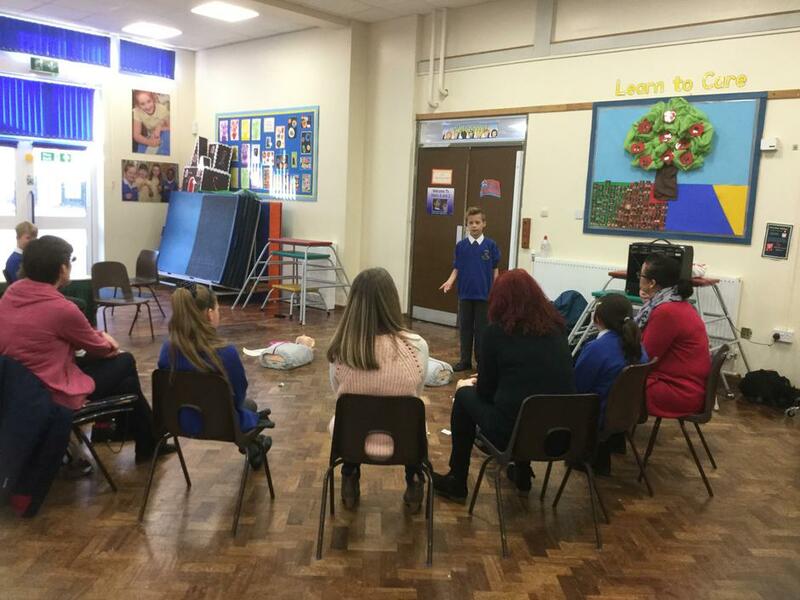 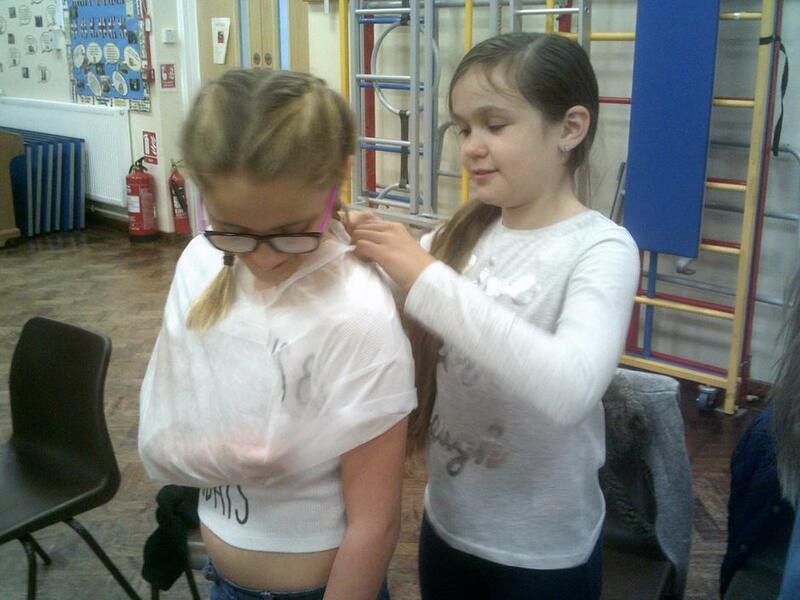 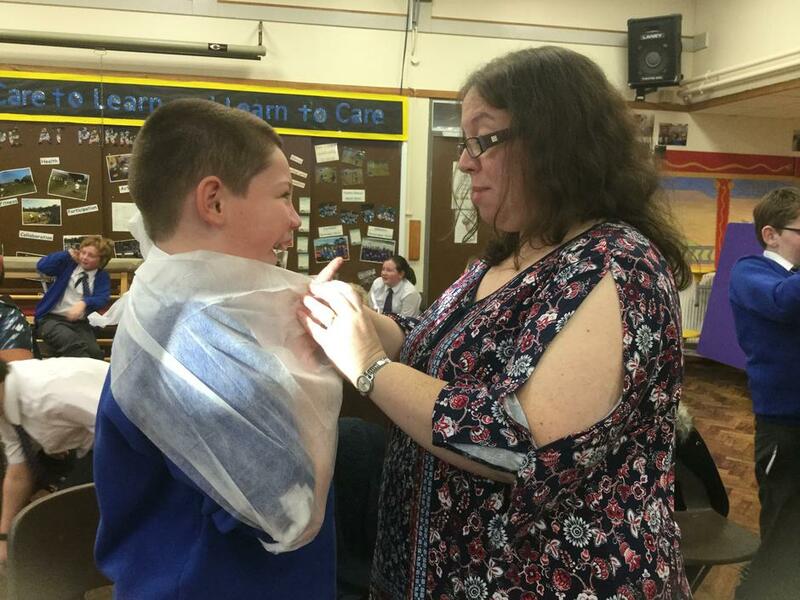 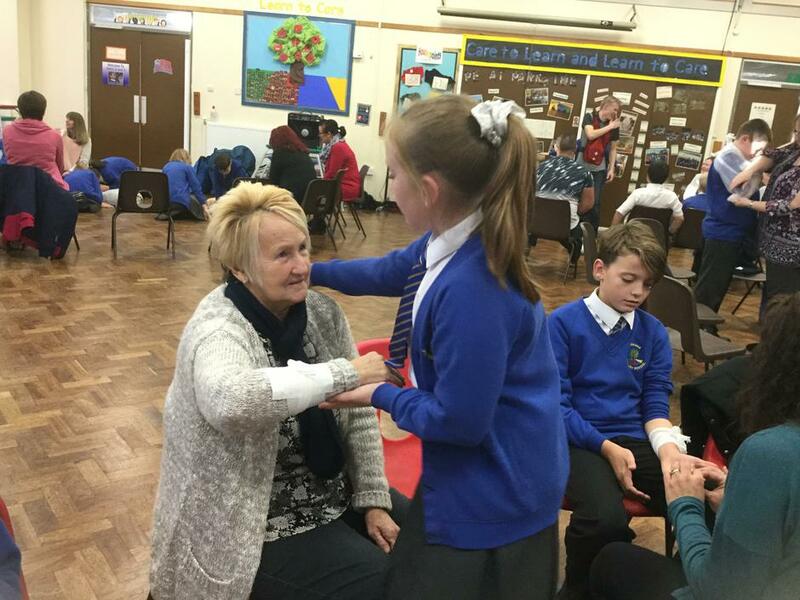 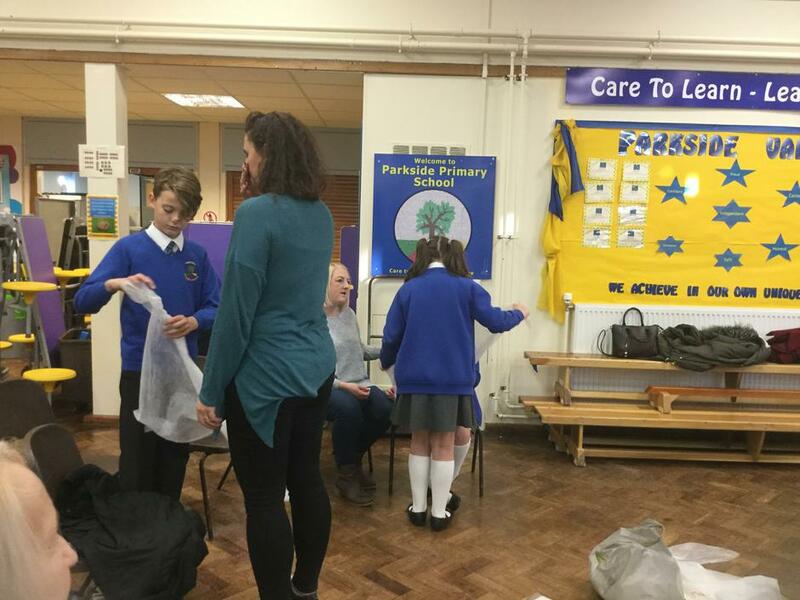 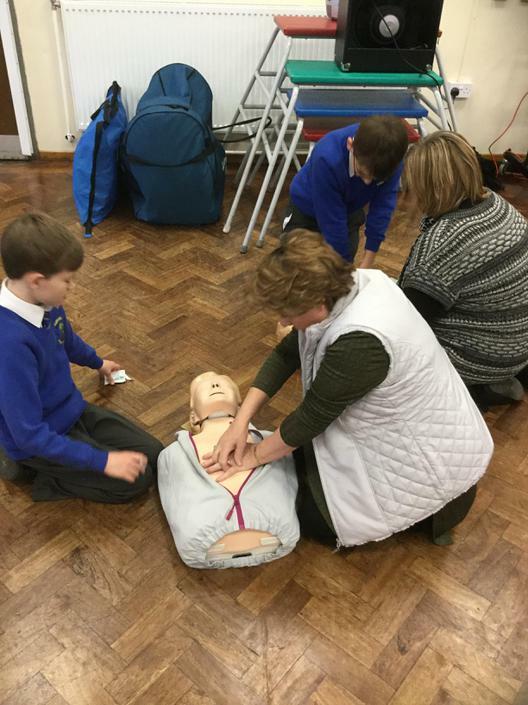 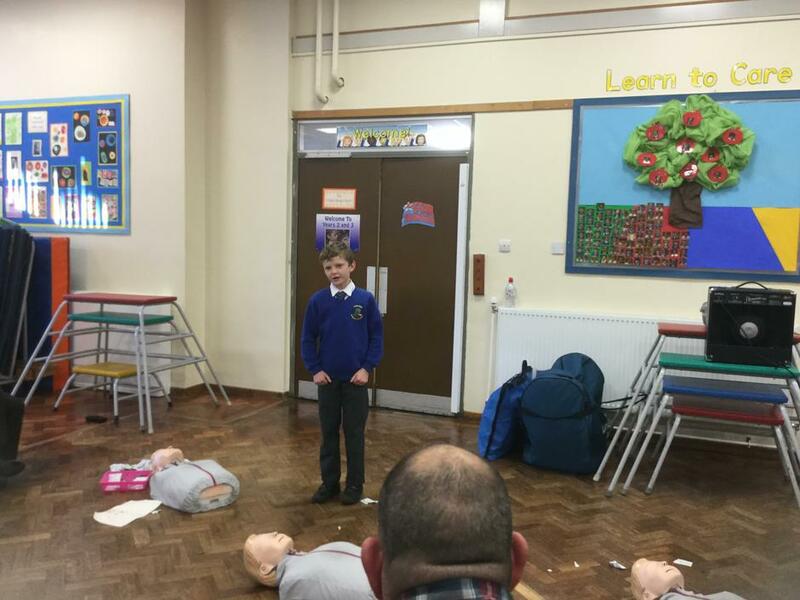 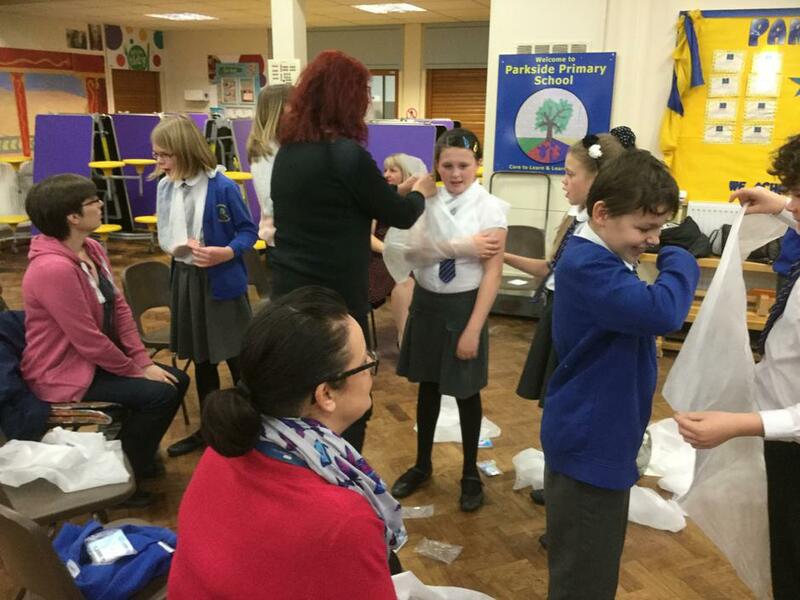 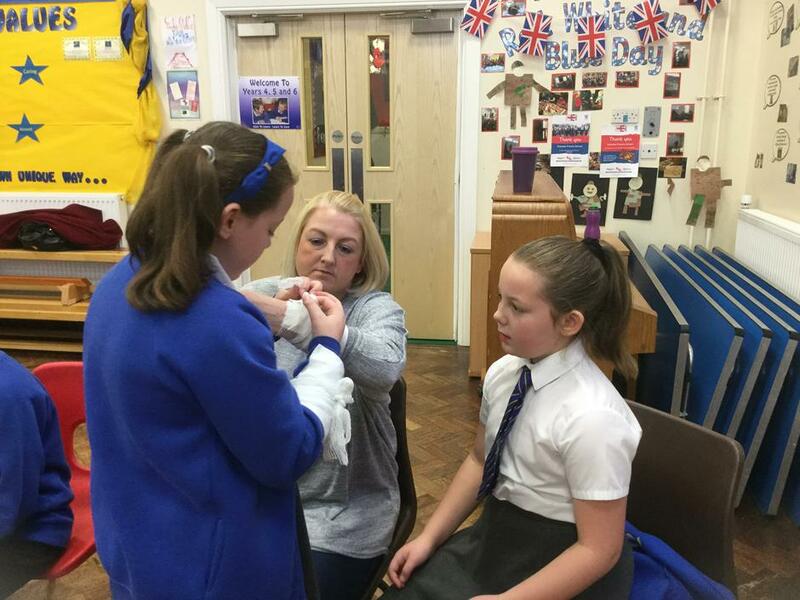 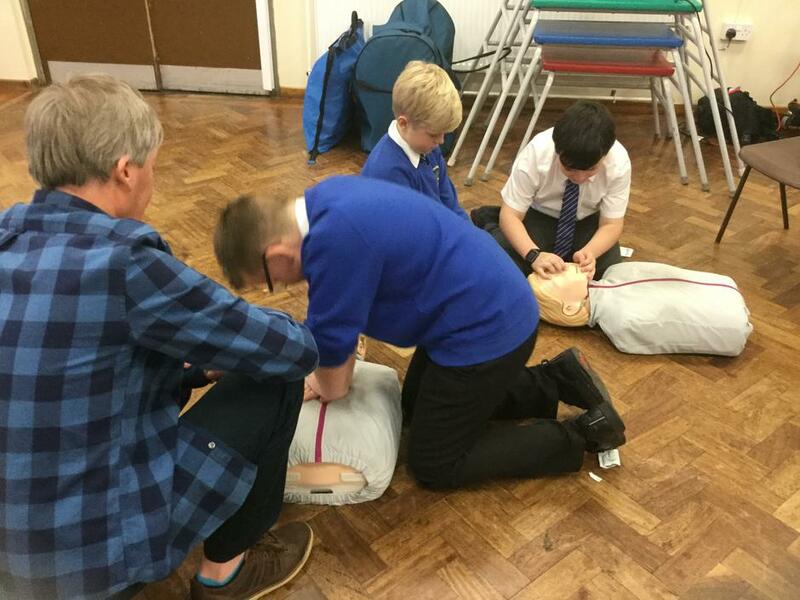 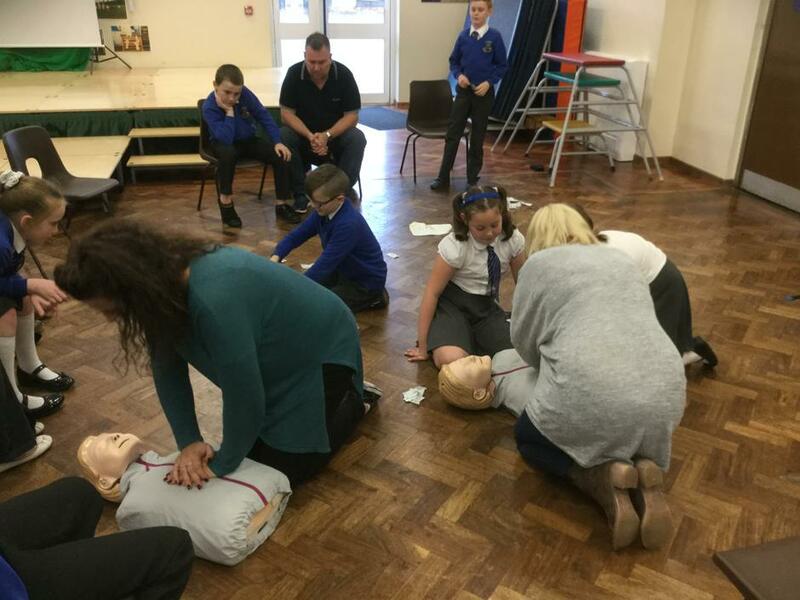 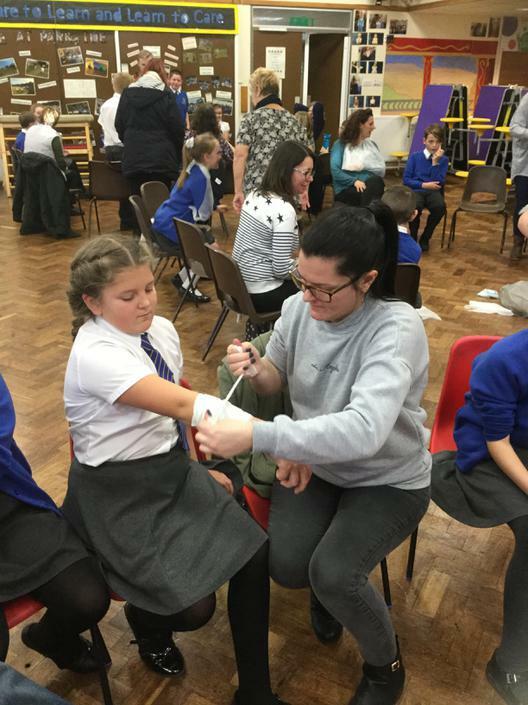 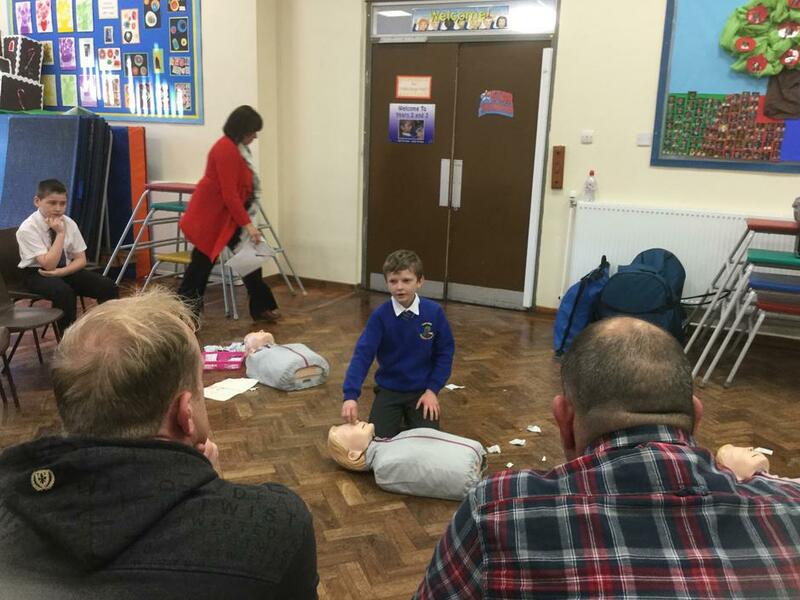 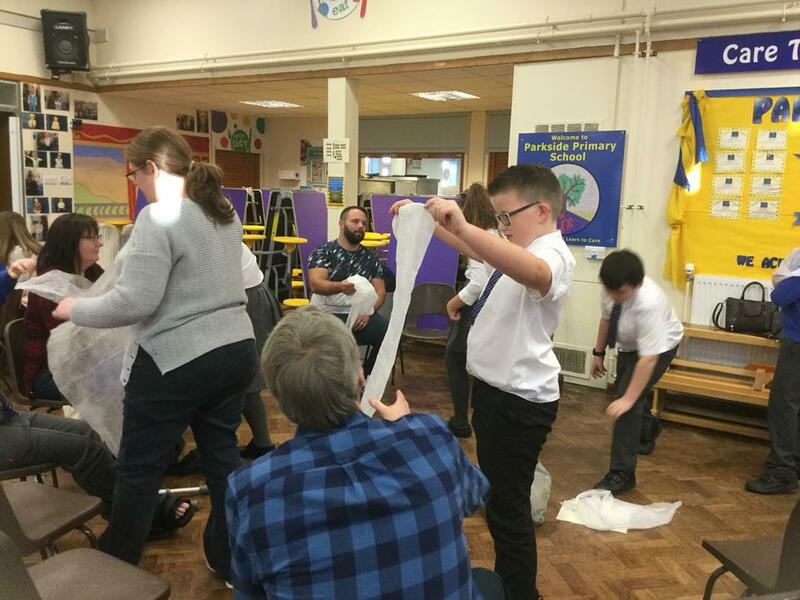 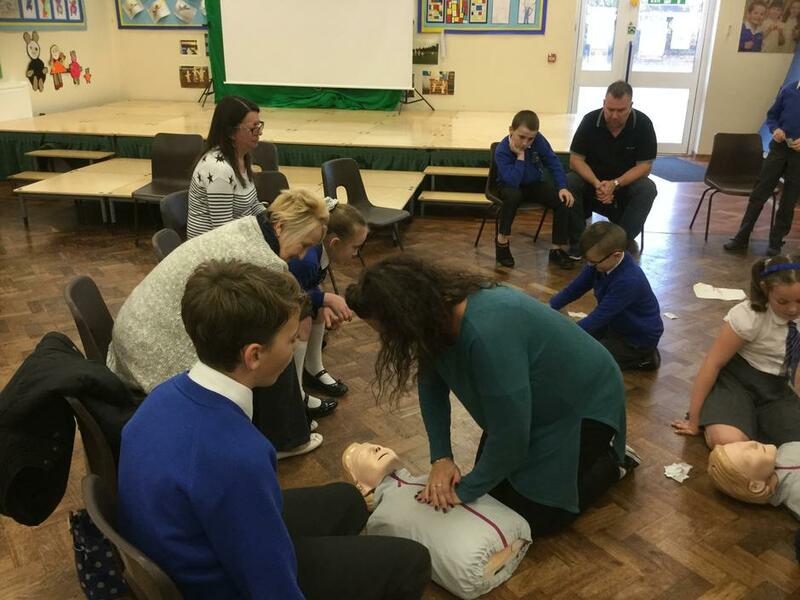 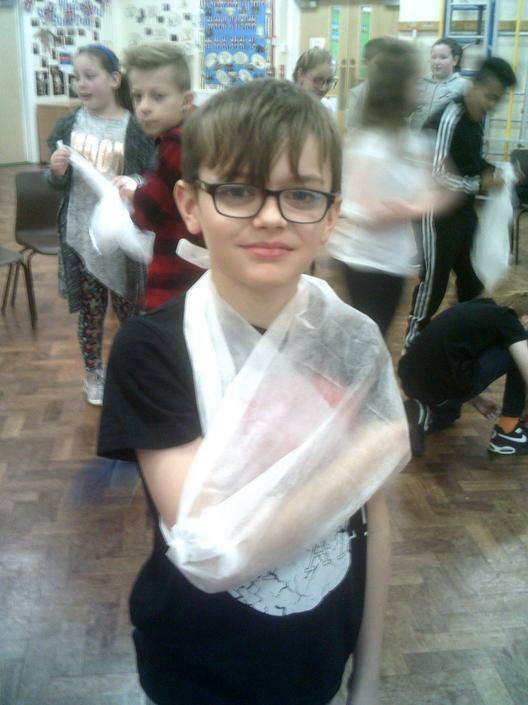 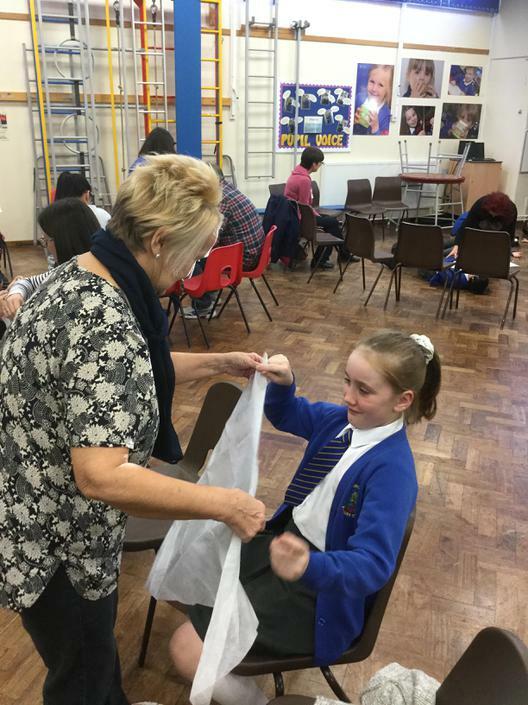 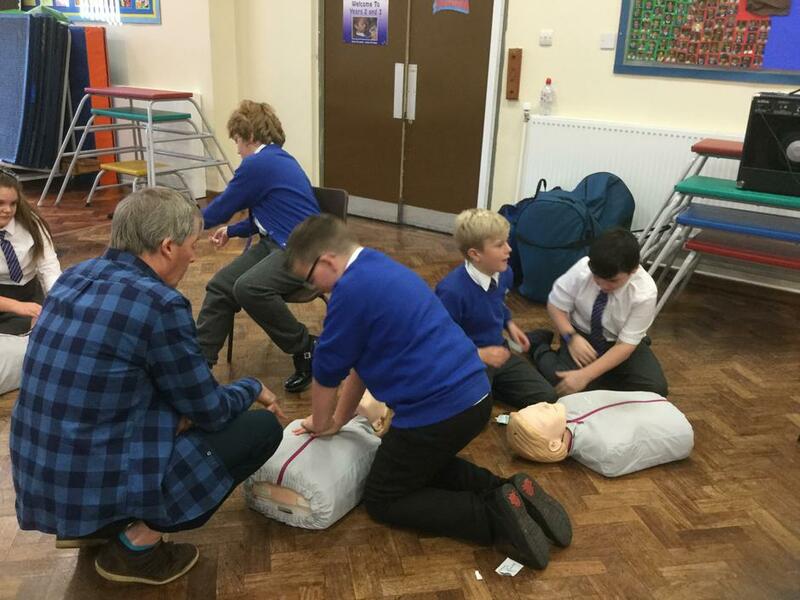 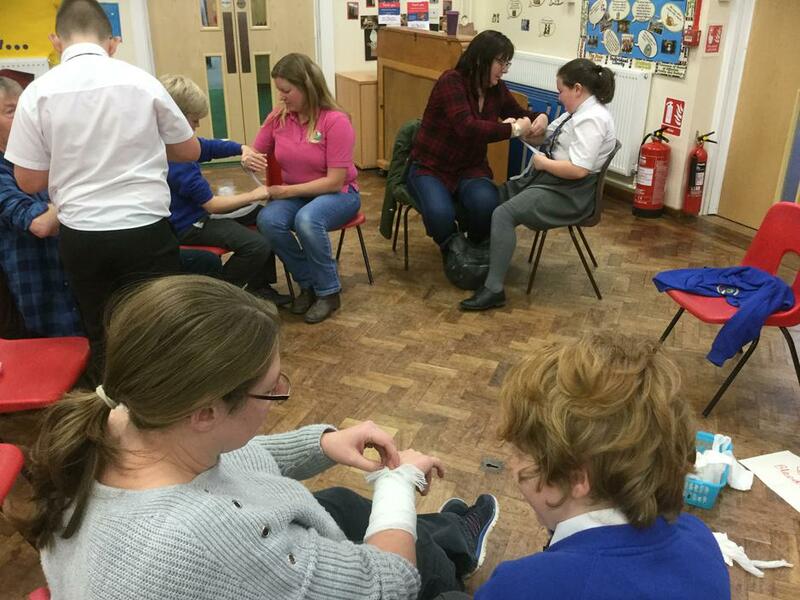 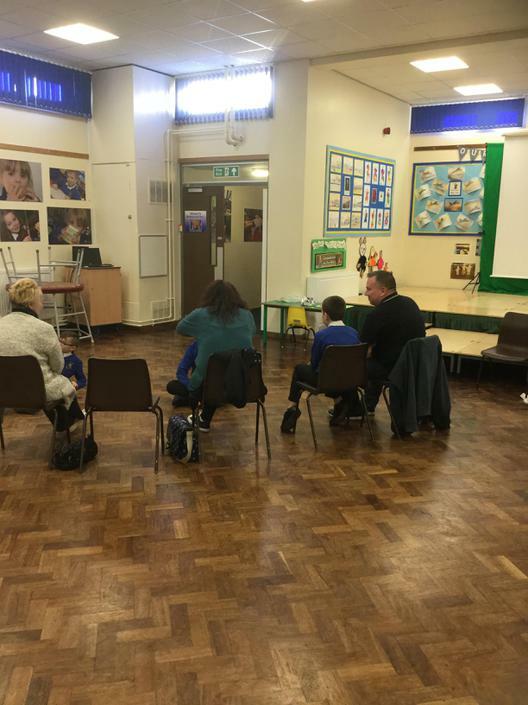 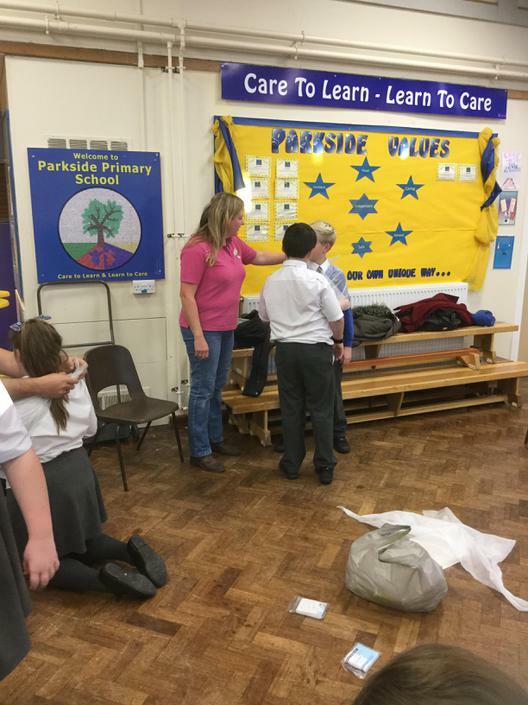 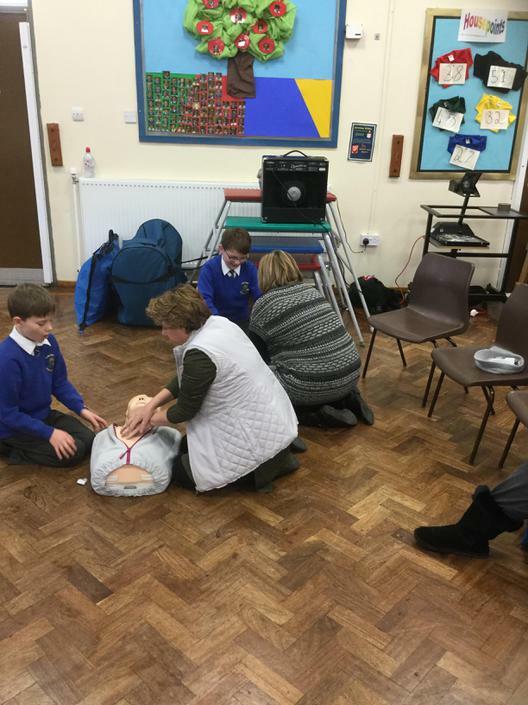 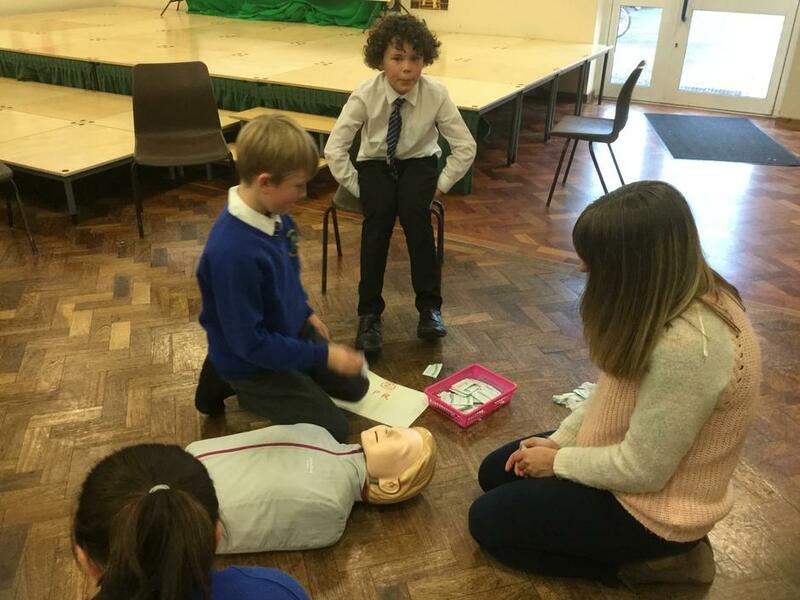 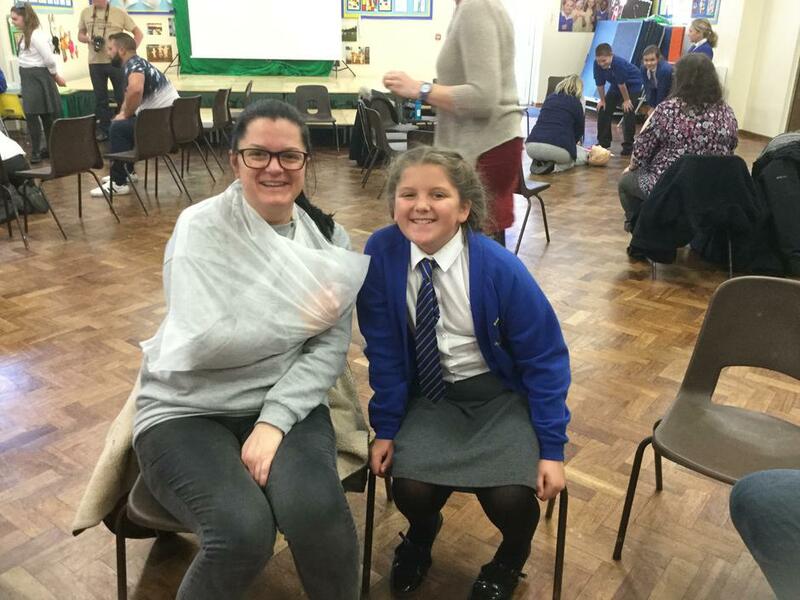 The whole afternoon was led by the Year Six children - who shared all of their knowledge and understanding about basic skills in First Aid, by training their parents! 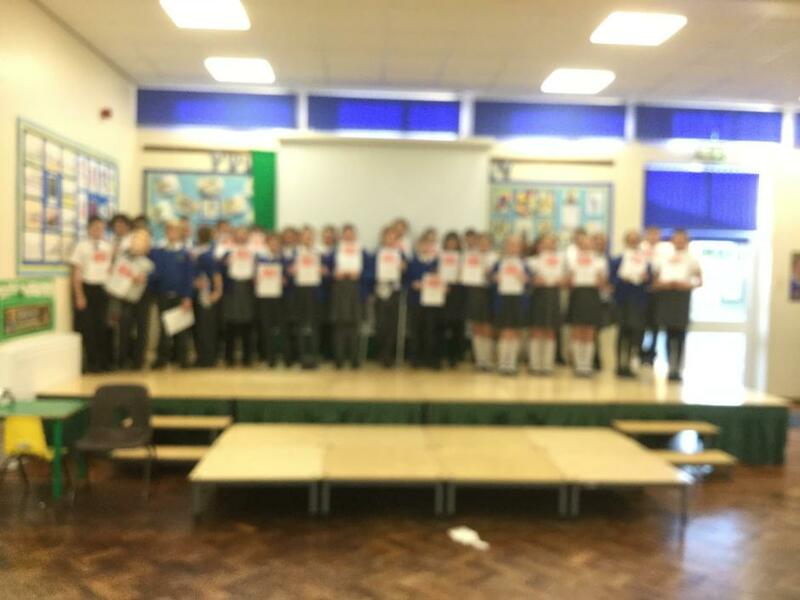 It was absolutely tremendous and I was so very proud of them all! 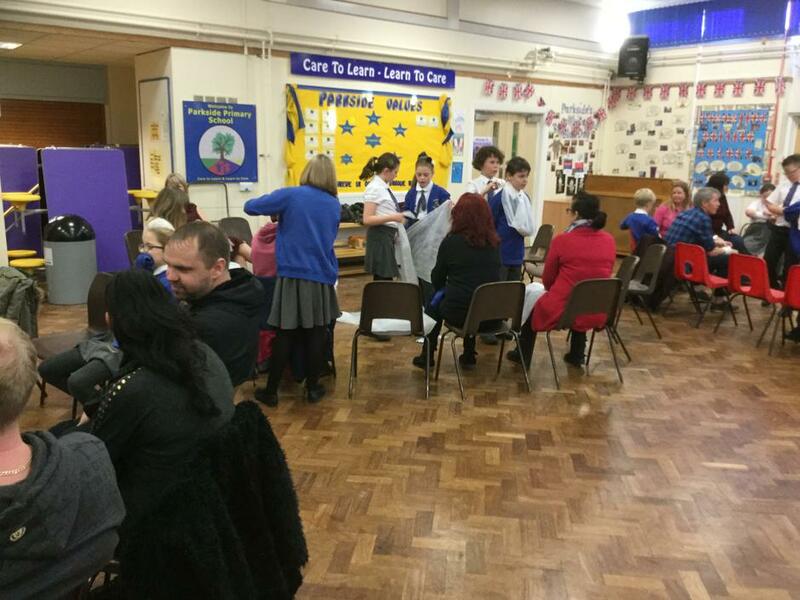 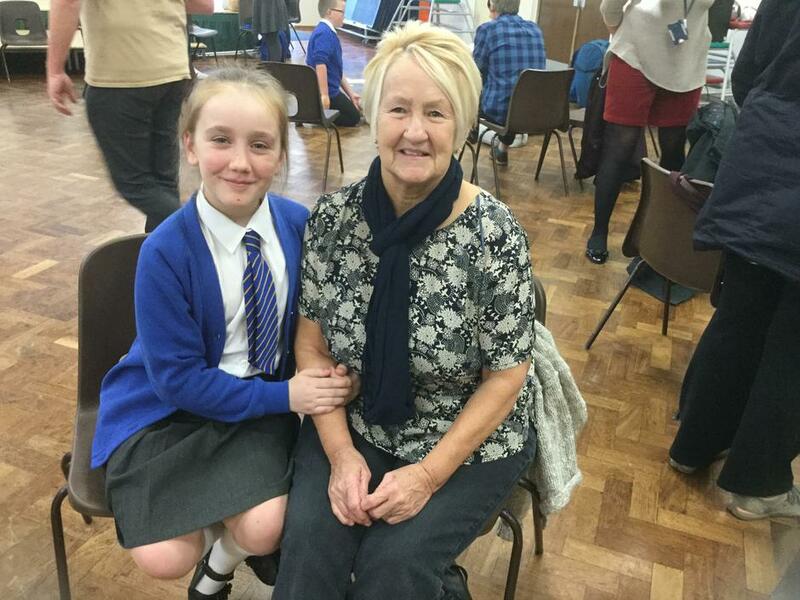 Thank you to all of the parents, grandparents and other family members who came along to this innovative afternoon! 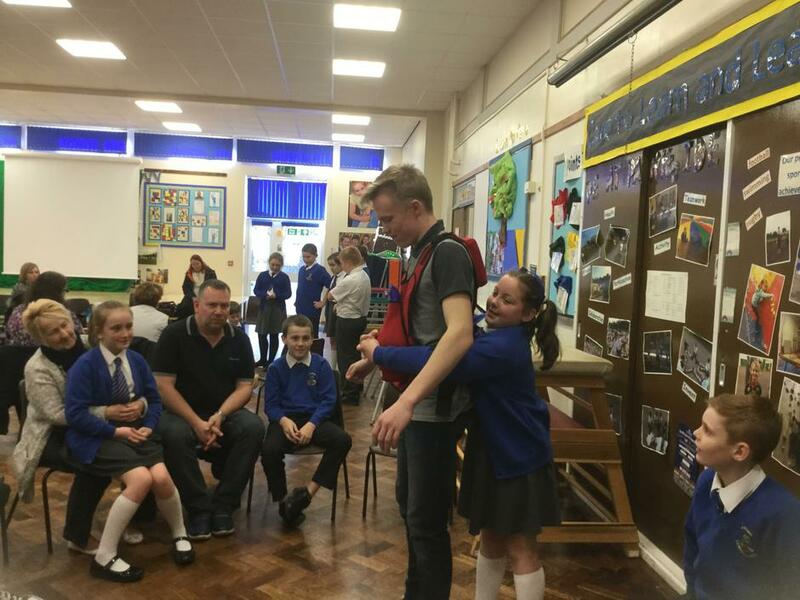 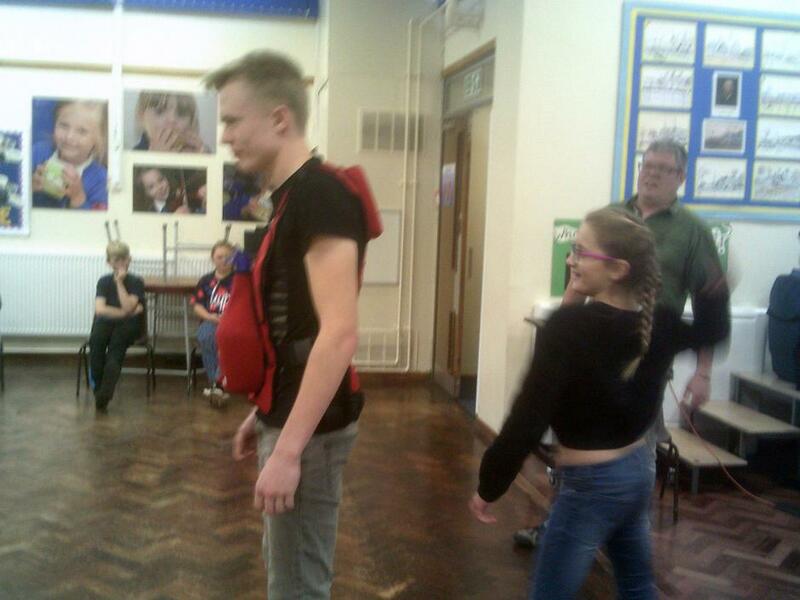 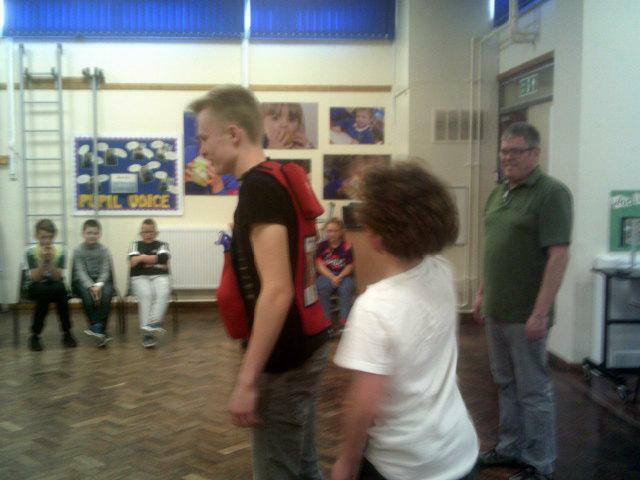 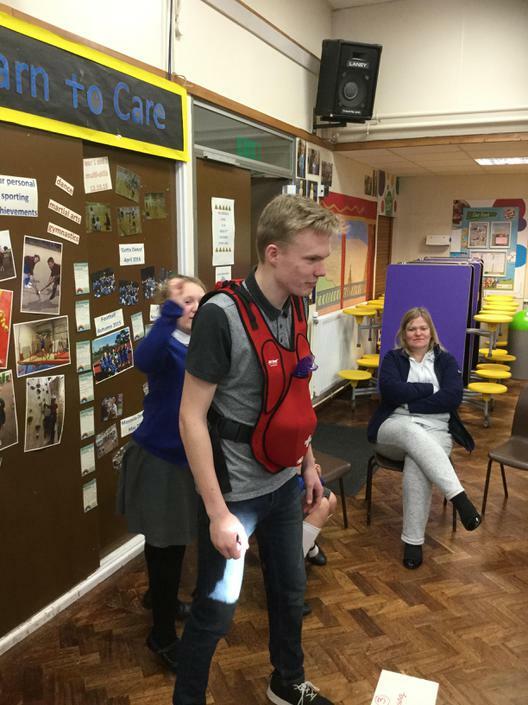 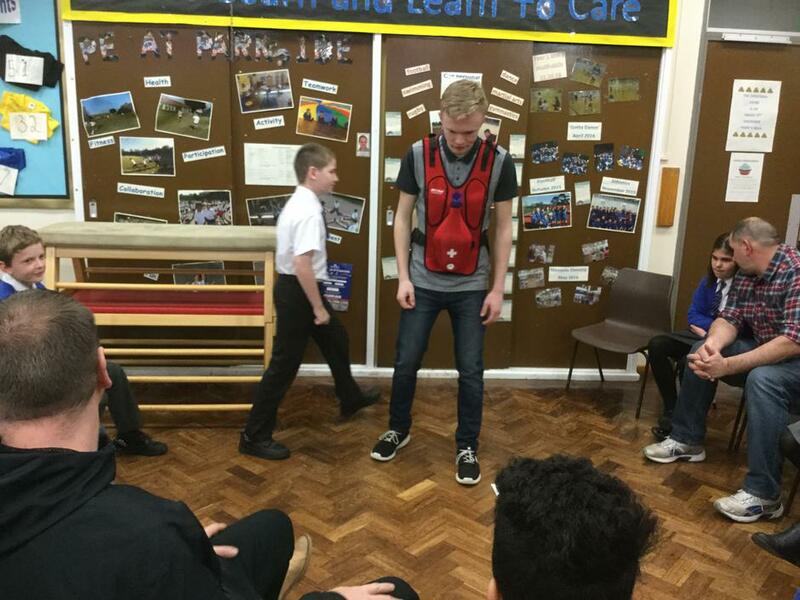 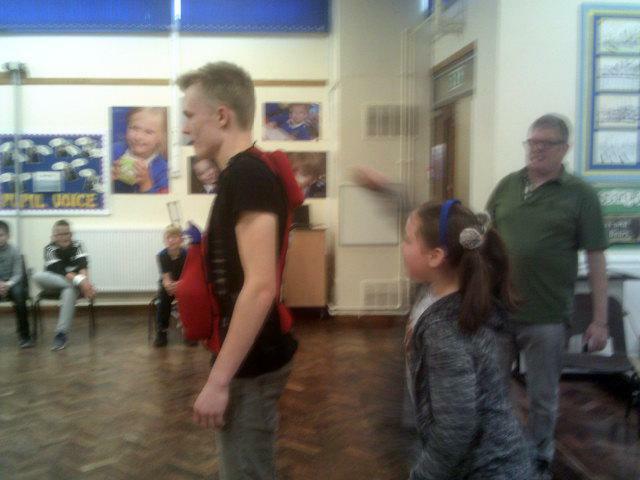 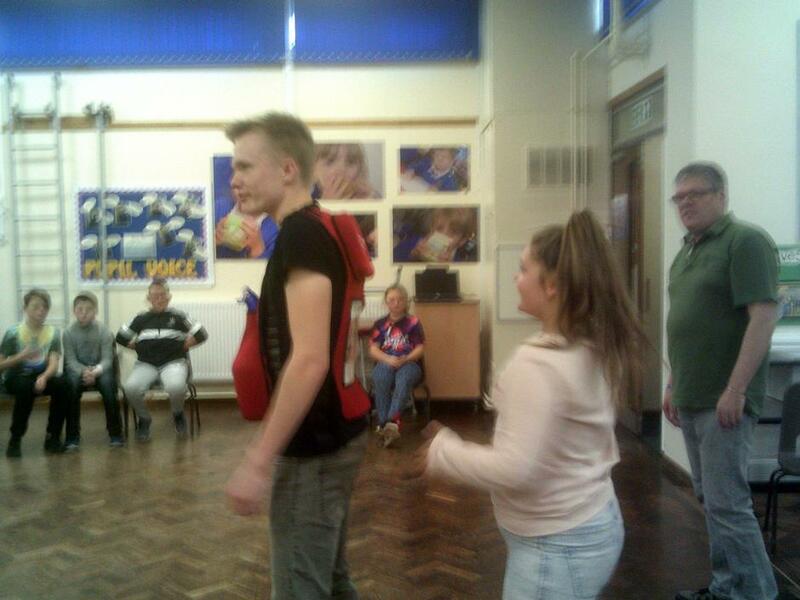 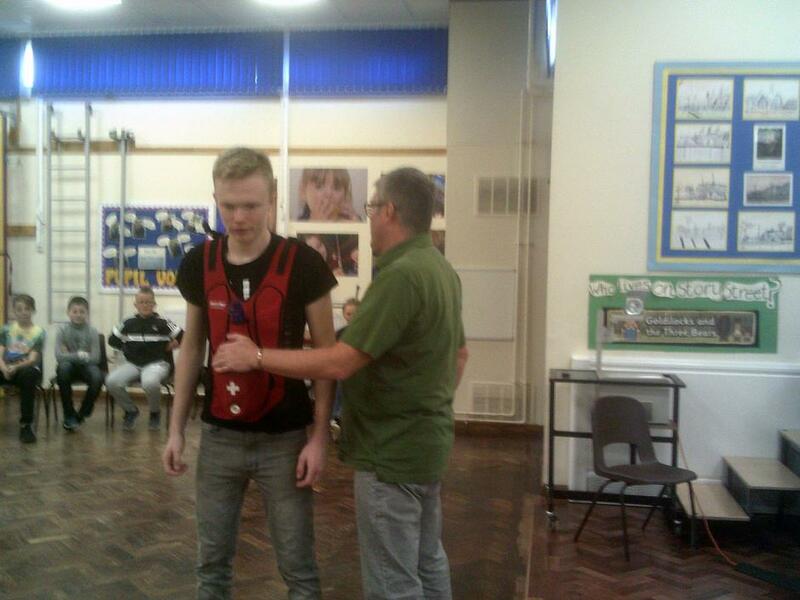 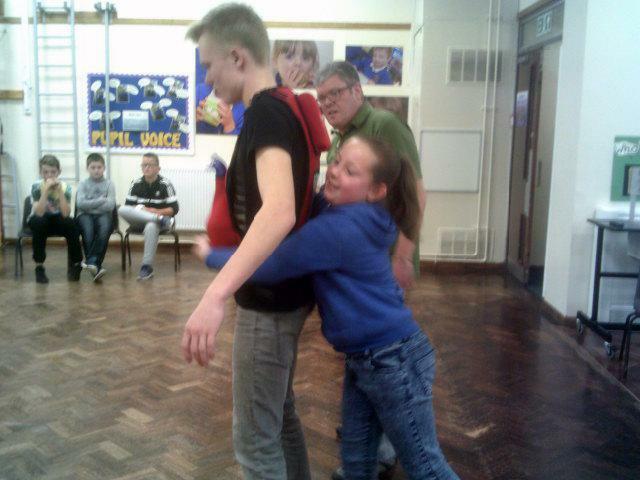 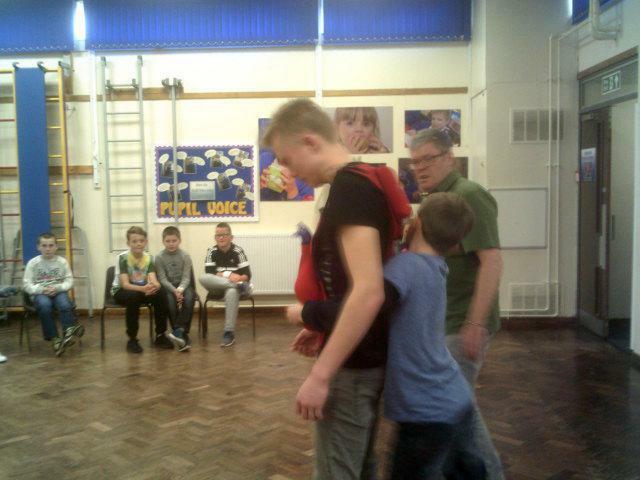 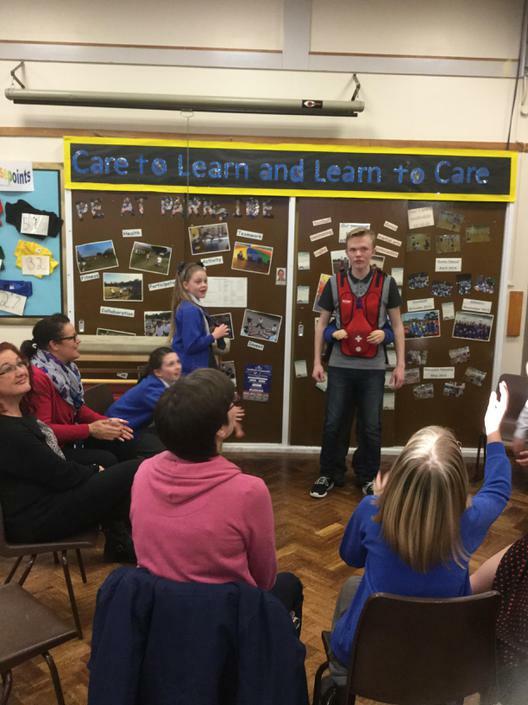 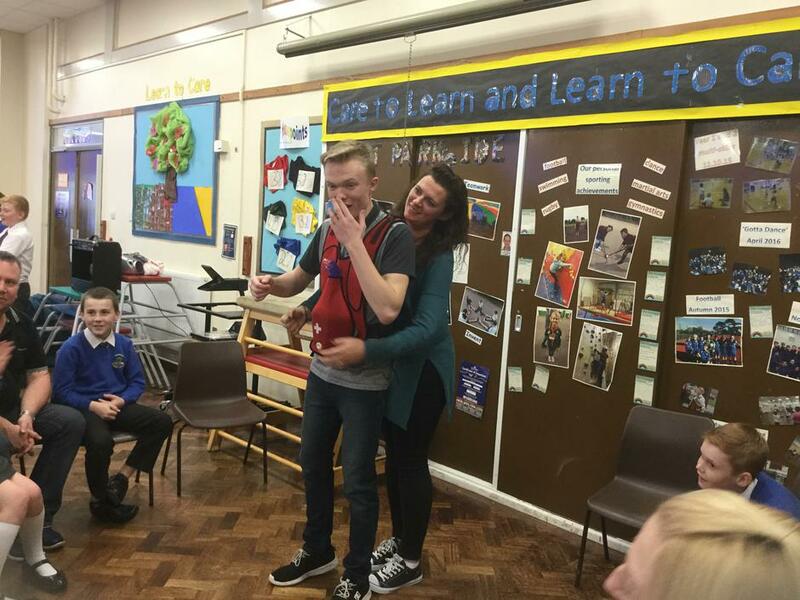 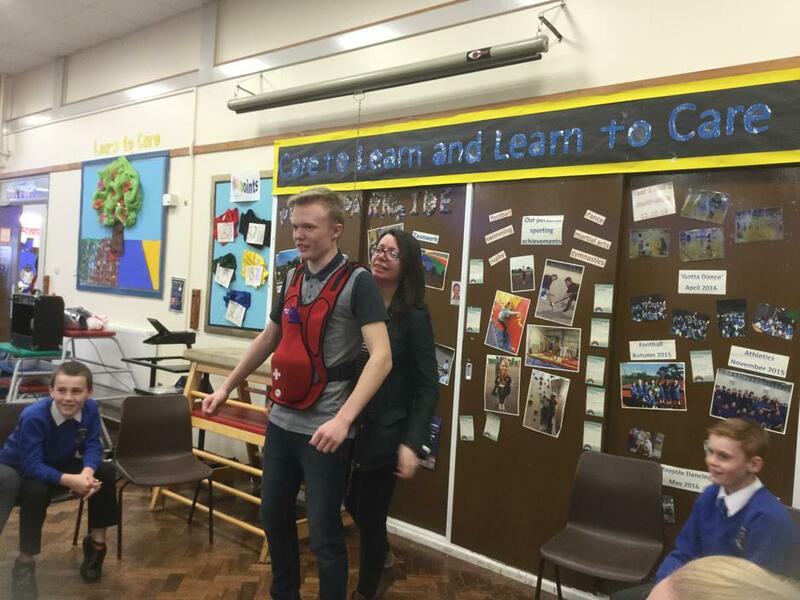 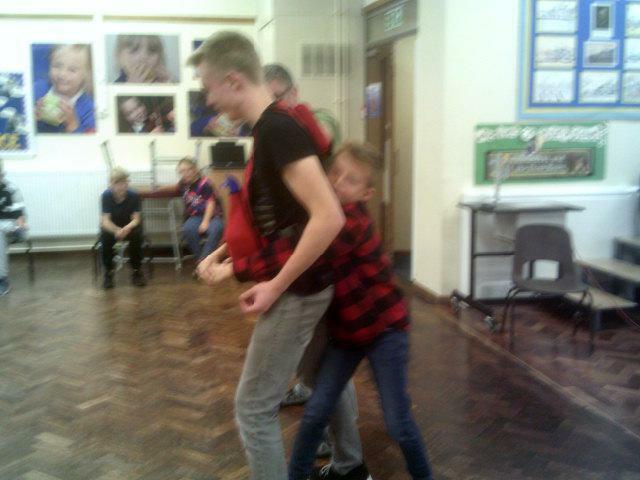 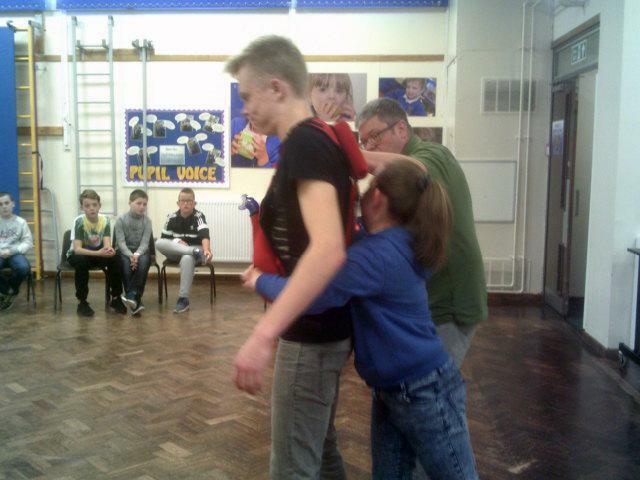 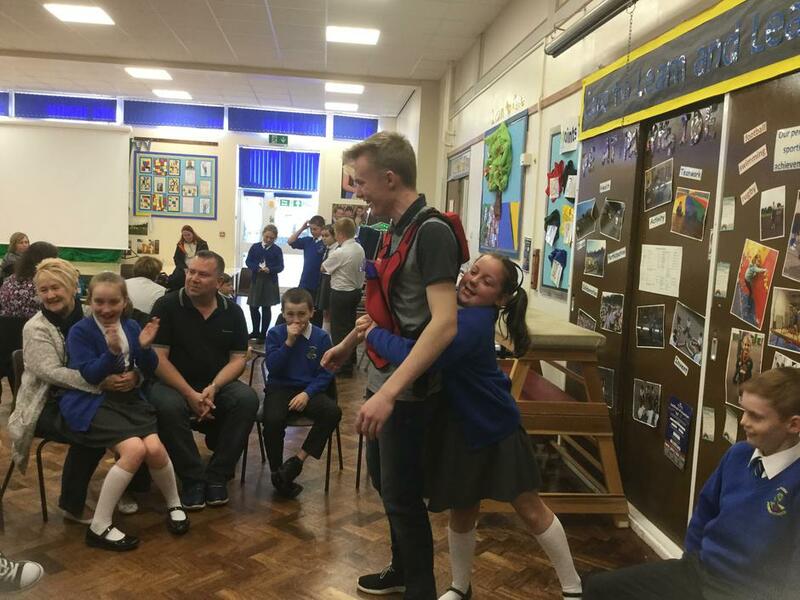 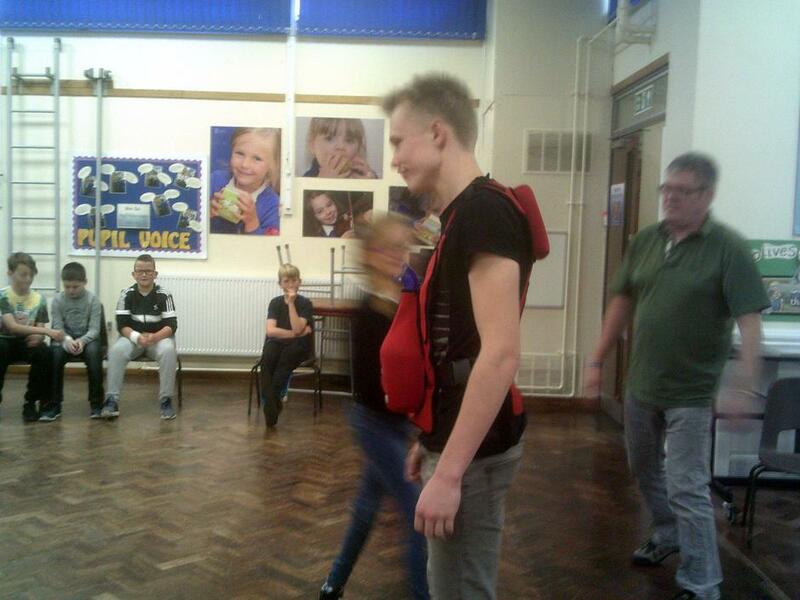 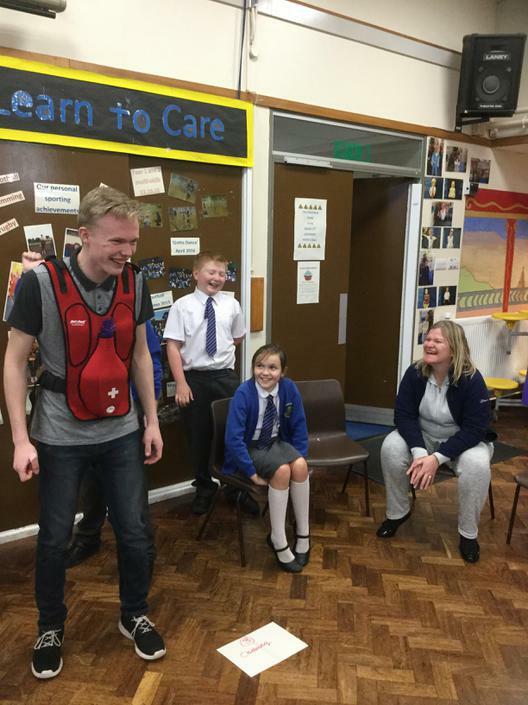 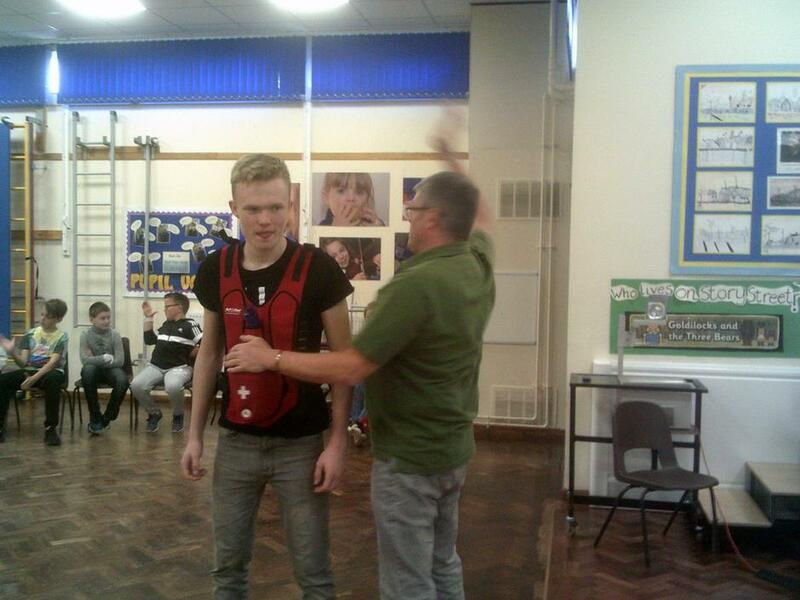 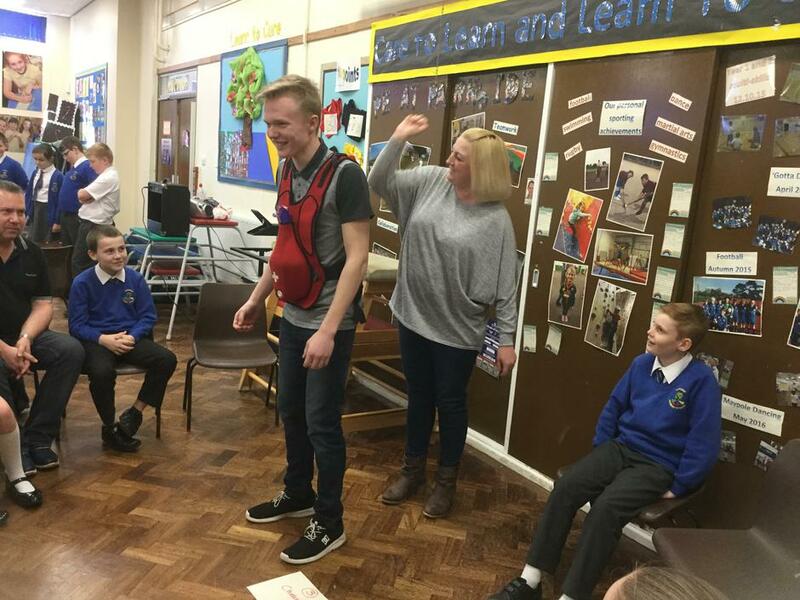 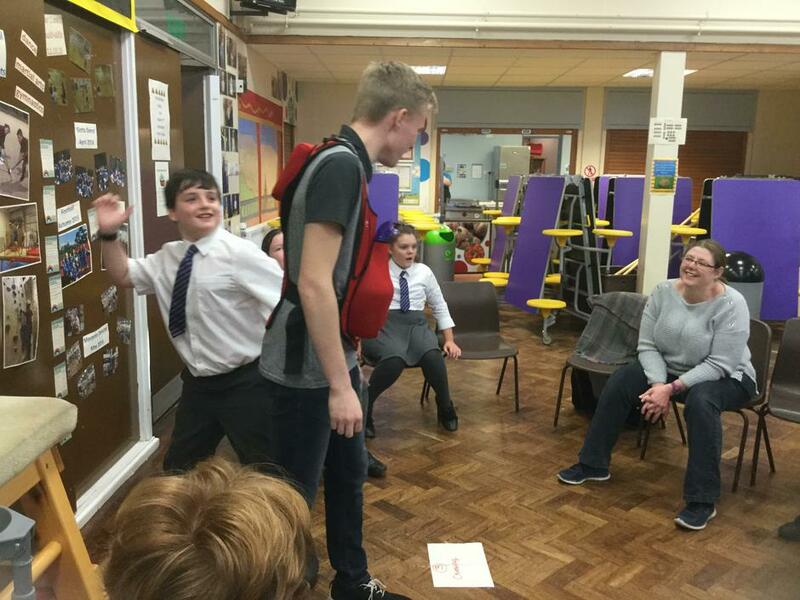 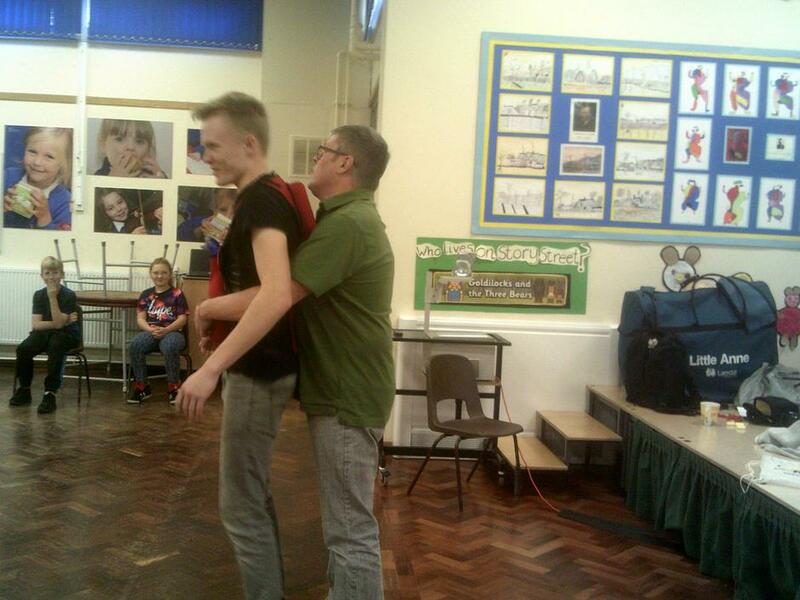 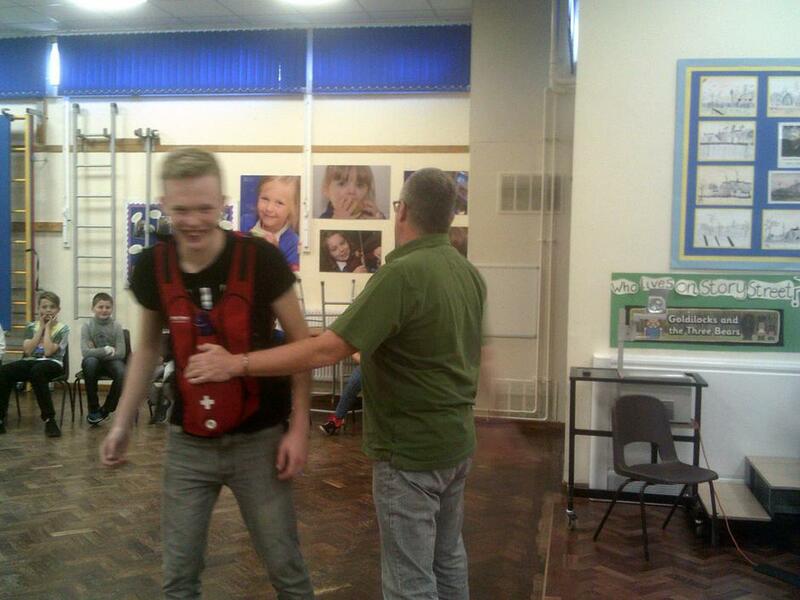 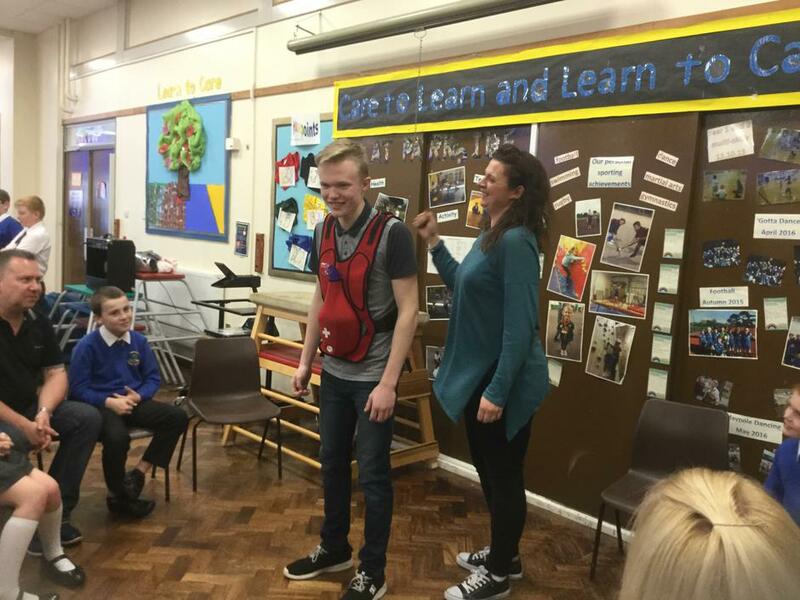 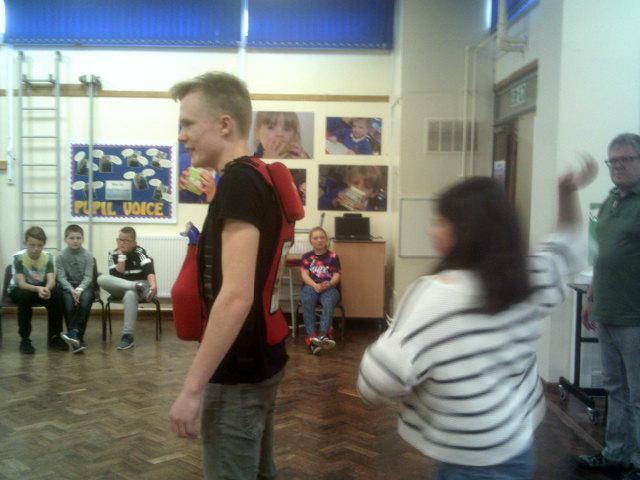 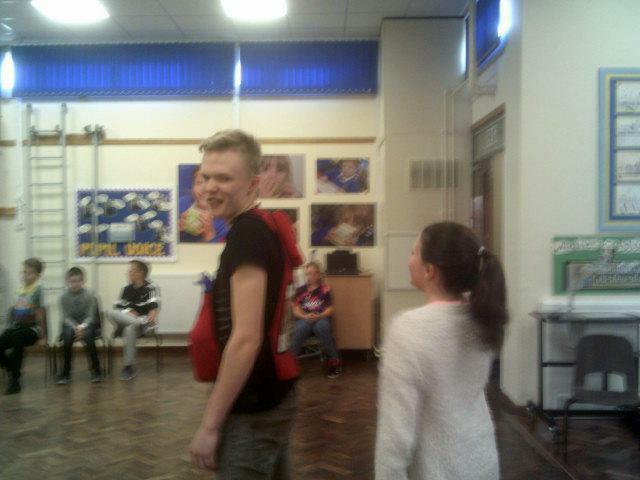 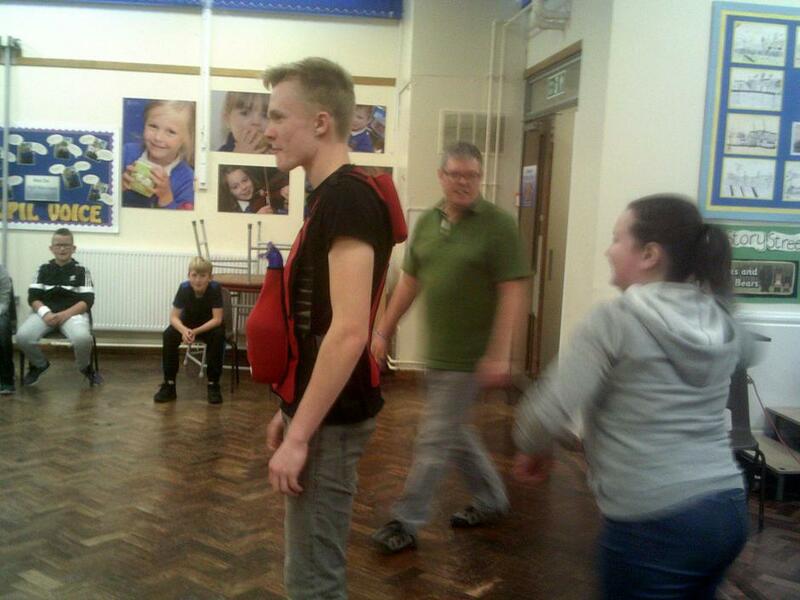 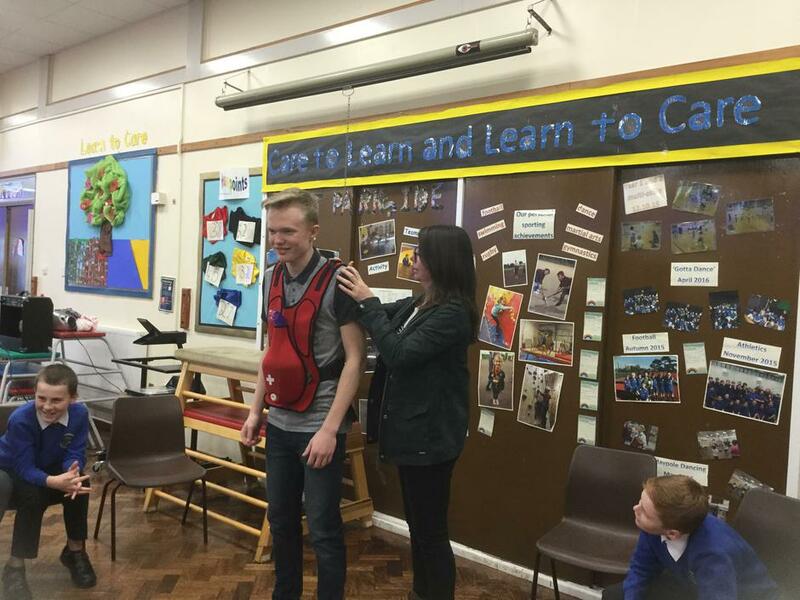 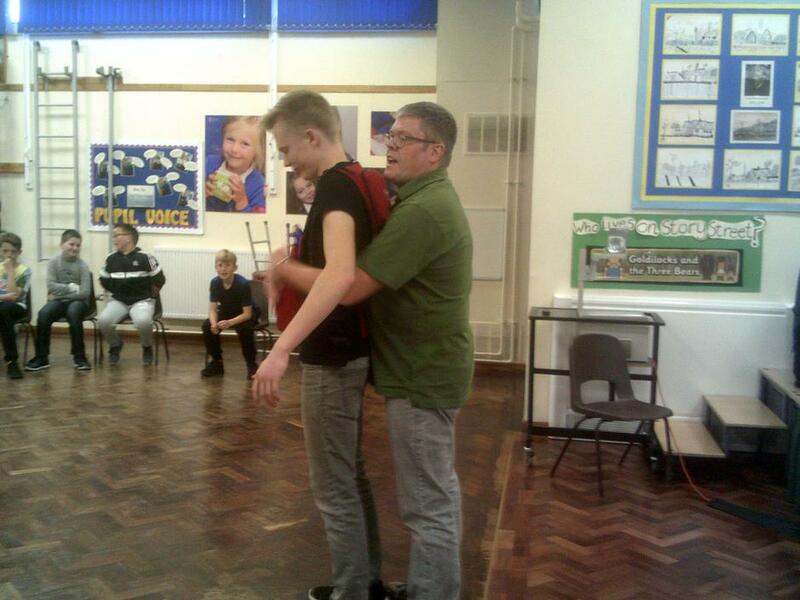 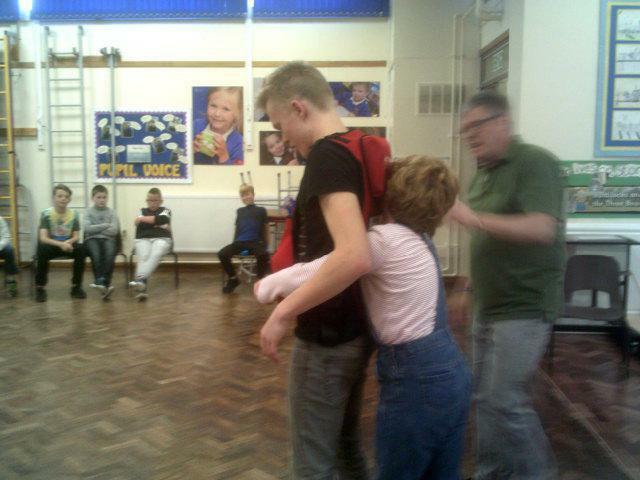 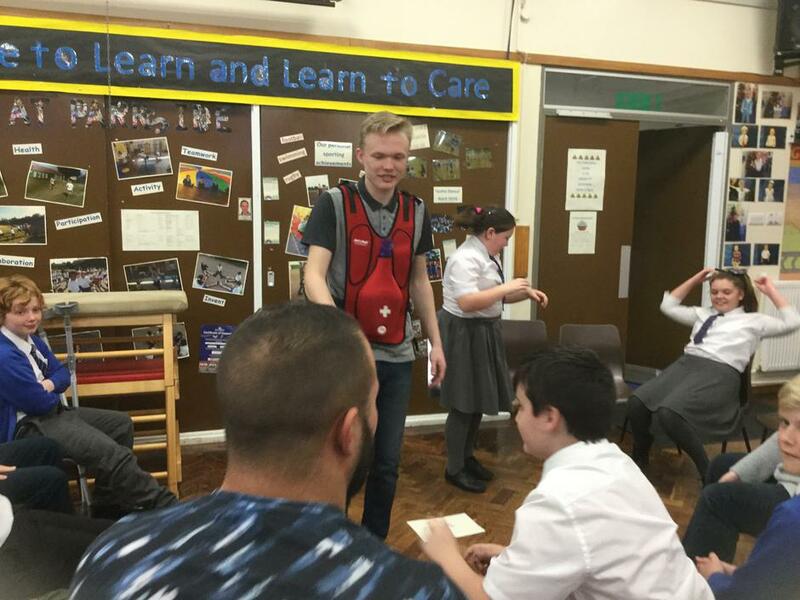 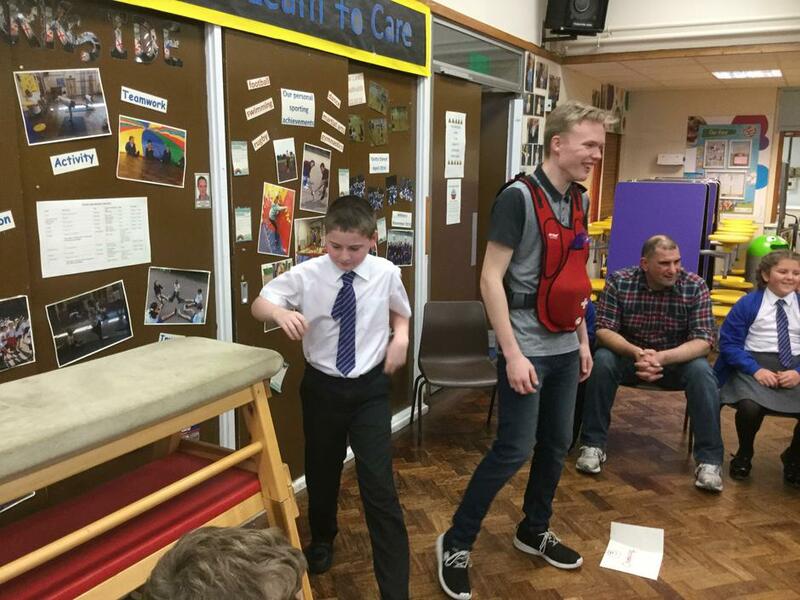 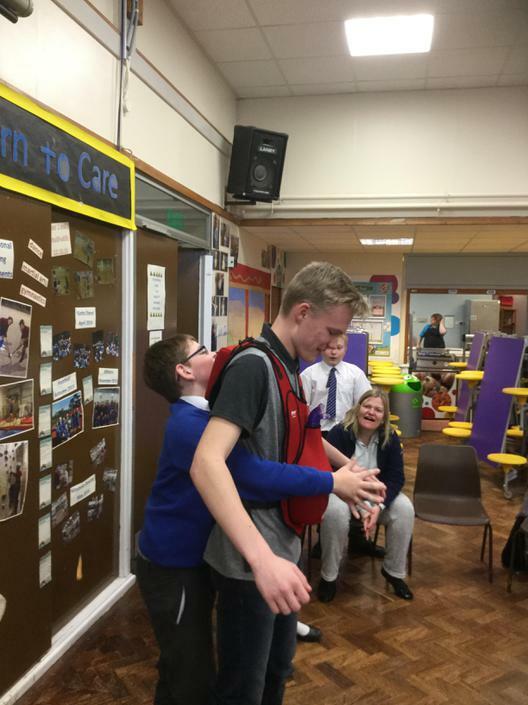 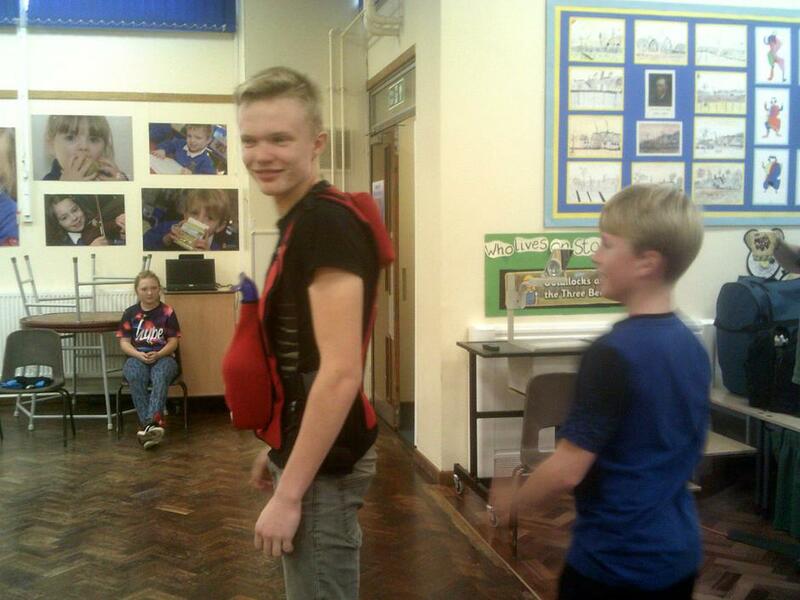 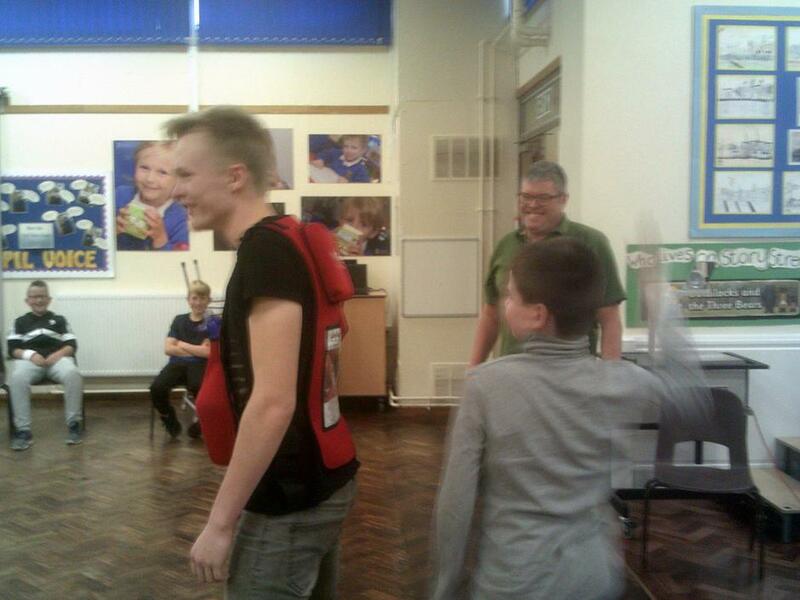 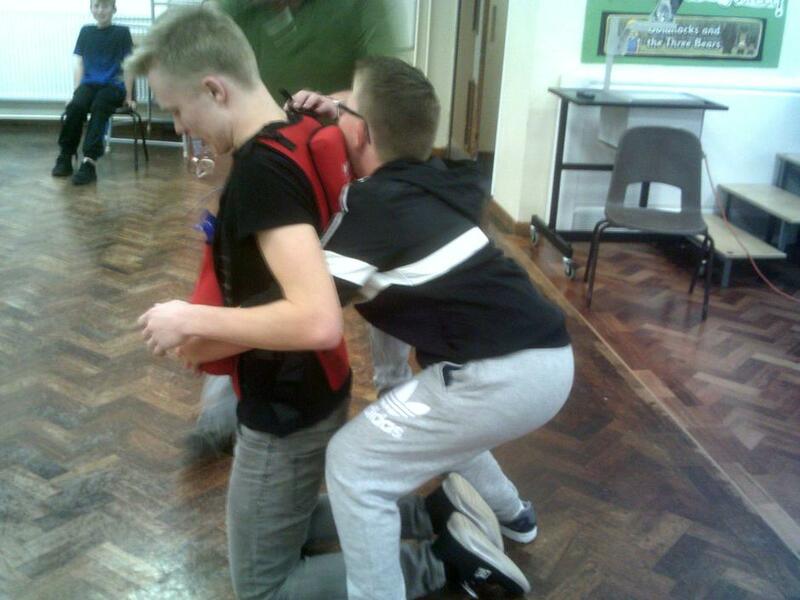 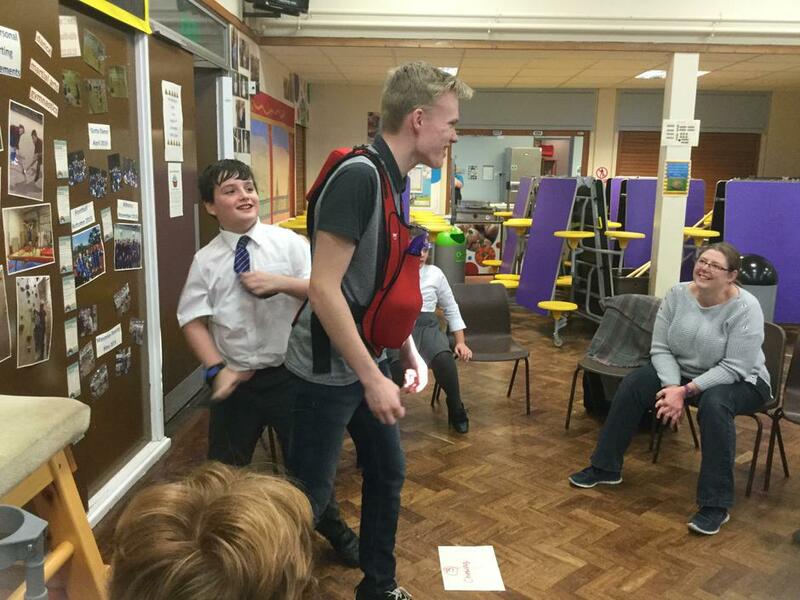 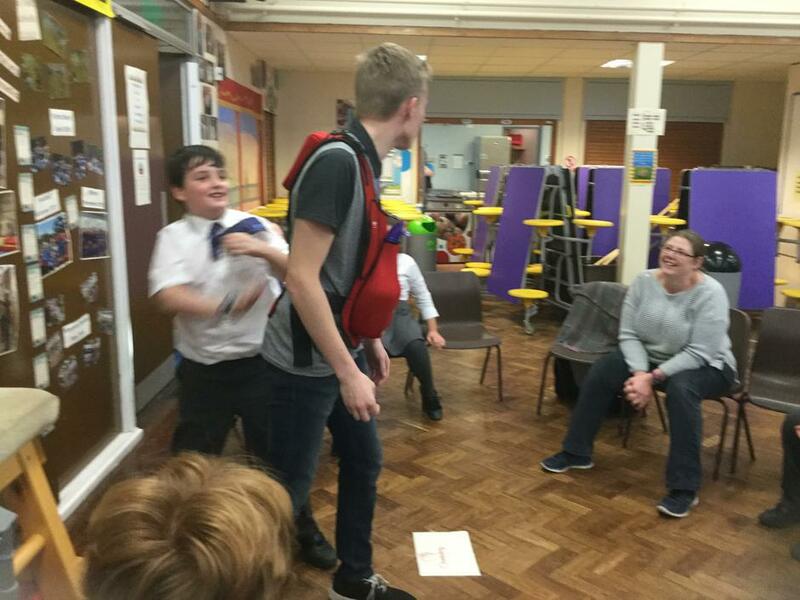 The feedback has been wonderful; it was great to see everybody working together and what a laugh we had too - particularly with the choking vest!!! 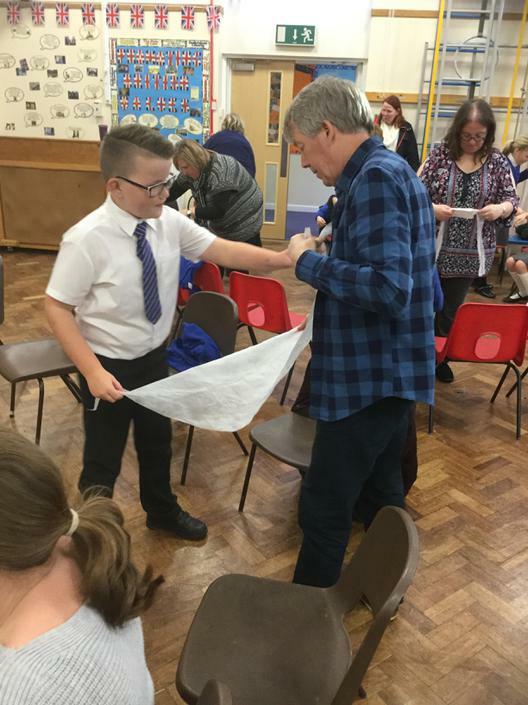 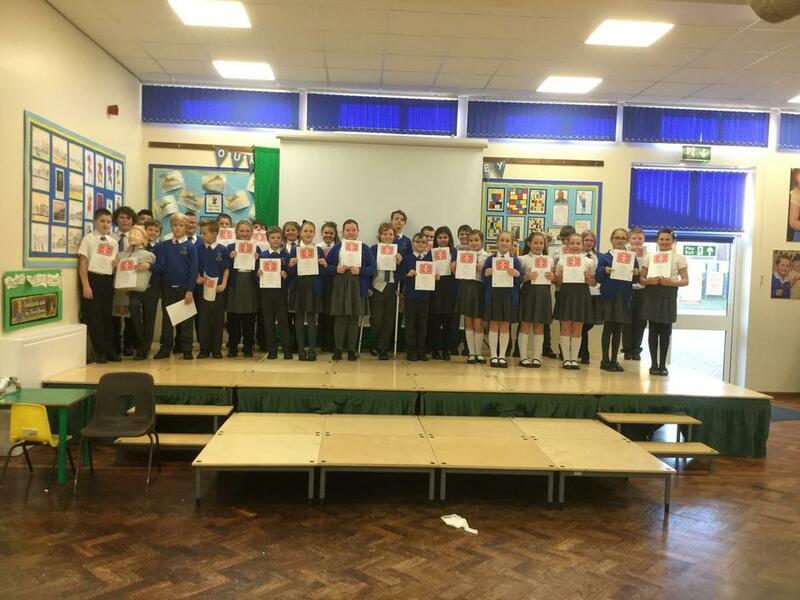 Thank you so much to Mr Chris Knapper - who trained the children several weeks ago, and who came along to support them on Friday and to present them with some very special certificates! 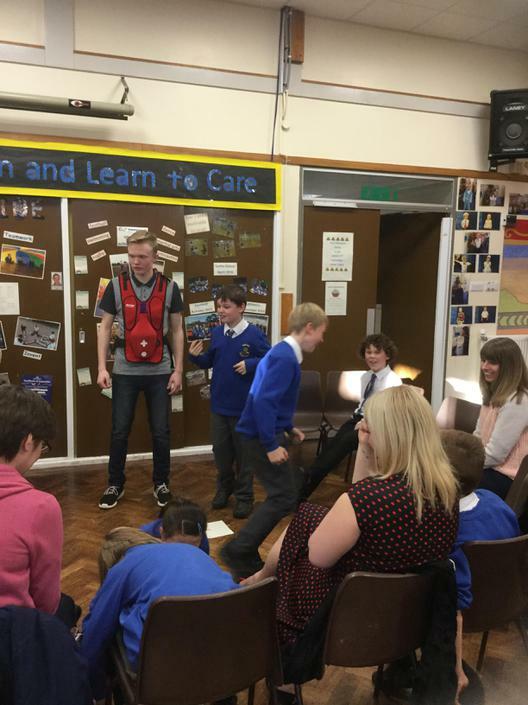 Have a look at what we got up to below! 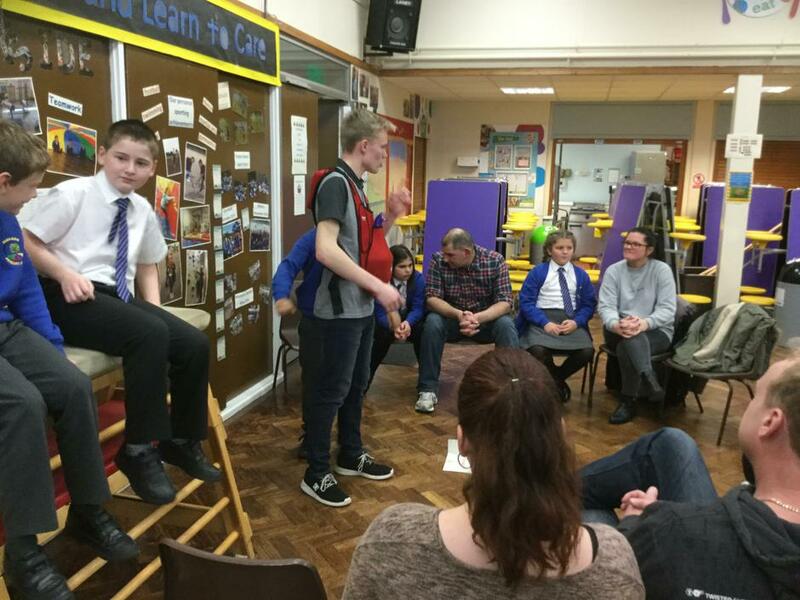 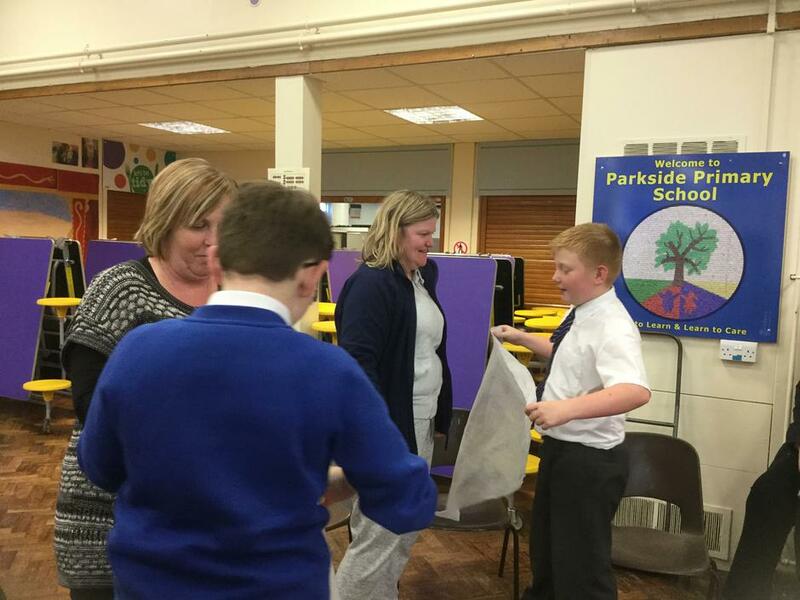 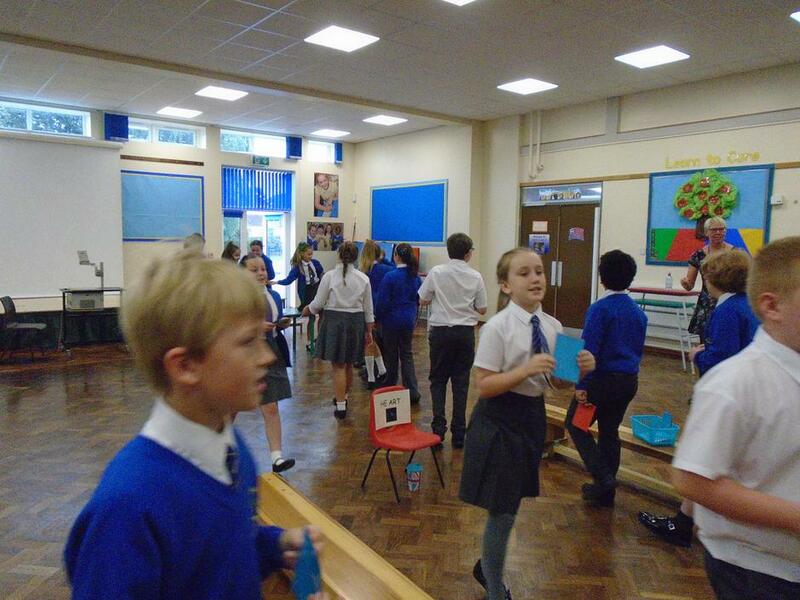 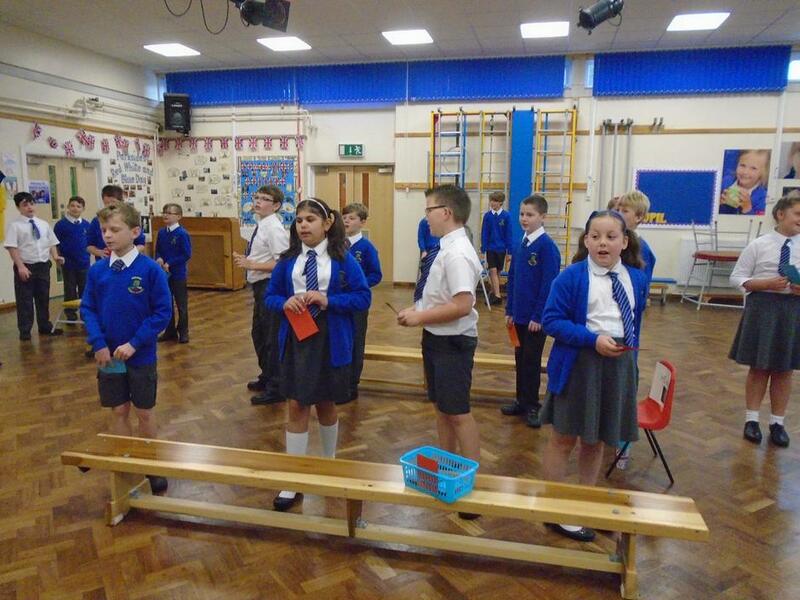 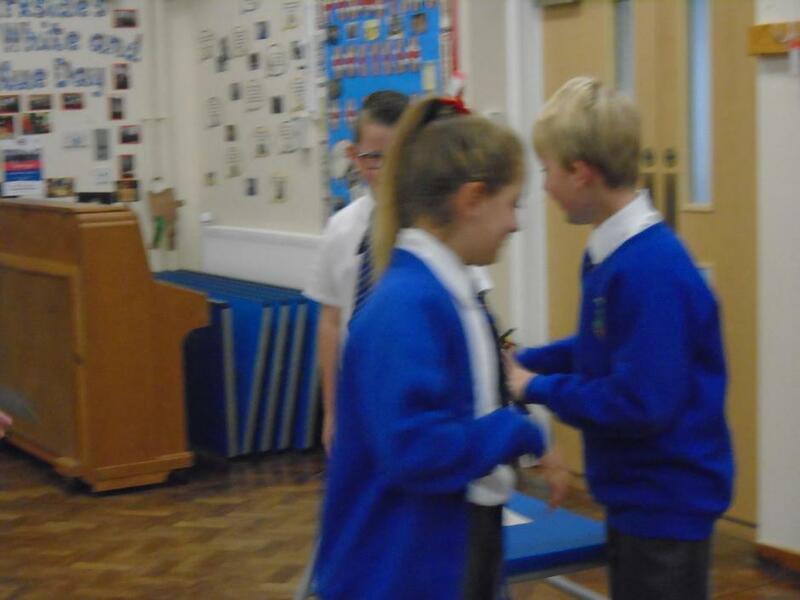 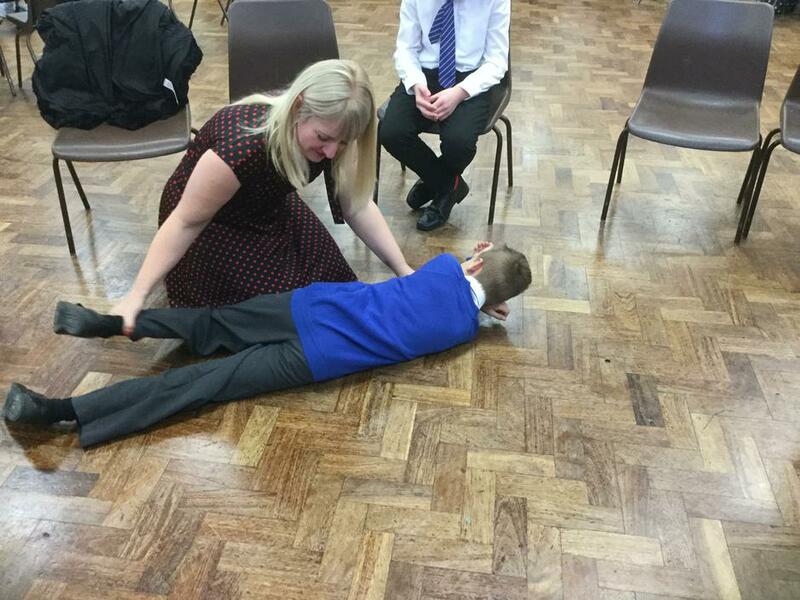 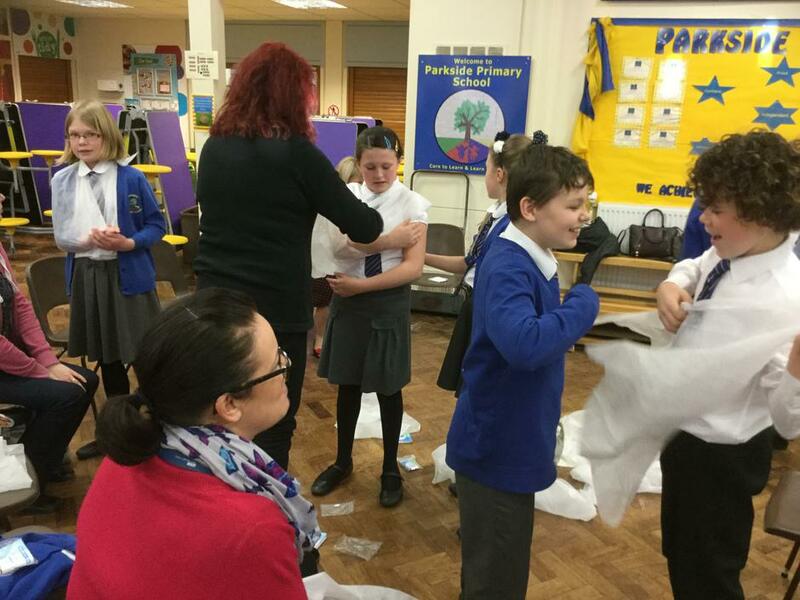 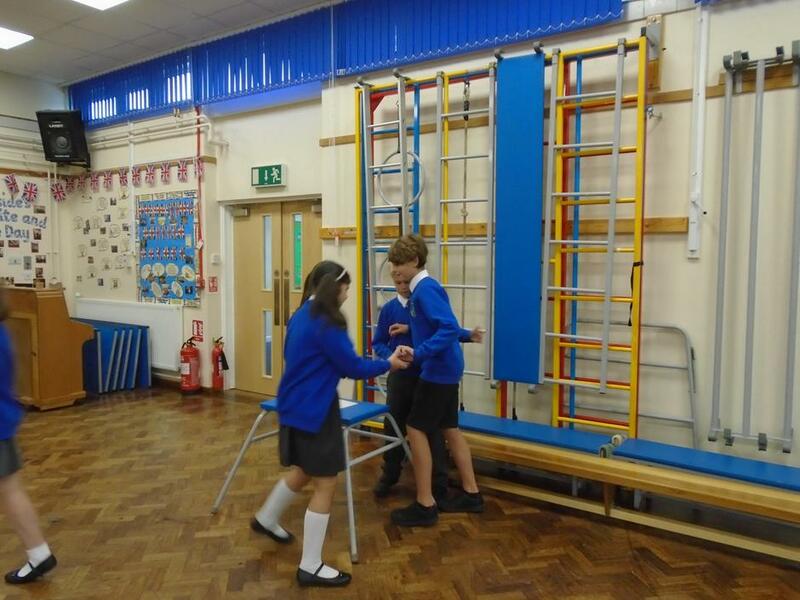 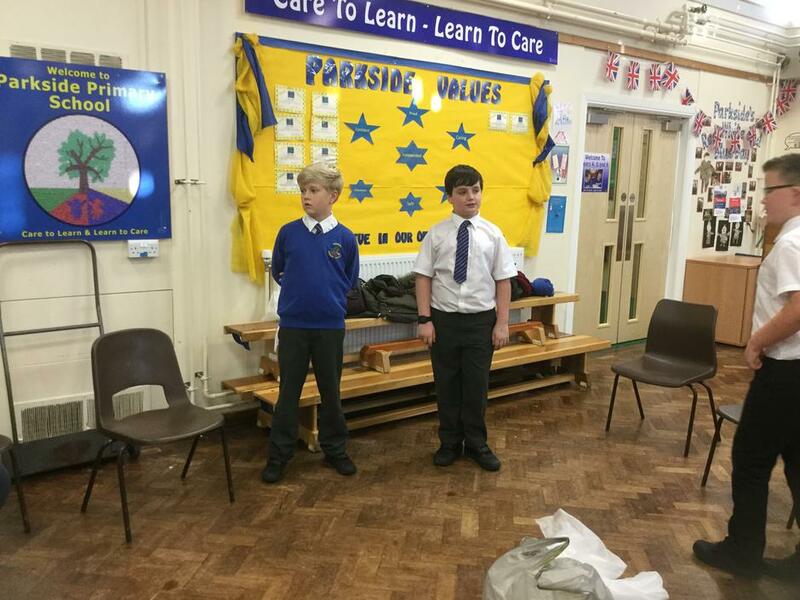 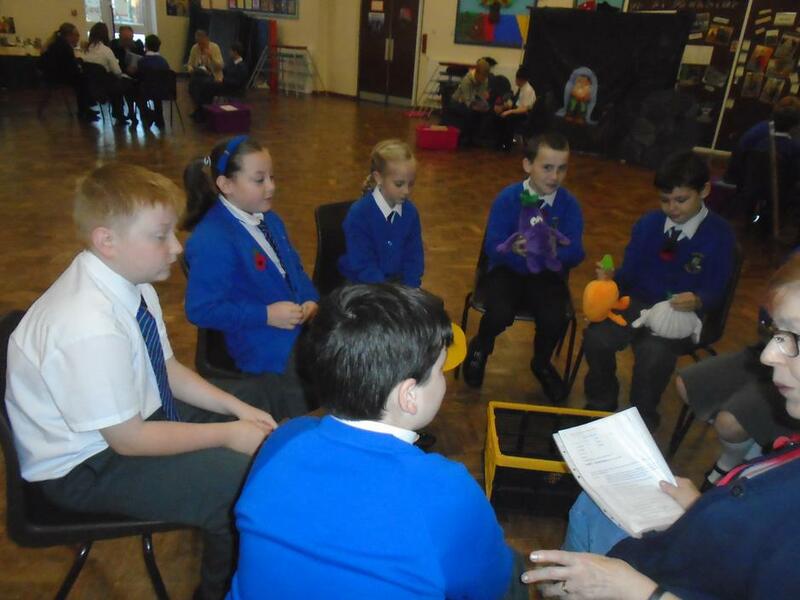 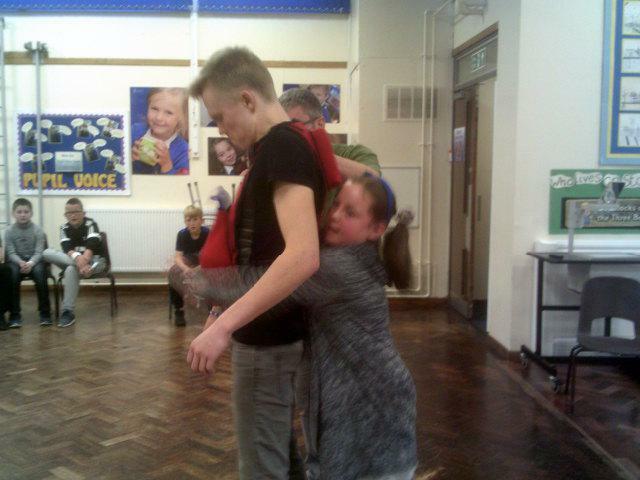 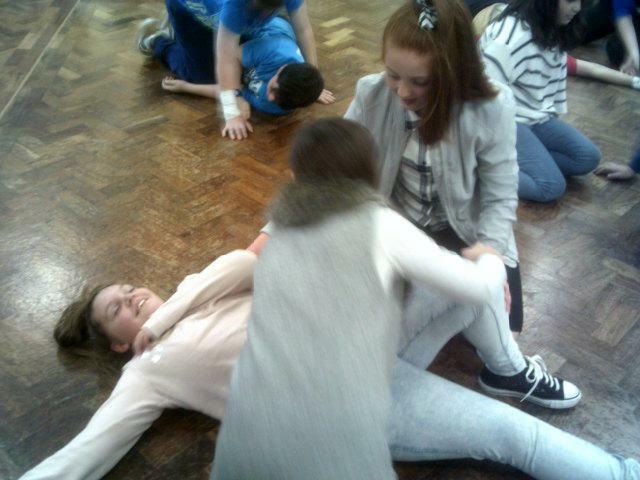 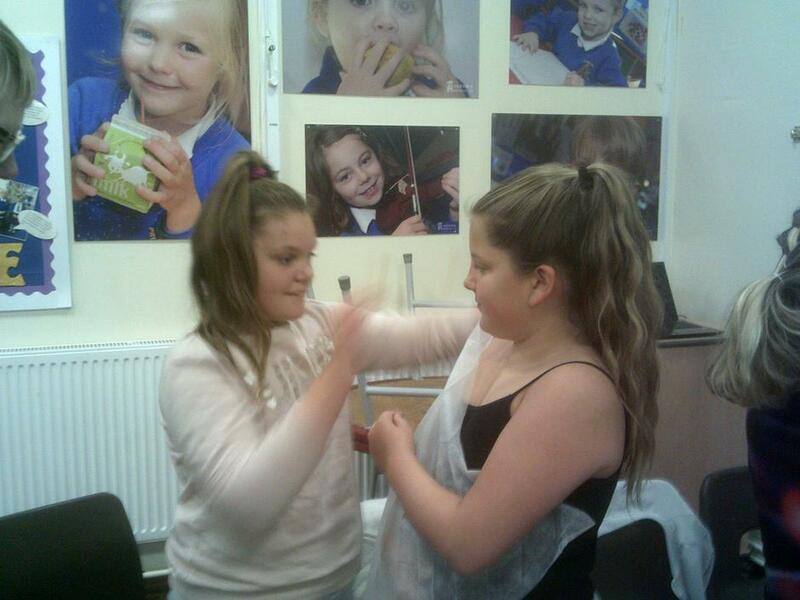 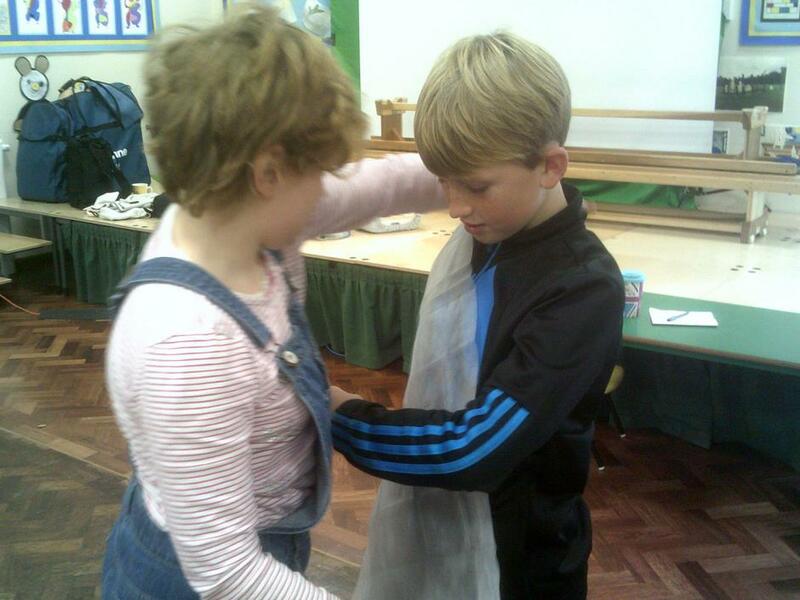 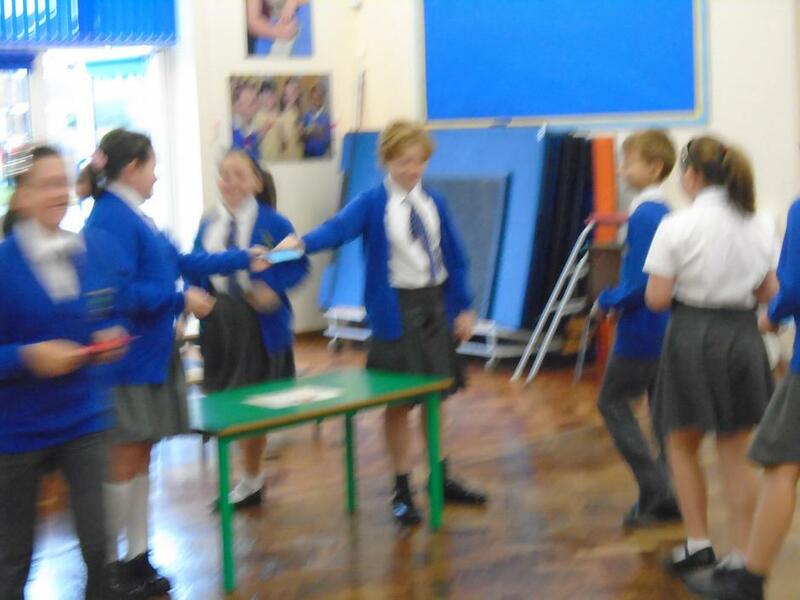 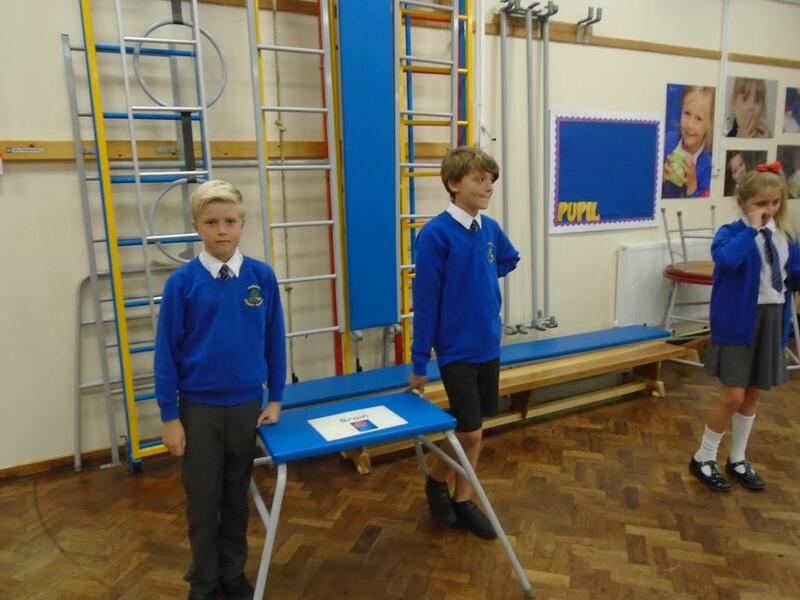 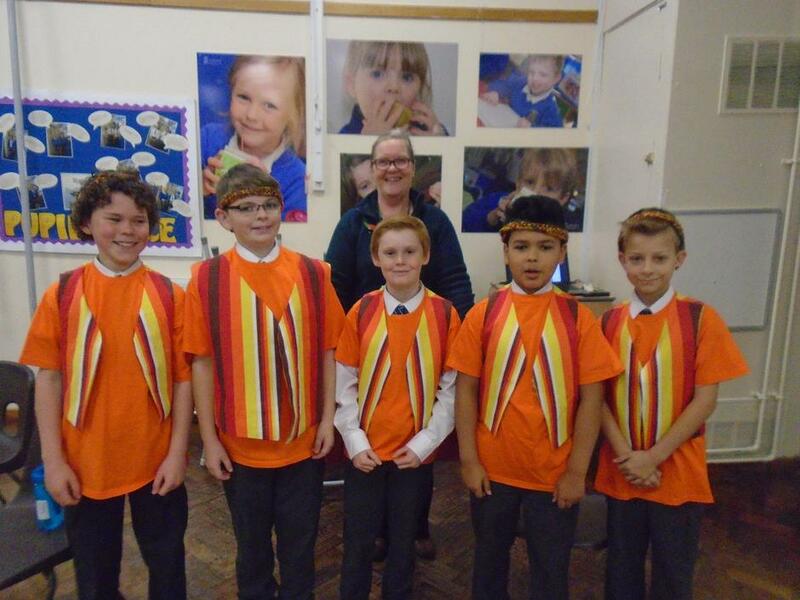 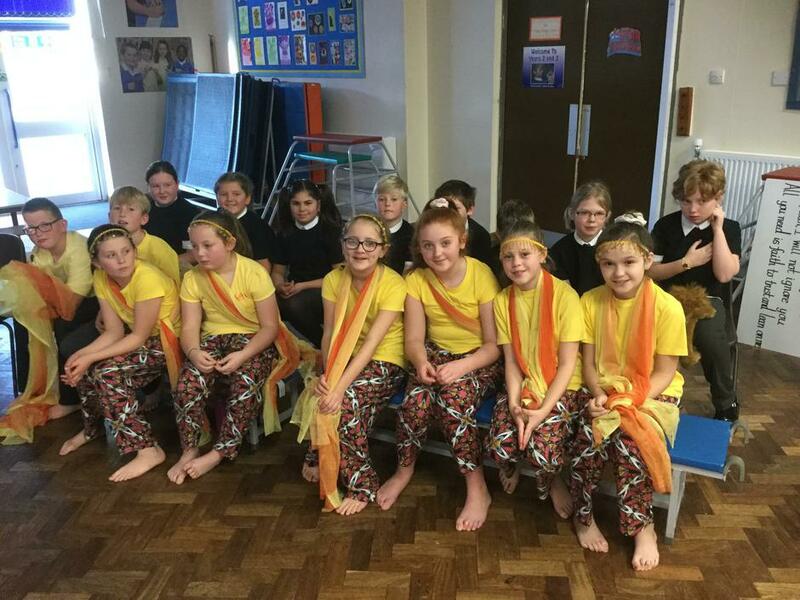 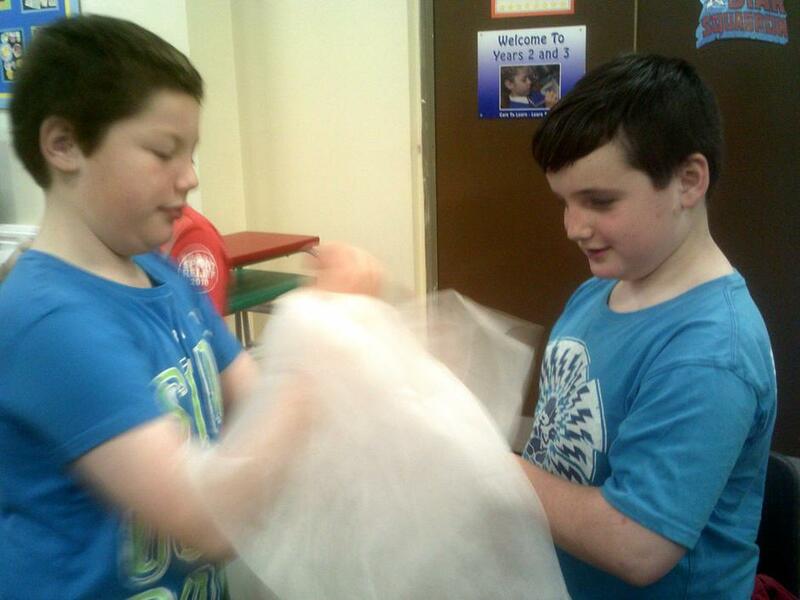 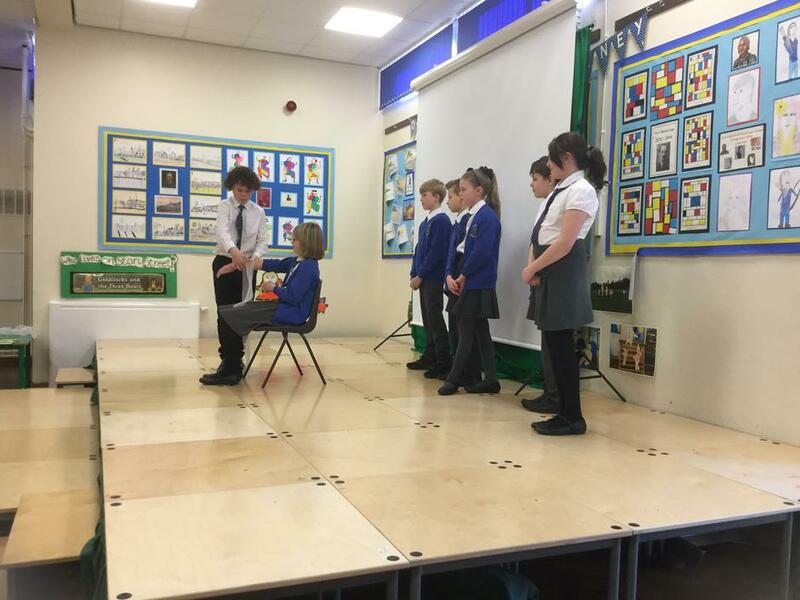 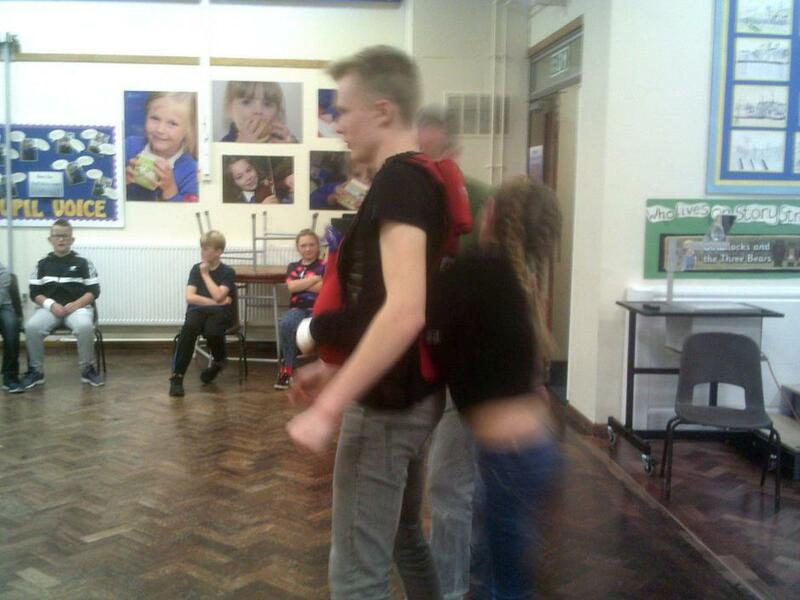 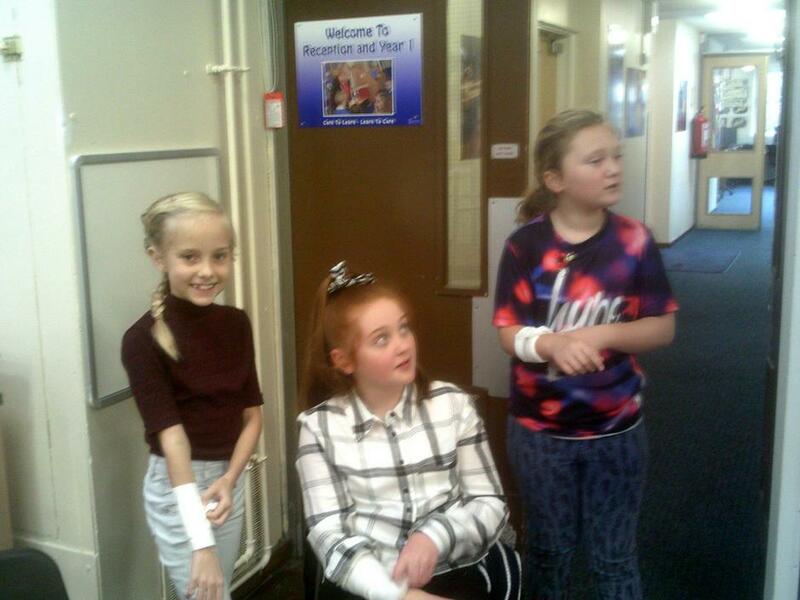 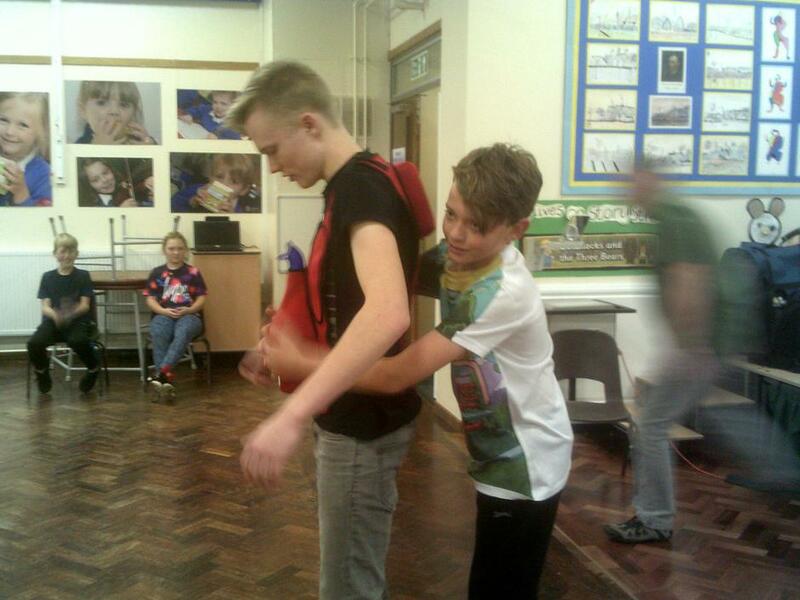 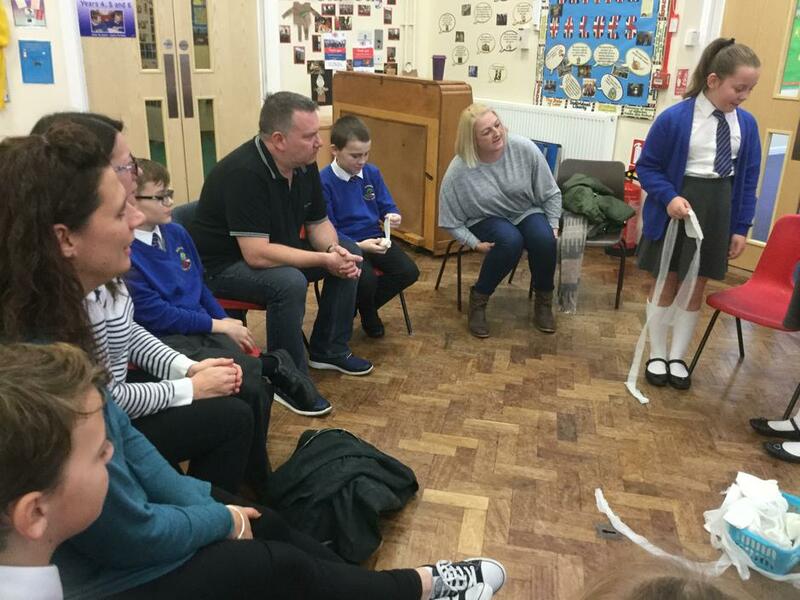 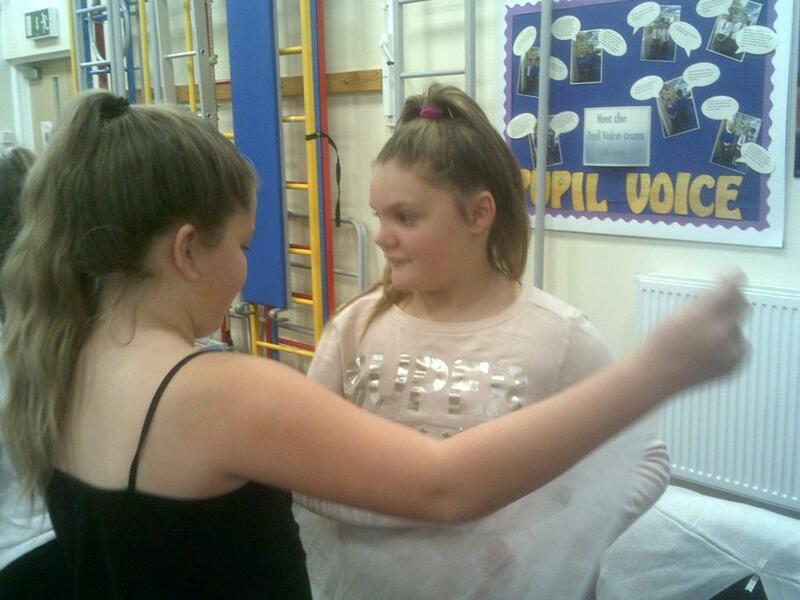 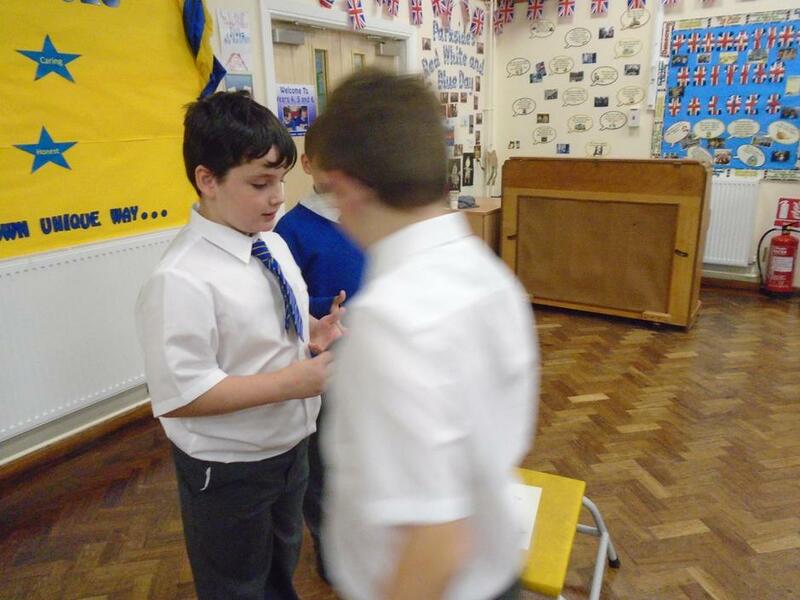 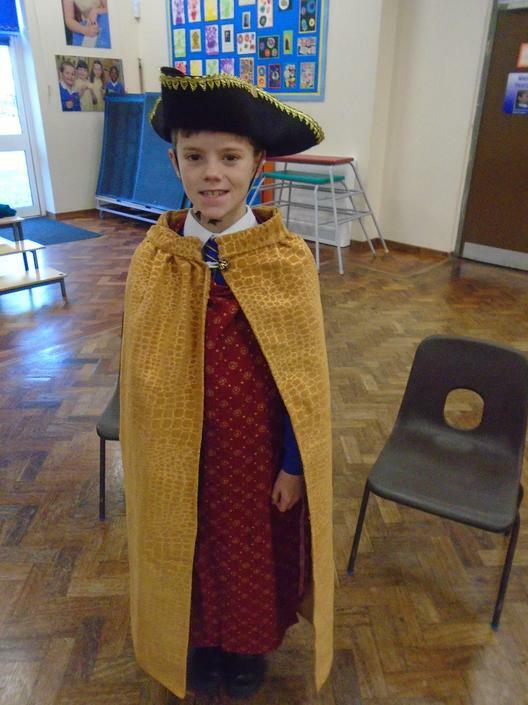 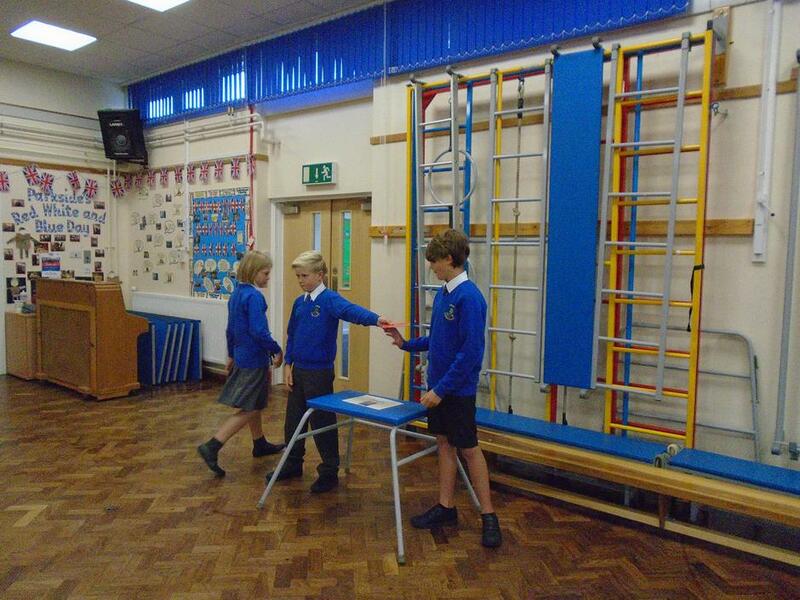 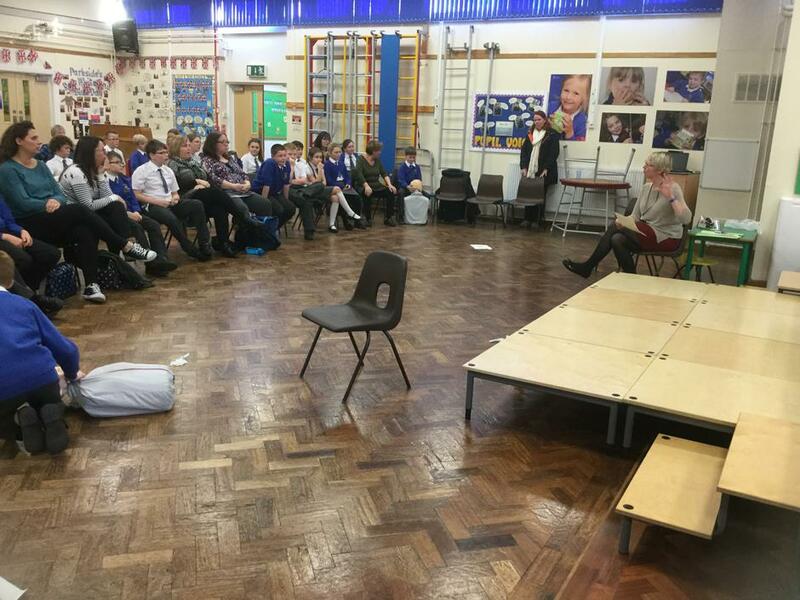 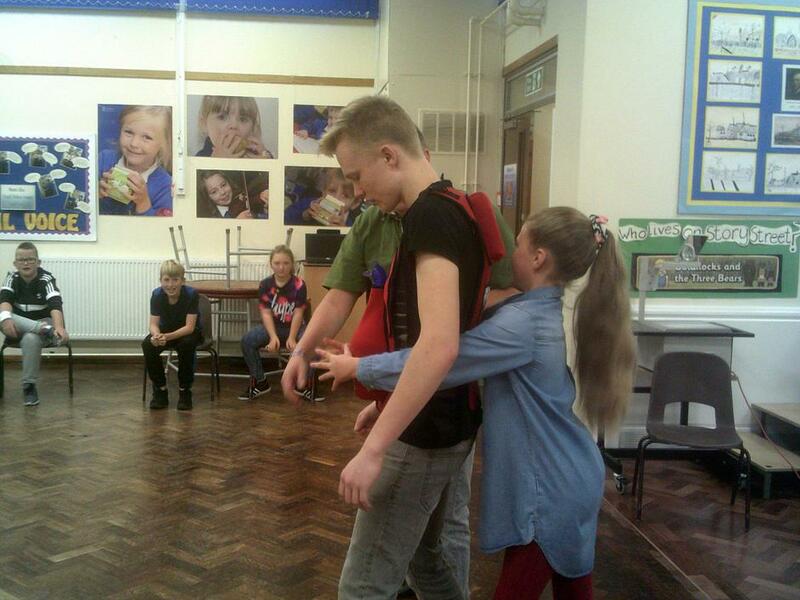 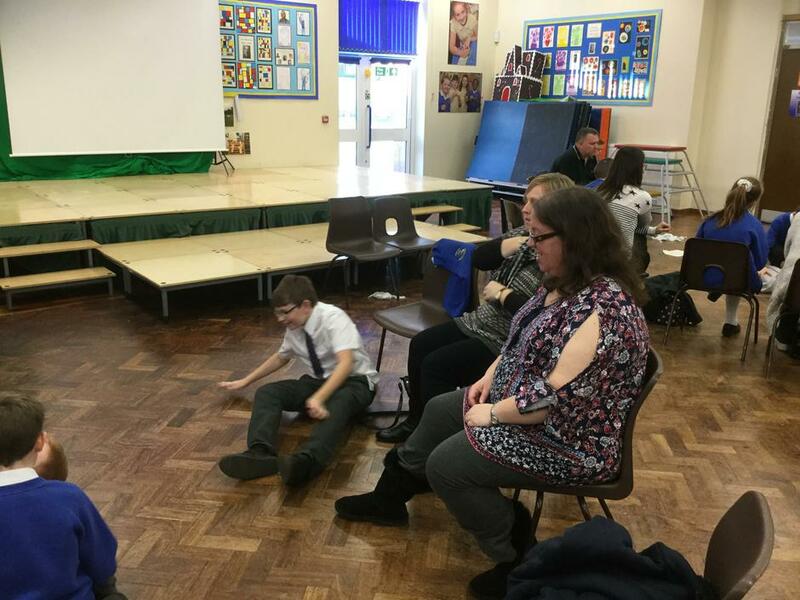 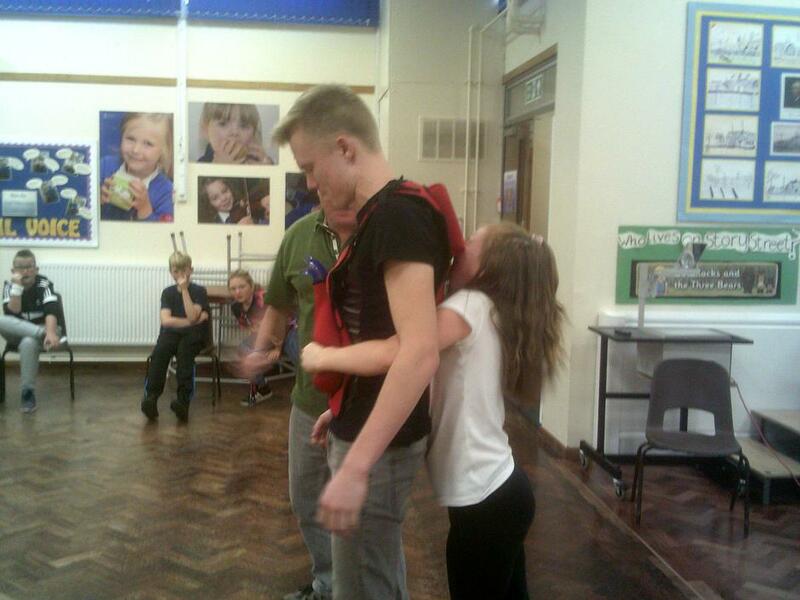 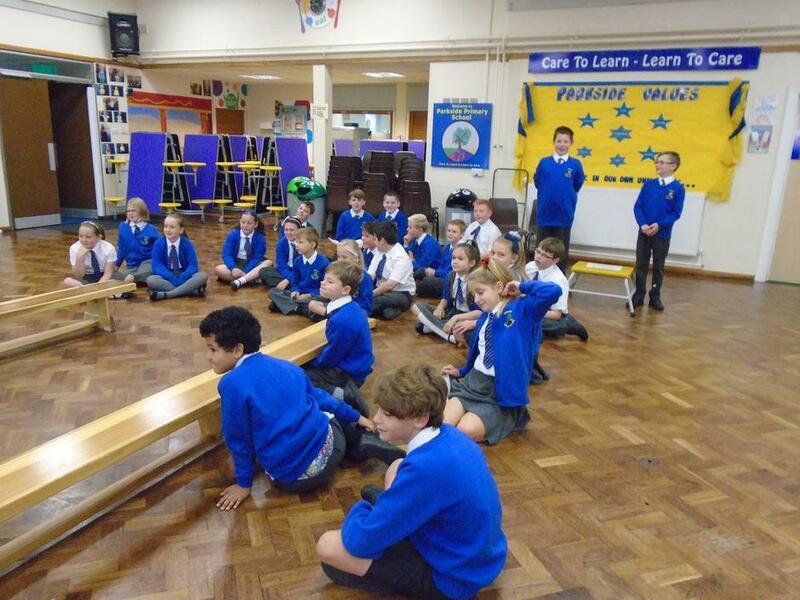 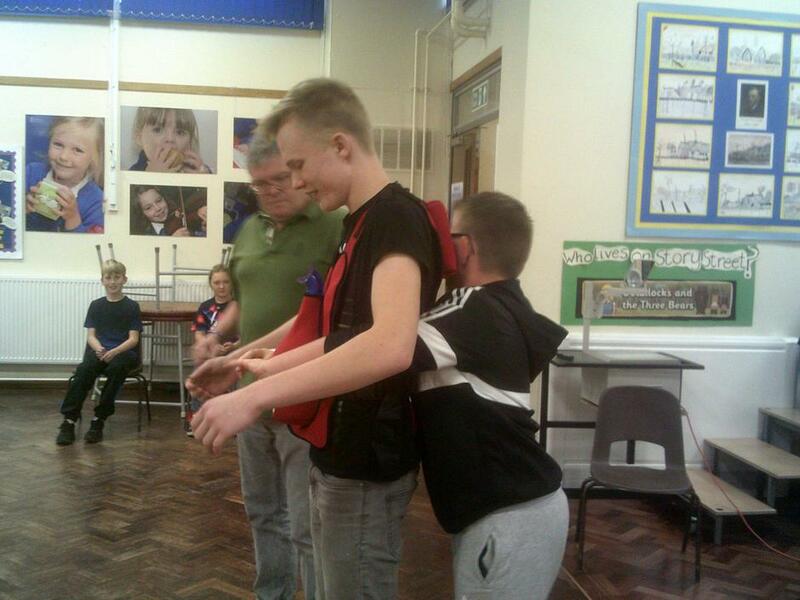 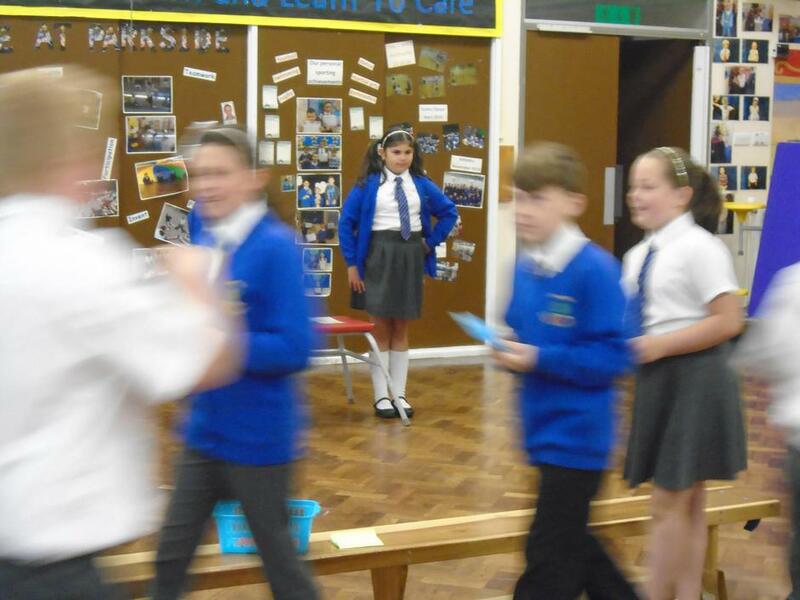 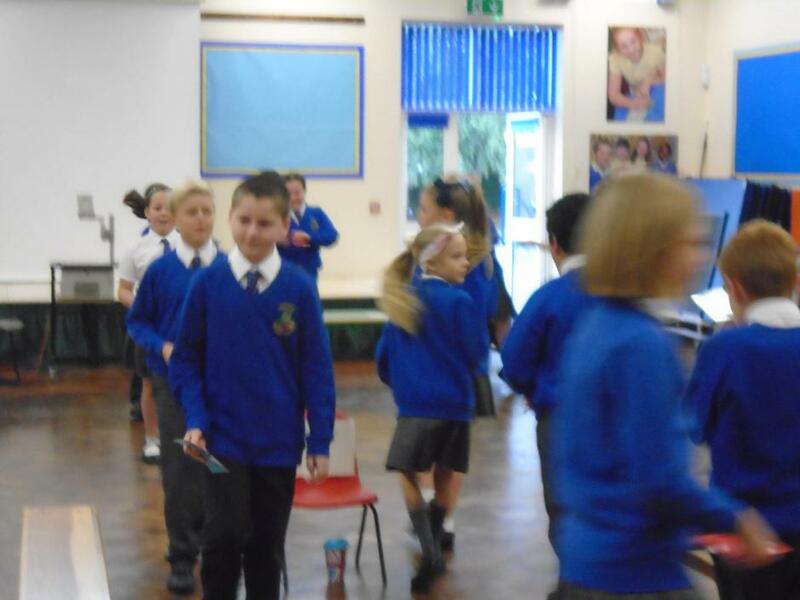 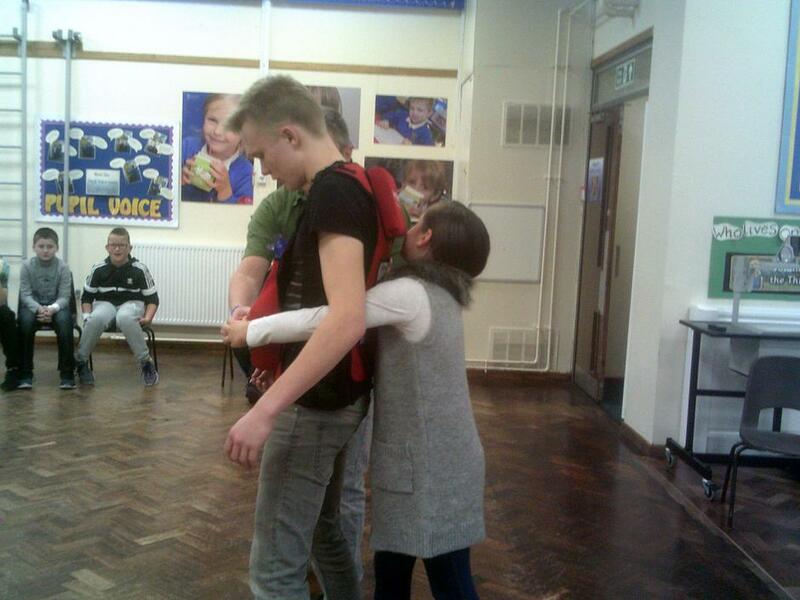 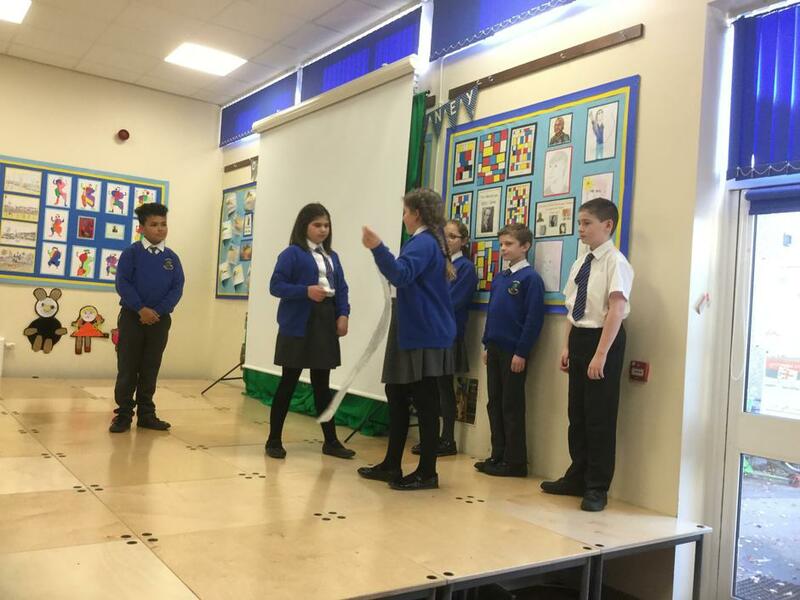 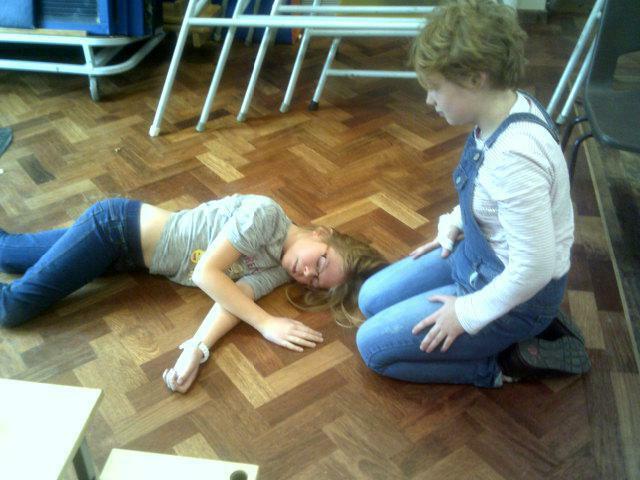 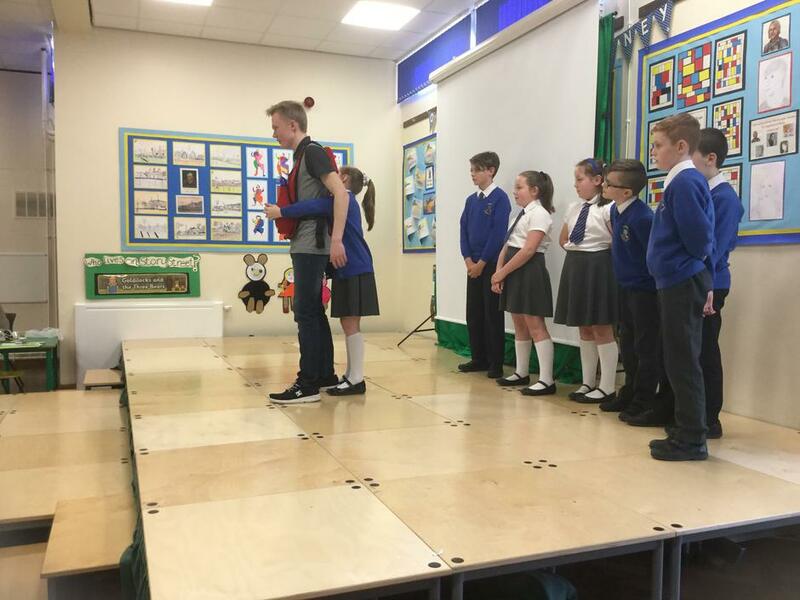 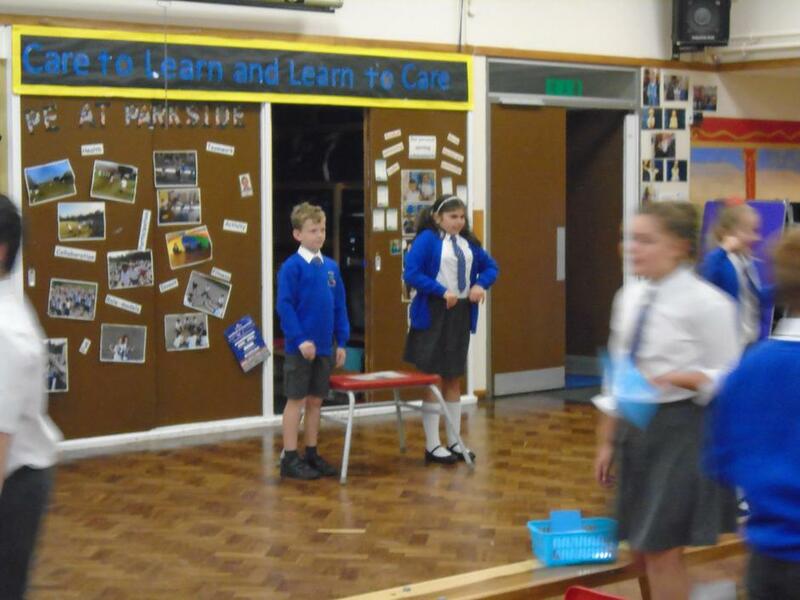 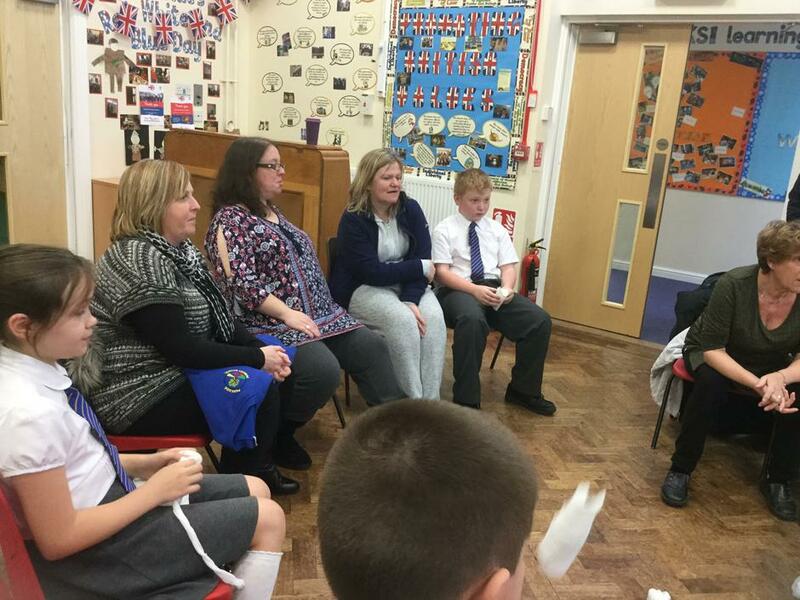 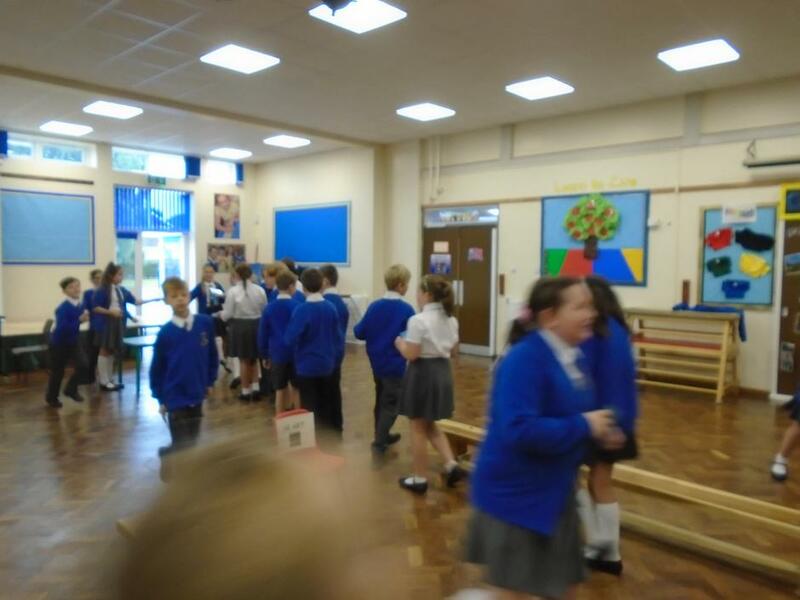 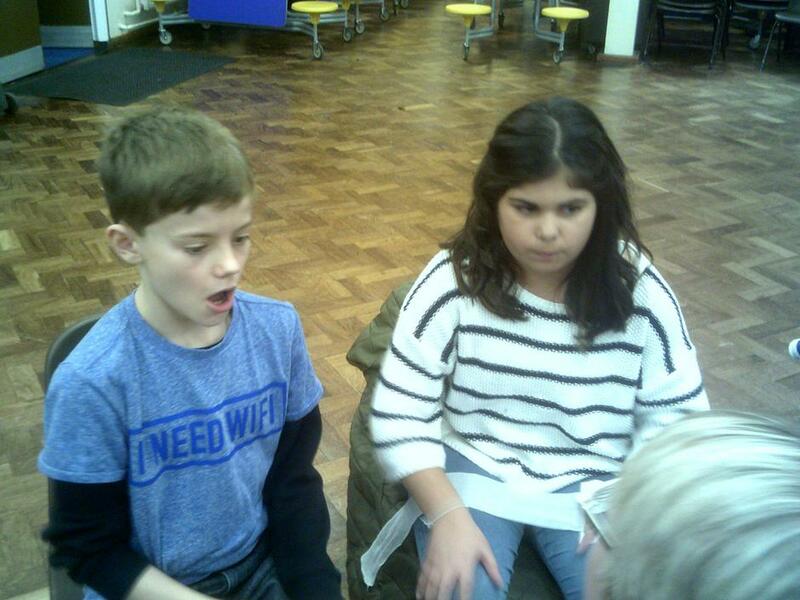 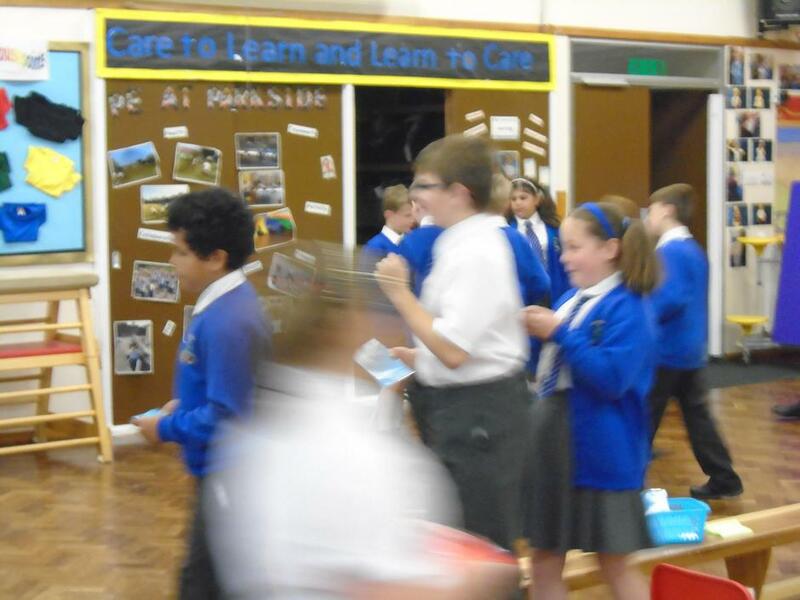 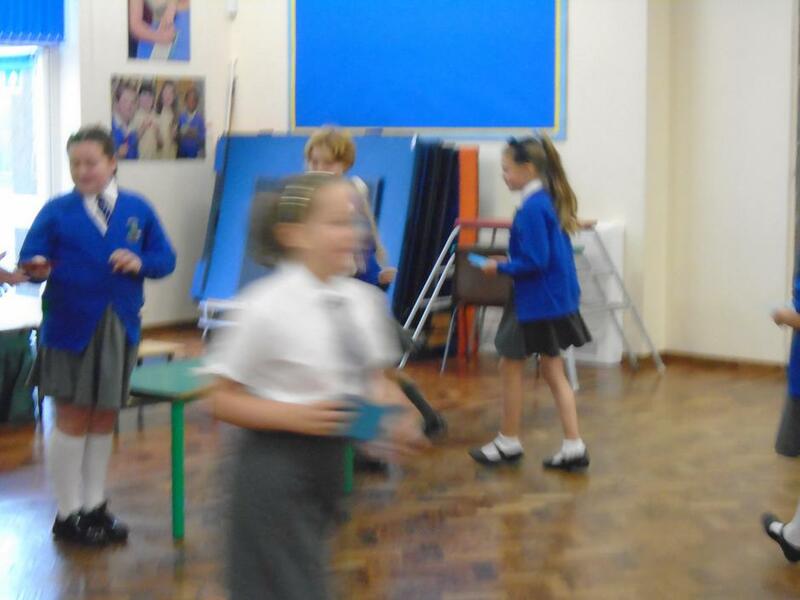 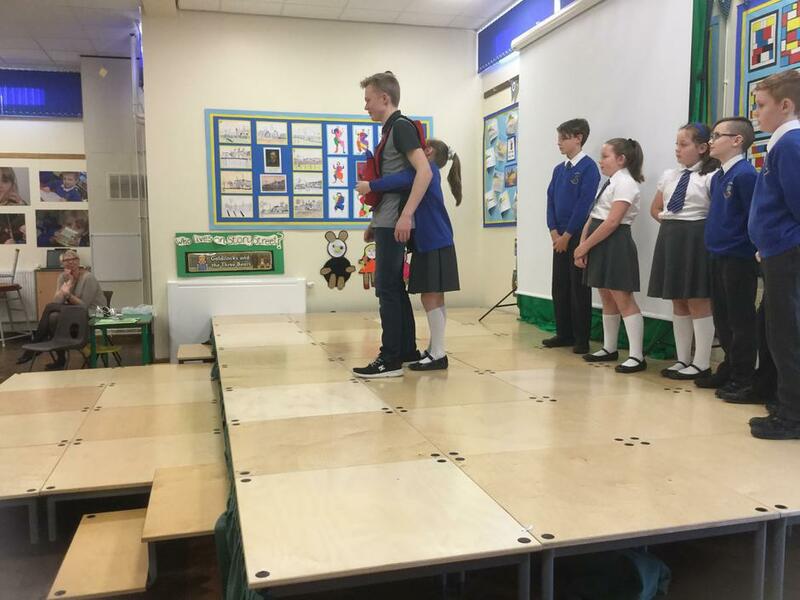 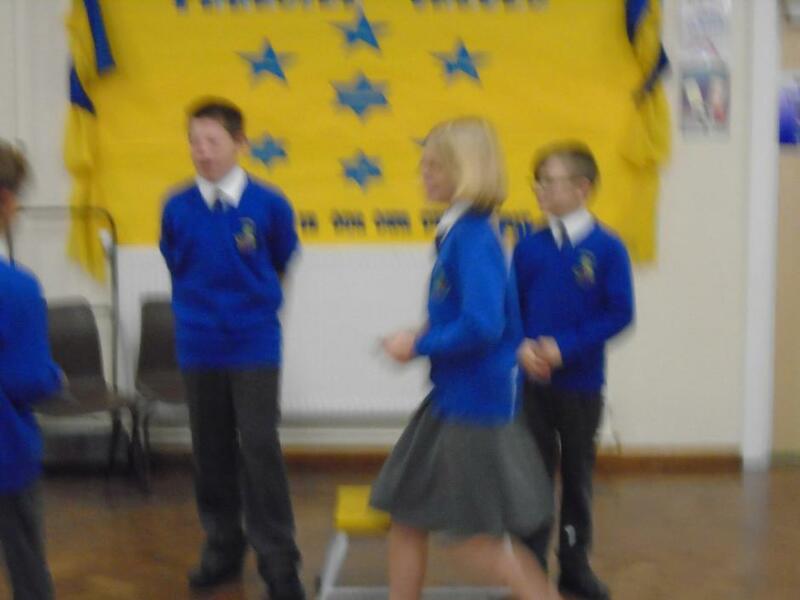 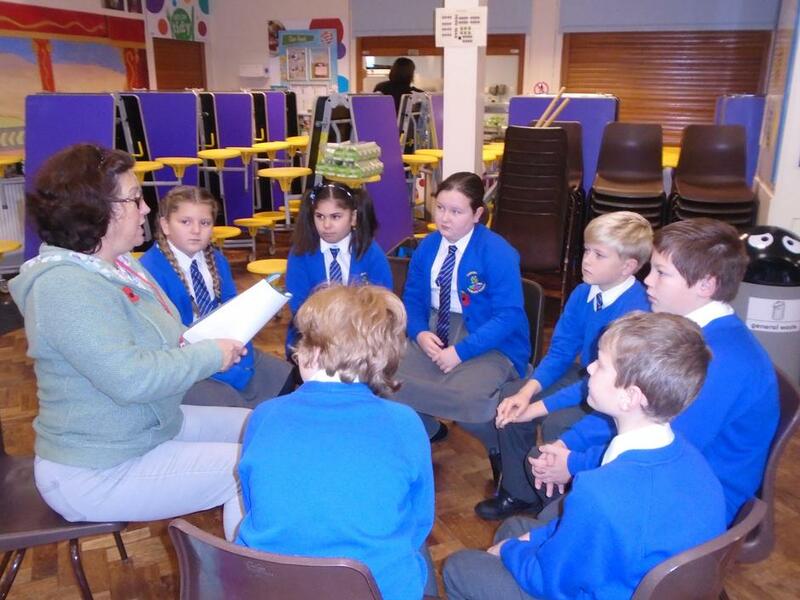 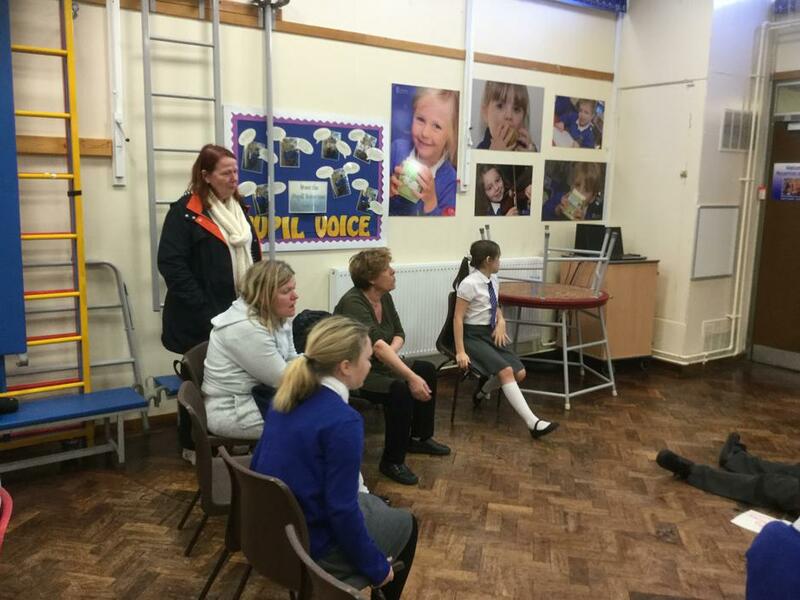 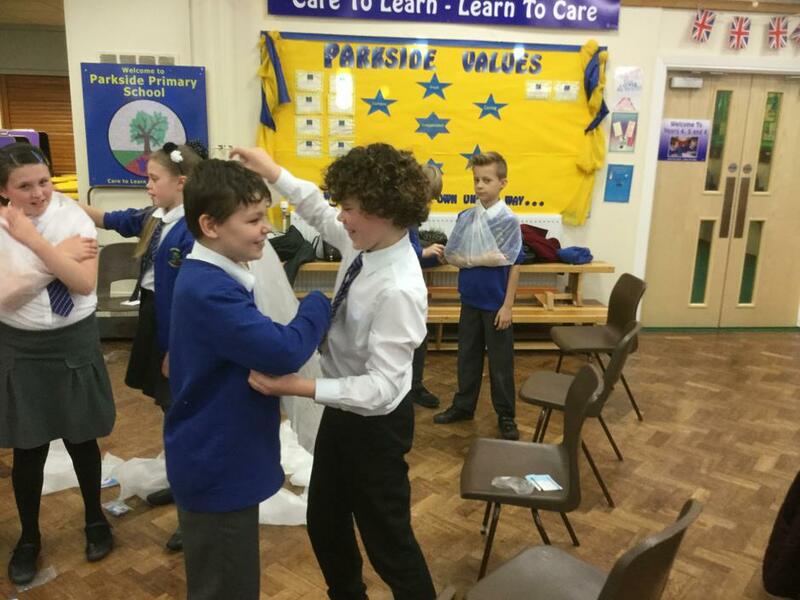 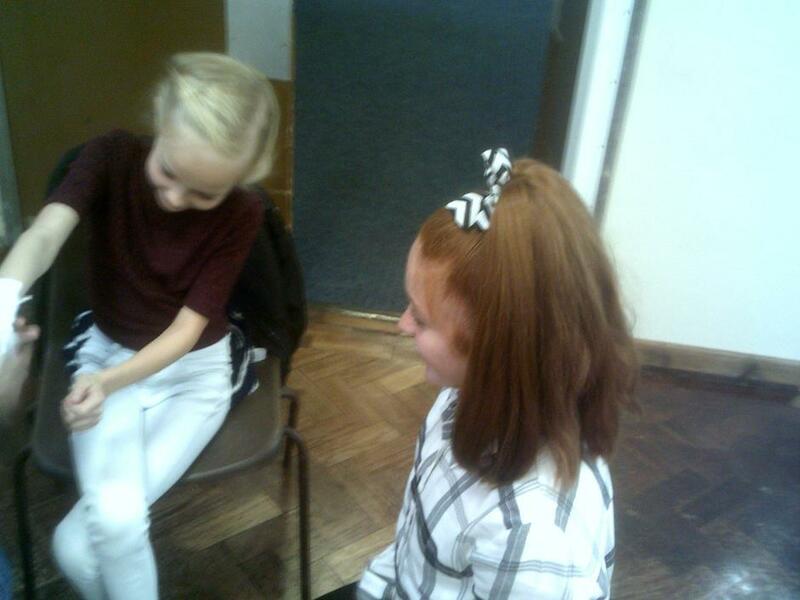 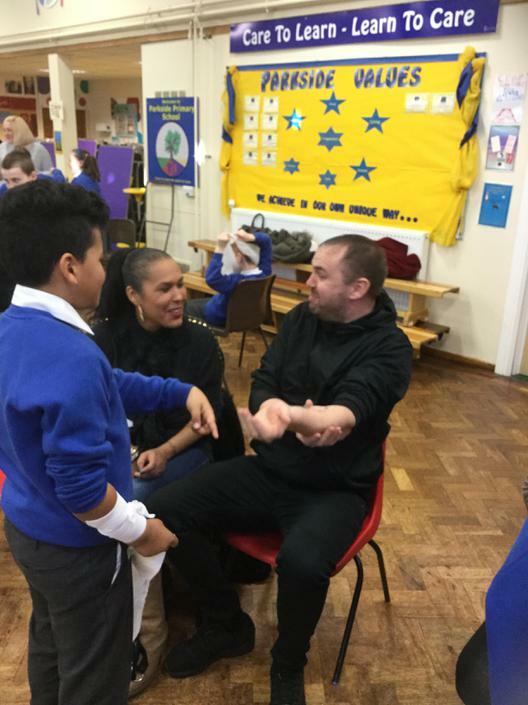 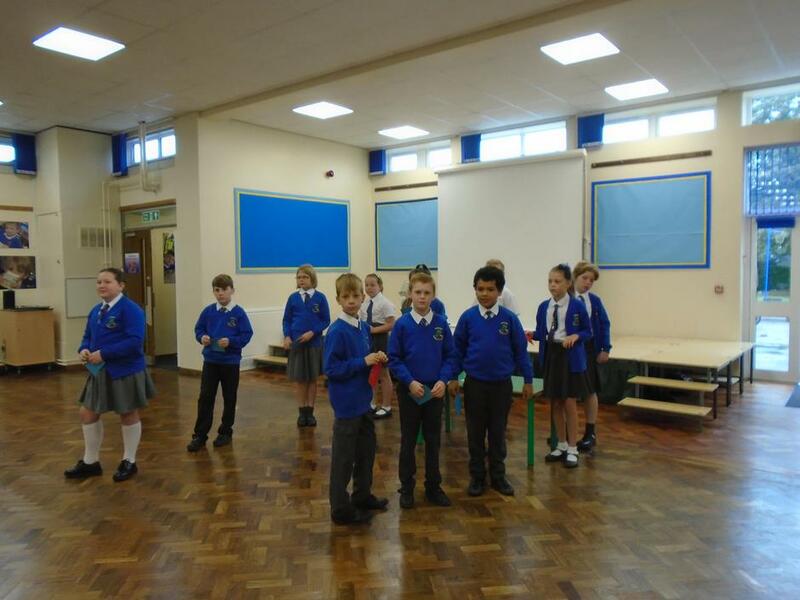 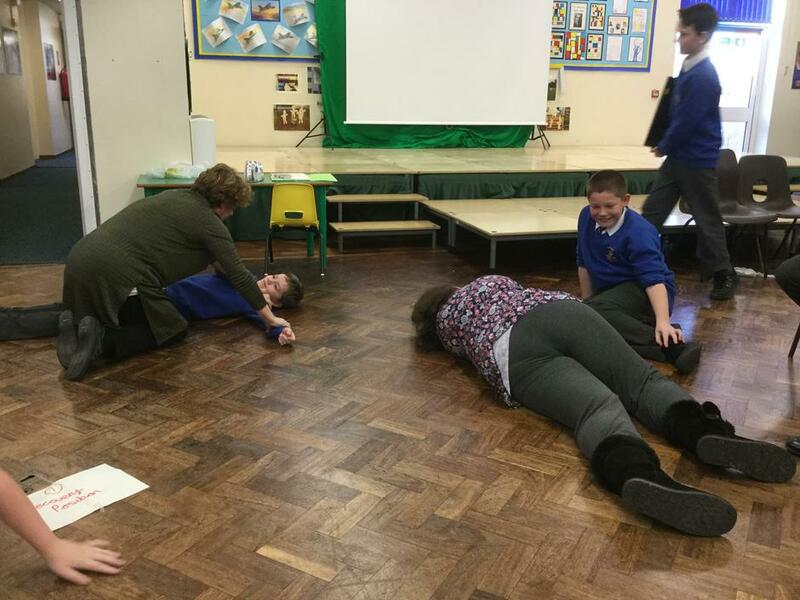 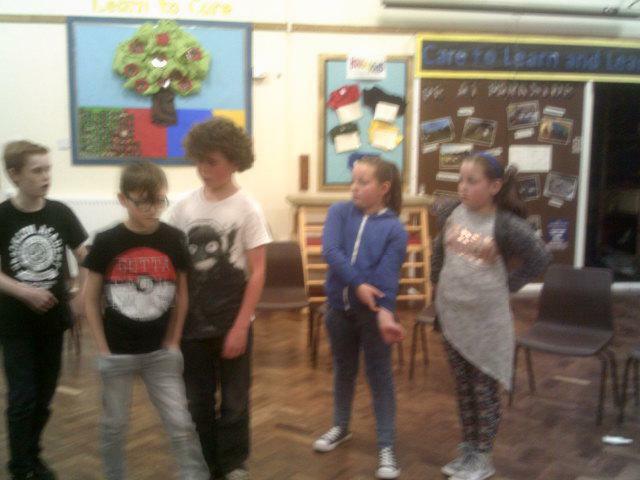 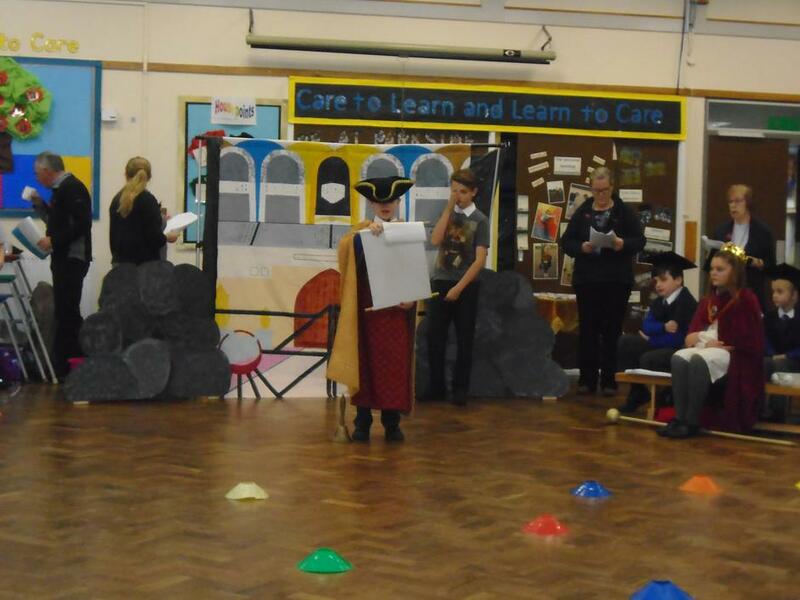 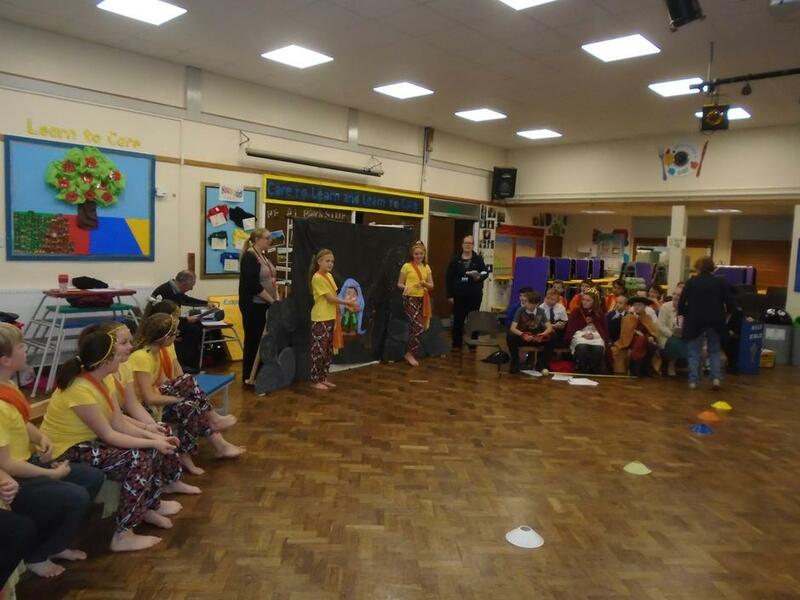 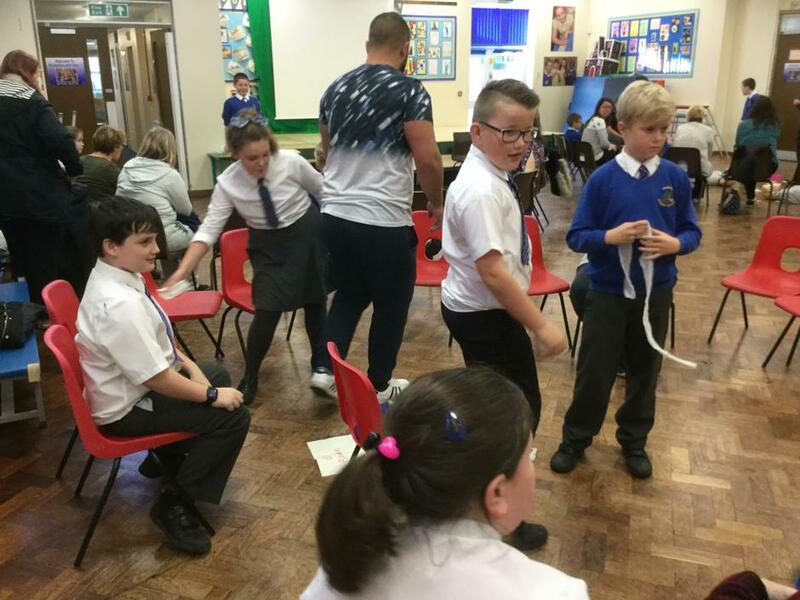 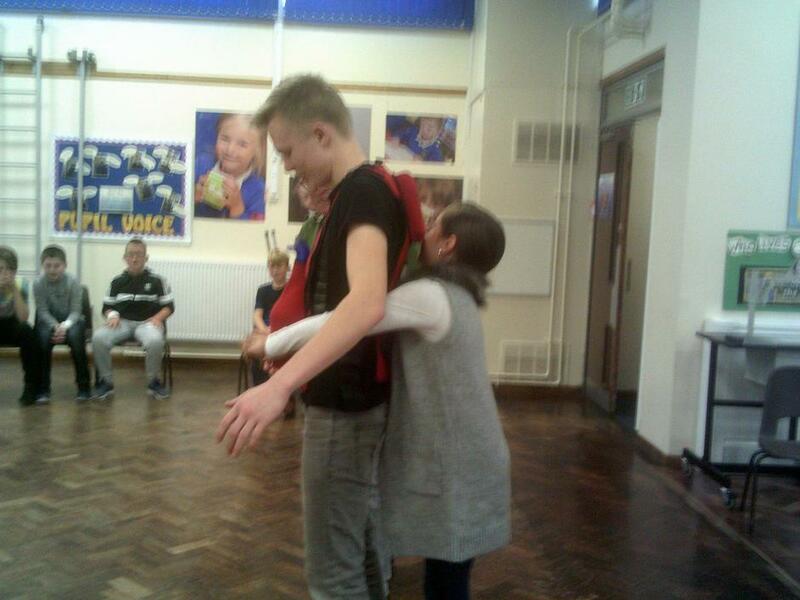 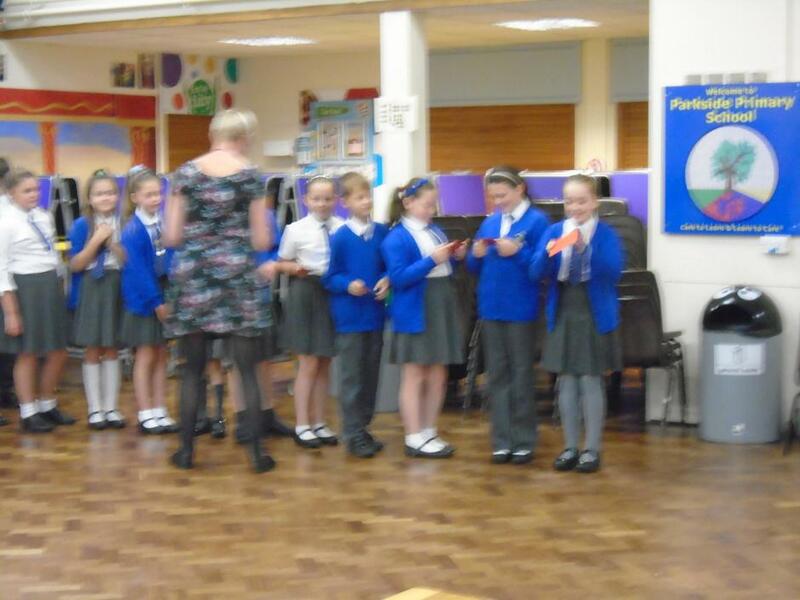 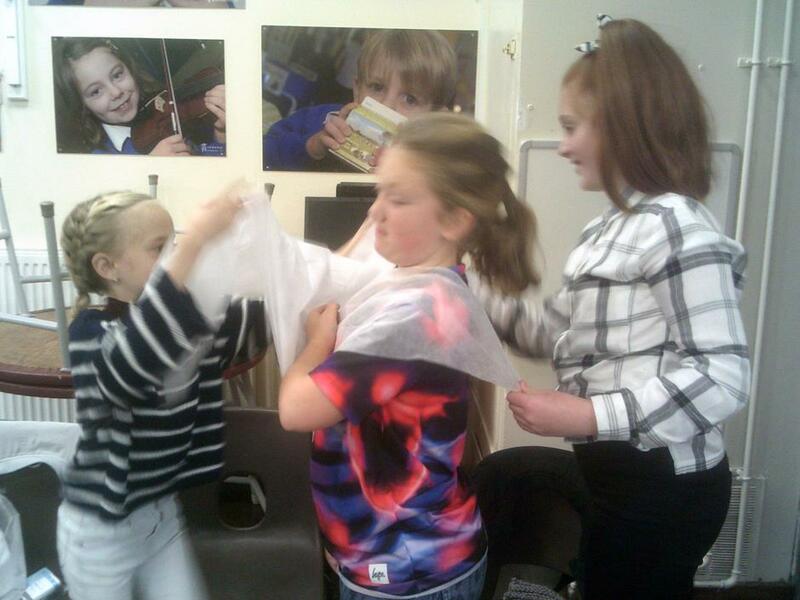 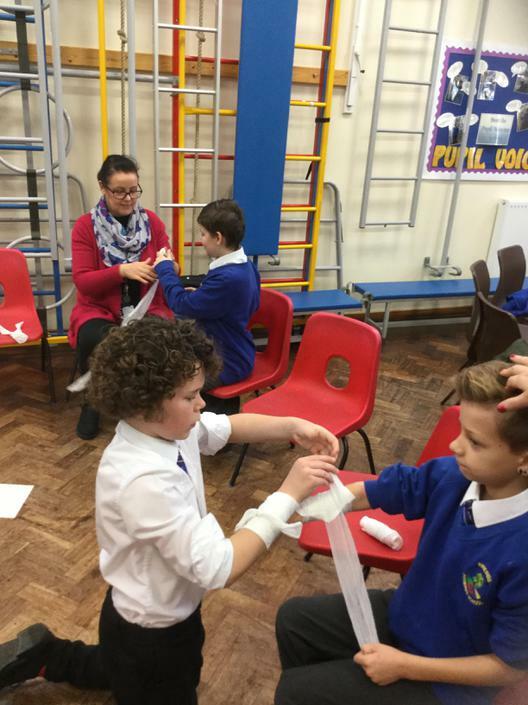 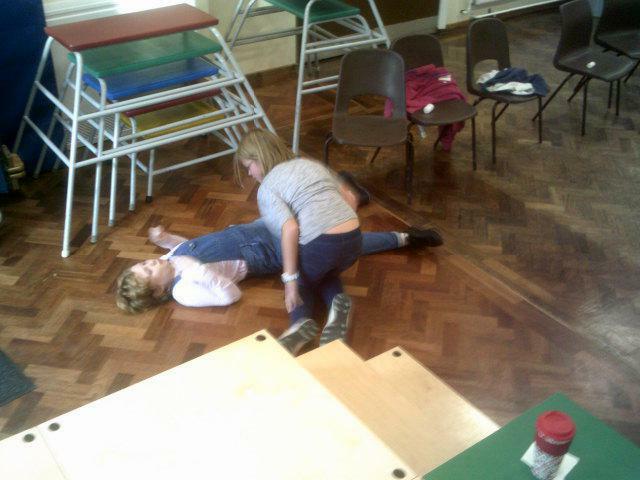 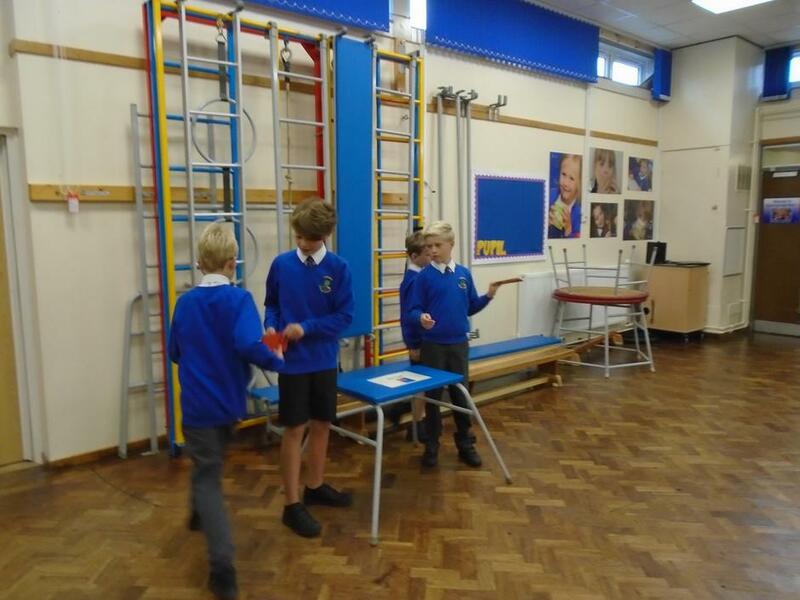 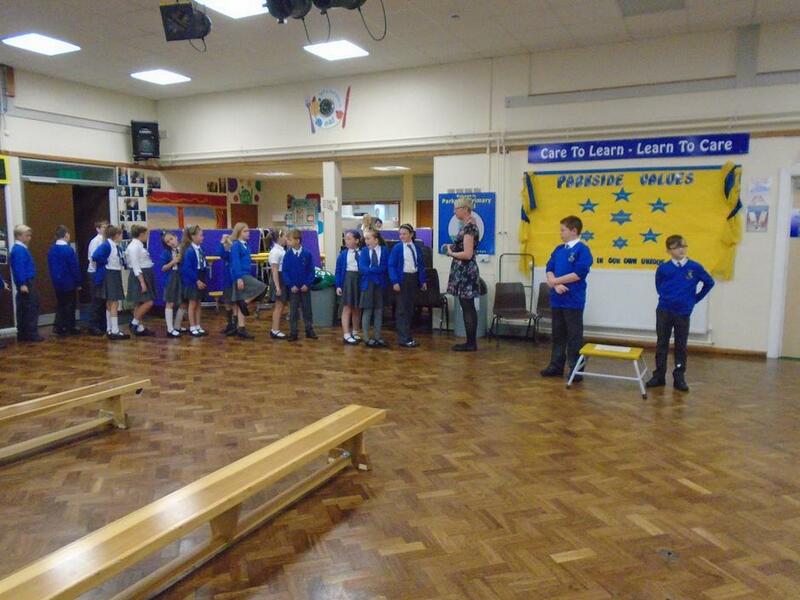 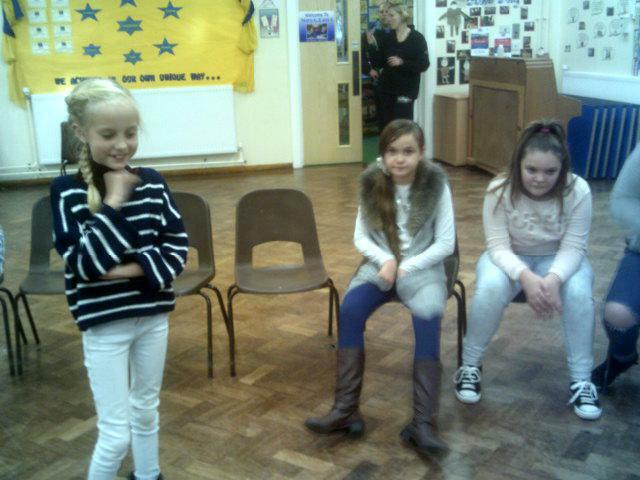 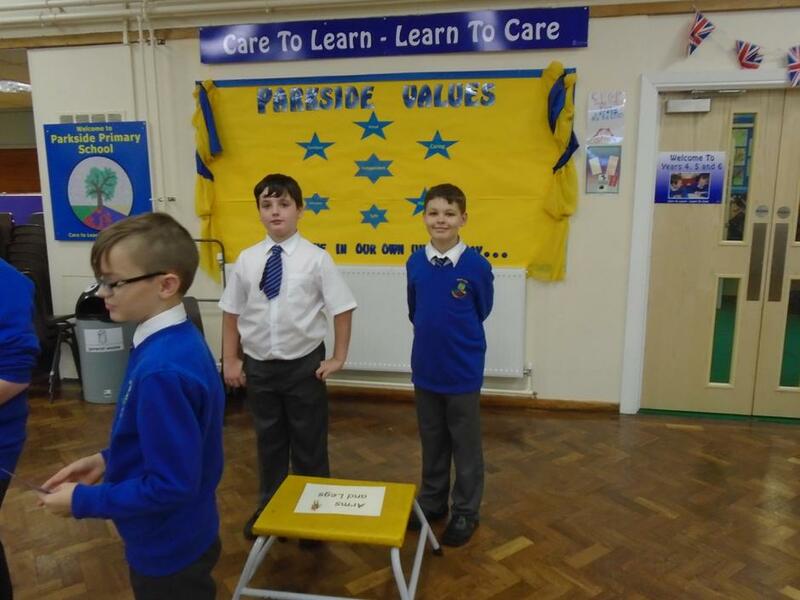 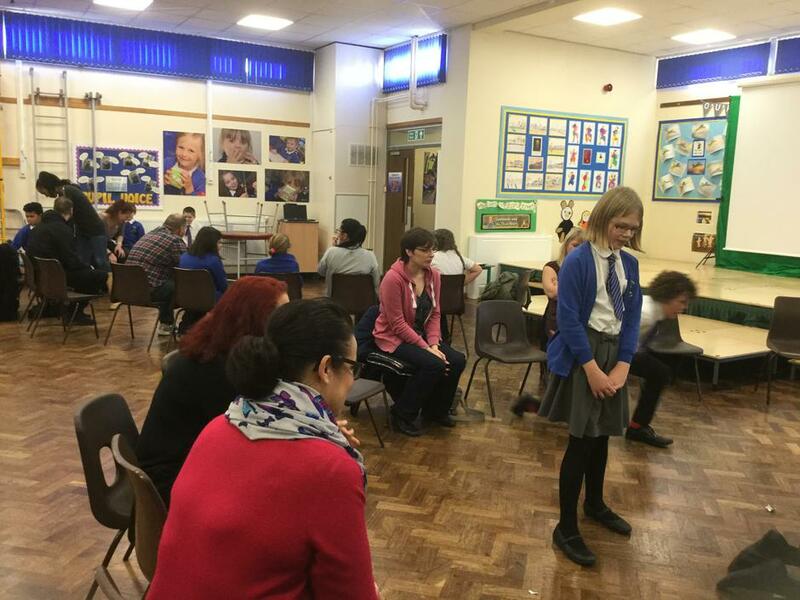 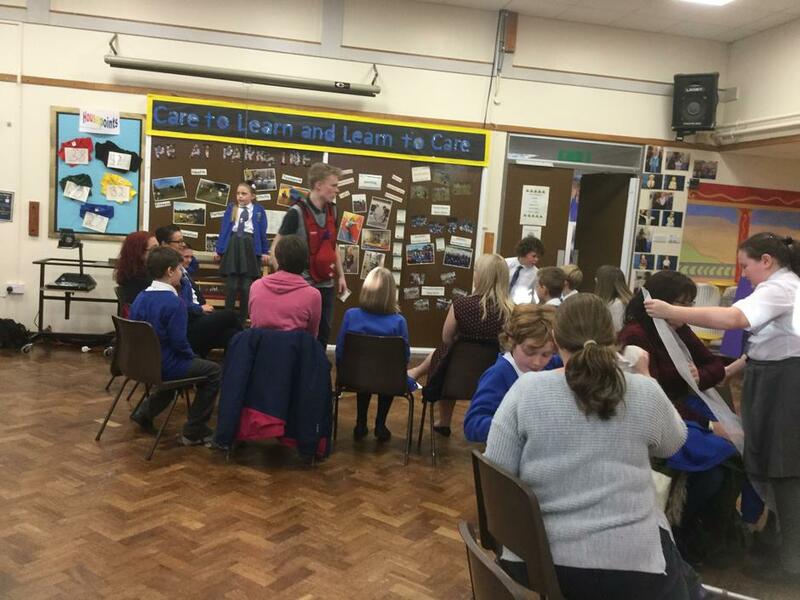 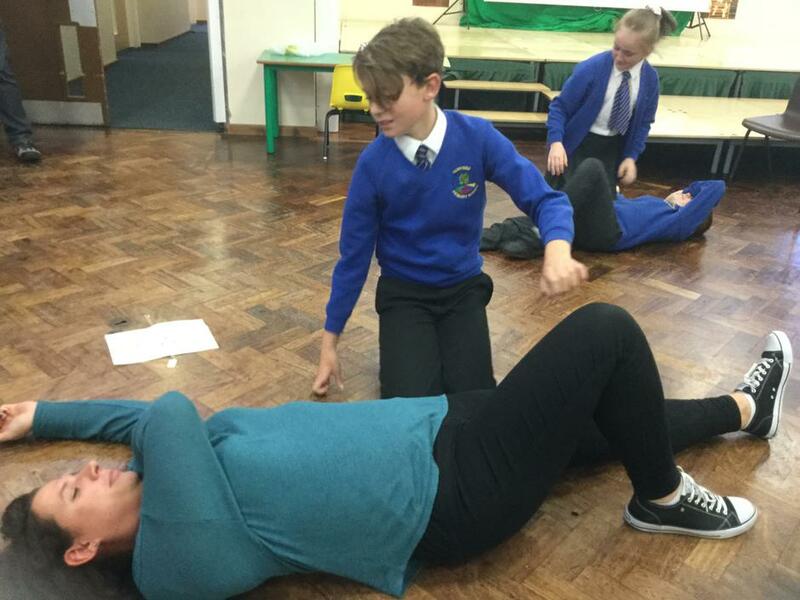 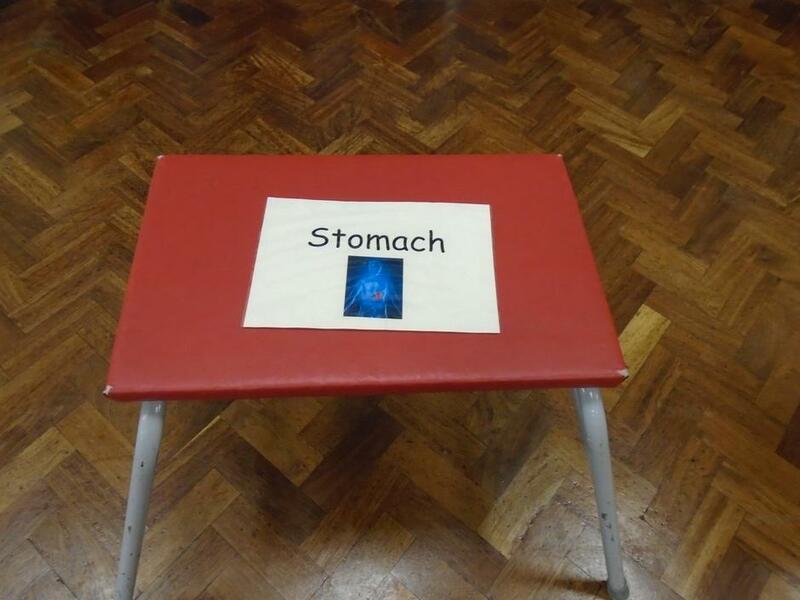 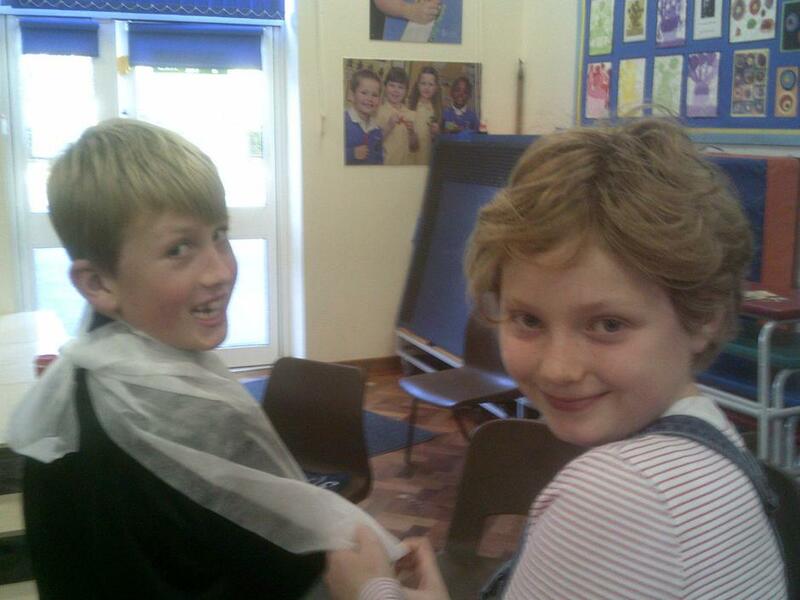 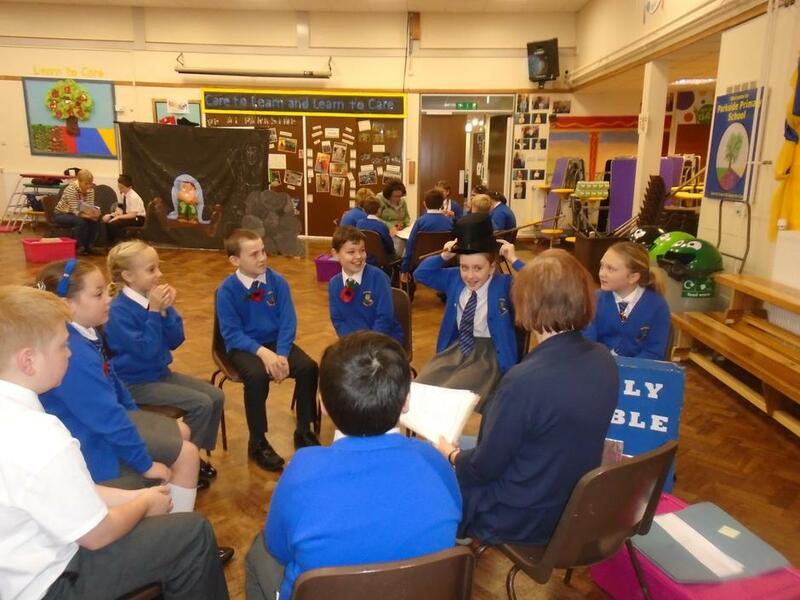 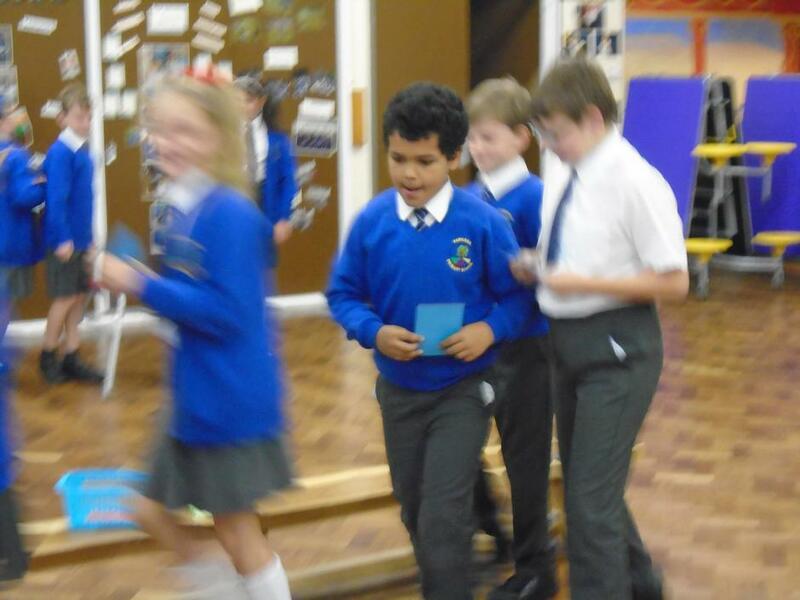 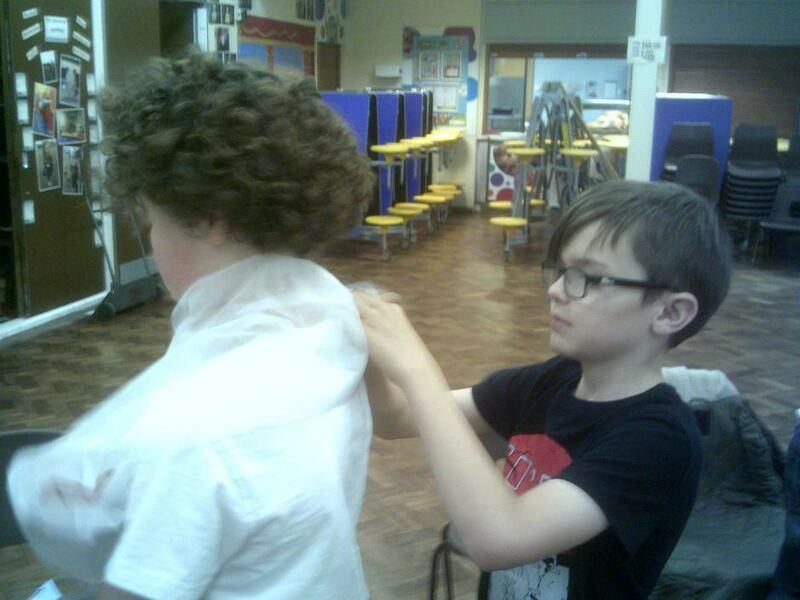 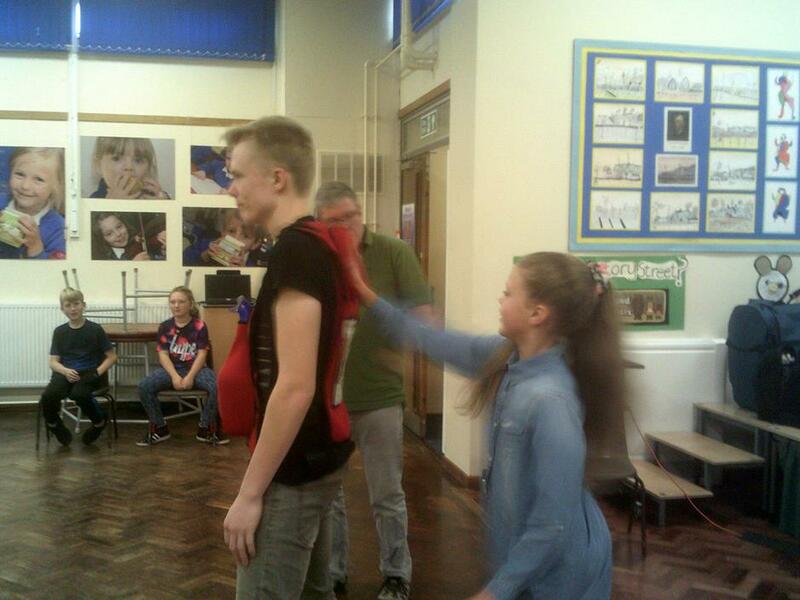 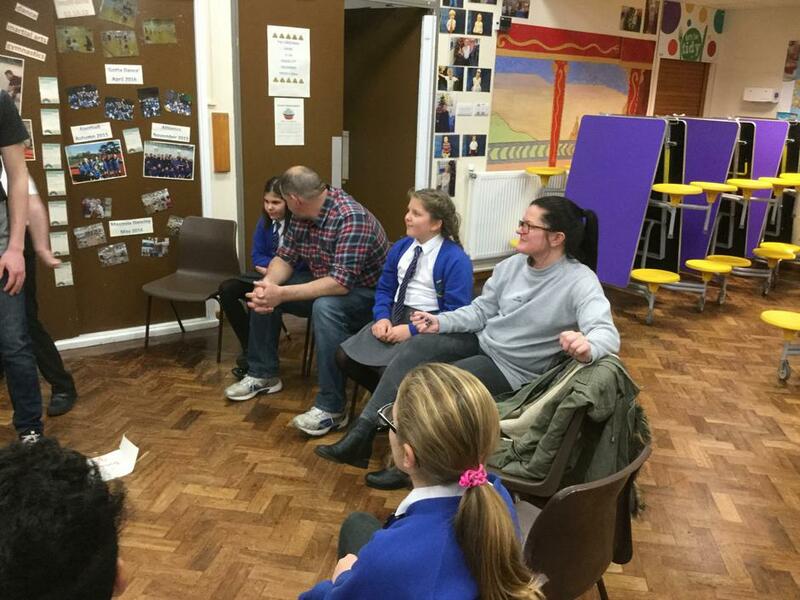 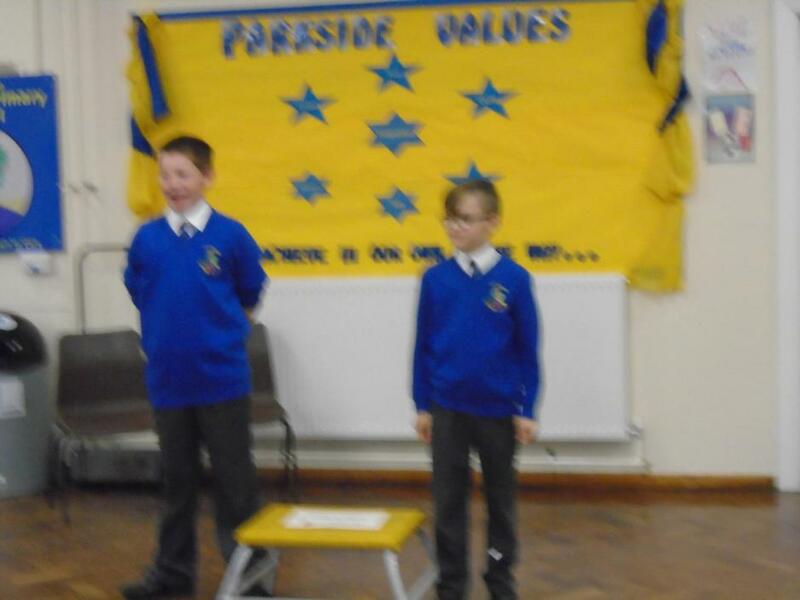 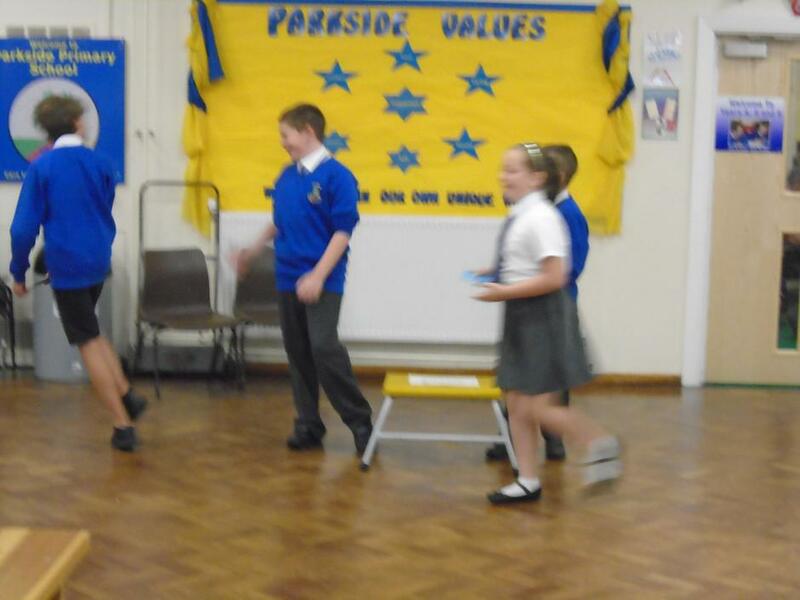 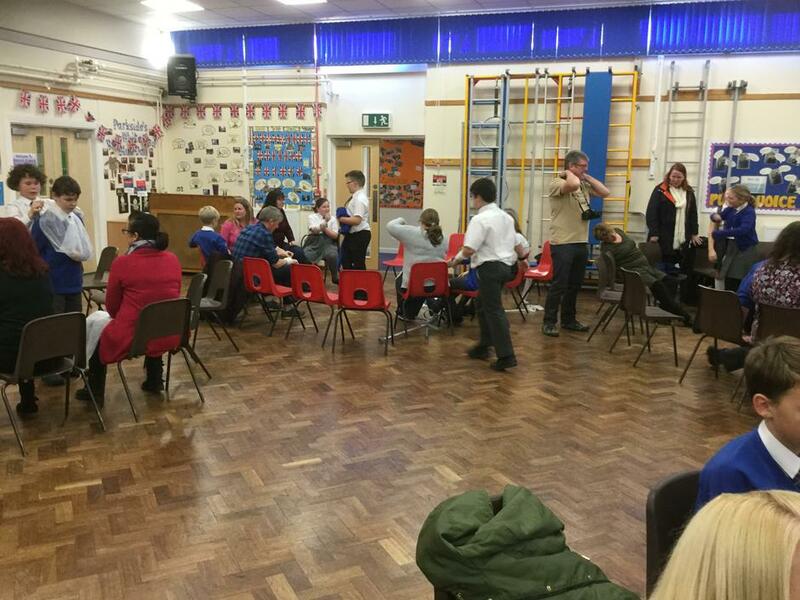 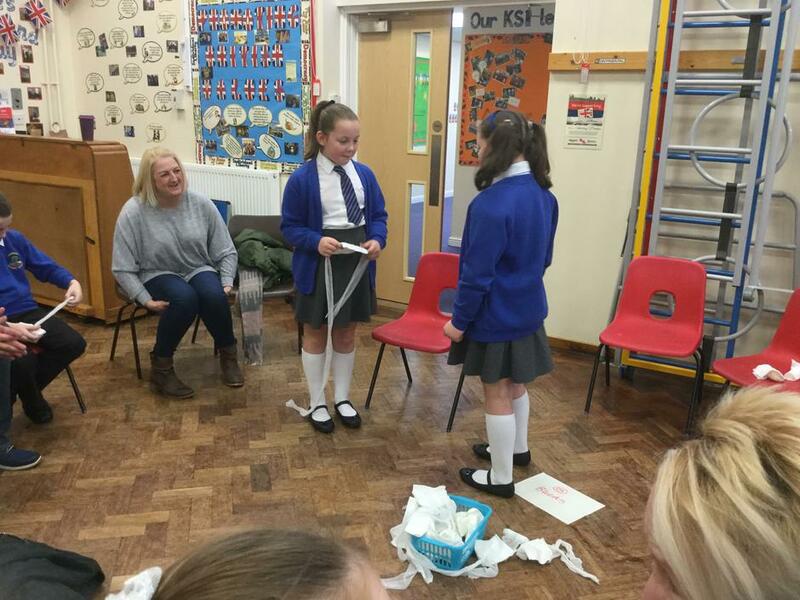 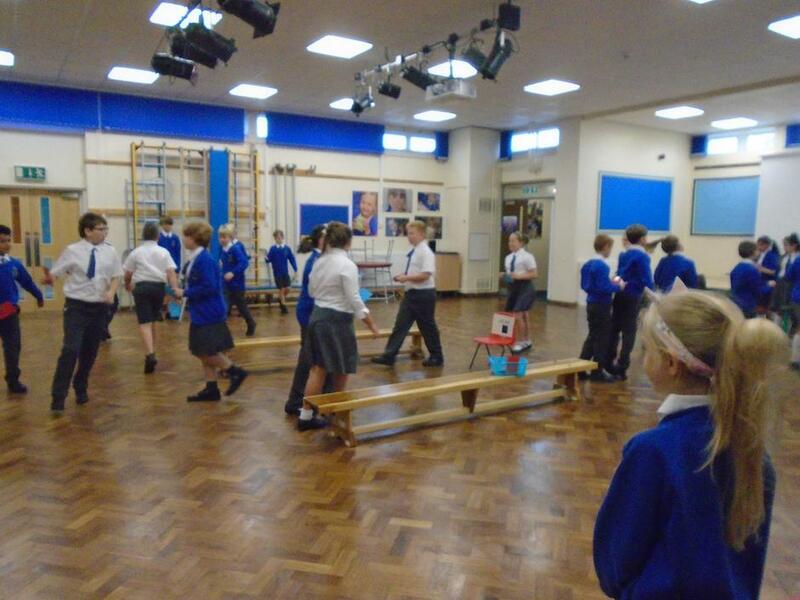 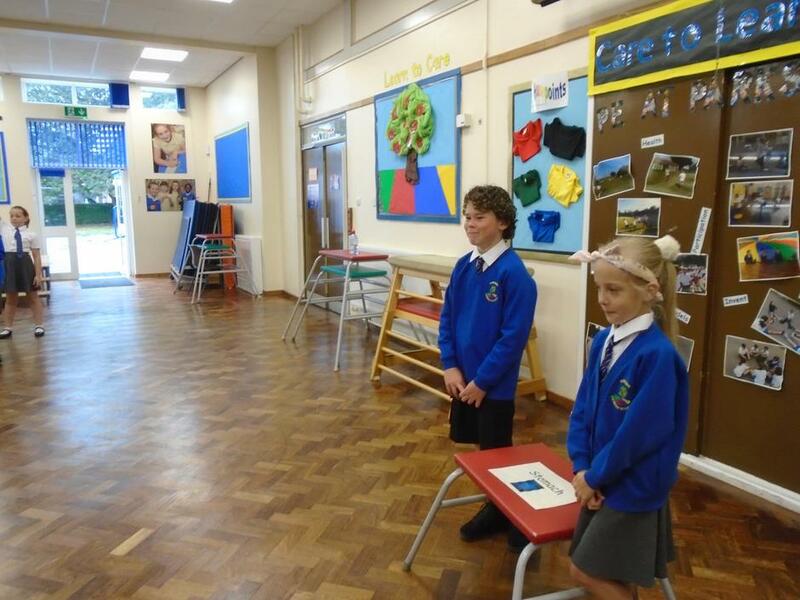 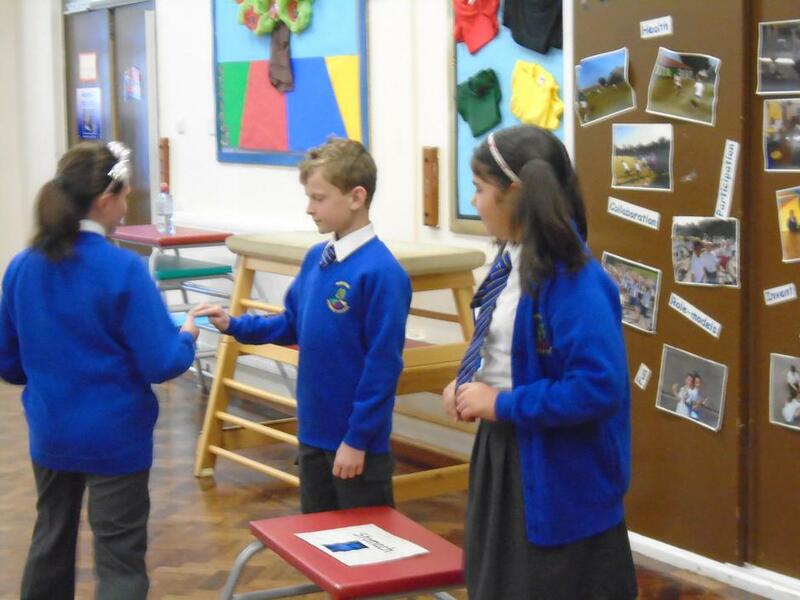 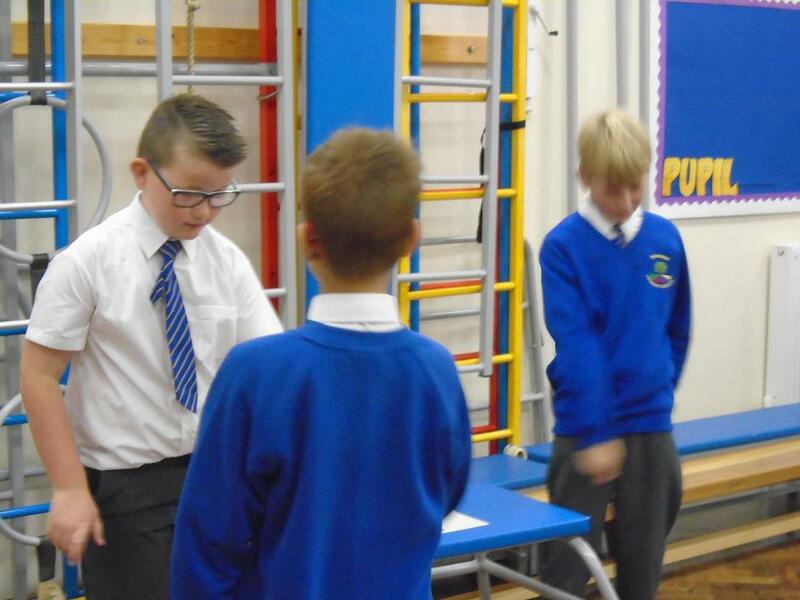 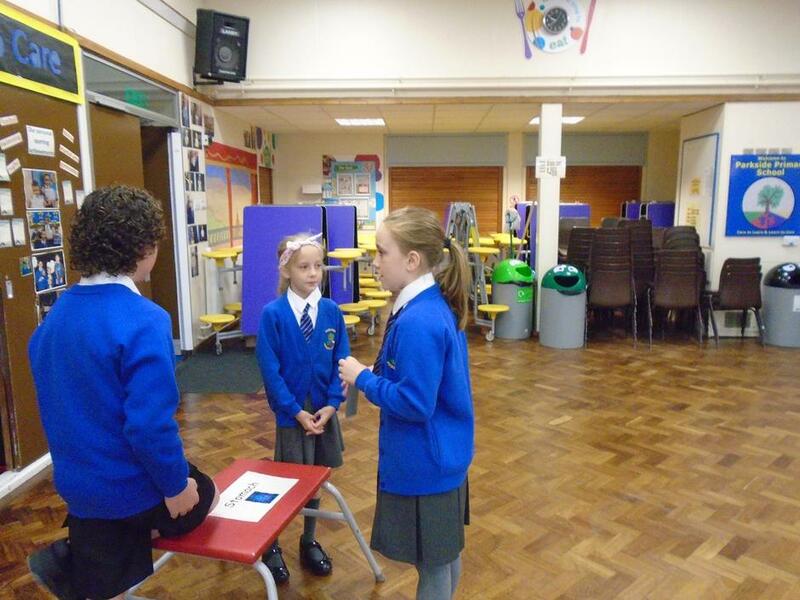 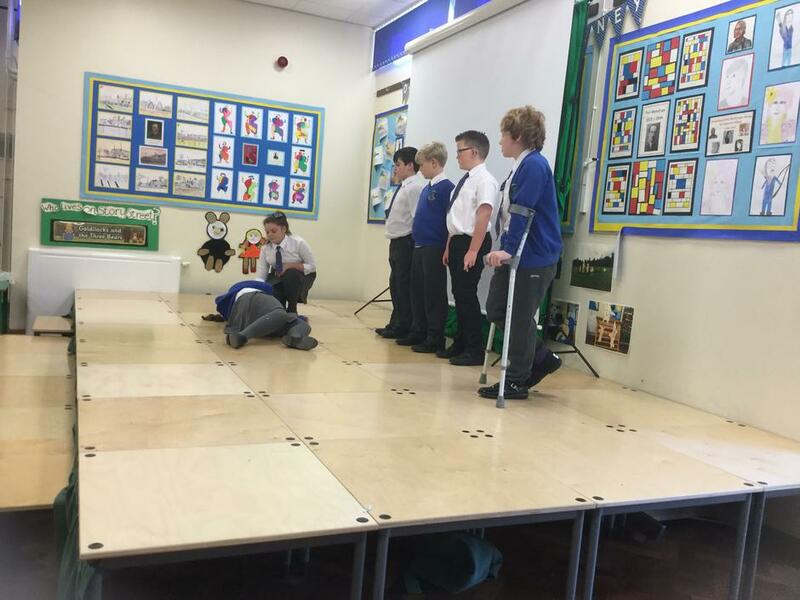 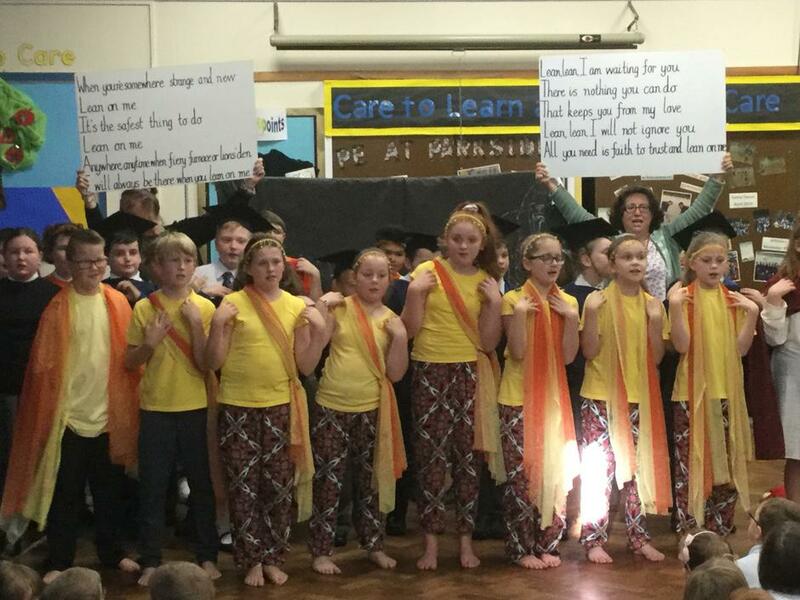 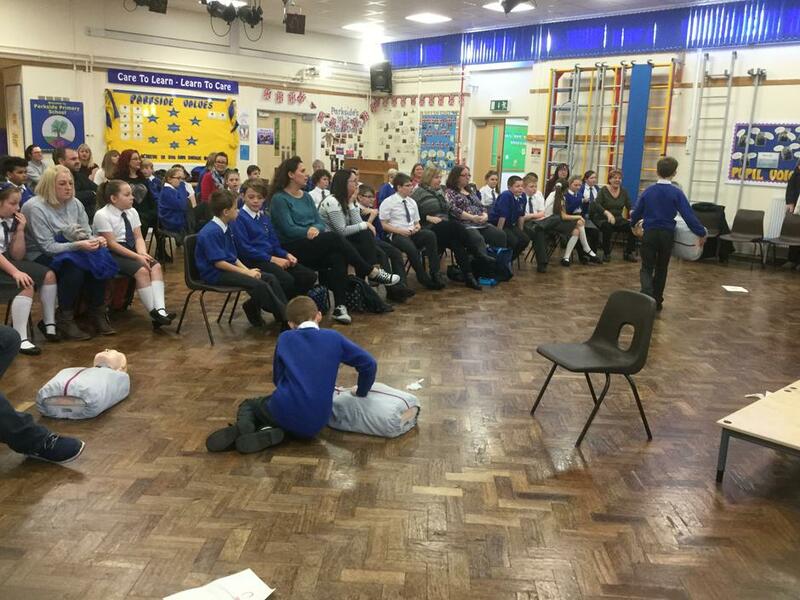 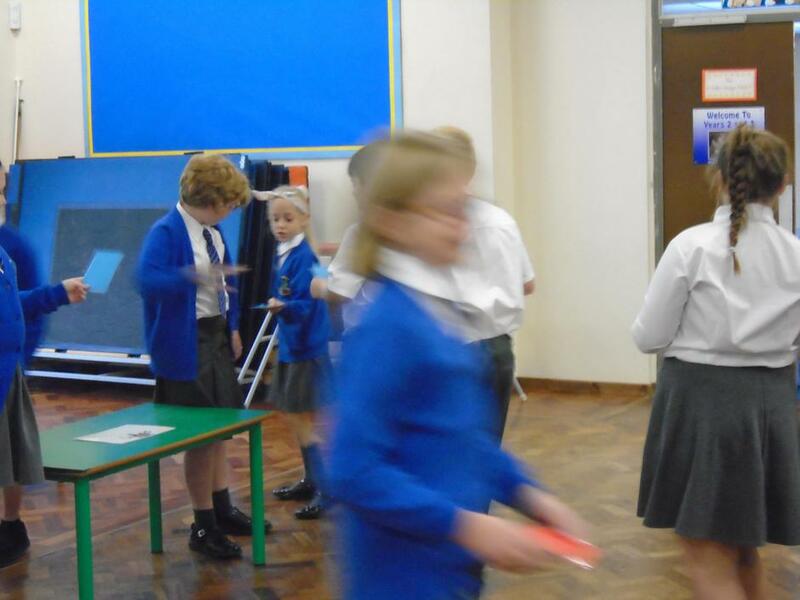 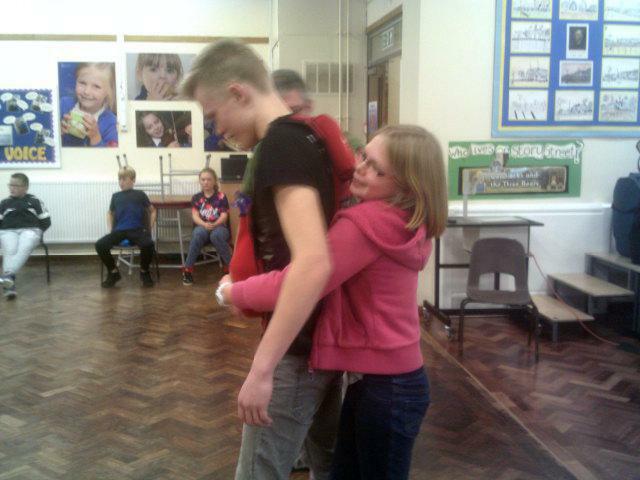 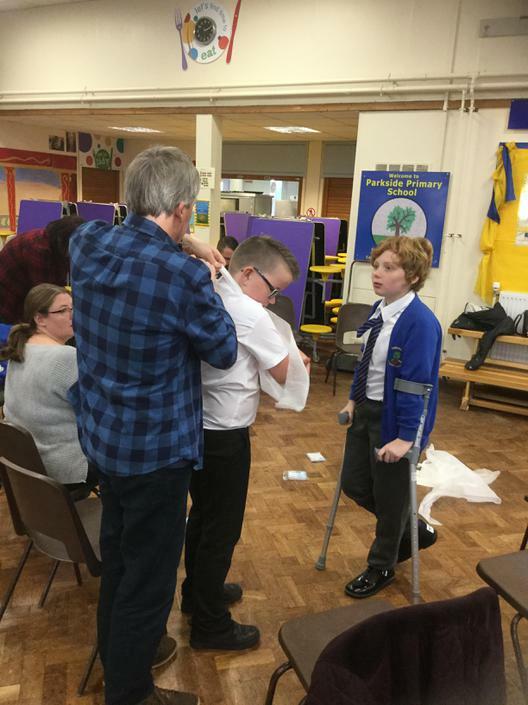 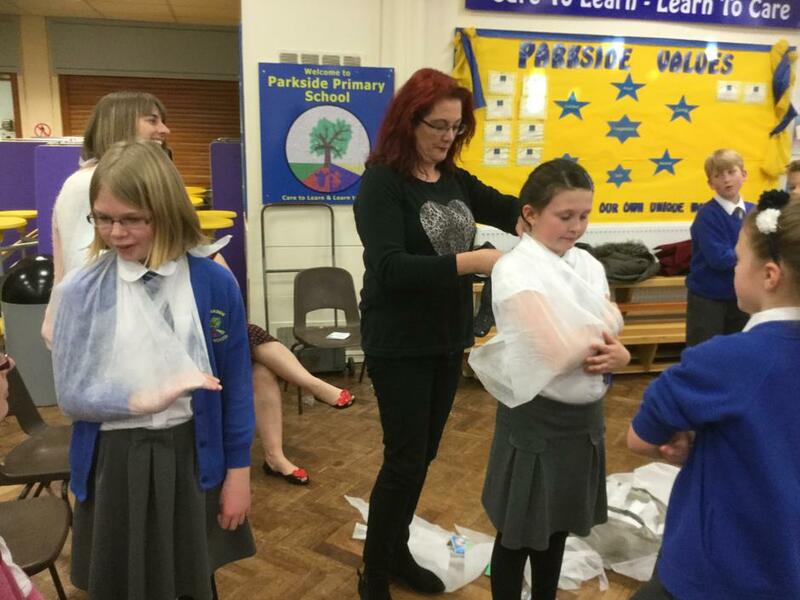 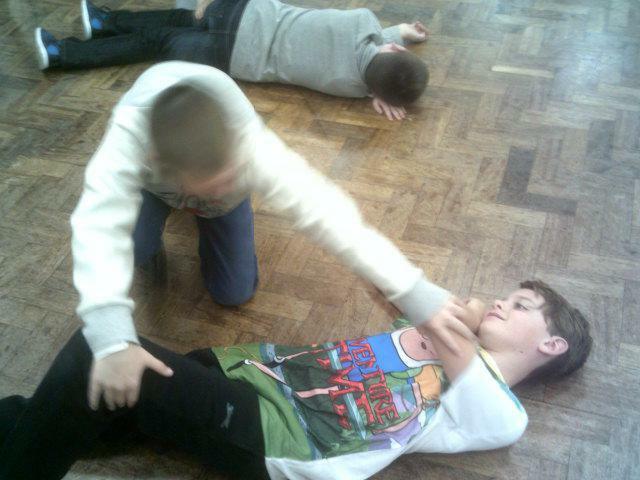 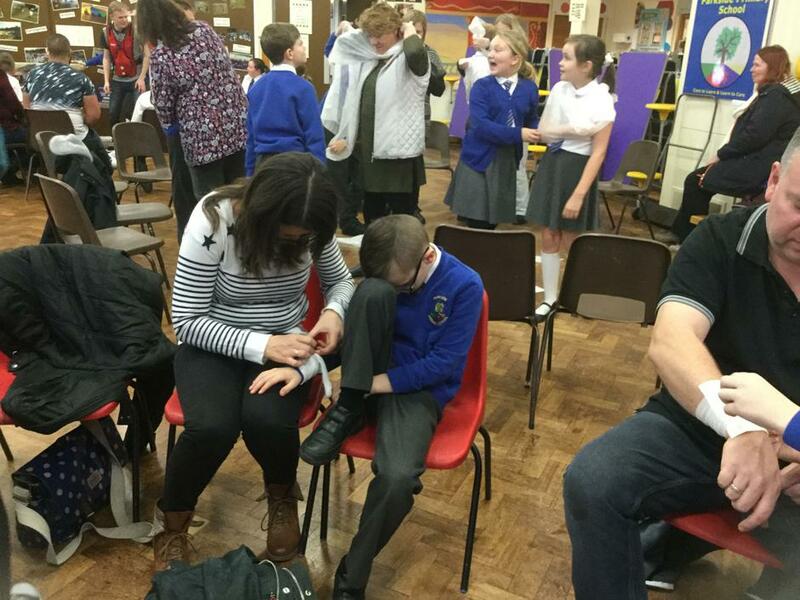 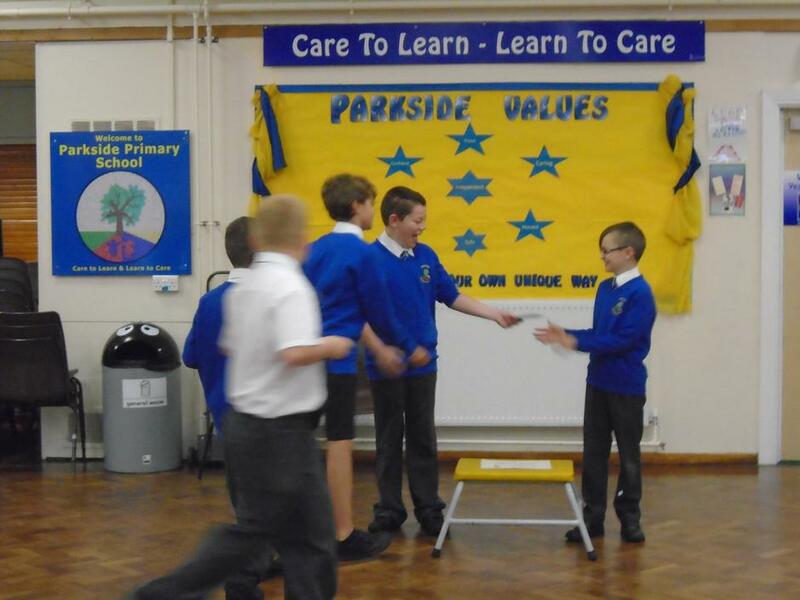 Last Friday Year Six were fortunate to have the opportunity to work with the Question Mark drama group. 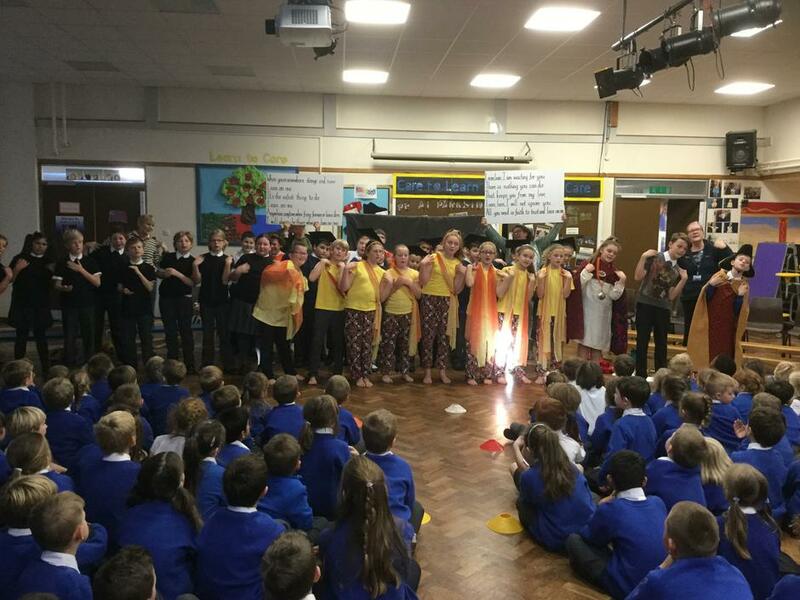 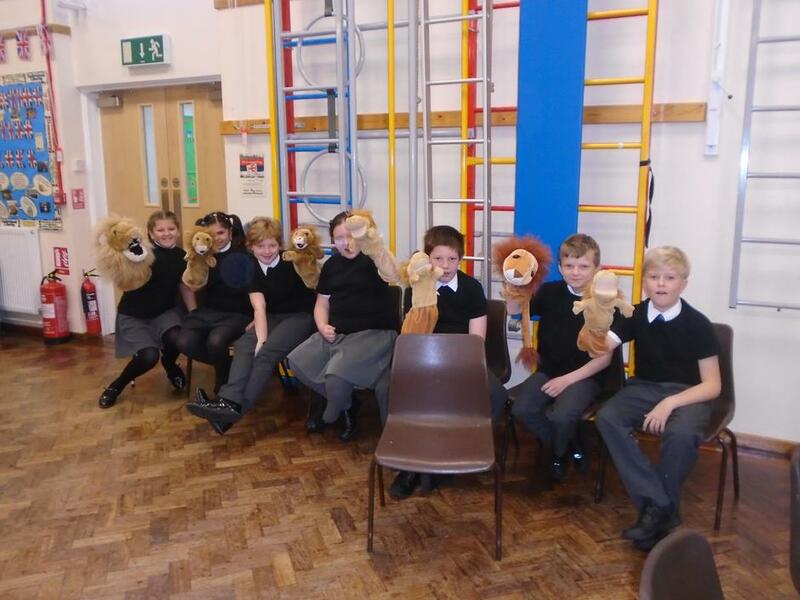 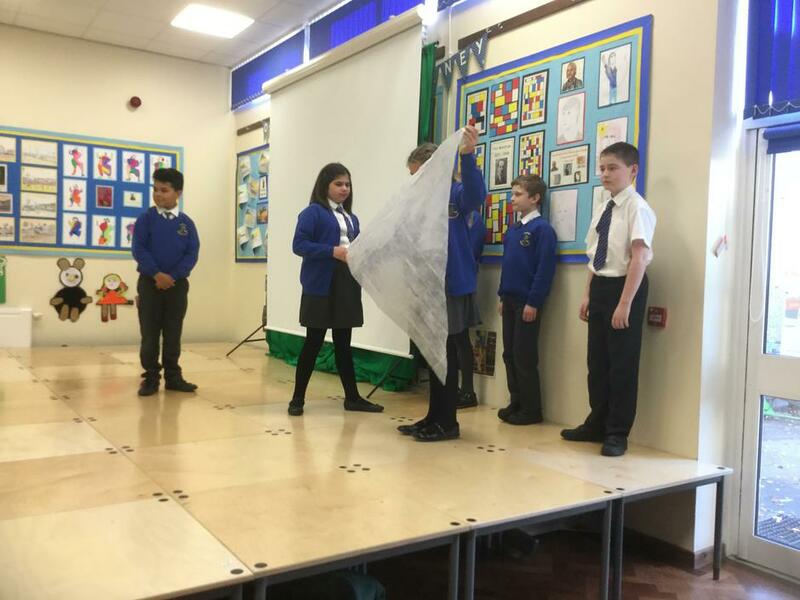 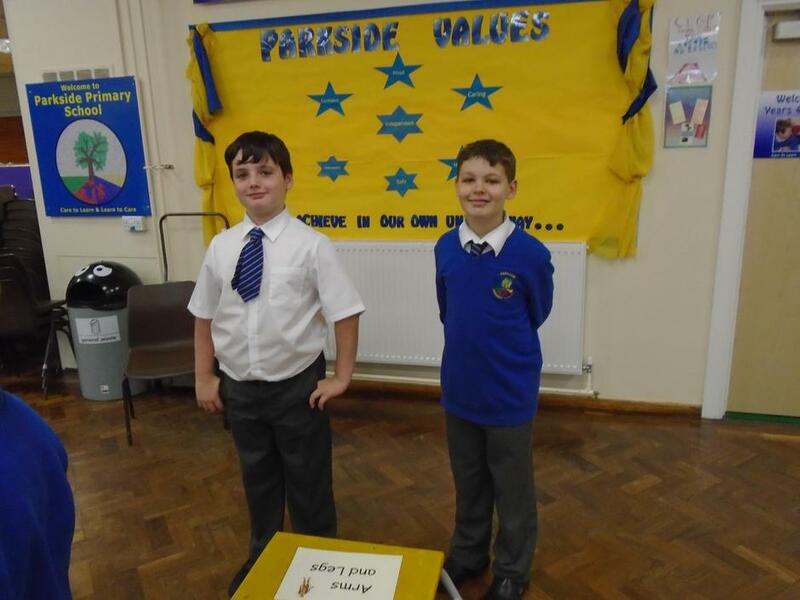 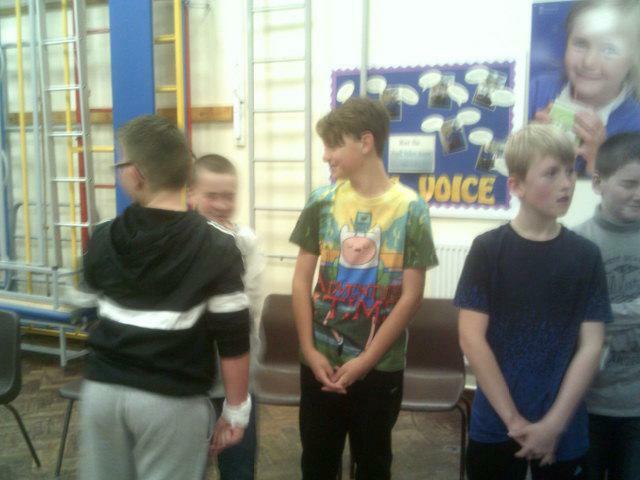 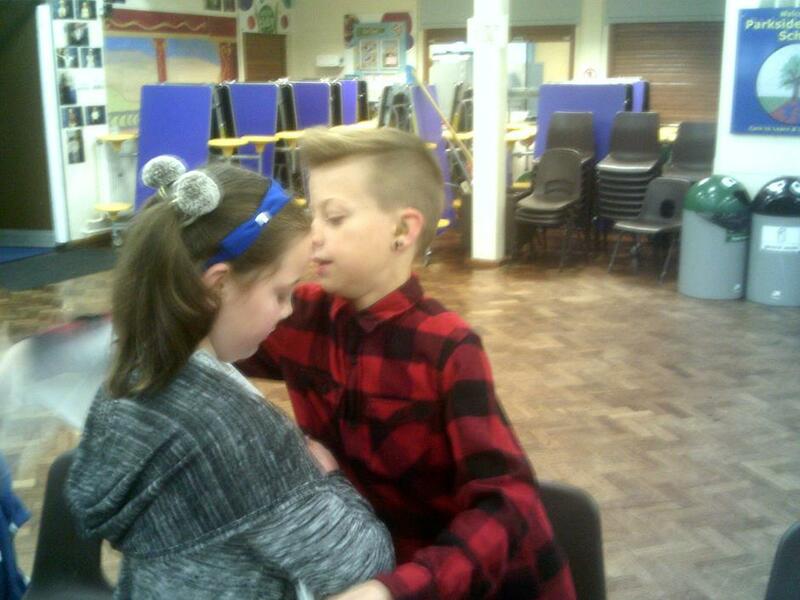 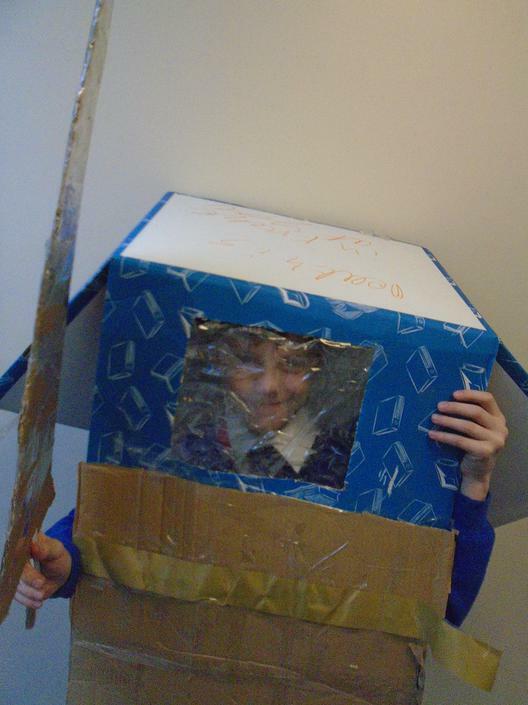 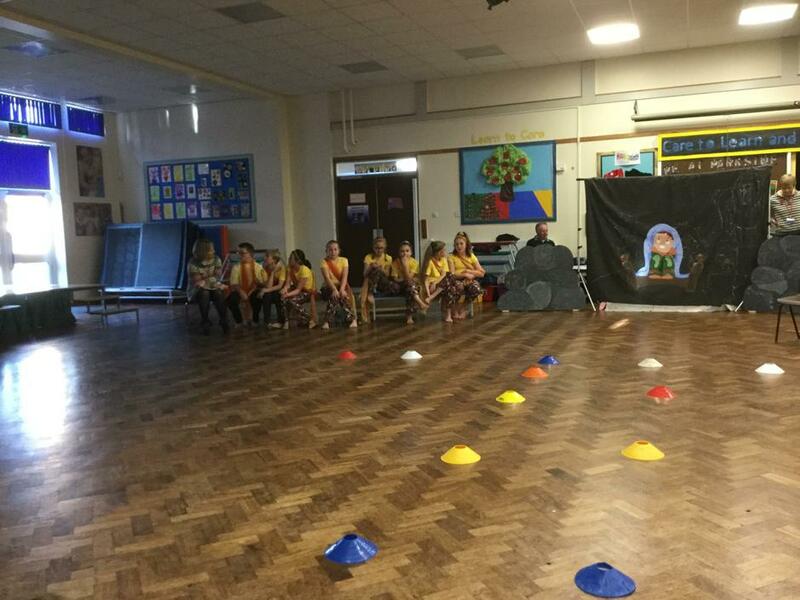 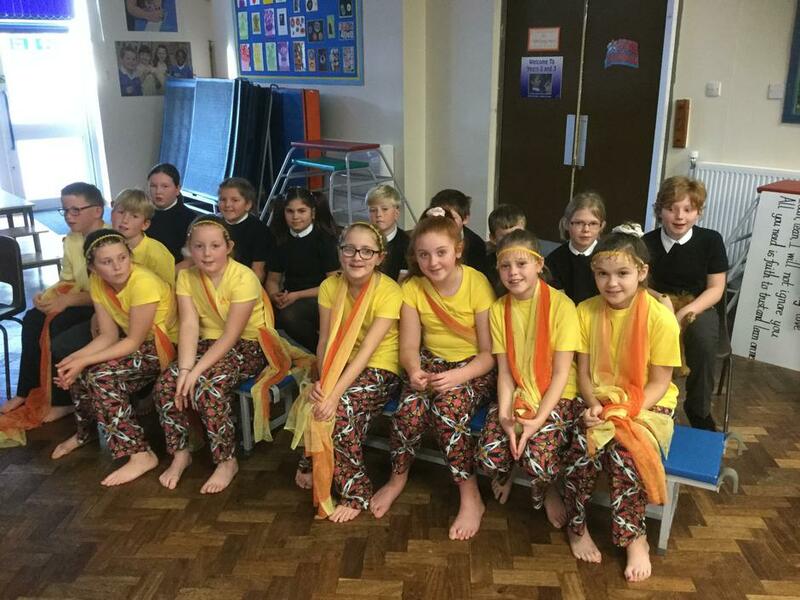 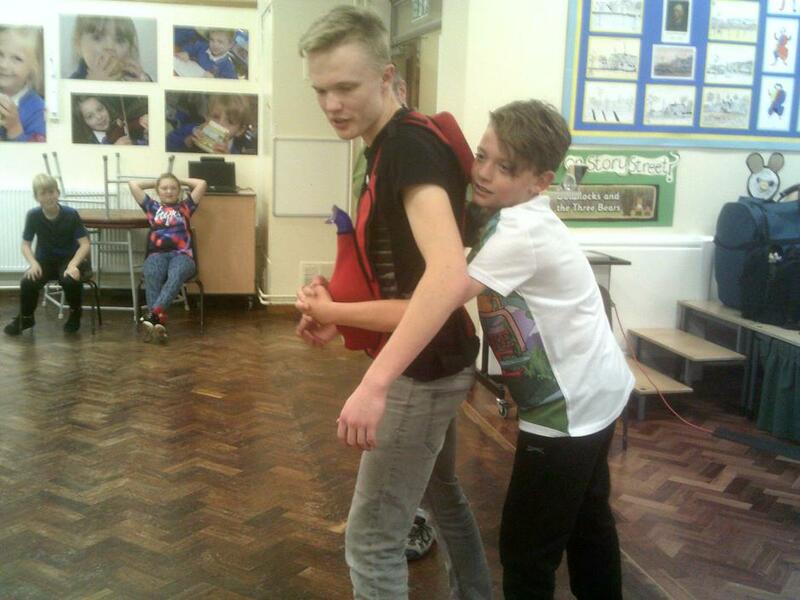 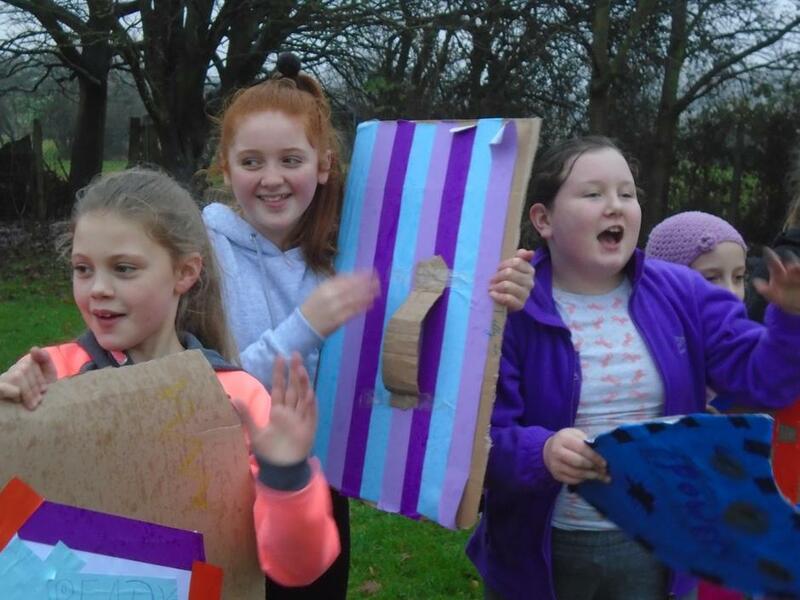 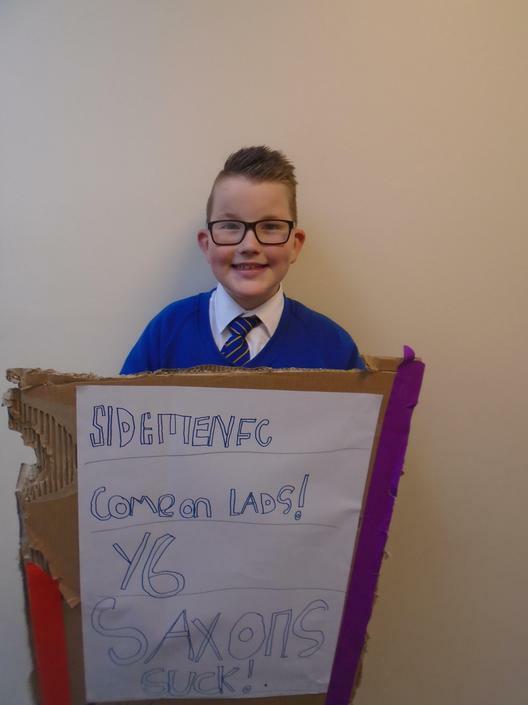 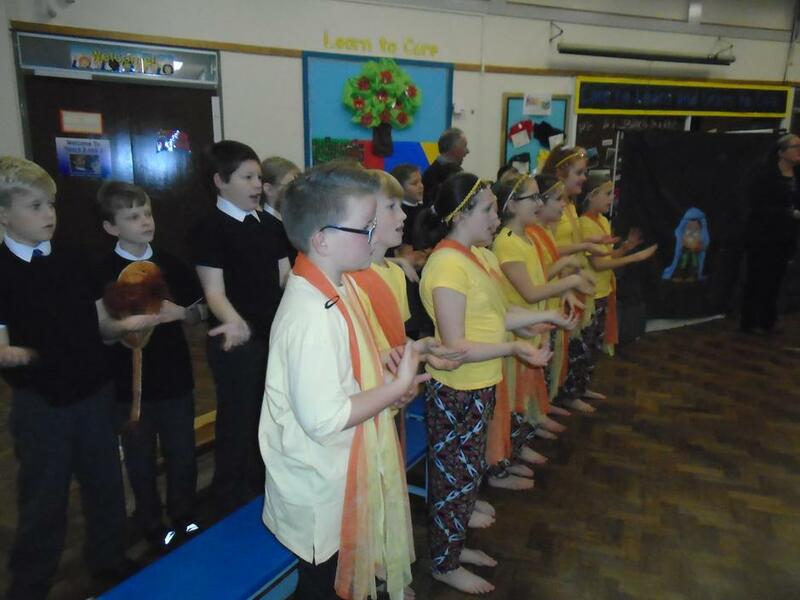 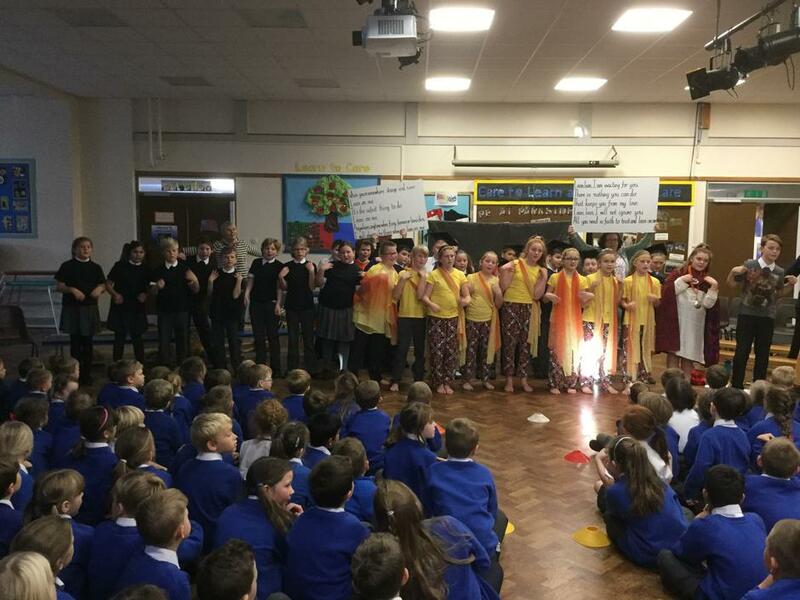 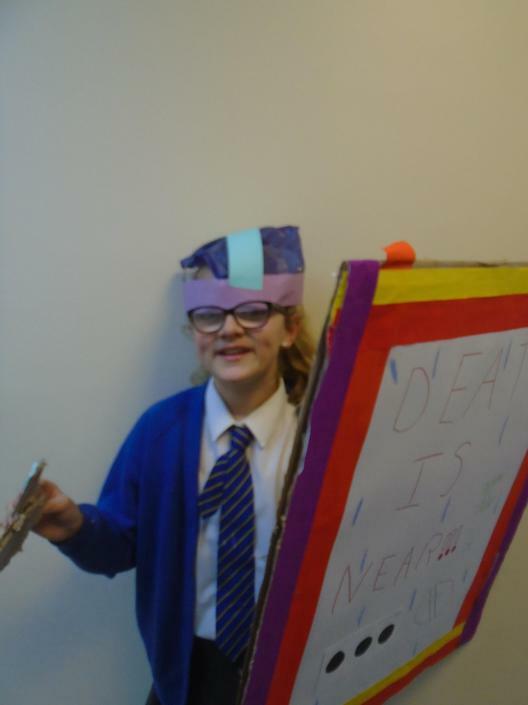 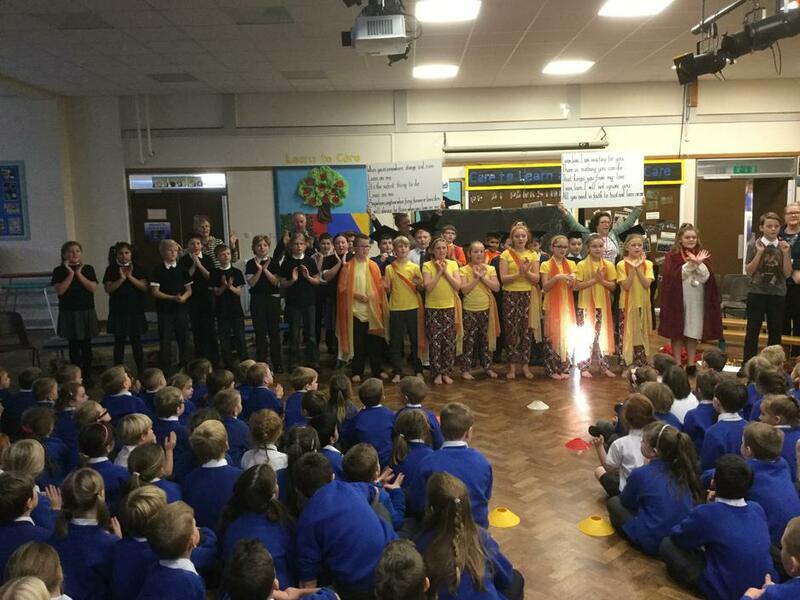 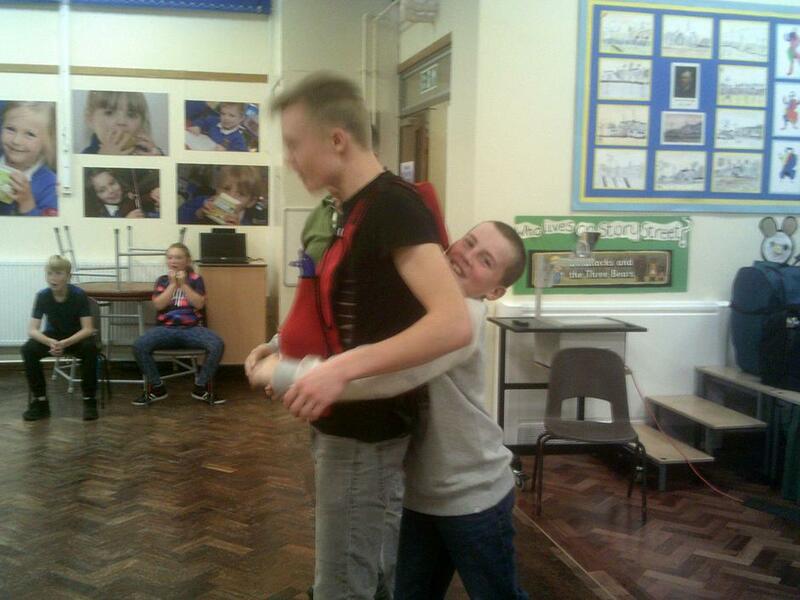 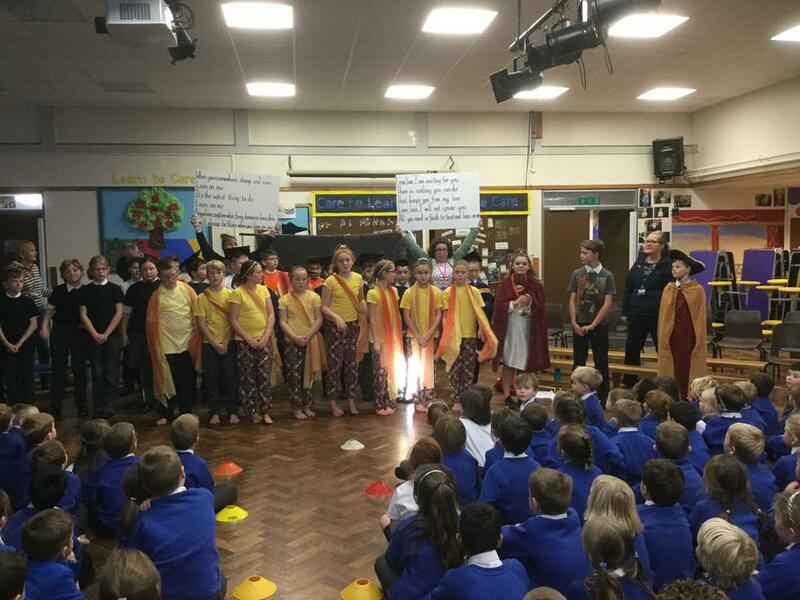 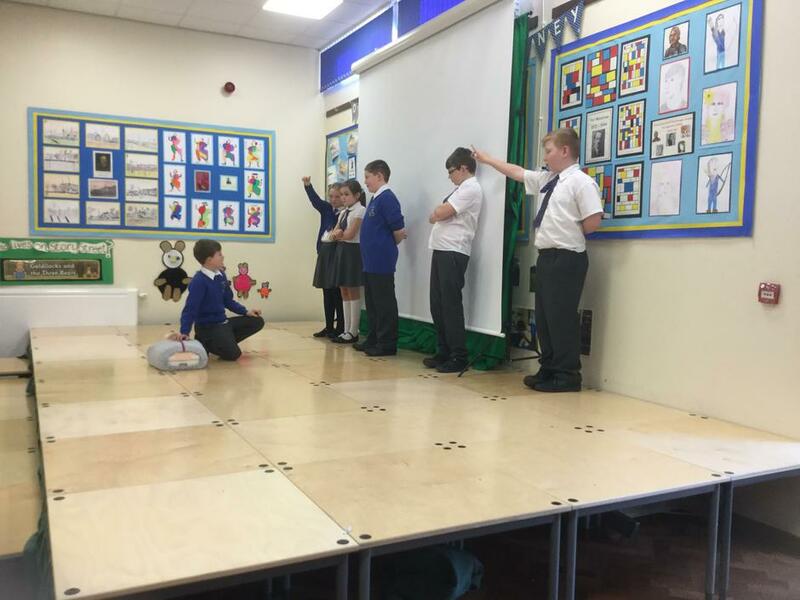 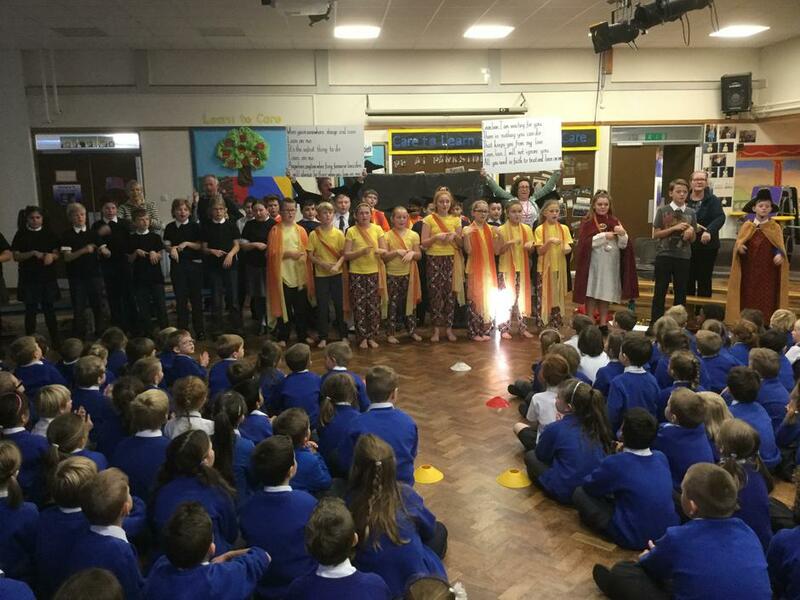 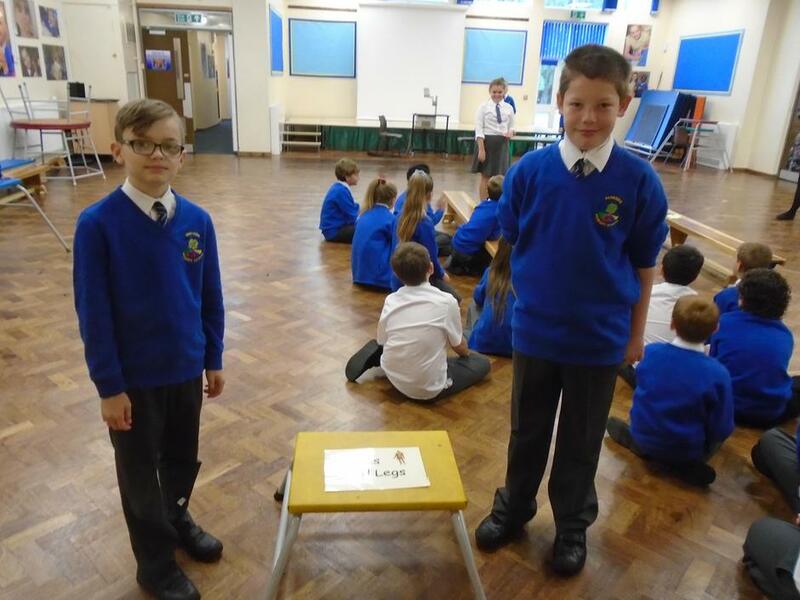 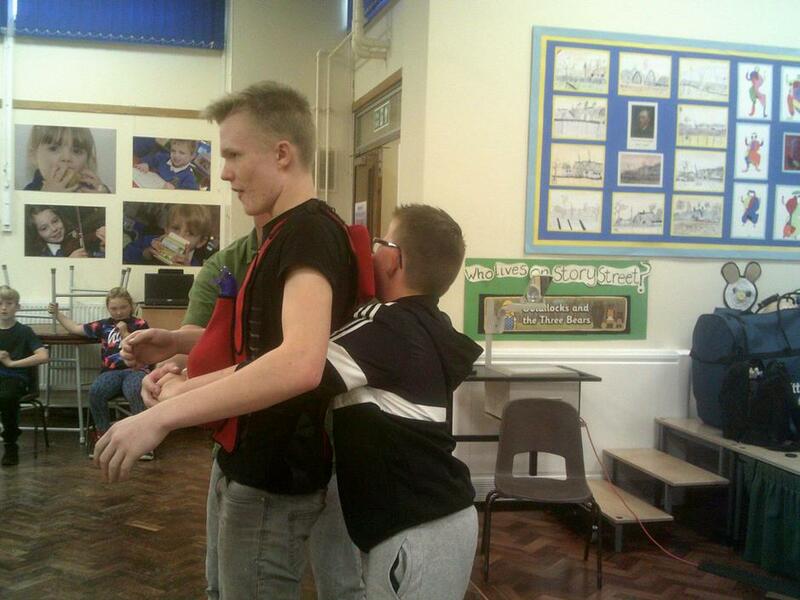 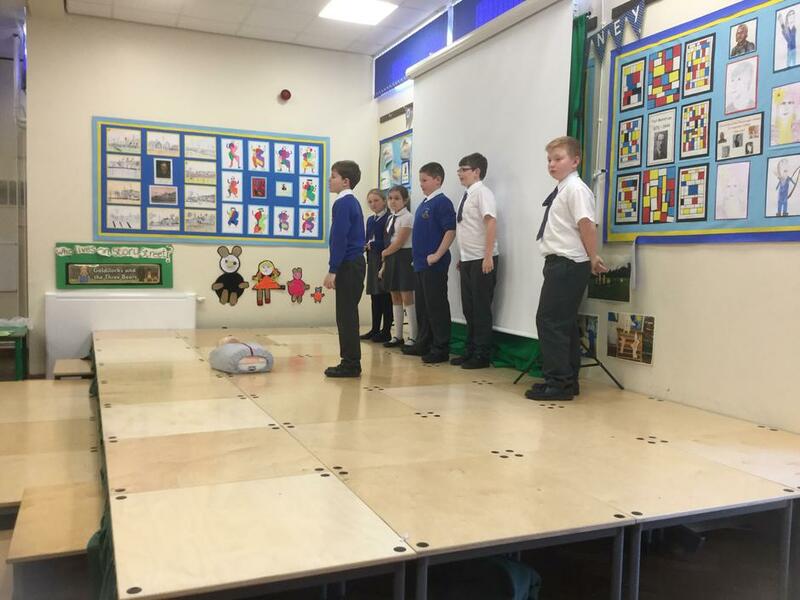 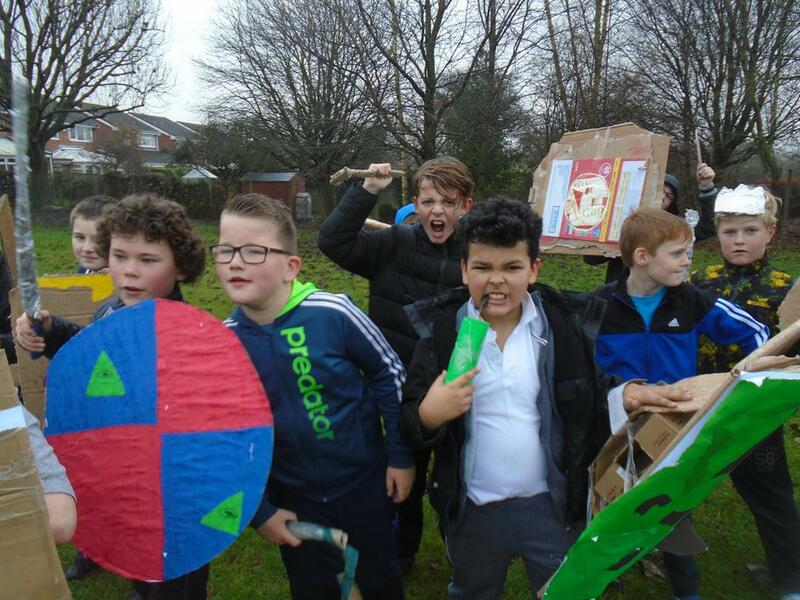 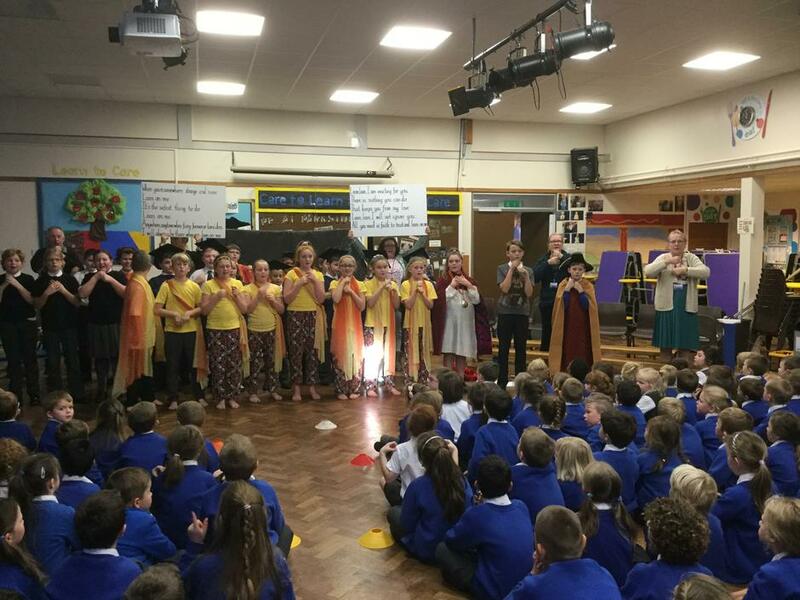 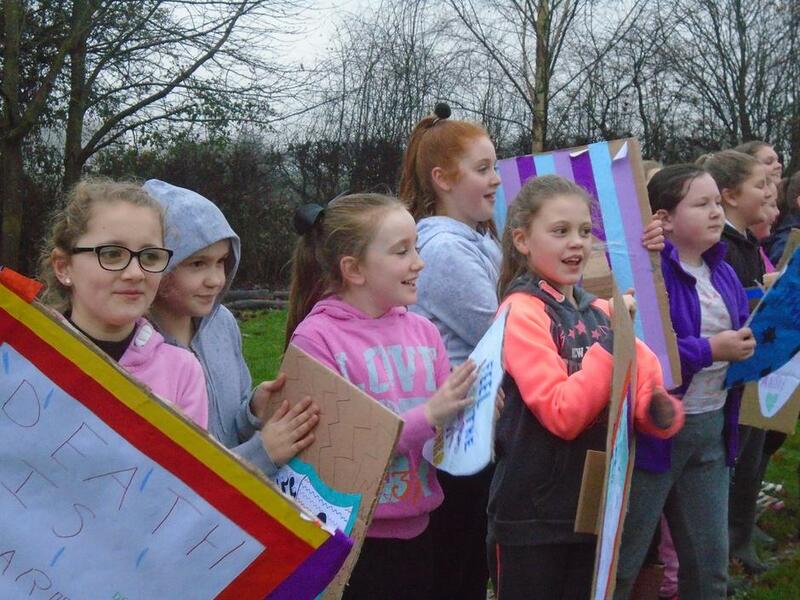 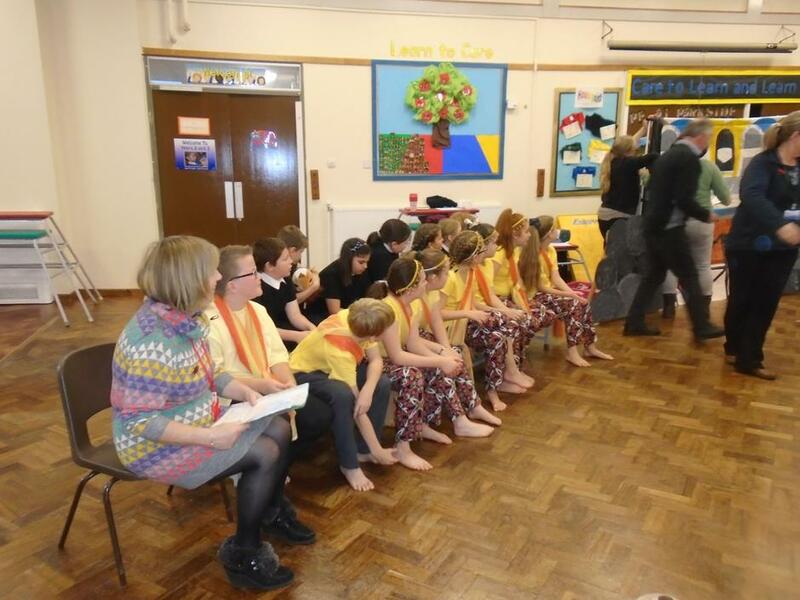 They engaged in various activities - singing, dancing, drama and even puppeteering - to present their interpretation of the Bible story 'Daniel and the Scary Sleepover' to the rest of the school. 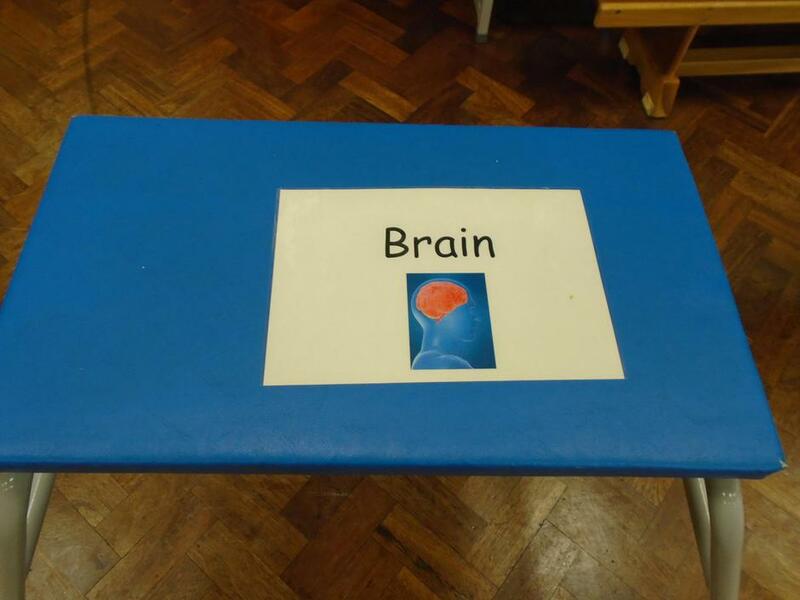 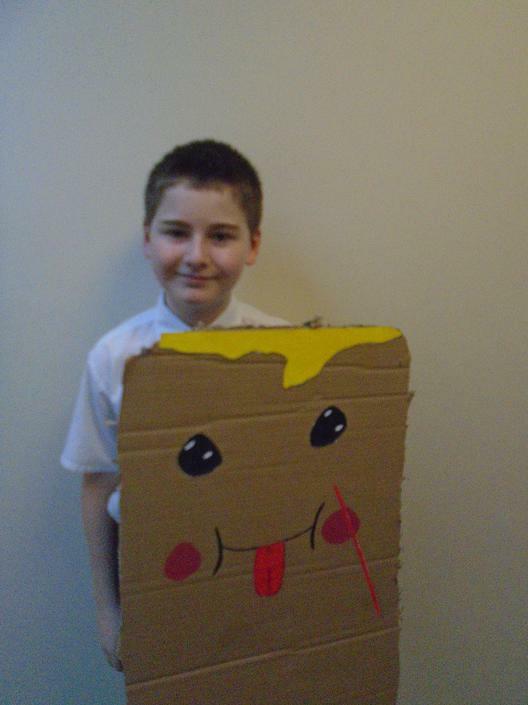 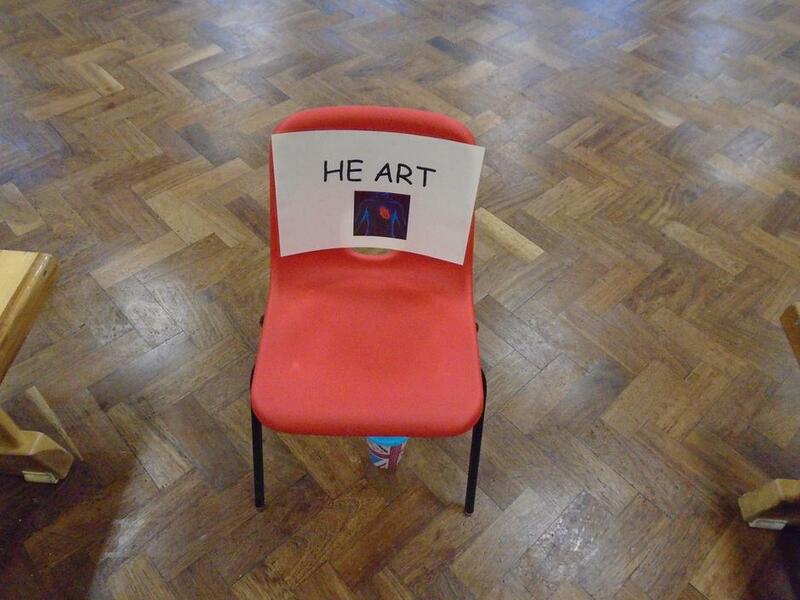 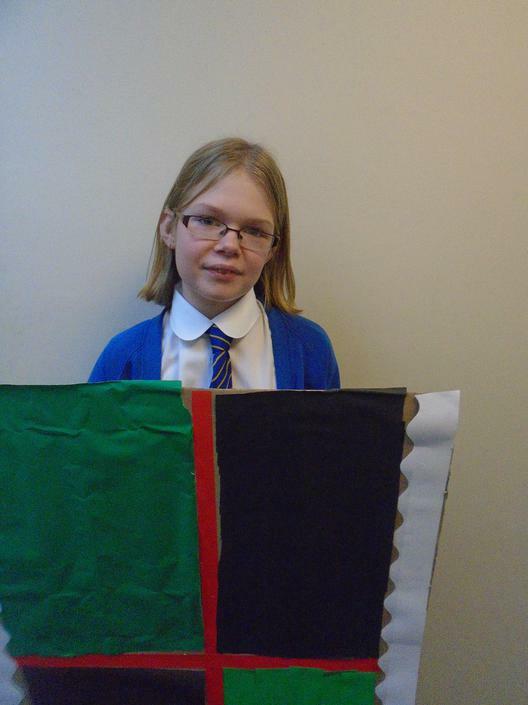 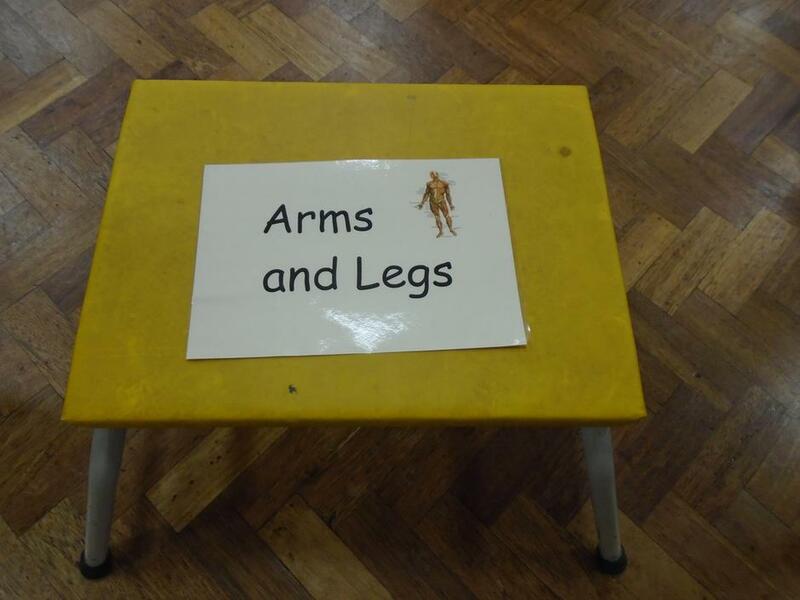 The school has worked with Question Mark on many occasions and this proved to be just as fabulous! 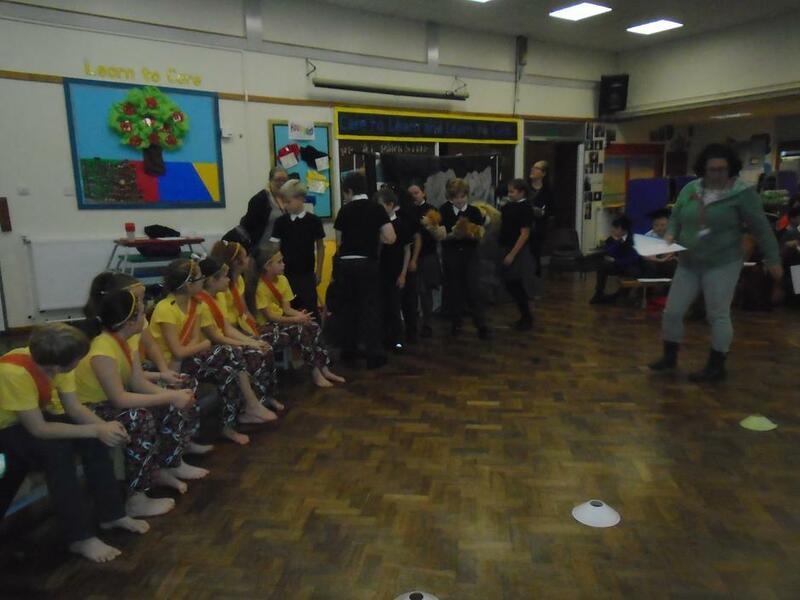 Well done to all of Year Six for their enthusiasm and effort and a massive thank you to Question Mark! 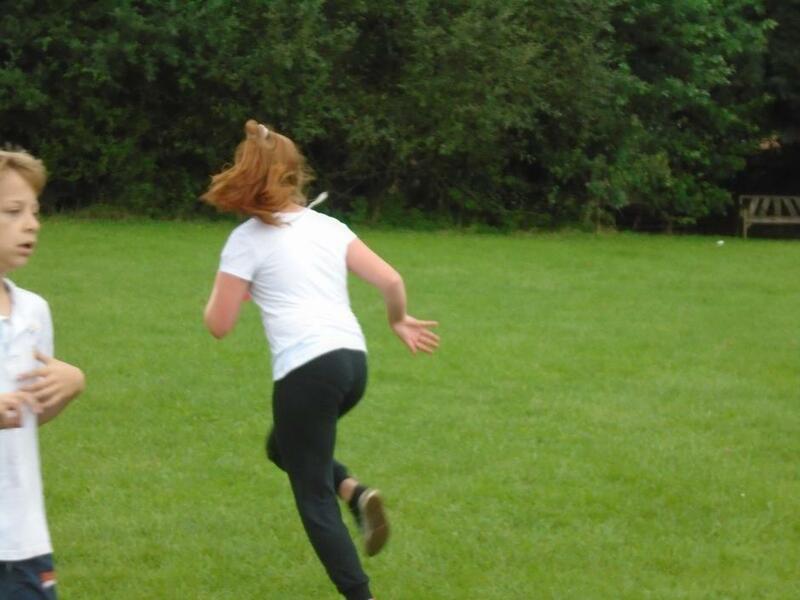 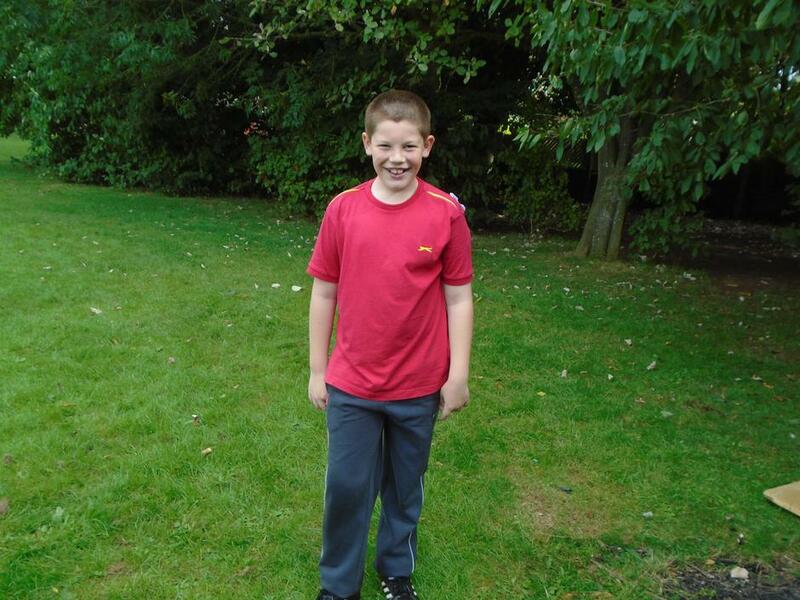 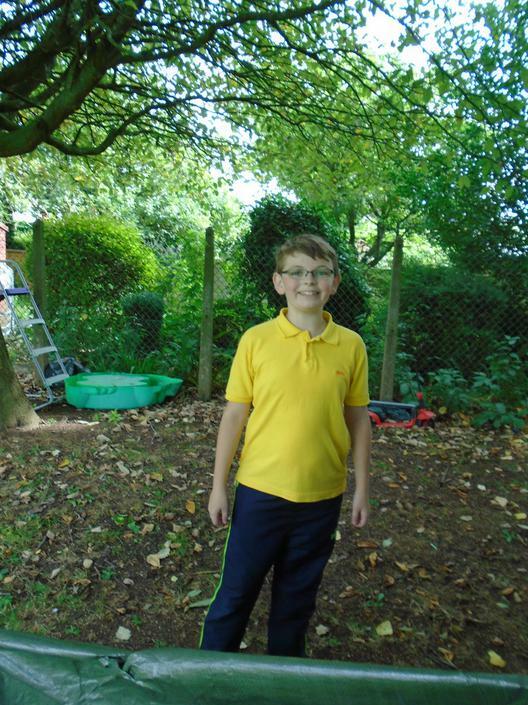 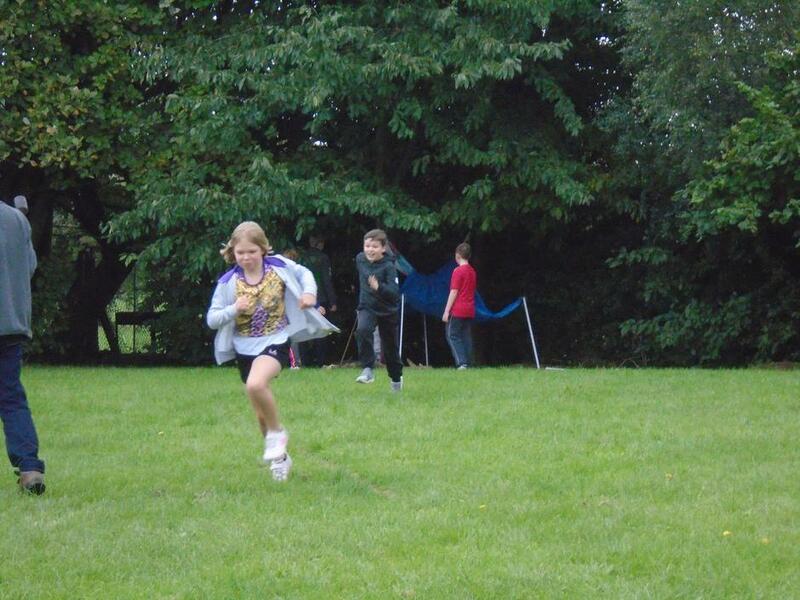 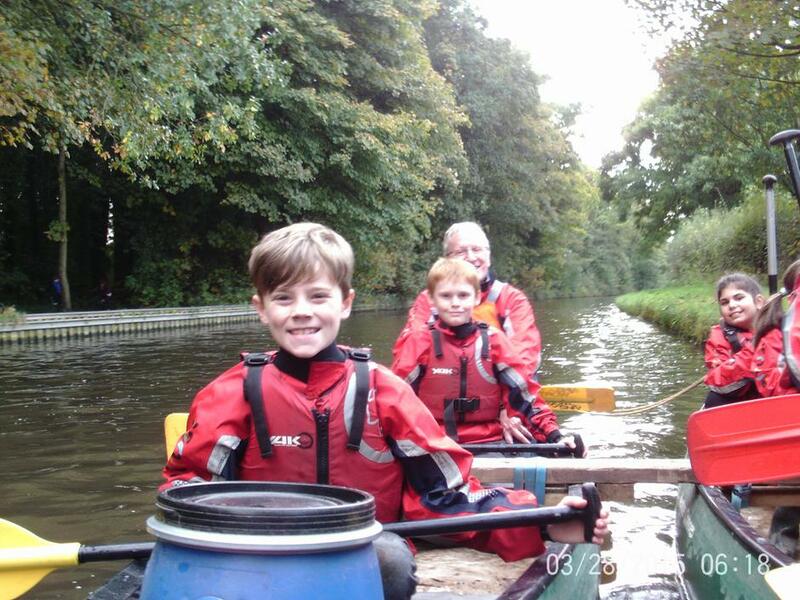 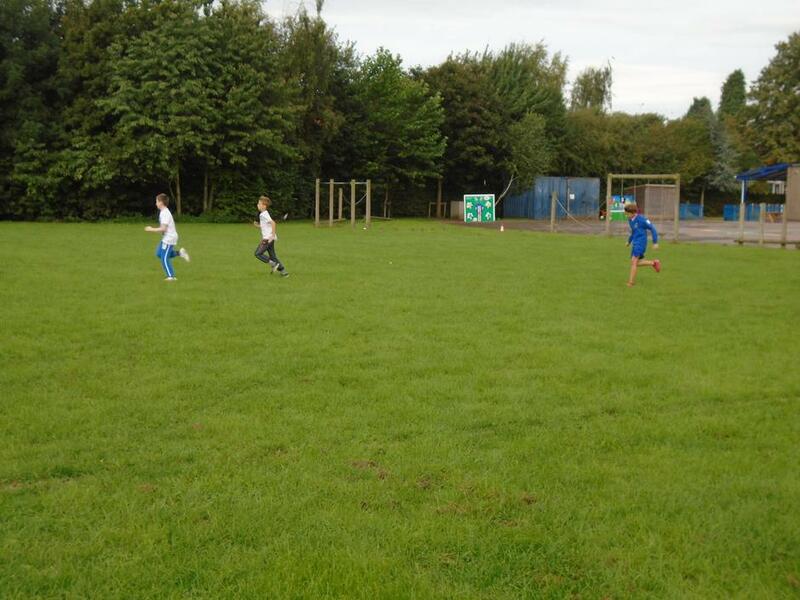 Below are a few photos of the children in action! 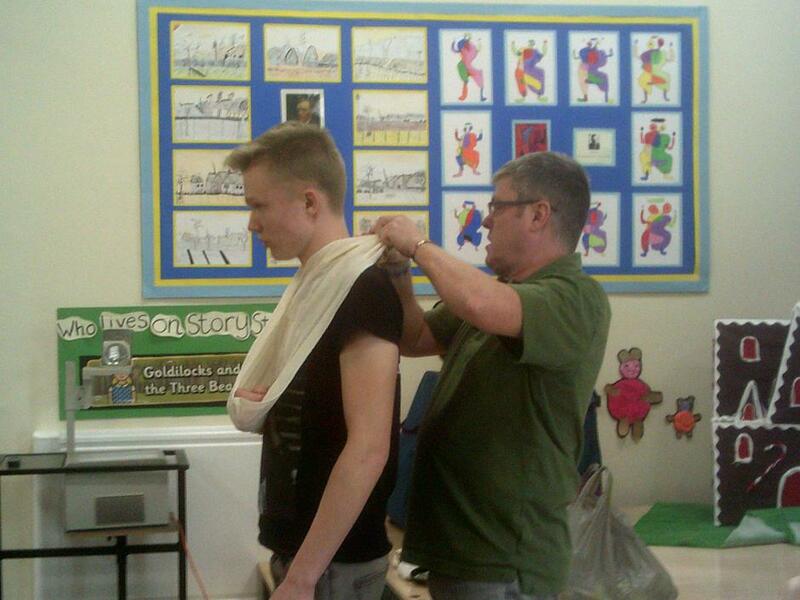 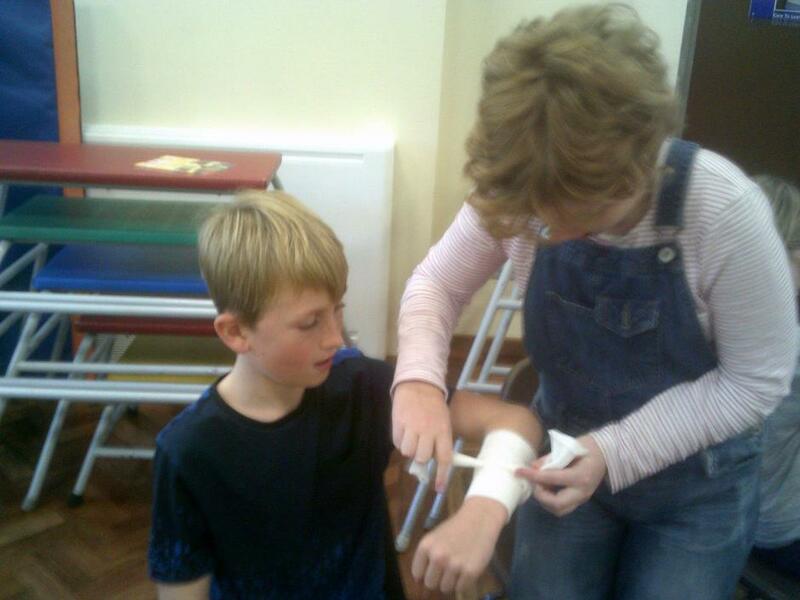 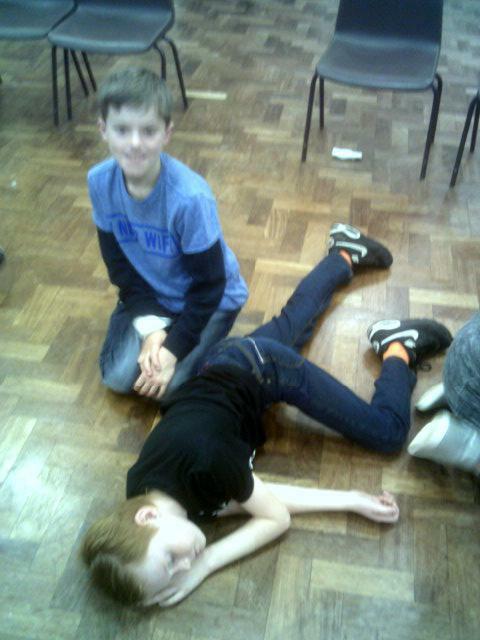 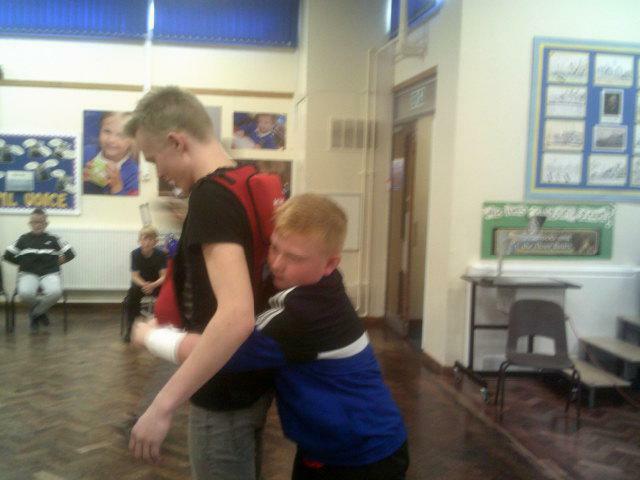 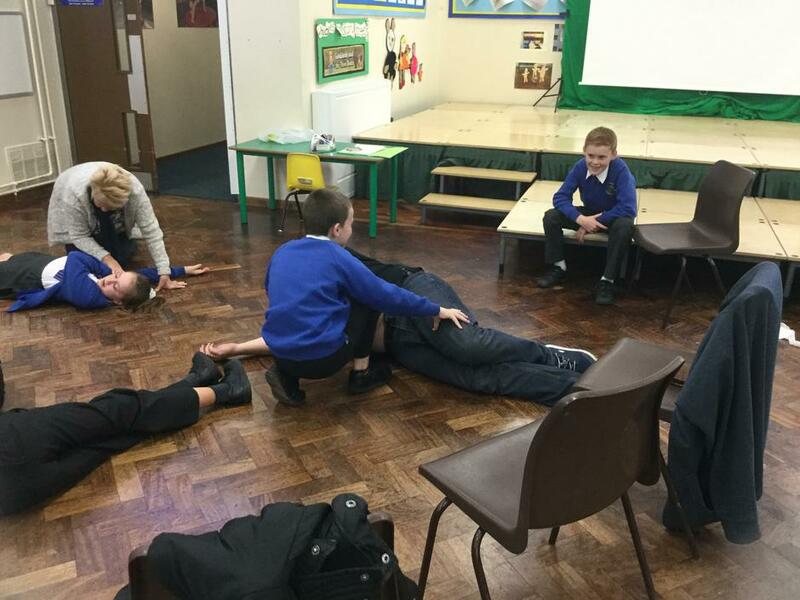 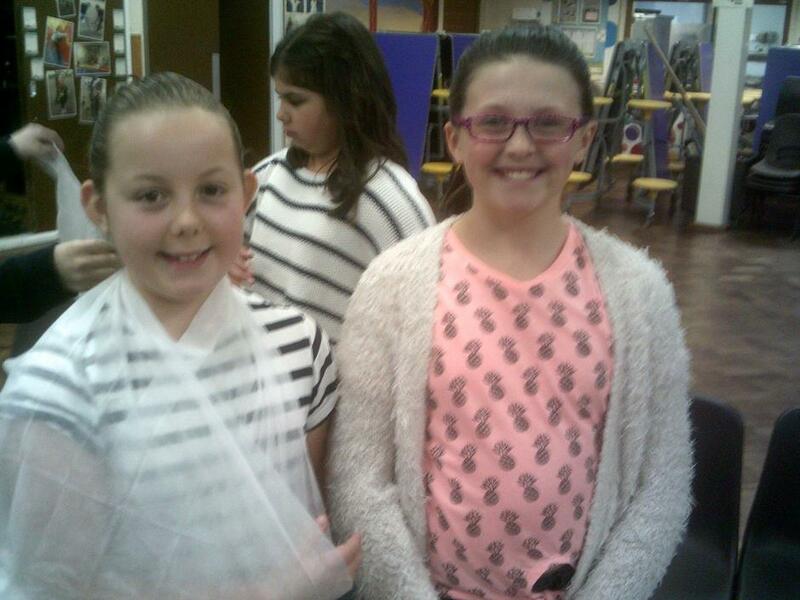 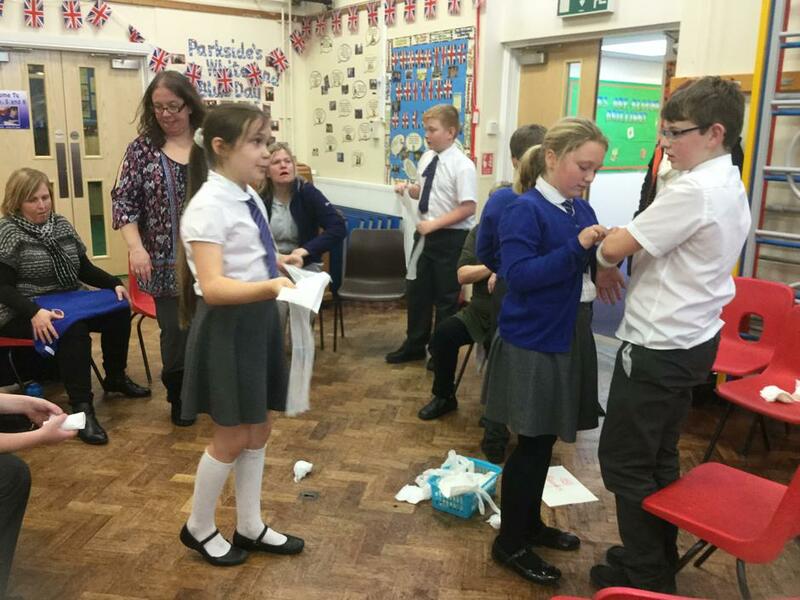 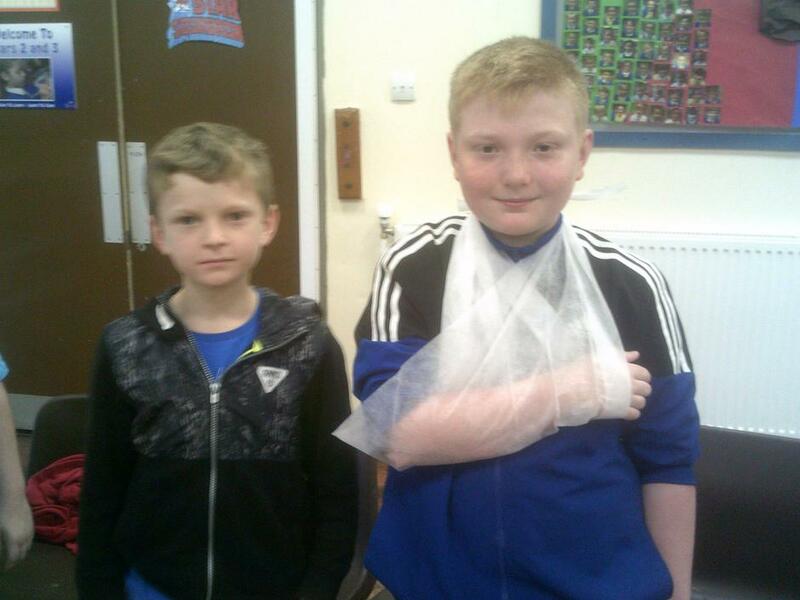 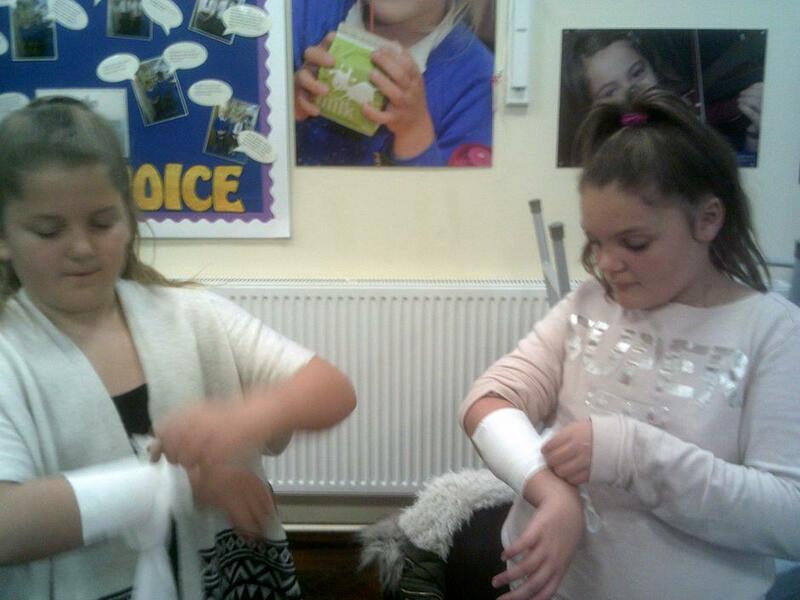 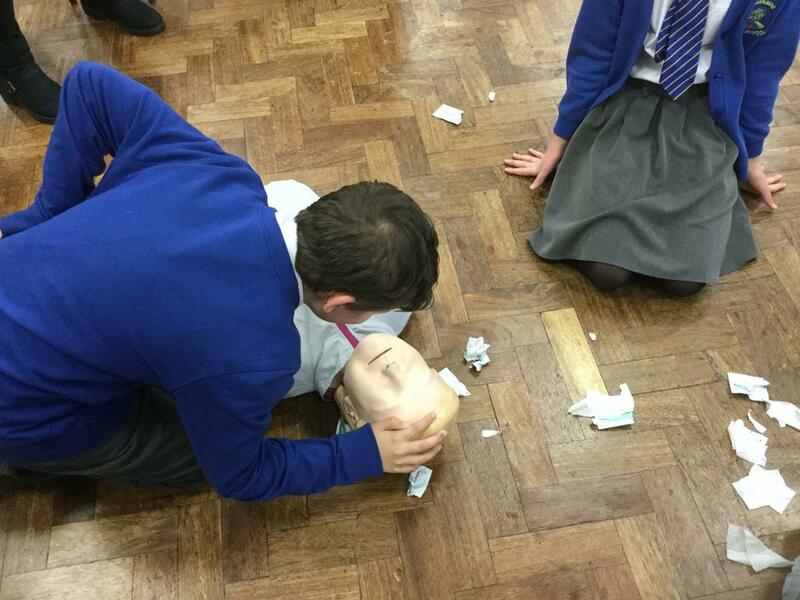 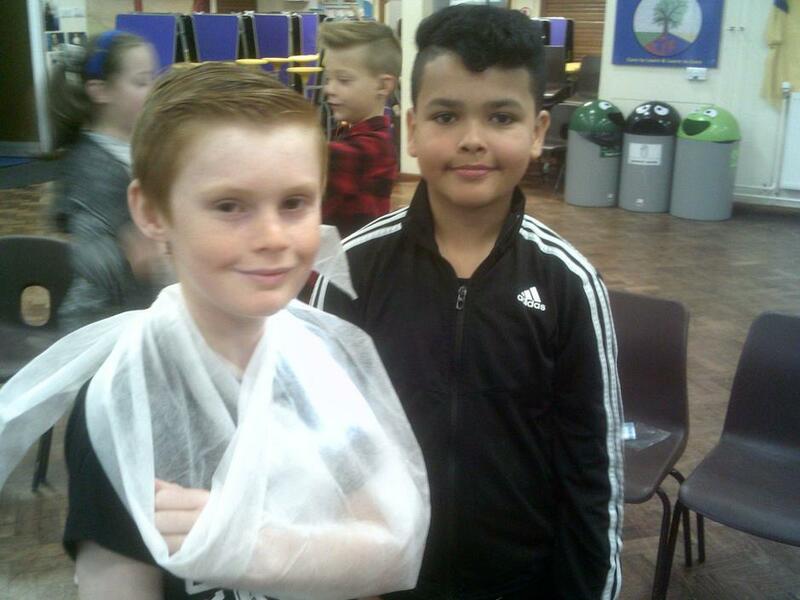 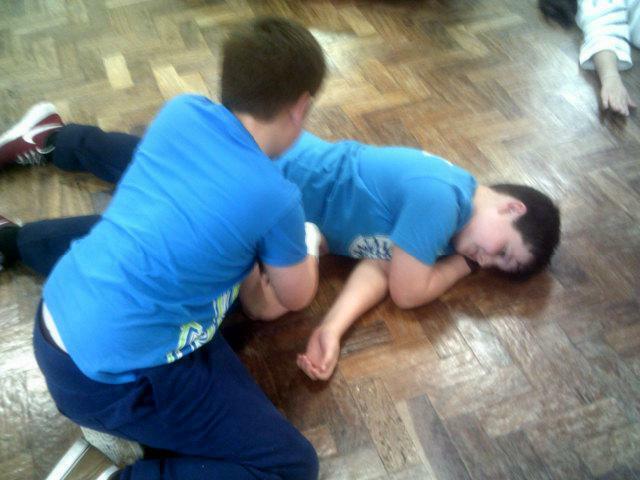 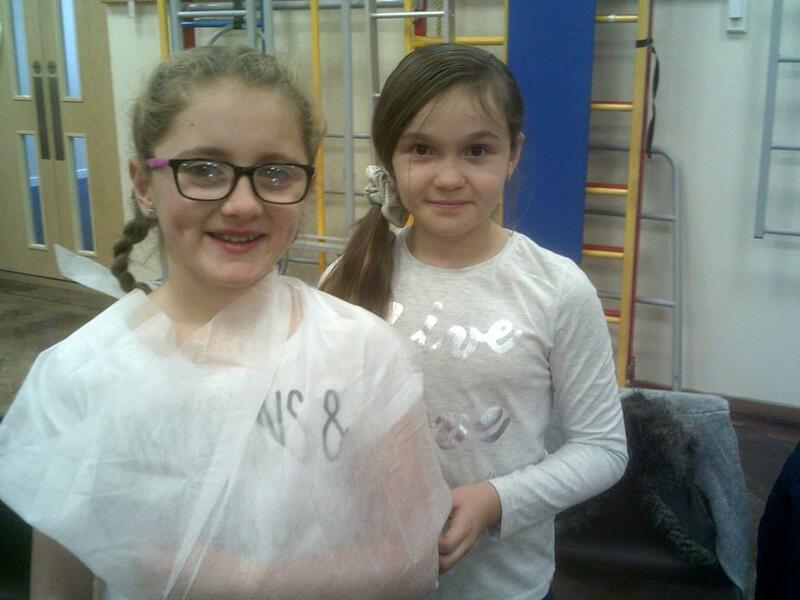 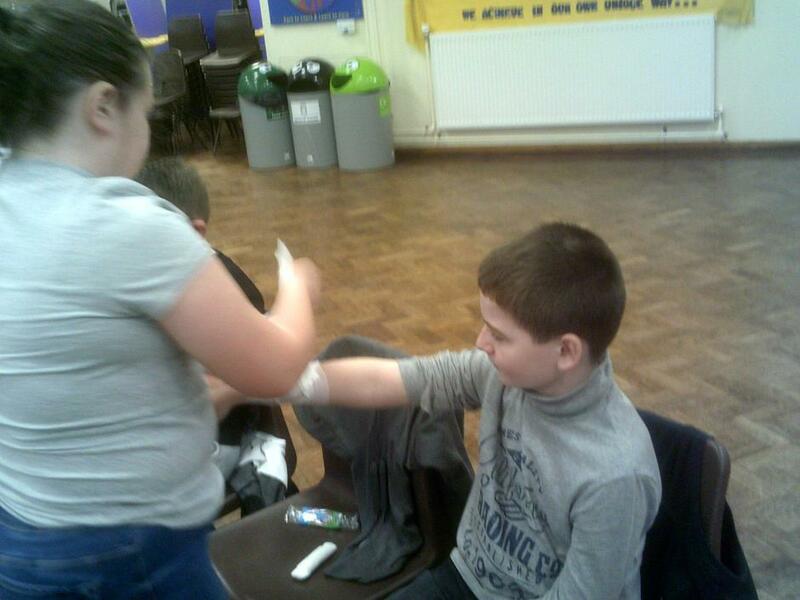 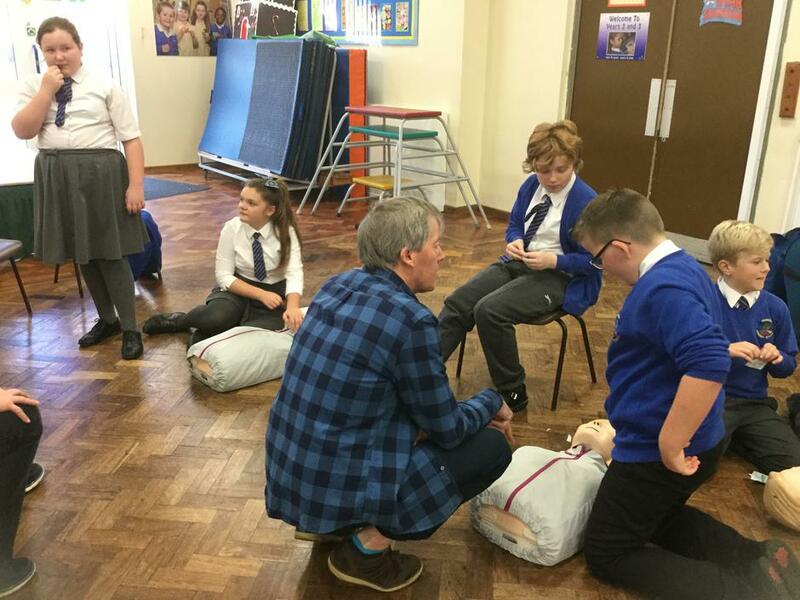 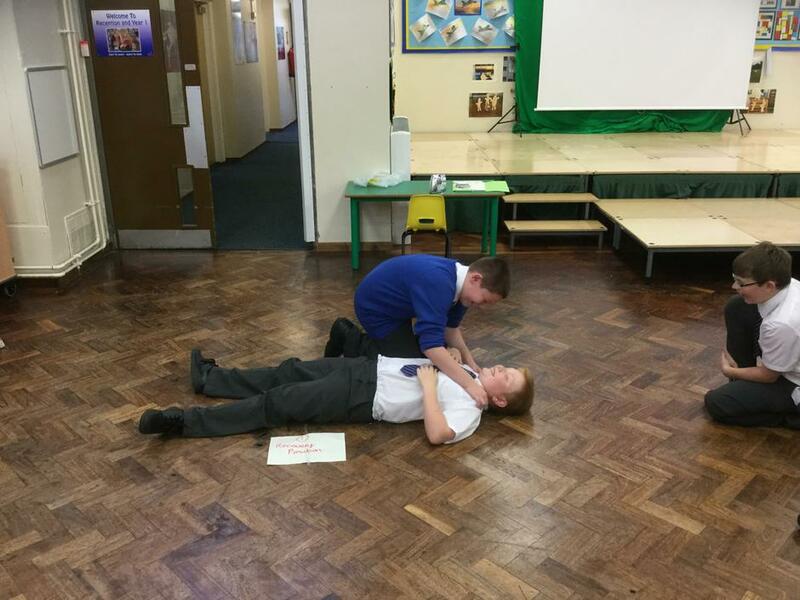 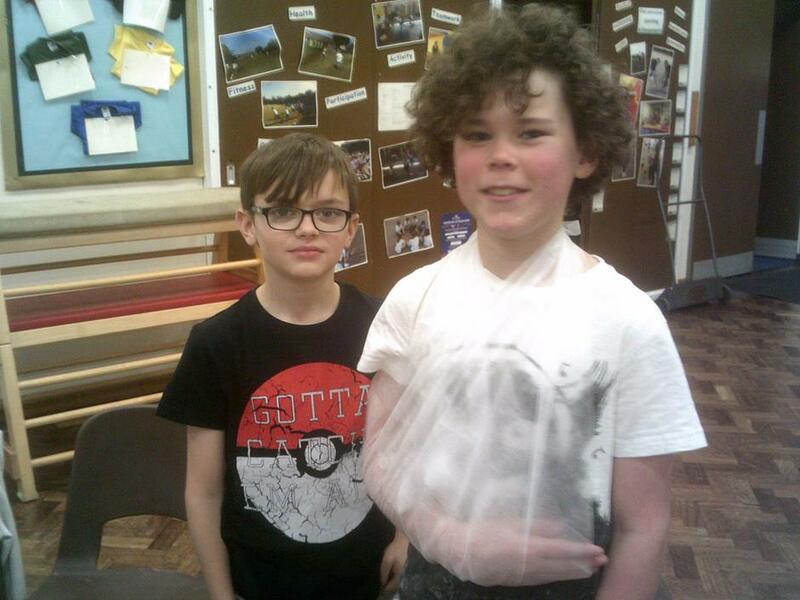 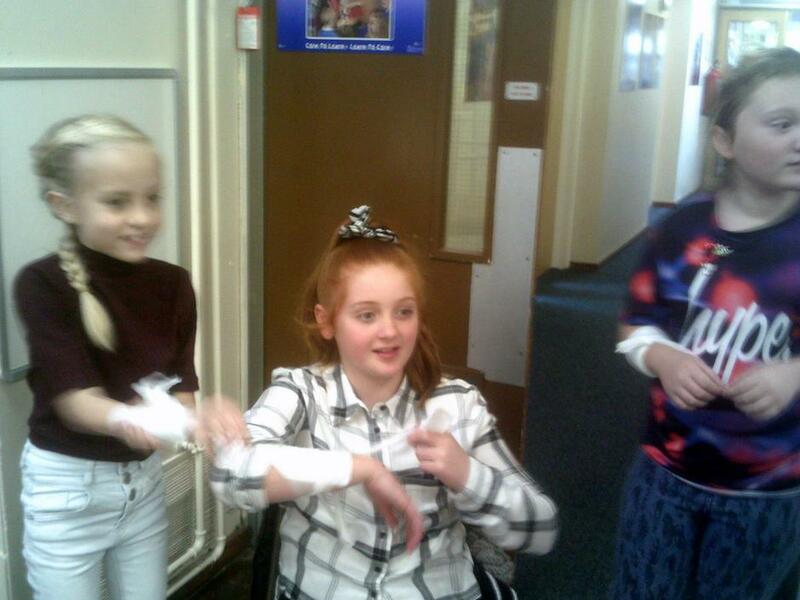 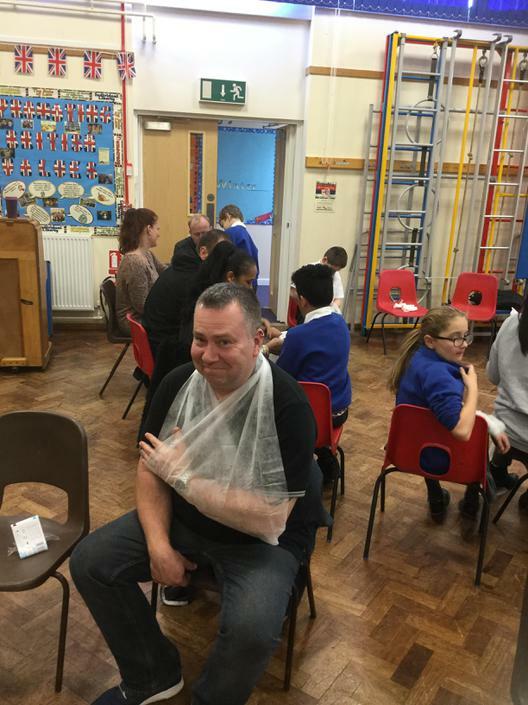 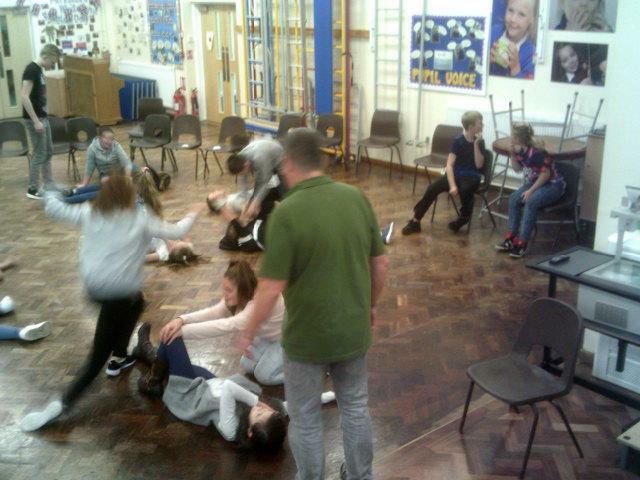 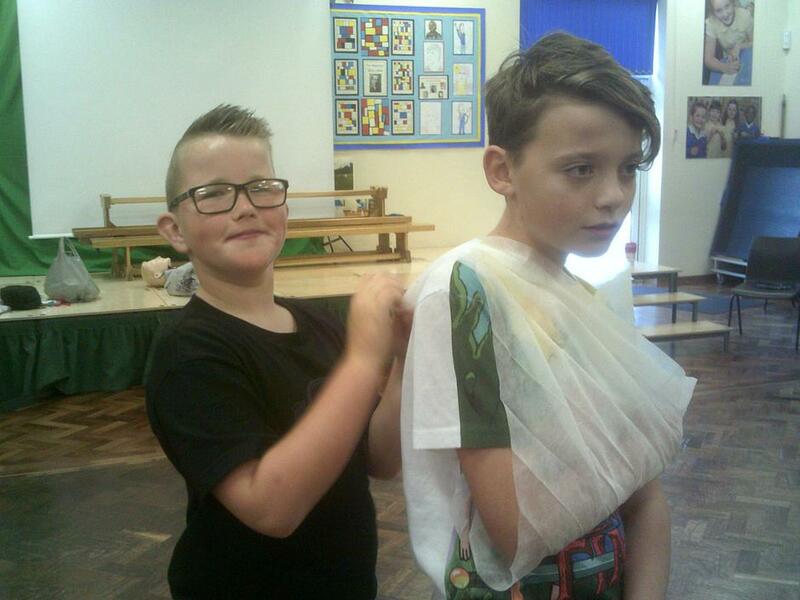 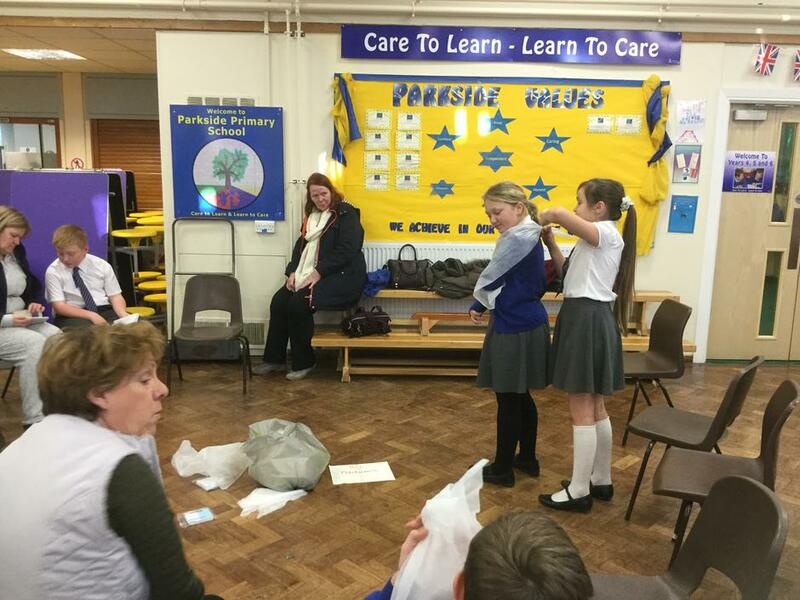 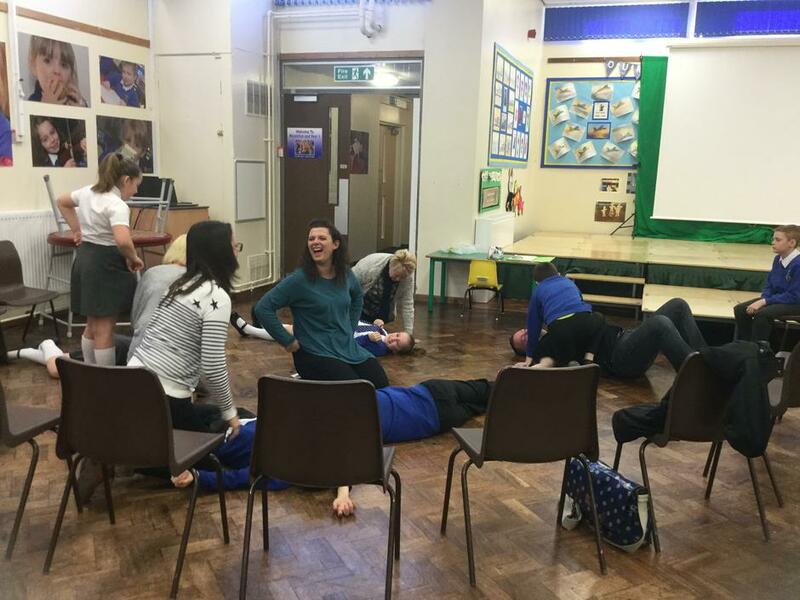 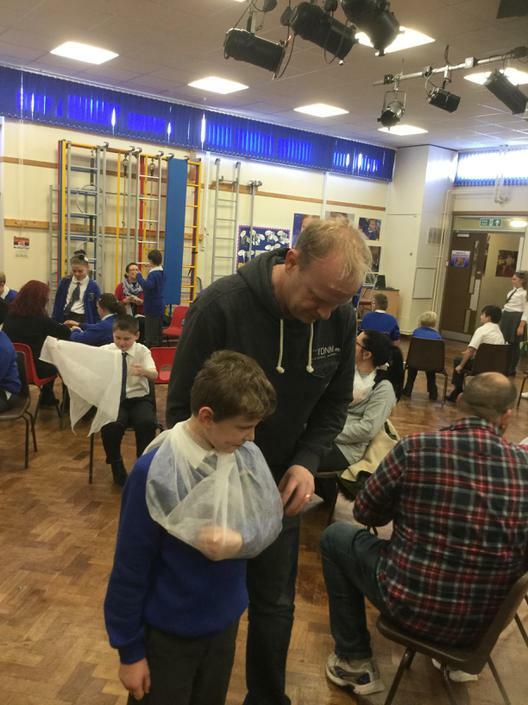 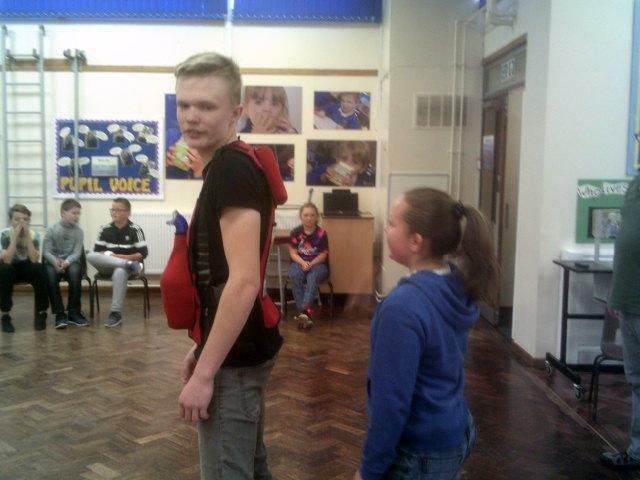 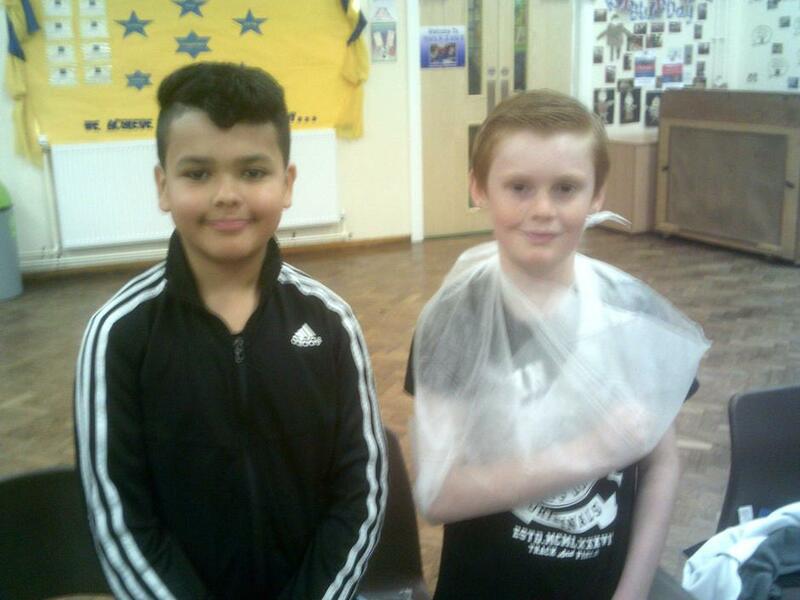 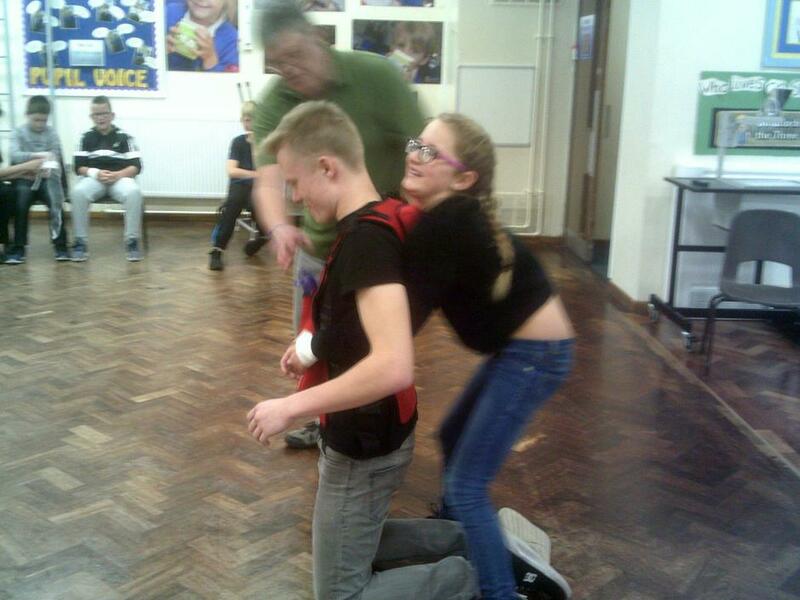 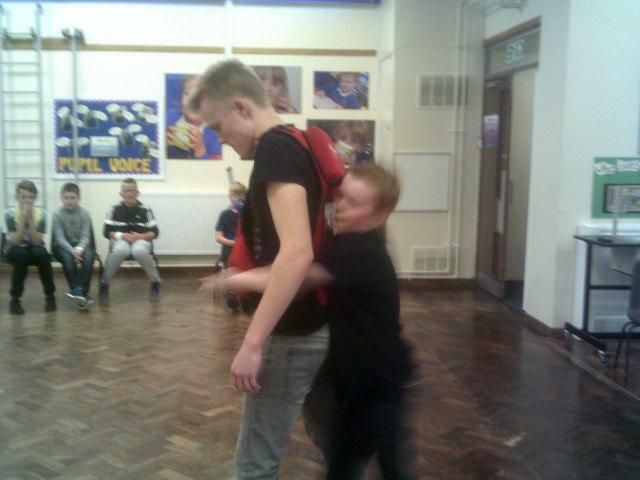 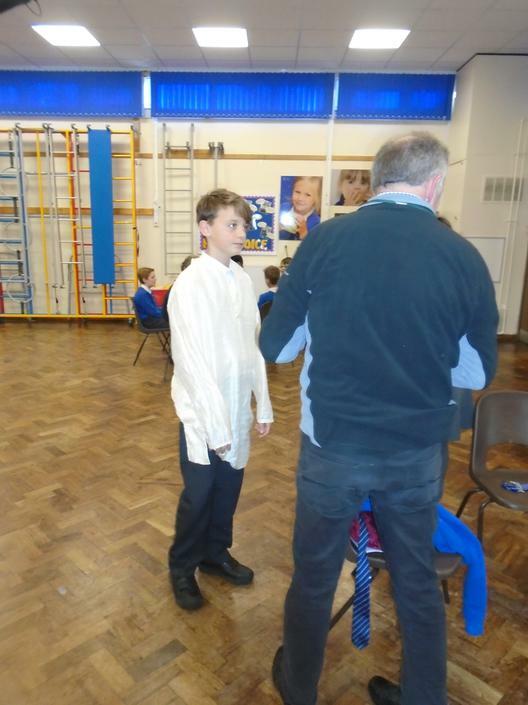 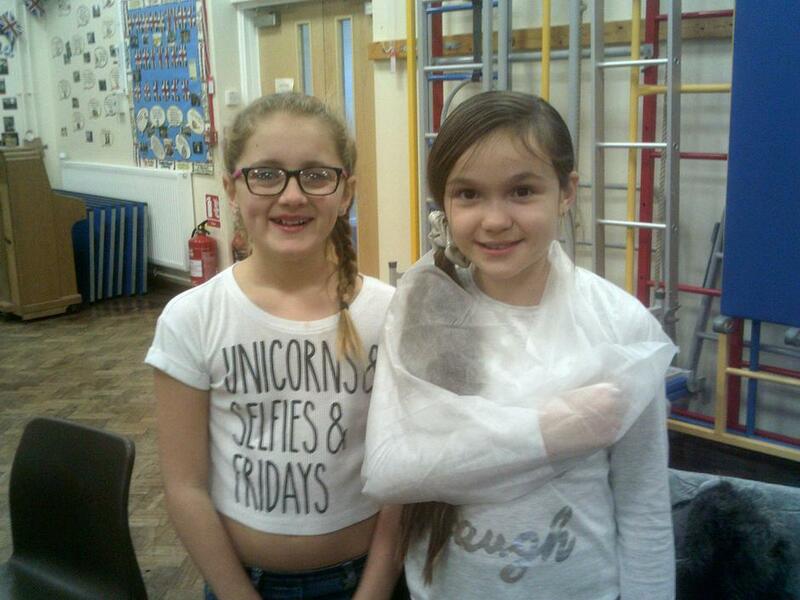 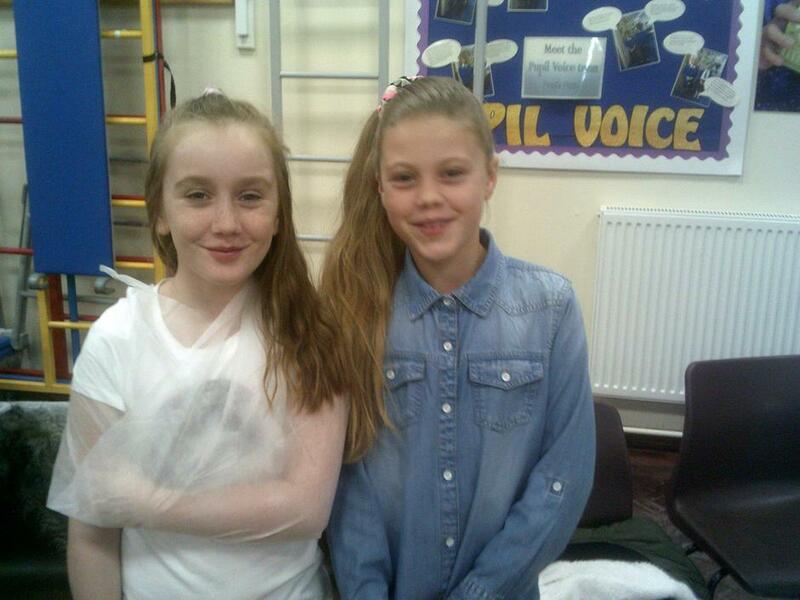 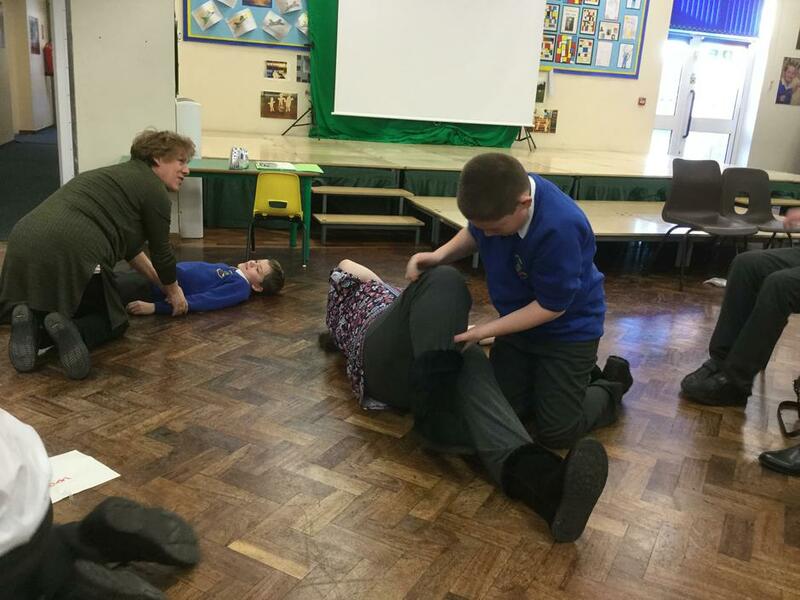 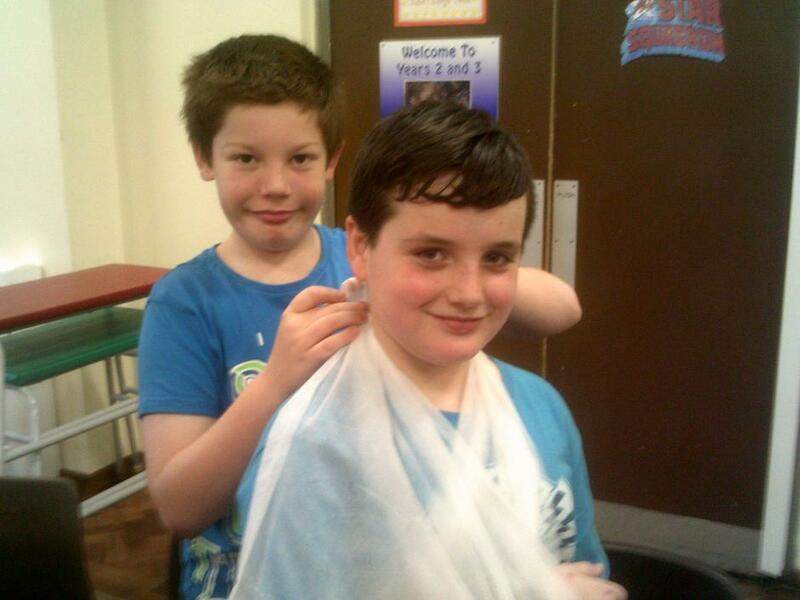 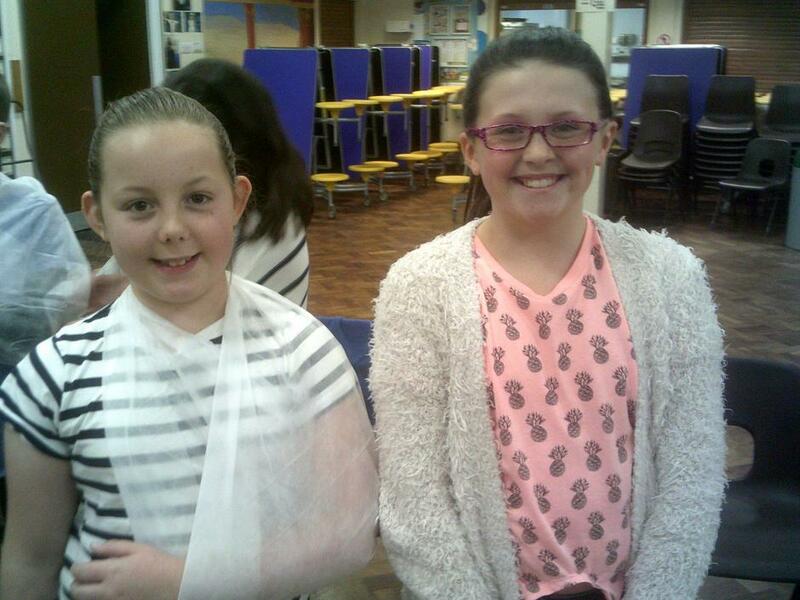 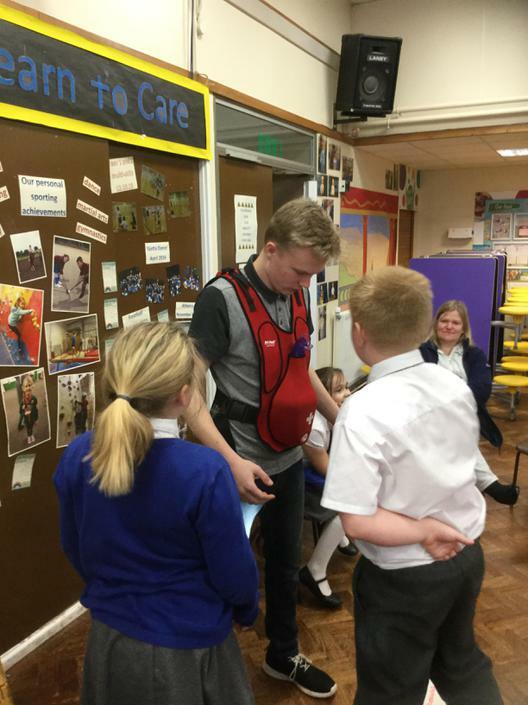 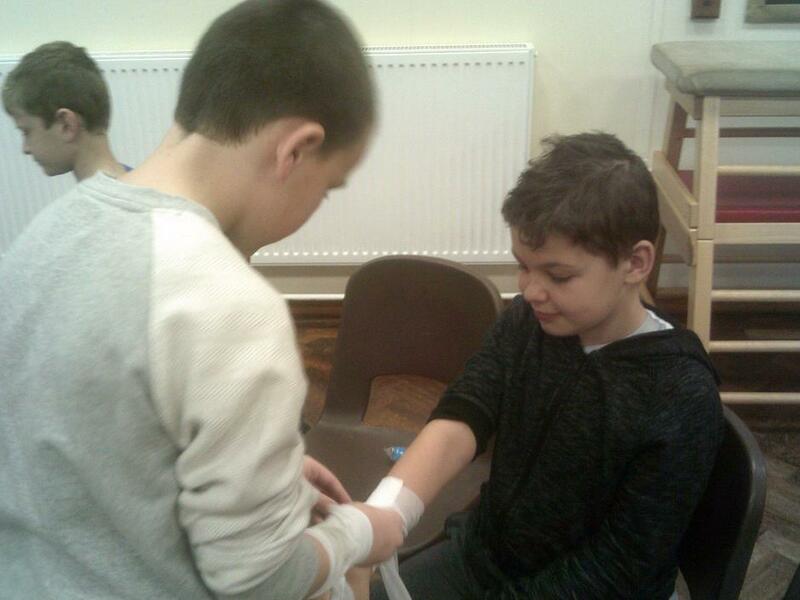 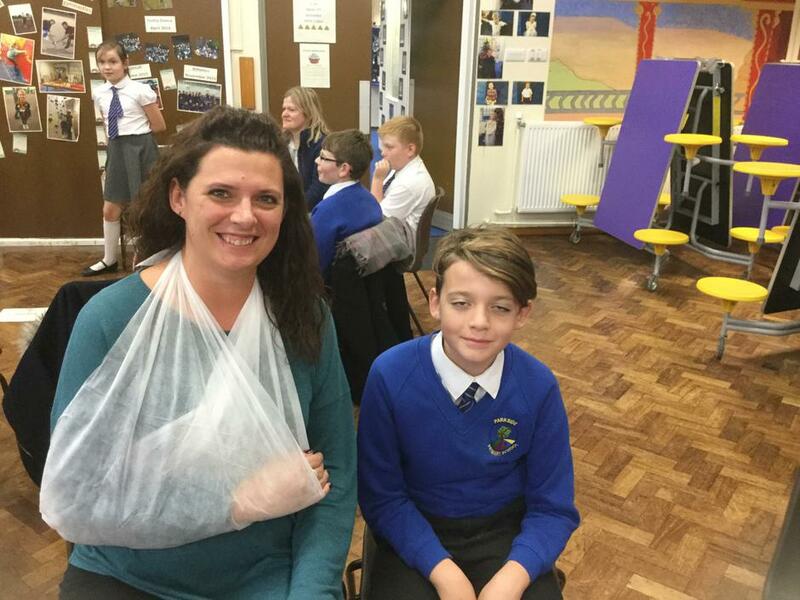 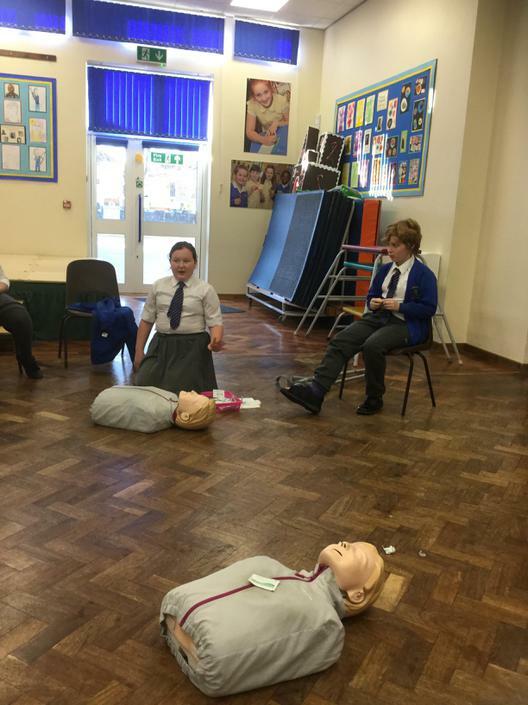 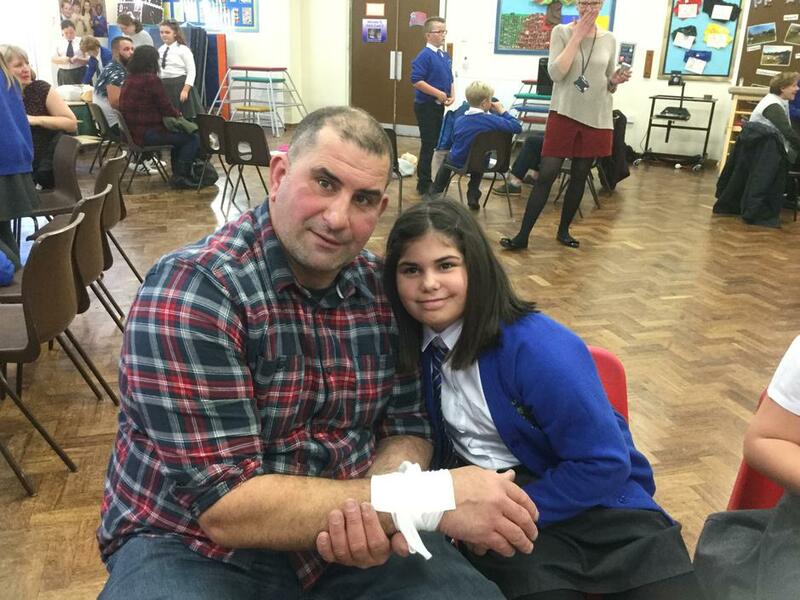 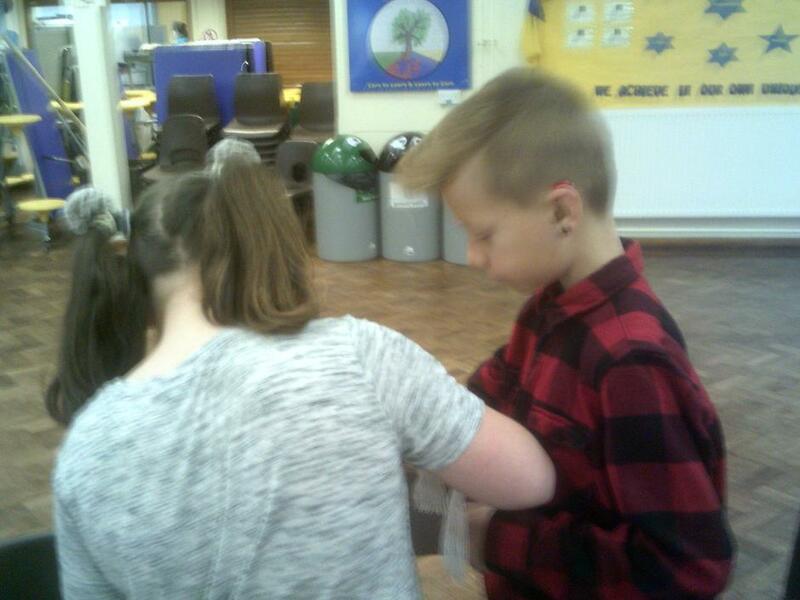 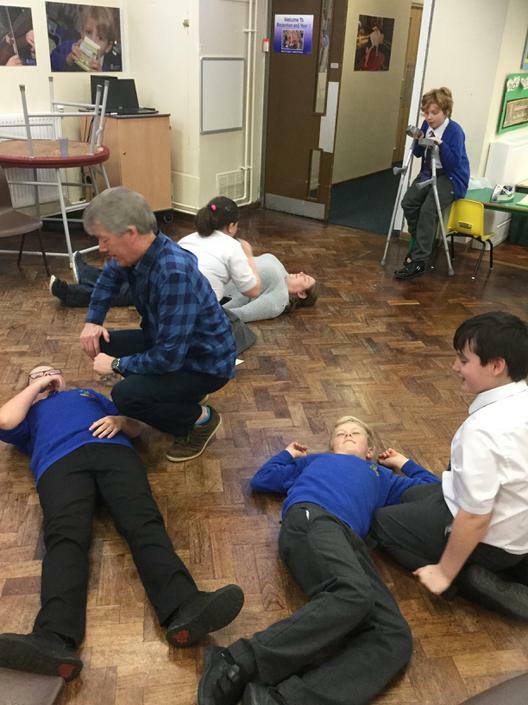 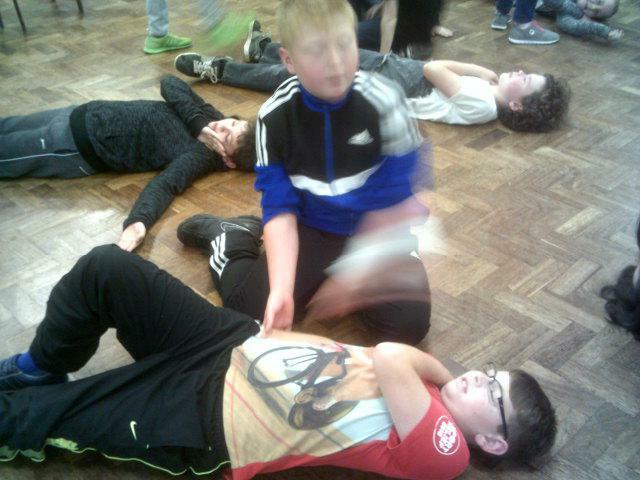 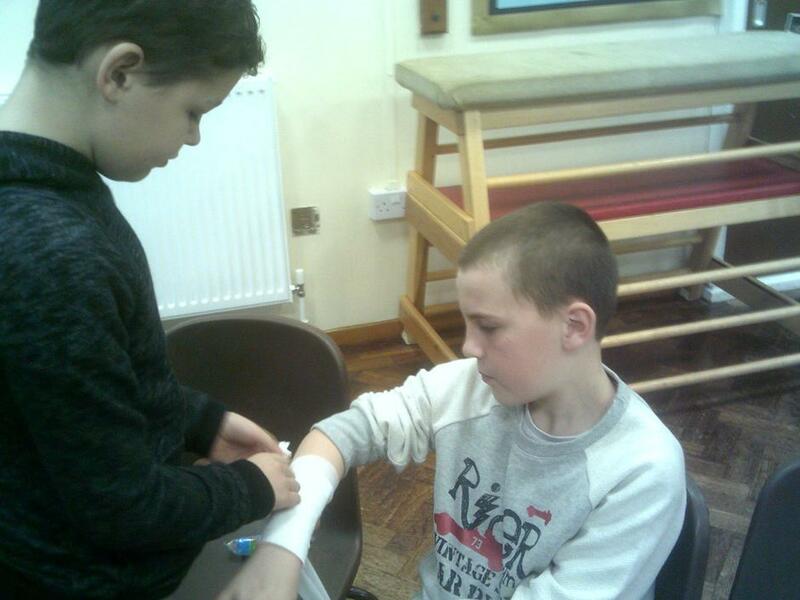 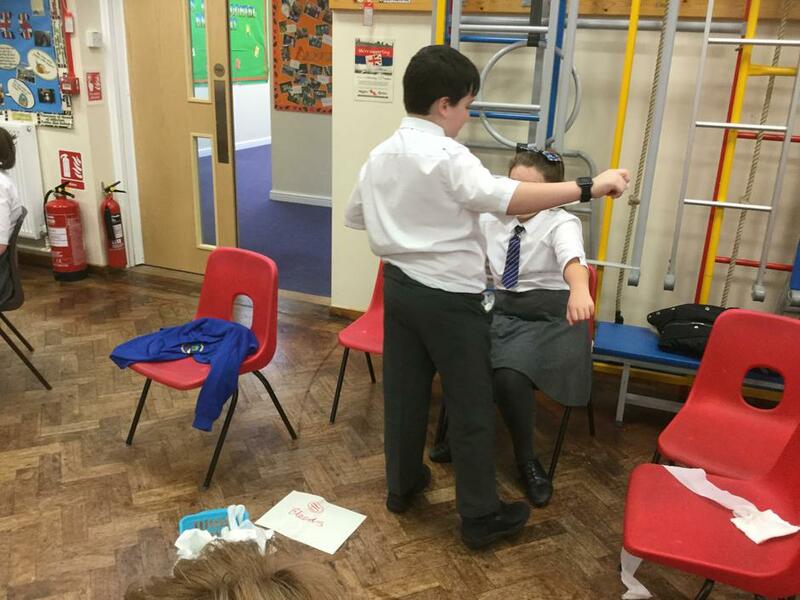 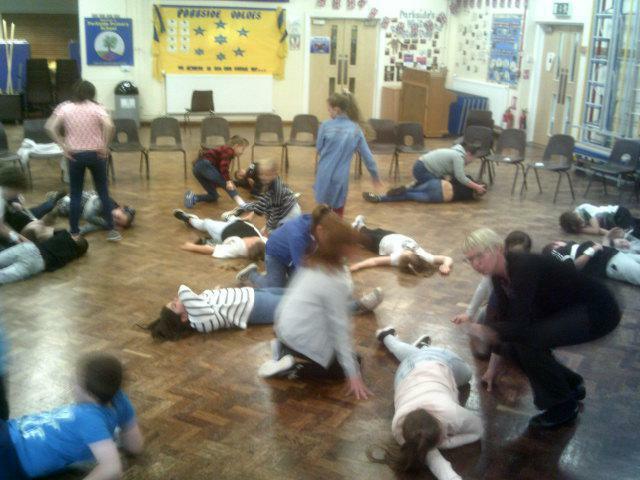 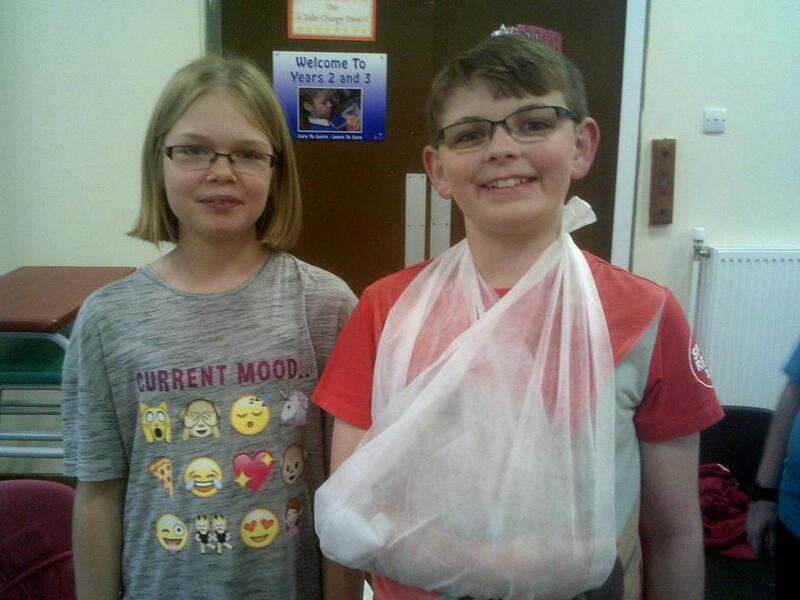 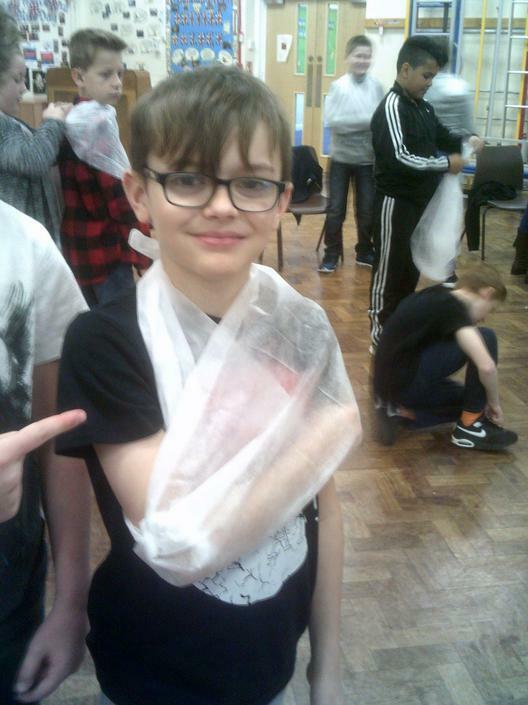 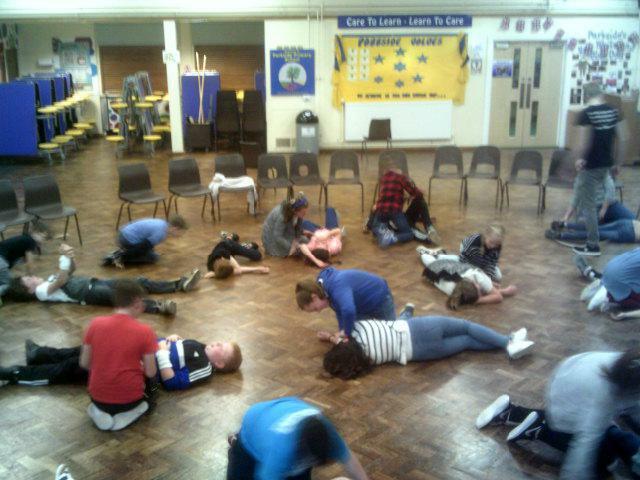 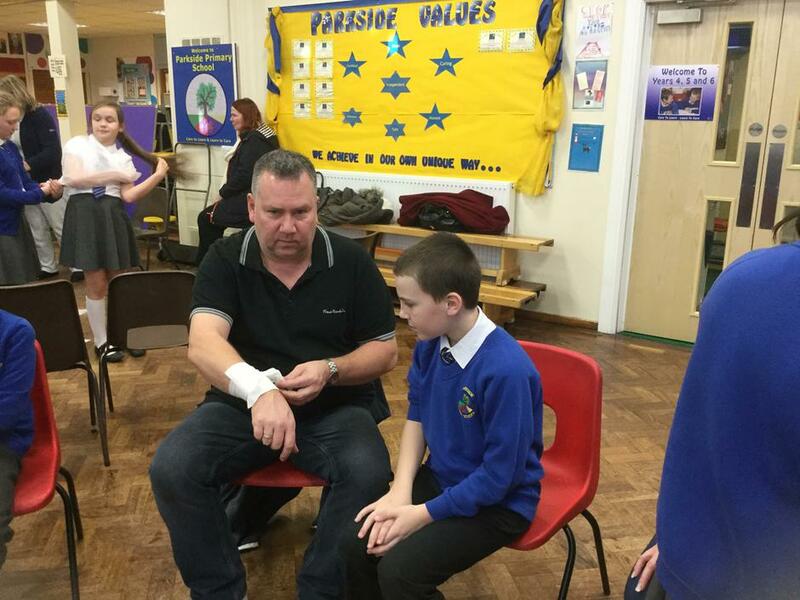 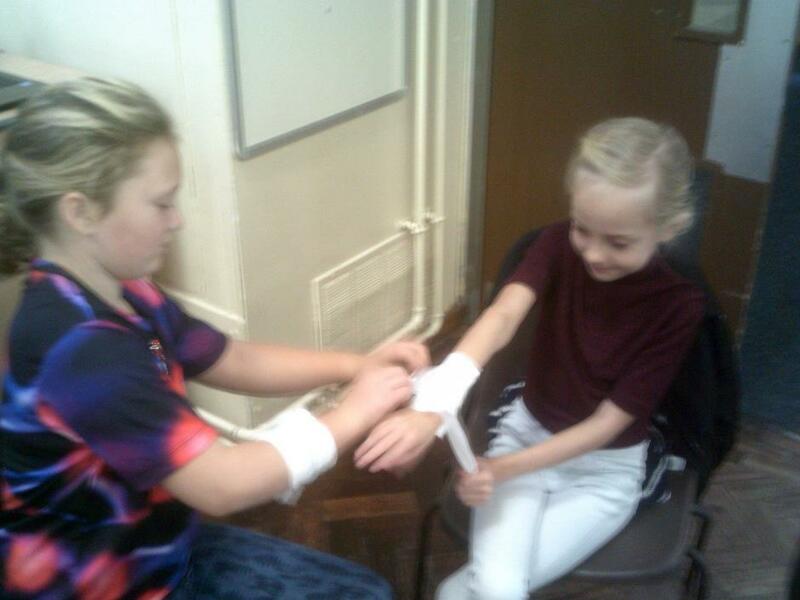 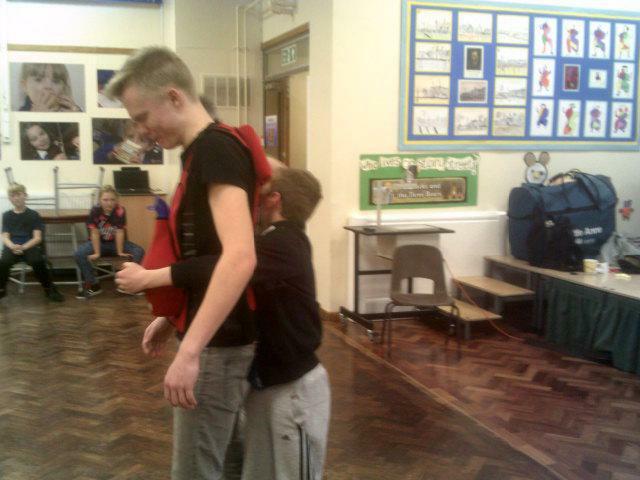 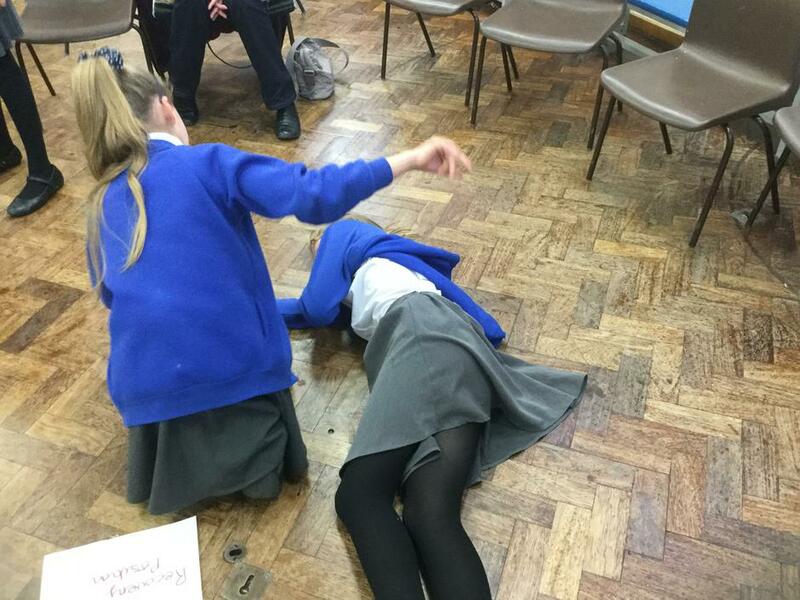 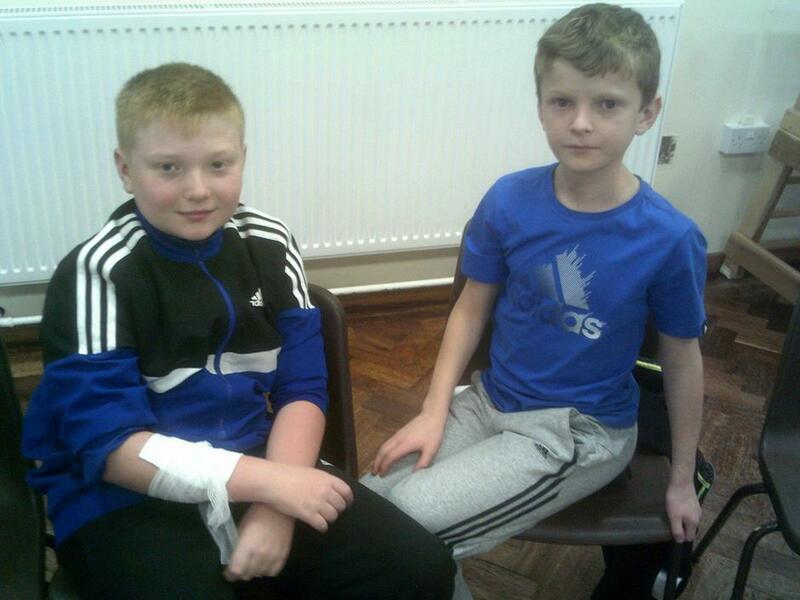 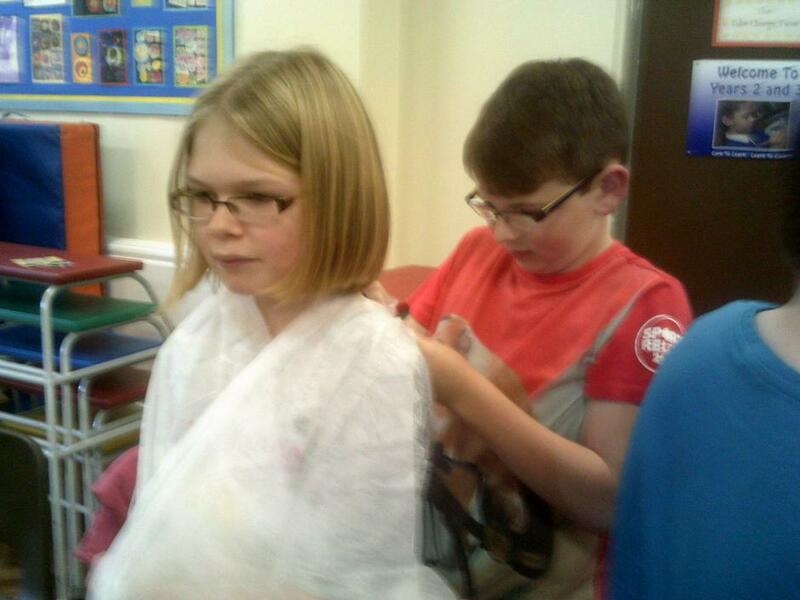 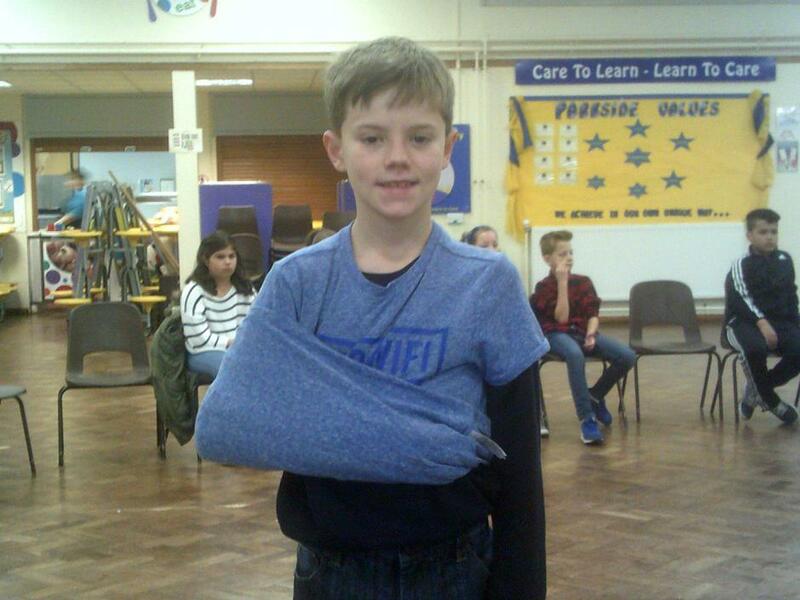 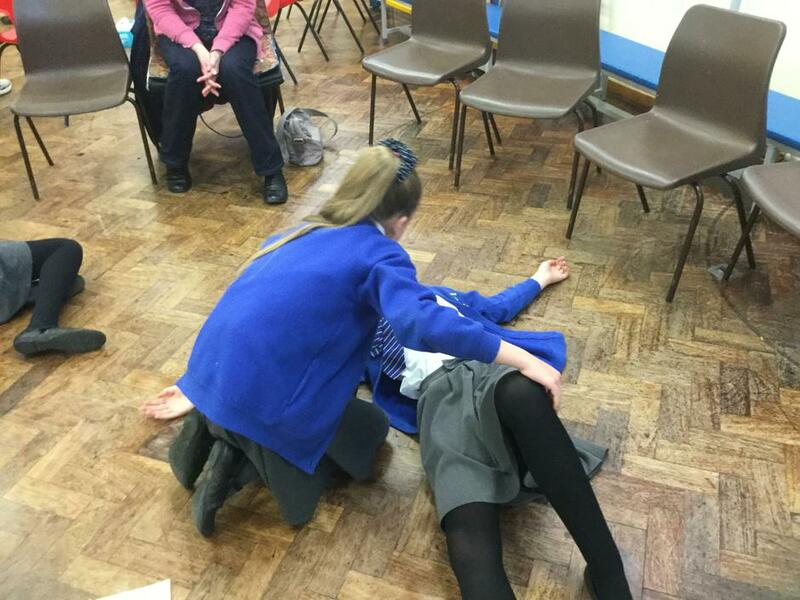 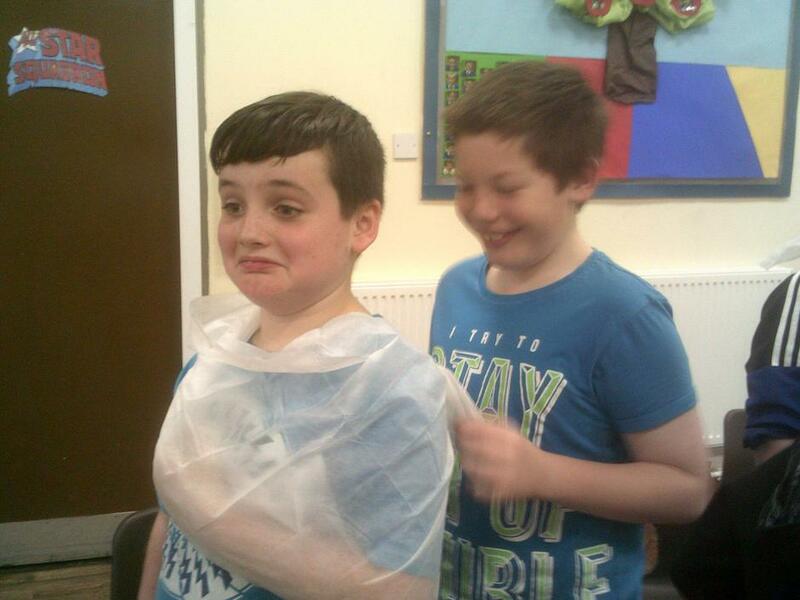 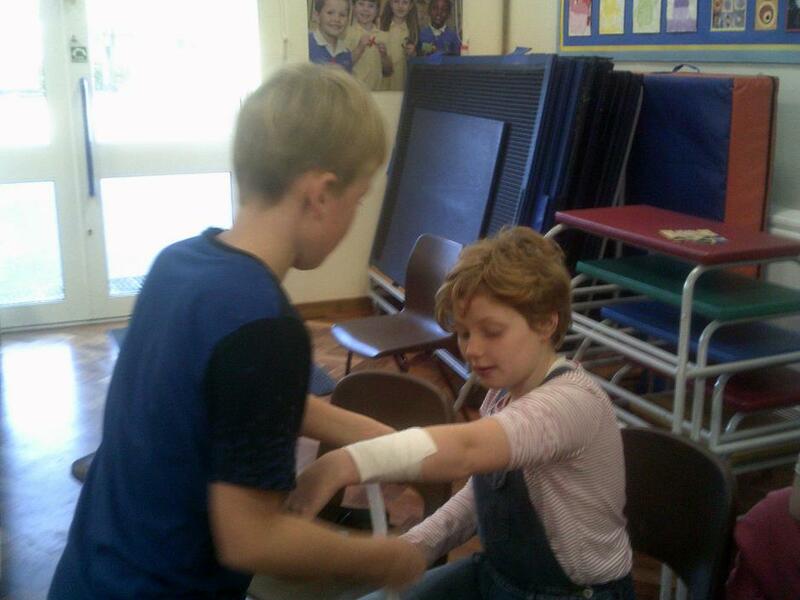 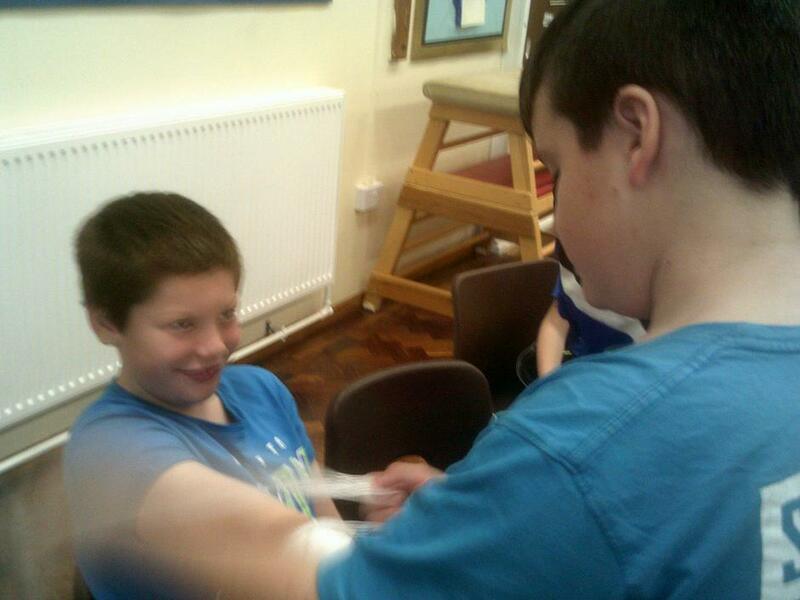 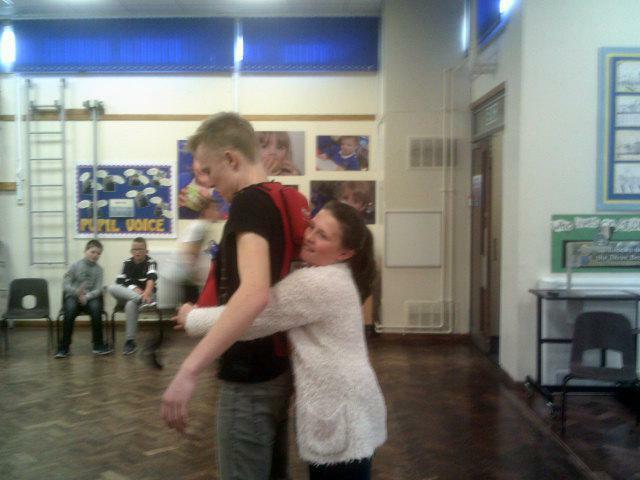 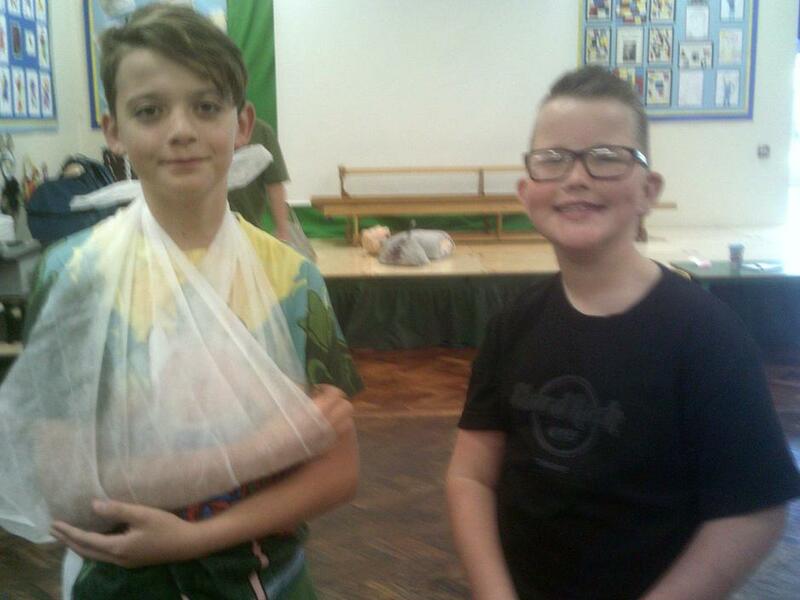 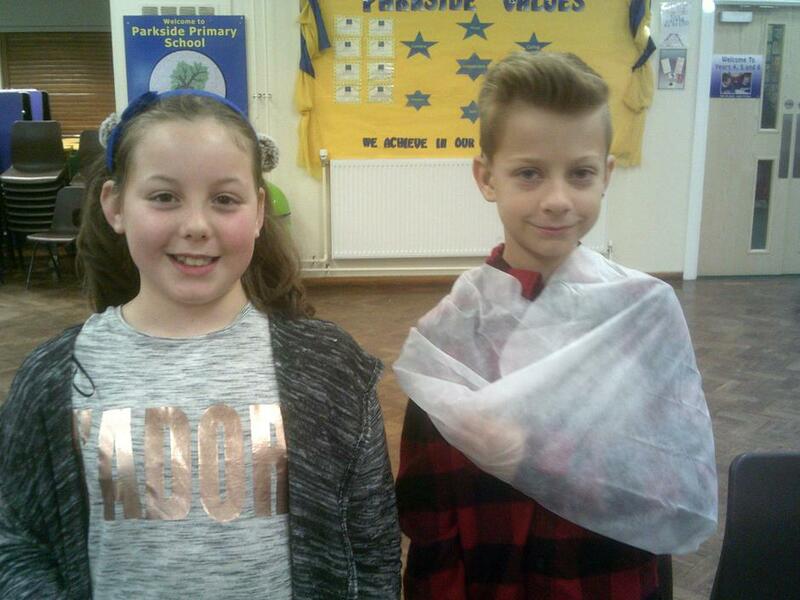 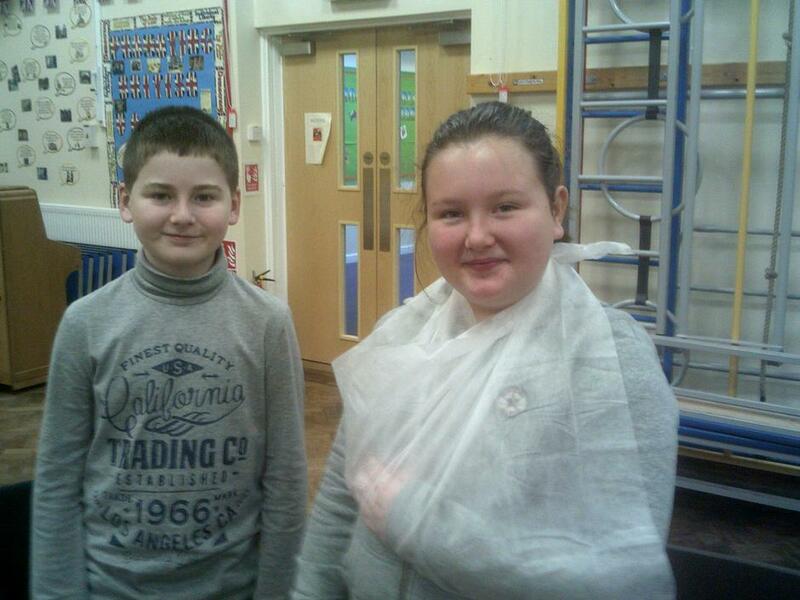 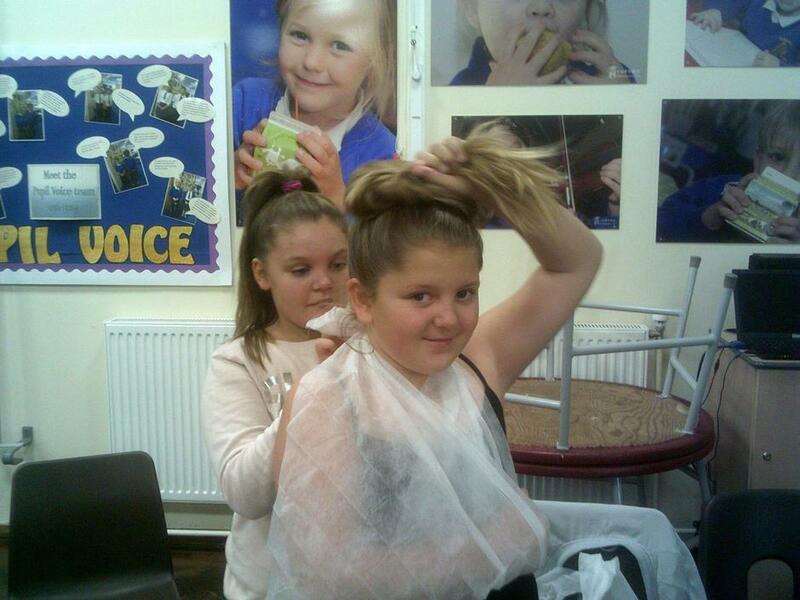 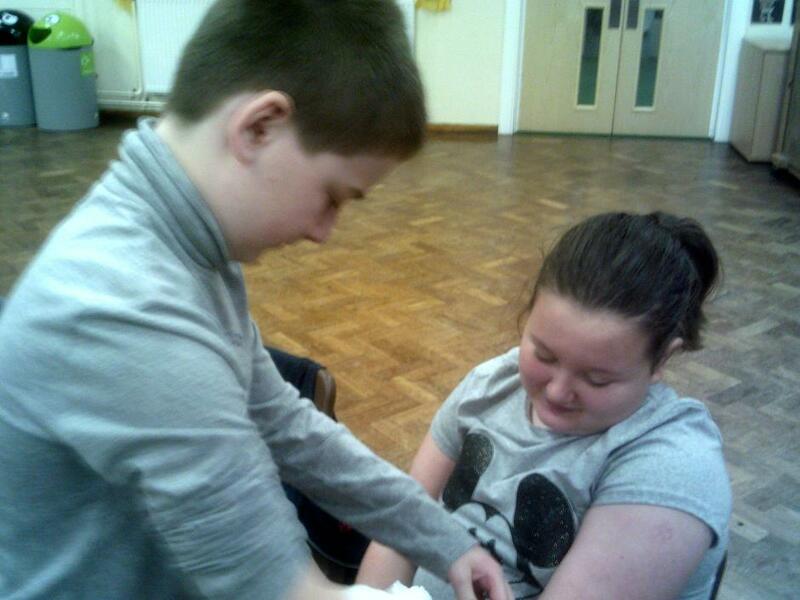 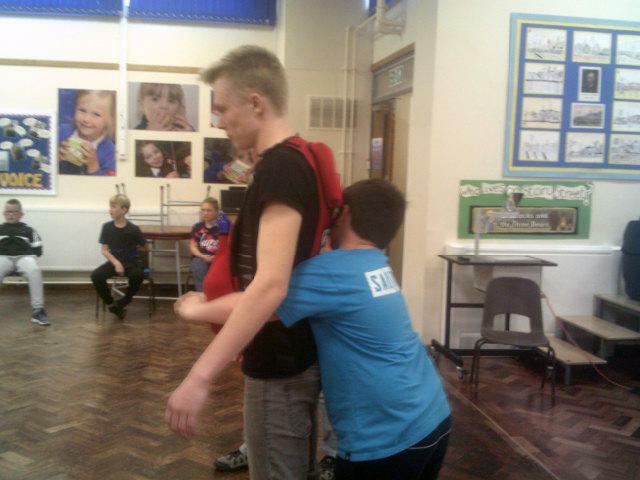 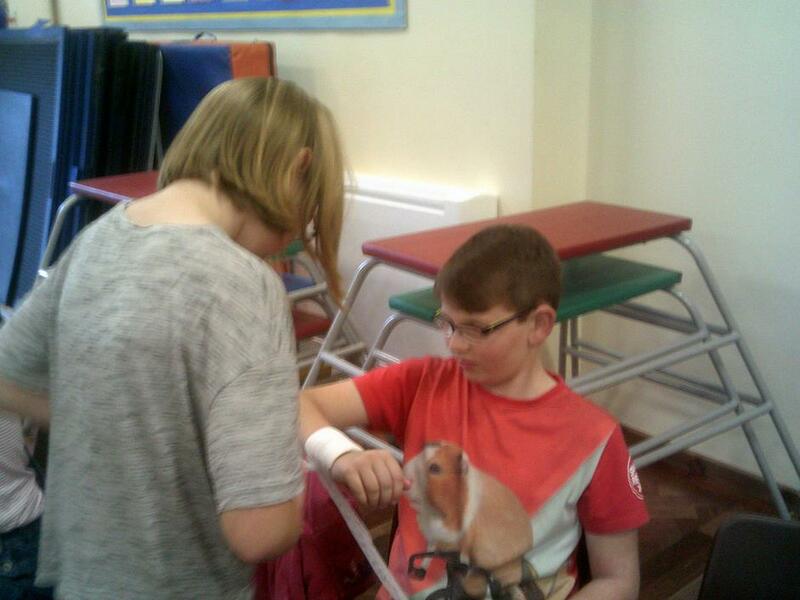 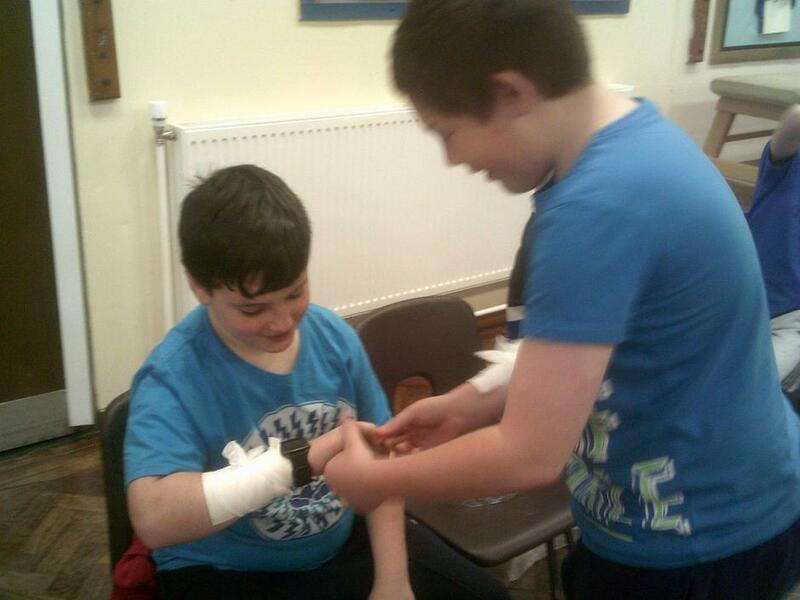 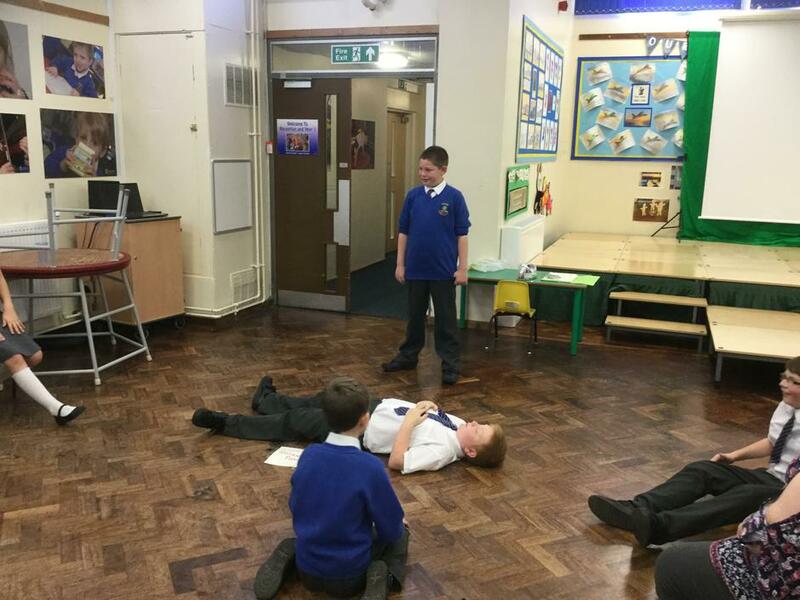 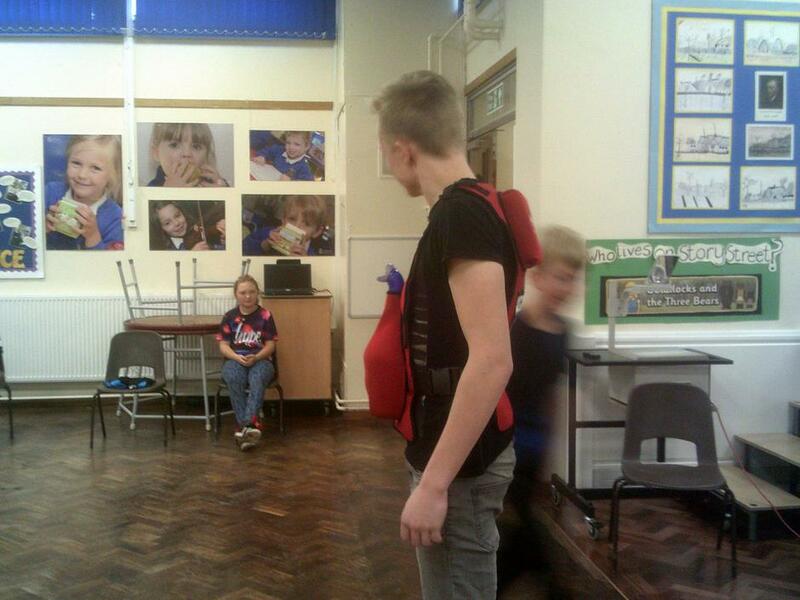 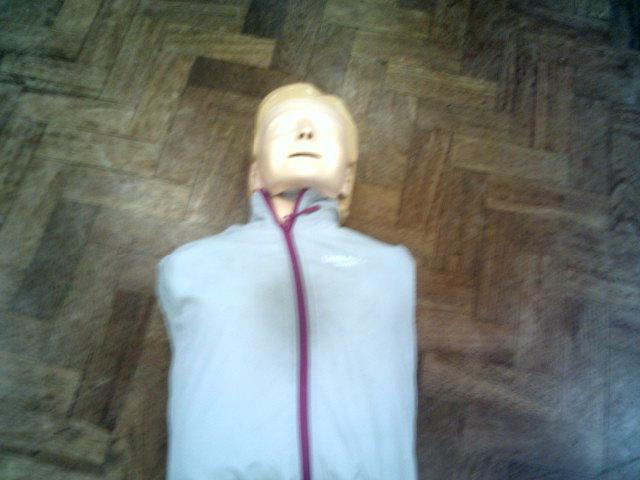 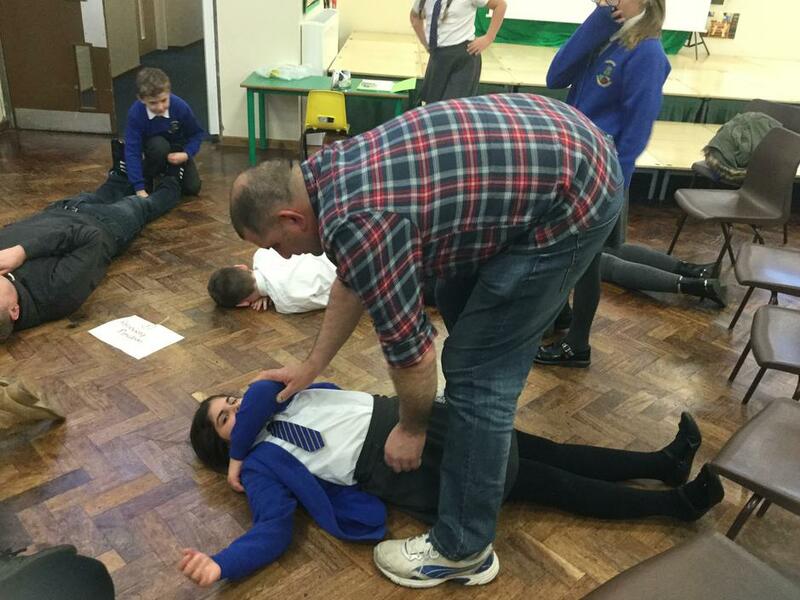 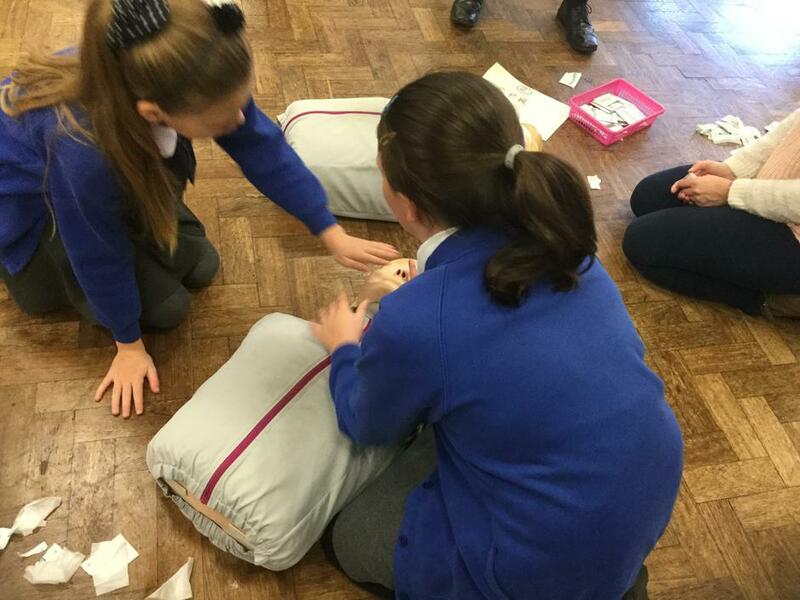 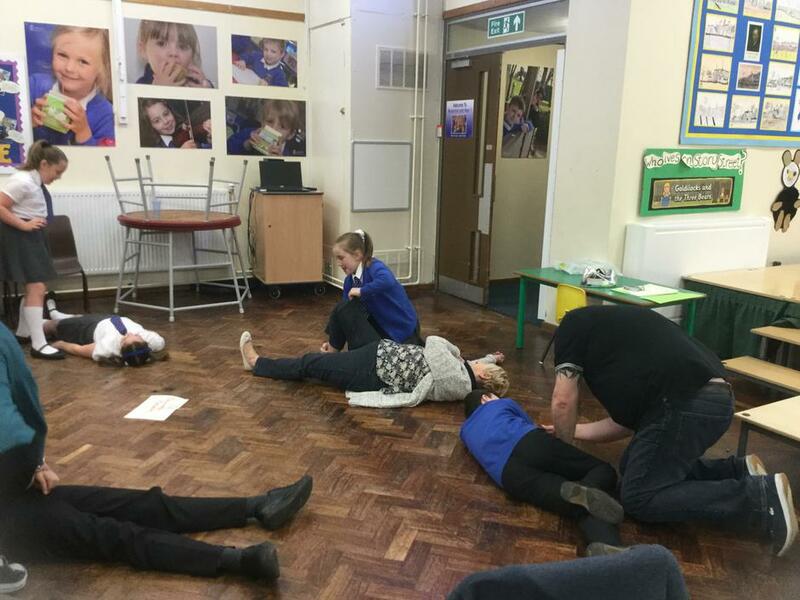 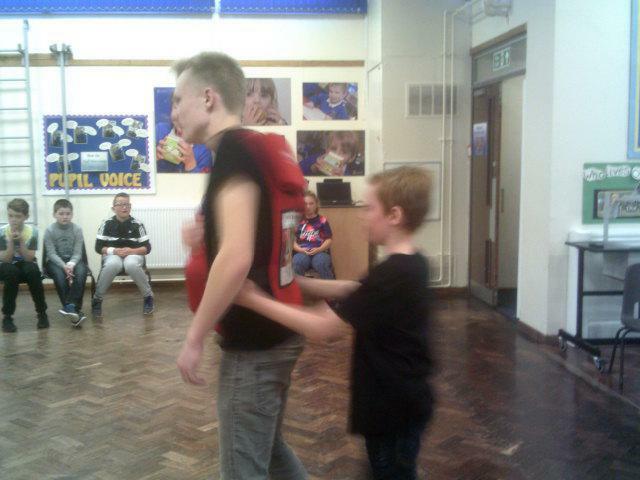 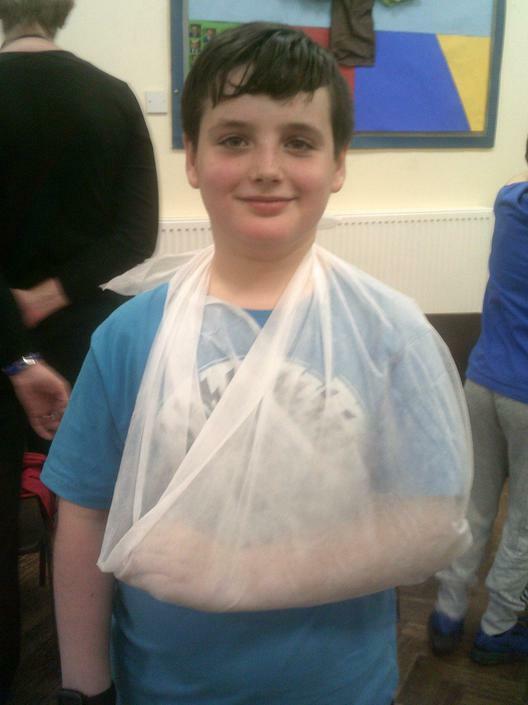 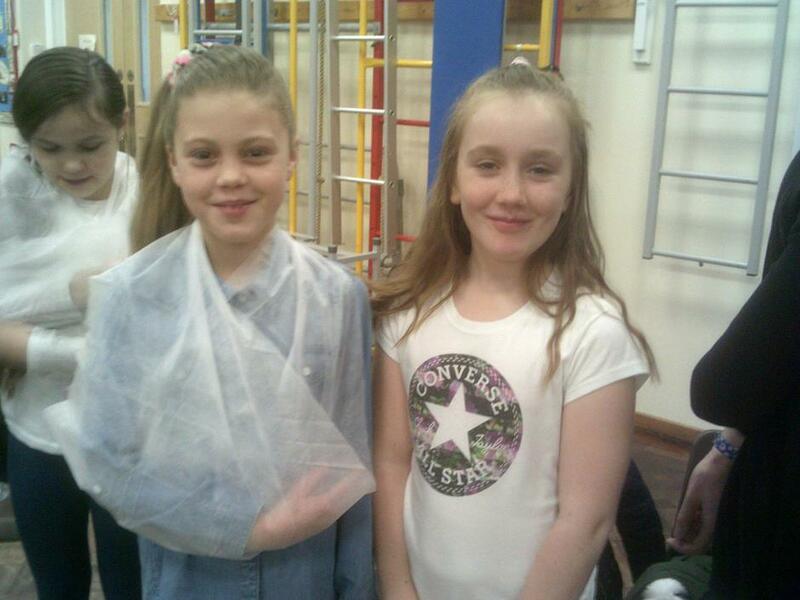 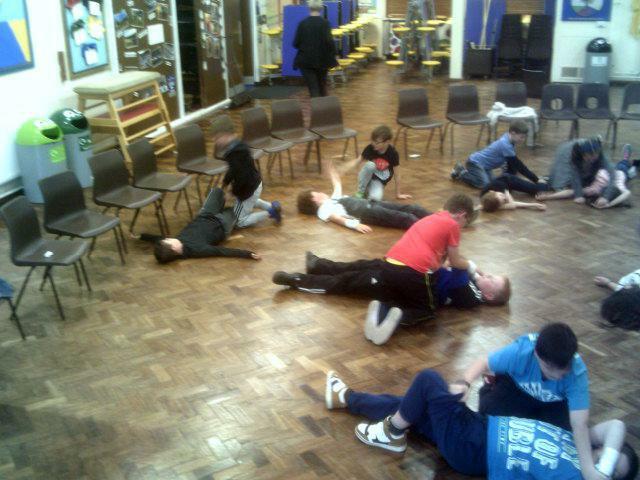 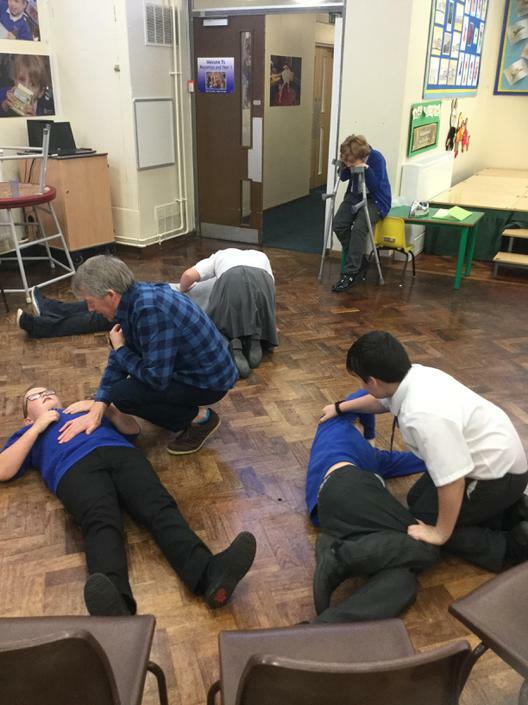 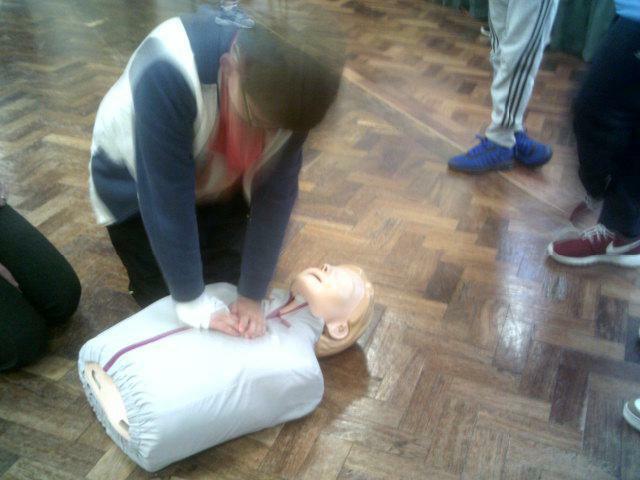 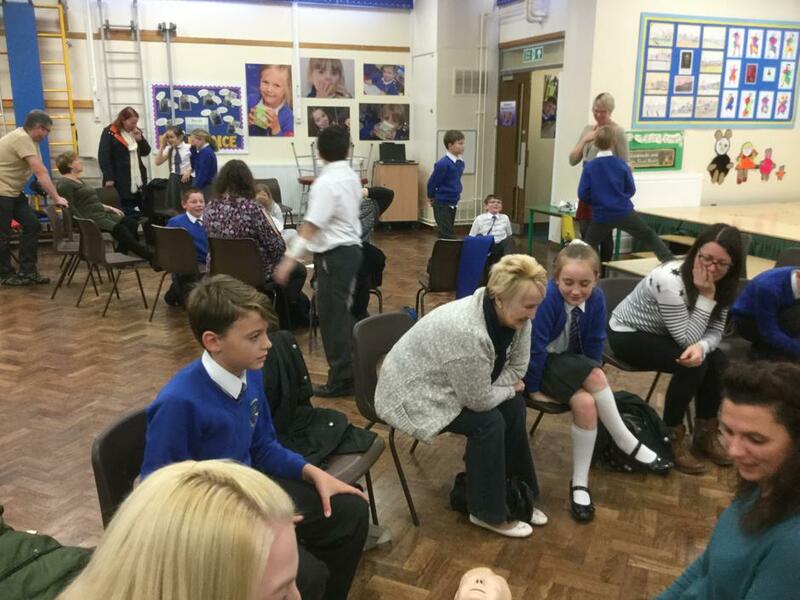 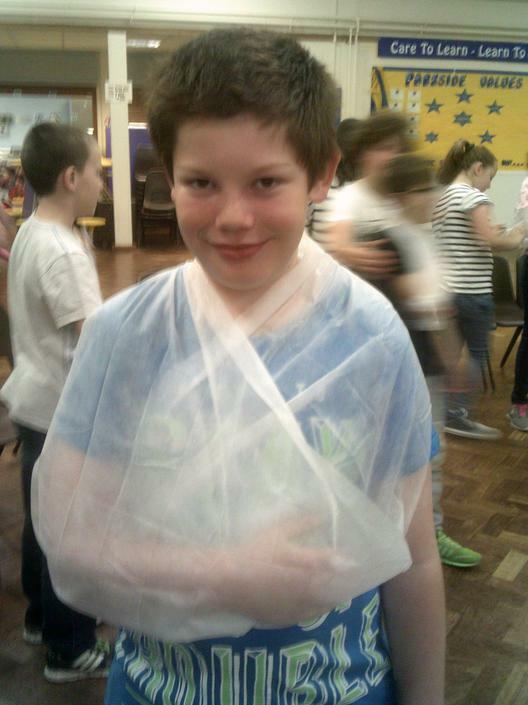 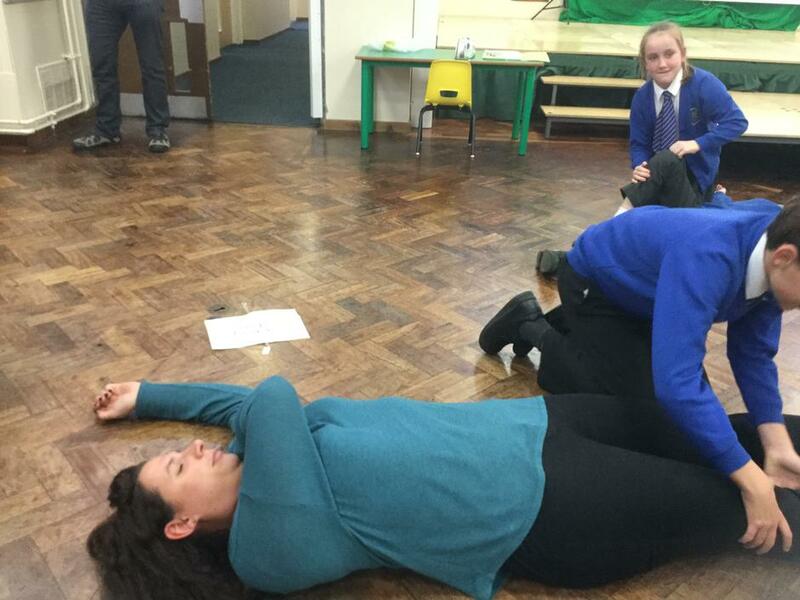 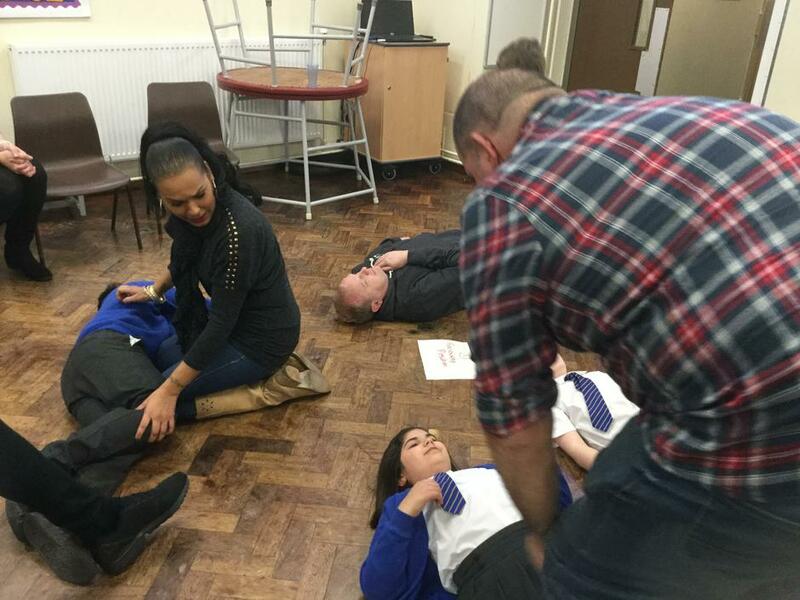 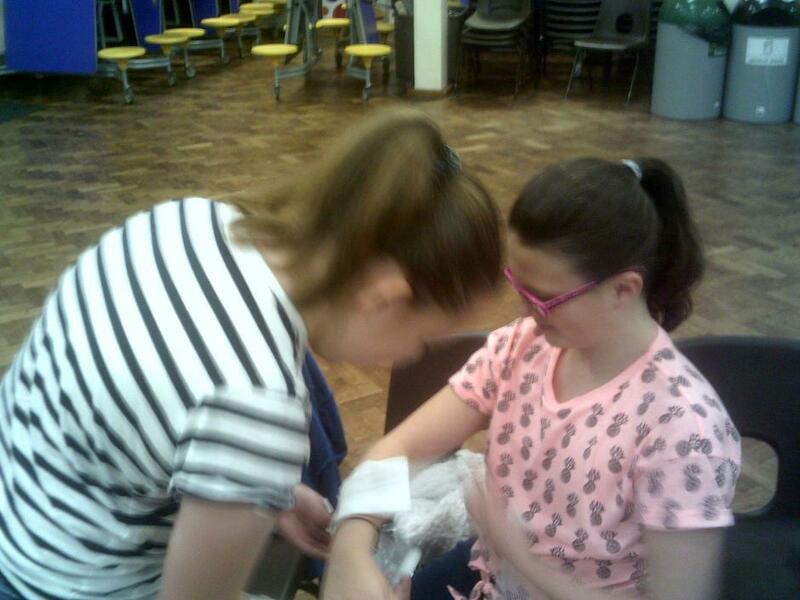 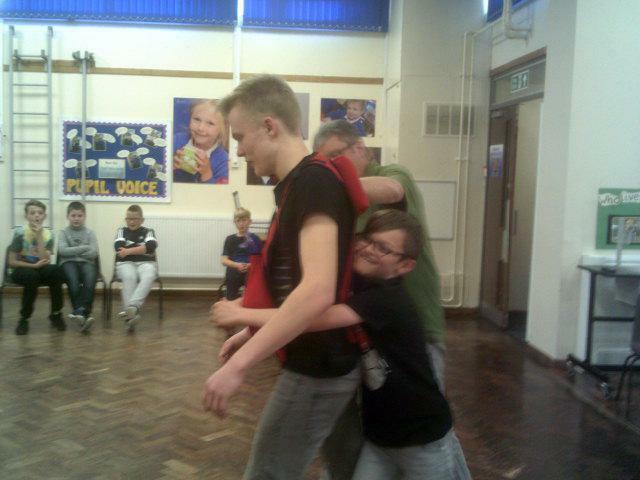 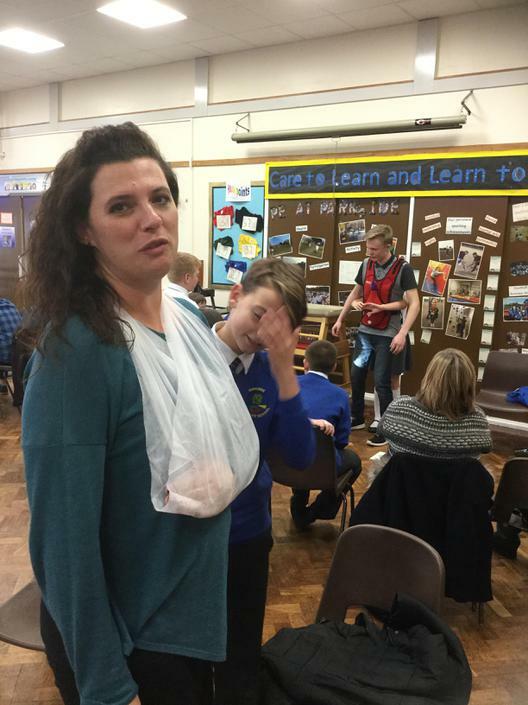 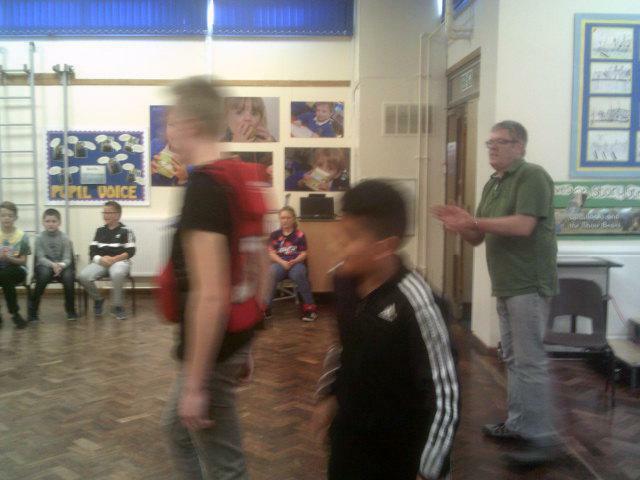 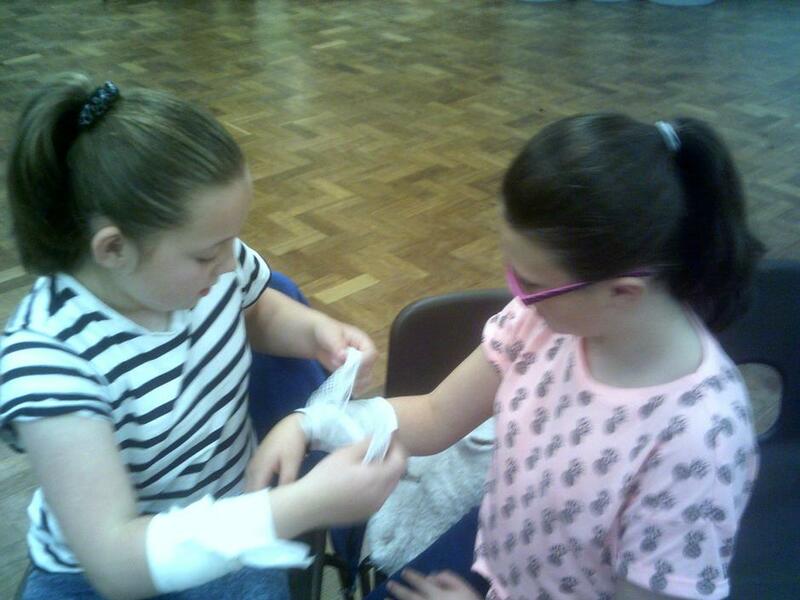 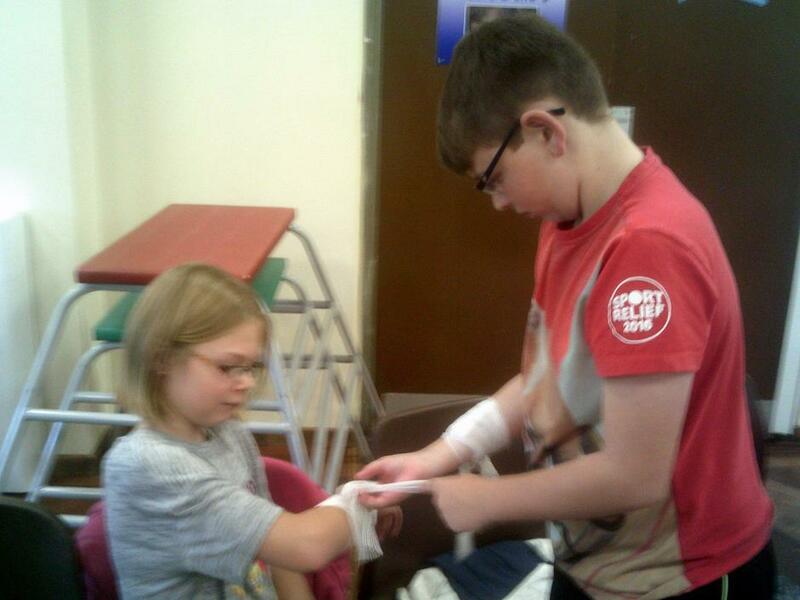 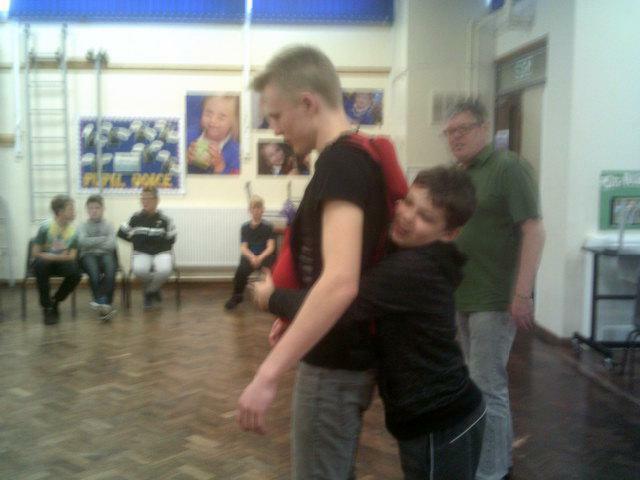 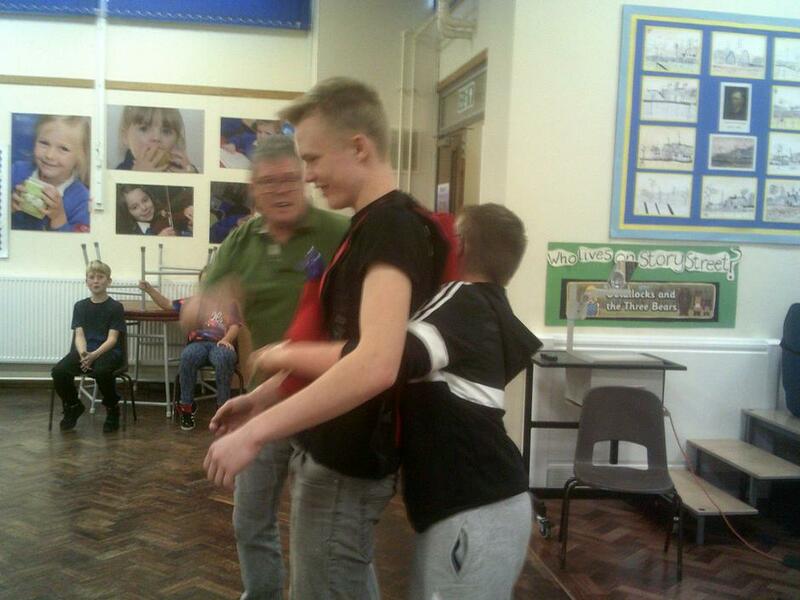 Today Year Six took part in First Aid Training, expertly delivered by First Aid Trainer Mr Chris Knapper. 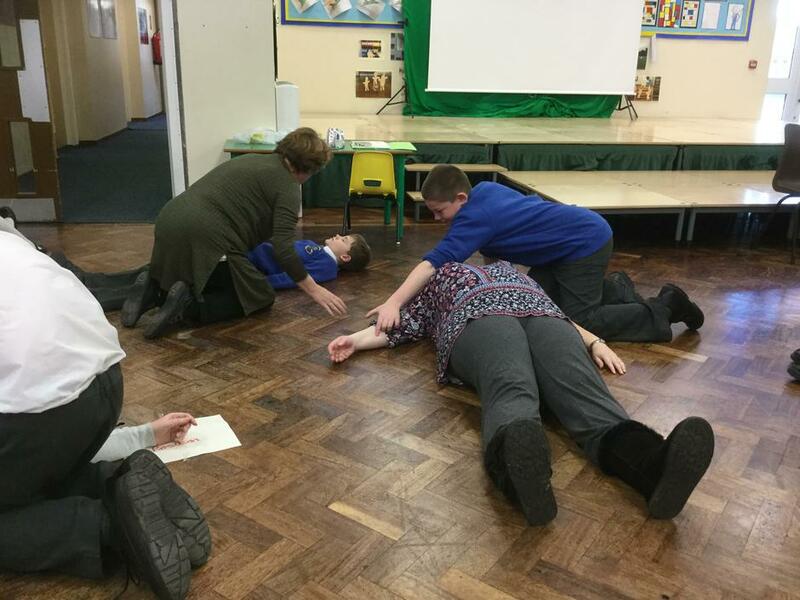 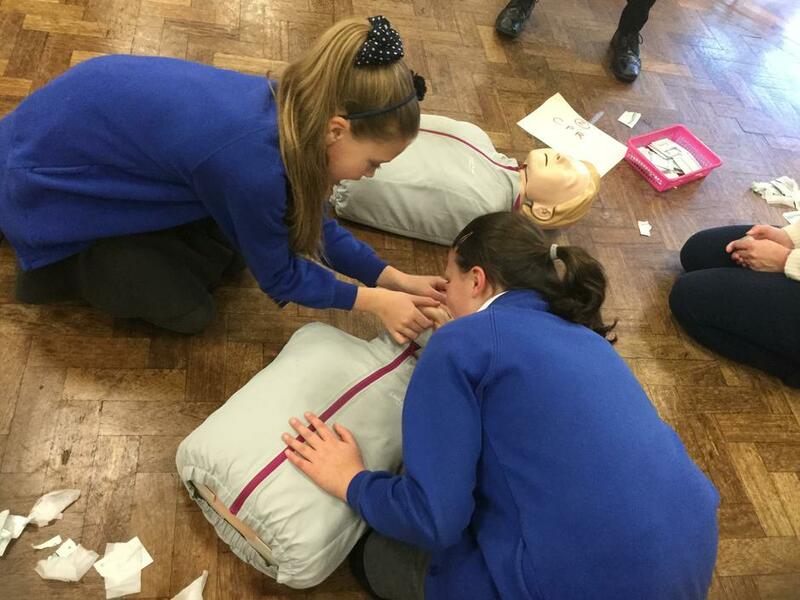 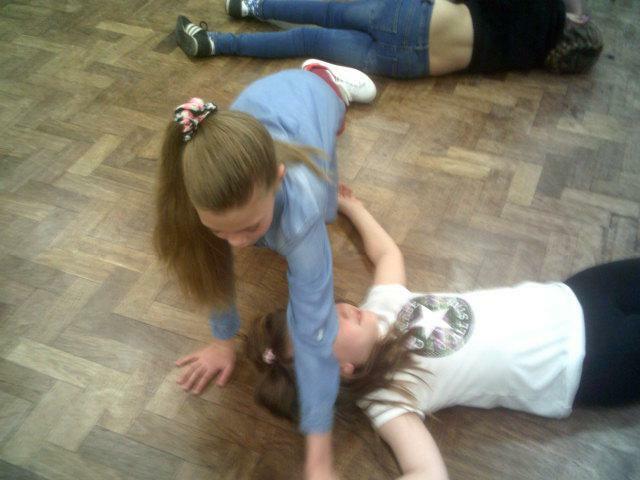 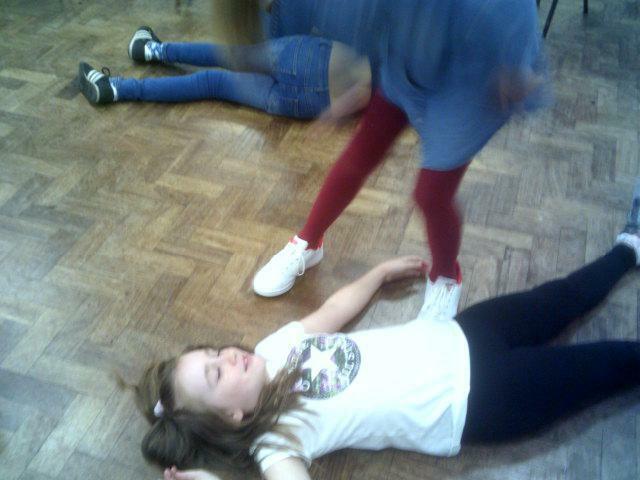 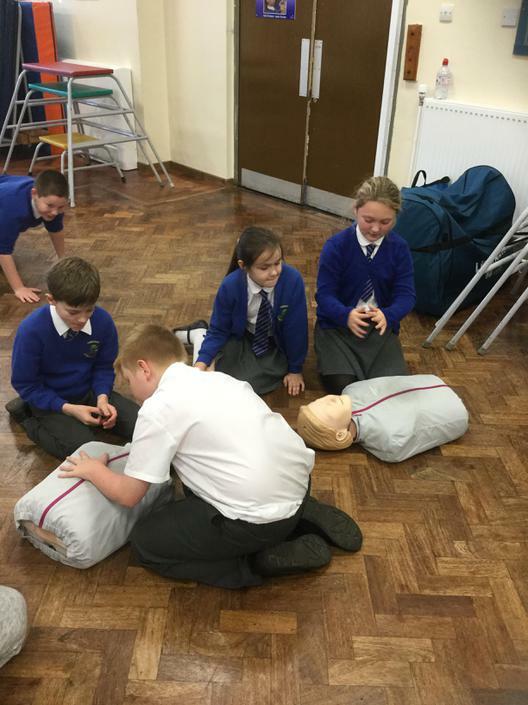 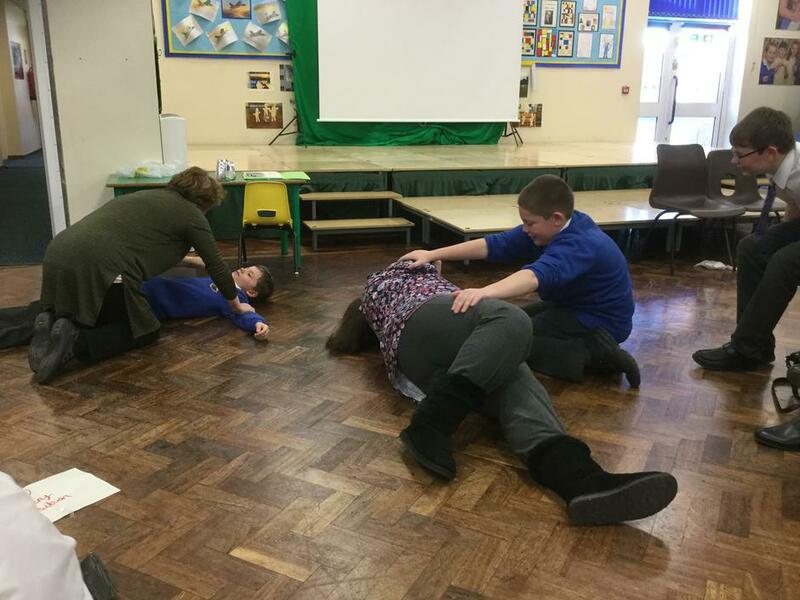 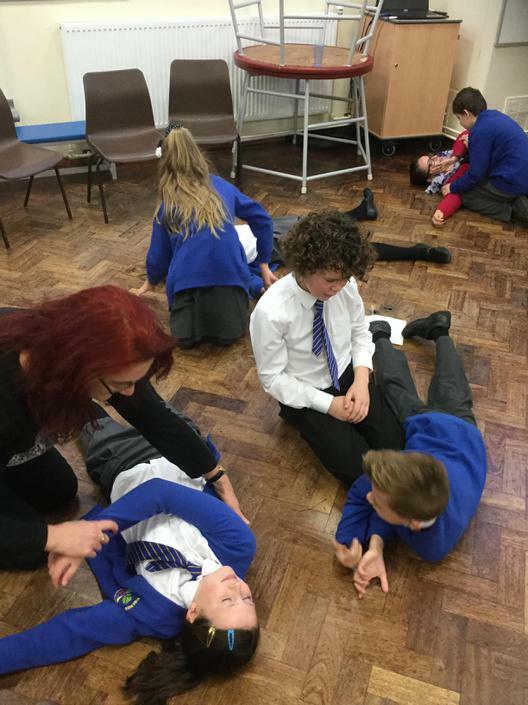 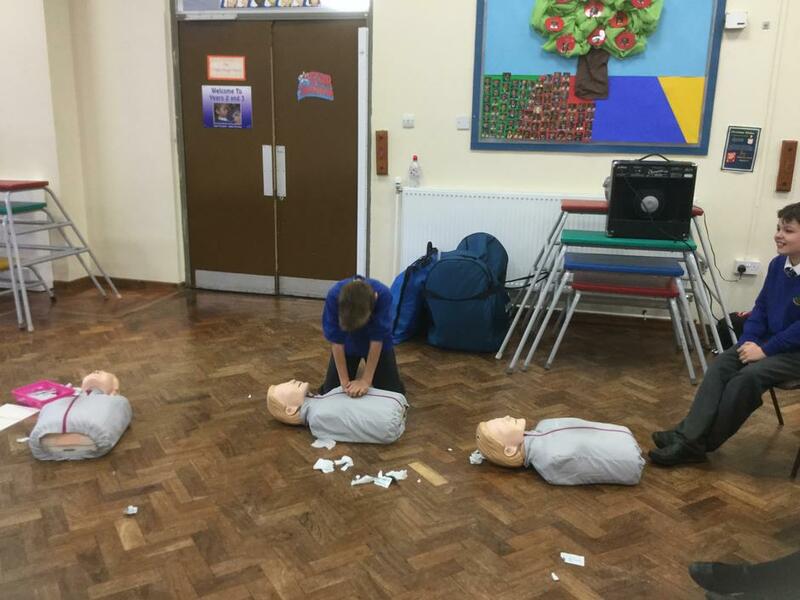 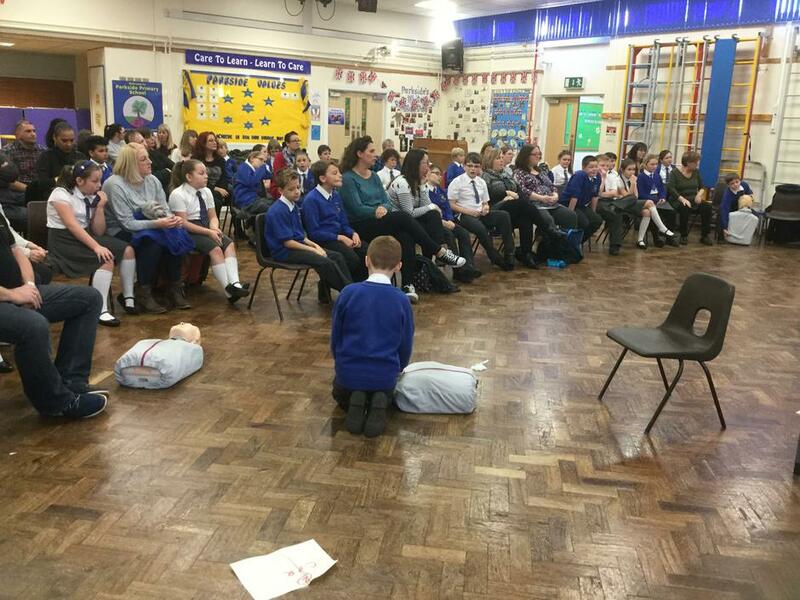 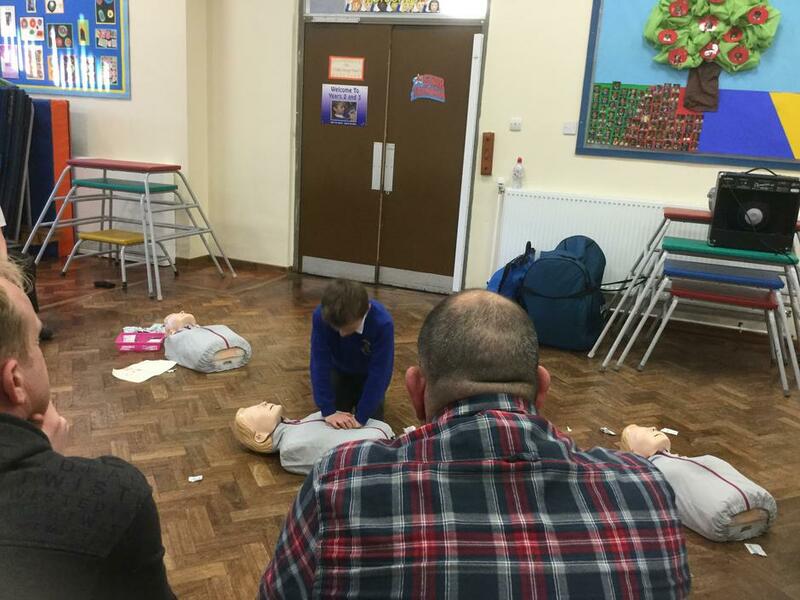 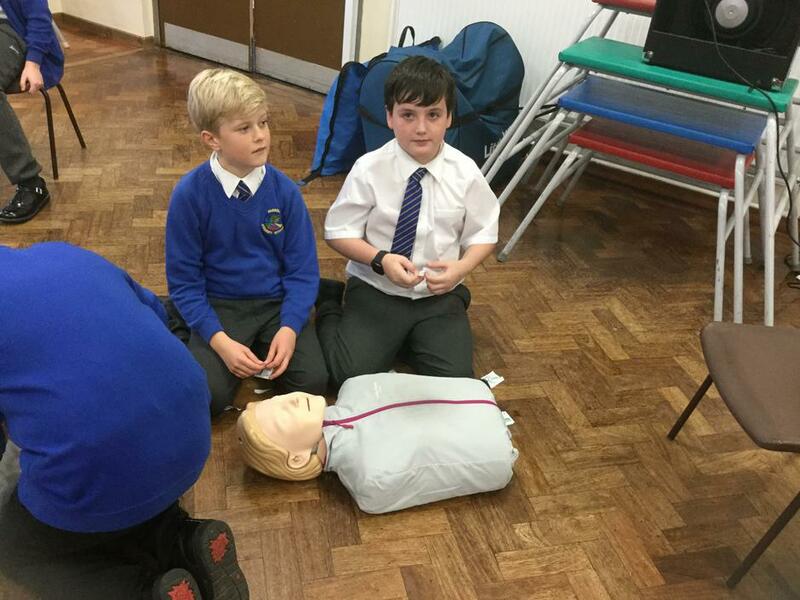 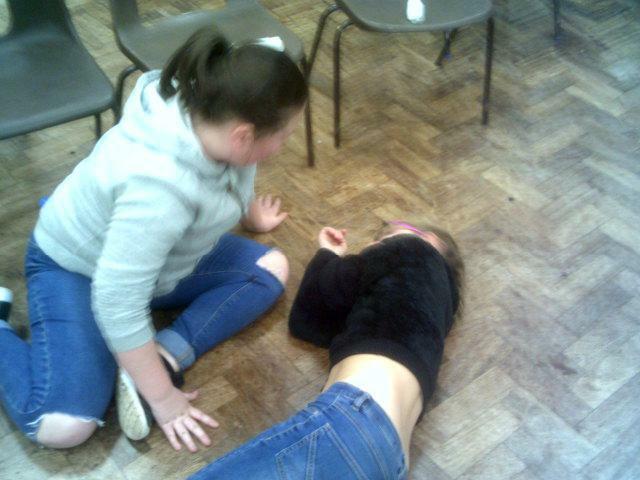 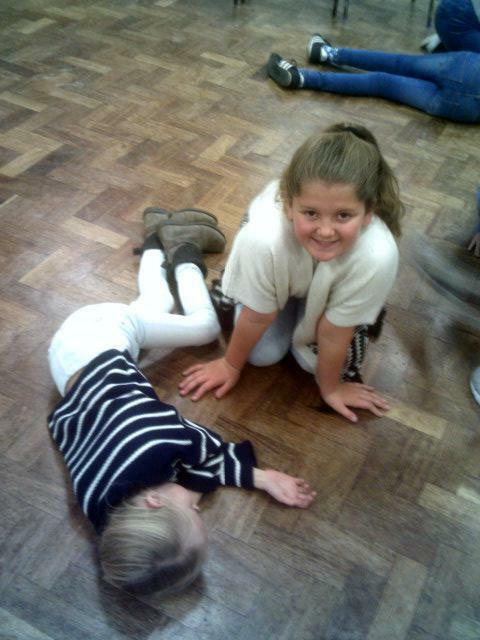 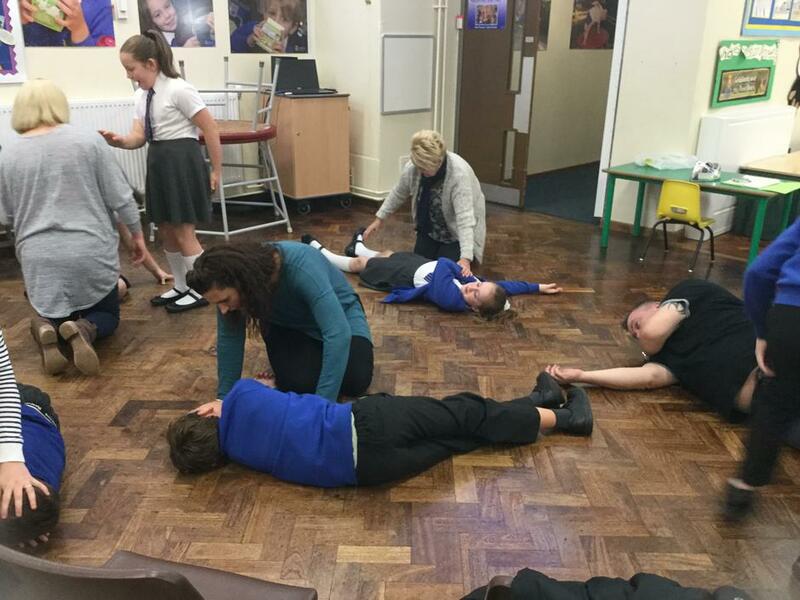 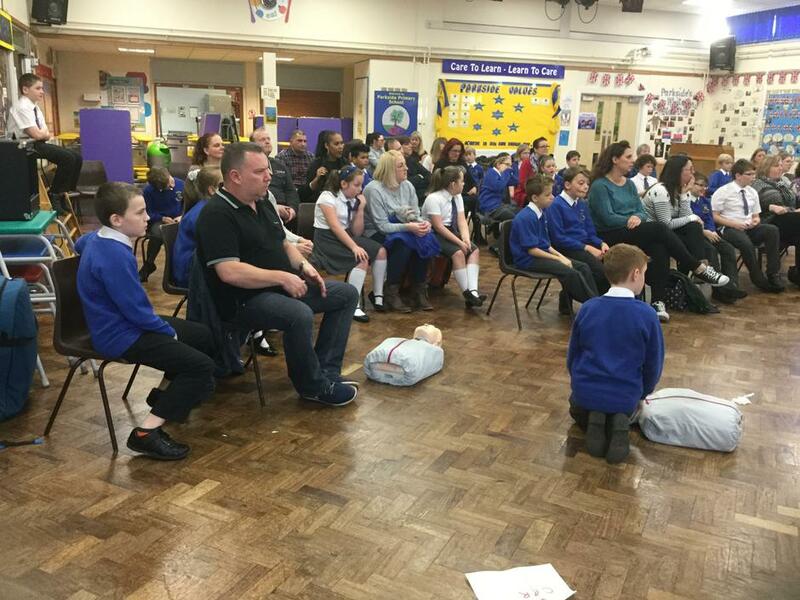 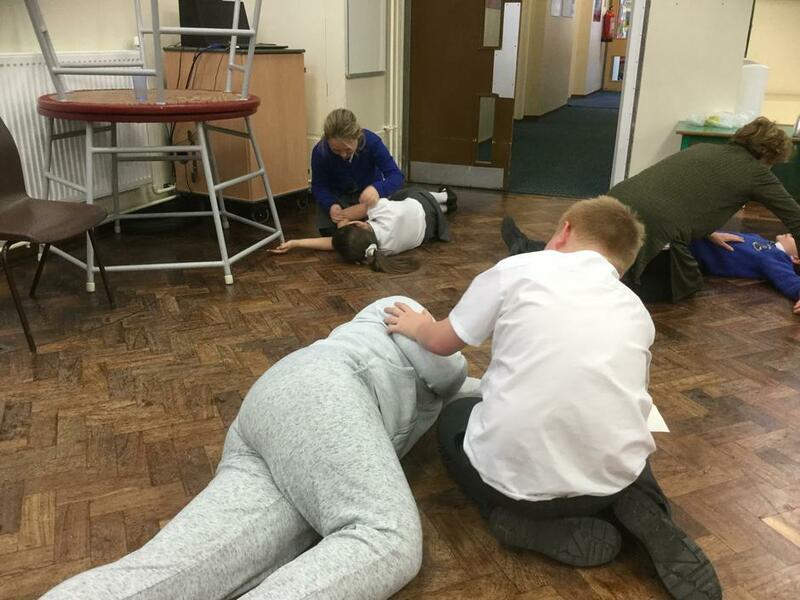 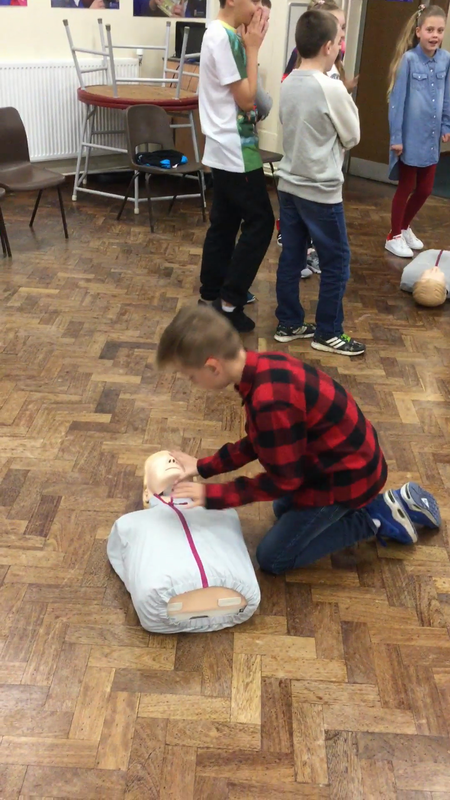 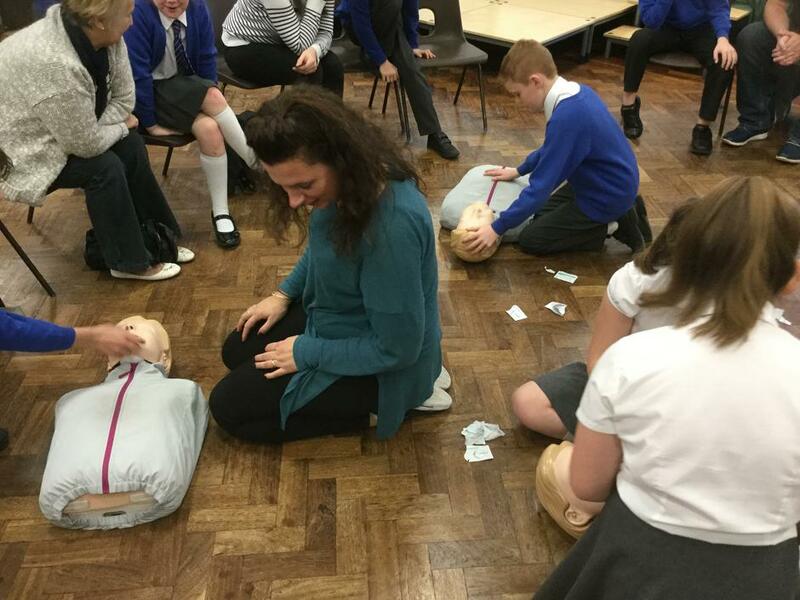 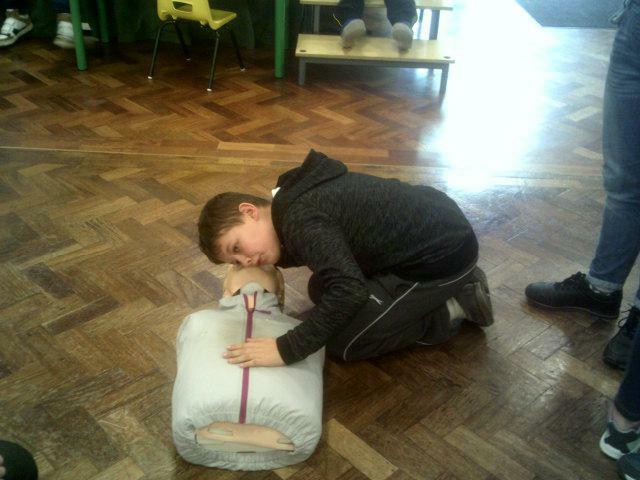 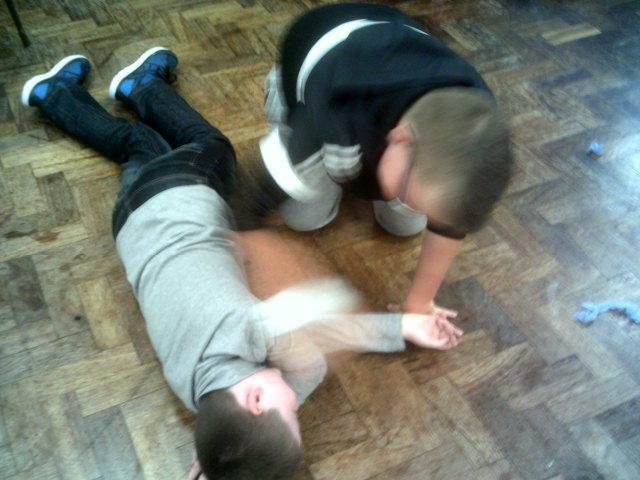 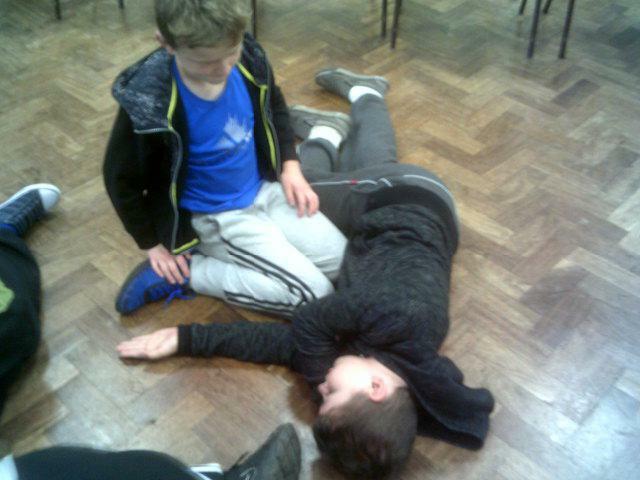 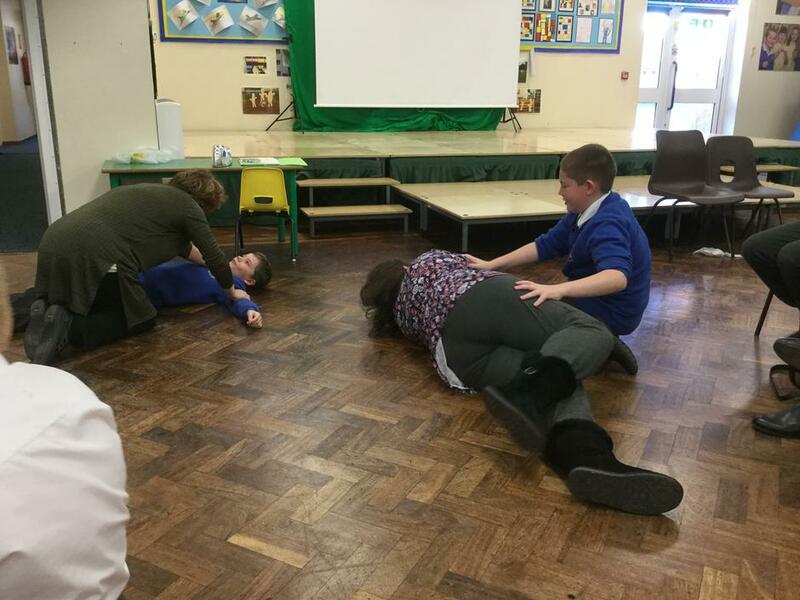 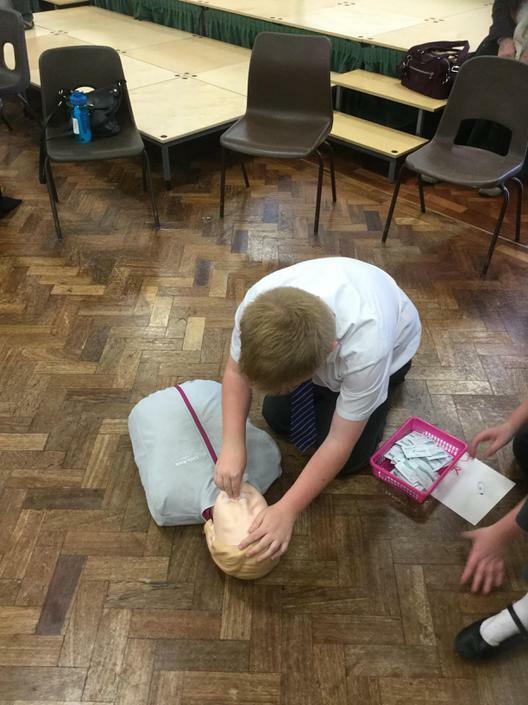 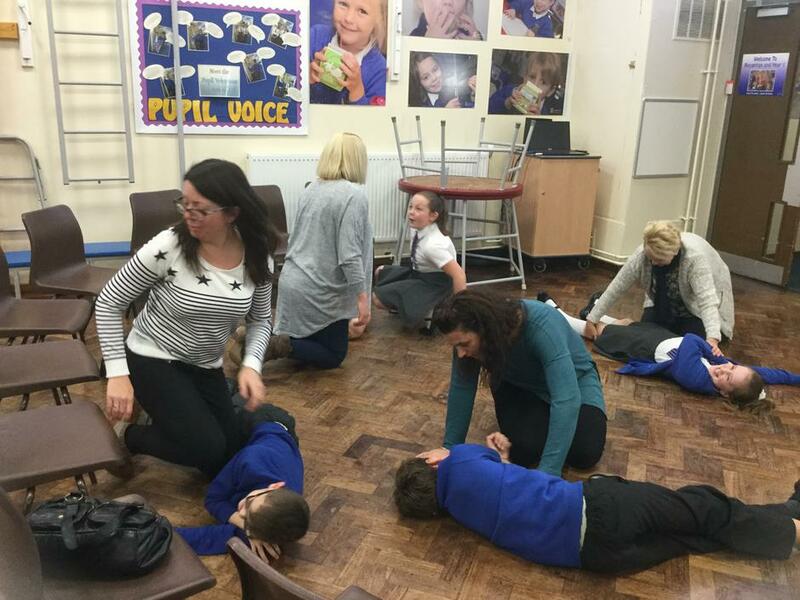 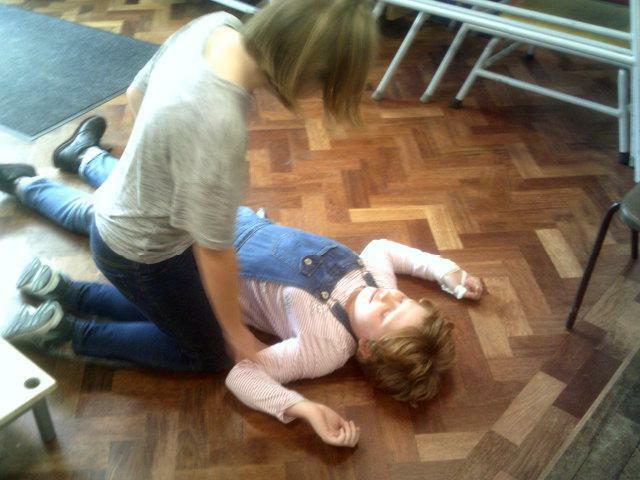 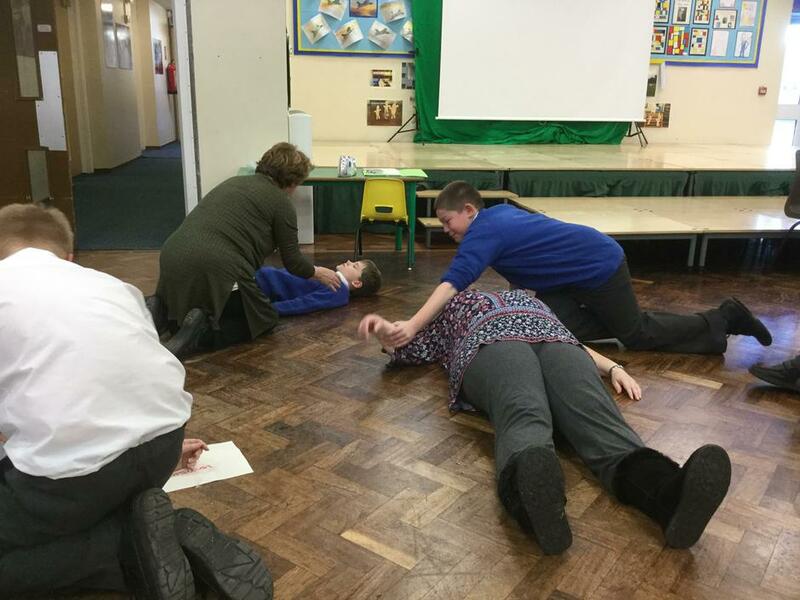 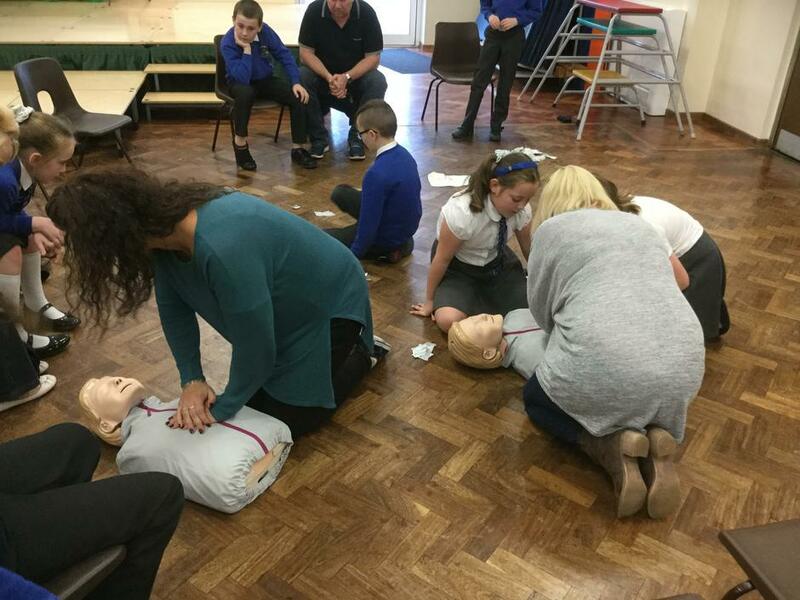 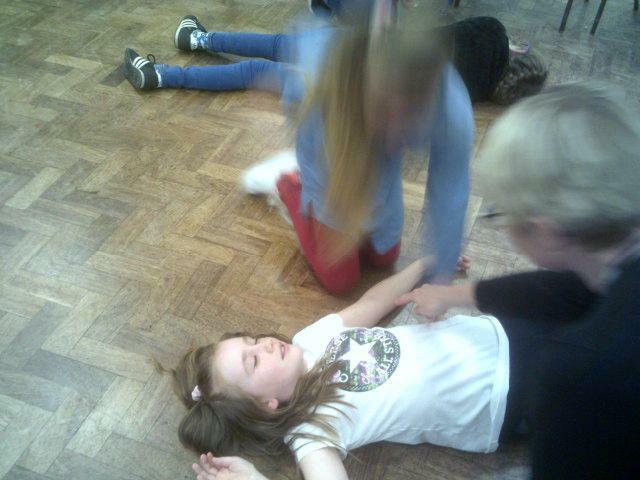 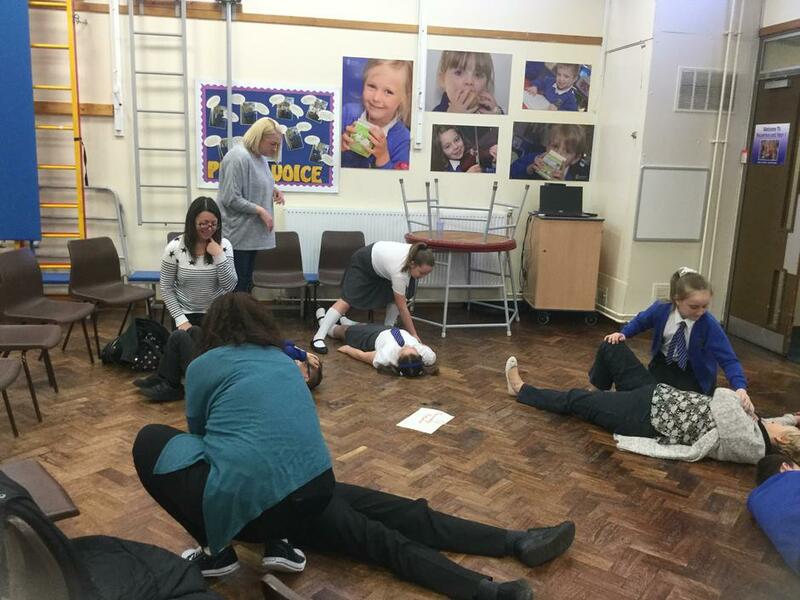 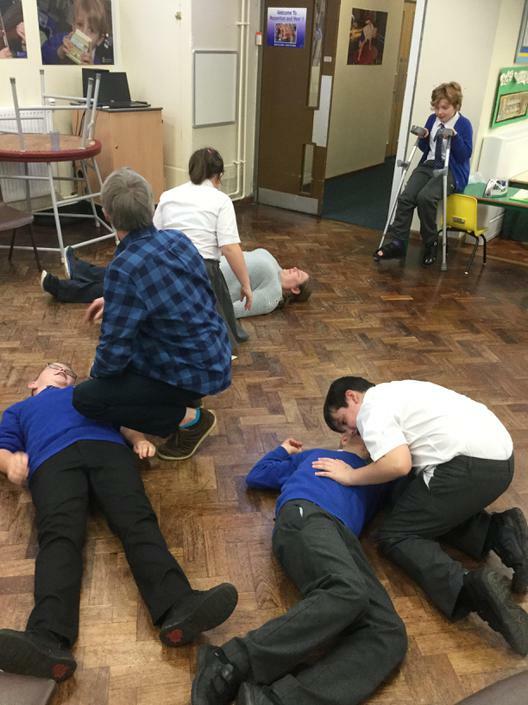 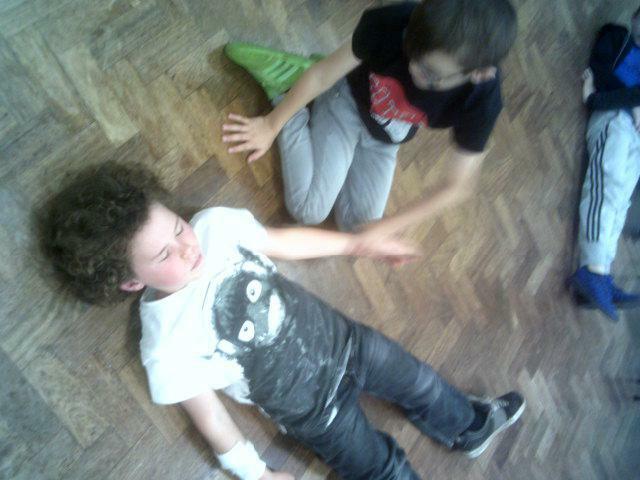 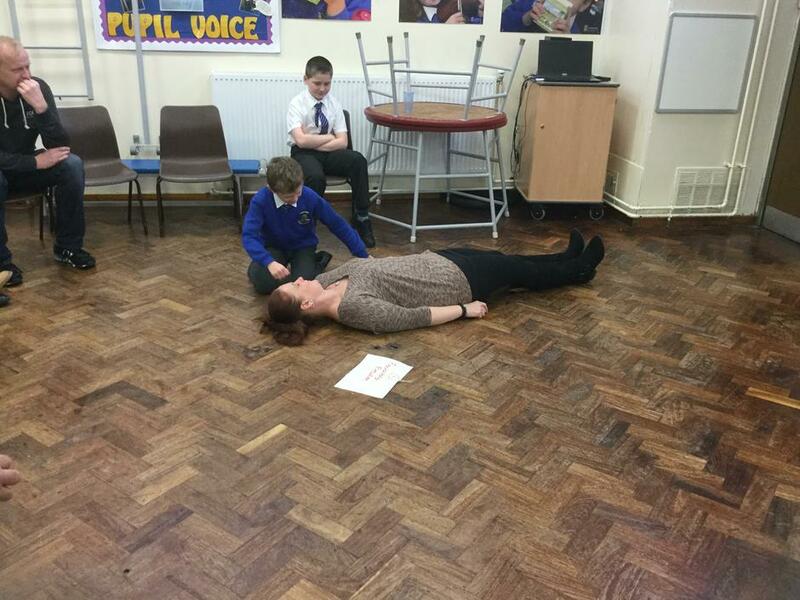 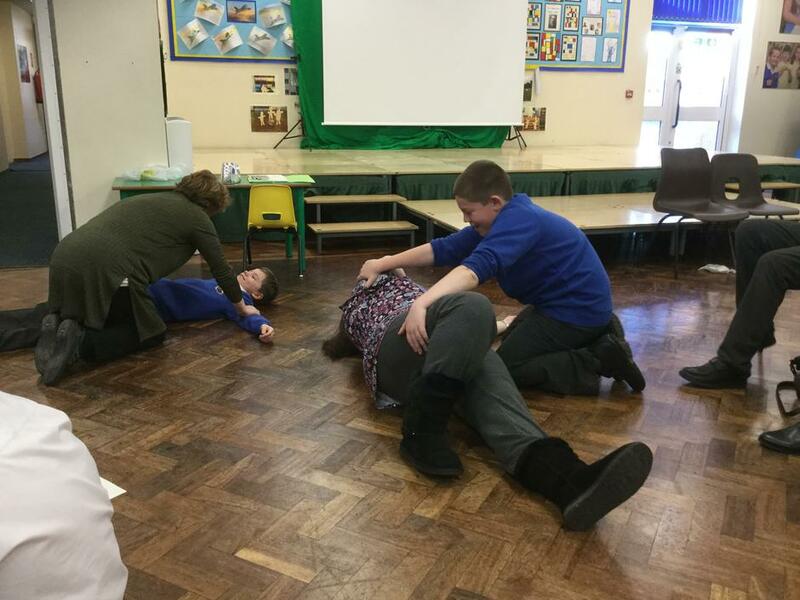 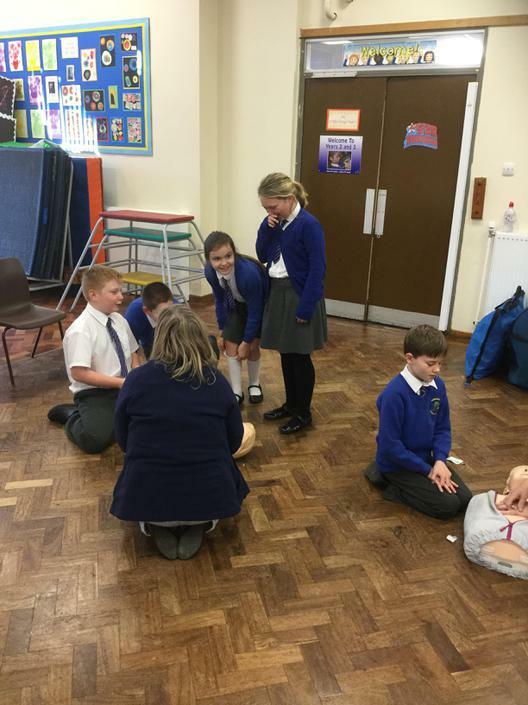 The children practised some potentially life-saving skills: CPR, bleeding, suspected fractures, choking and the recovery position! 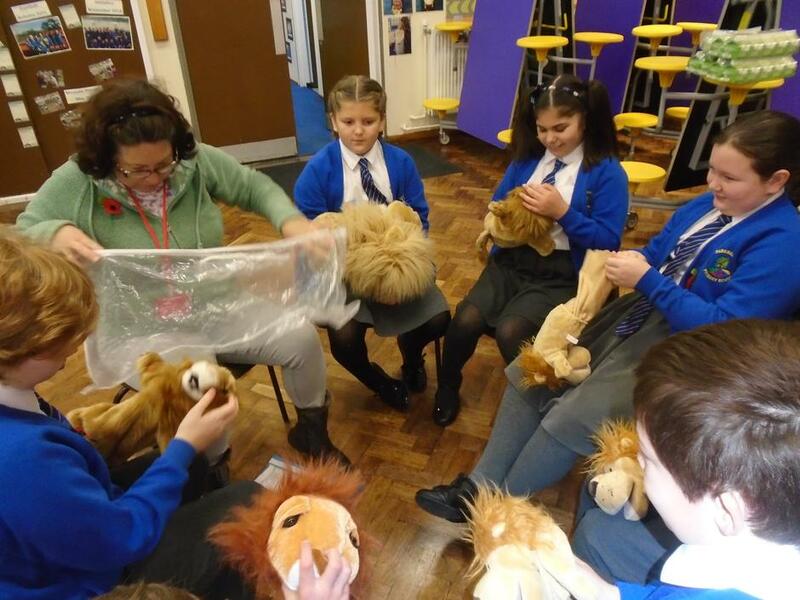 The children themselves were a fabulous audience who learnt so much and engaged fully in all of the practical activities! 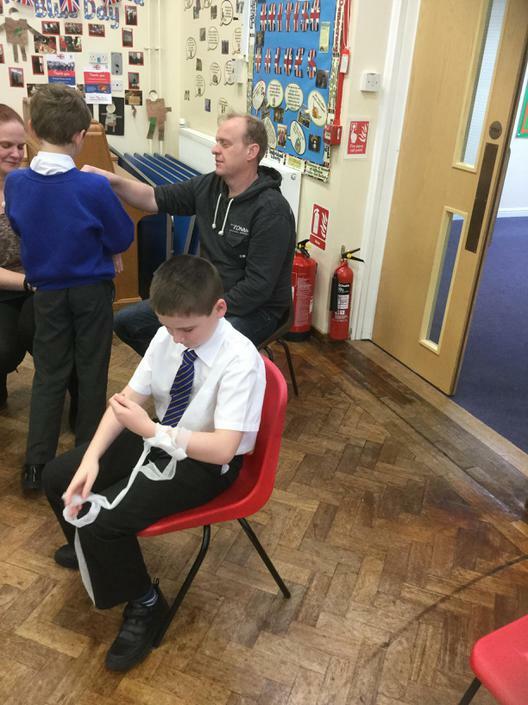 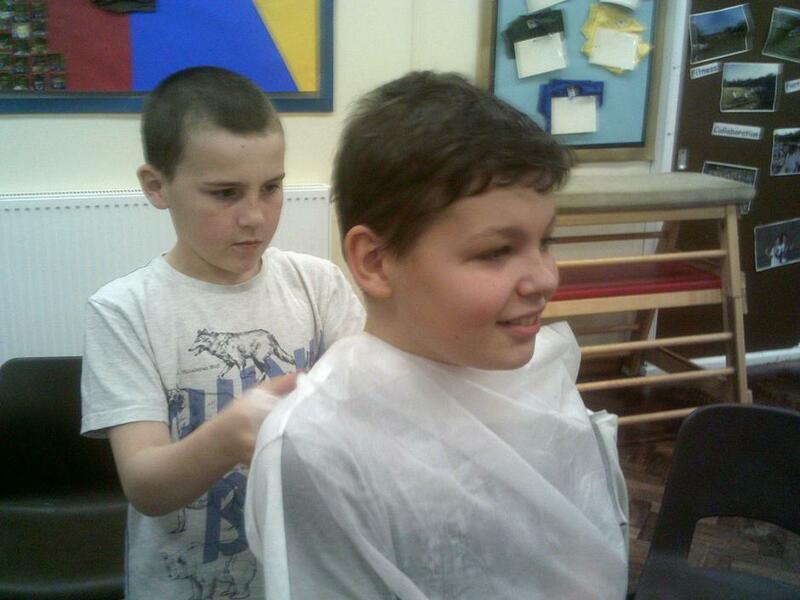 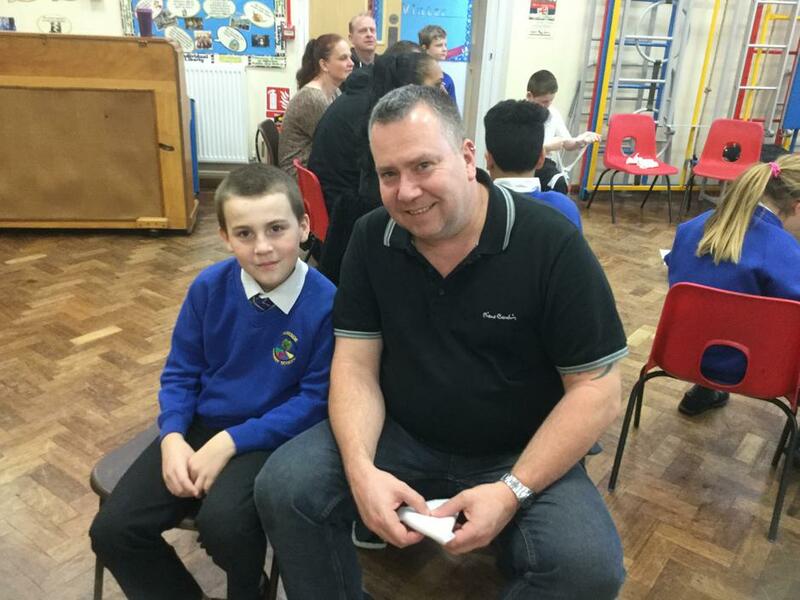 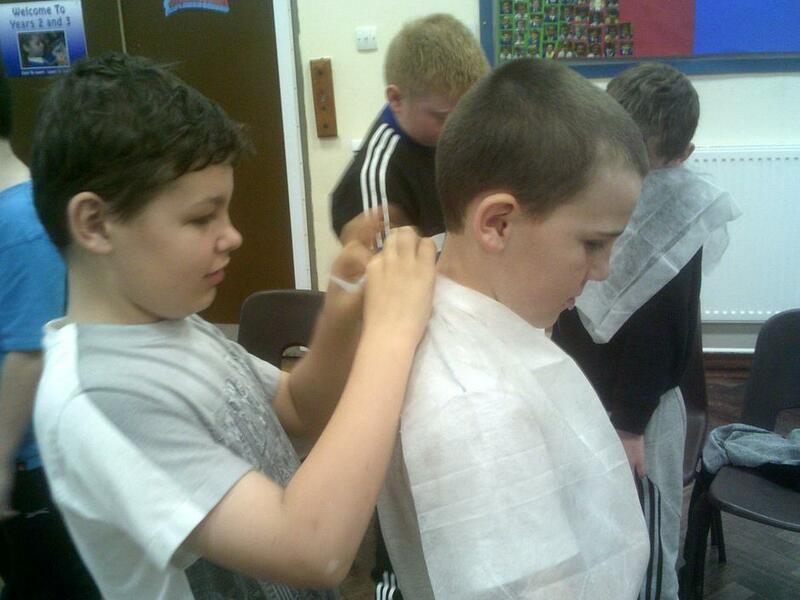 A massive thank you goes to Chris for giving up his time to come in to school and provide the children with this wonderful opportunity! 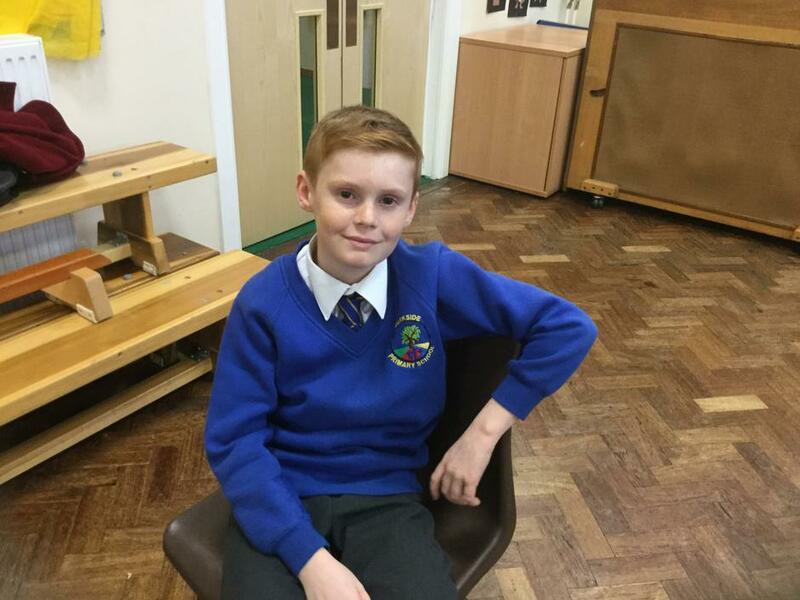 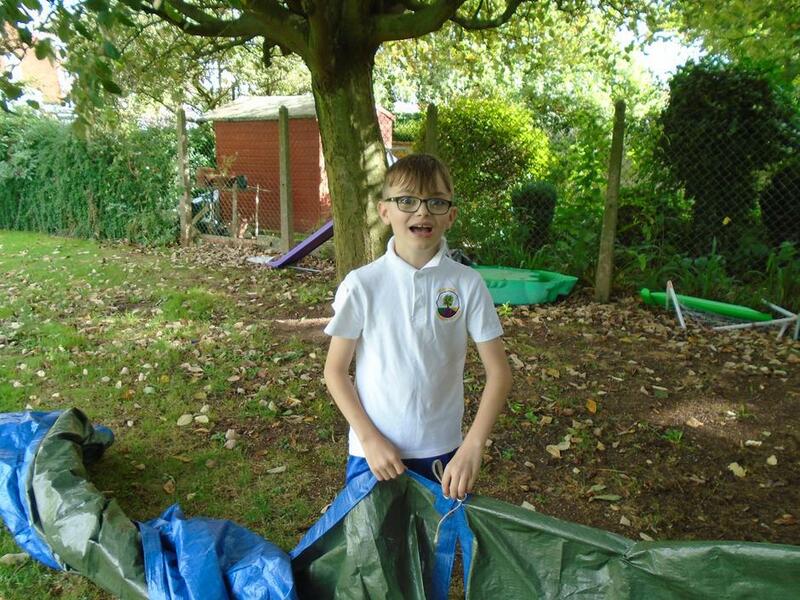 We look forward to welcoming him back on the afternoon of Friday 25th November when he will be working with us - and you - again for our Parent Project! 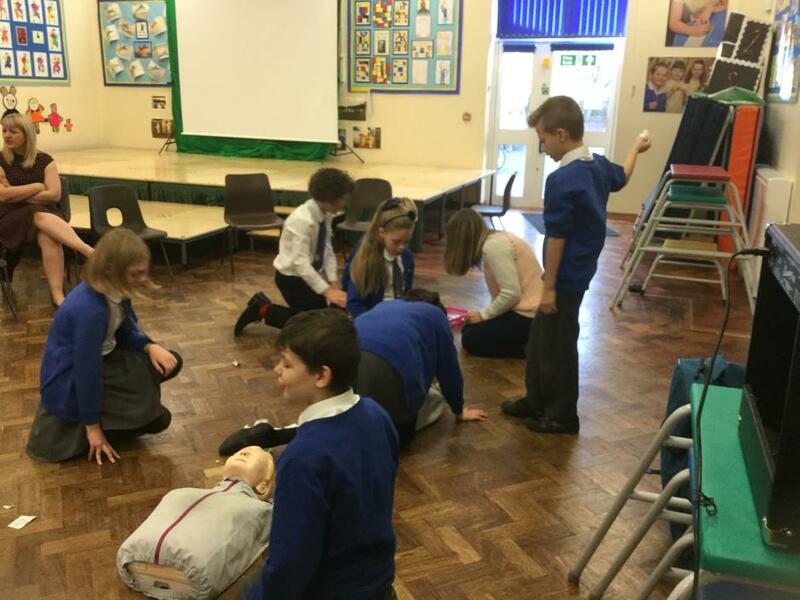 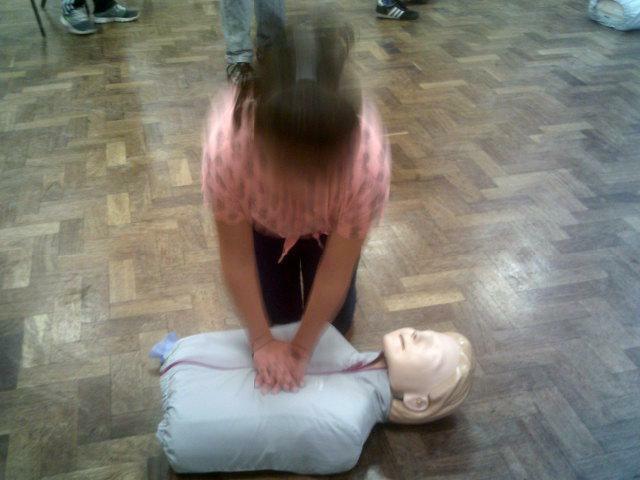 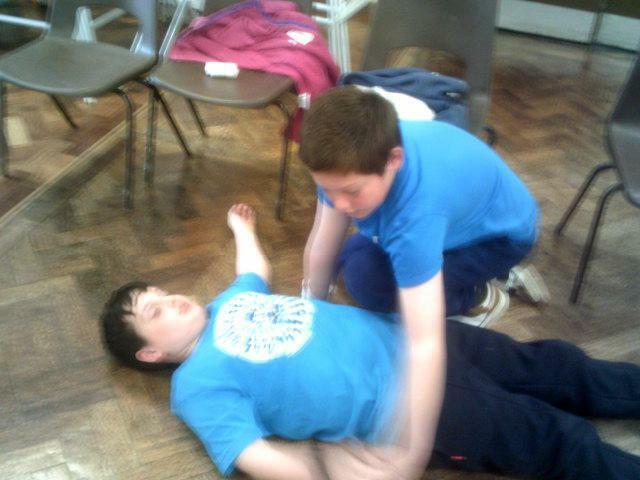 Below are some pictures of the children in action as well a short video of the CPR procedure! 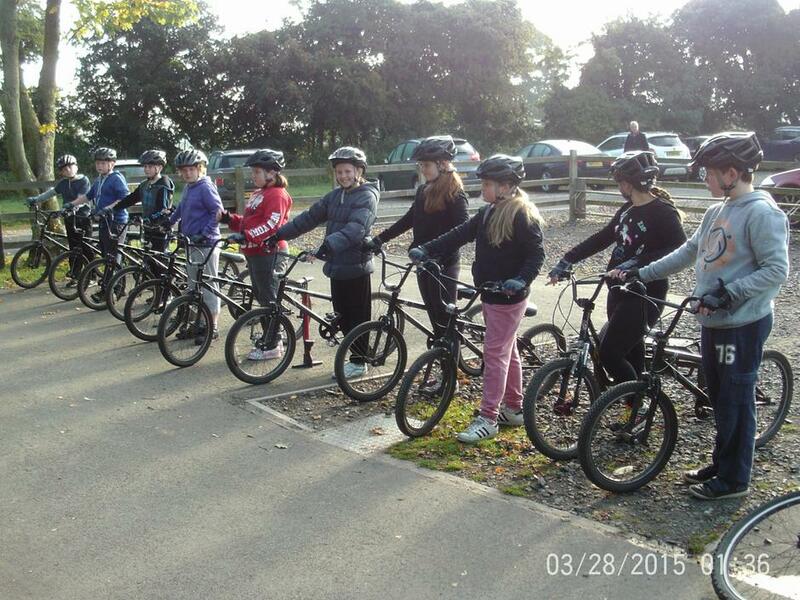 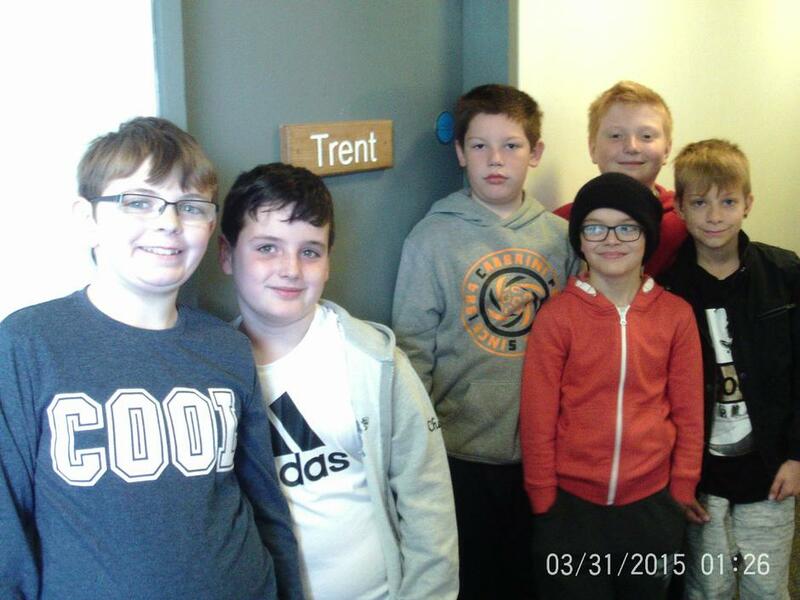 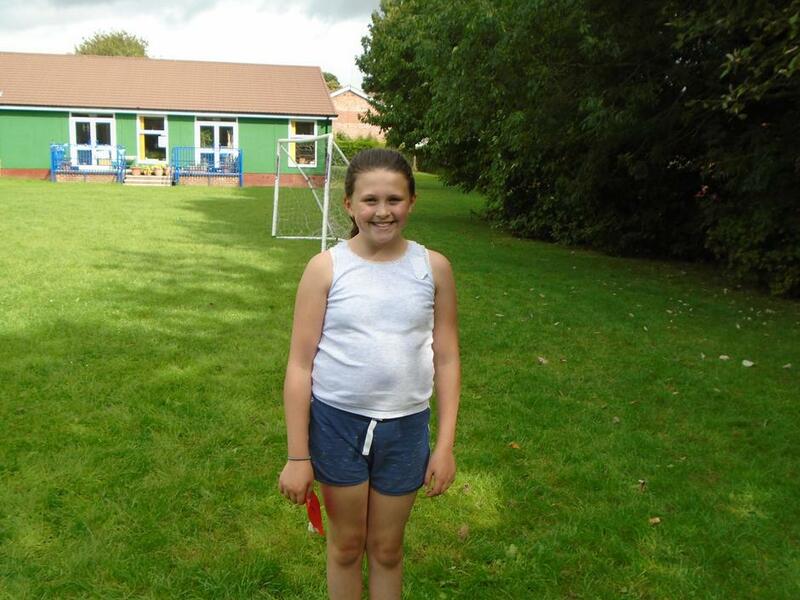 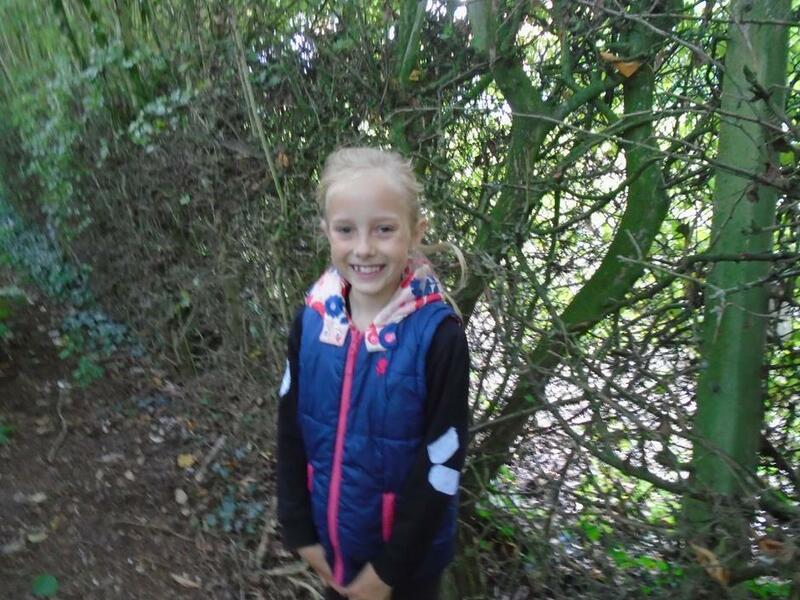 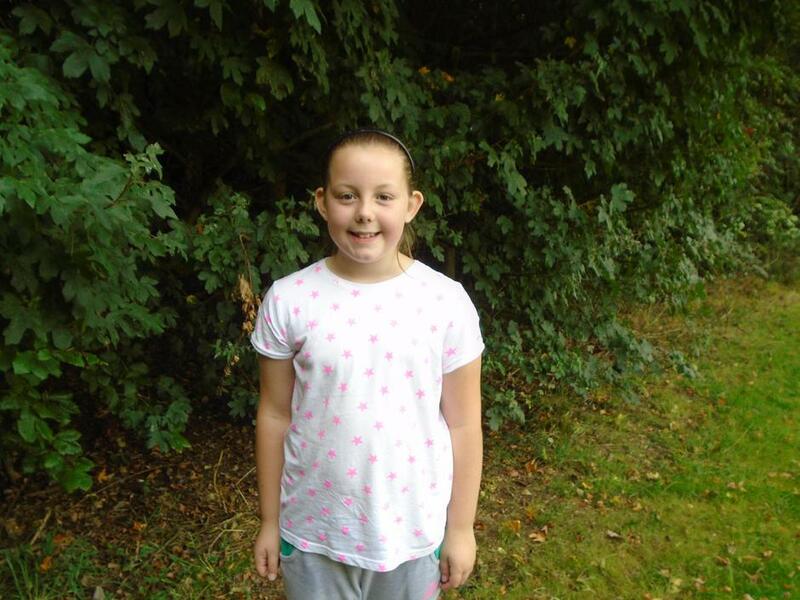 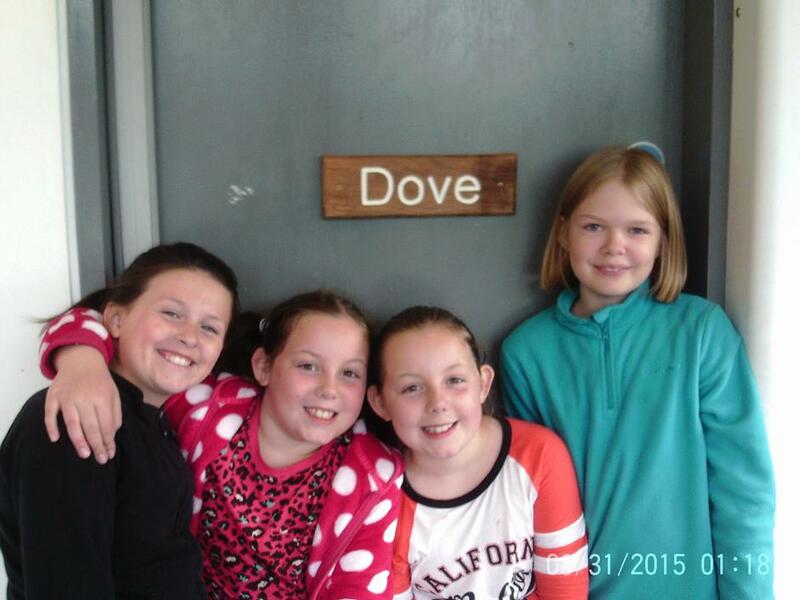 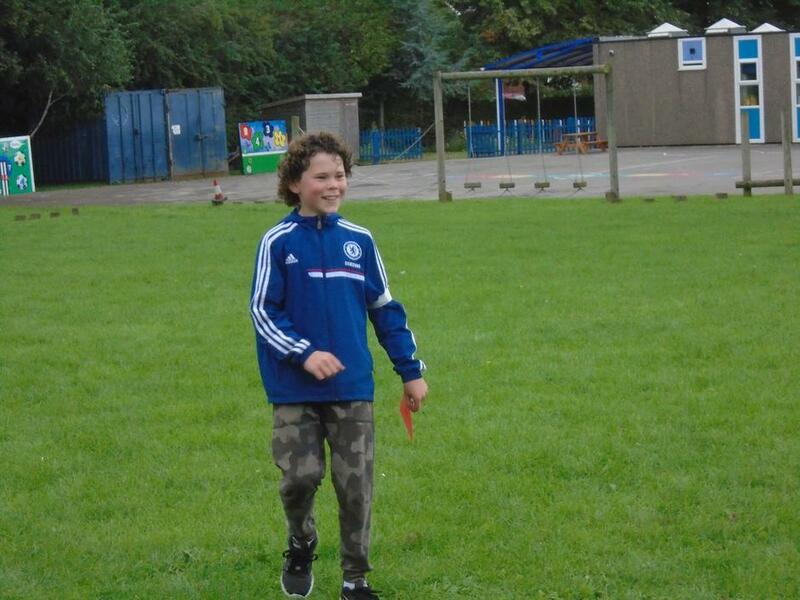 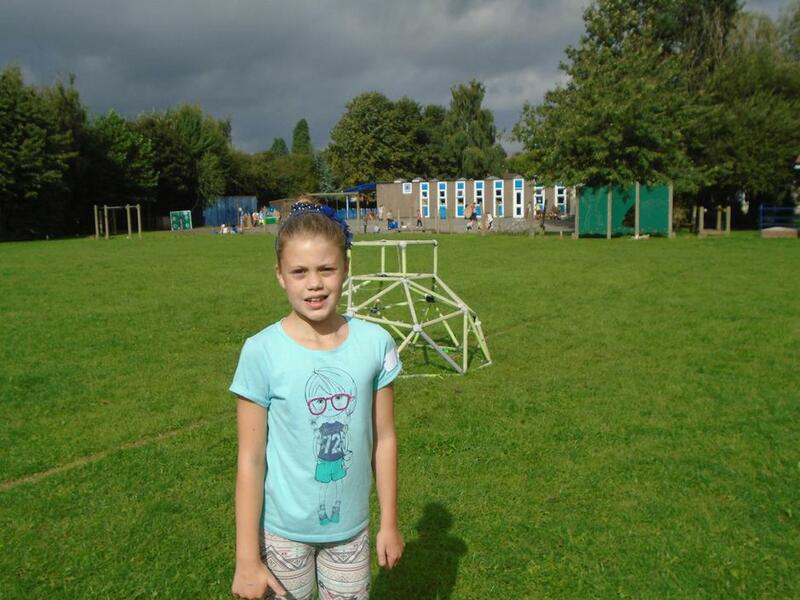 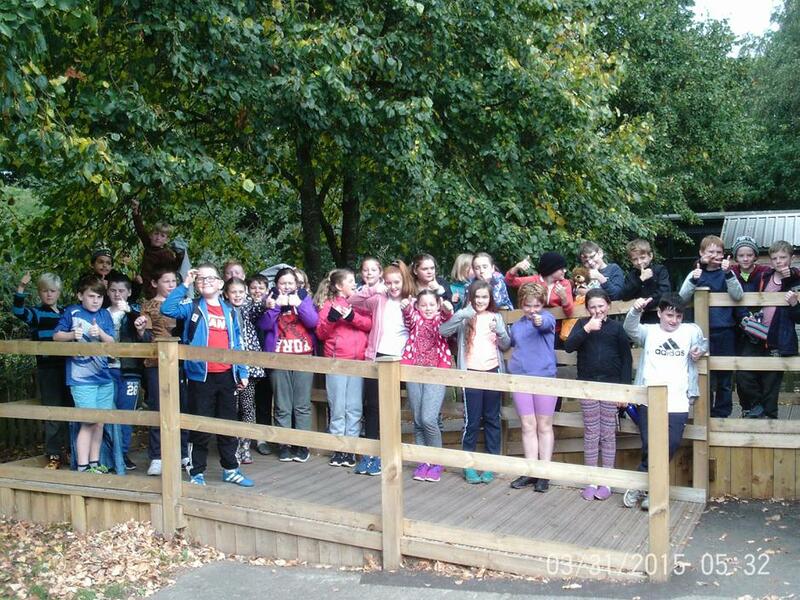 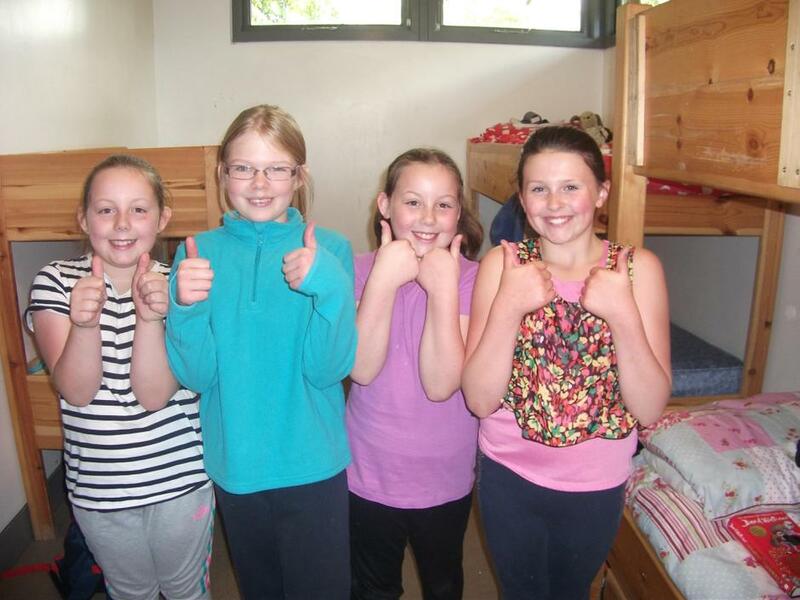 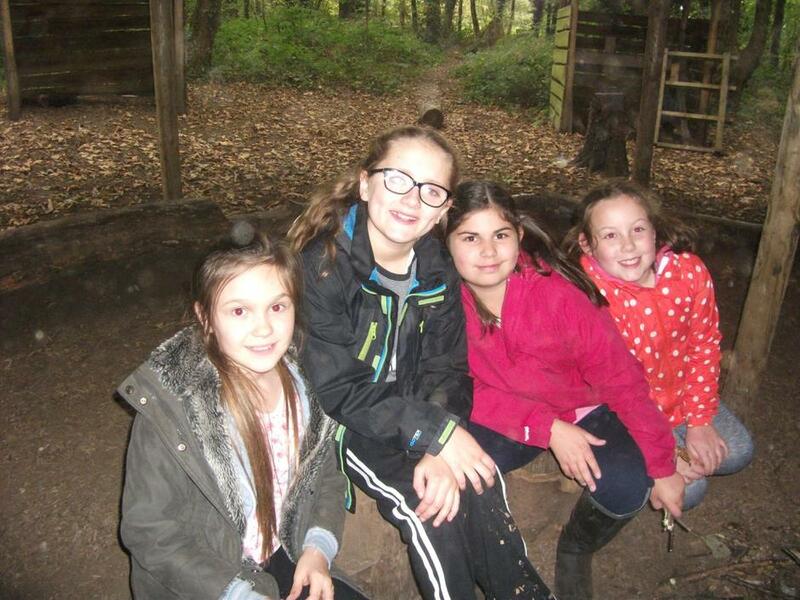 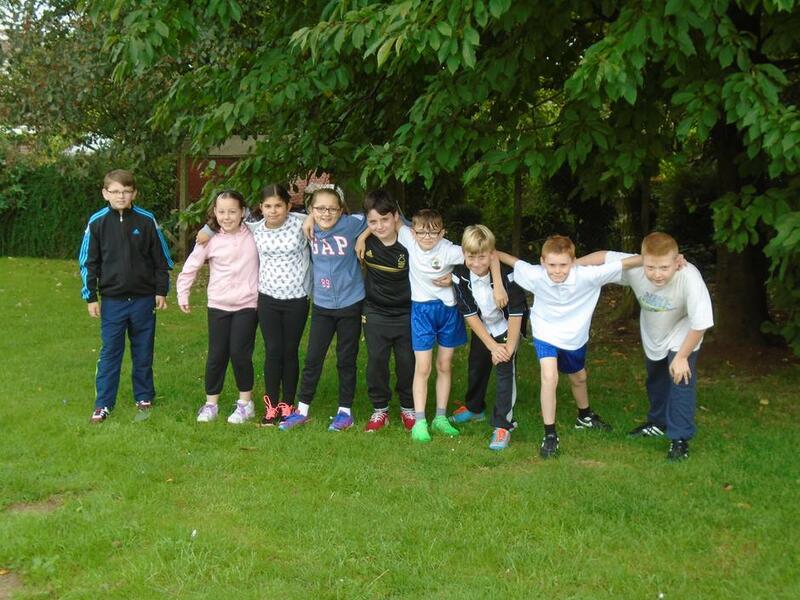 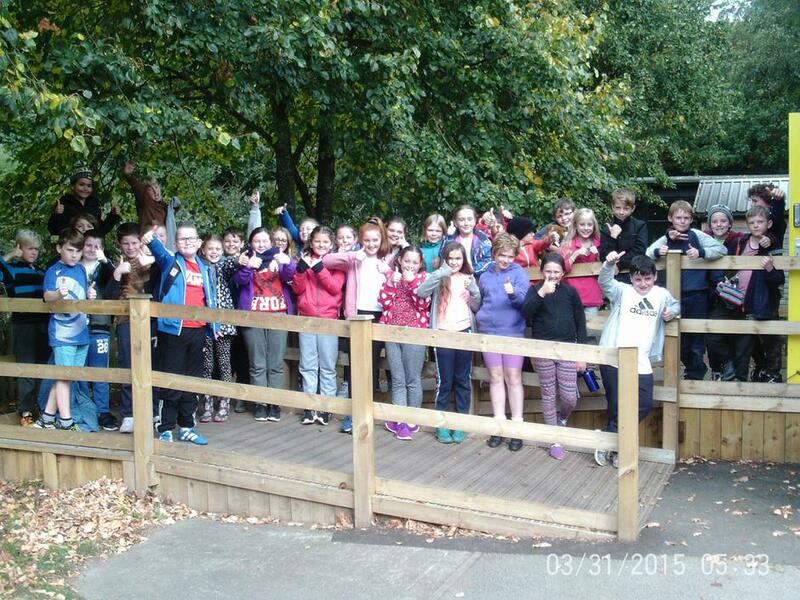 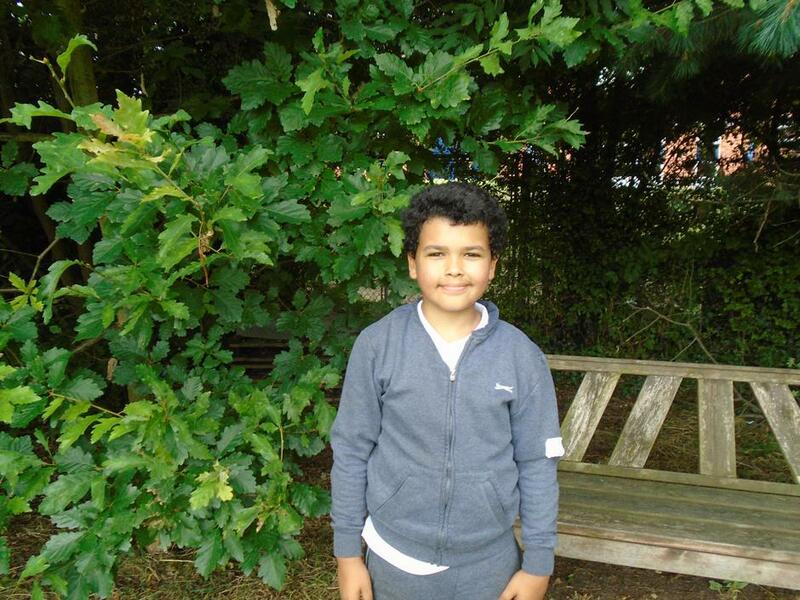 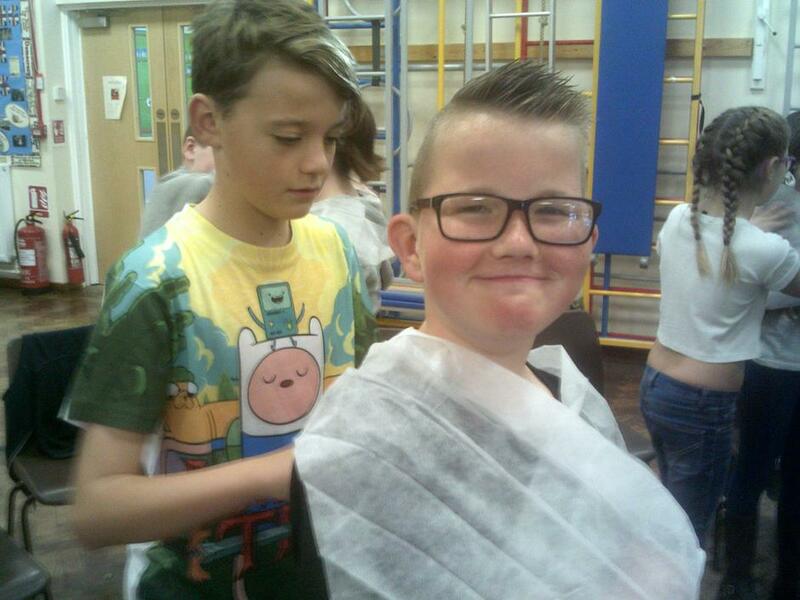 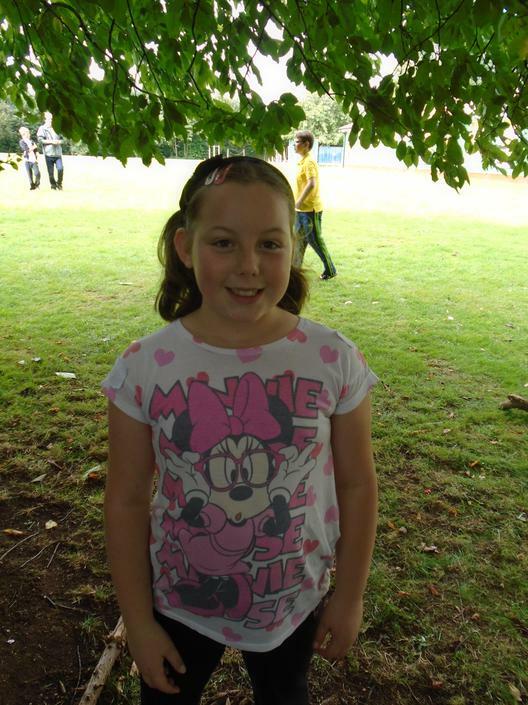 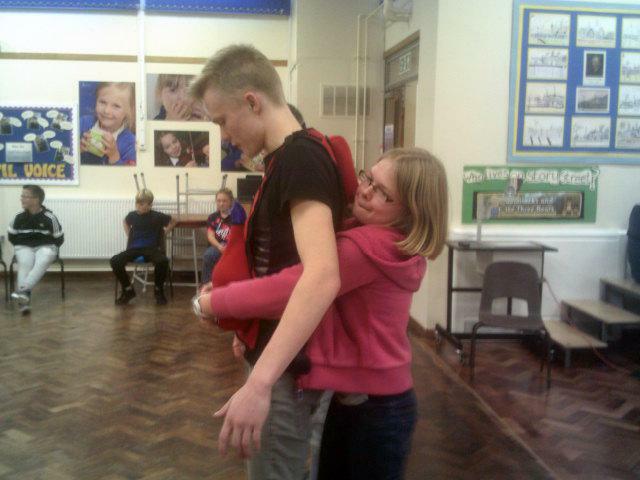 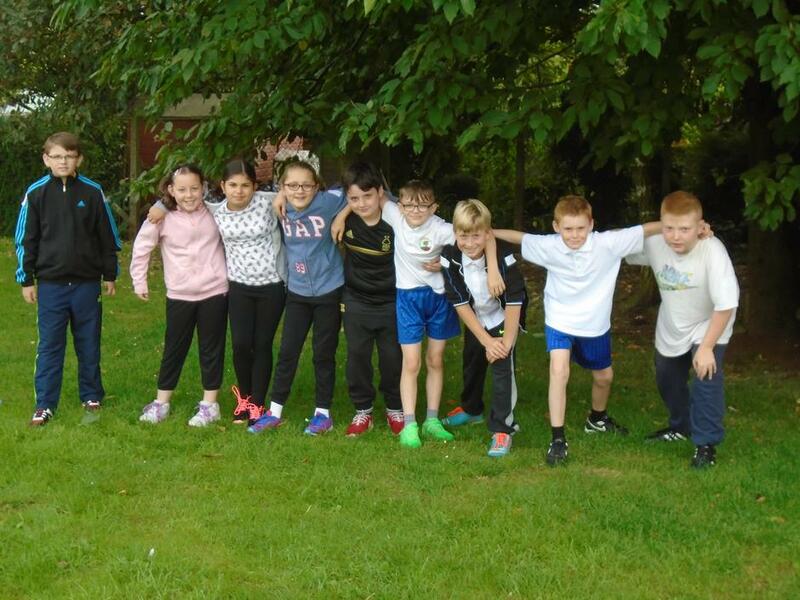 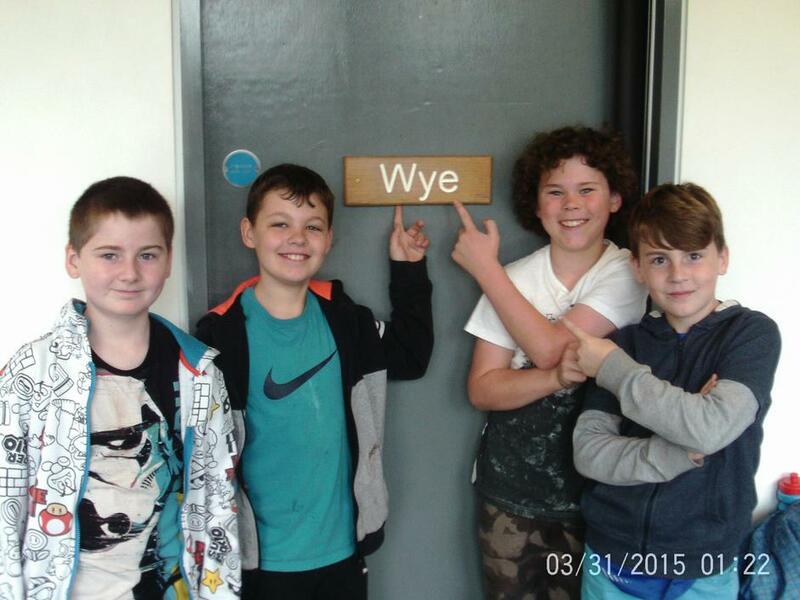 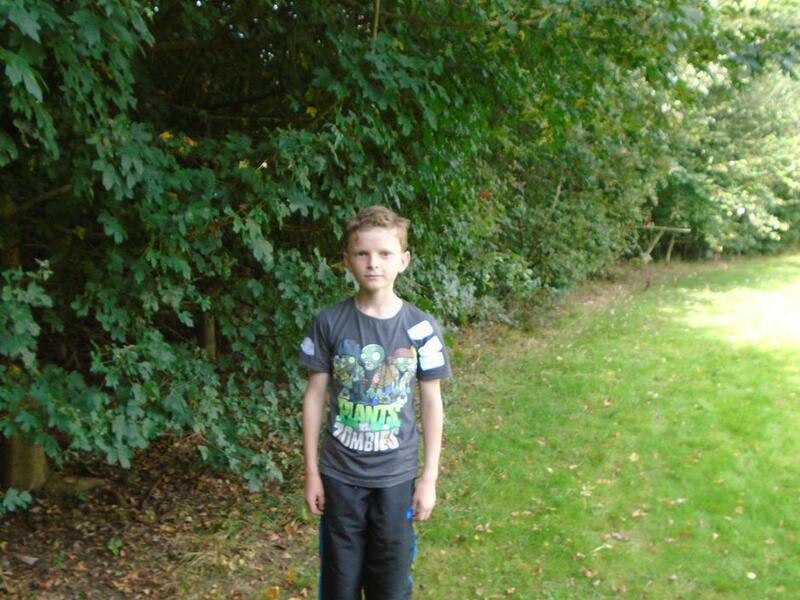 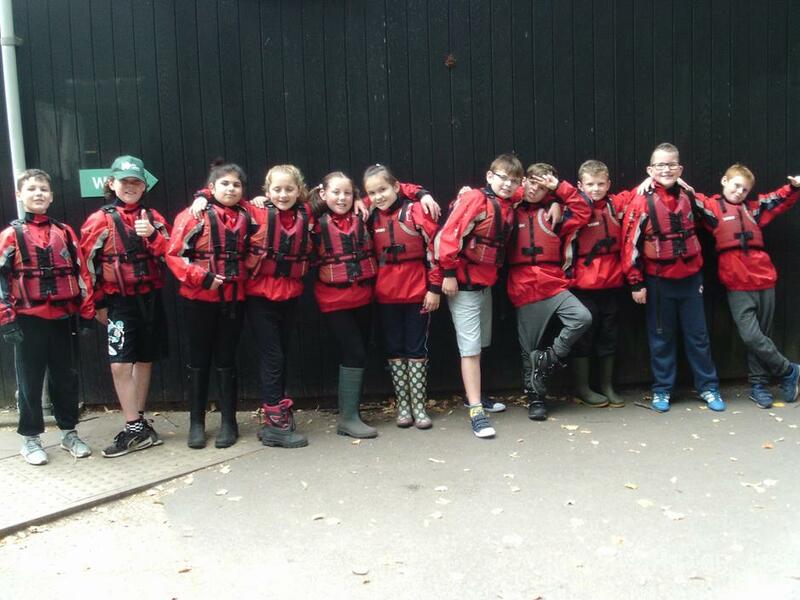 What a brilliant week we had at Laches Wood. 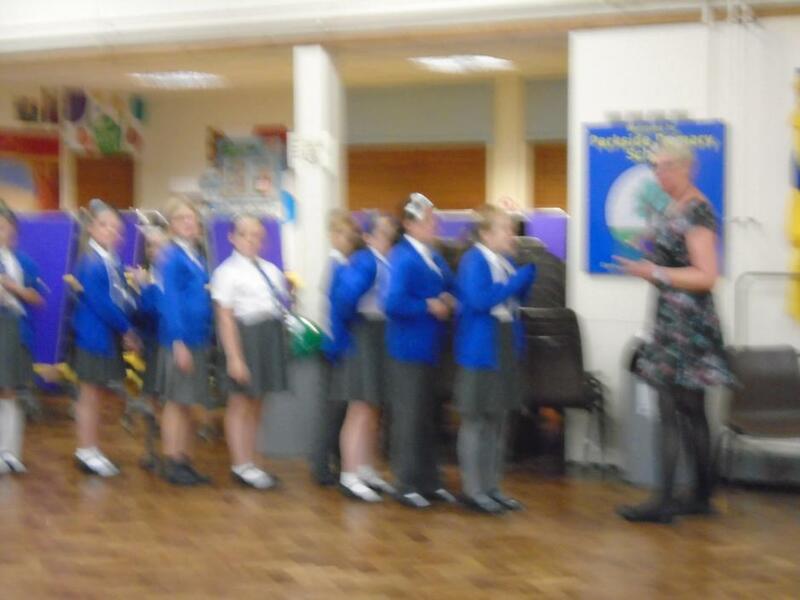 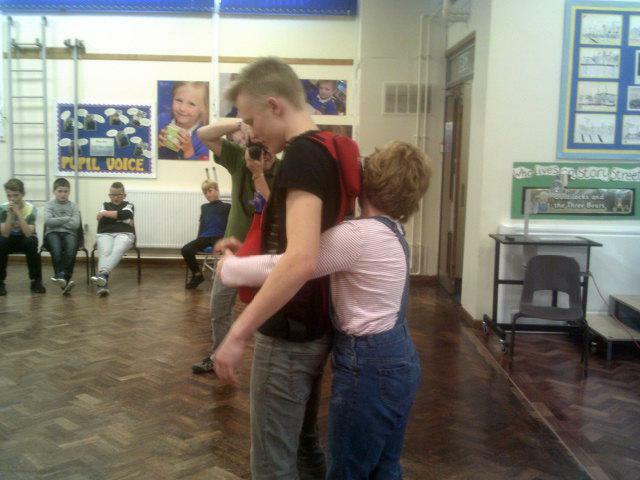 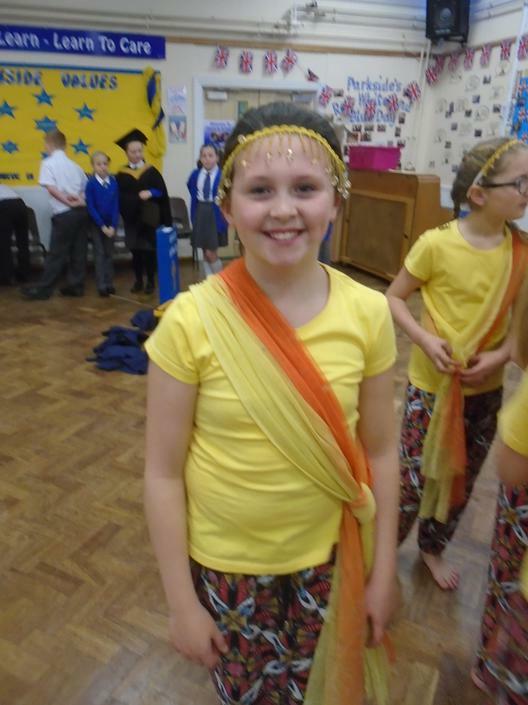 The children were an absolute pleasure to be with and I was so proud of all that they achieved! 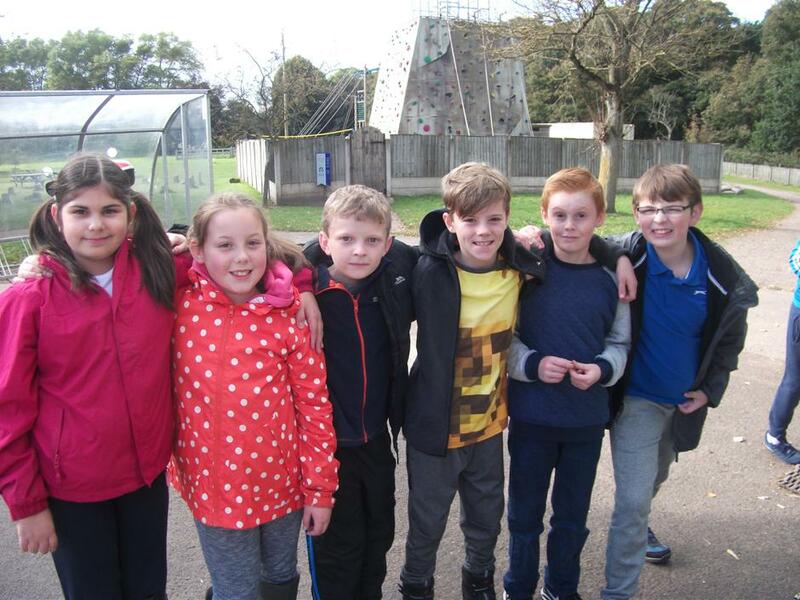 Many of them had anxieties about being away from home for four nights, but they all overcame these worries and should be immensely proud of themselves. 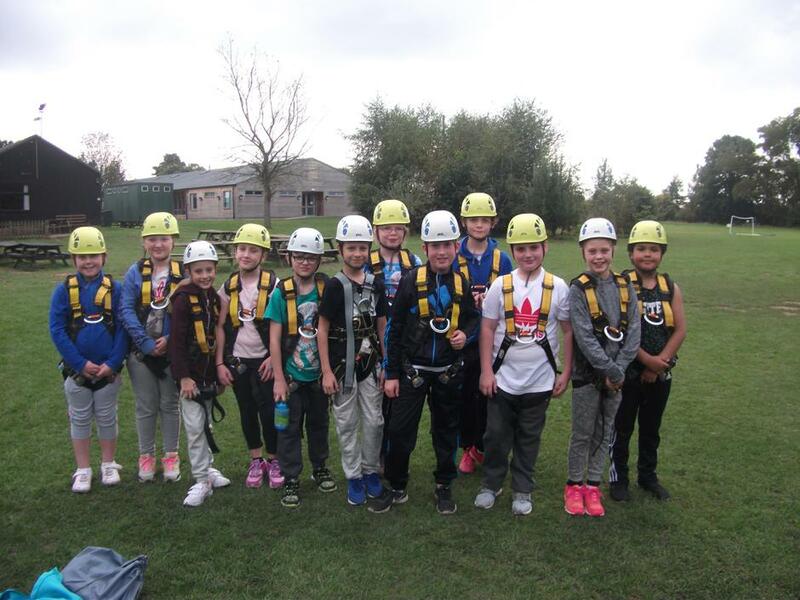 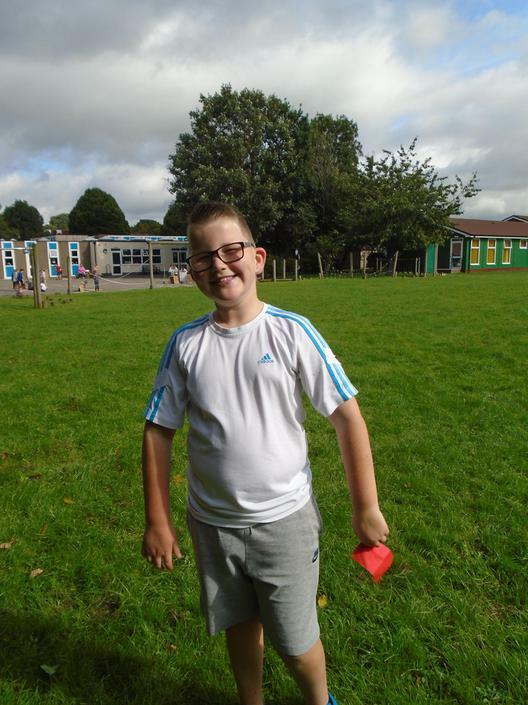 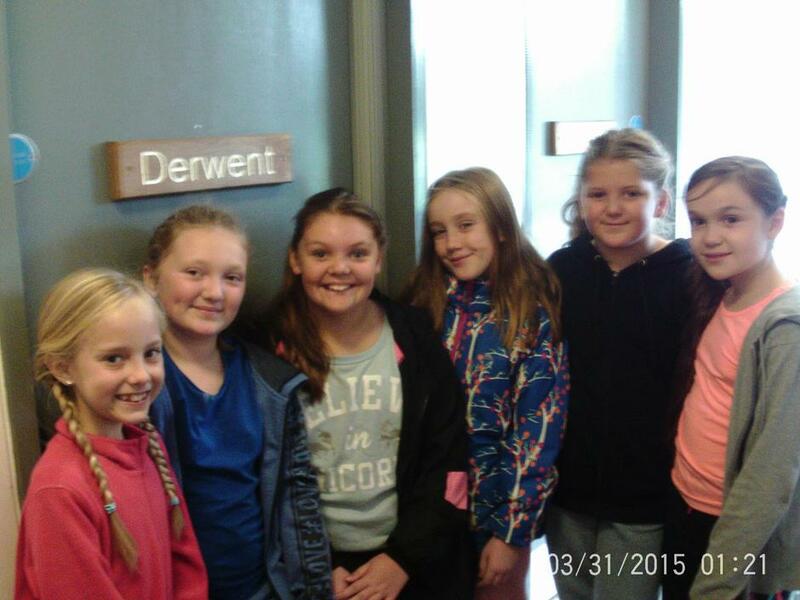 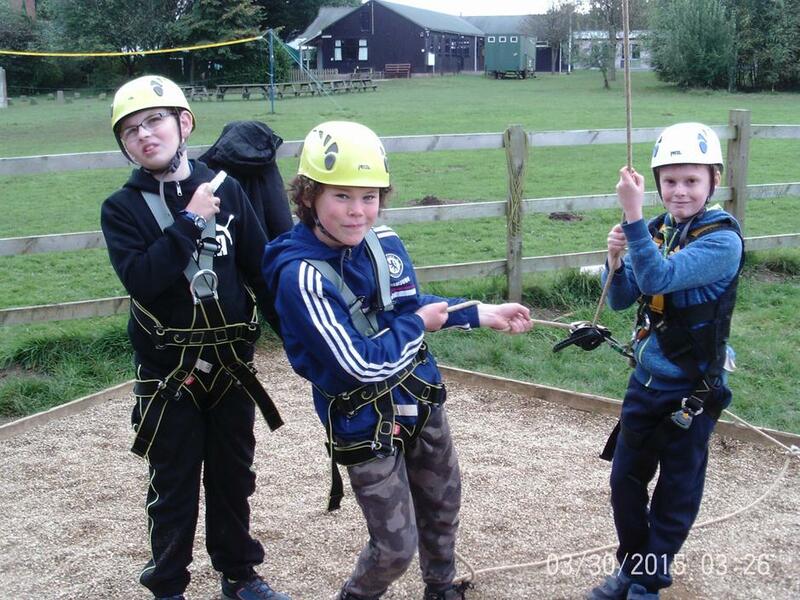 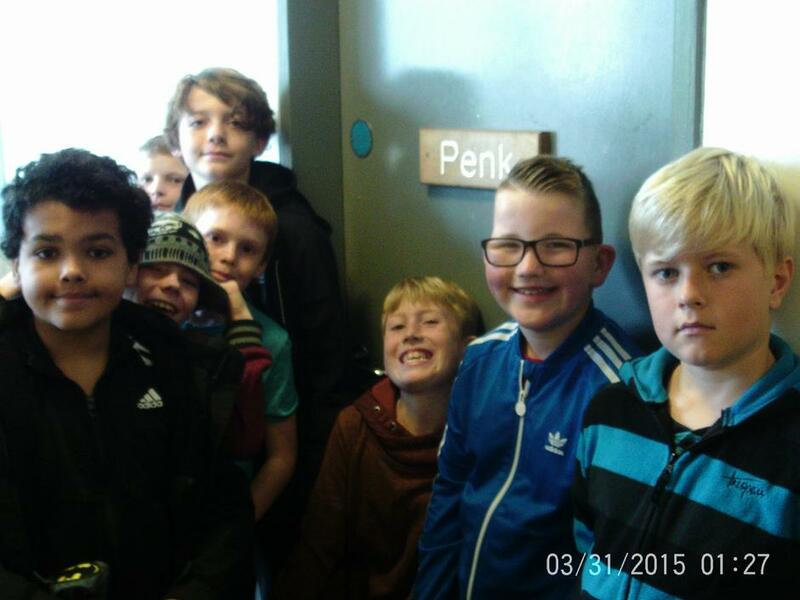 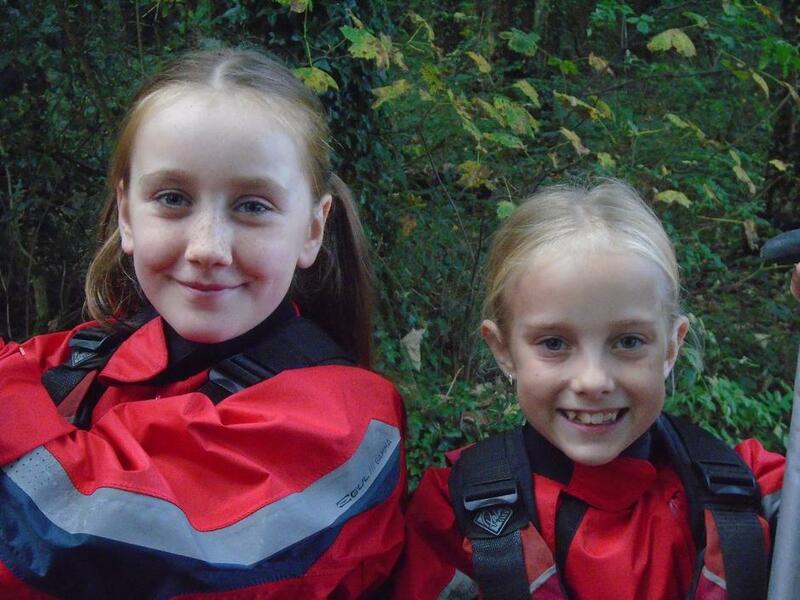 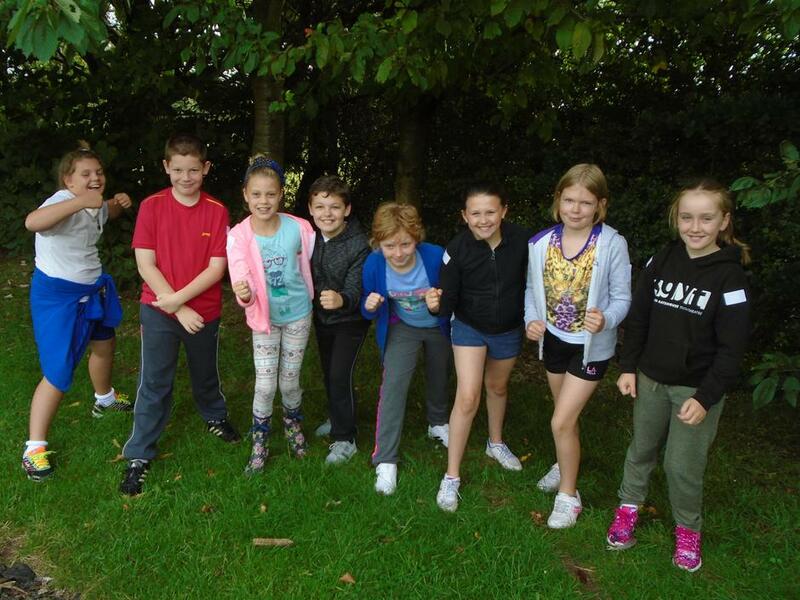 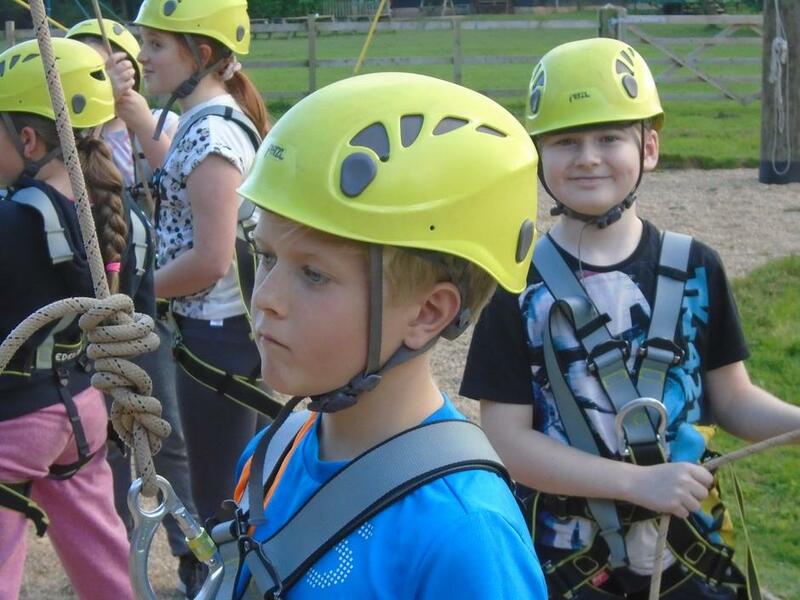 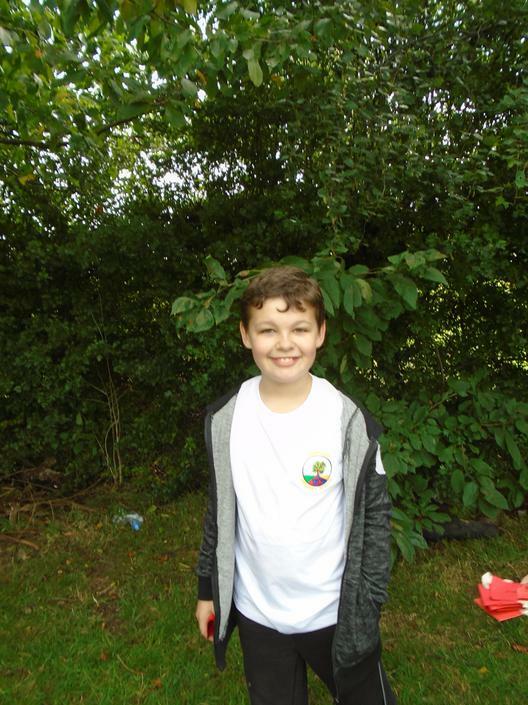 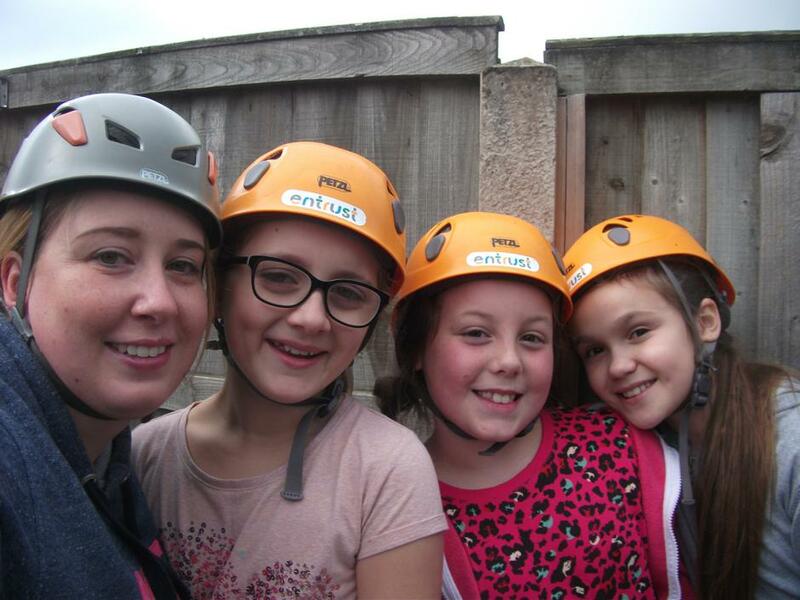 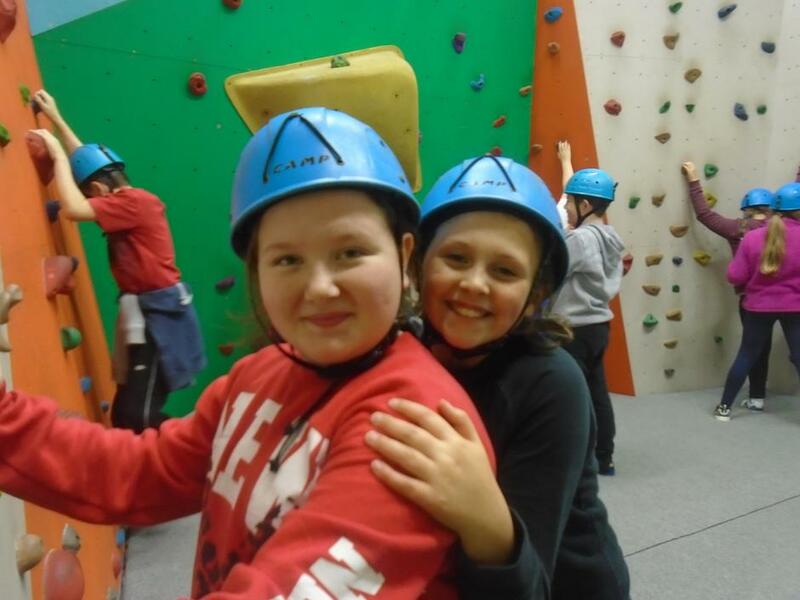 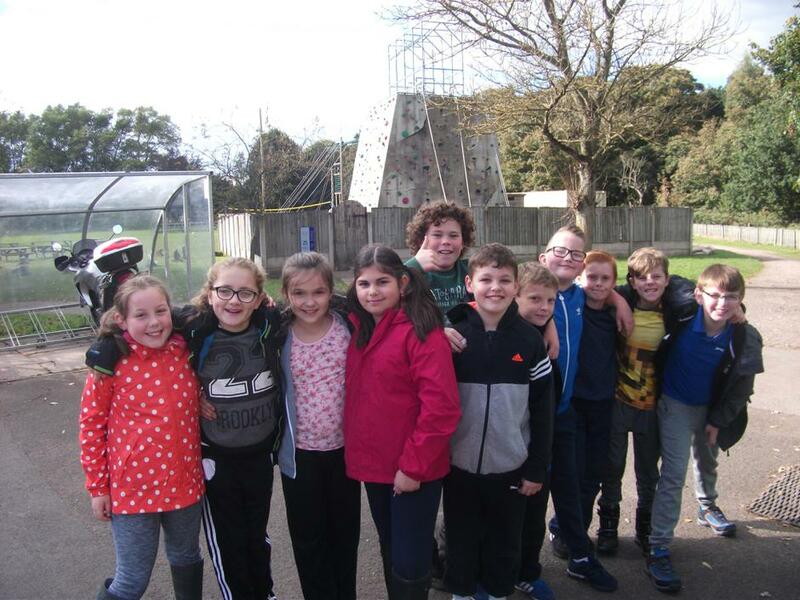 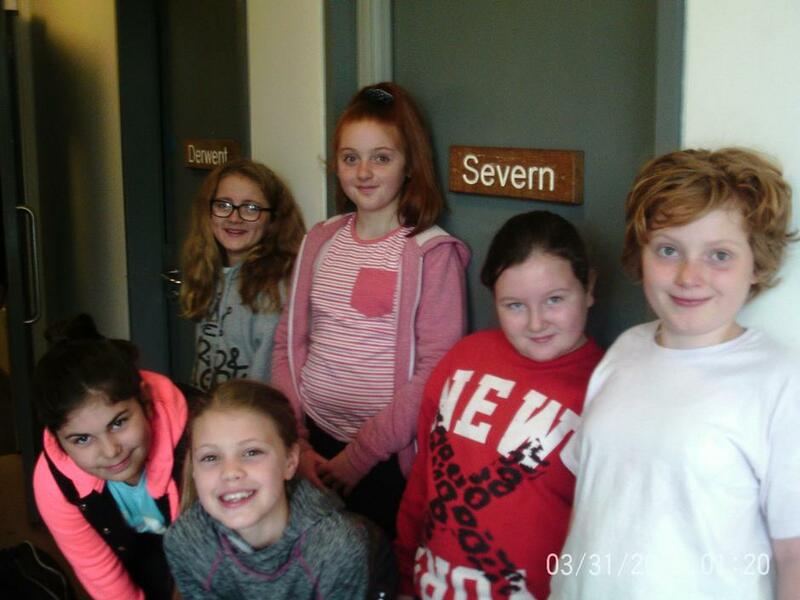 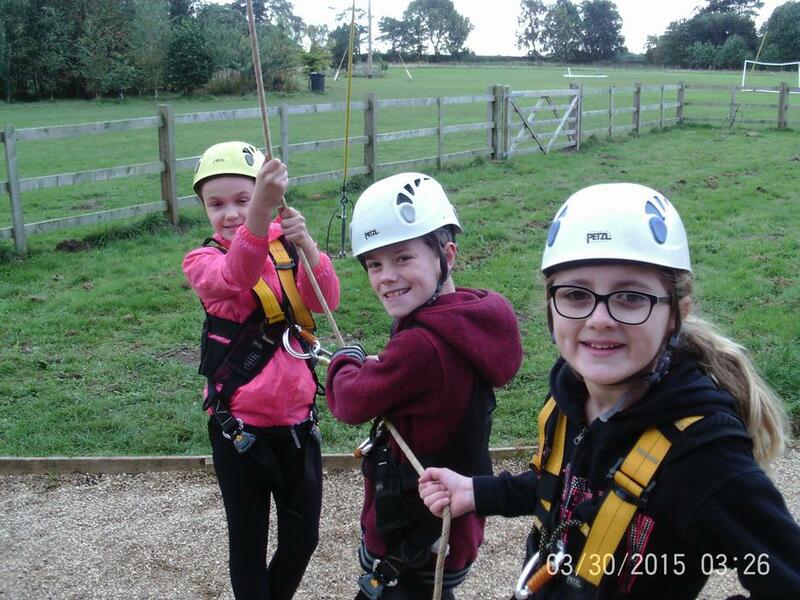 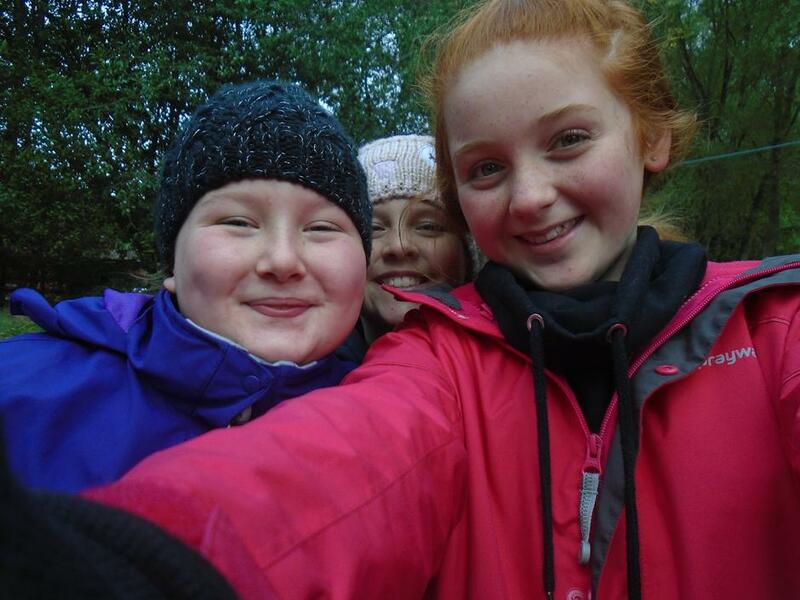 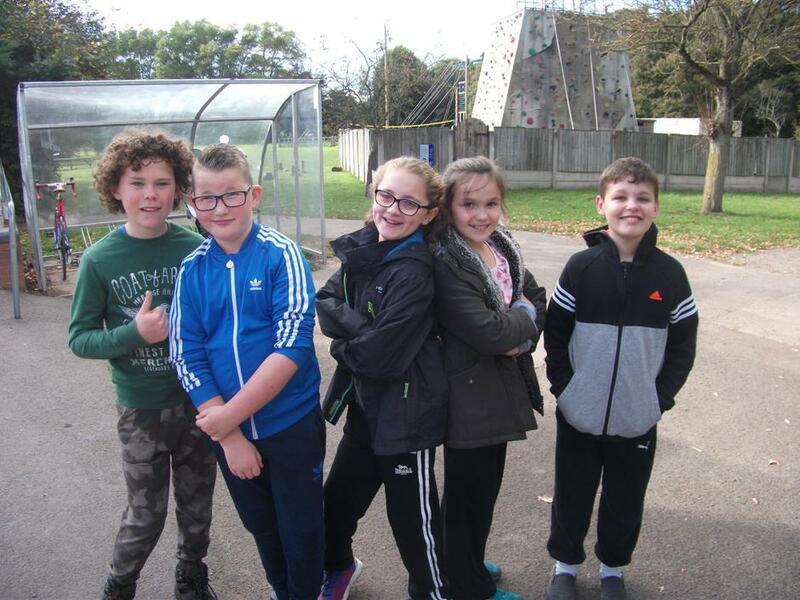 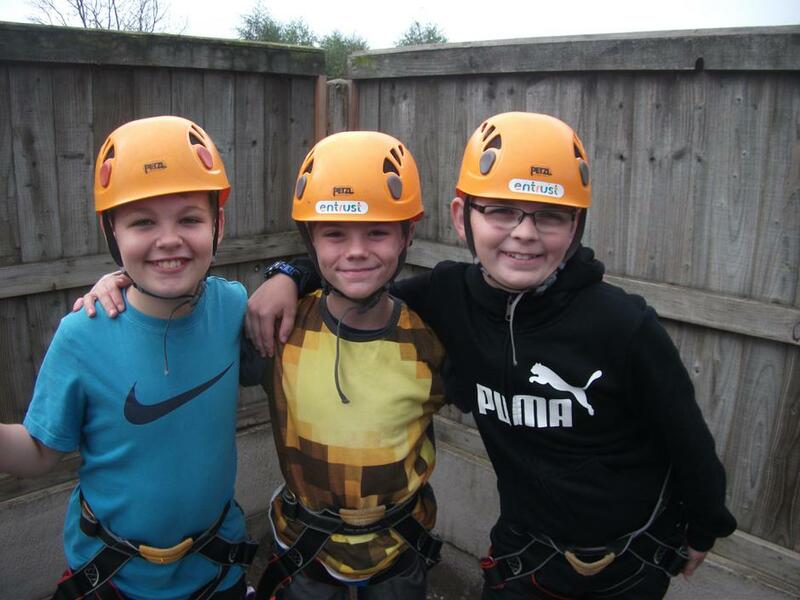 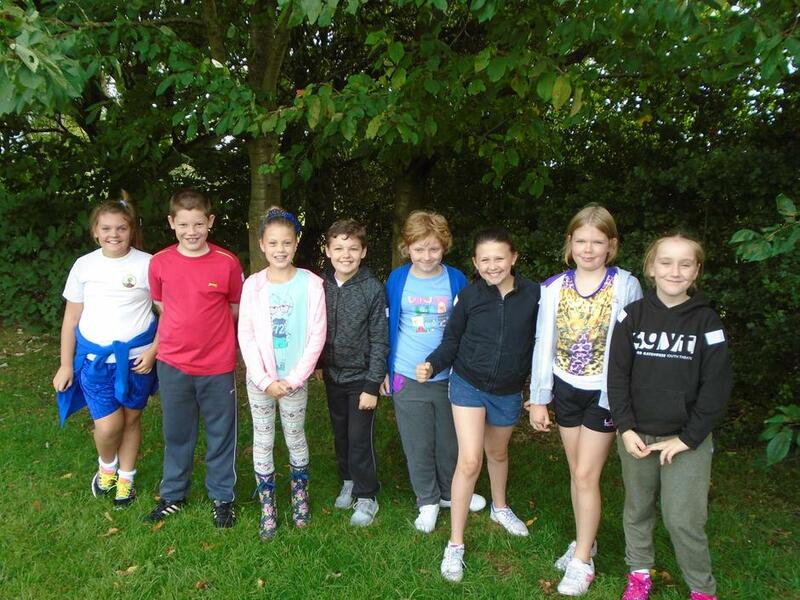 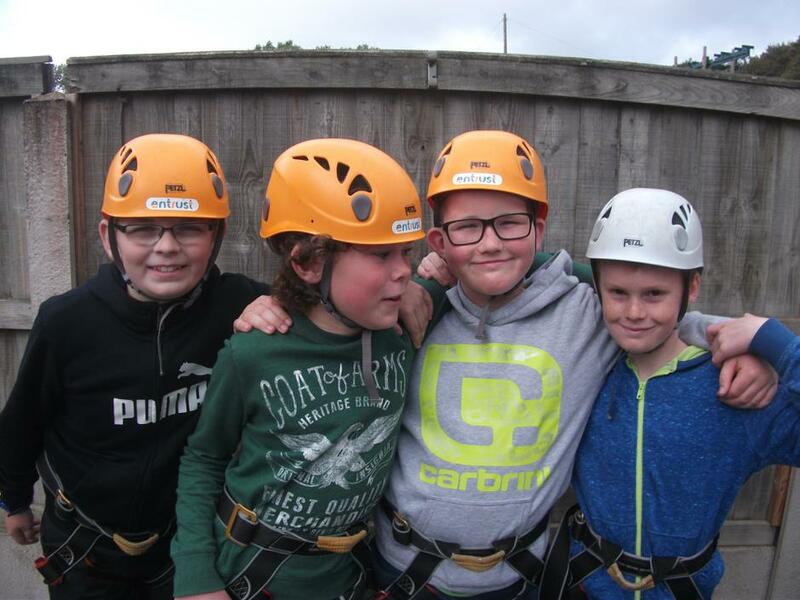 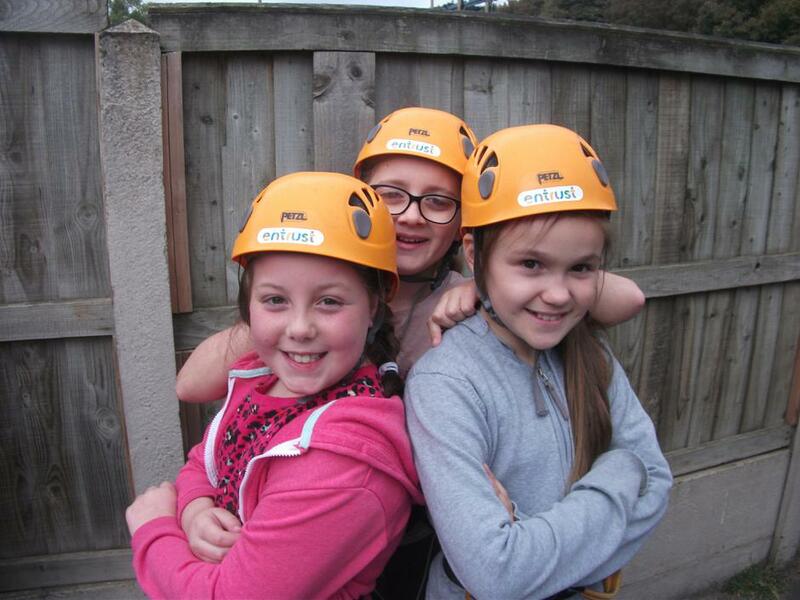 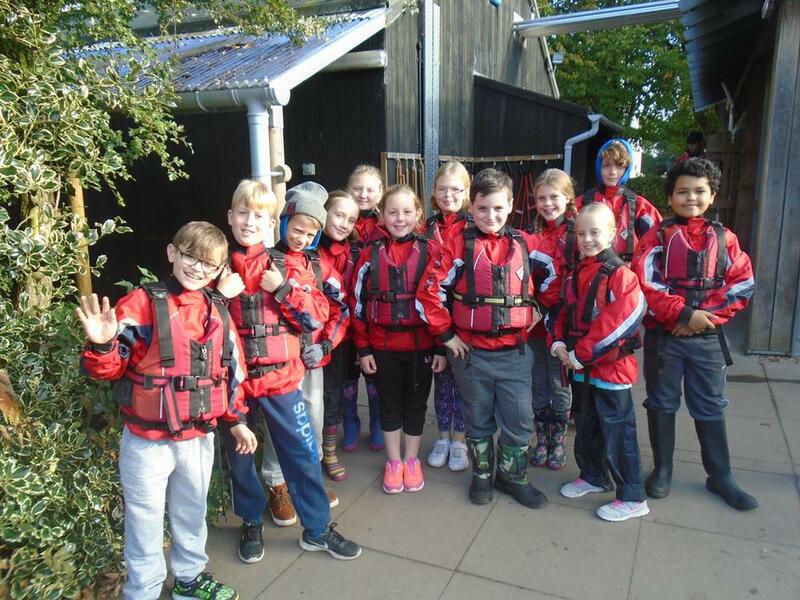 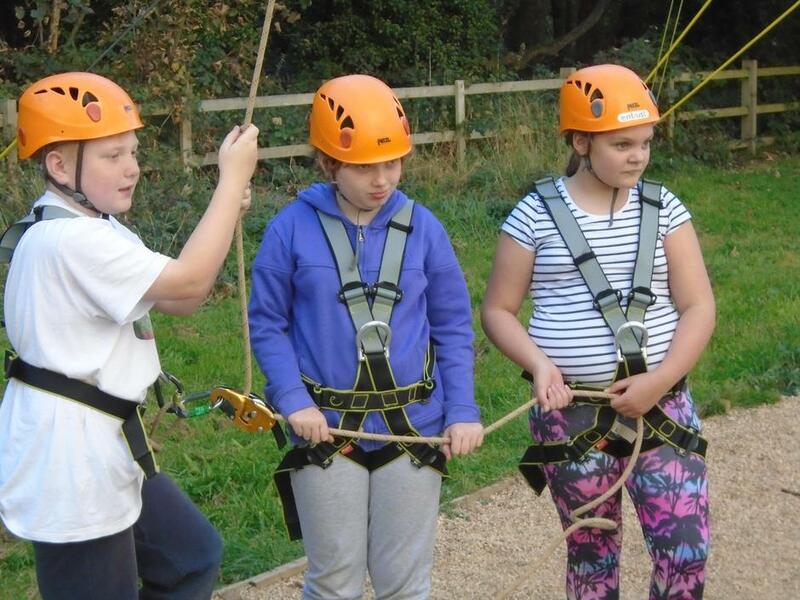 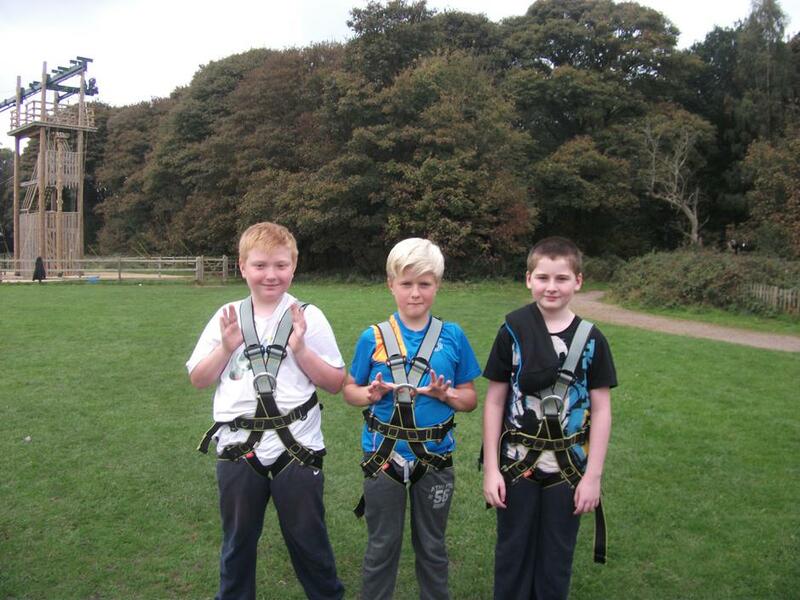 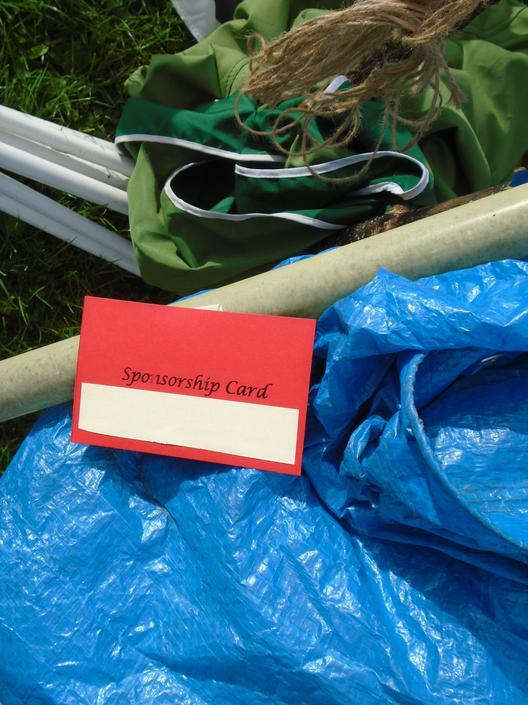 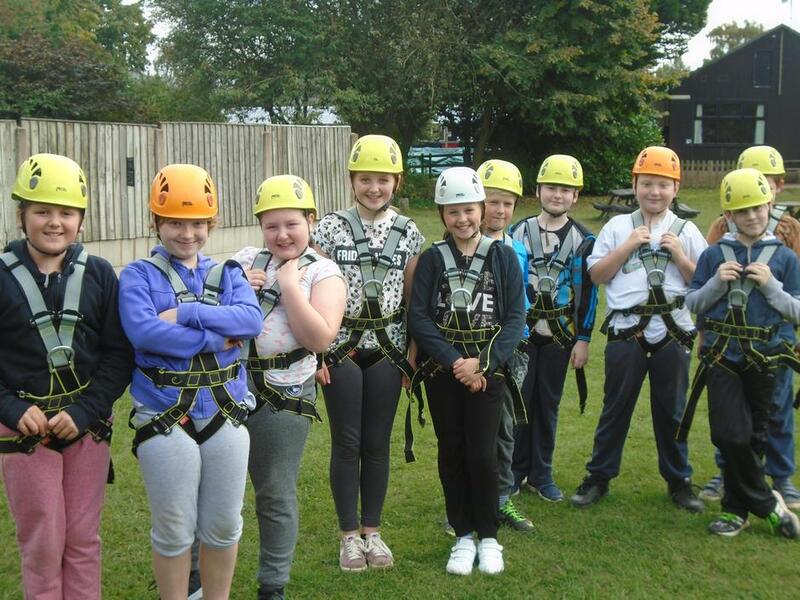 We took part in so many fantastic activities including: bushcraft, climbing, archery, BMX-ing, caving, high ropes and canoeing! 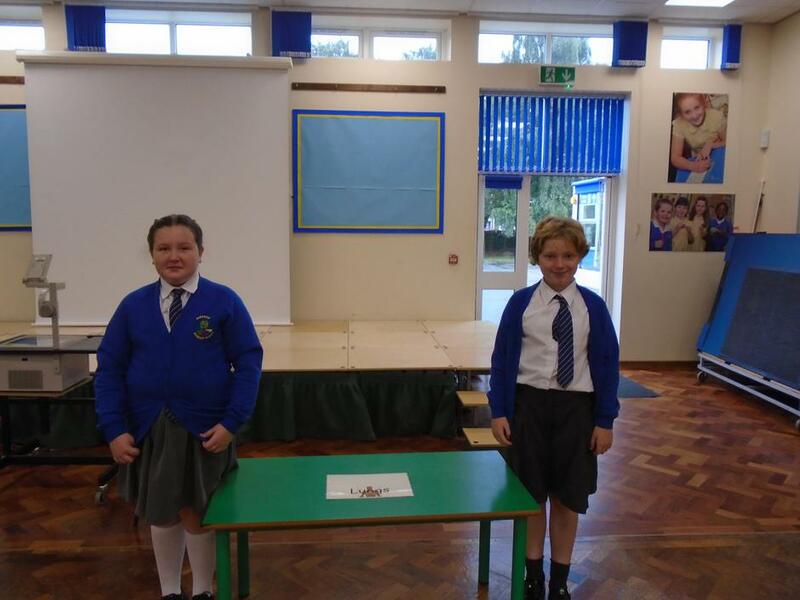 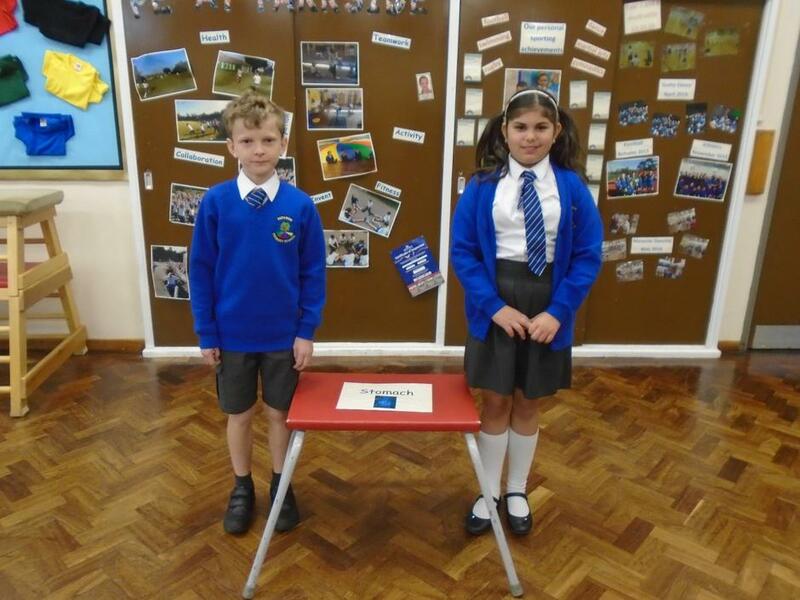 We will be putting on a short assembly on Monday 7th November to share some of our experiences with you! 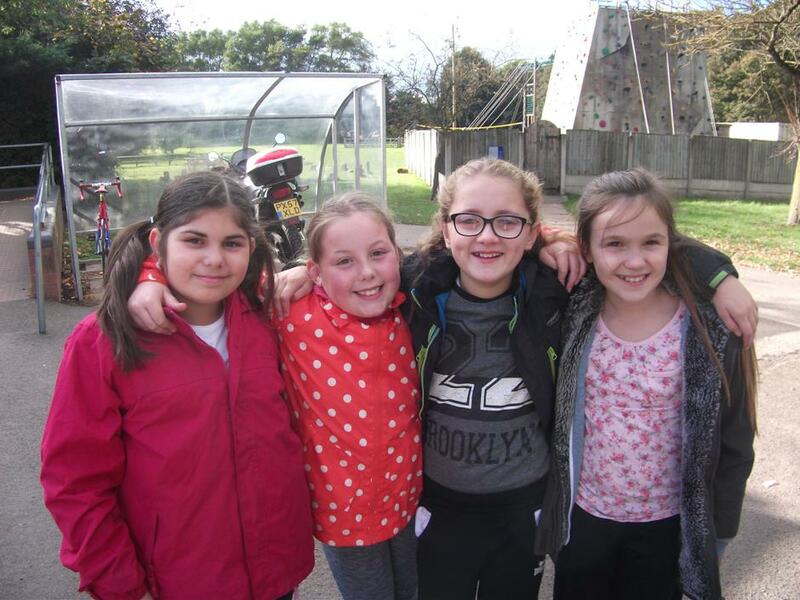 All of the children will be presented with a disc which contains all of the photos that were taken while we were away, but below are just a few of the things we got up to! 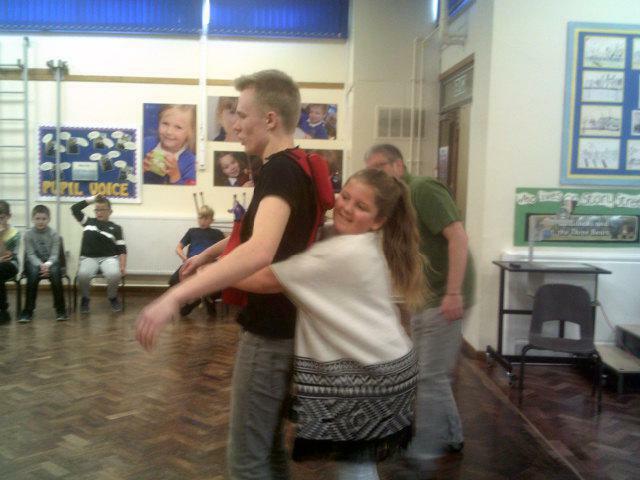 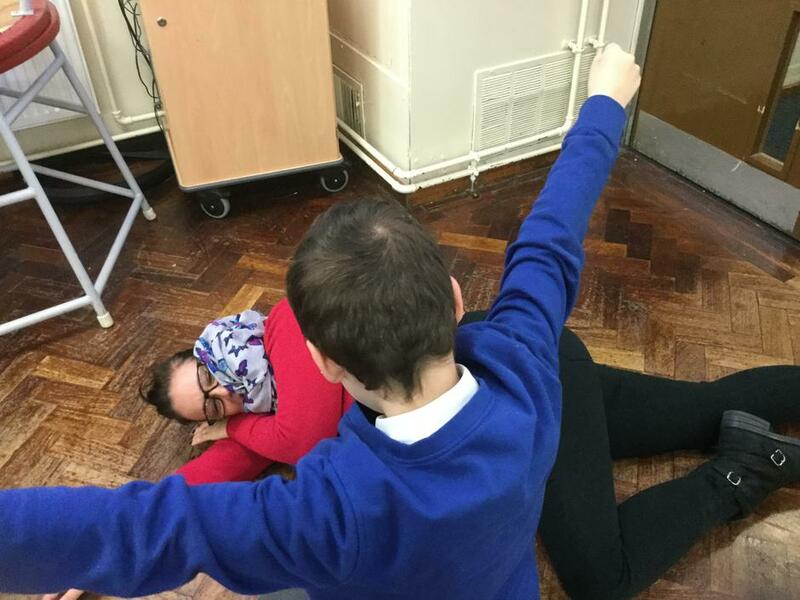 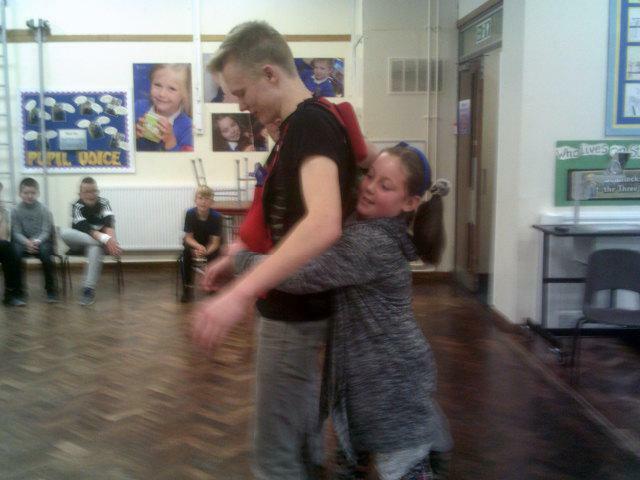 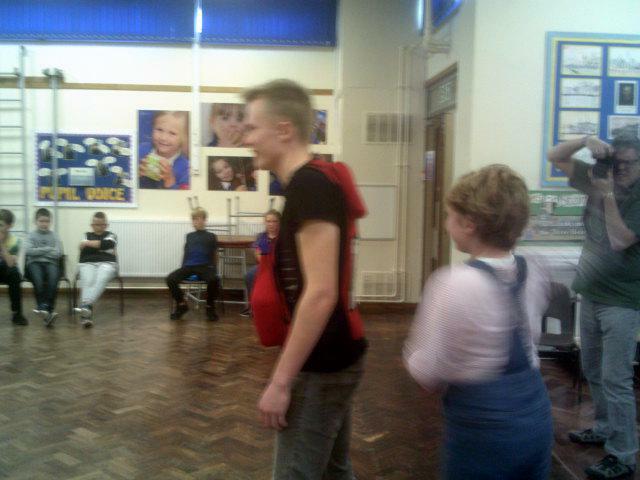 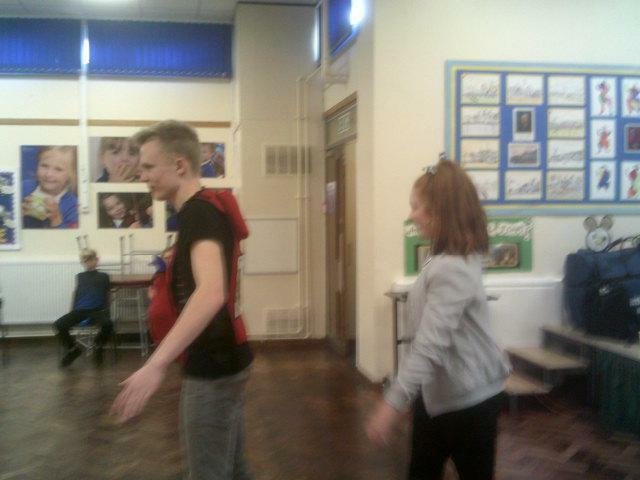 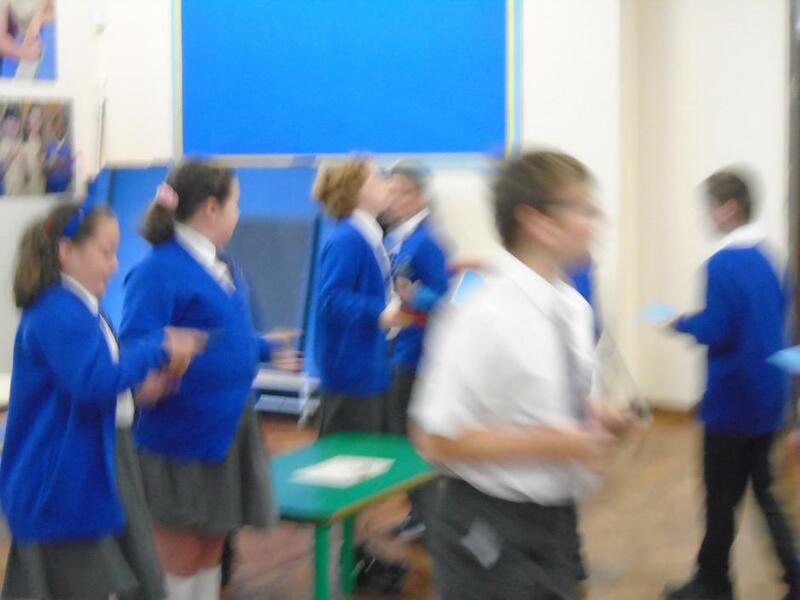 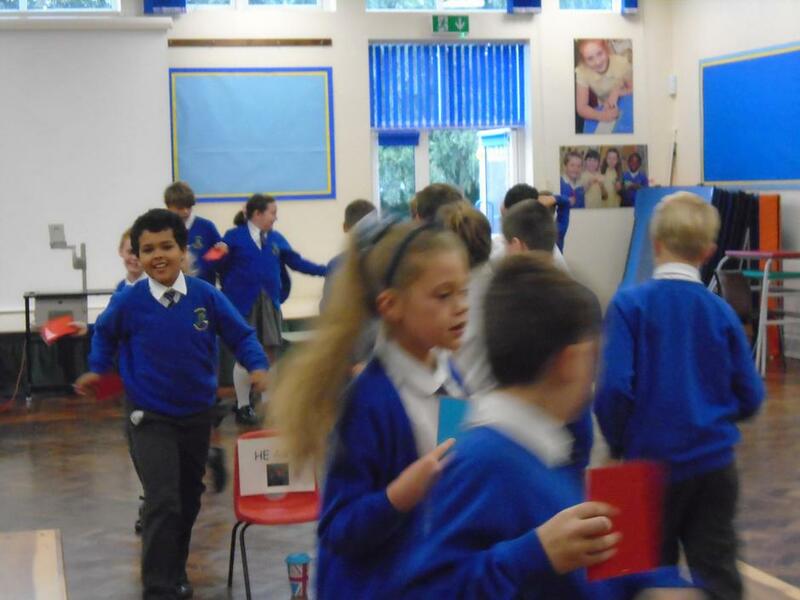 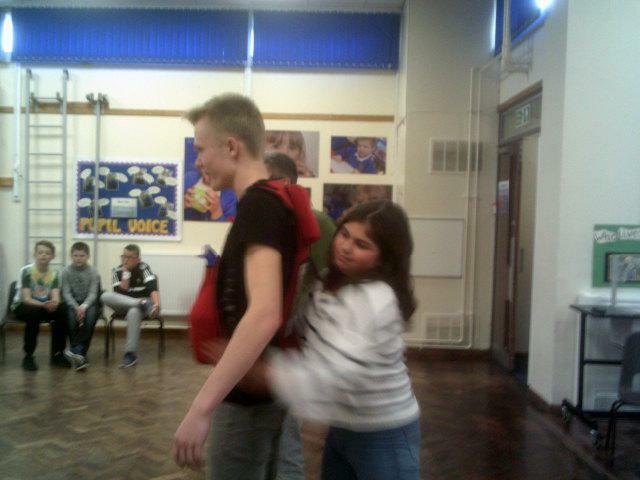 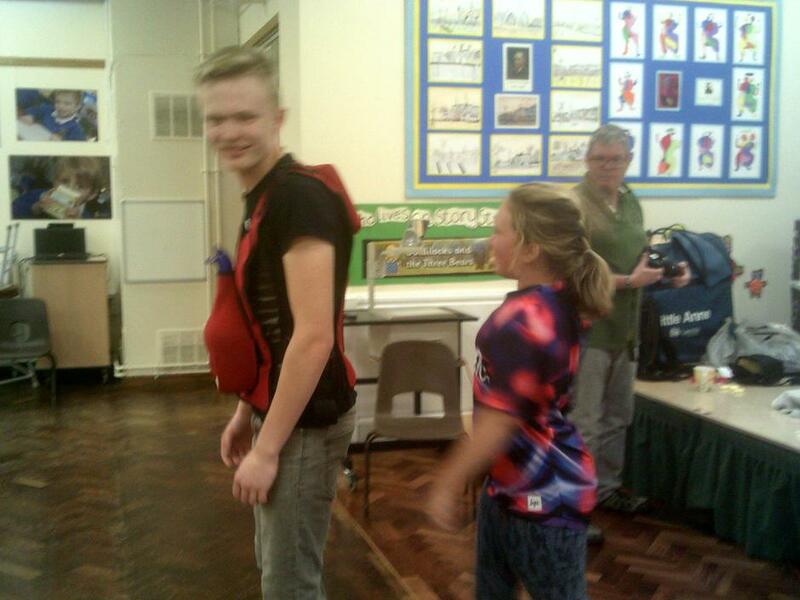 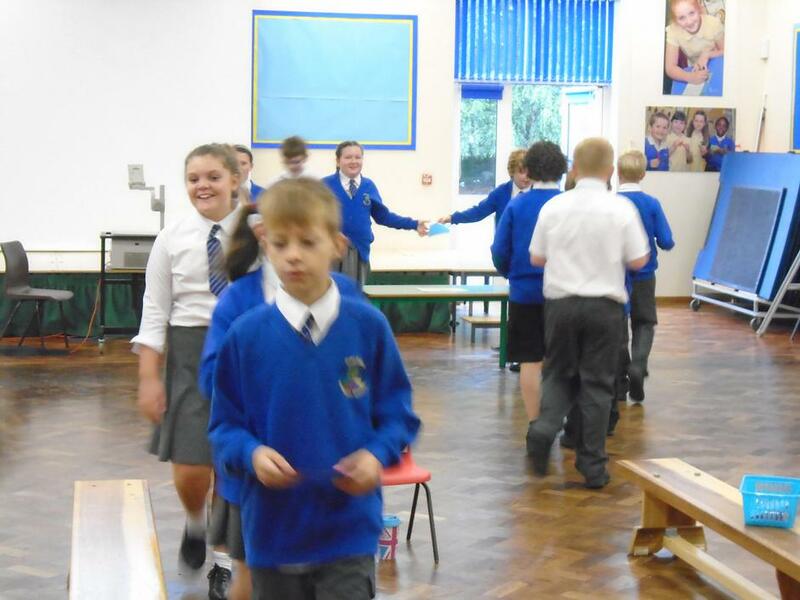 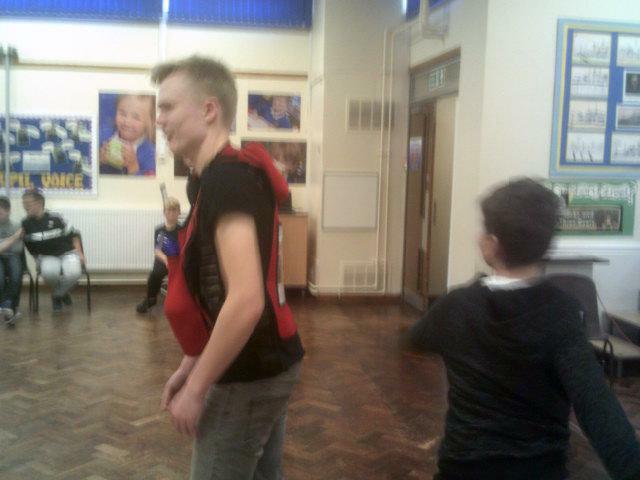 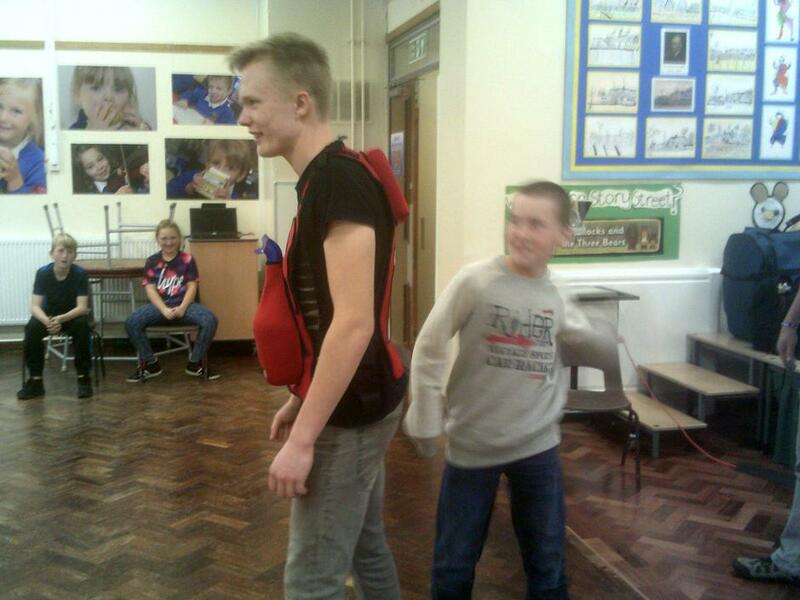 We had great fun this morning when we became part of the circulatory system. 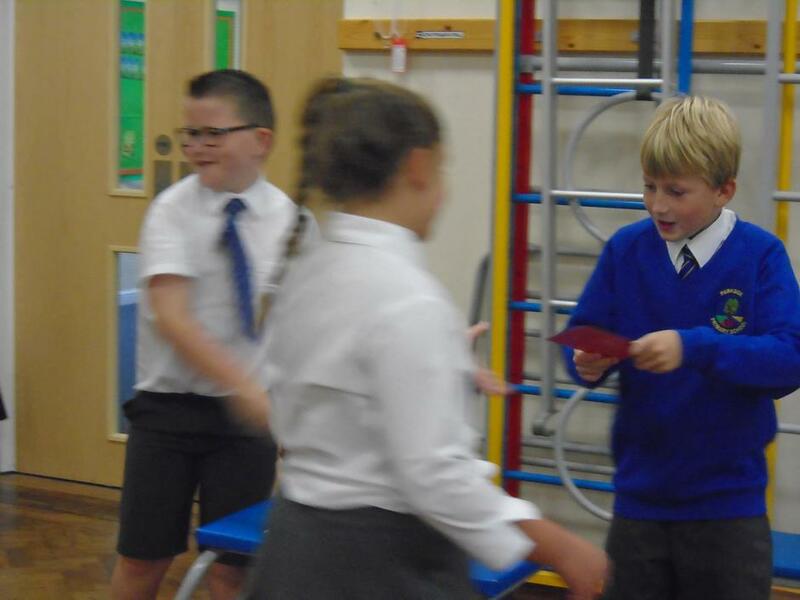 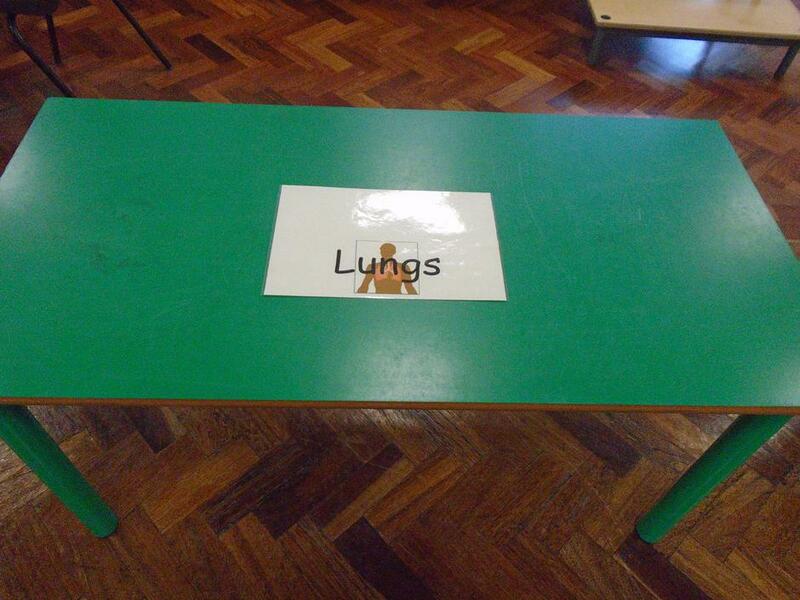 The children moved between different parts of the body, including the heart and the lungs, to learn how this system works. 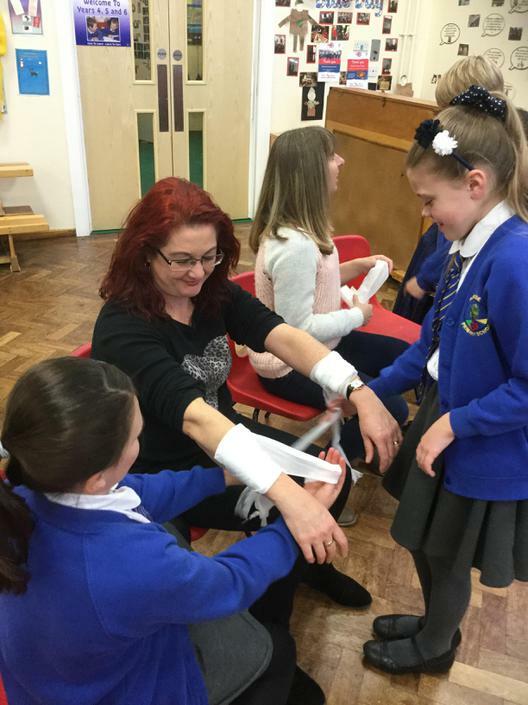 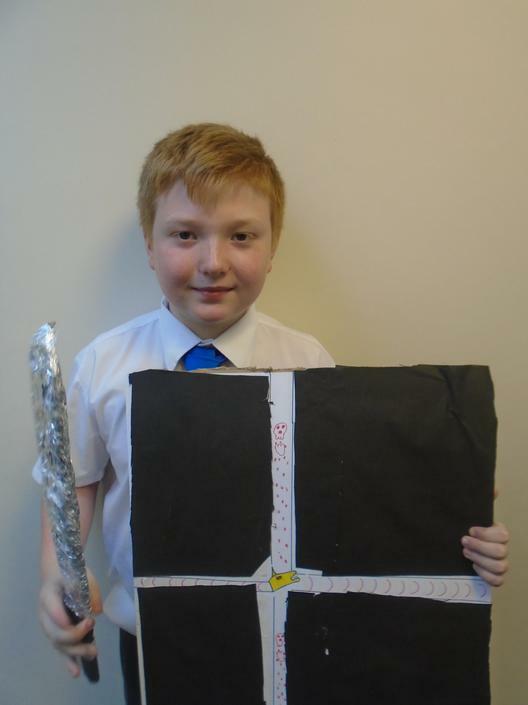 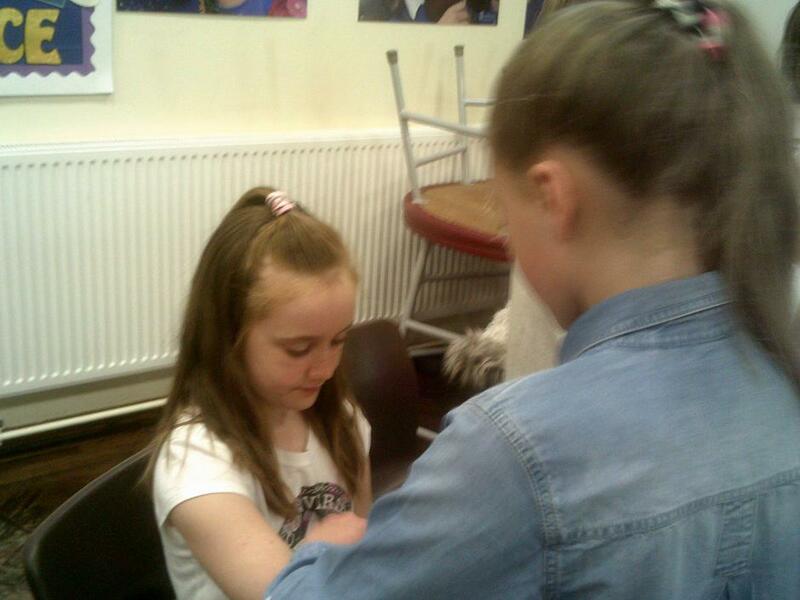 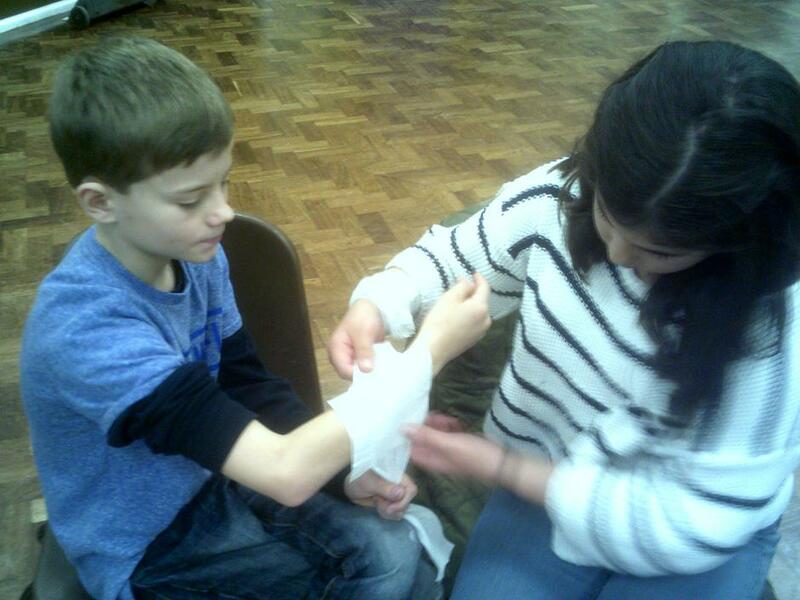 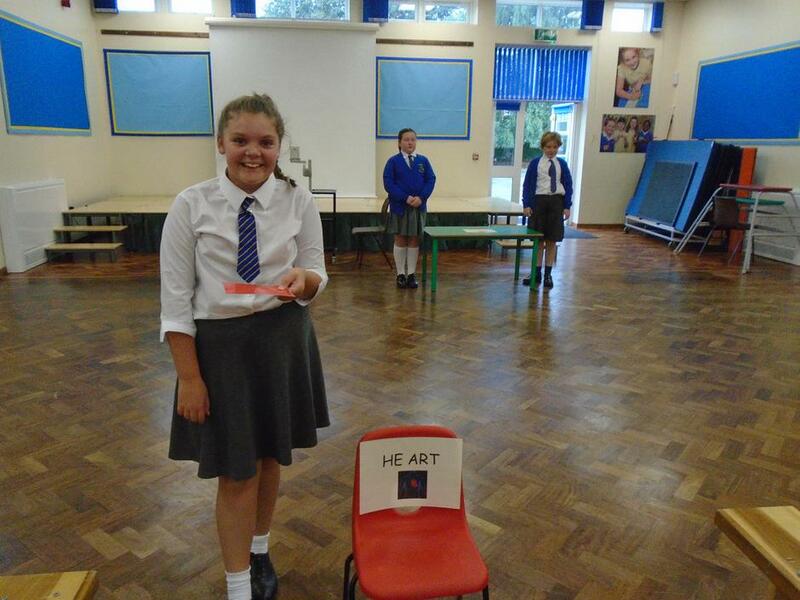 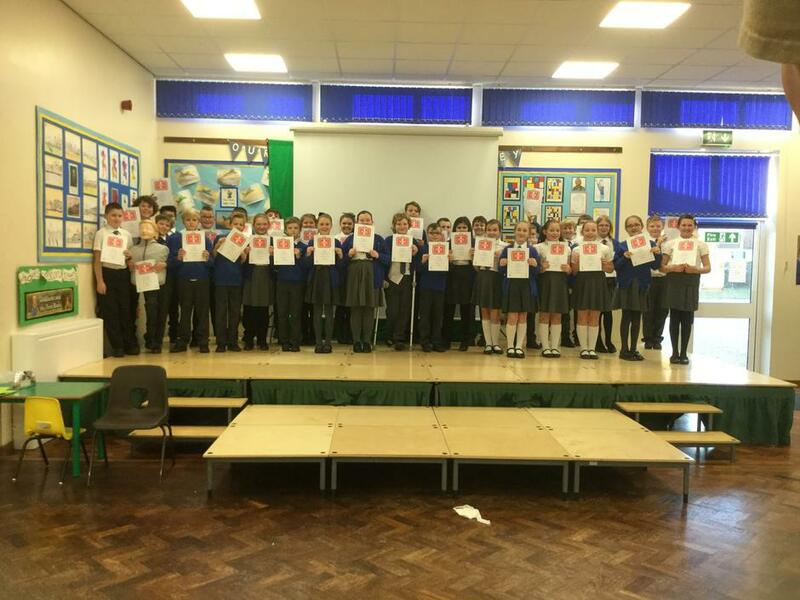 They needed to understand the difference between veins and arteries - and they all achieved this brilliantly! 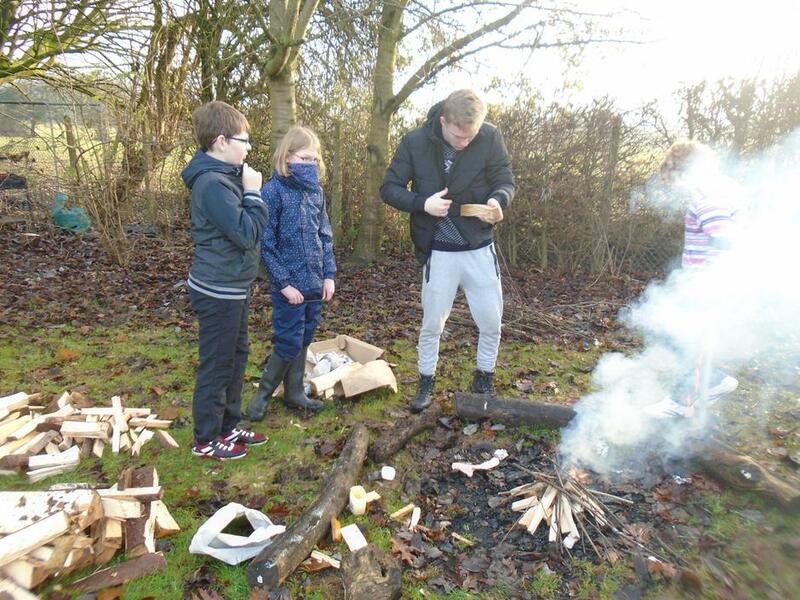 Below are lots of photos showing what we got up to! 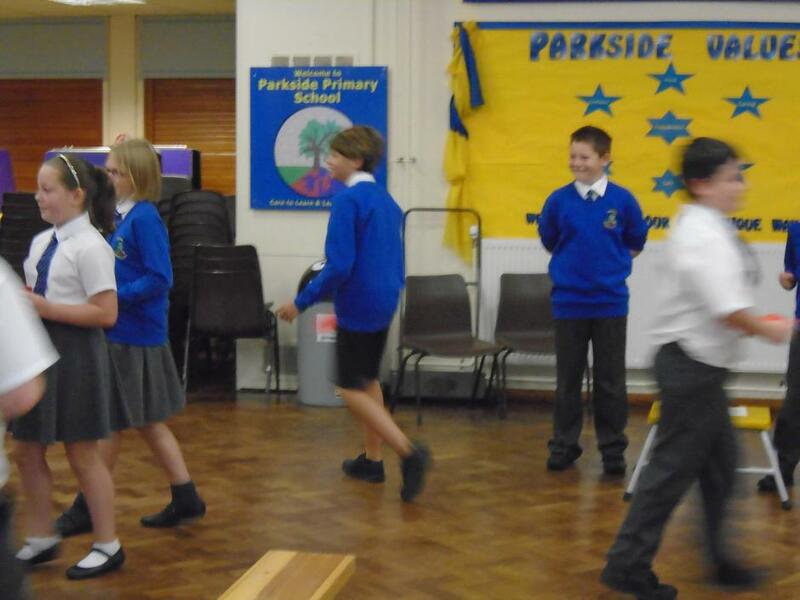 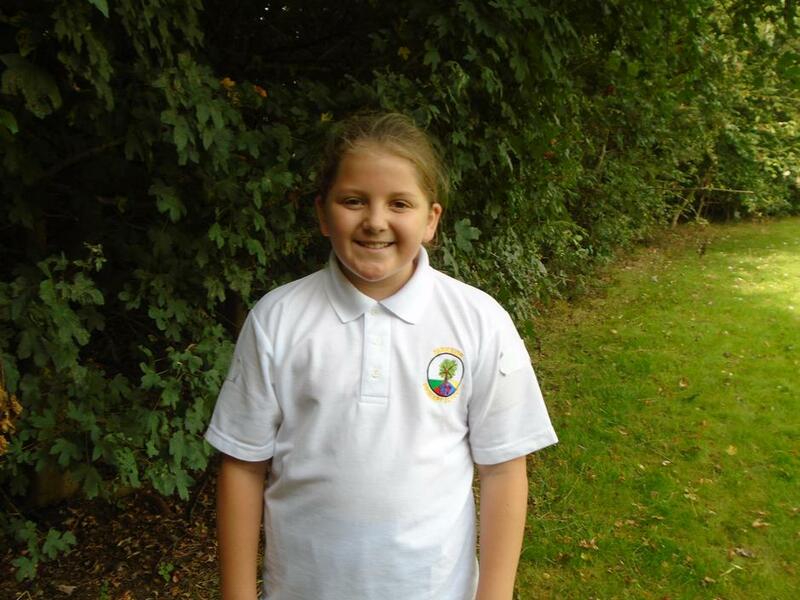 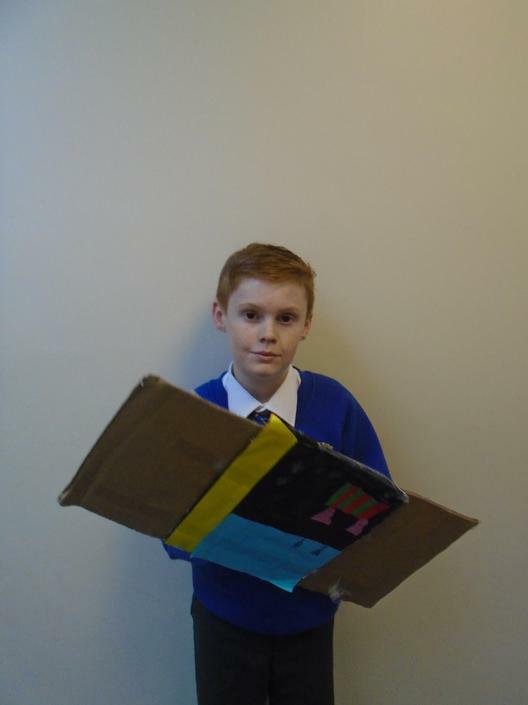 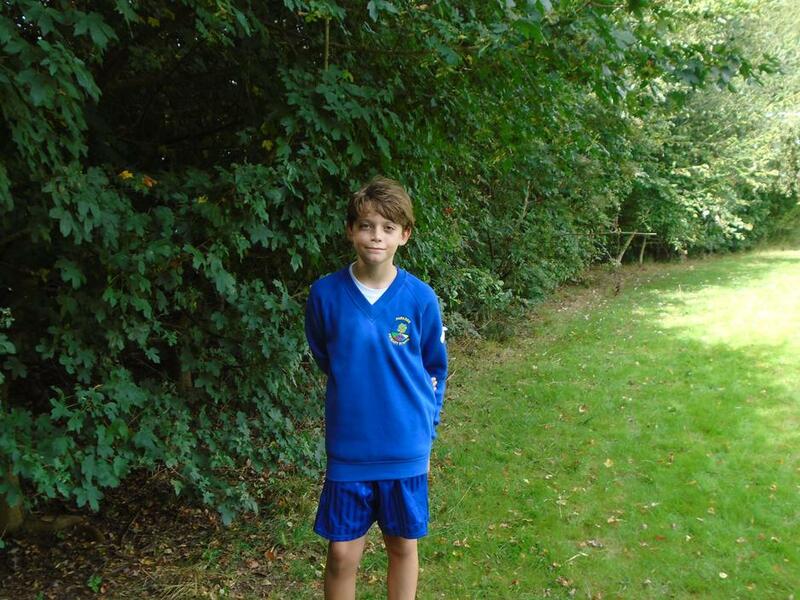 Fabulous learning Year Six! 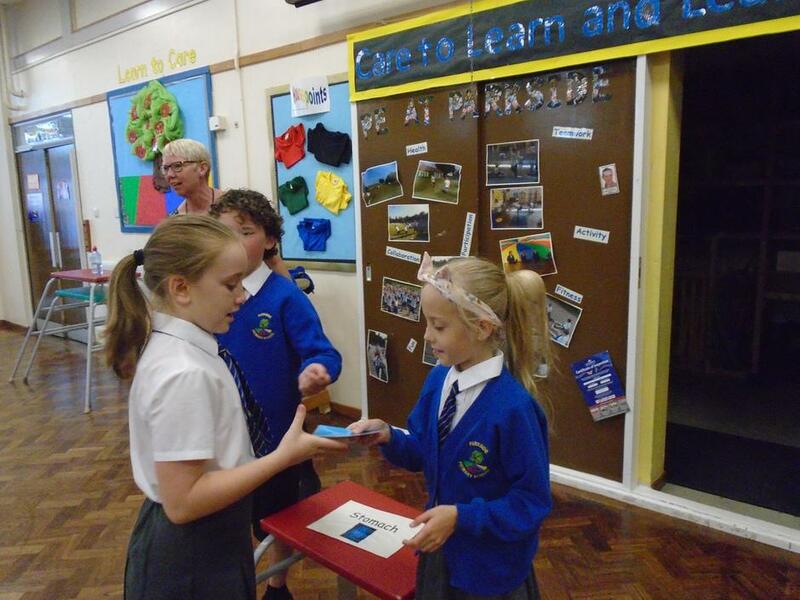 What a fantastic morning we had yesterday when we launched our Autumn Term Topic! 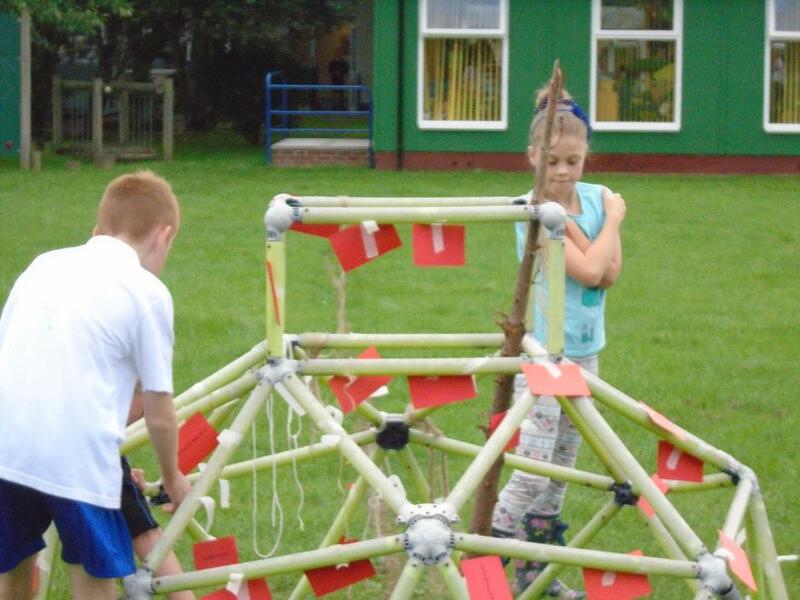 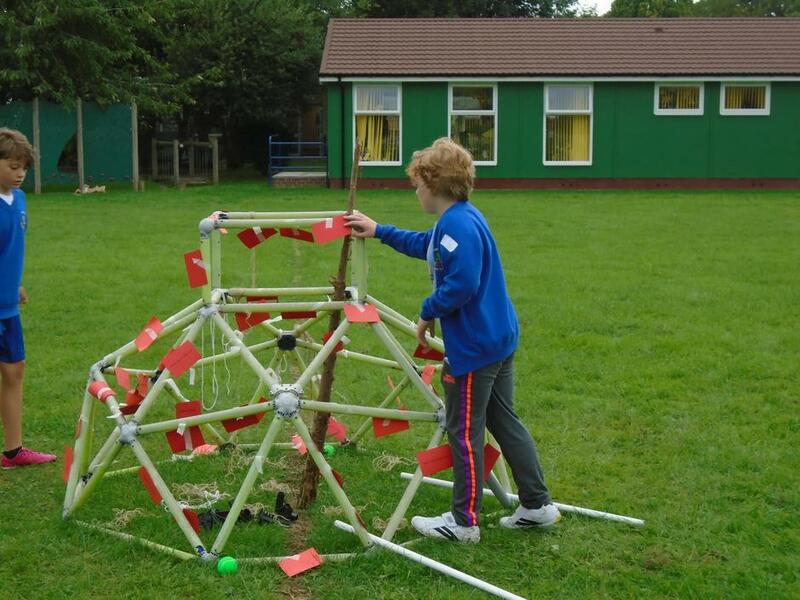 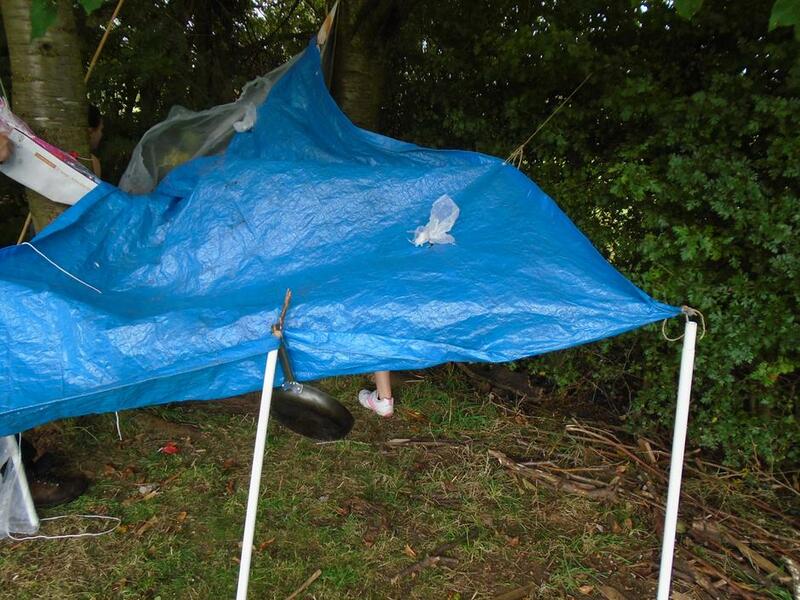 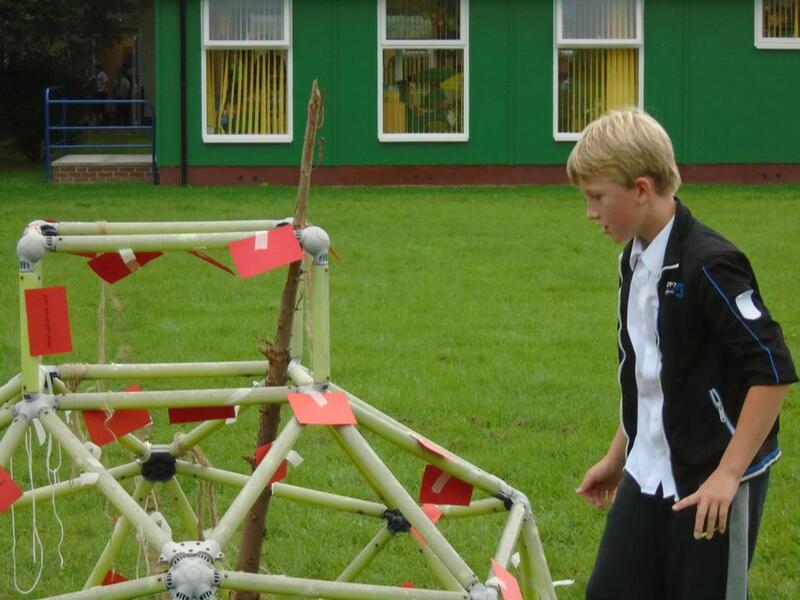 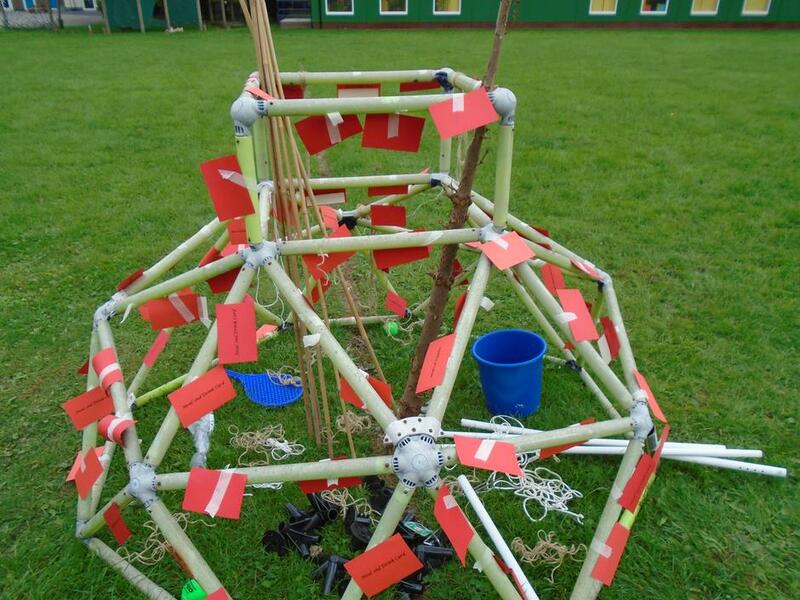 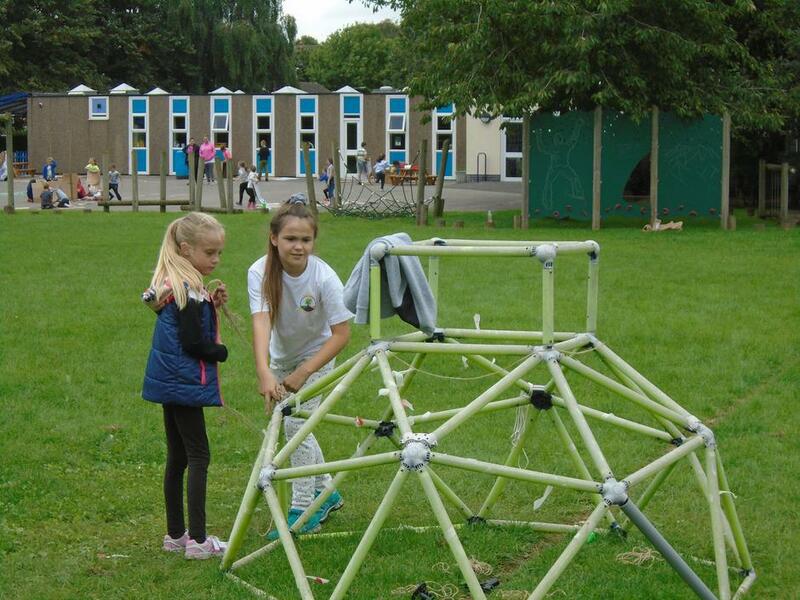 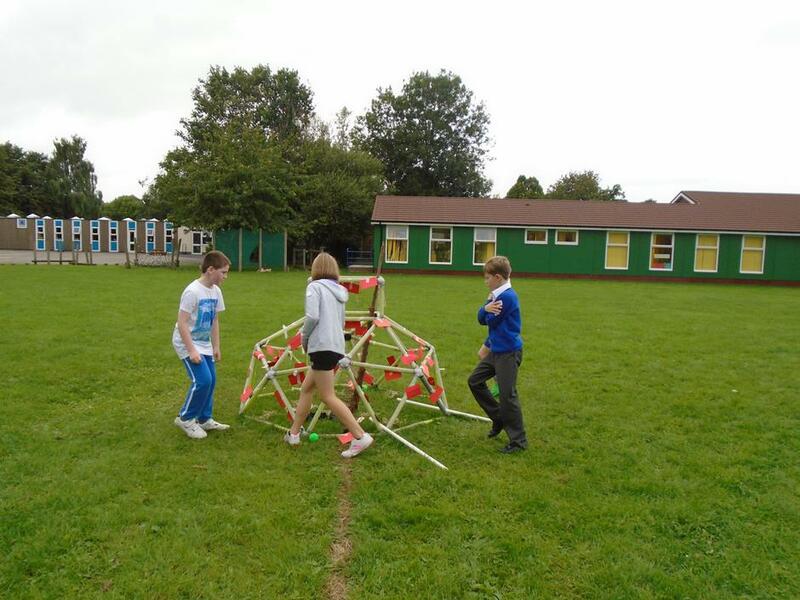 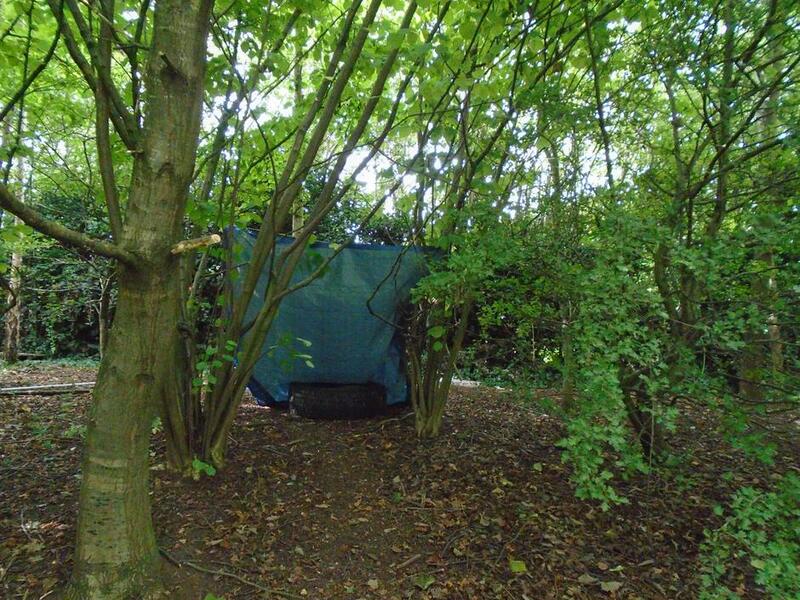 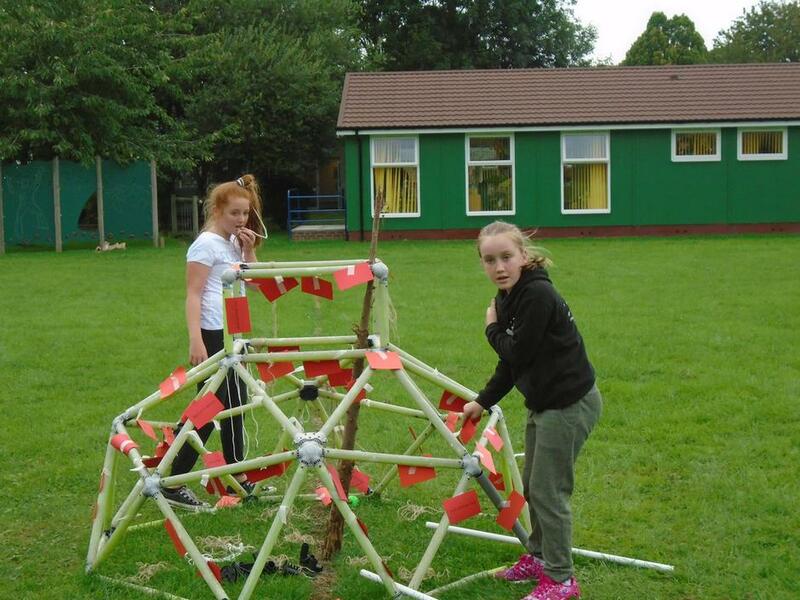 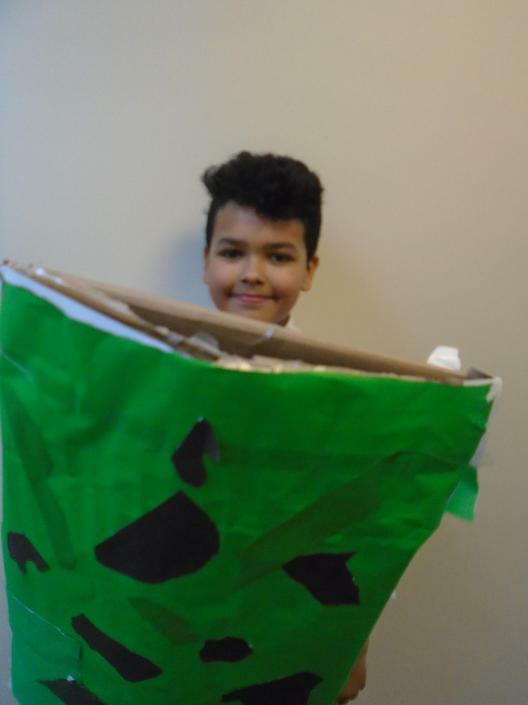 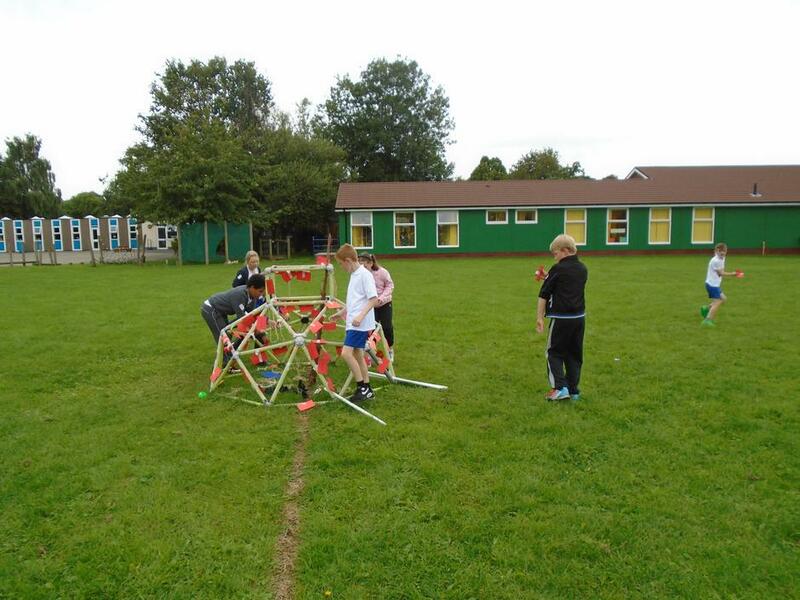 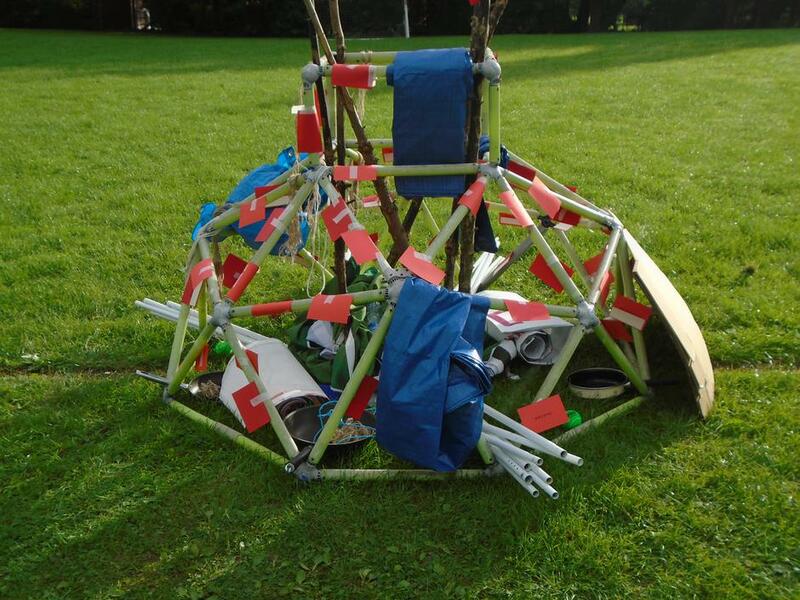 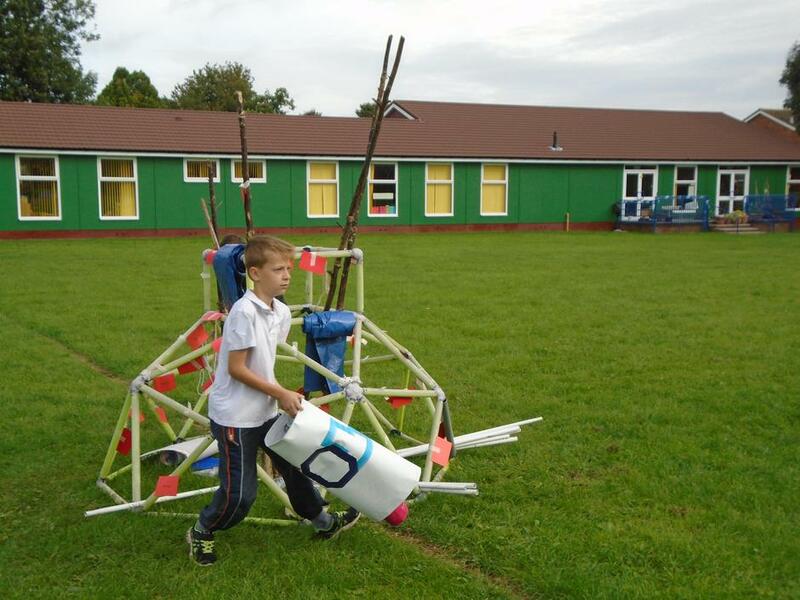 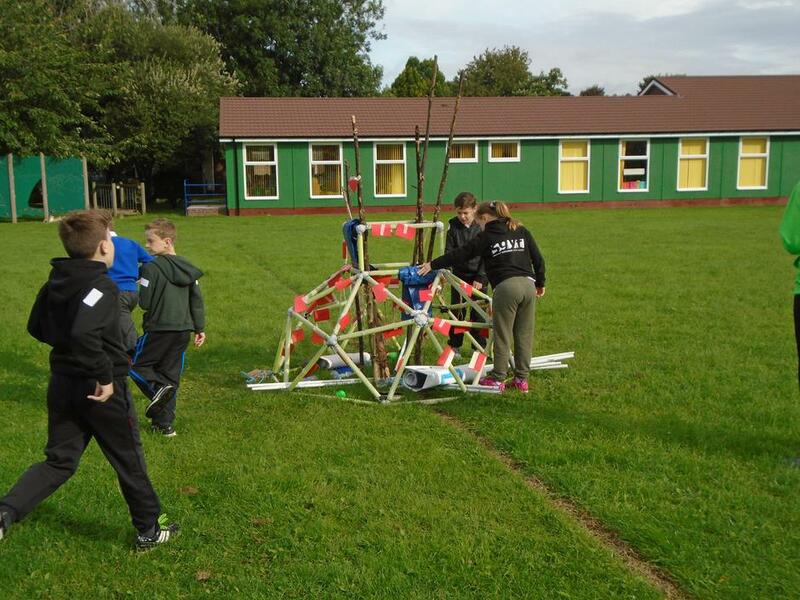 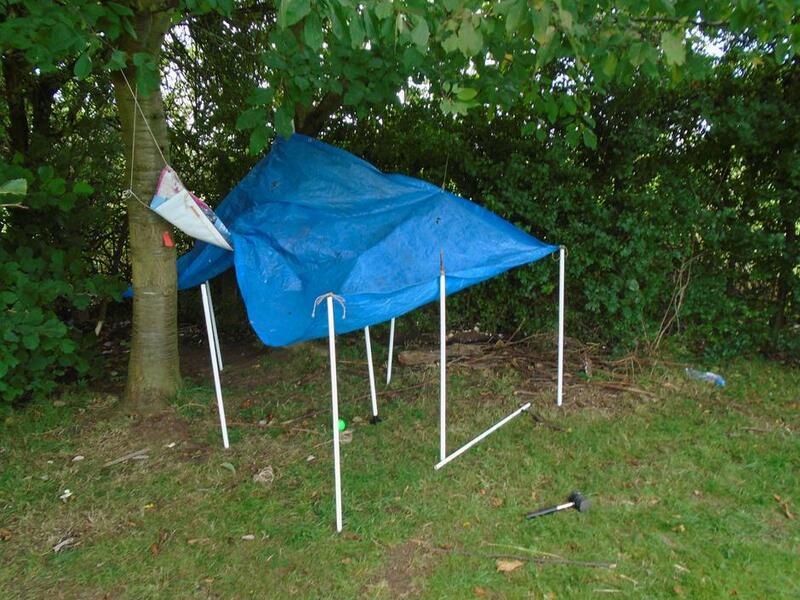 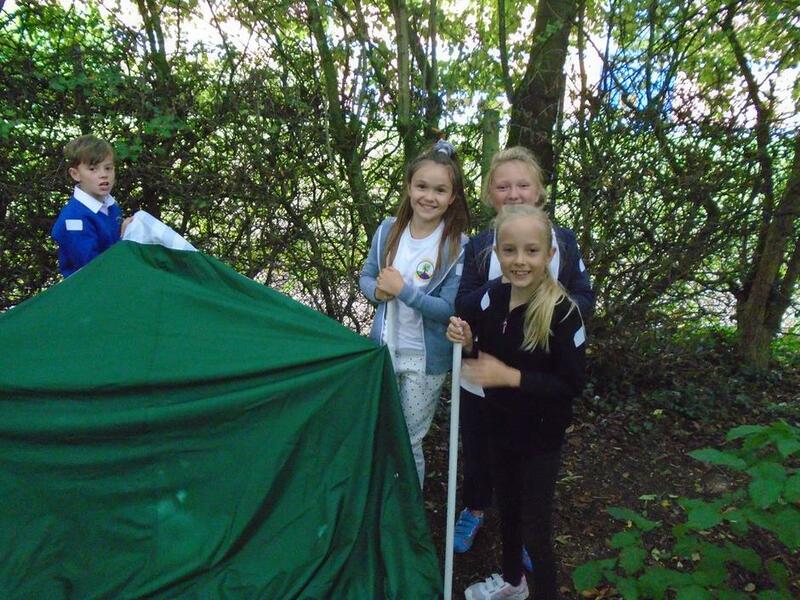 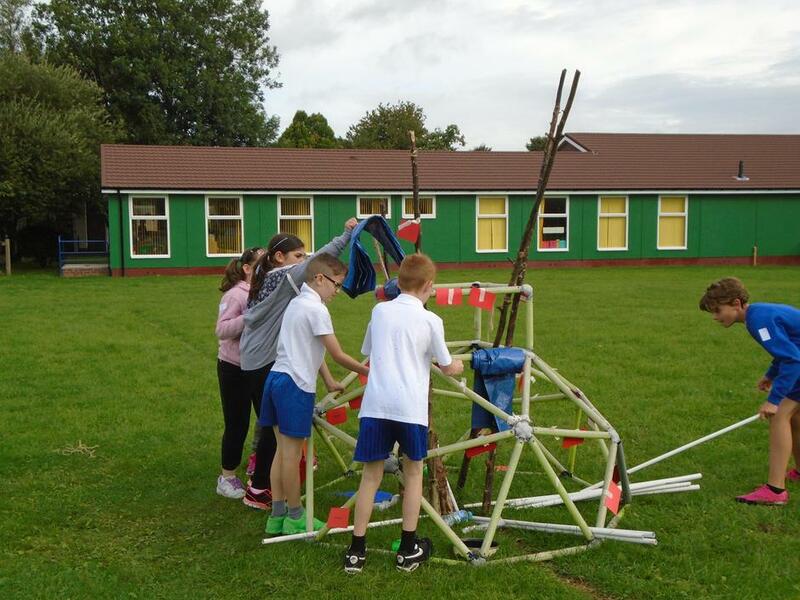 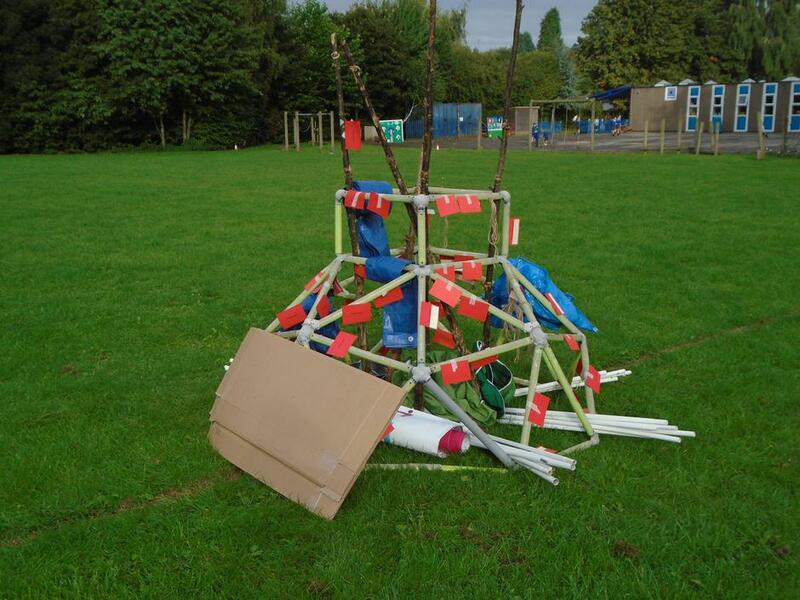 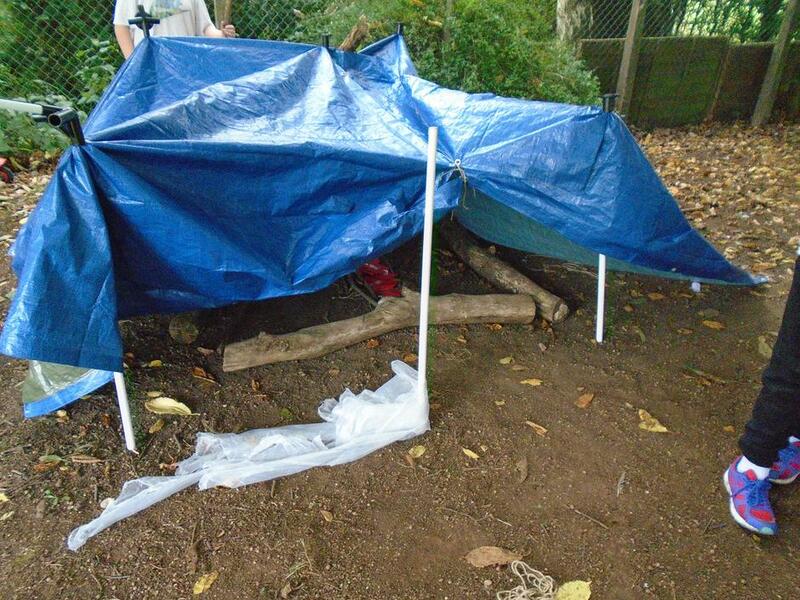 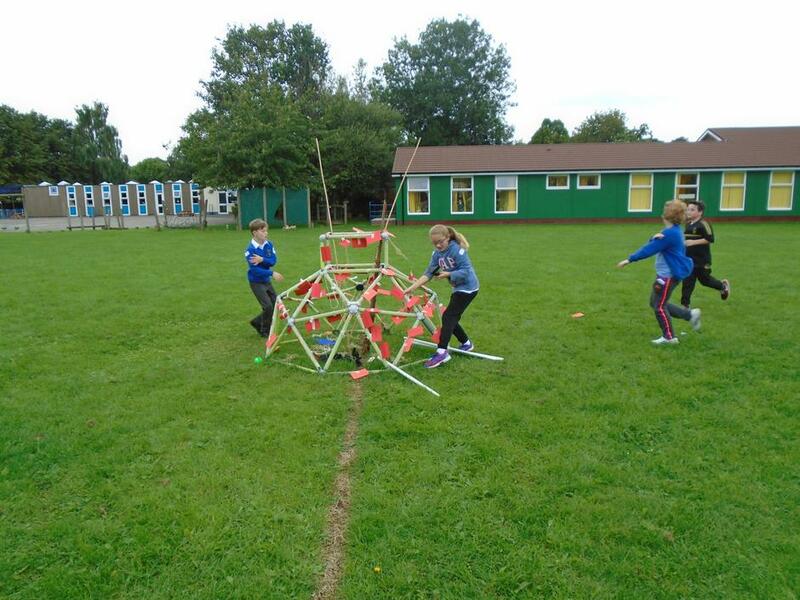 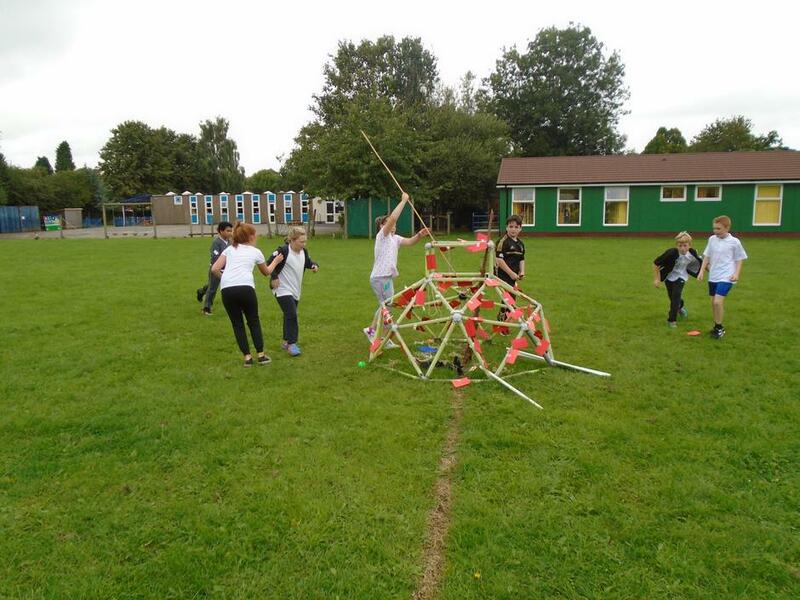 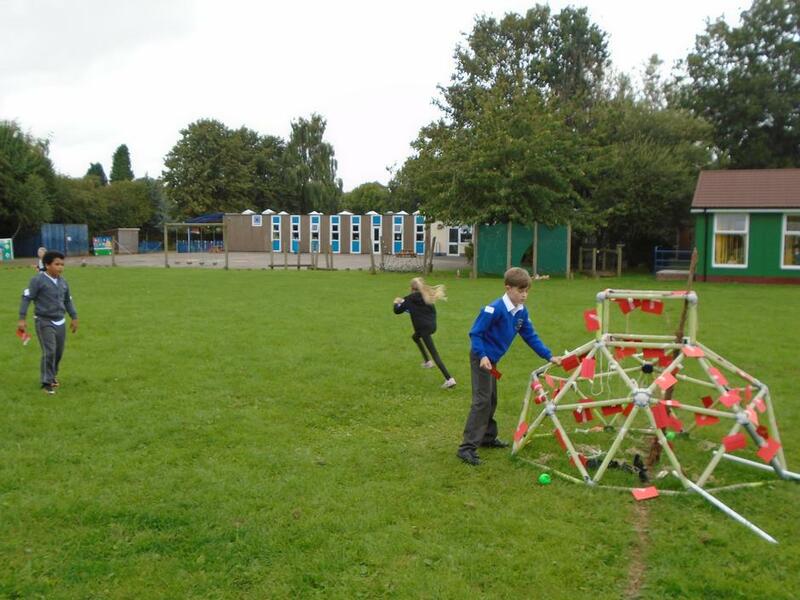 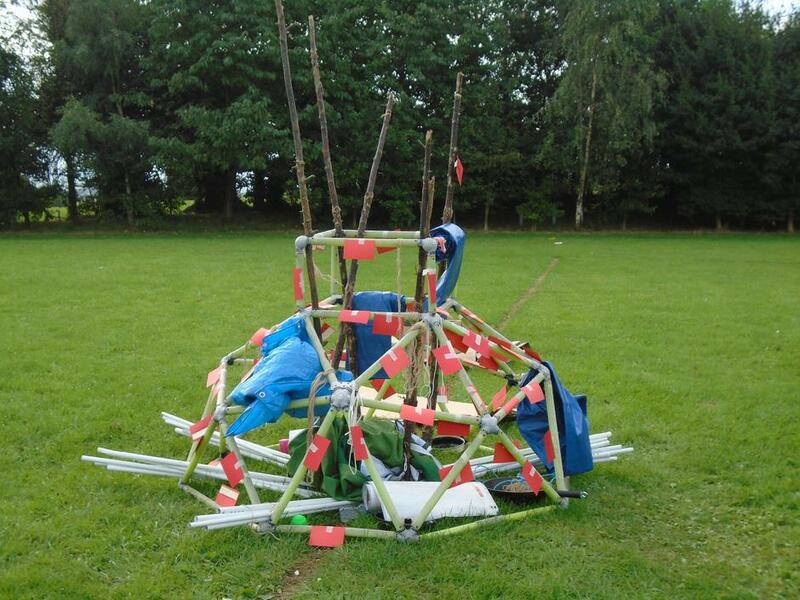 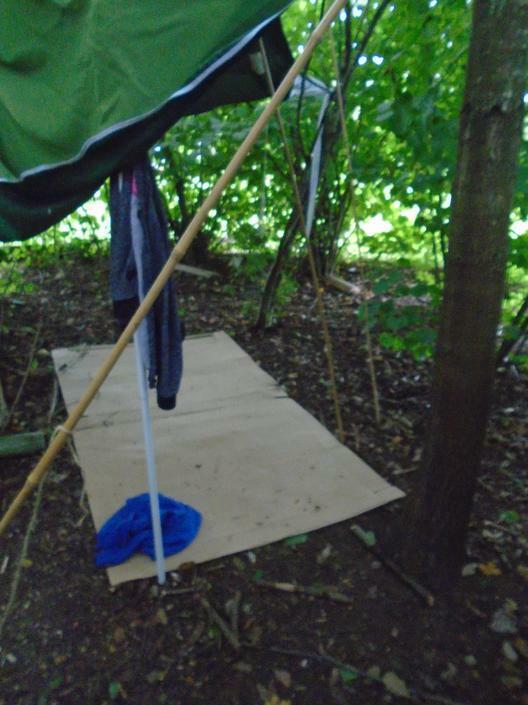 Linking with our class text 'The Hunger Games' , the children competed (in teams) in a Shelter Building game, in which they had to collect resources from our very own 'Cornucopia' and use these to build their team shelter! 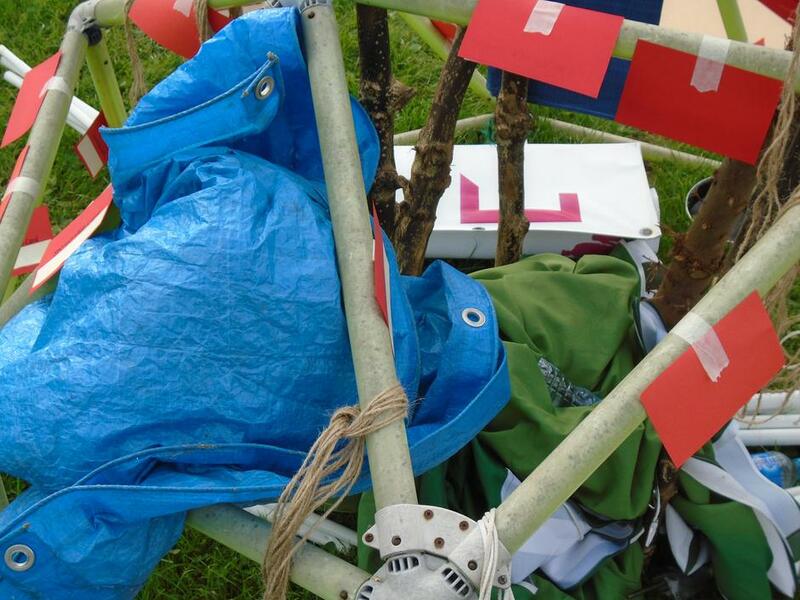 They also had to be vigilant to not lose any of their lives as well as collecting very important vouchers: food and drink; medical supplies; treat; sponsorship. 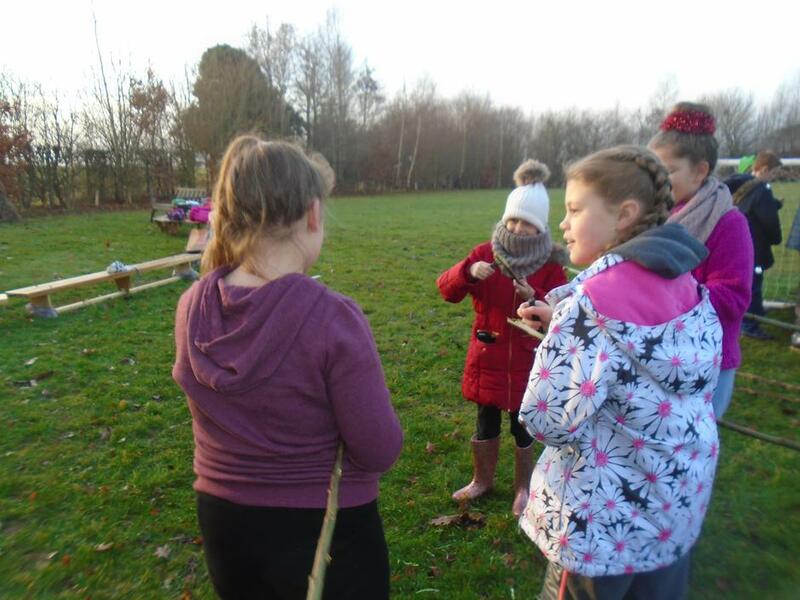 Communication and team work skills were vital and it was an absolute pleasure to see the children demonstrating both of these to such a high standard! 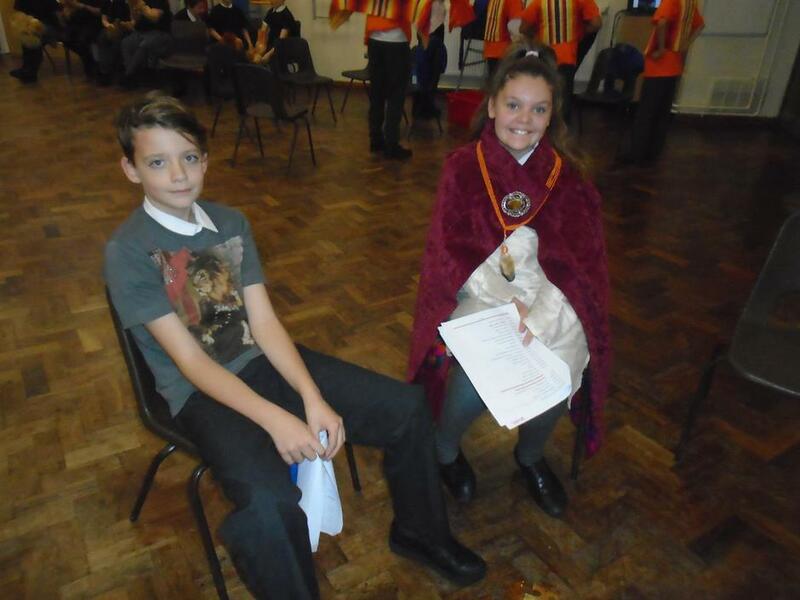 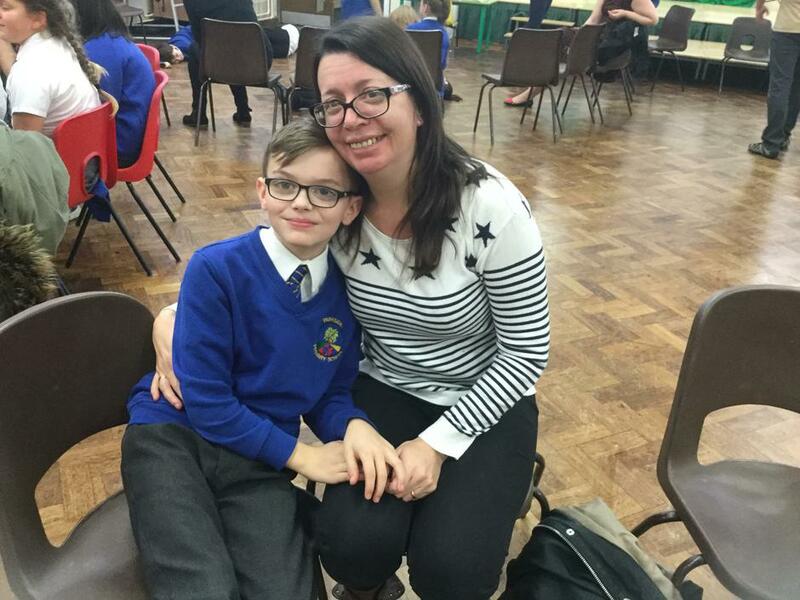 Miss Padgham and I would like to say a massive well done to all of Year Six as well as a special thank you to both Mr Sutton and Mr Knapper for their expert help and for helping us make the morning such a huge success! 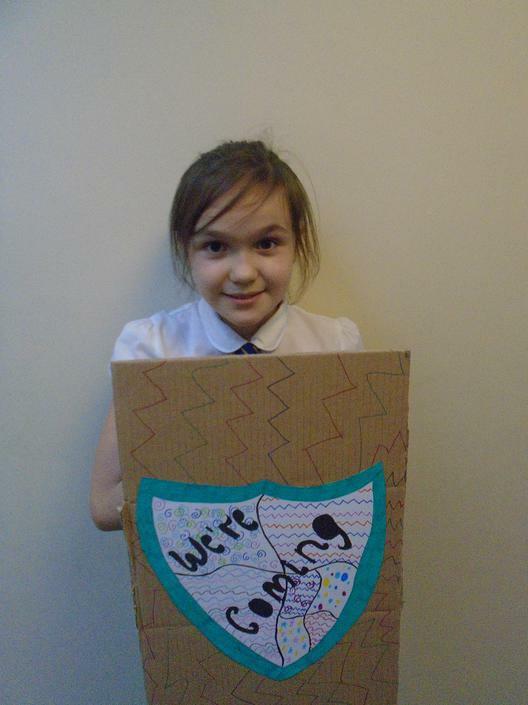 The children have already been asking if we can do it again !! 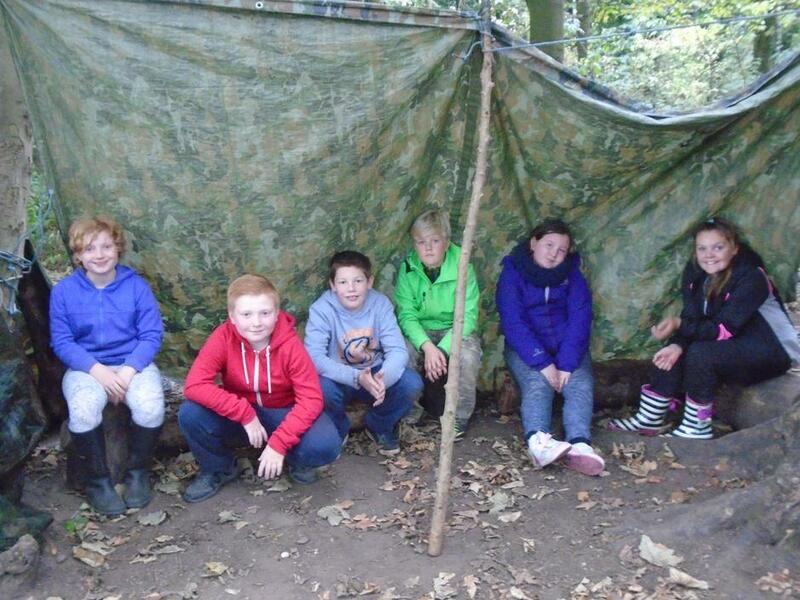 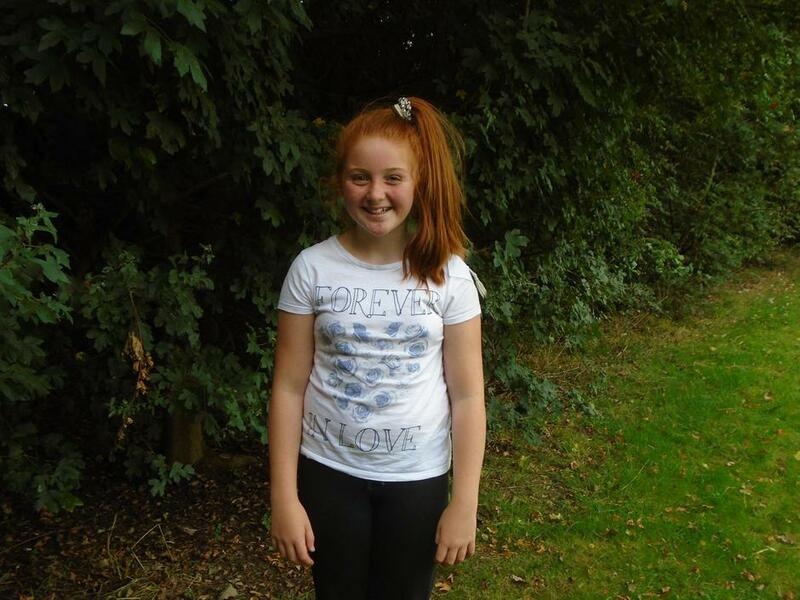 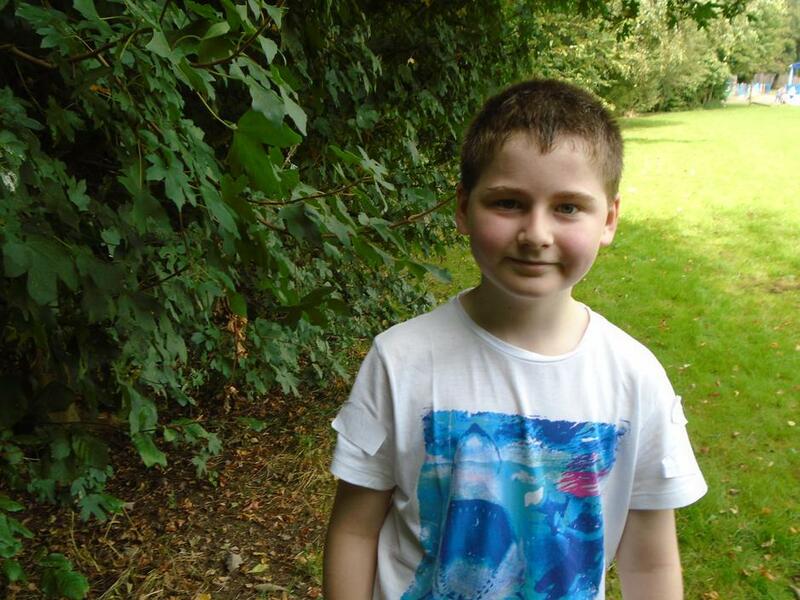 Have a look the photos below to see what they got up to!